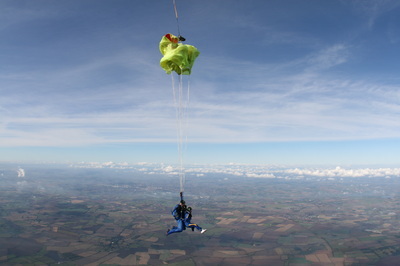 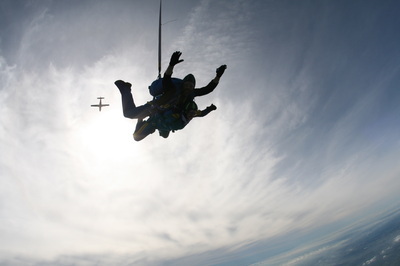 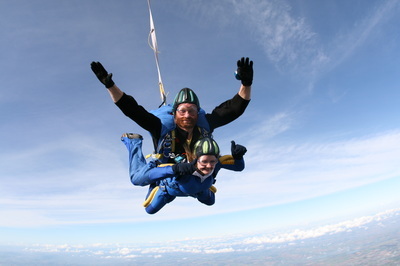 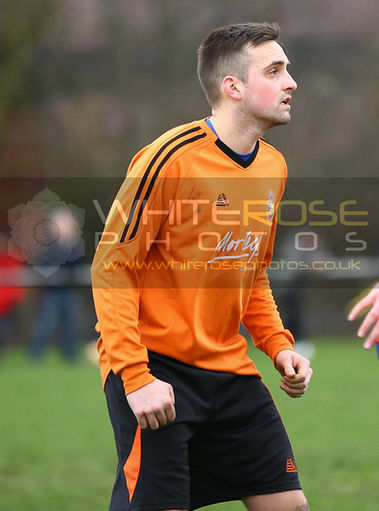 A small sample of the images are provided by White Rose Photos. 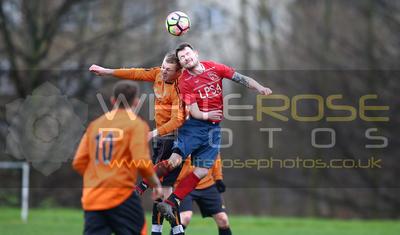 - for the full 400+ photo gallery and to purchase hi-res images click here. 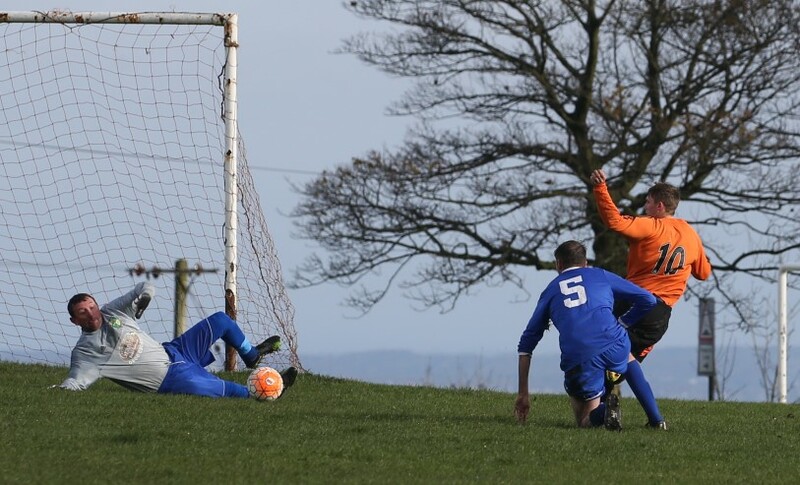 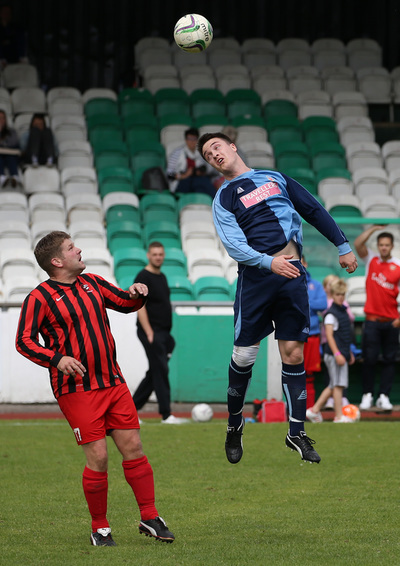 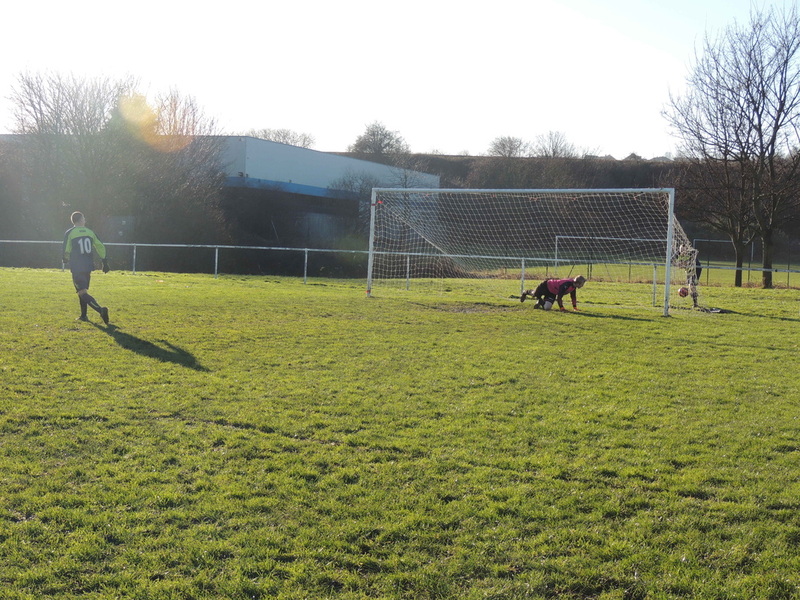 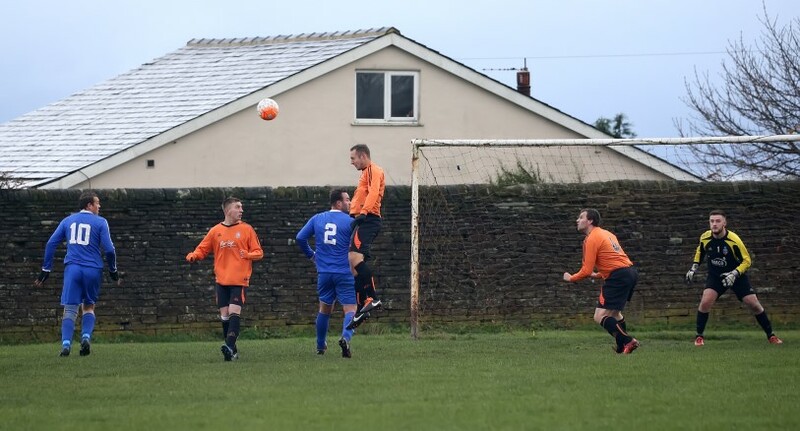 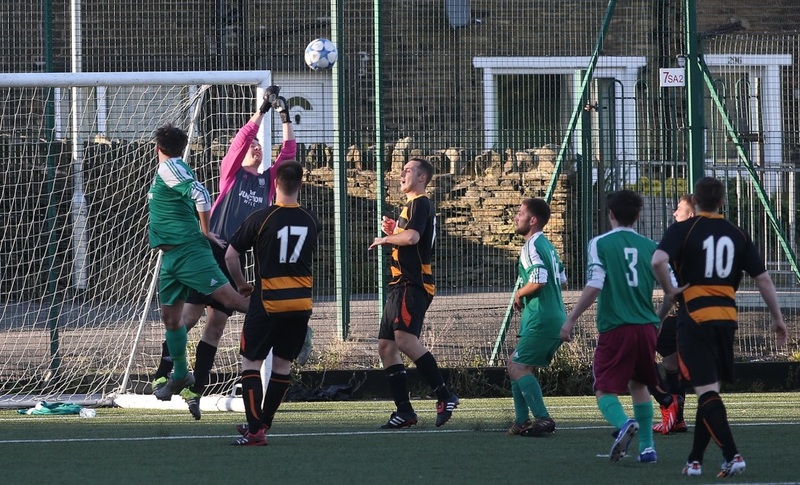 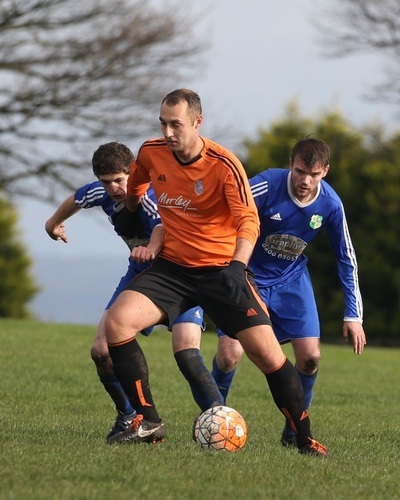 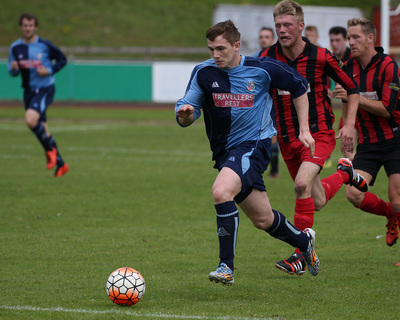 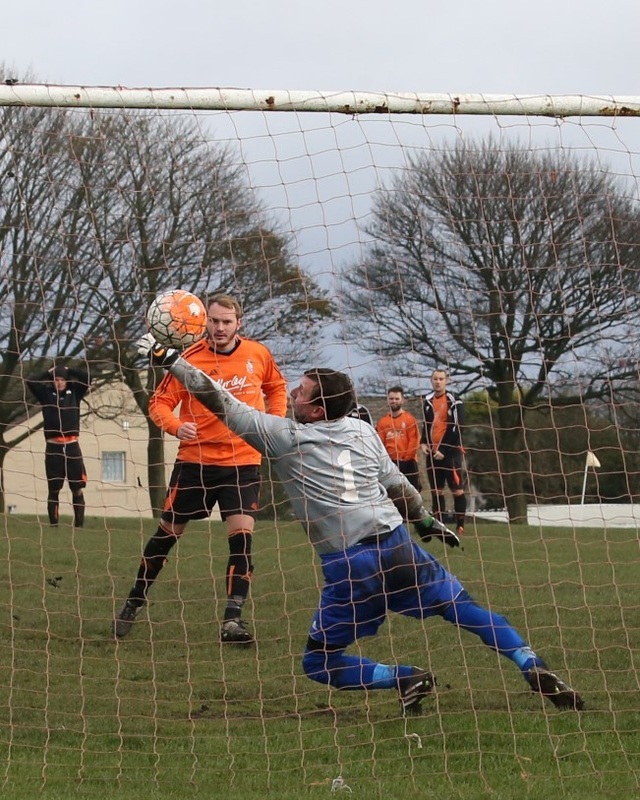 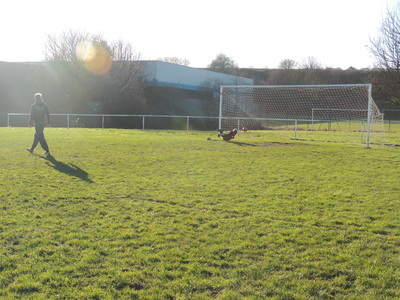 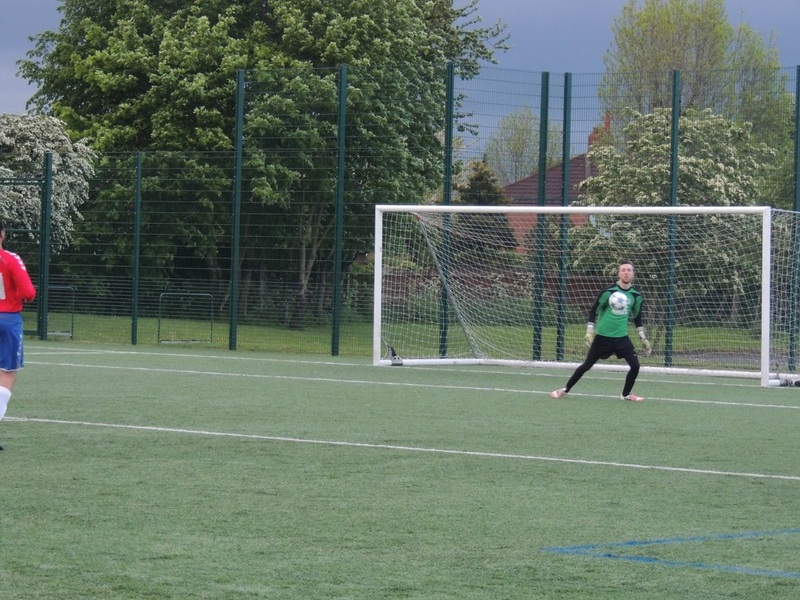 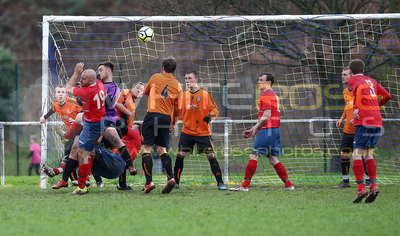 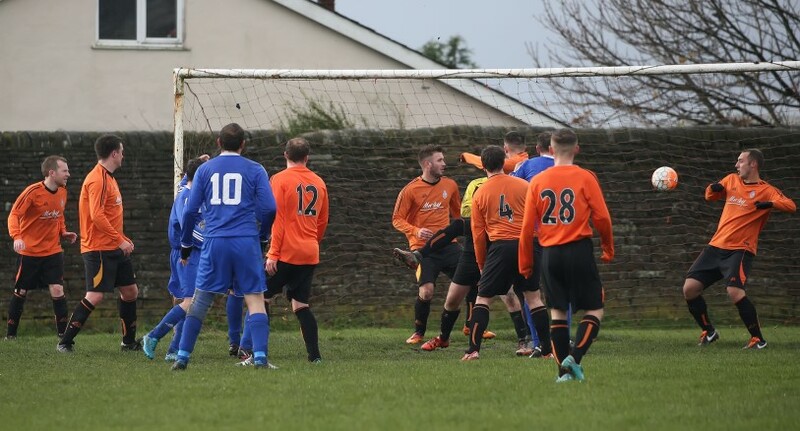 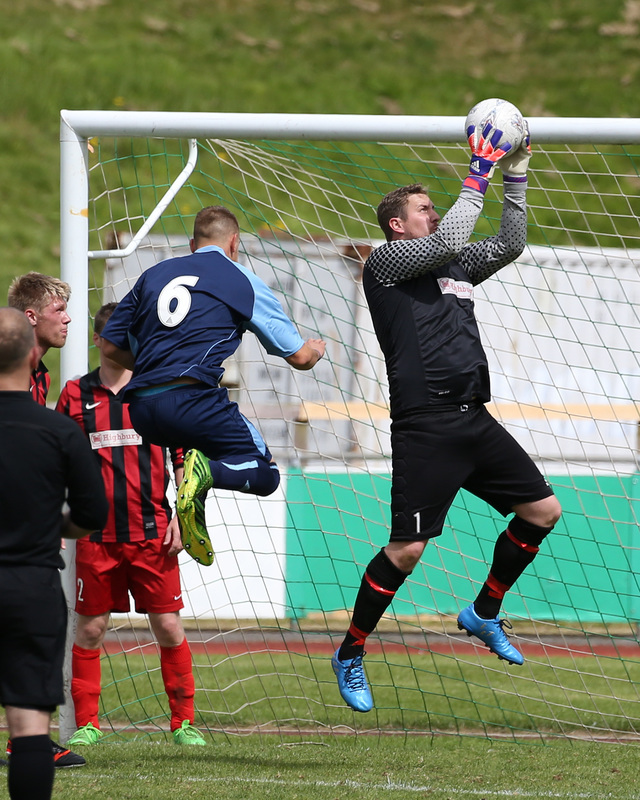 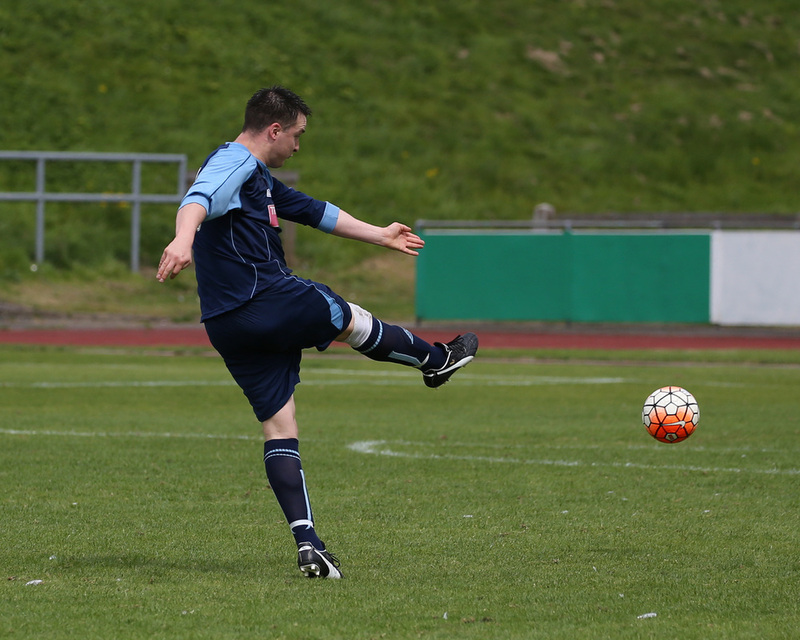 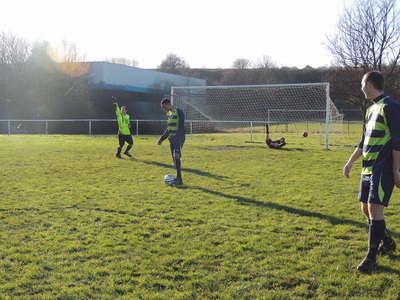 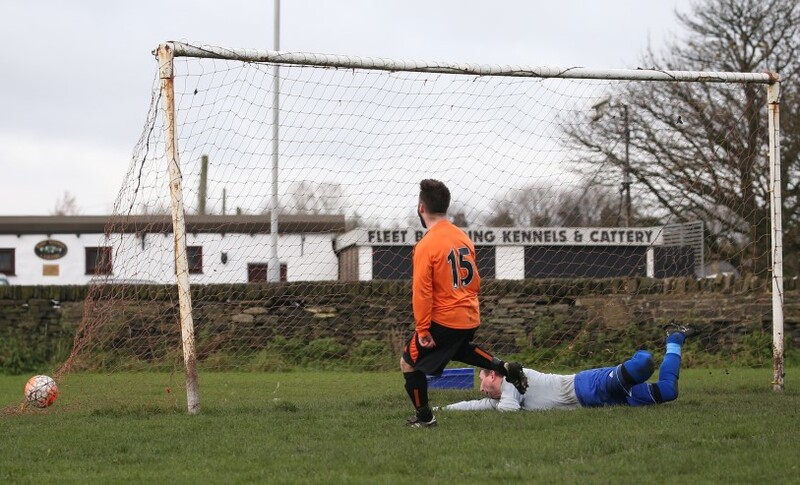 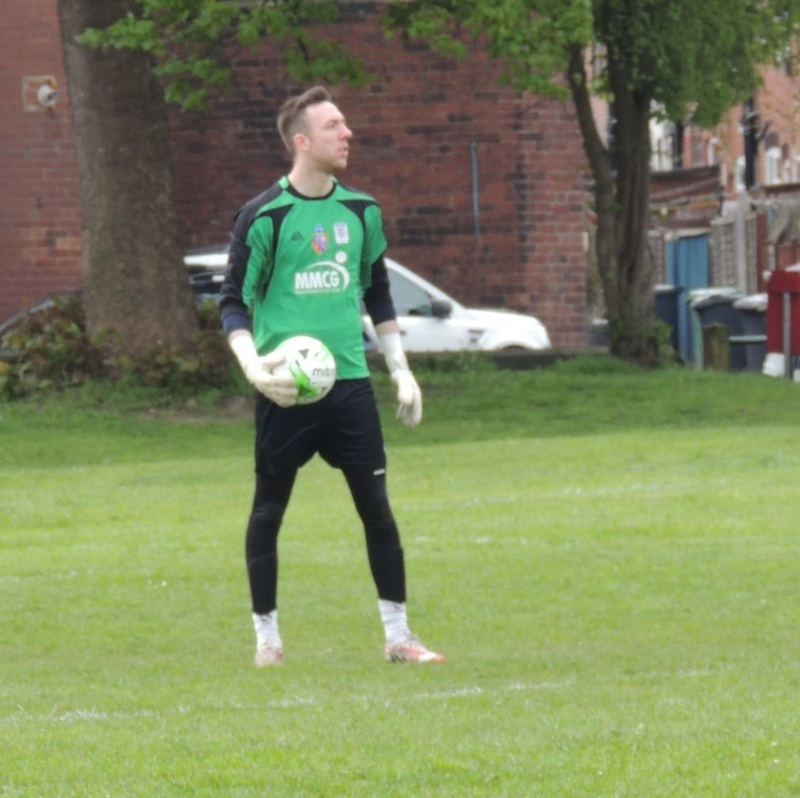 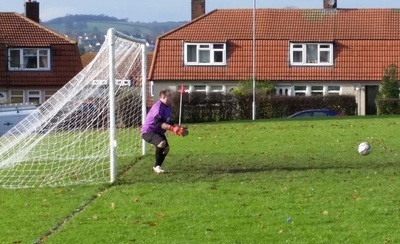 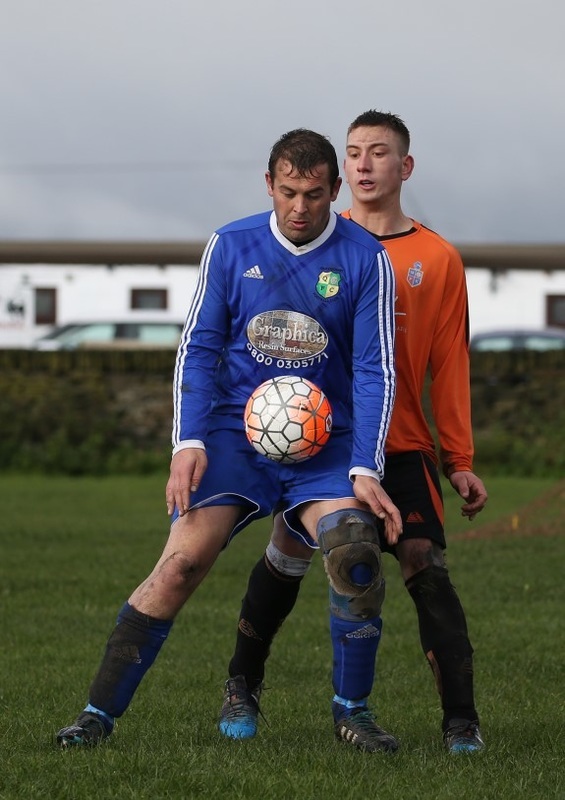 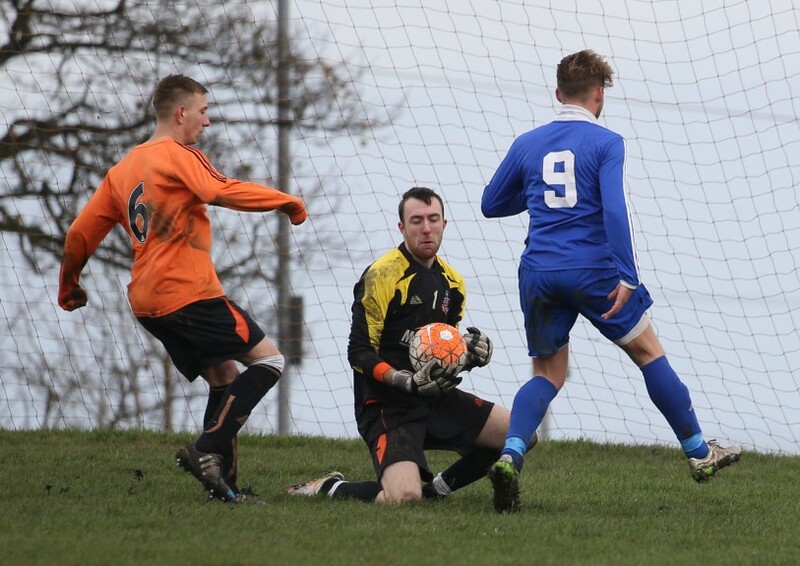 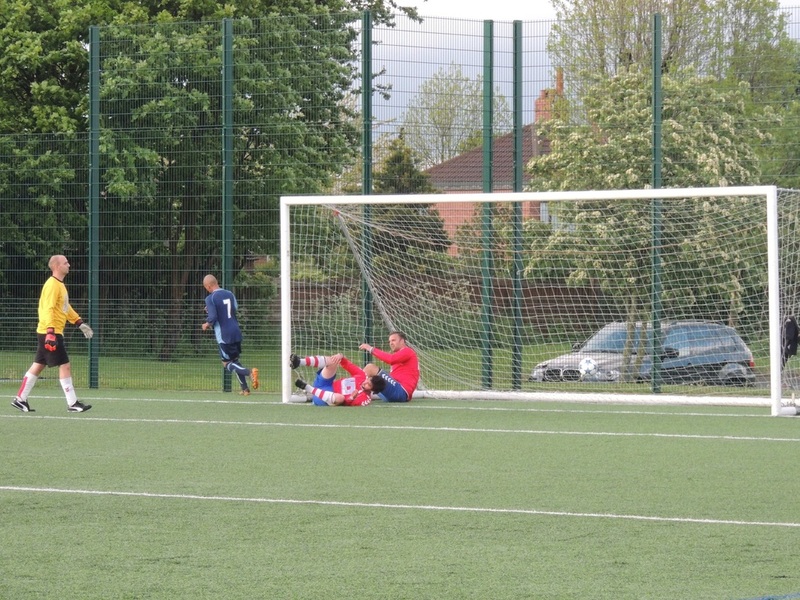 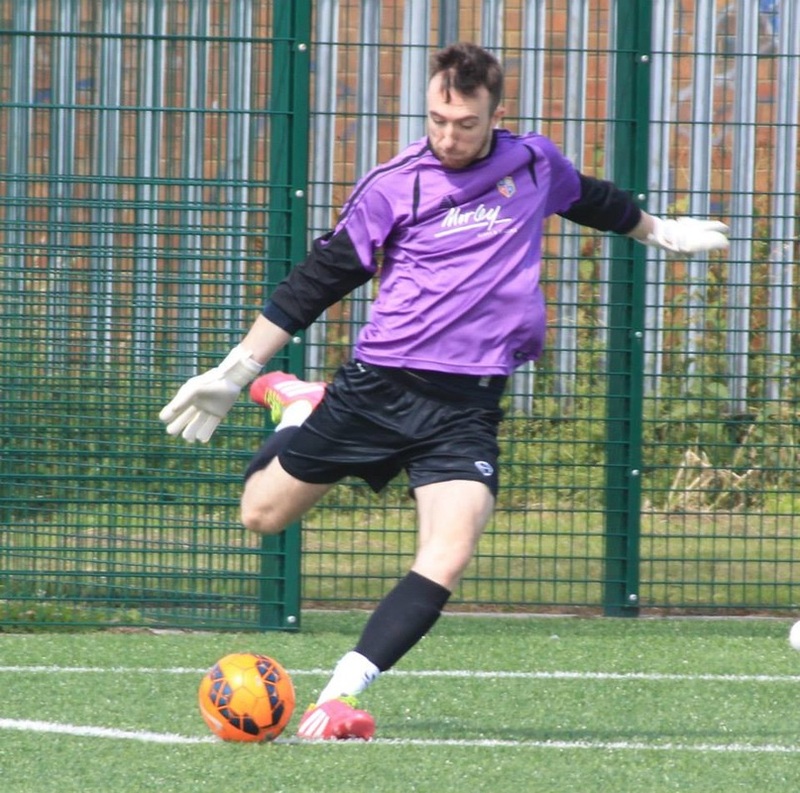 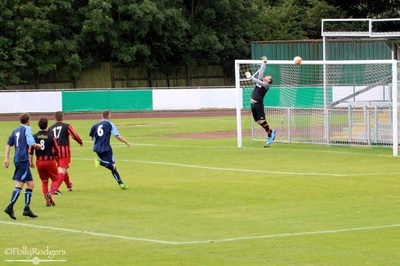 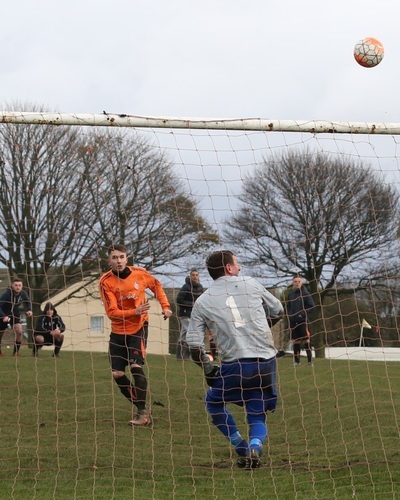 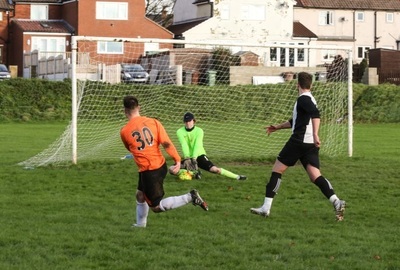 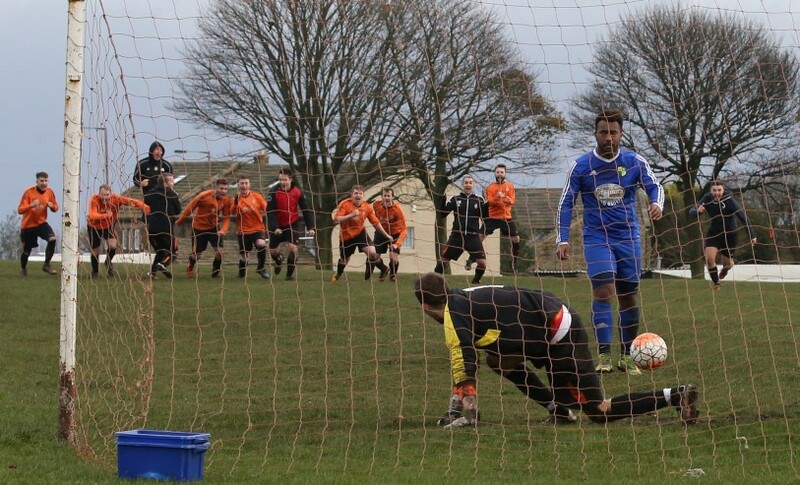 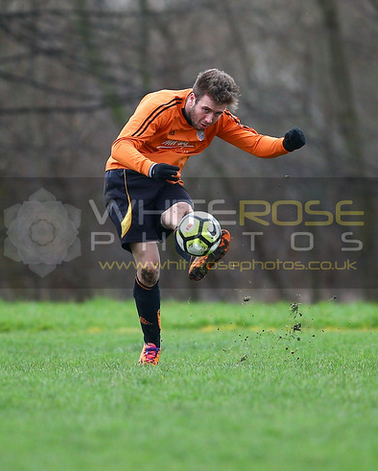 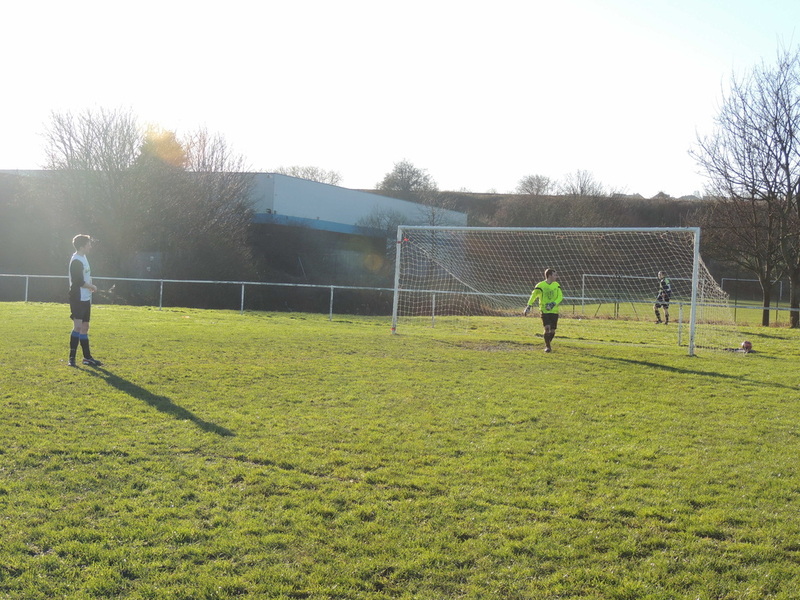 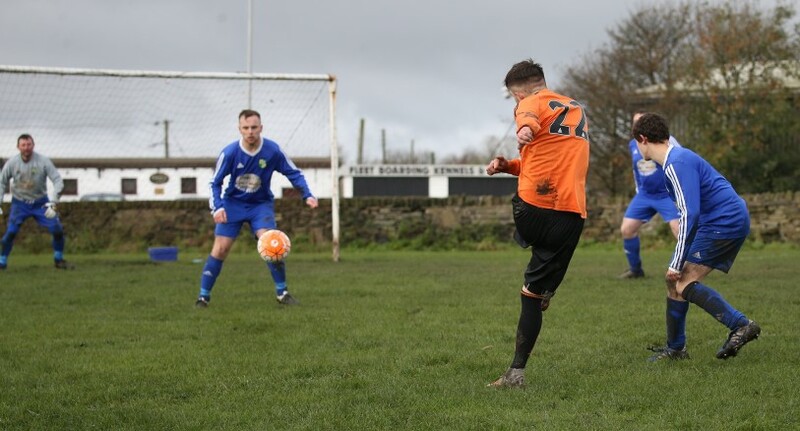 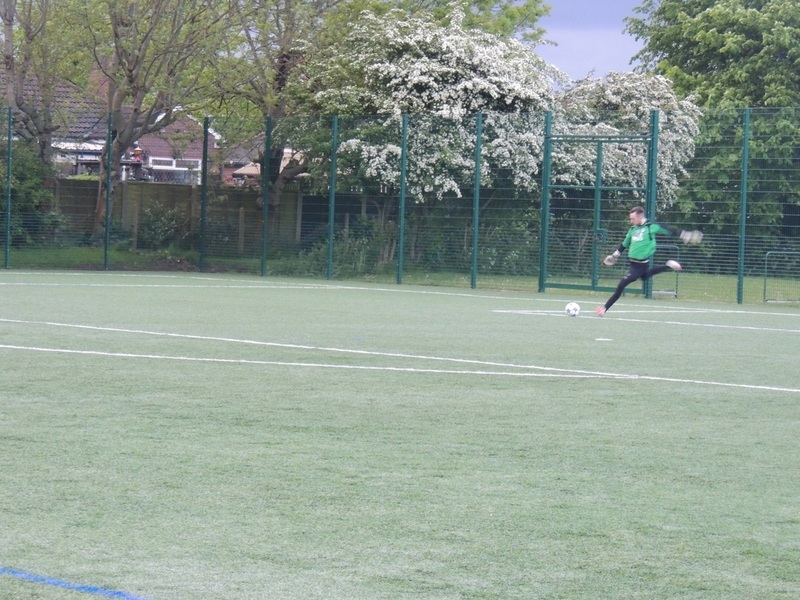 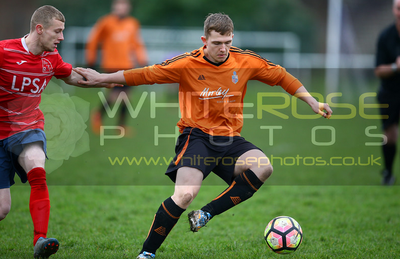 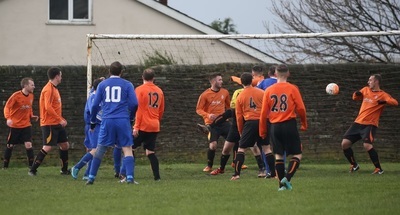 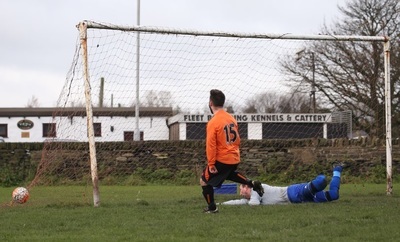 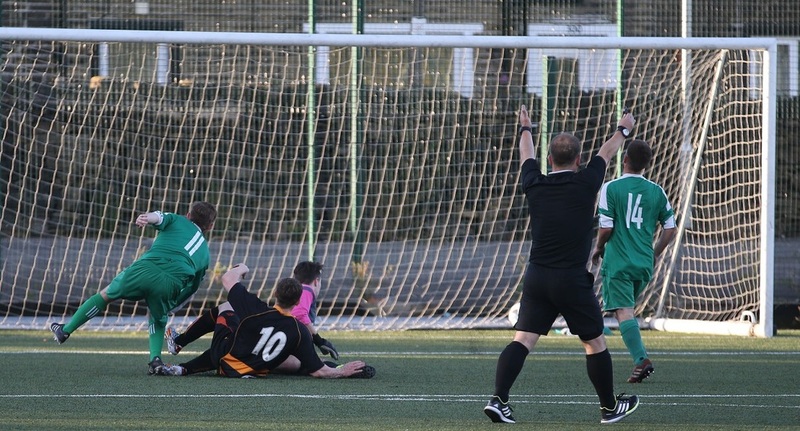 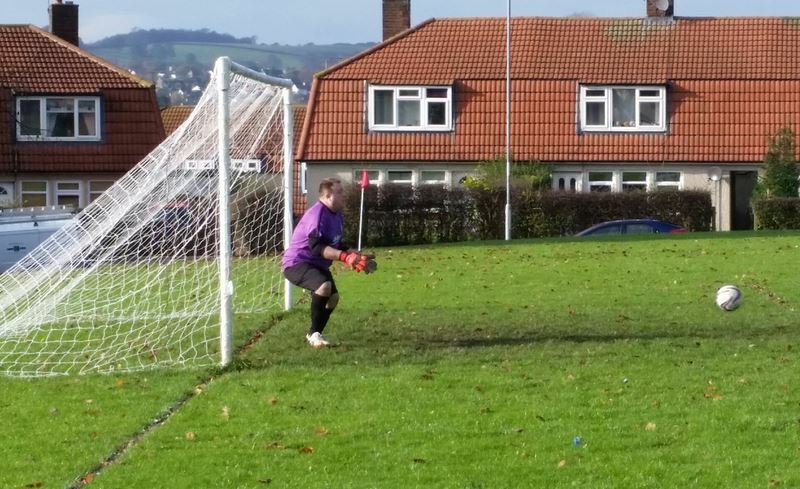 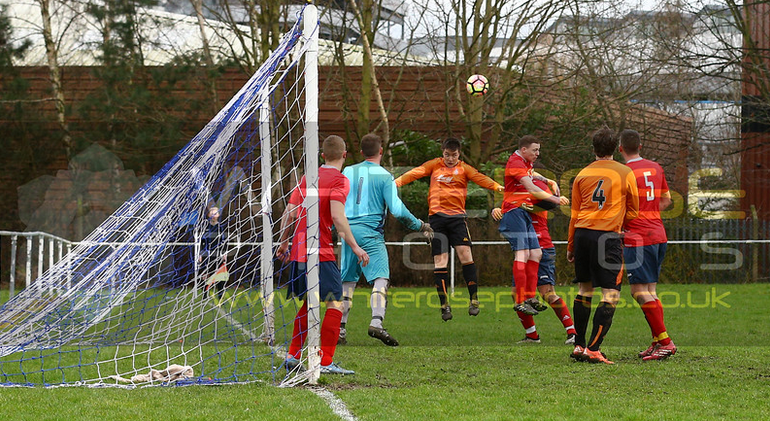 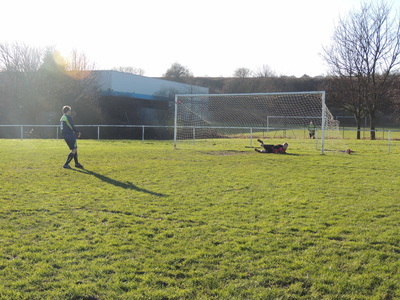 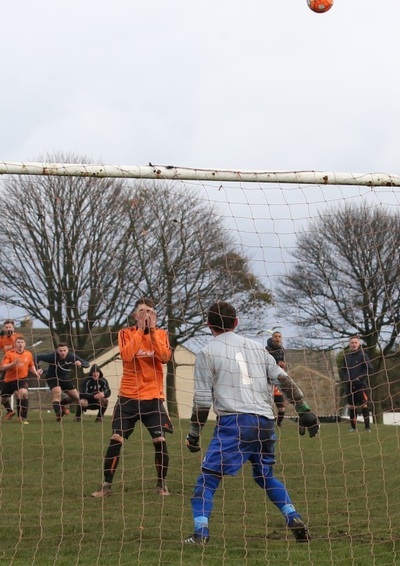 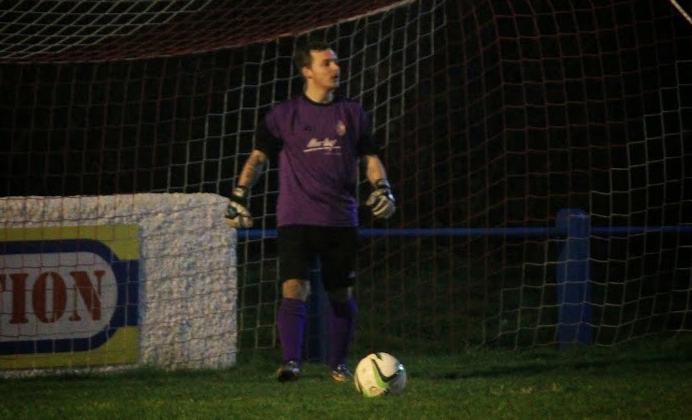 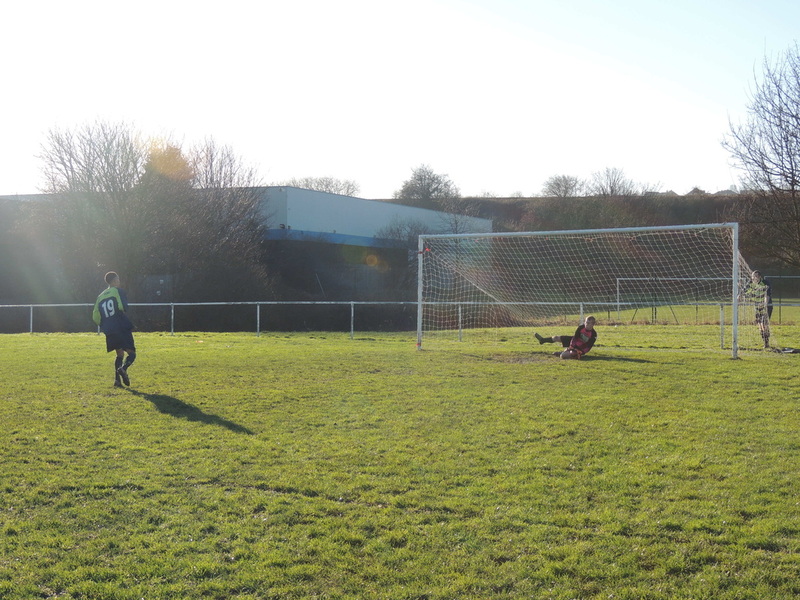 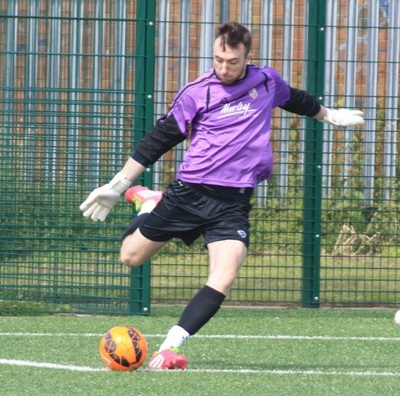 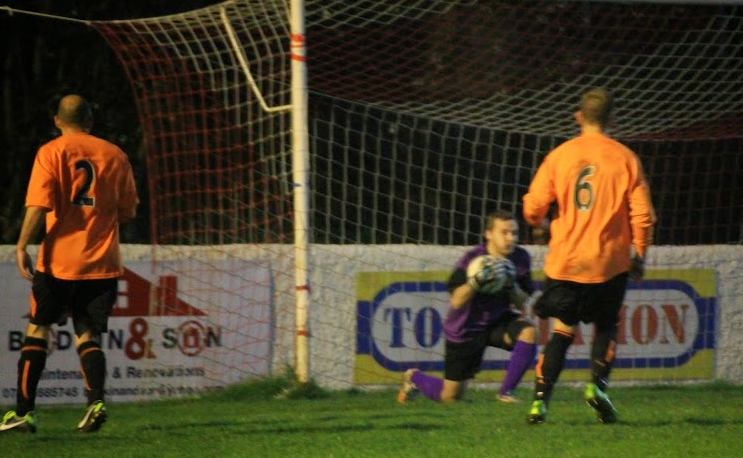 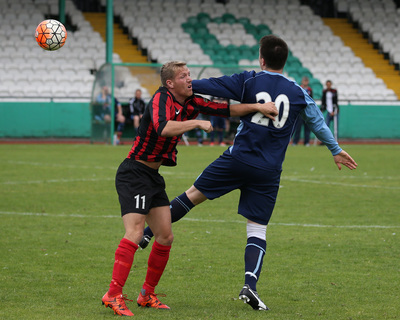 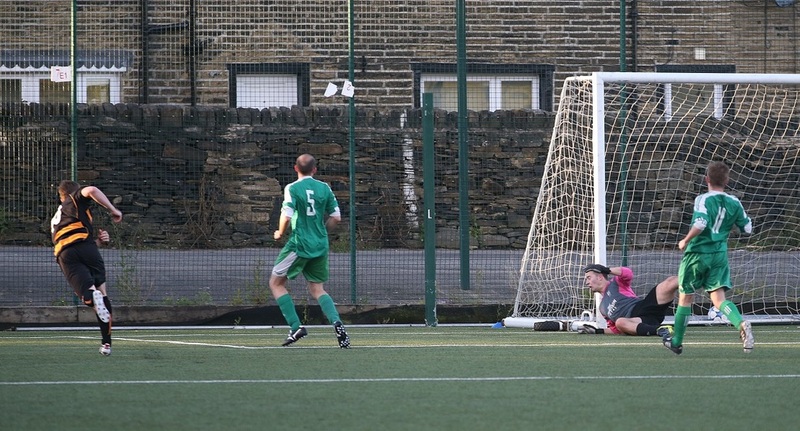 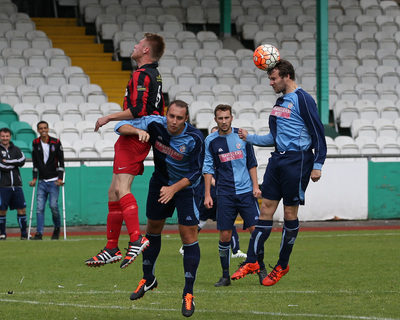 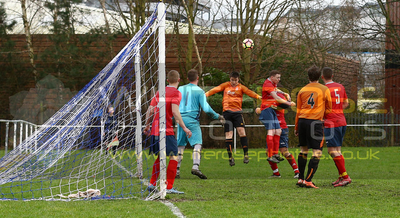 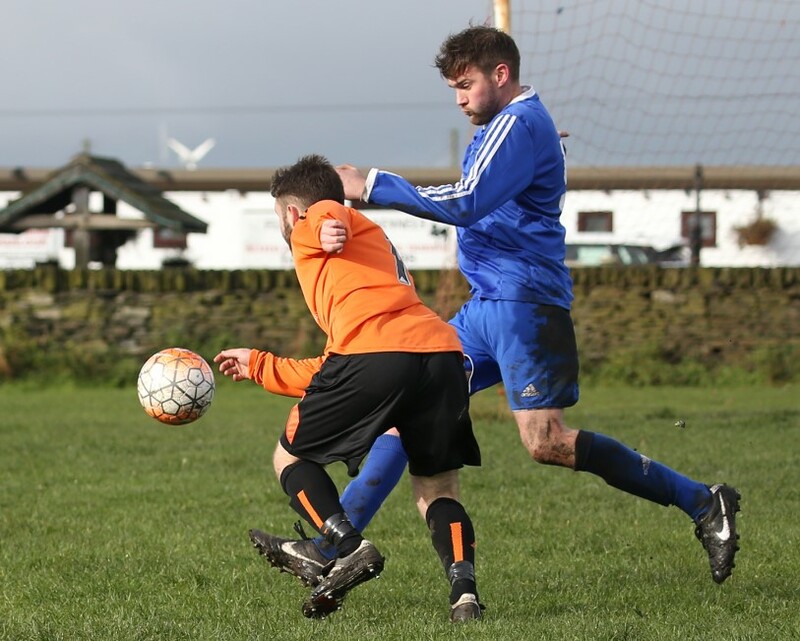 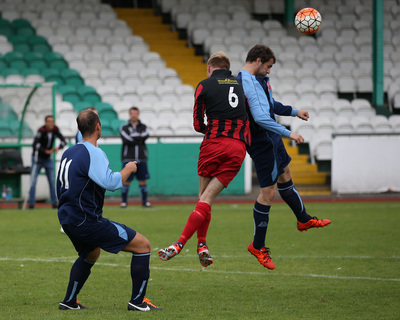 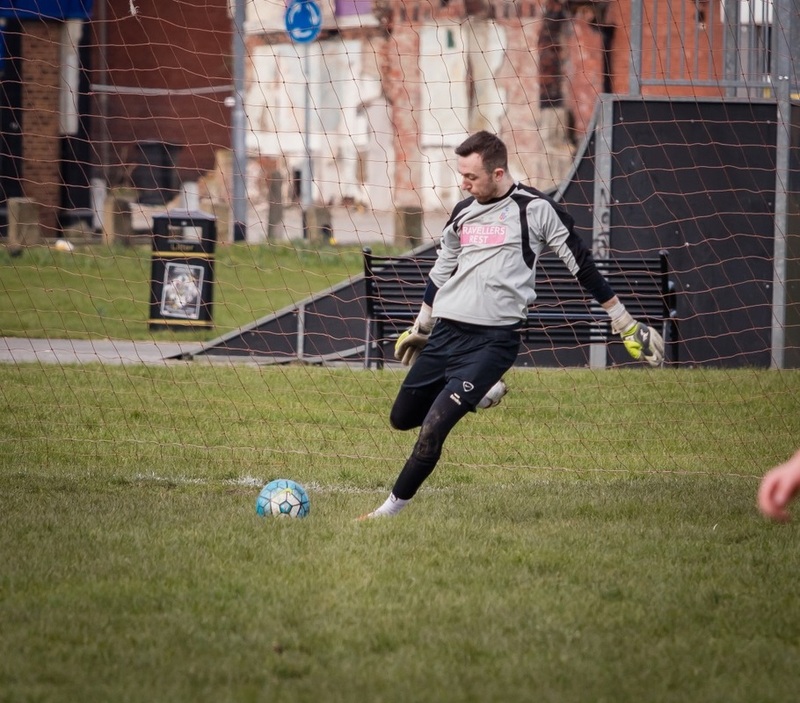 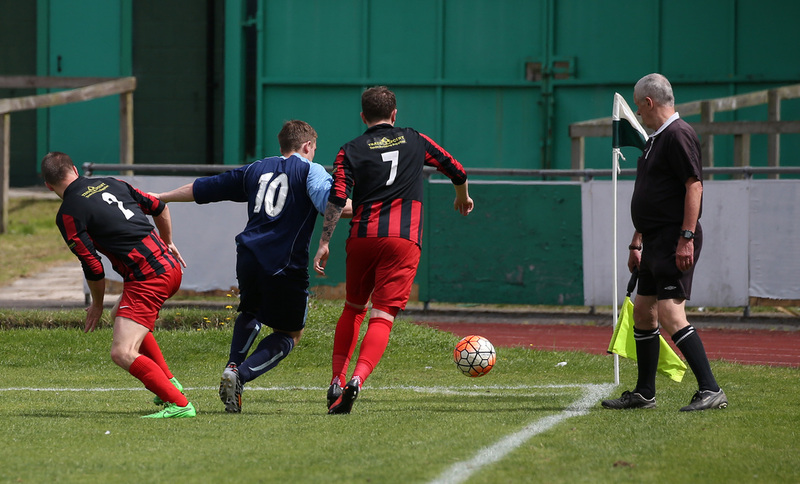 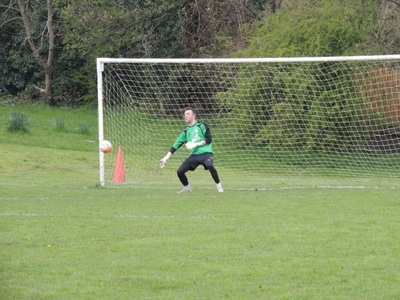 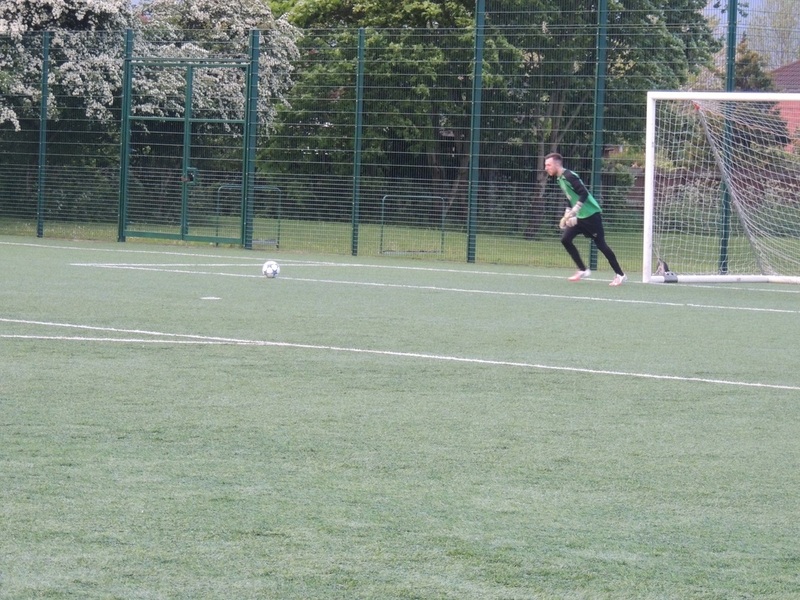 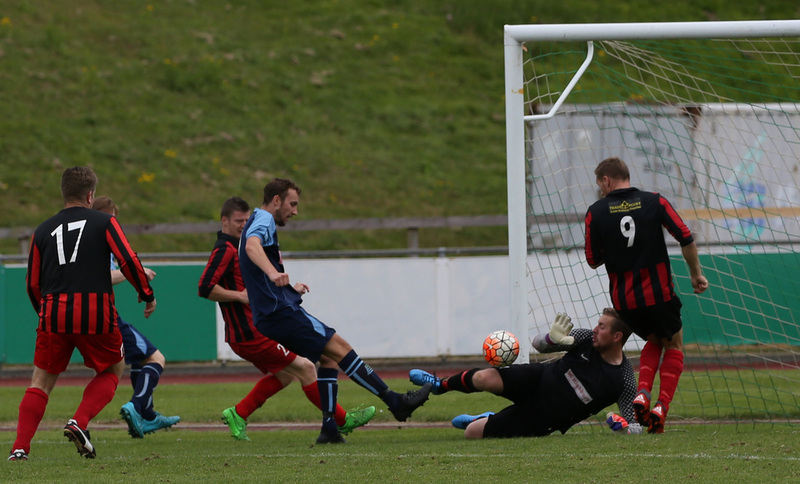 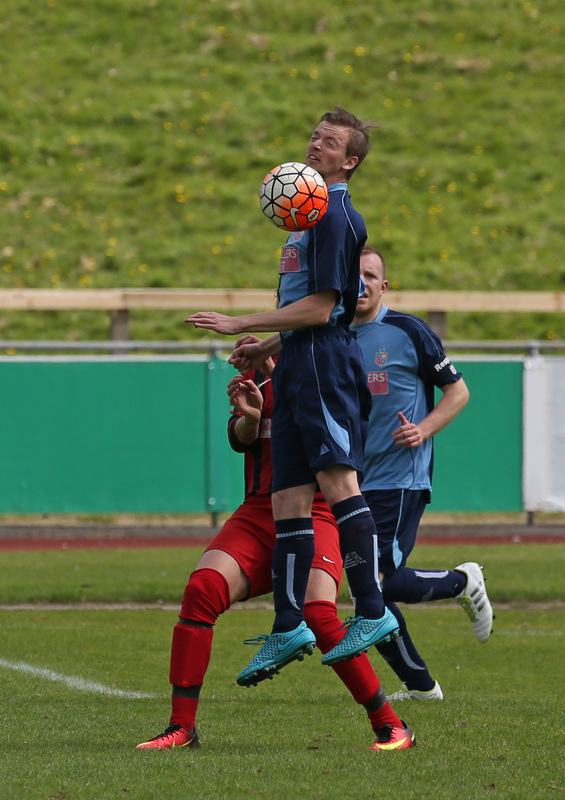 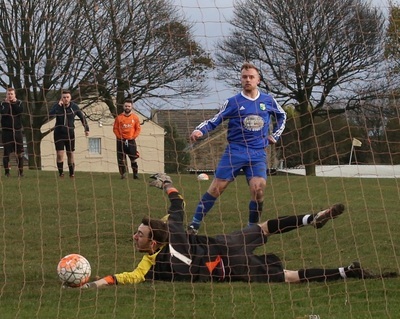 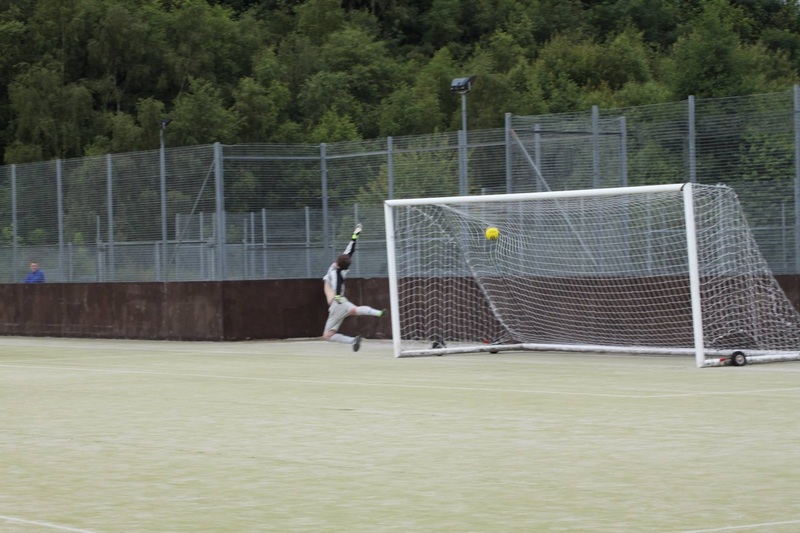 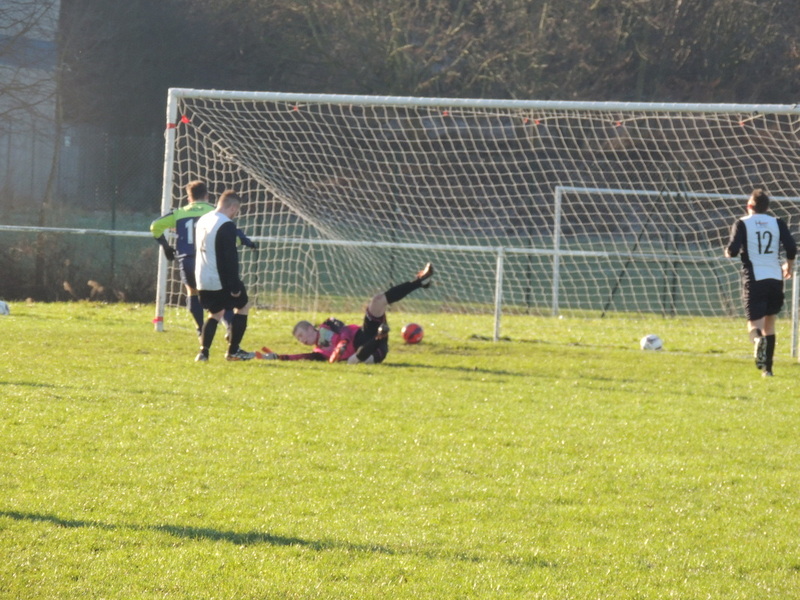 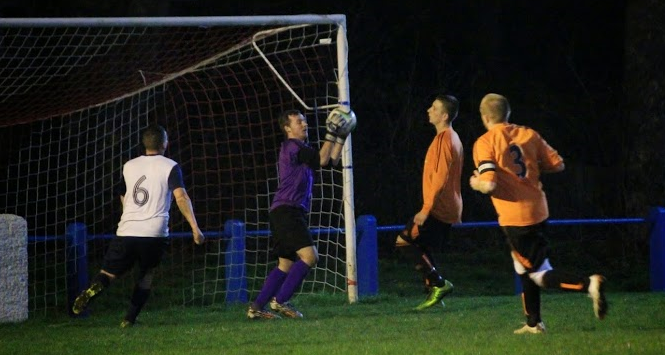 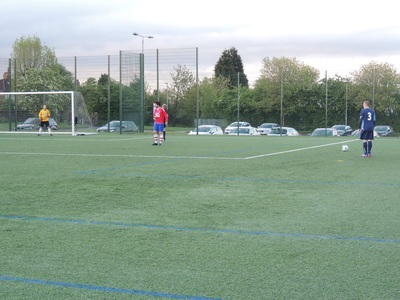 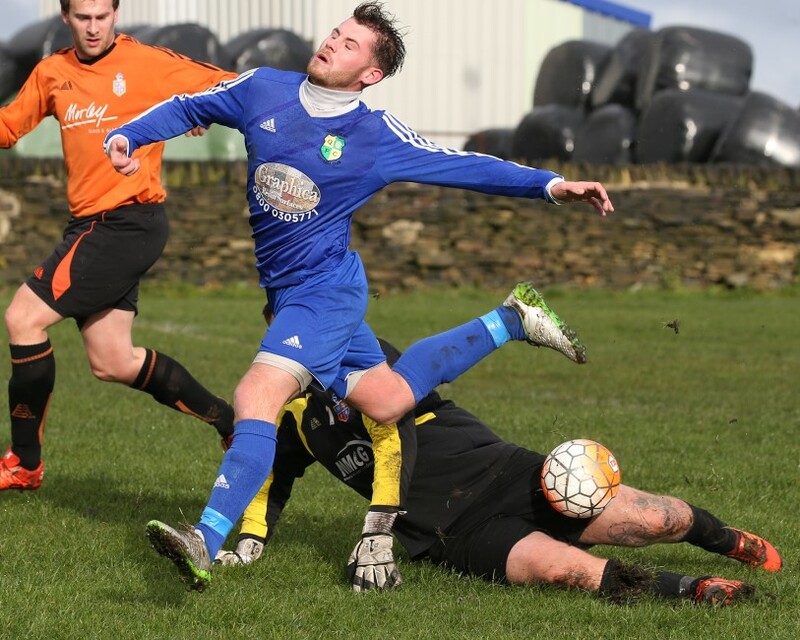 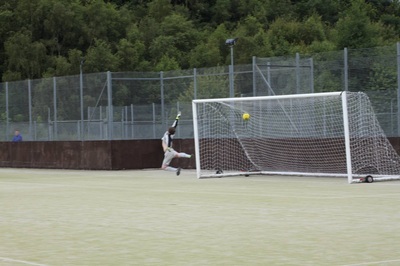 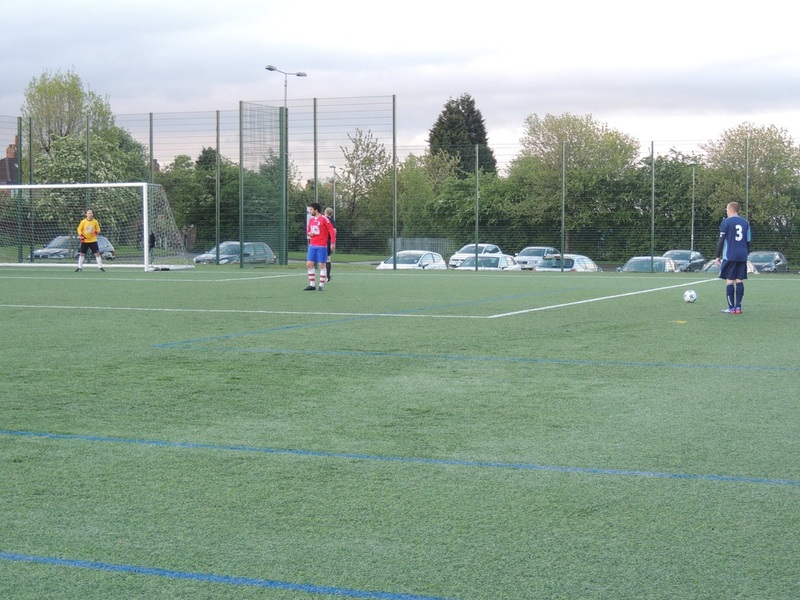 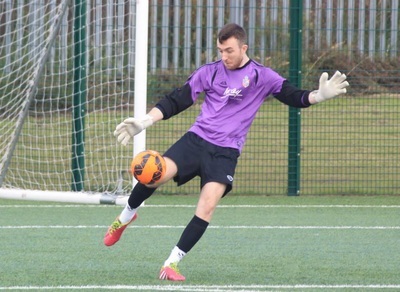 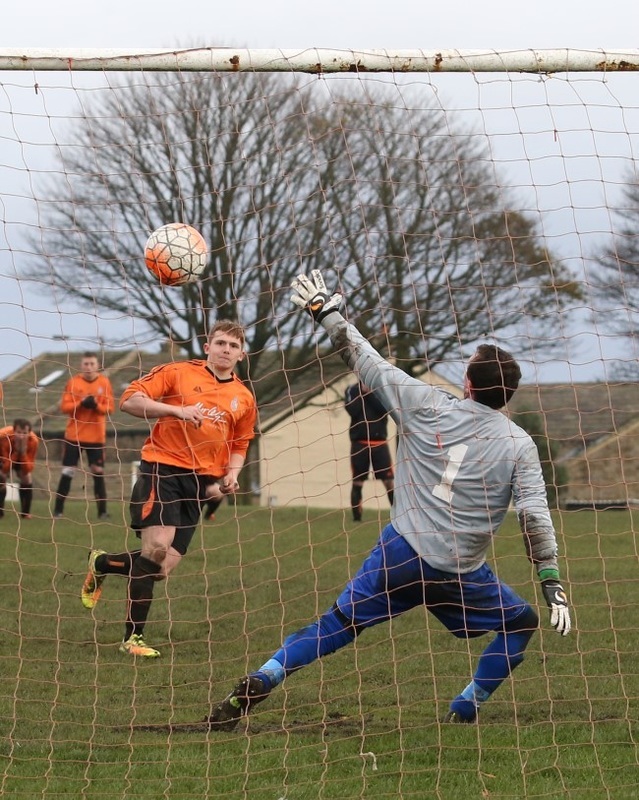 Alex Daniel photographed Millshaw's penalty shoot-out win over FC Queensbury in the second round of the WRCFA Sunday Trophy. 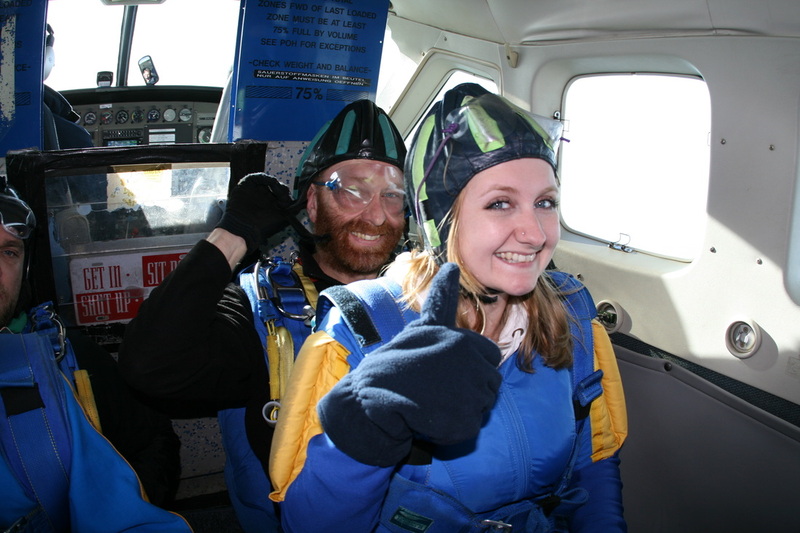 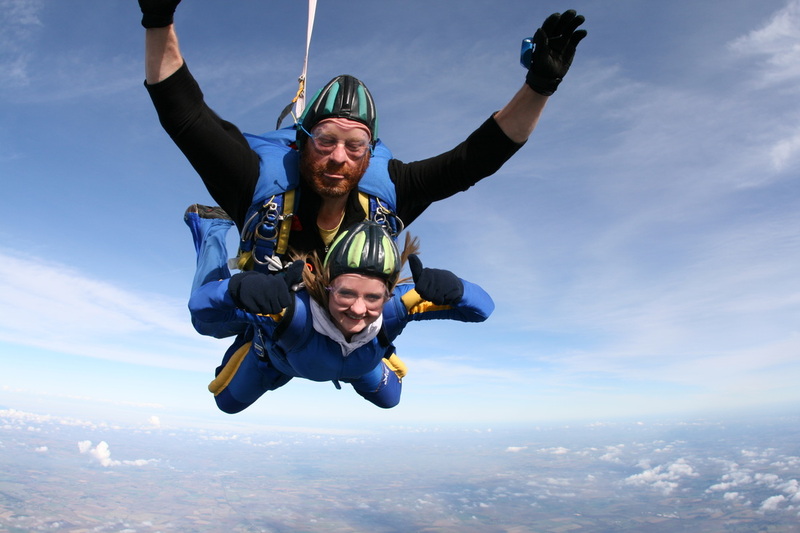 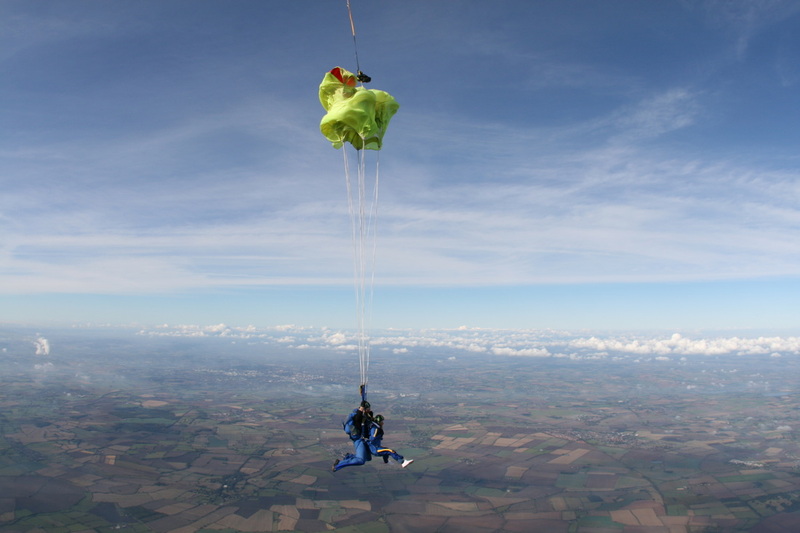 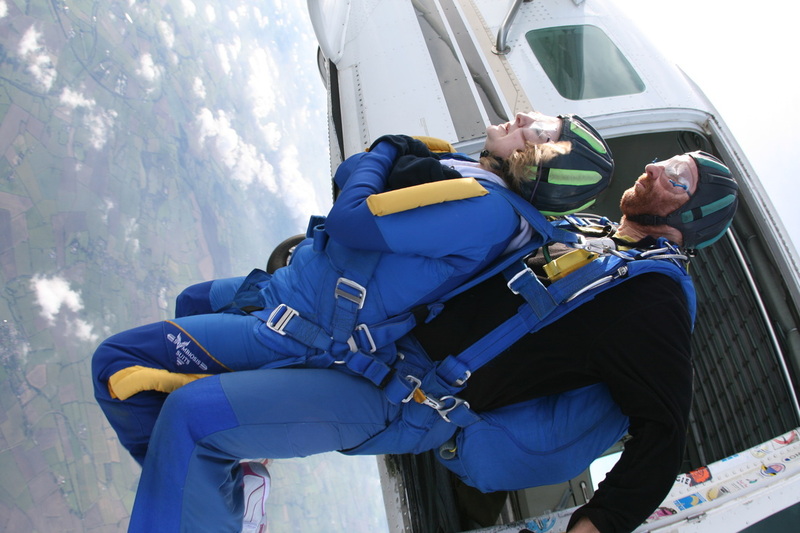 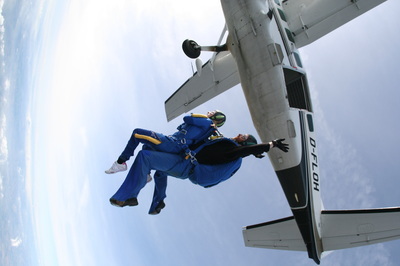 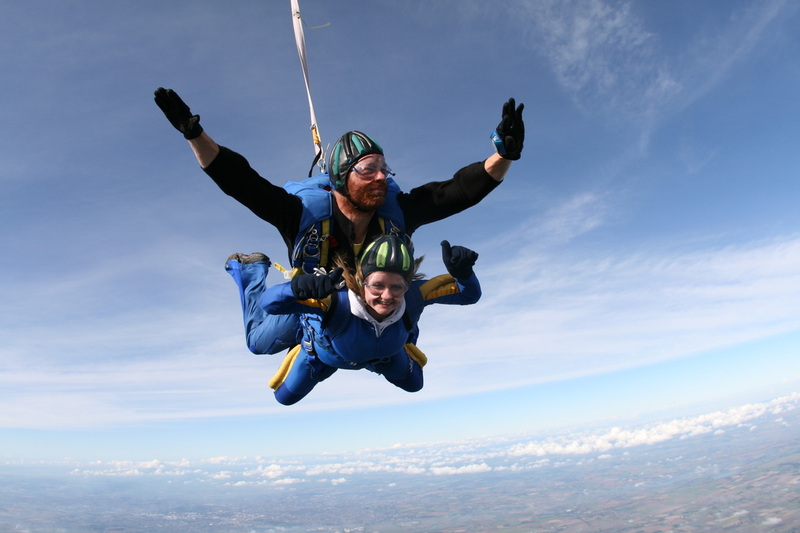 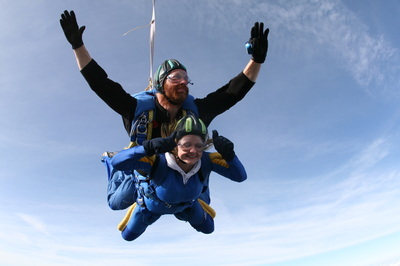 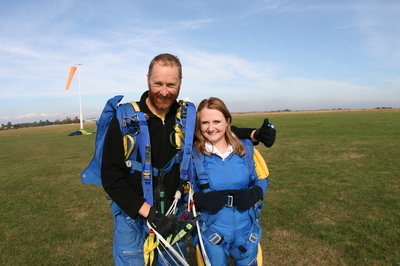 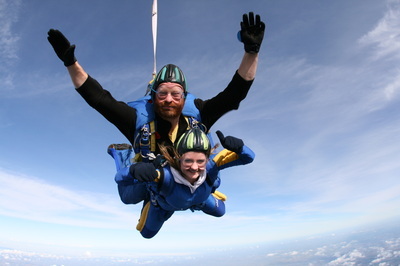 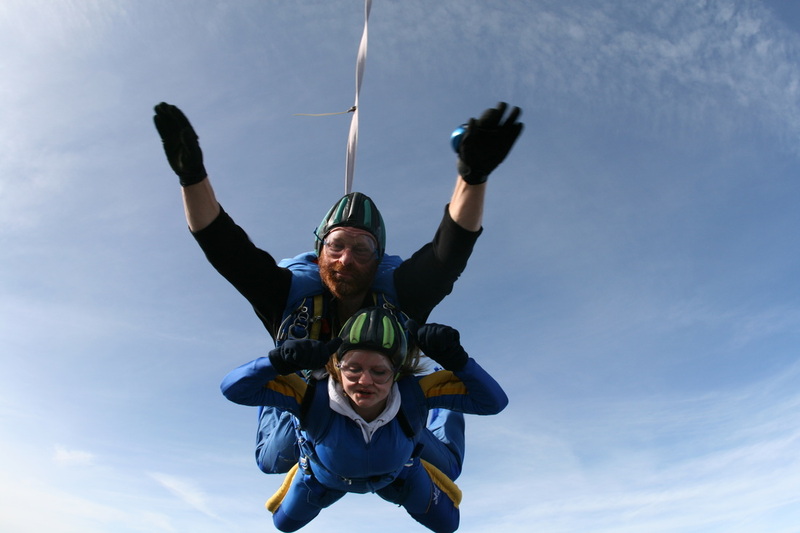 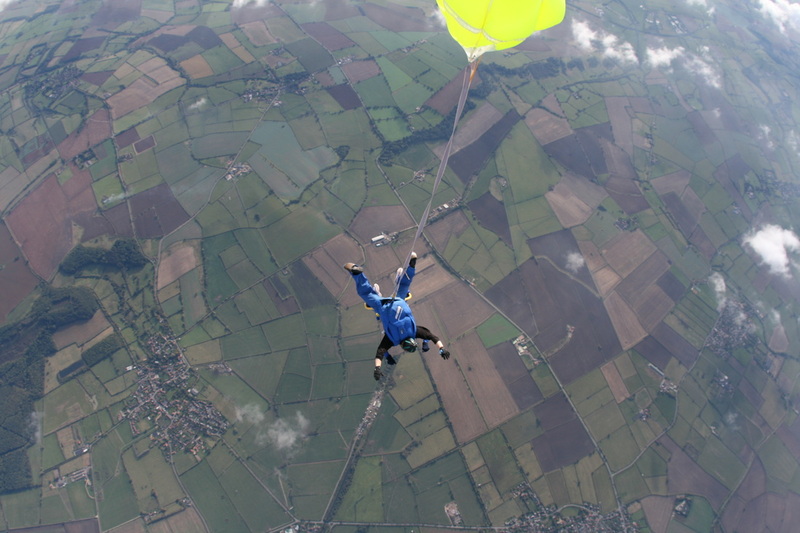 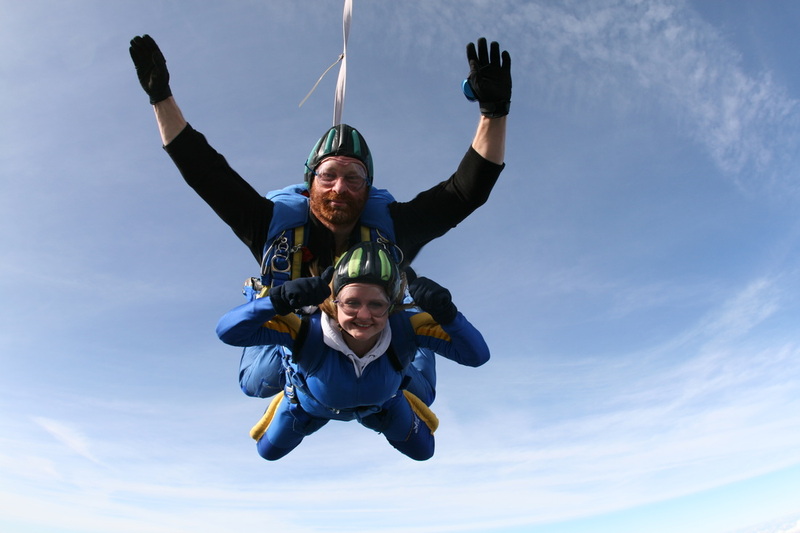 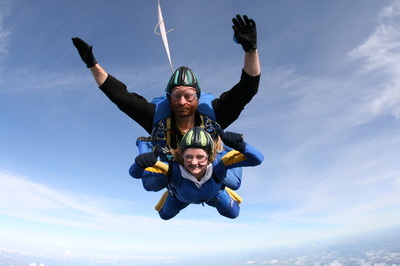 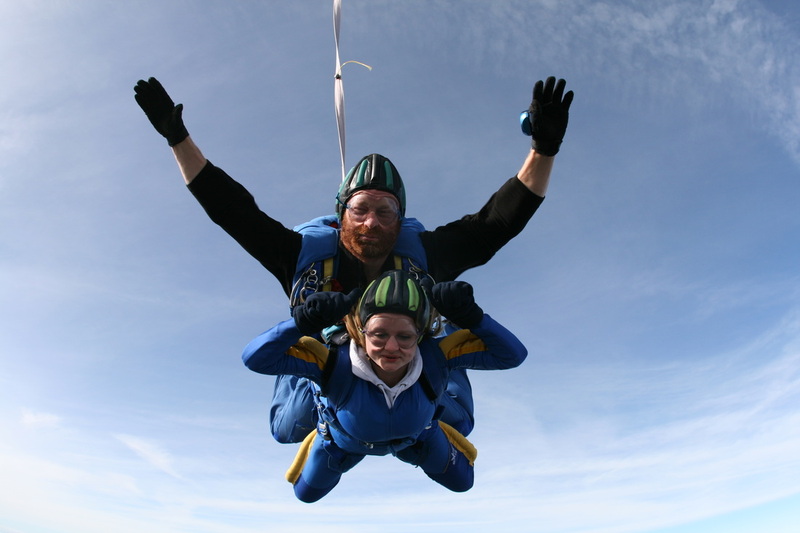 The entire 196-photo album can be viewed on his website by clicking here. 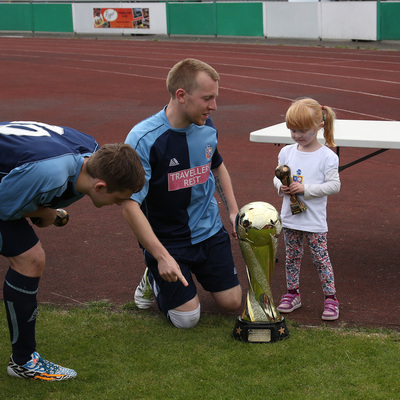 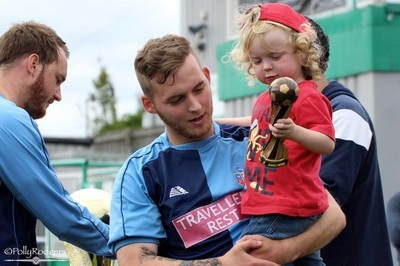 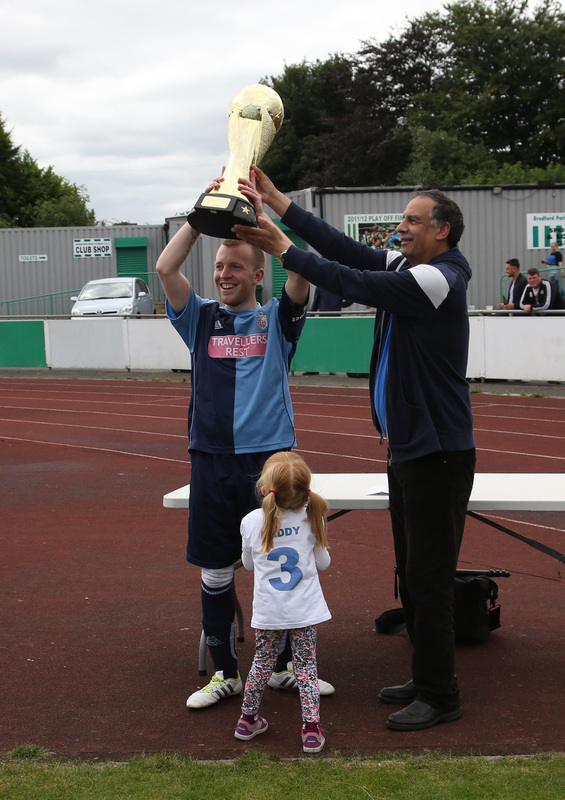 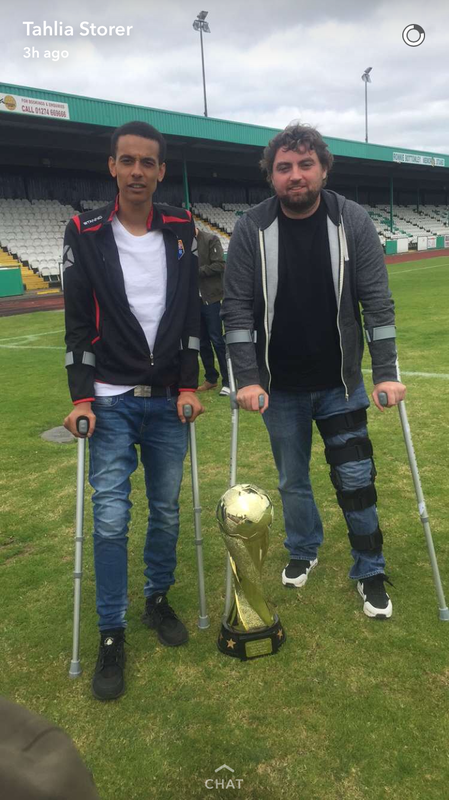 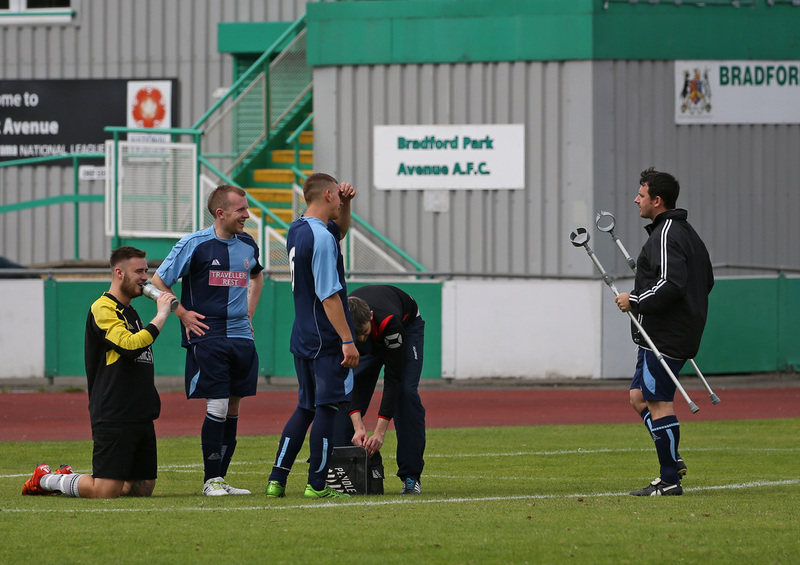 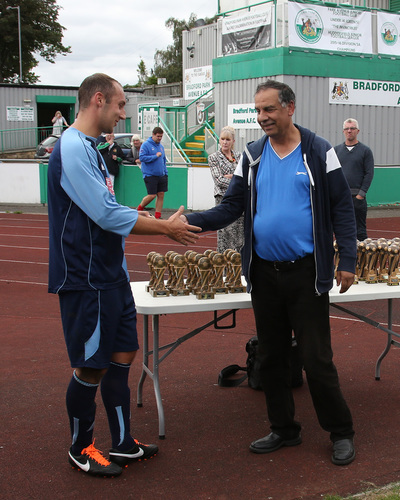 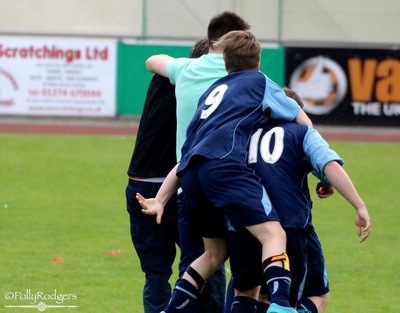 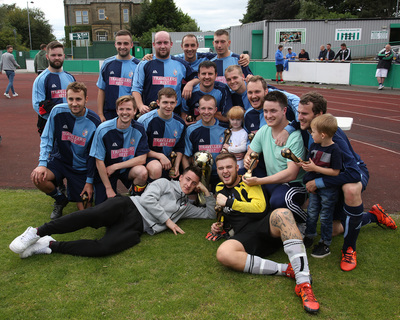 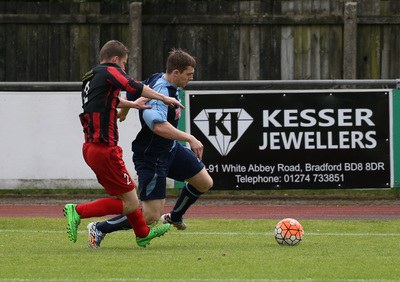 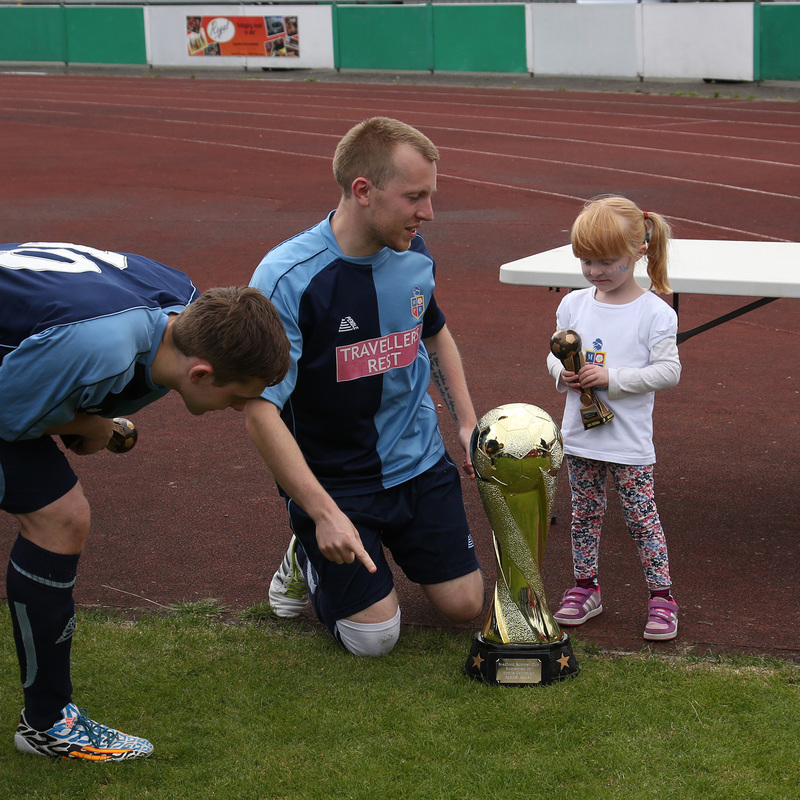 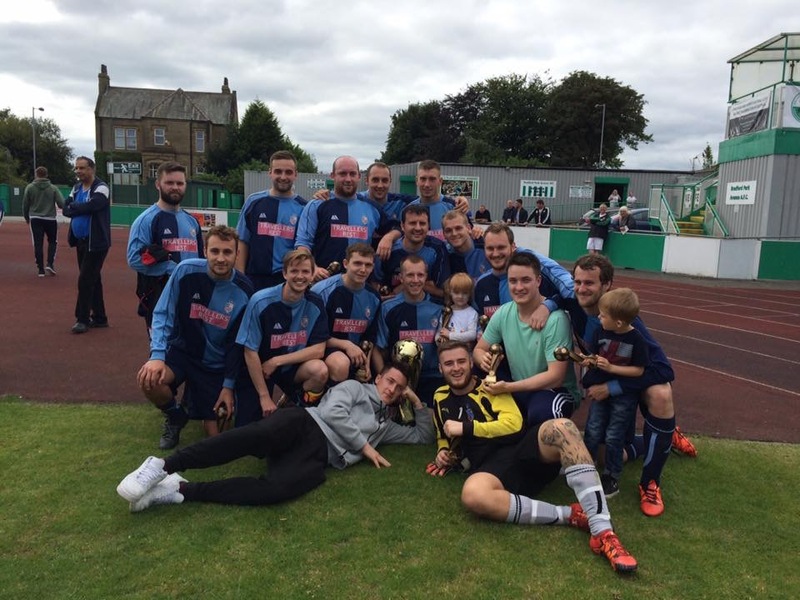 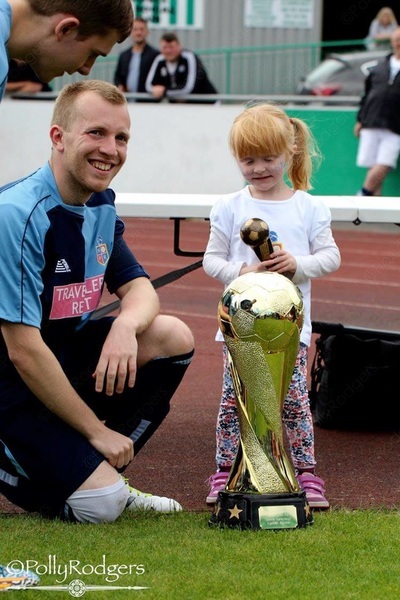 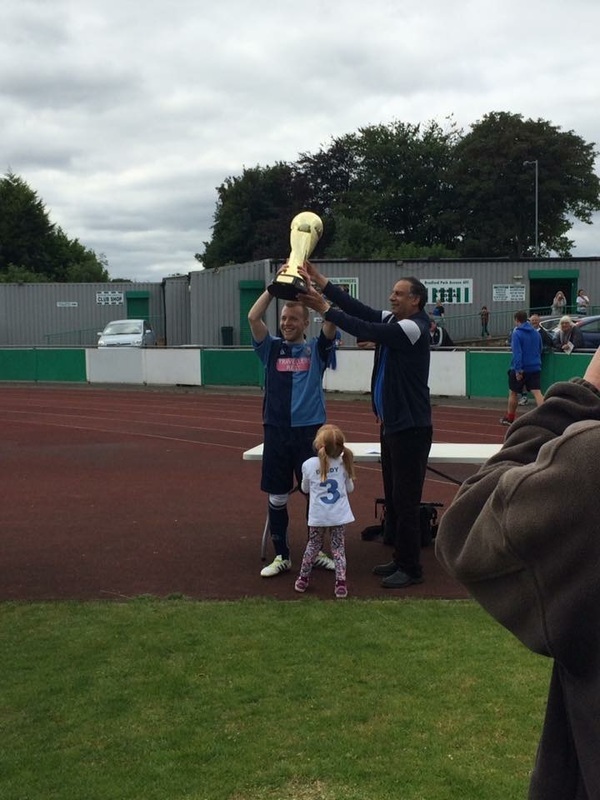 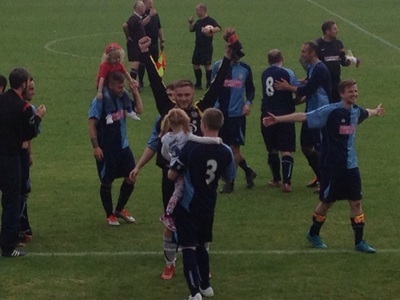 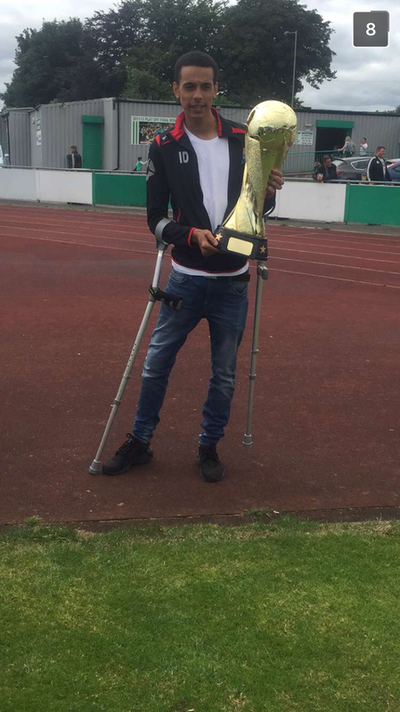 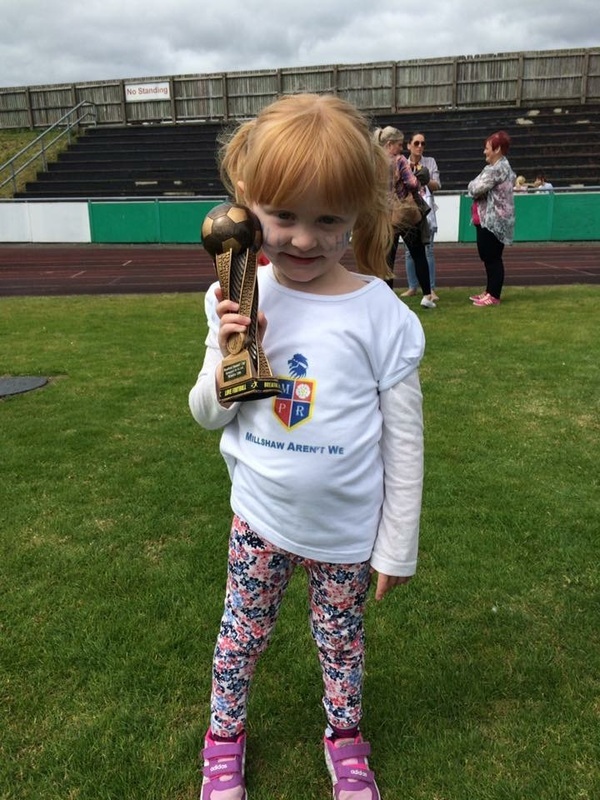 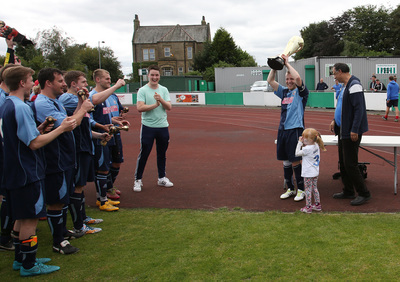 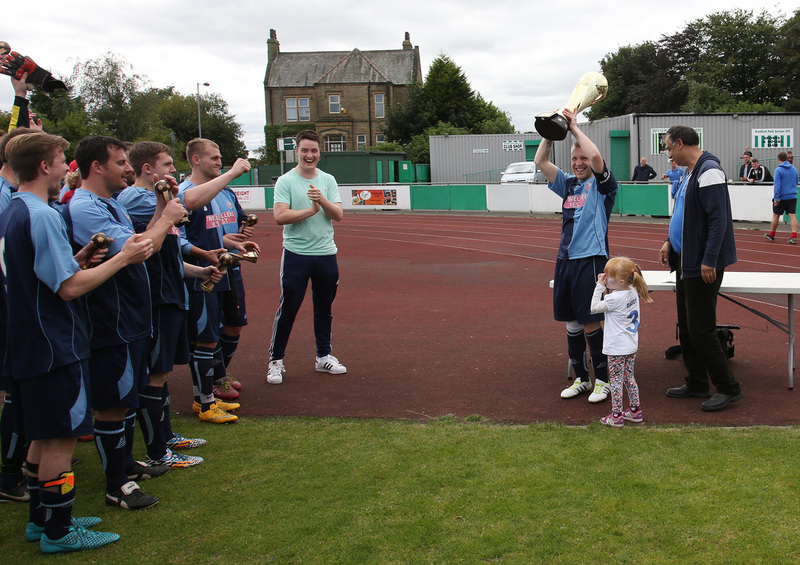 Photos of Millshaw's Bradford Summer Cup final win are provided by Alex Daniel, Polly Rodgers and the friends/family of the players! 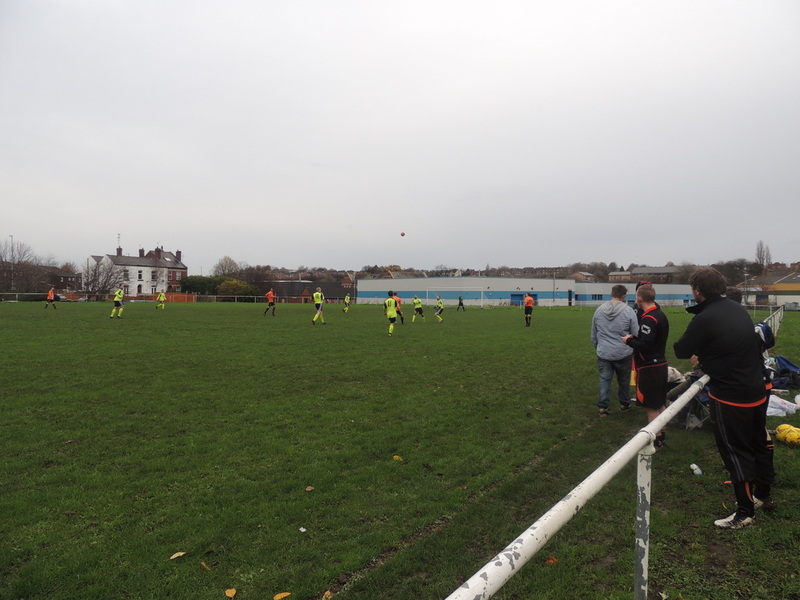 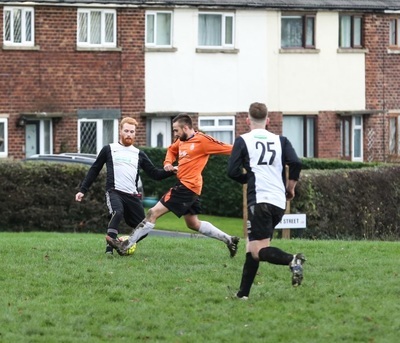 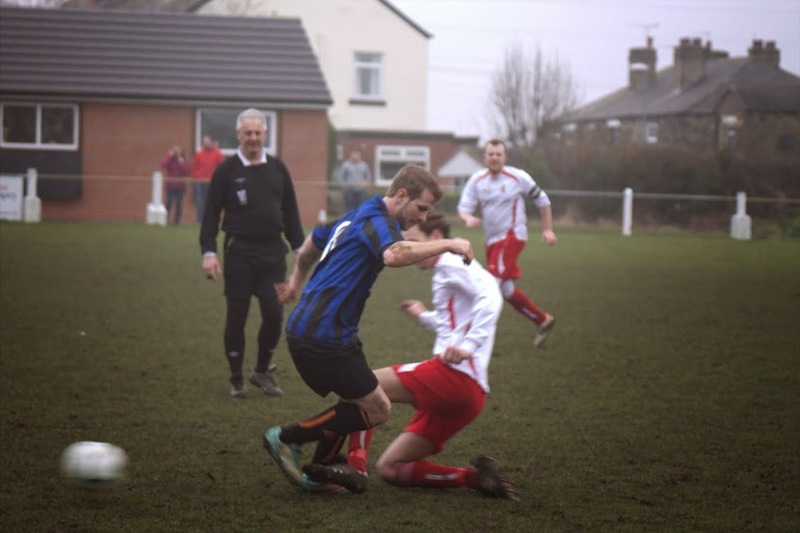 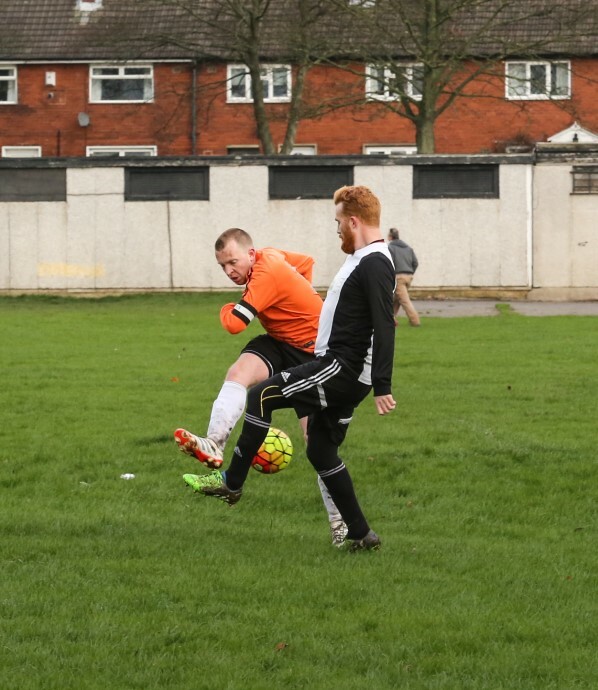 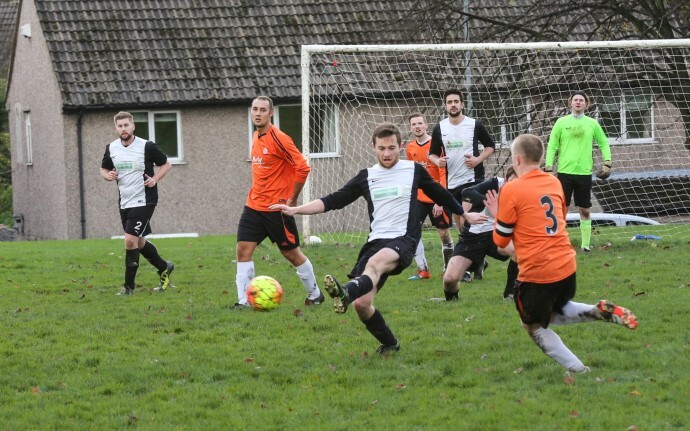 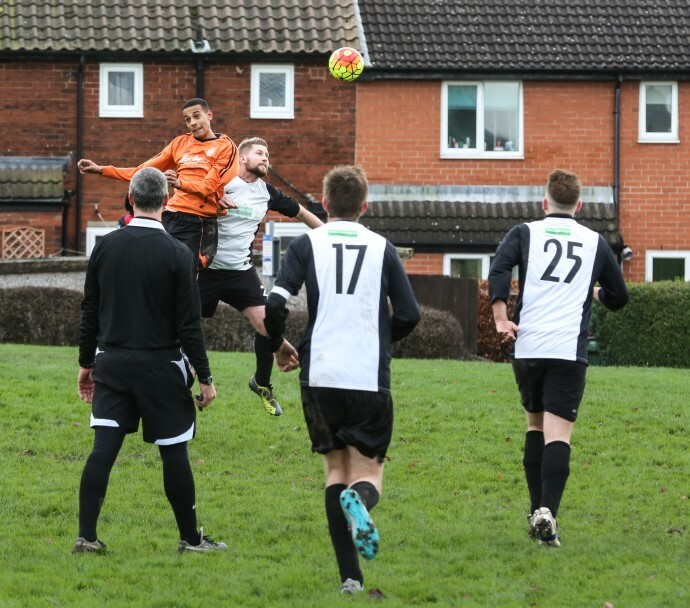 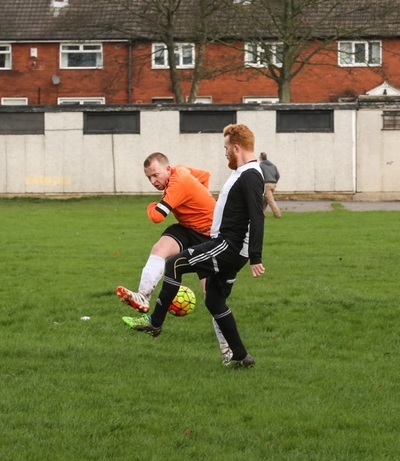 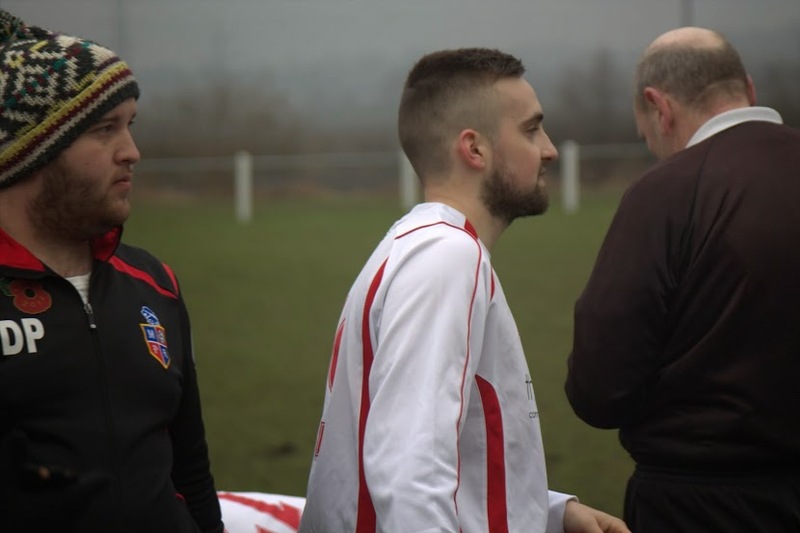 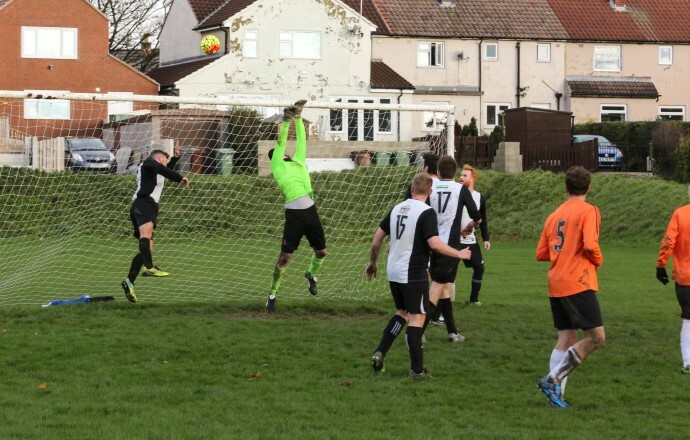 Thanks to Wortley Knights for providing match highlights from their game against Millshaw Reserves at Moorfield Recreation Ground. 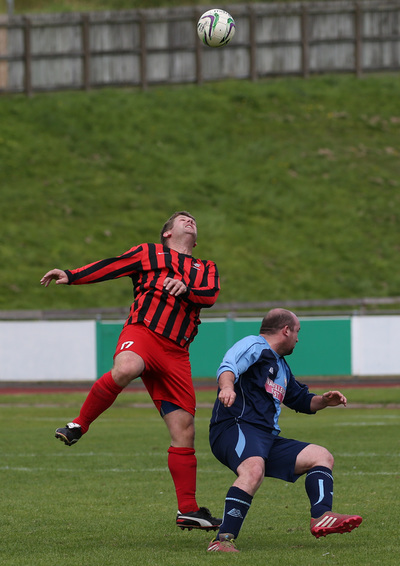 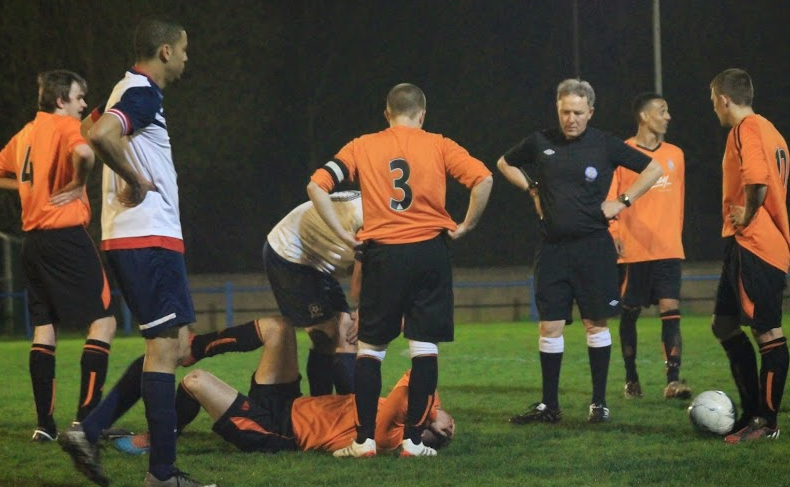 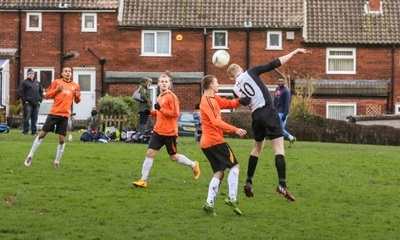 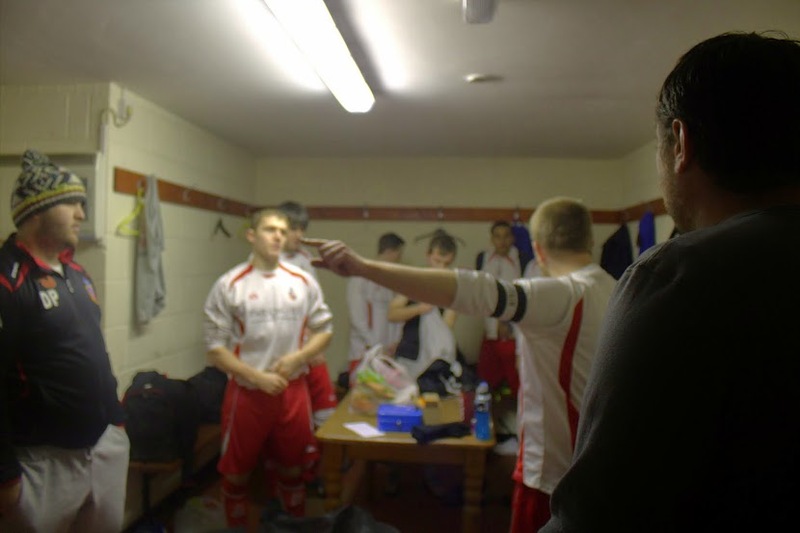 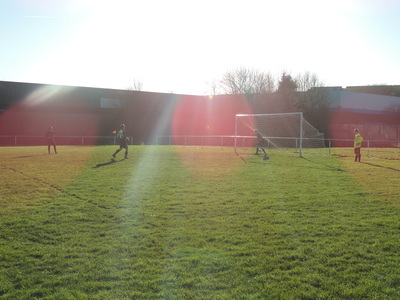 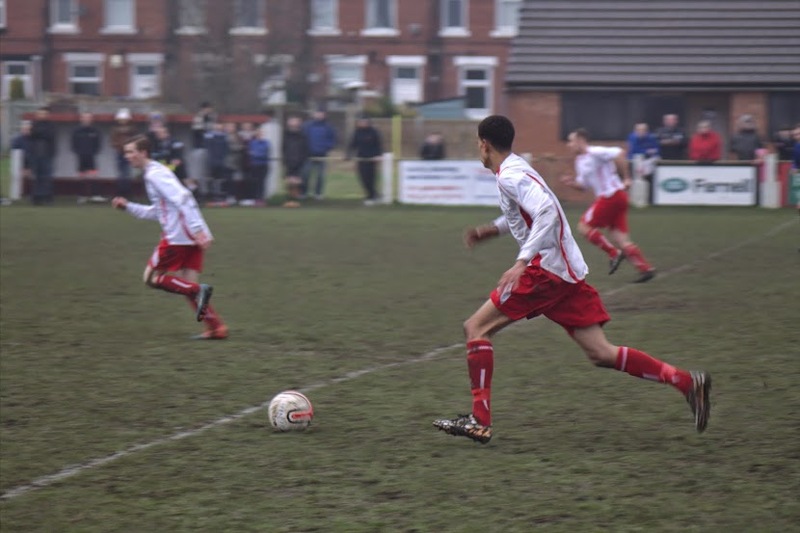 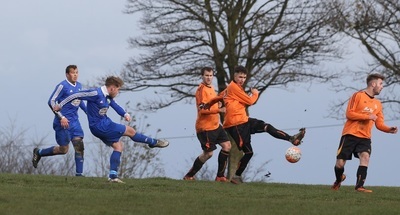 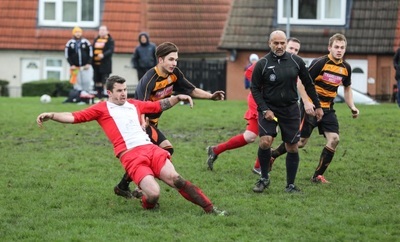 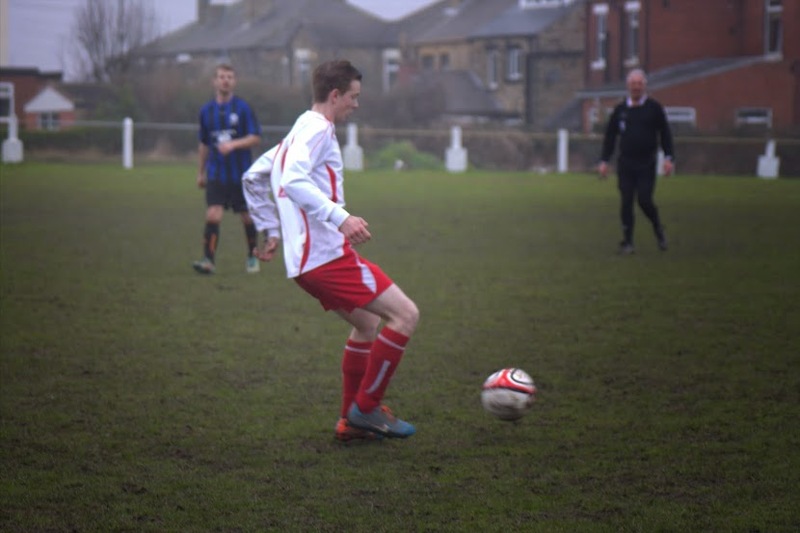 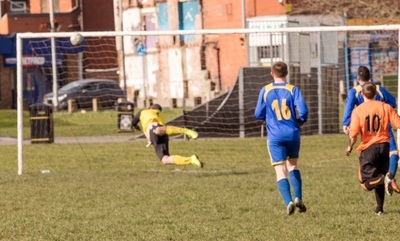 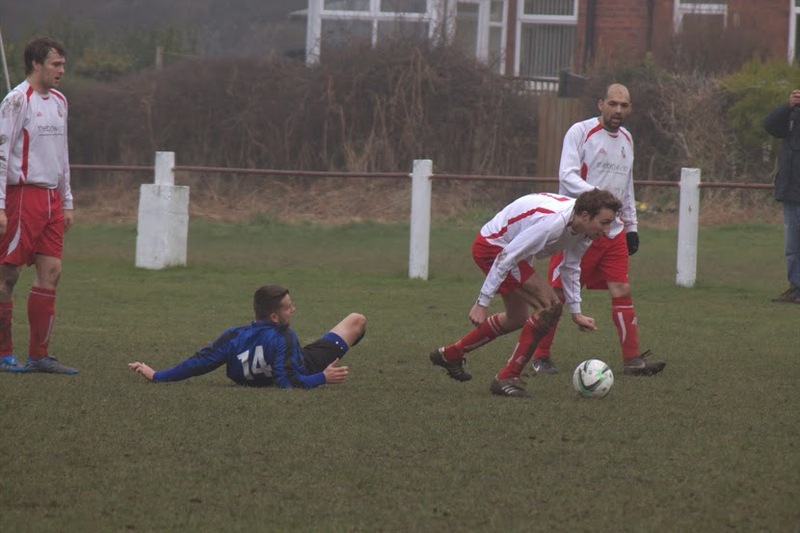 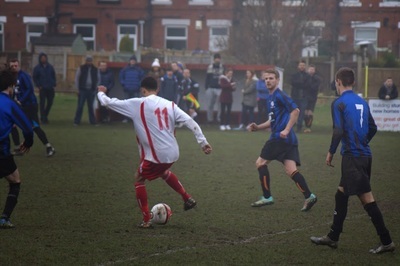 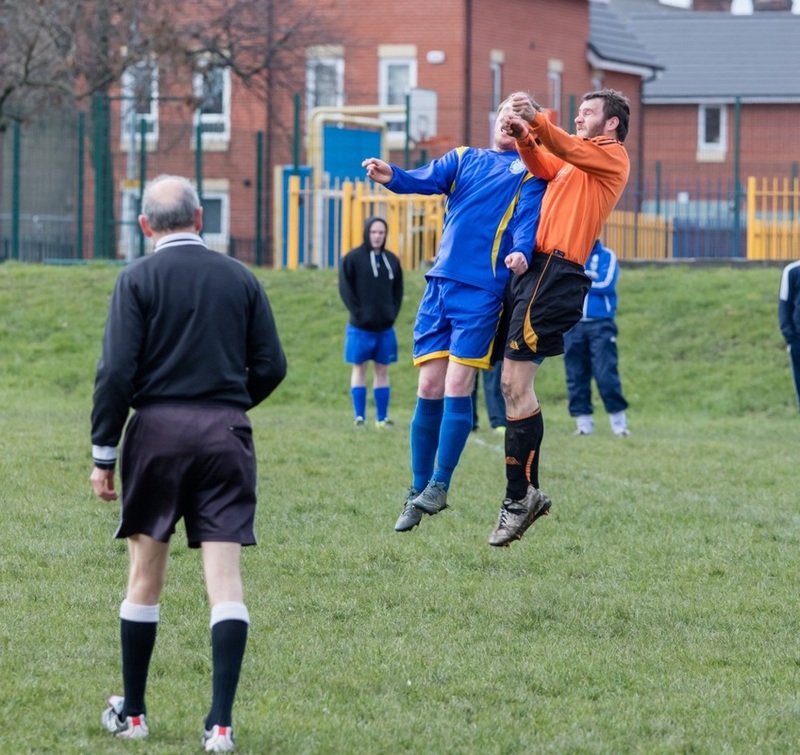 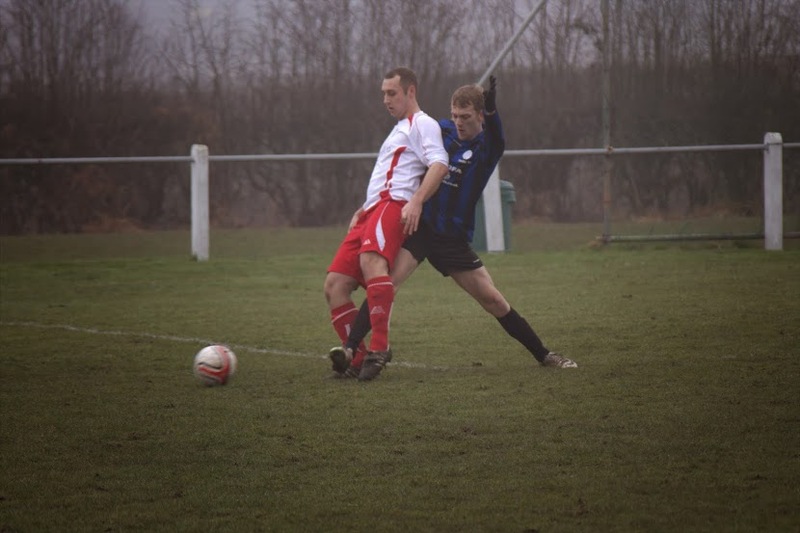 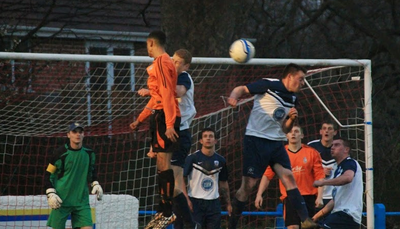 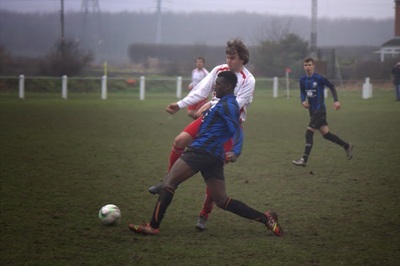 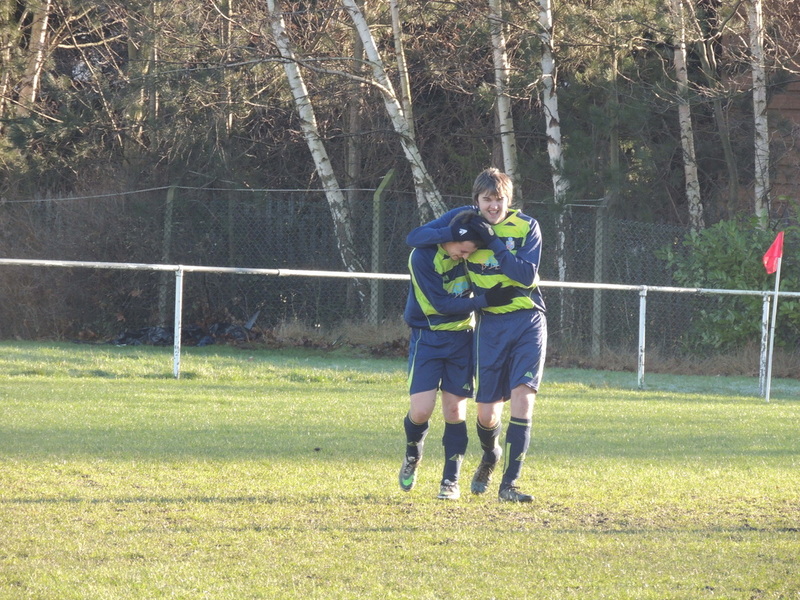 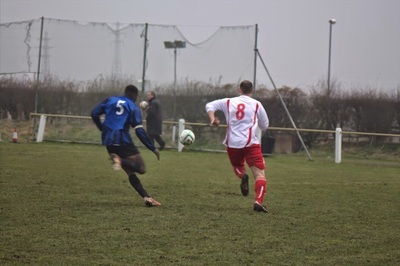 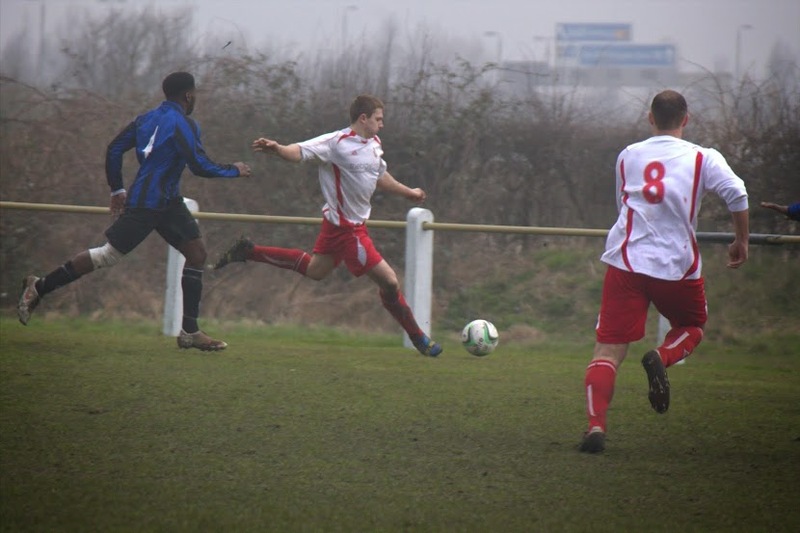 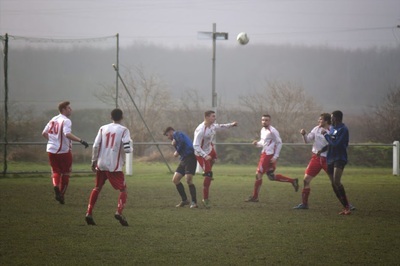 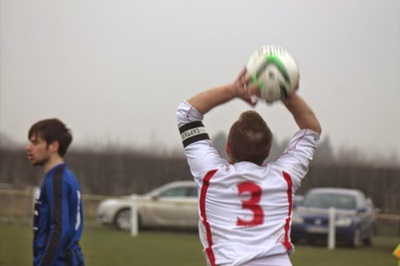 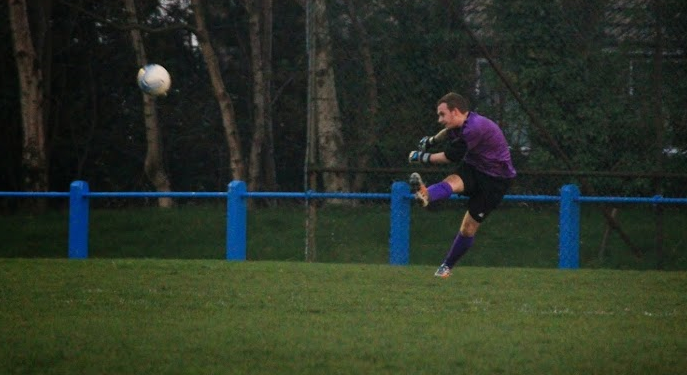 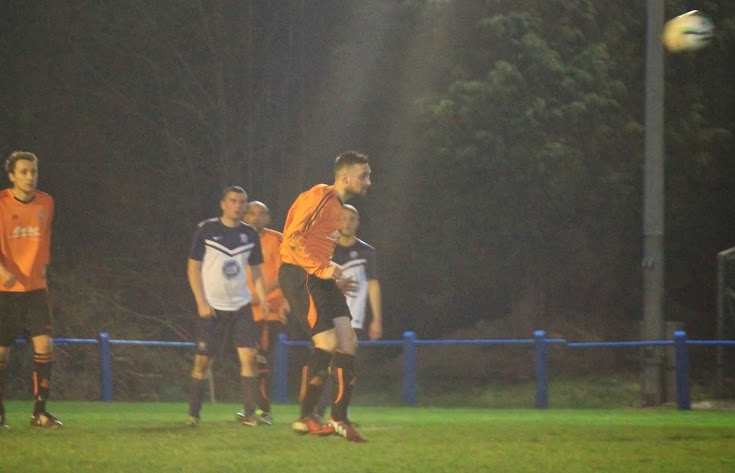 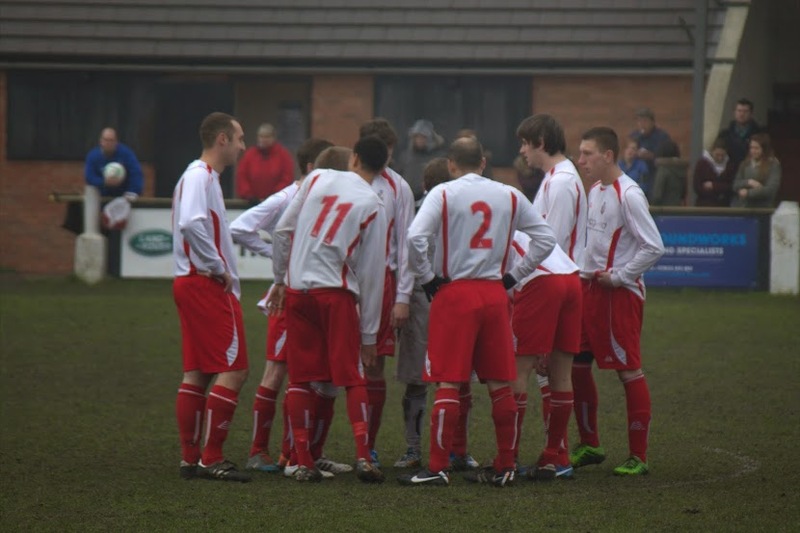 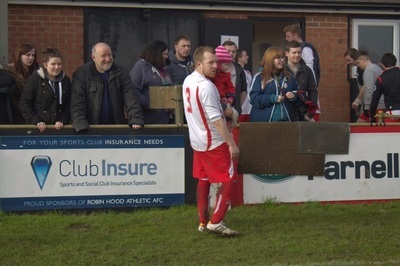 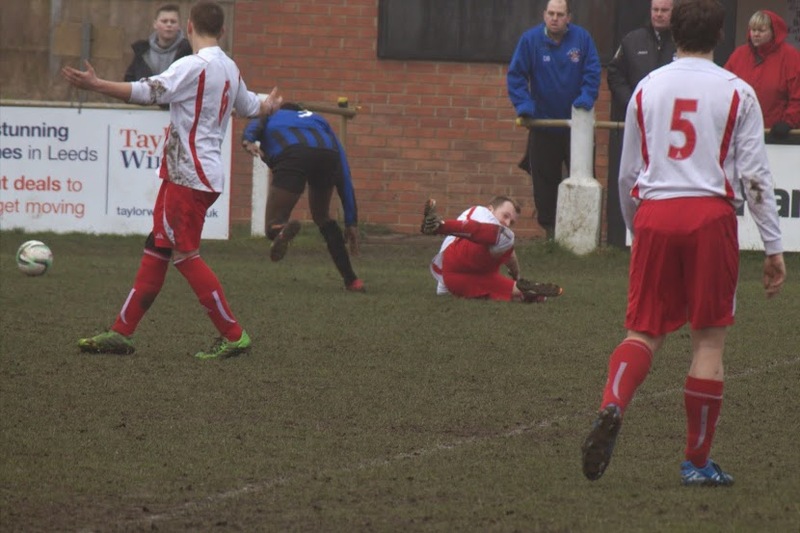 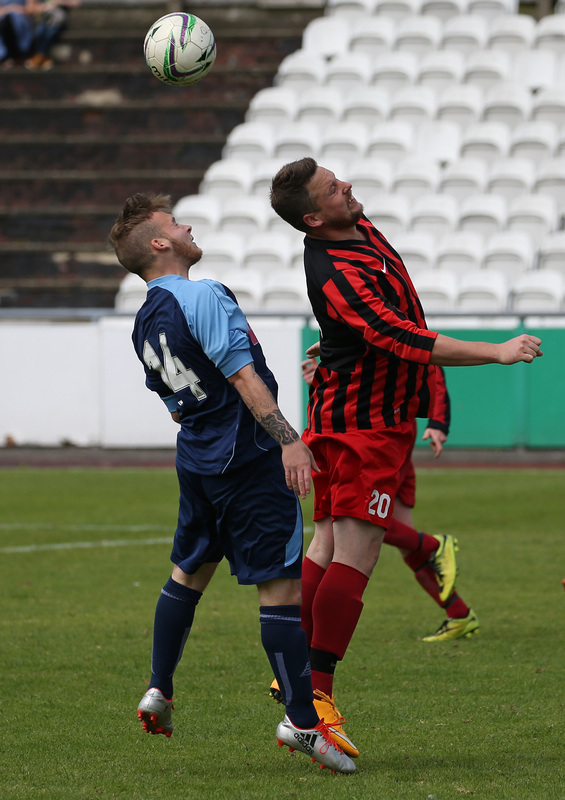 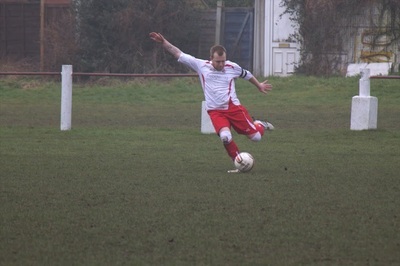 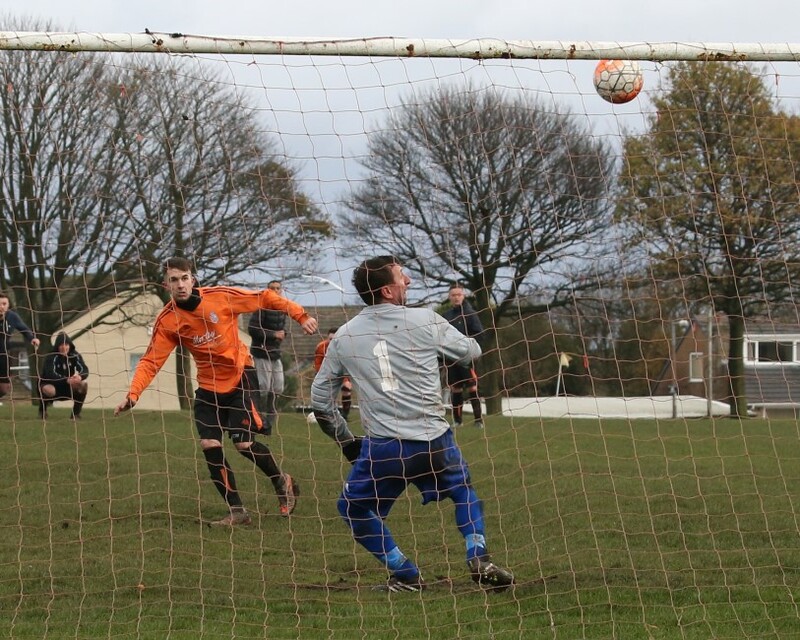 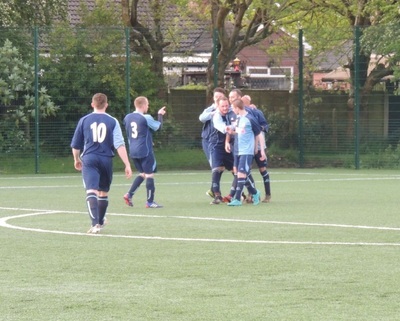 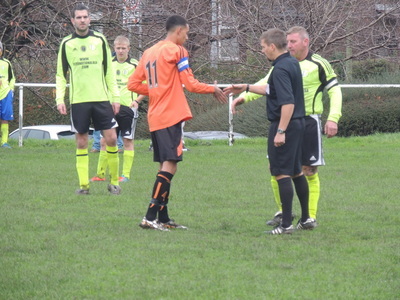 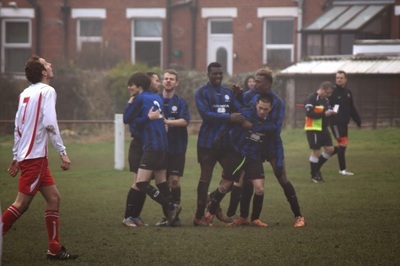 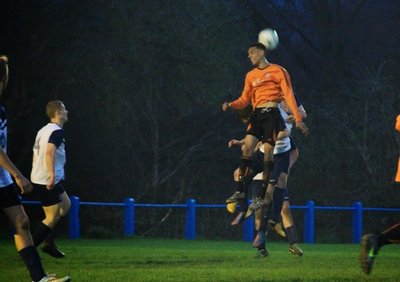 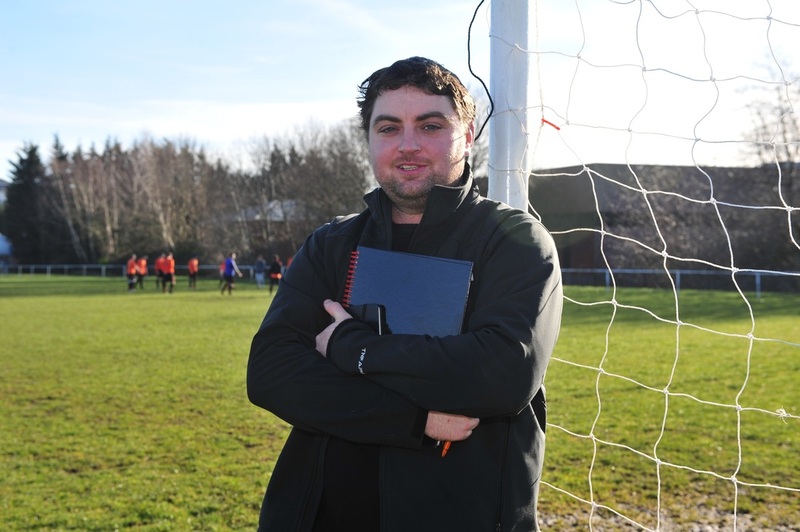 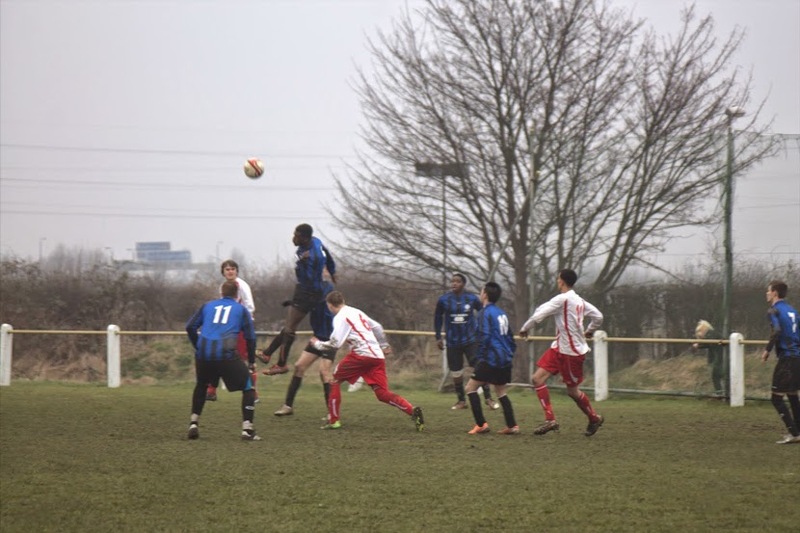 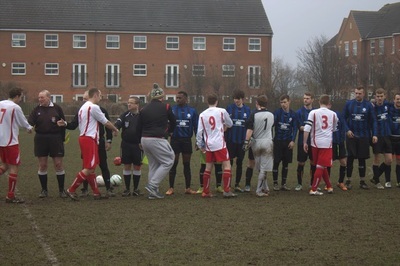 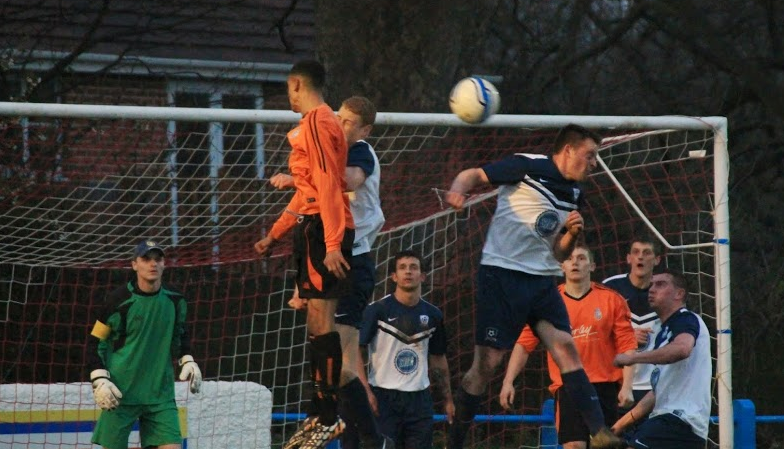 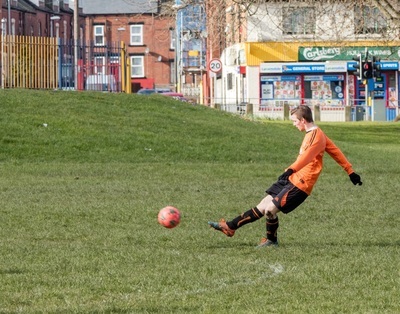 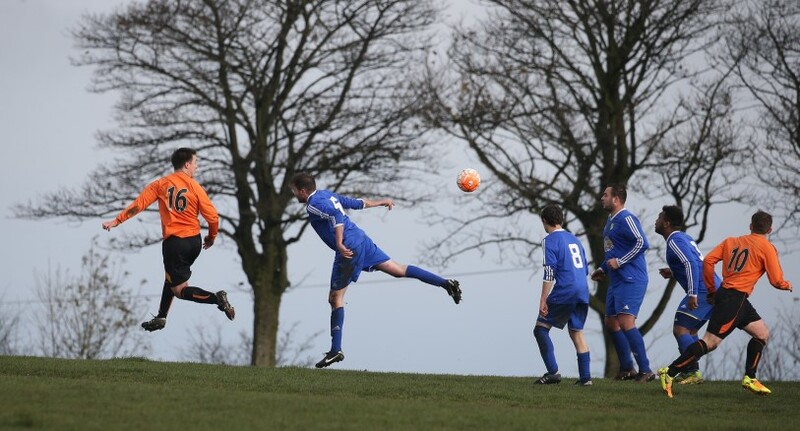 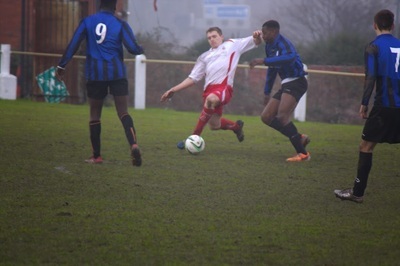 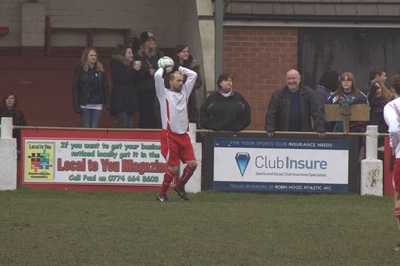 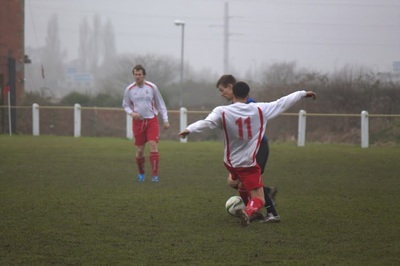 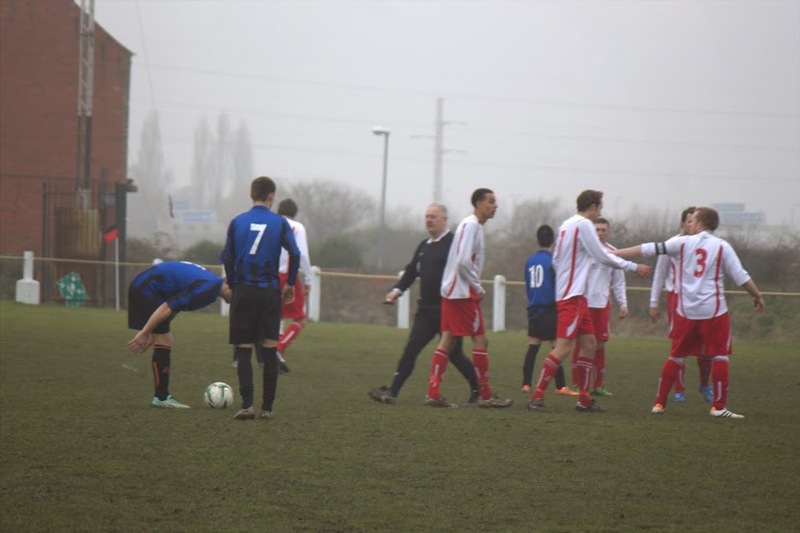 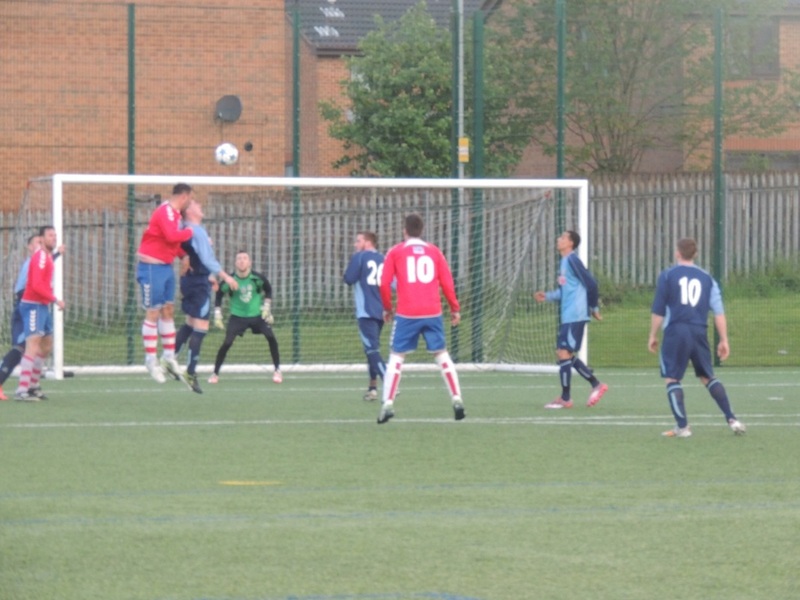 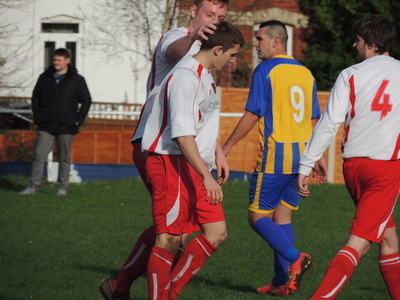 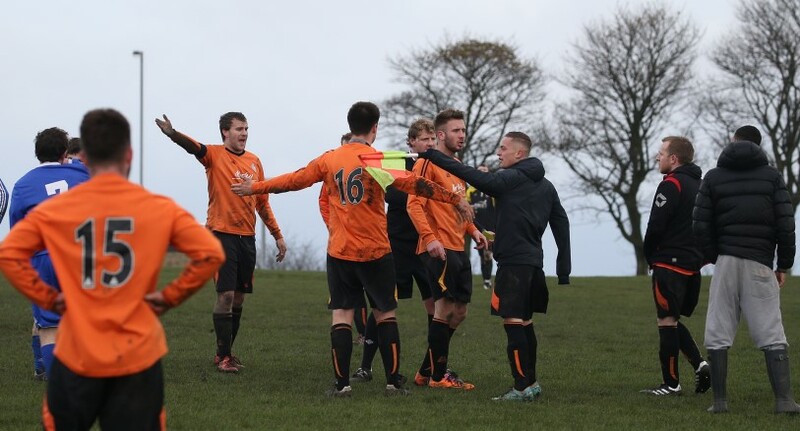 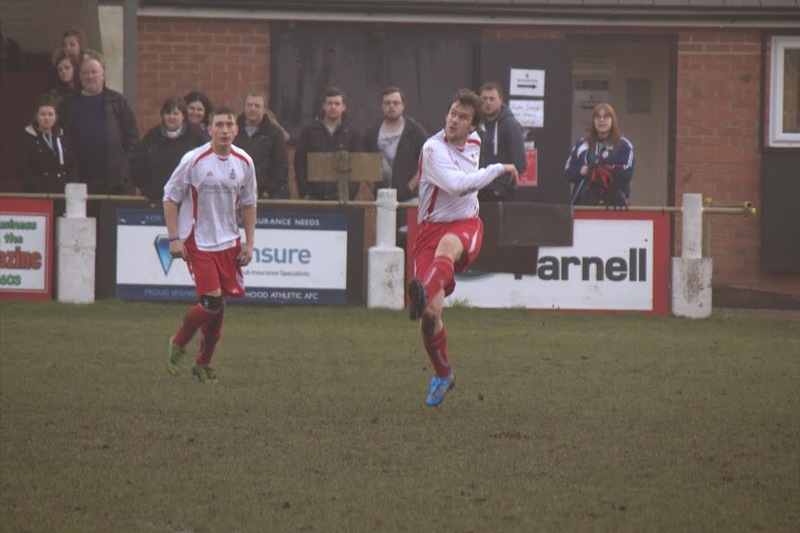 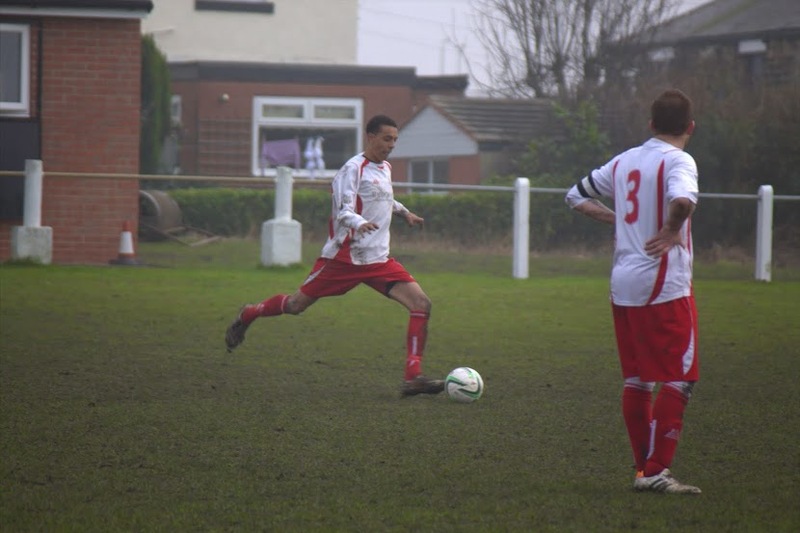 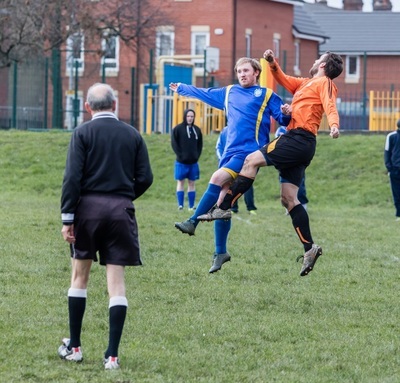 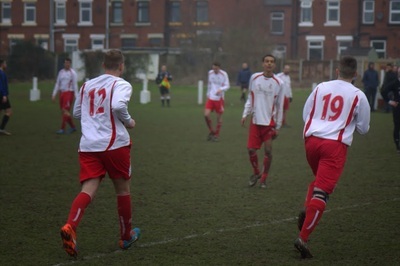 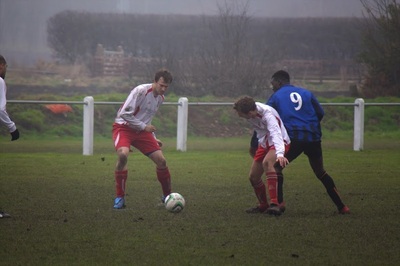 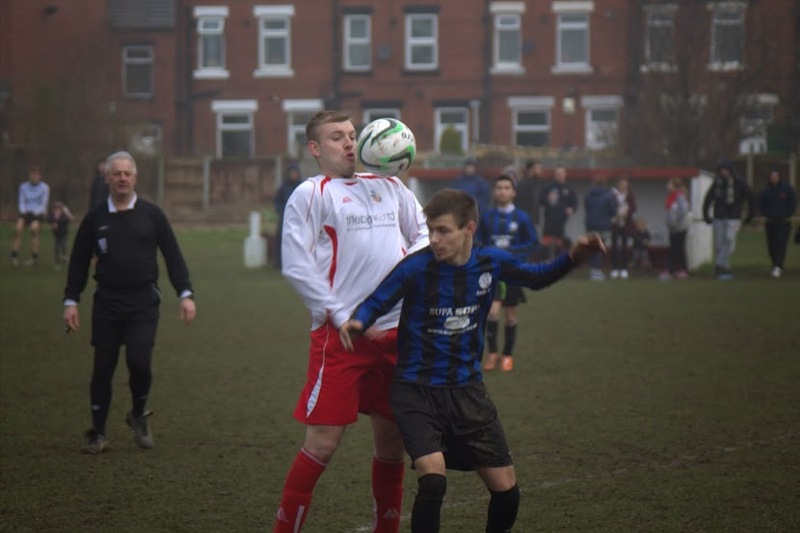 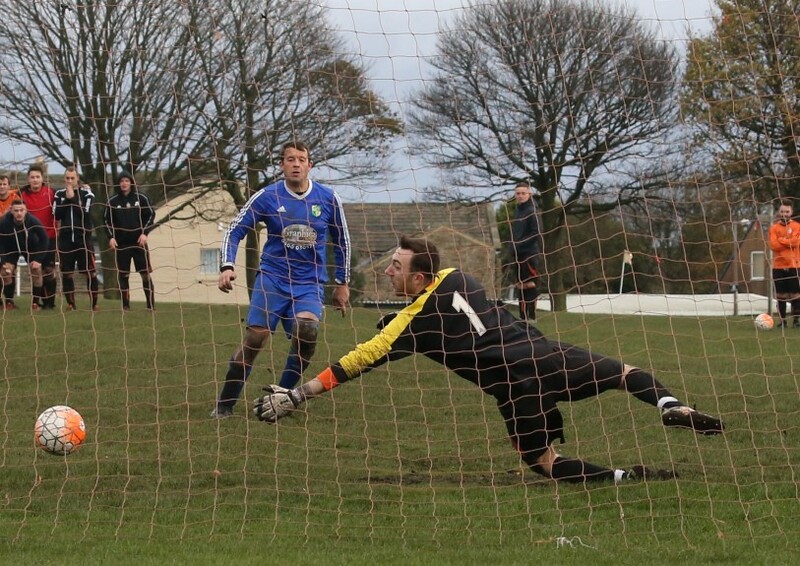 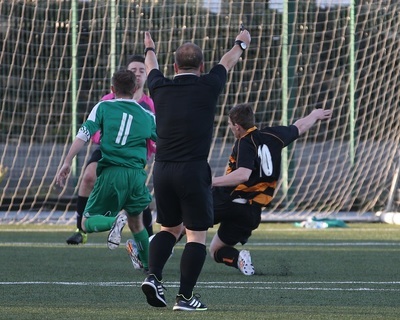 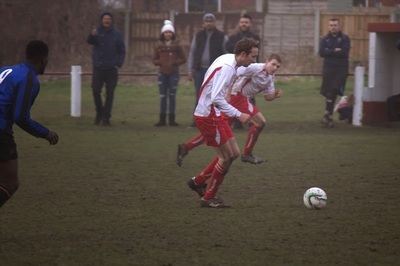 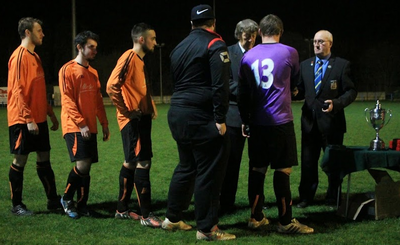 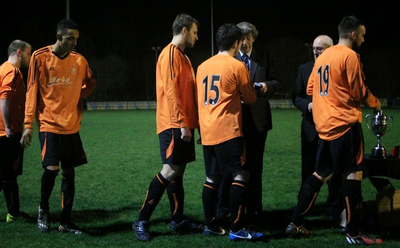 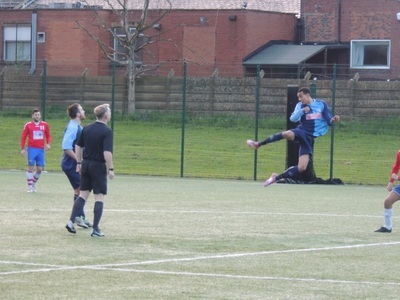 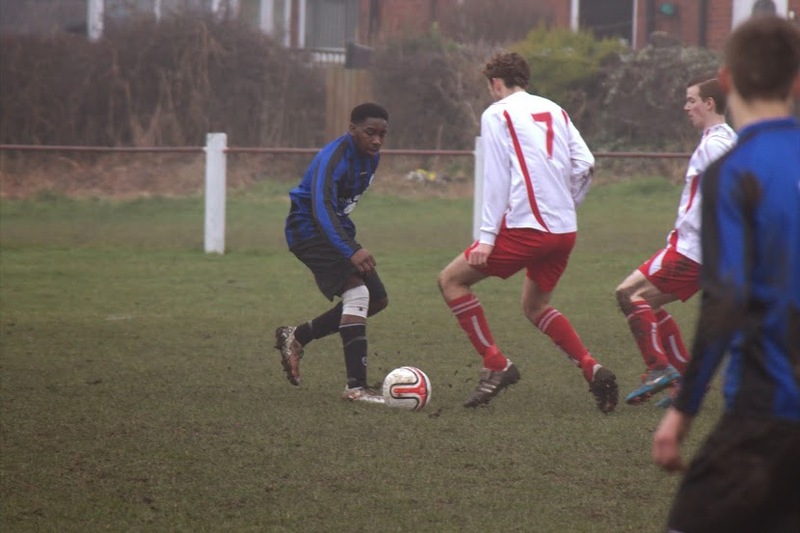 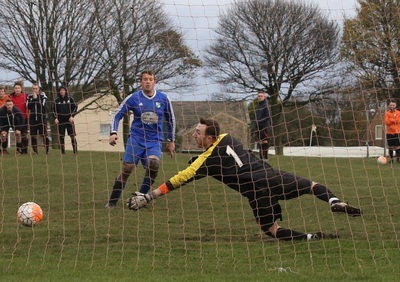 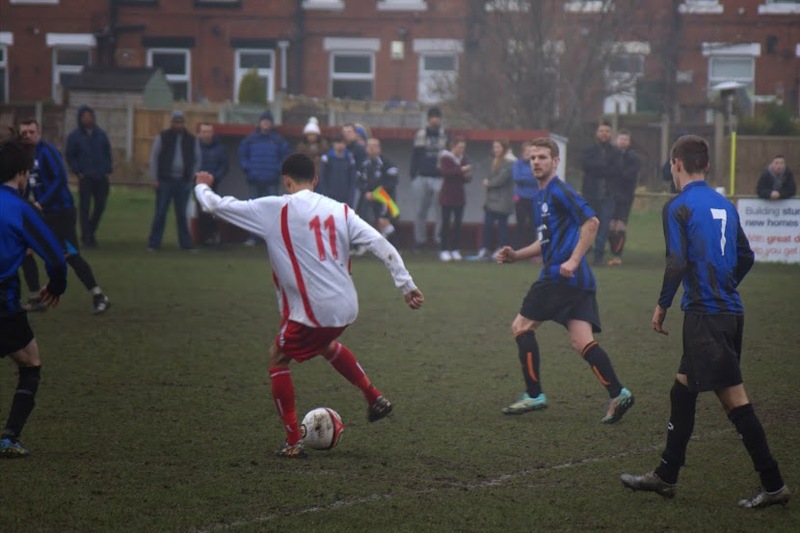 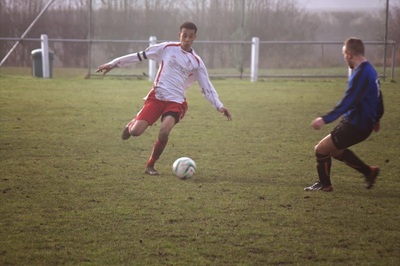 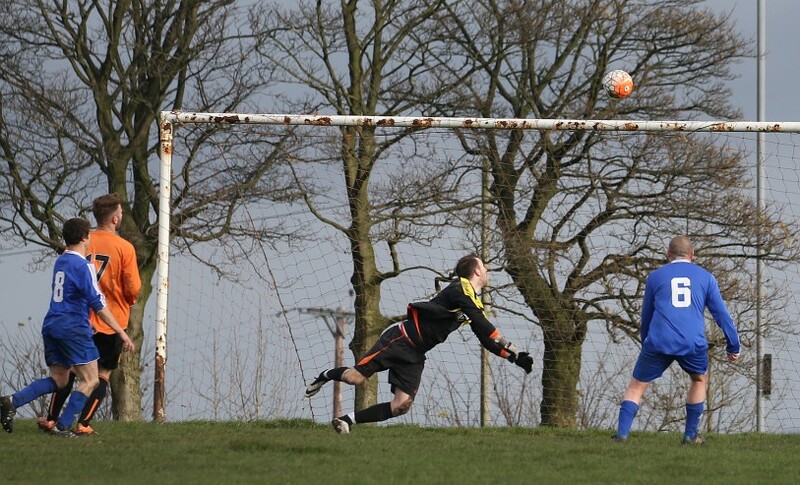 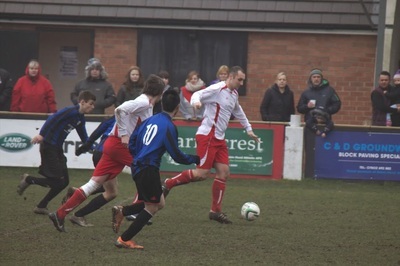 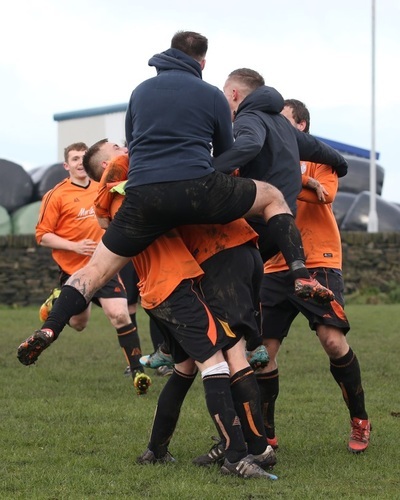 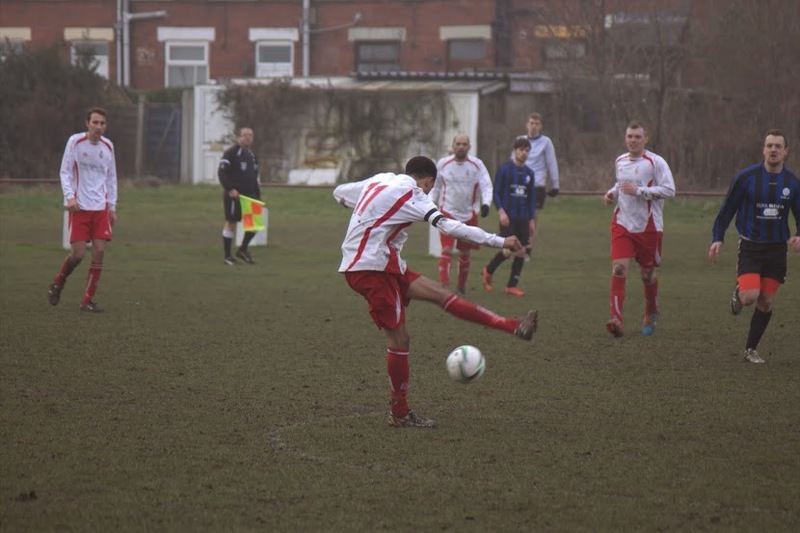 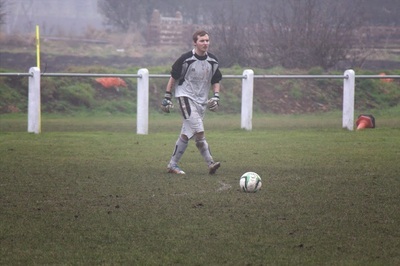 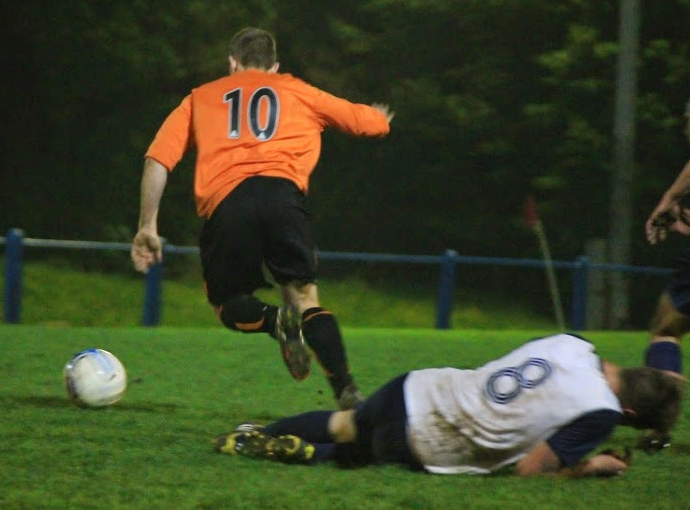 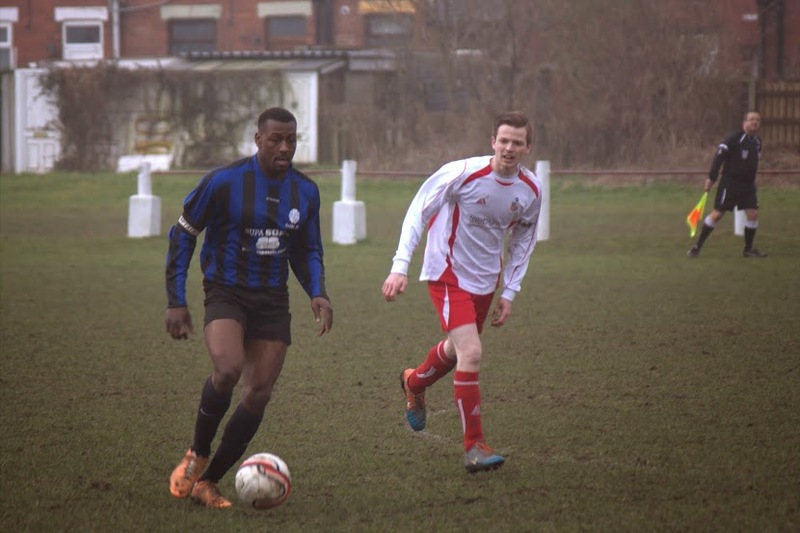 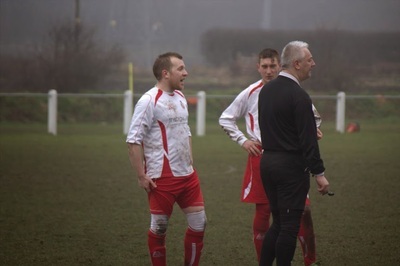 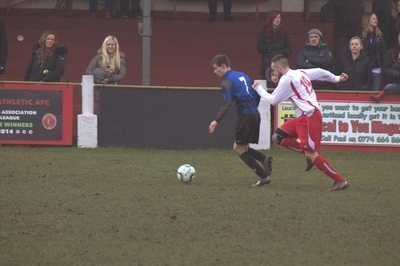 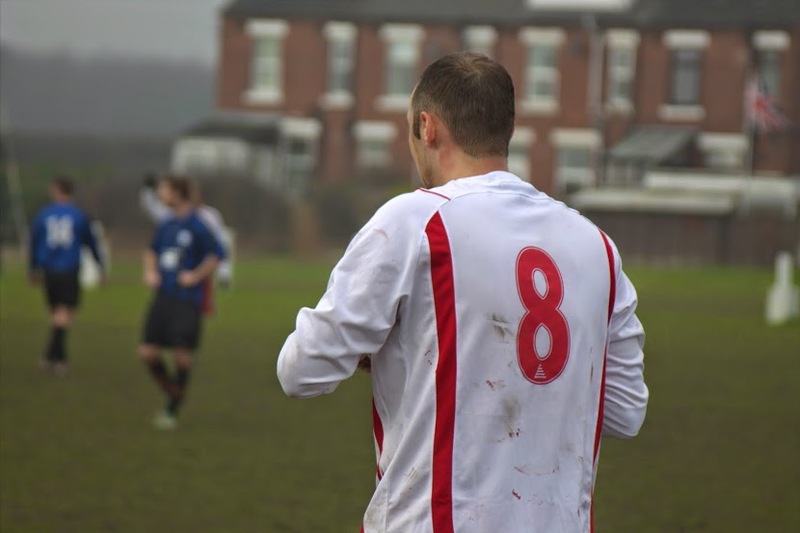 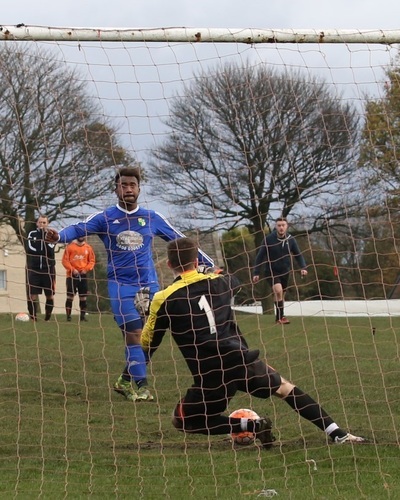 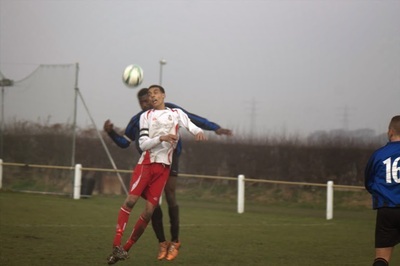 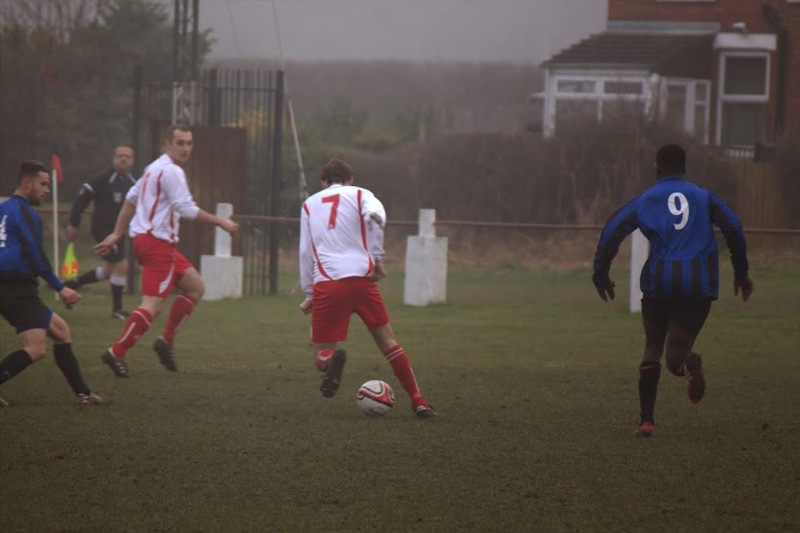 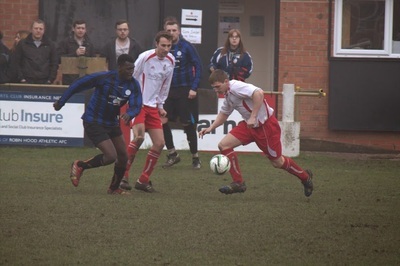 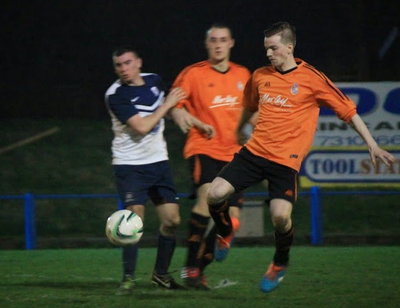 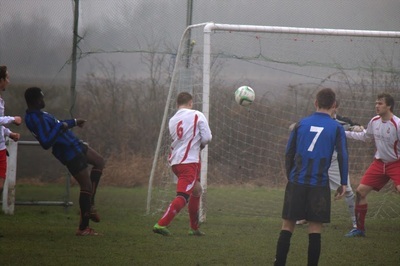 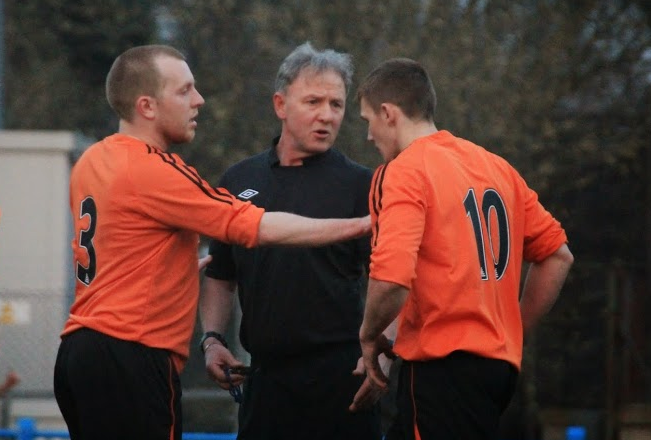 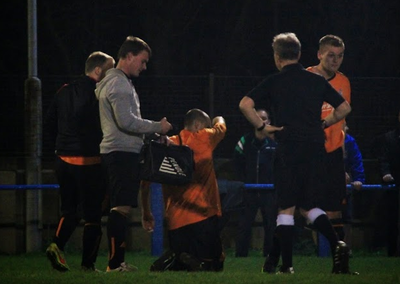 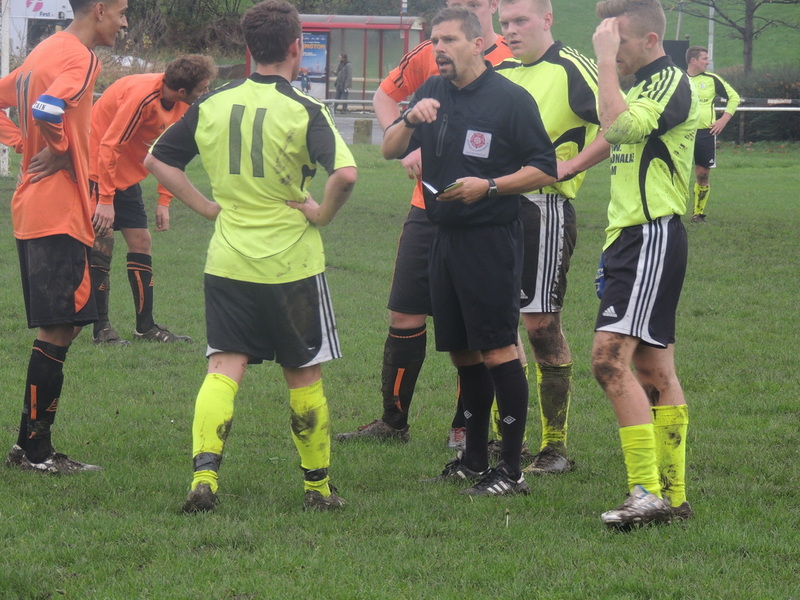 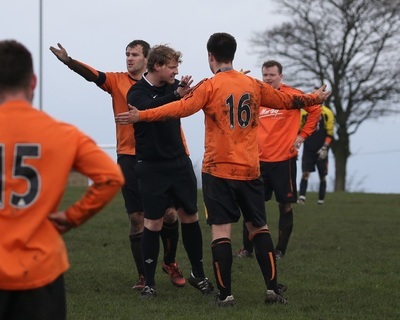 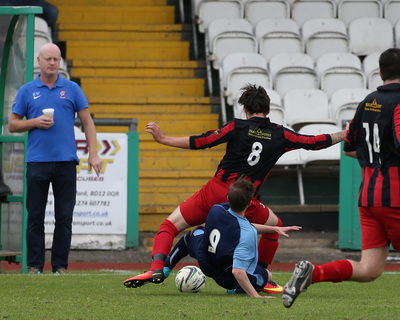 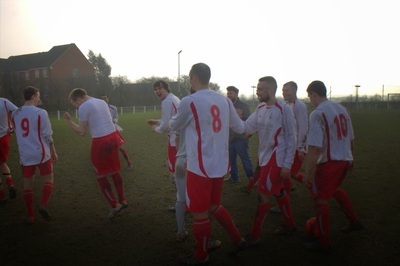 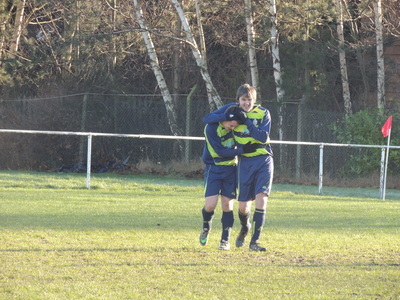 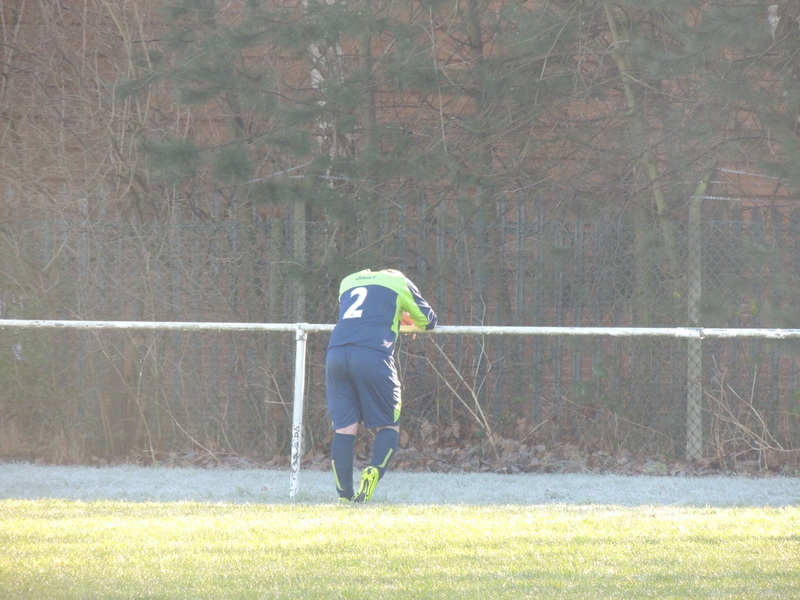 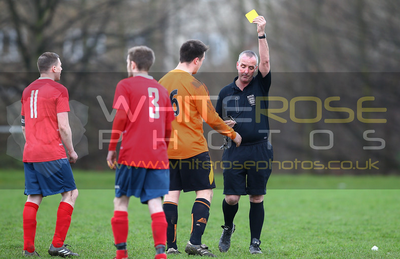 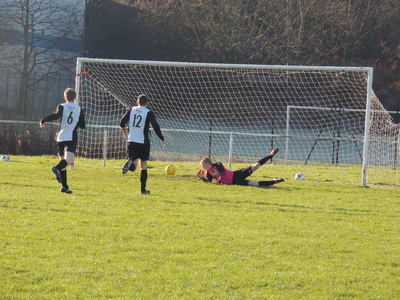 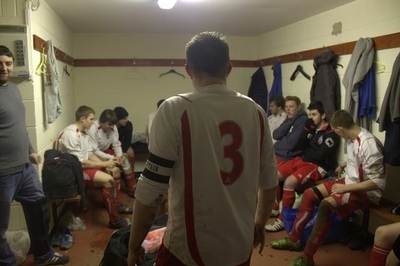 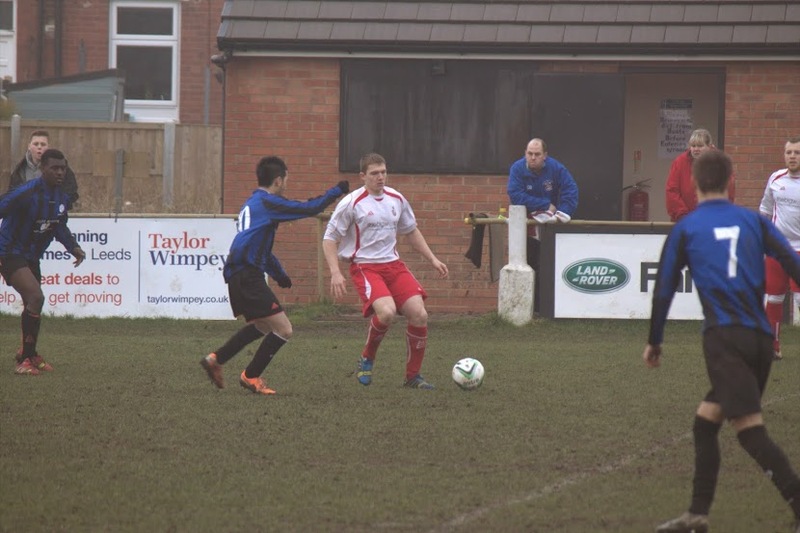 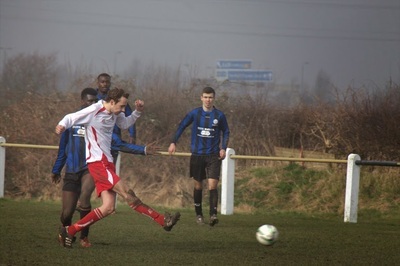 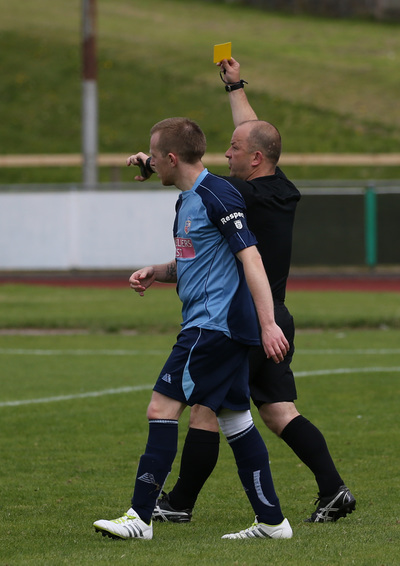 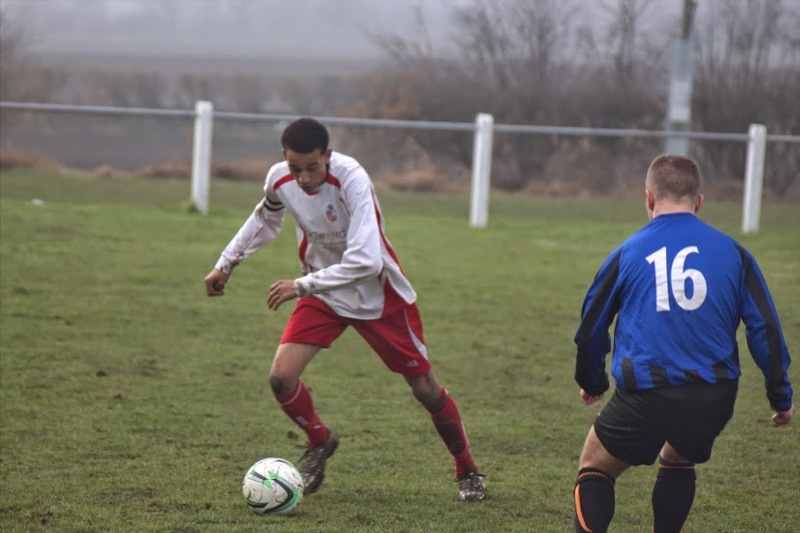 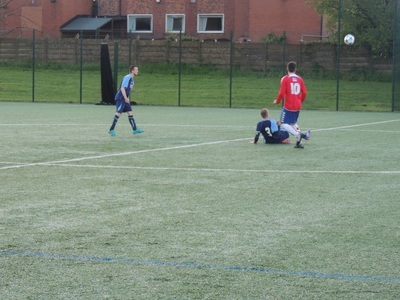 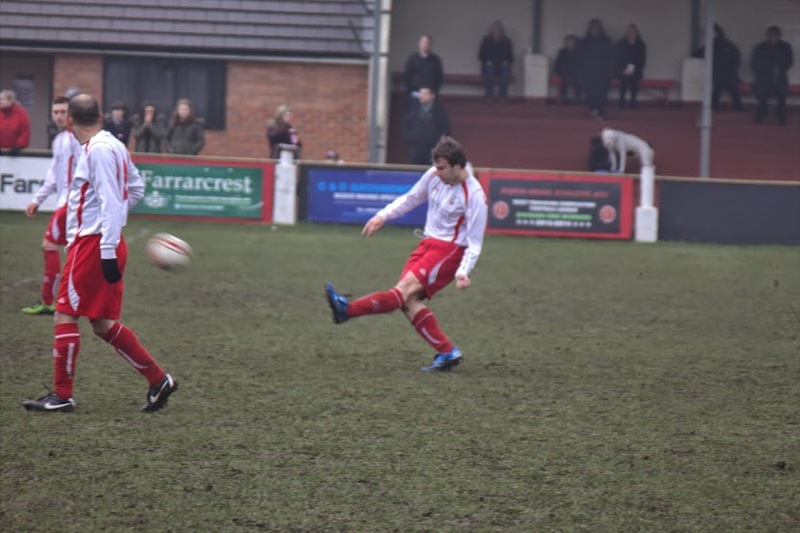 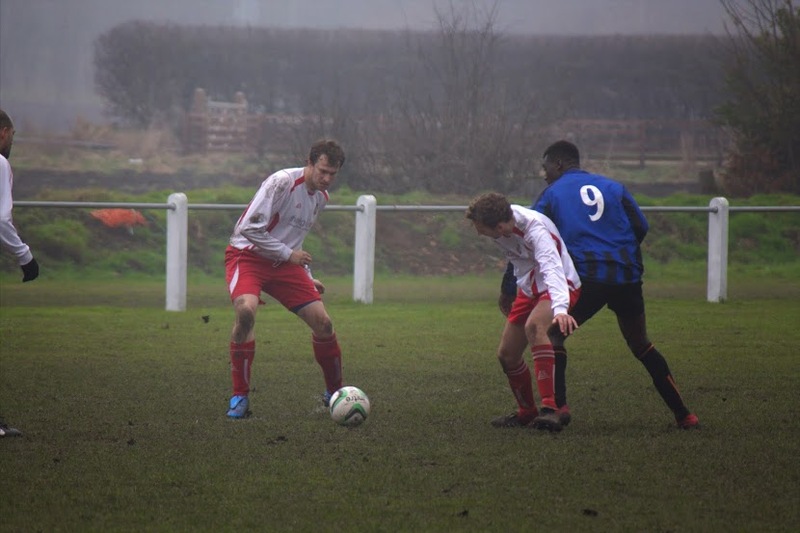 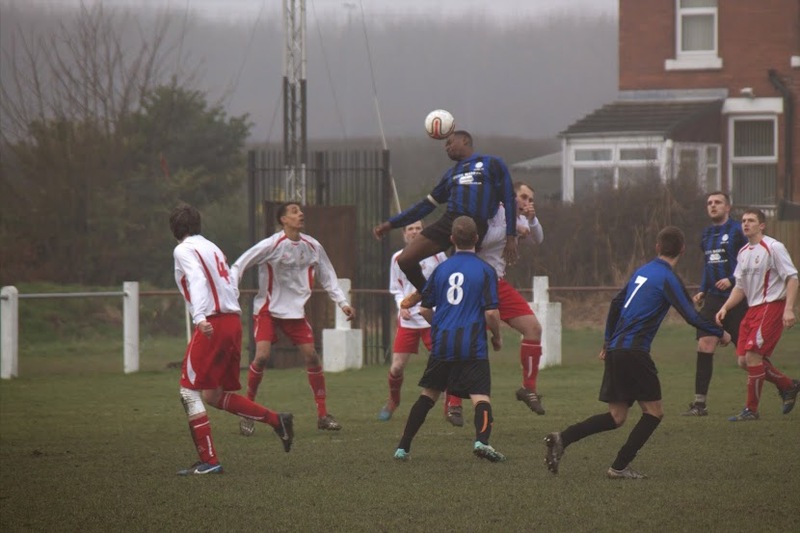 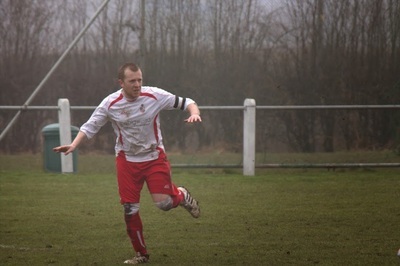 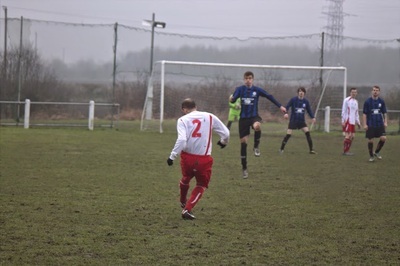 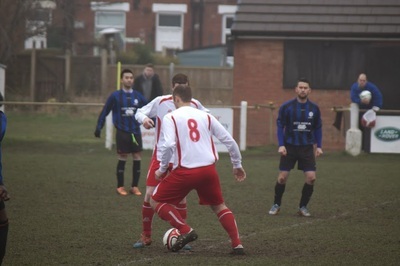 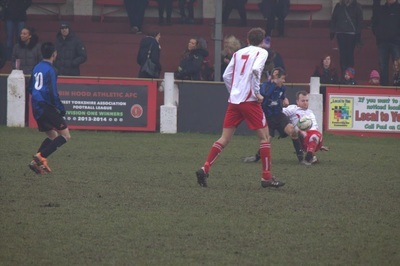 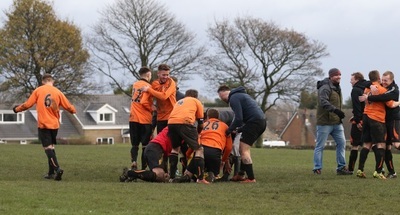 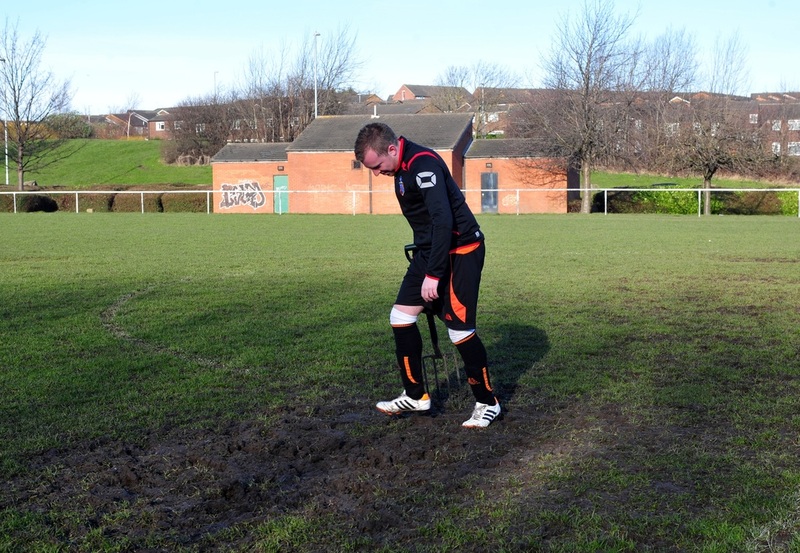 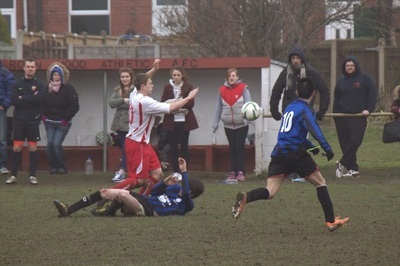 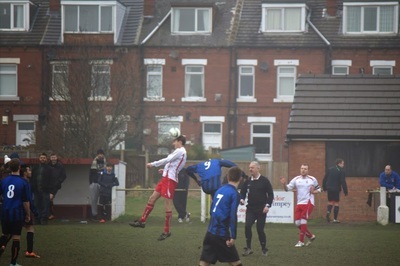 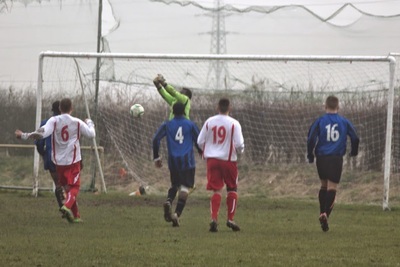 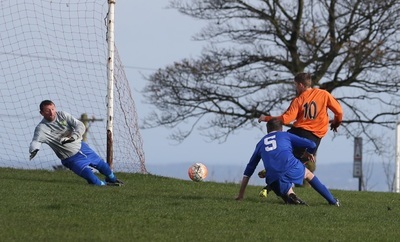 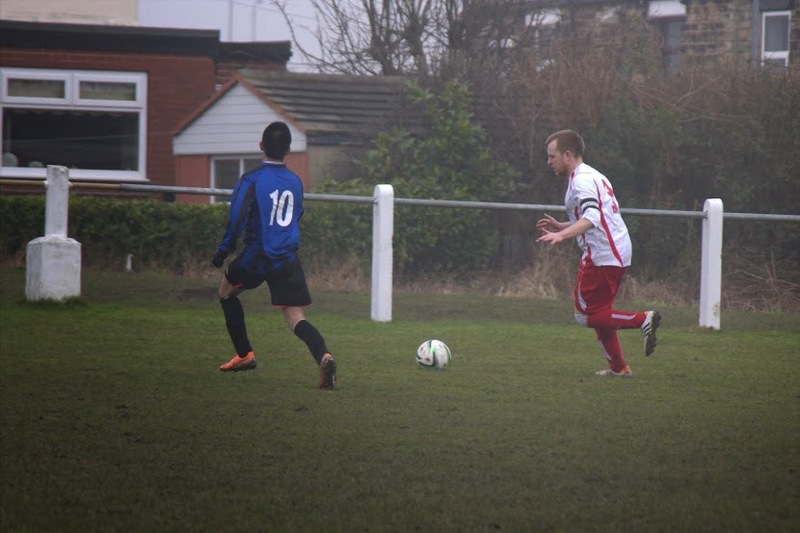 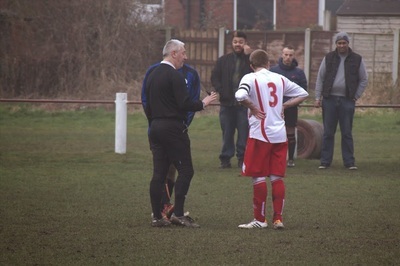 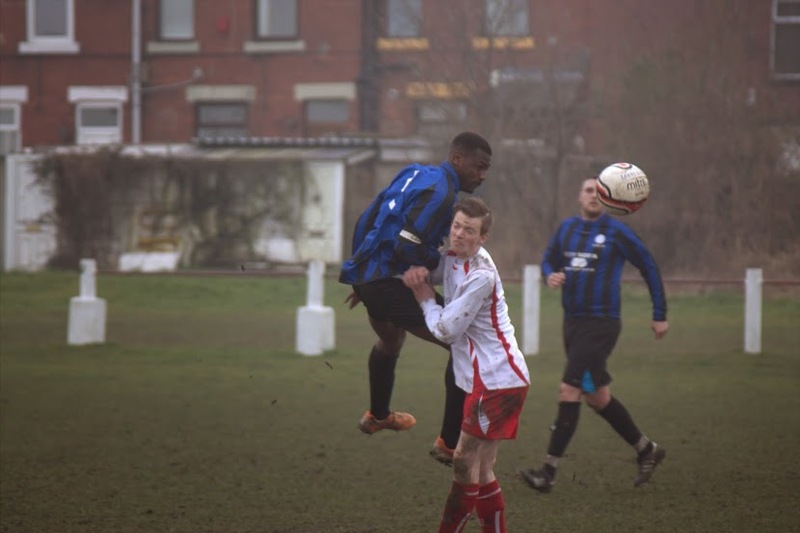 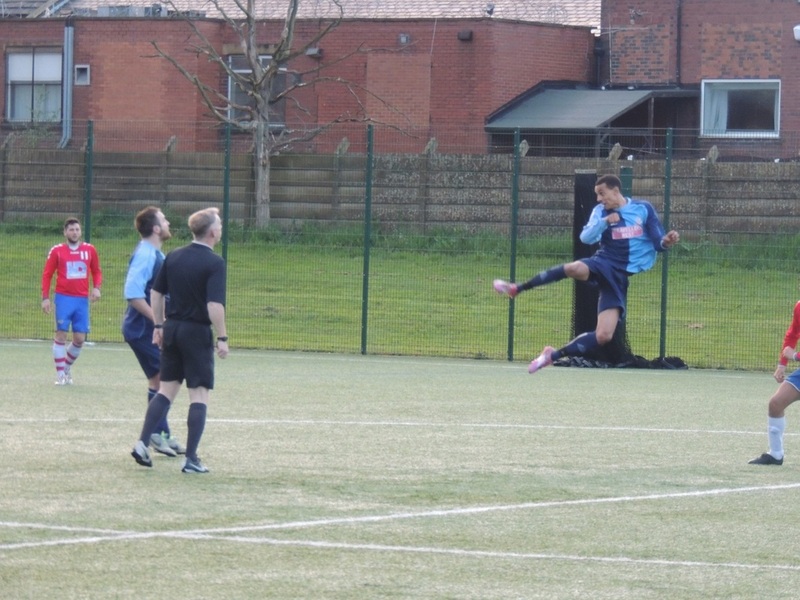 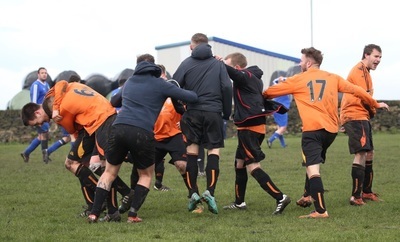 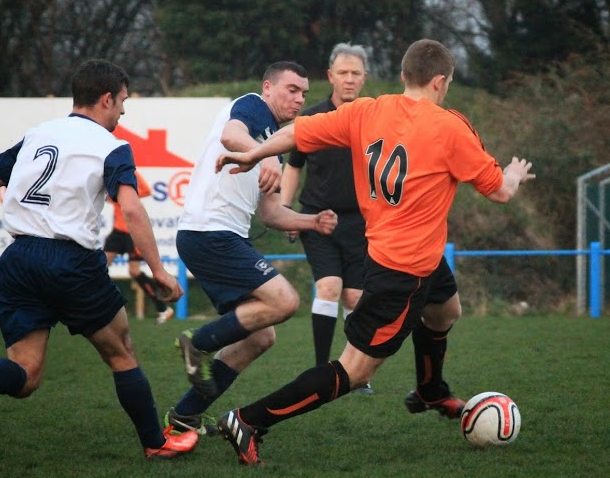 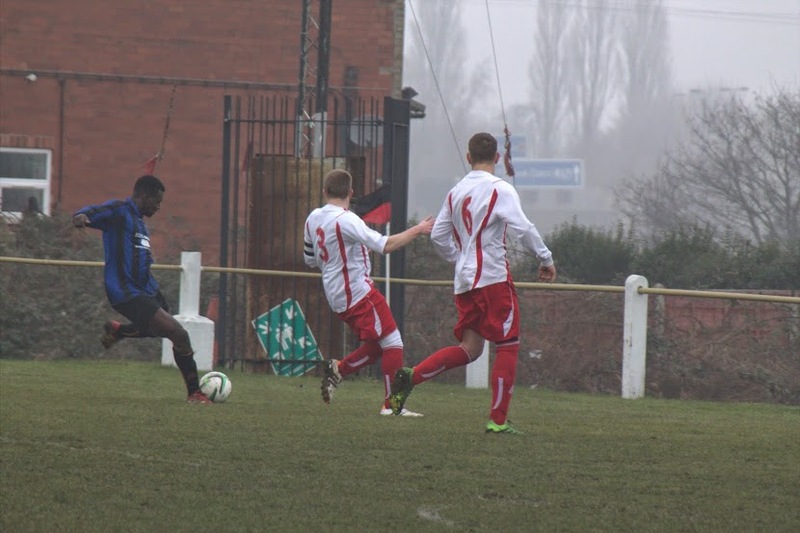 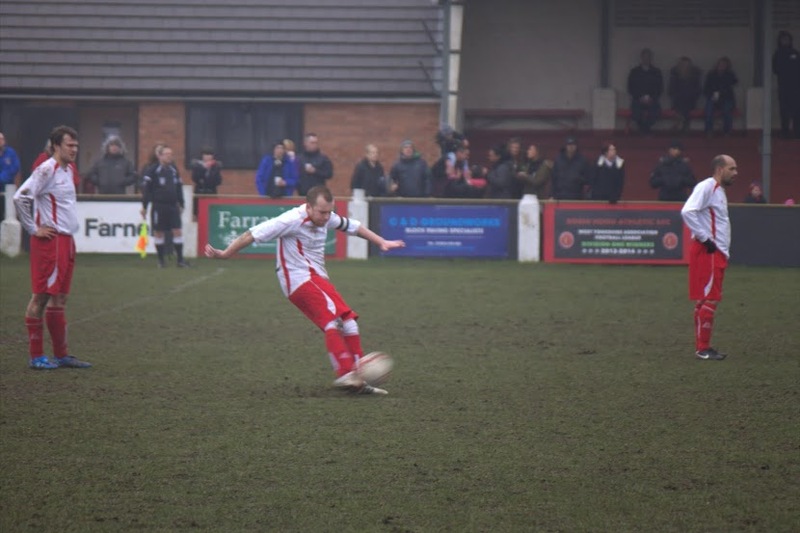 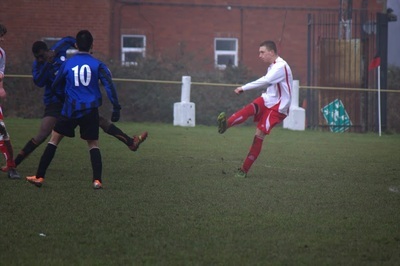 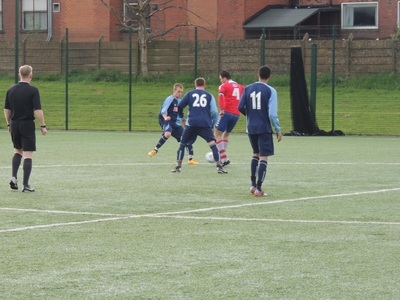 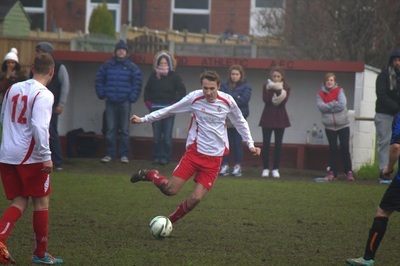 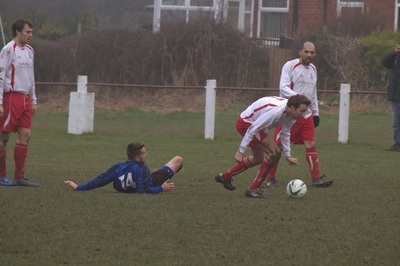 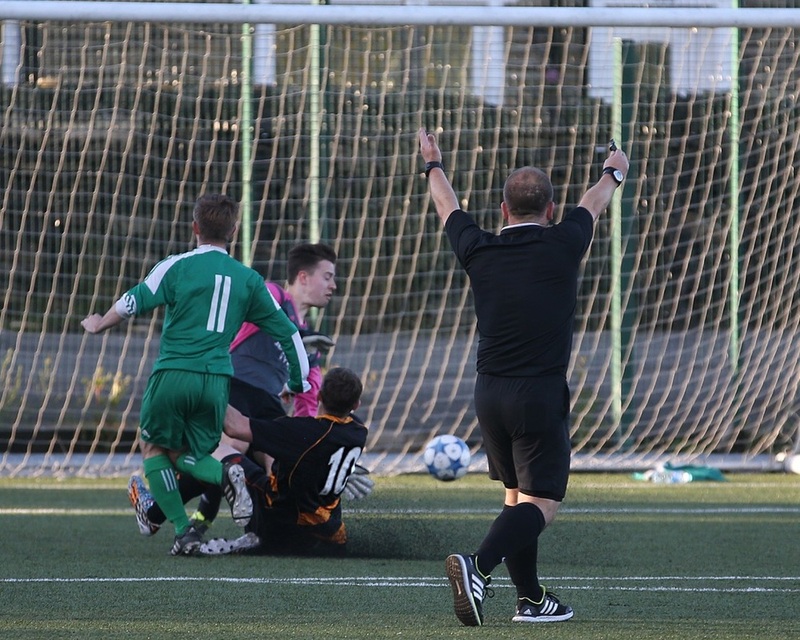 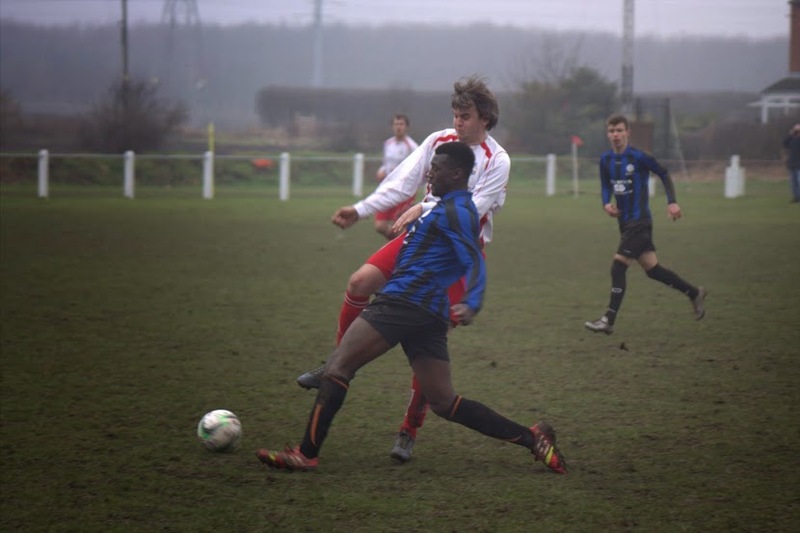 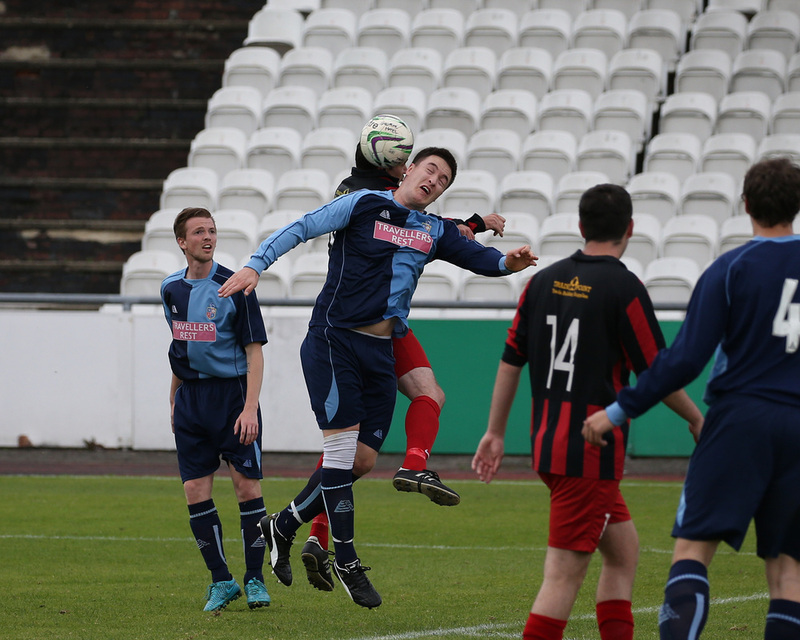 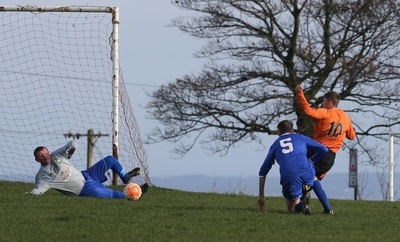 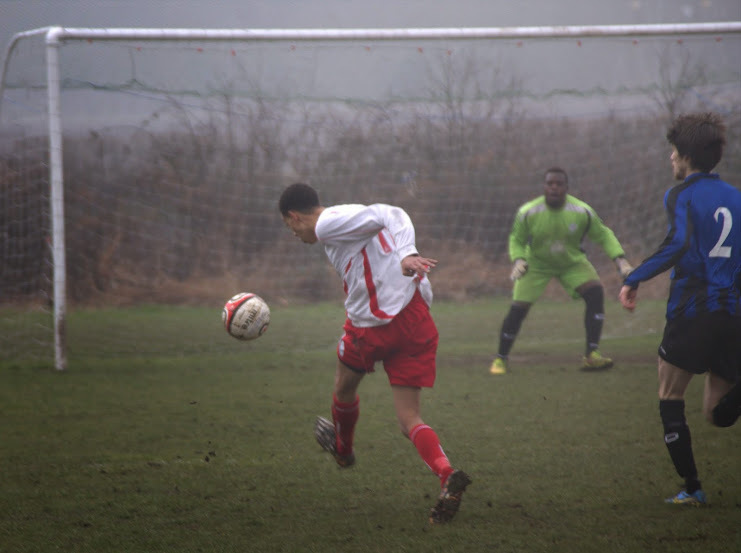 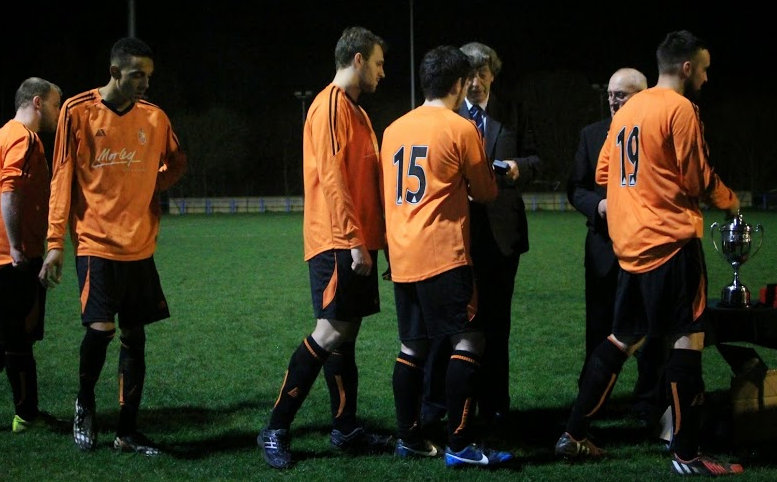 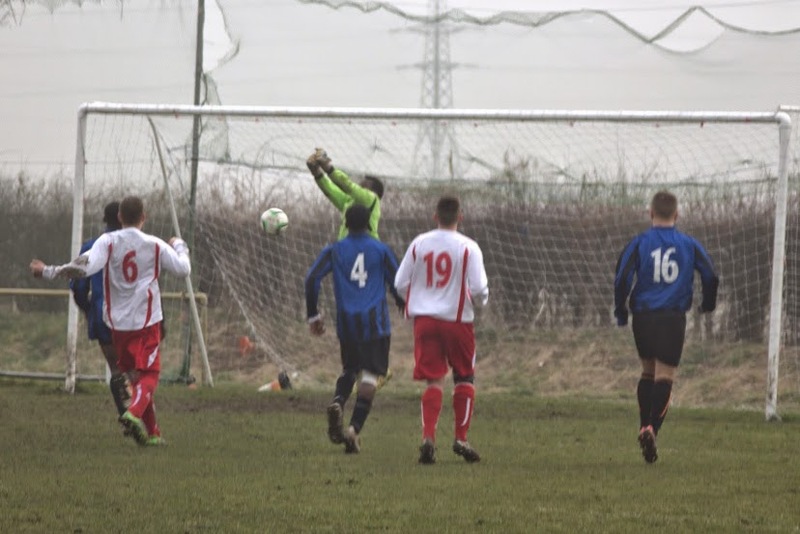 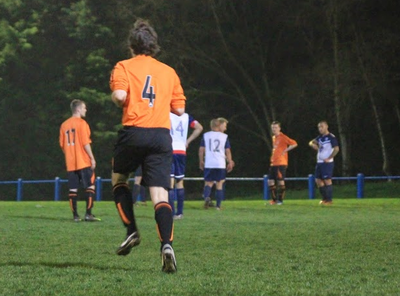 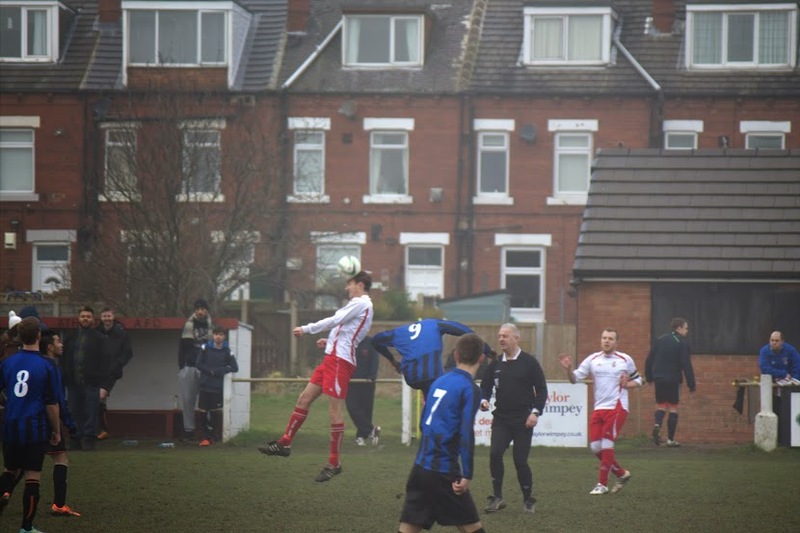 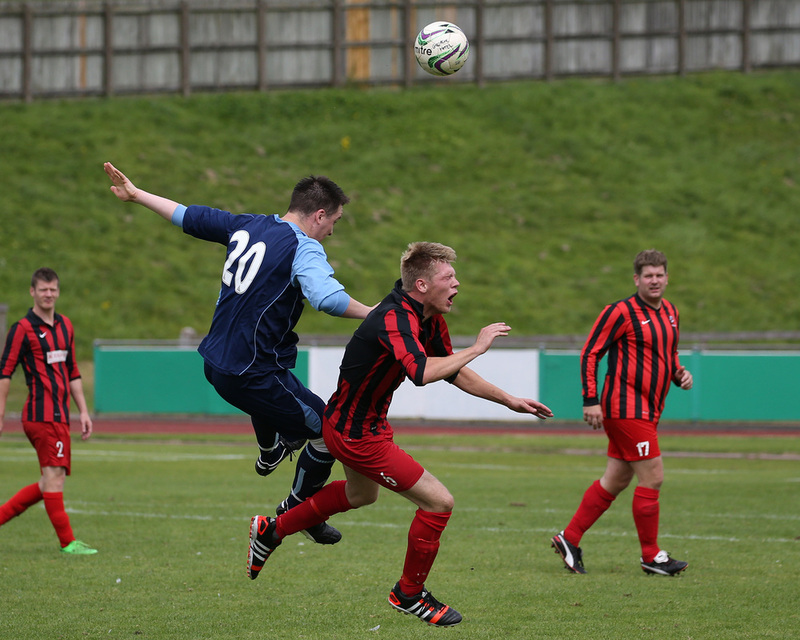 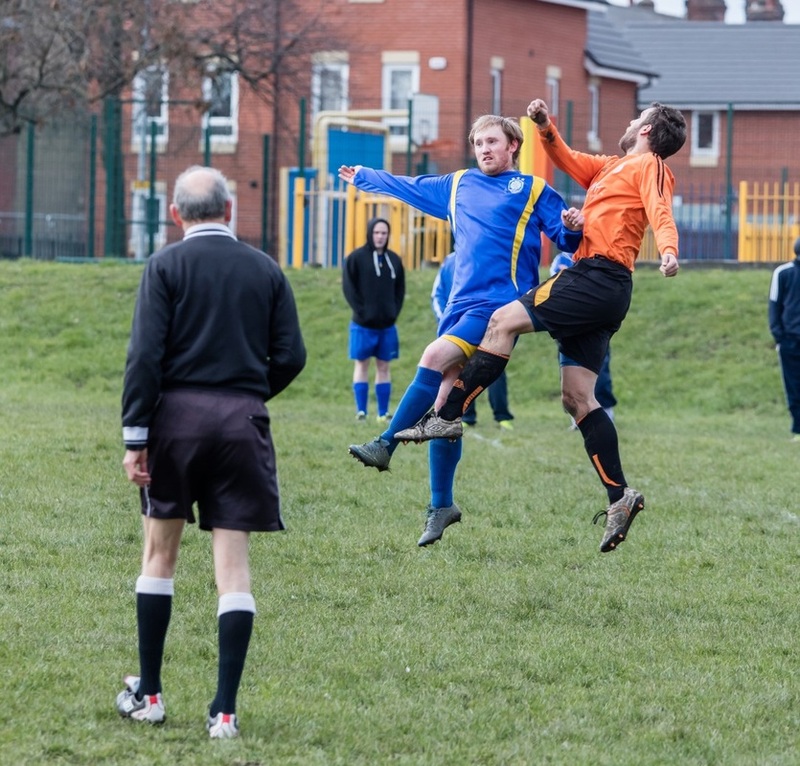 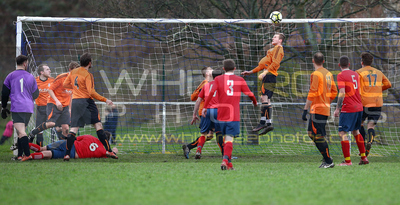 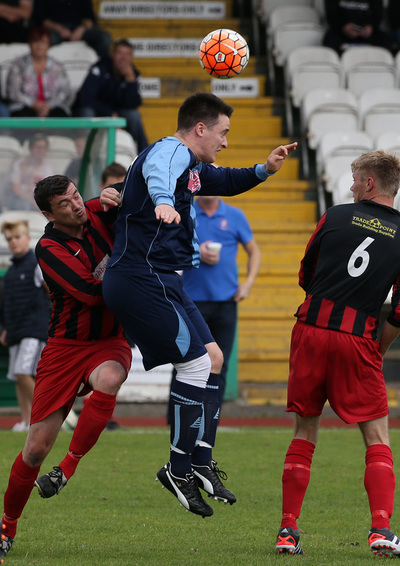 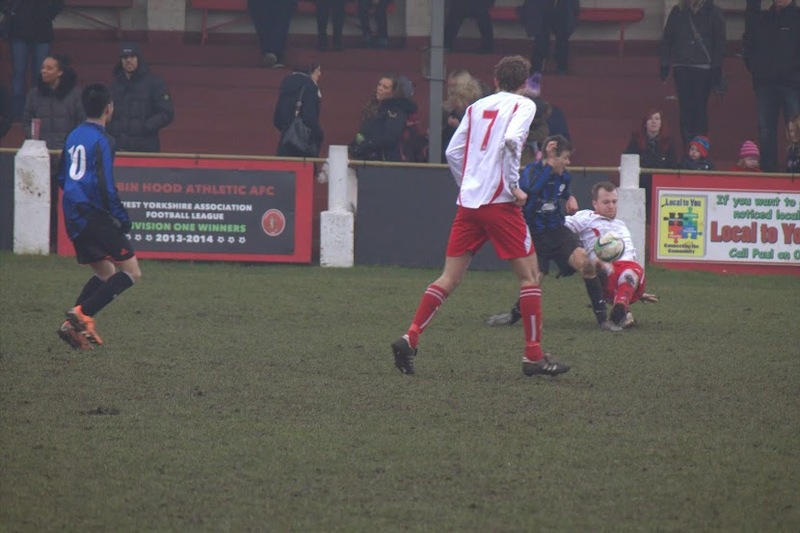 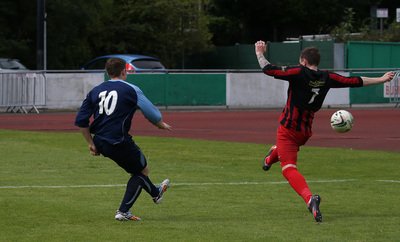 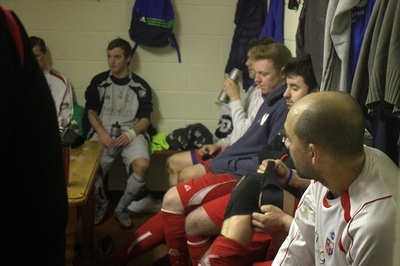 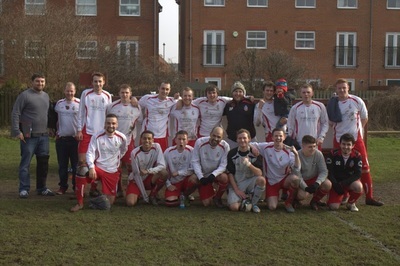 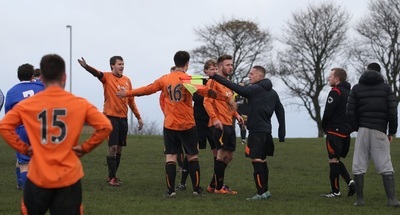 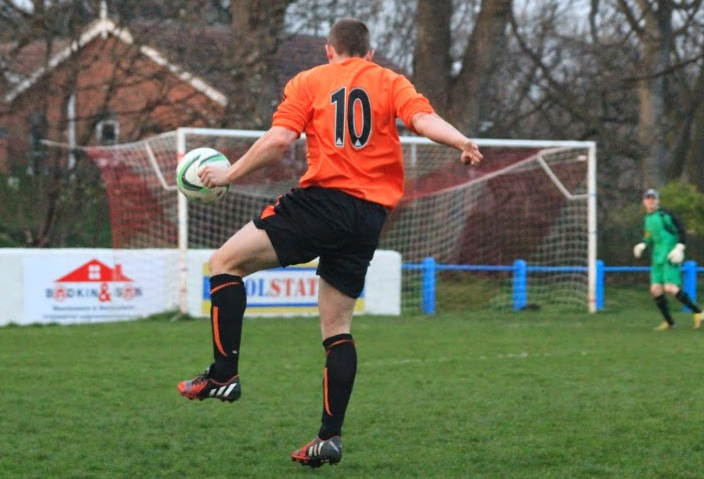 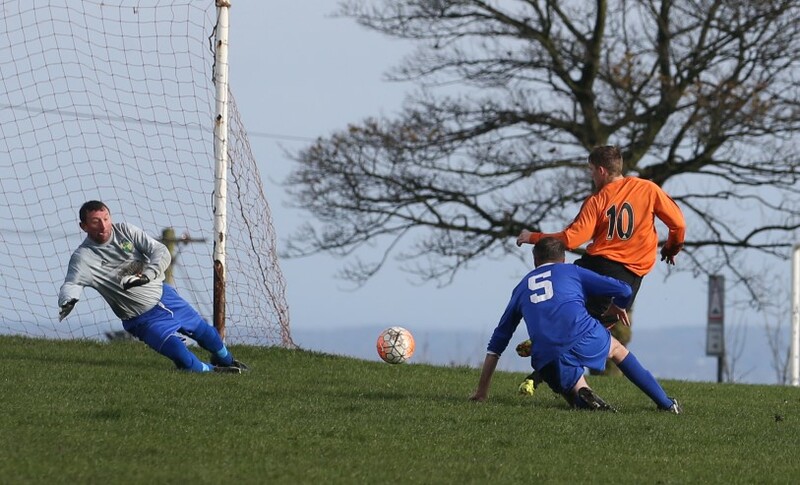 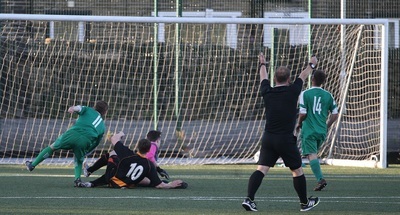 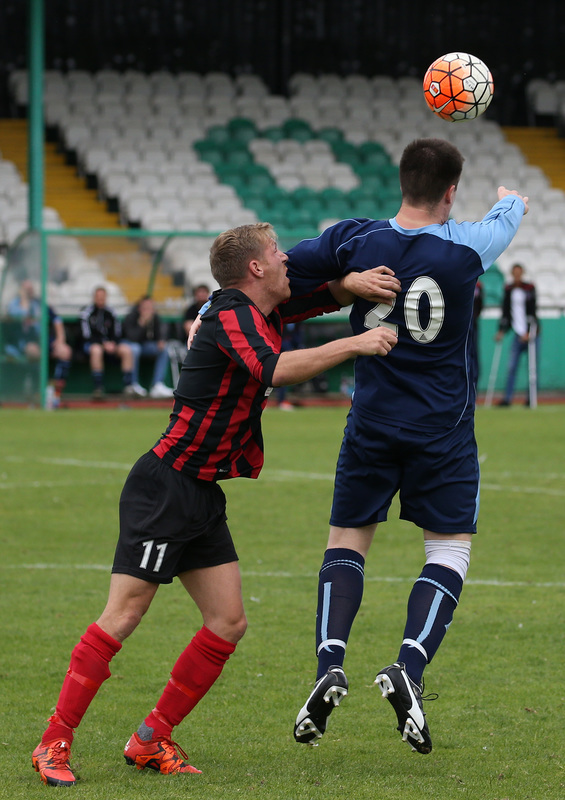 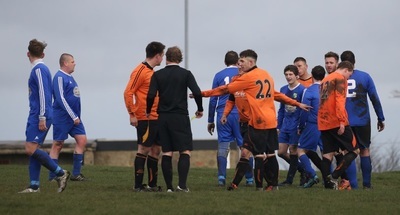 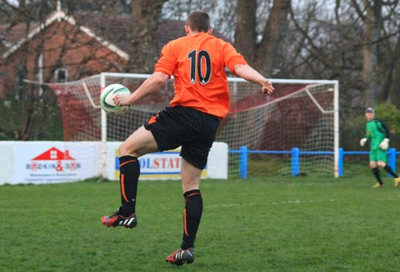 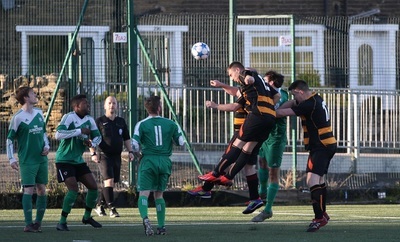 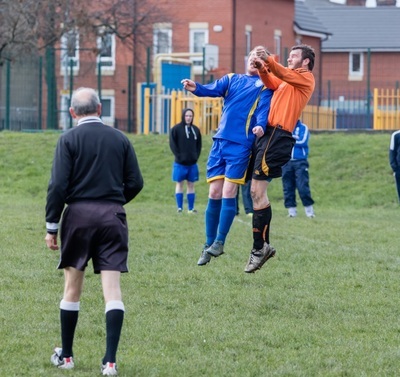 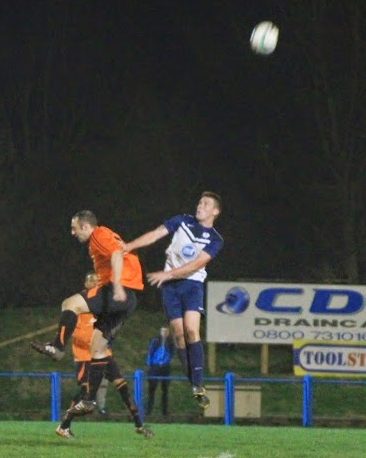 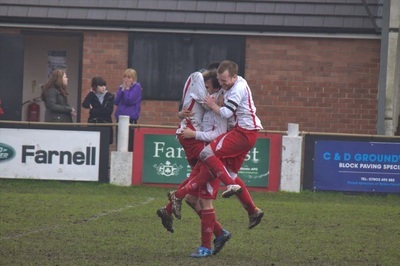 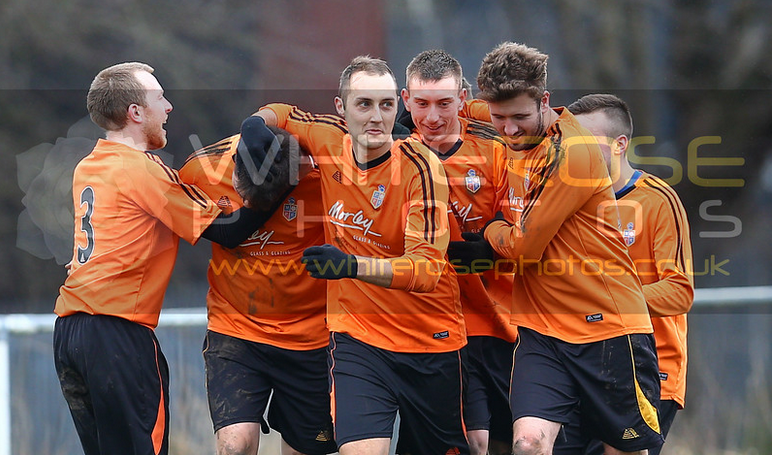 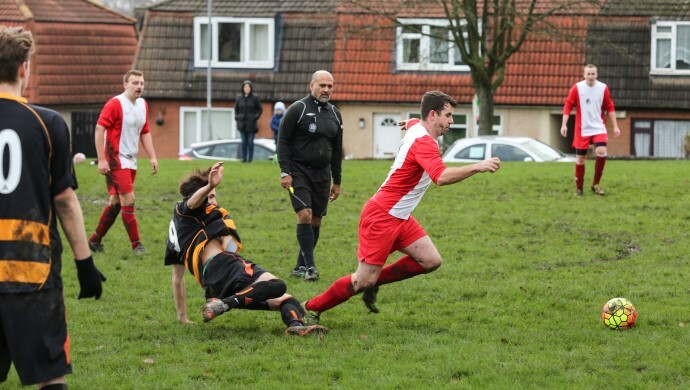 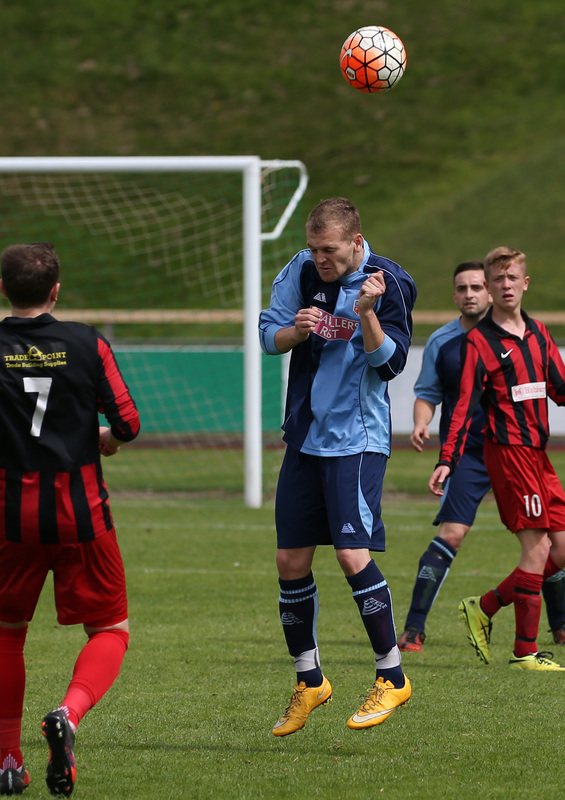 Thanks to Nigel Thornton for photographing Millshaw's Leeds FA District Cup quarter-final win over Commercial HQ. 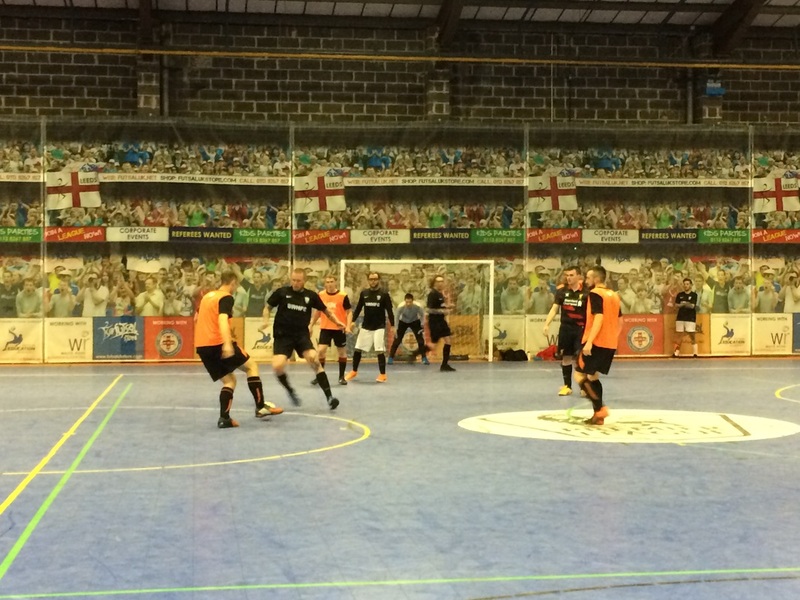 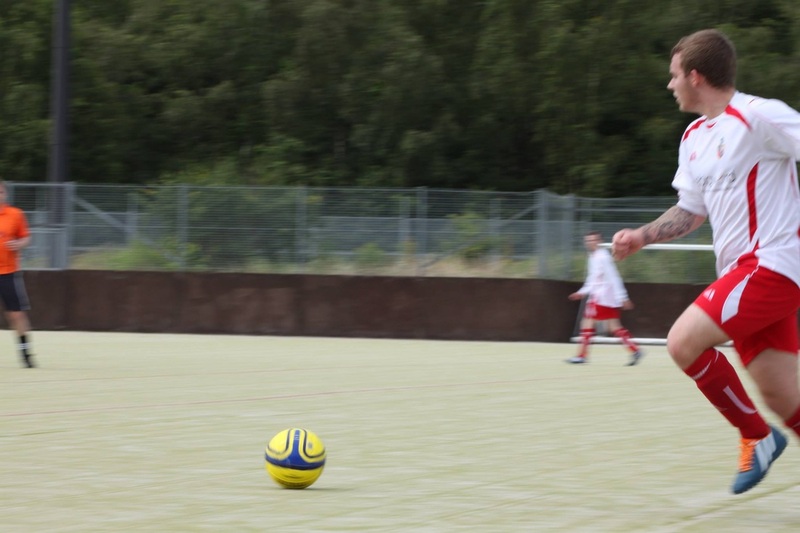 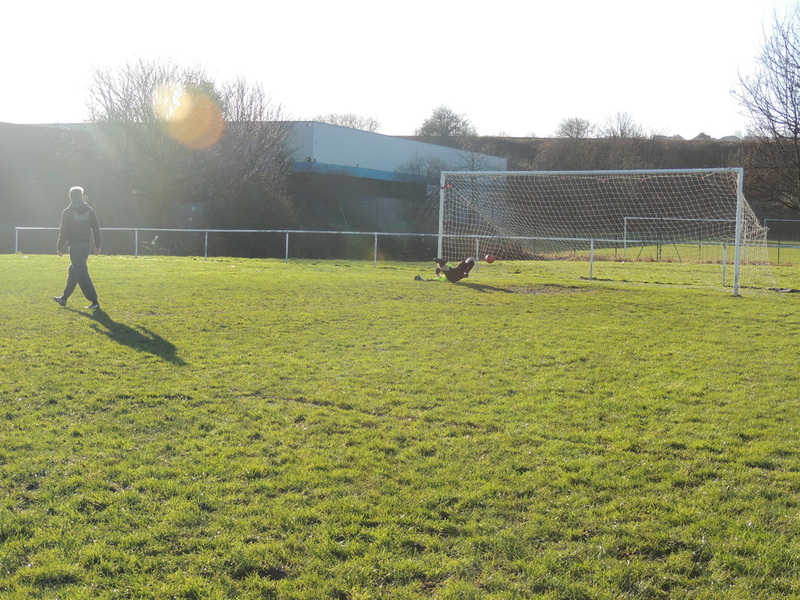 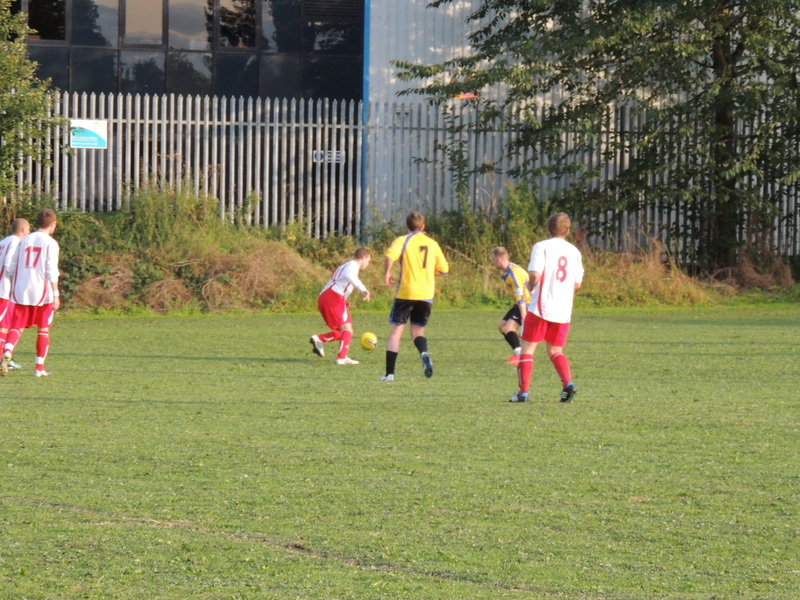 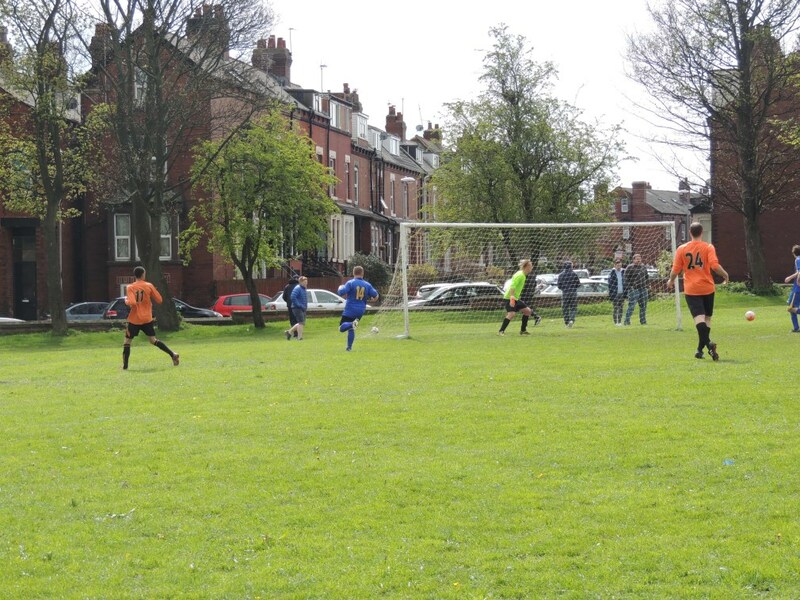 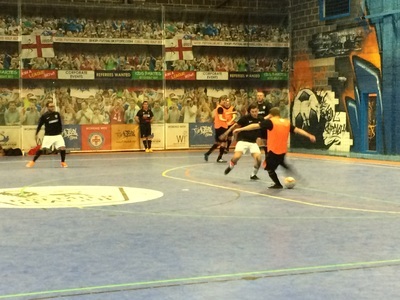 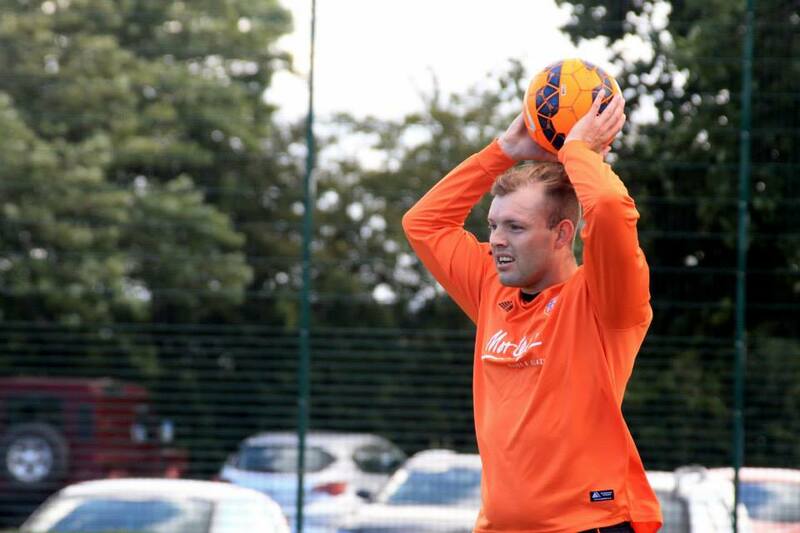 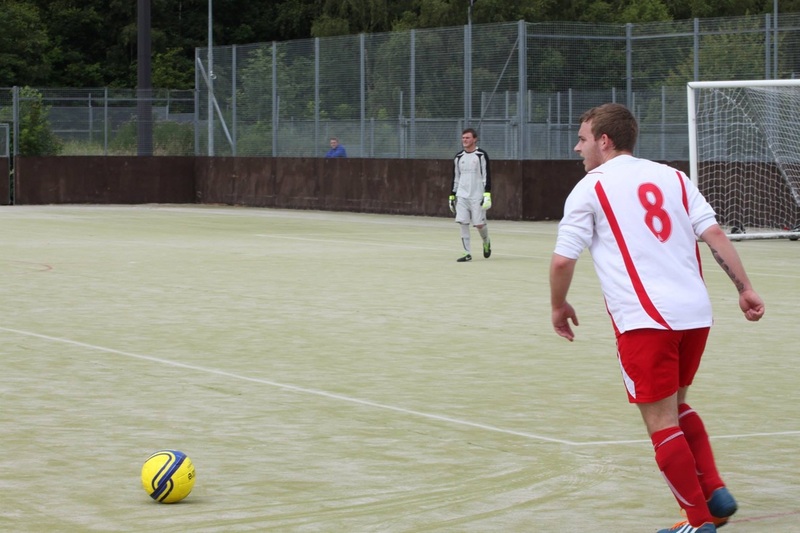 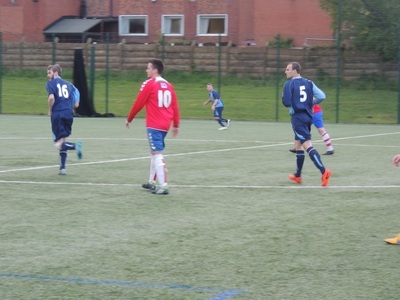 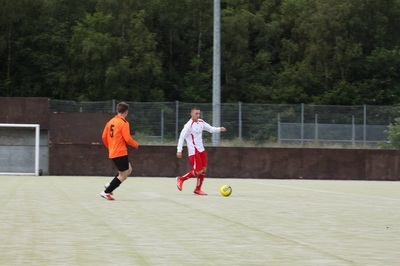 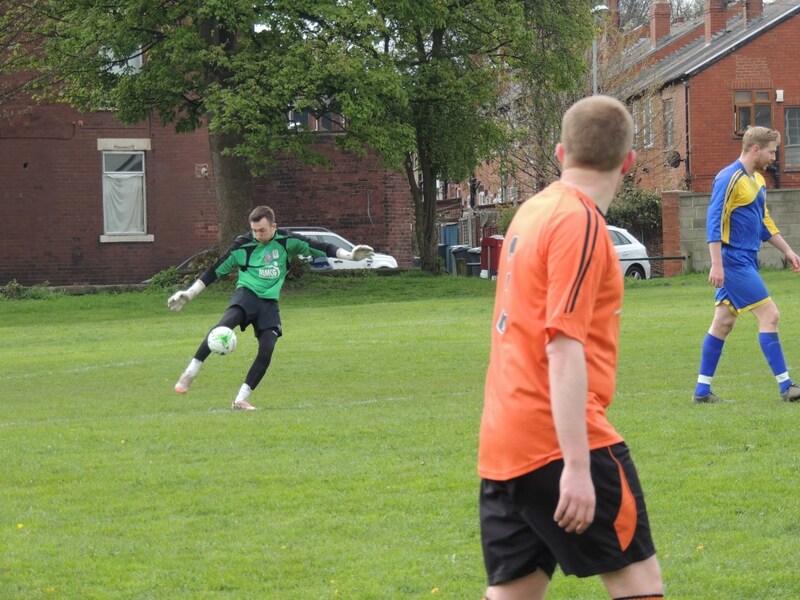 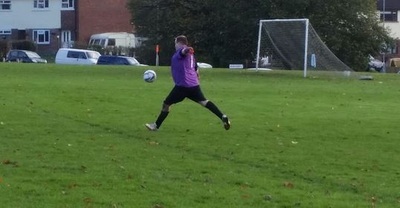 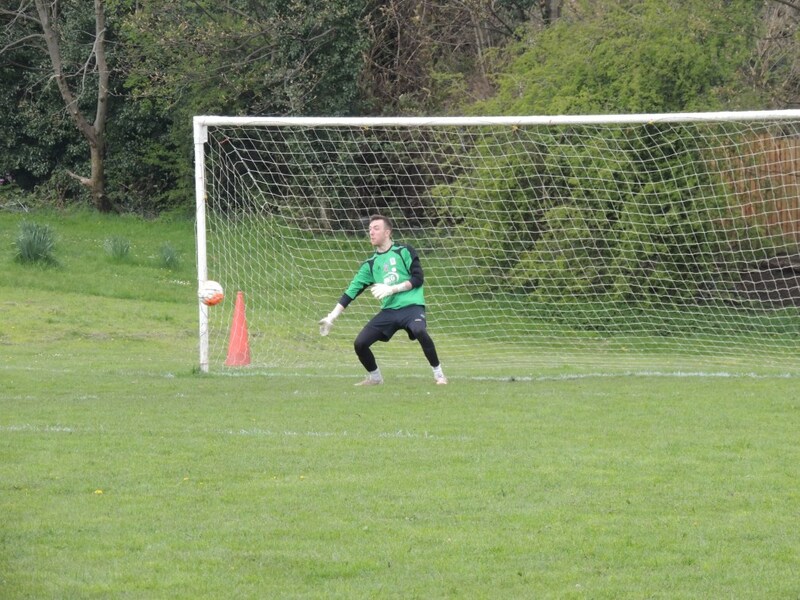 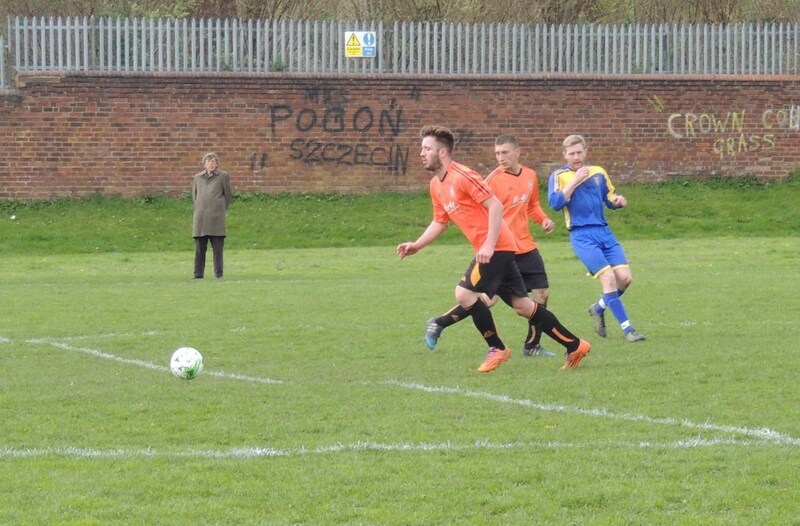 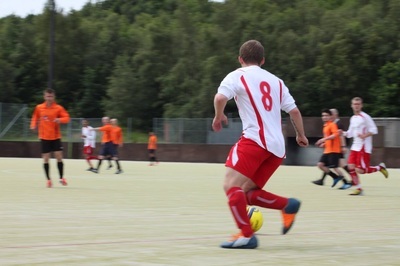 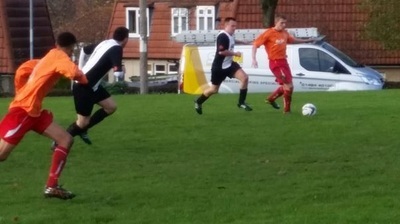 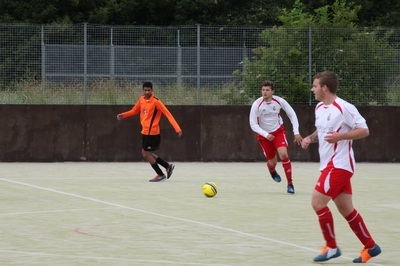 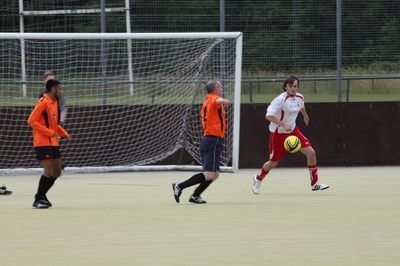 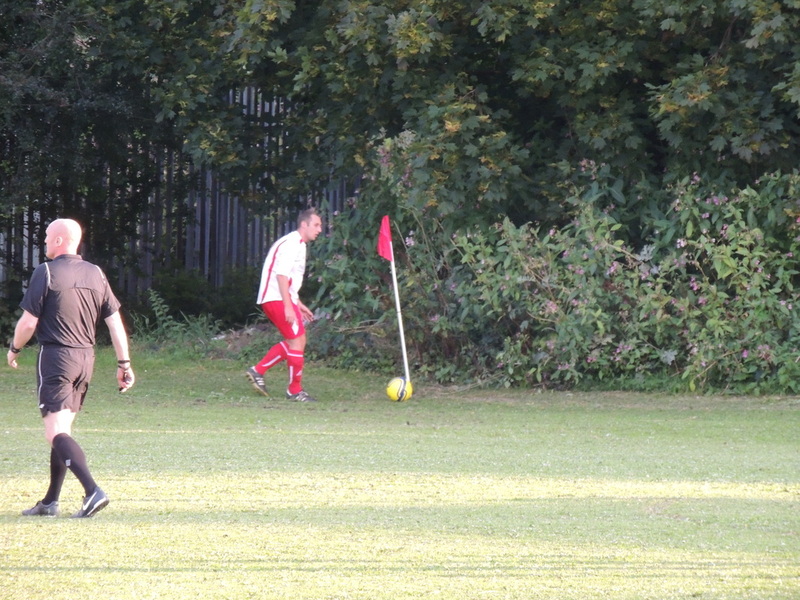 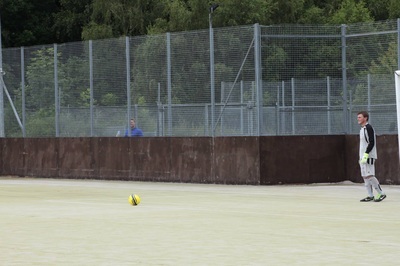 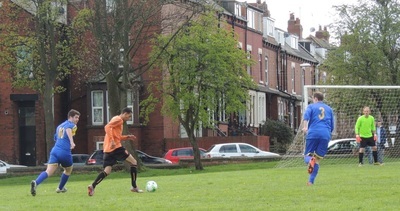 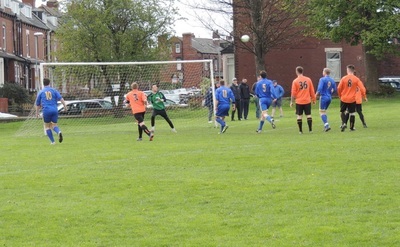 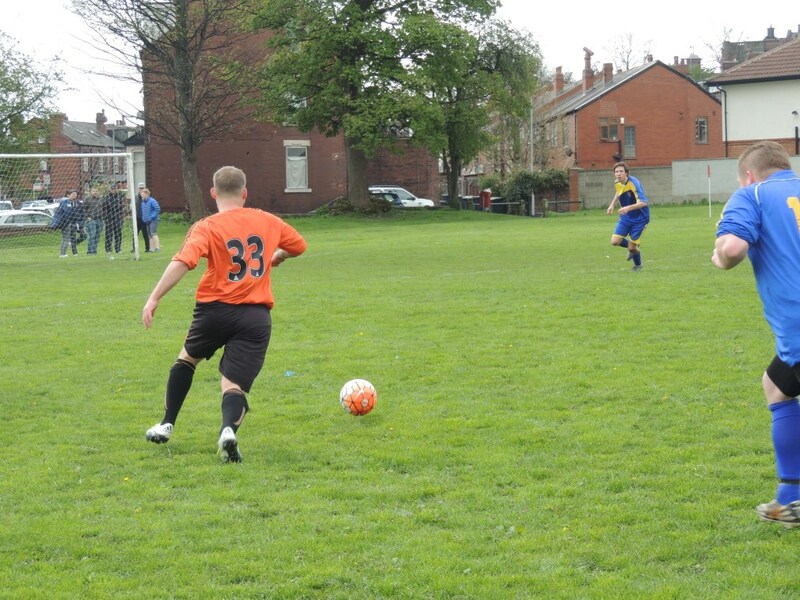 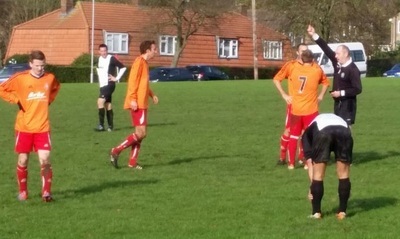 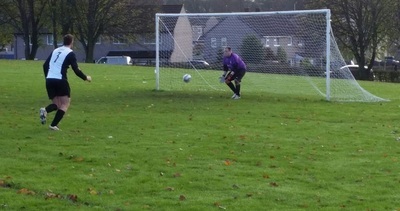 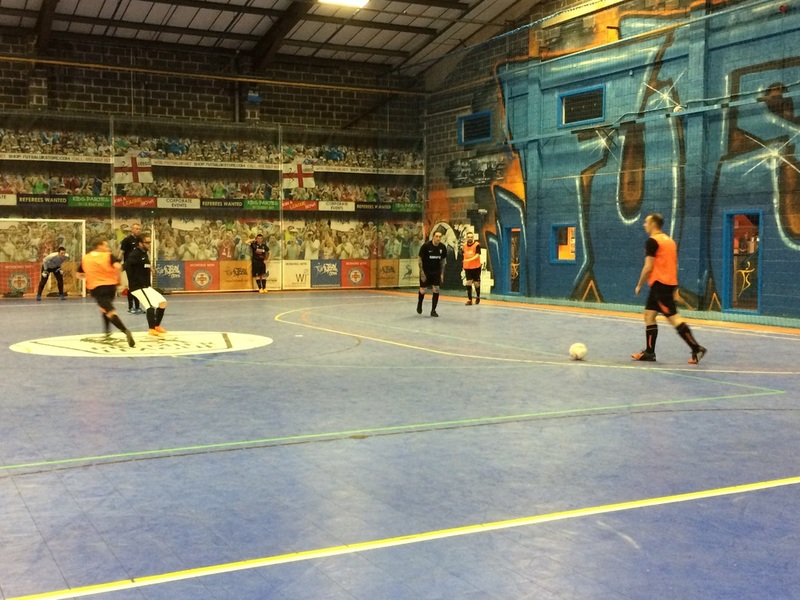 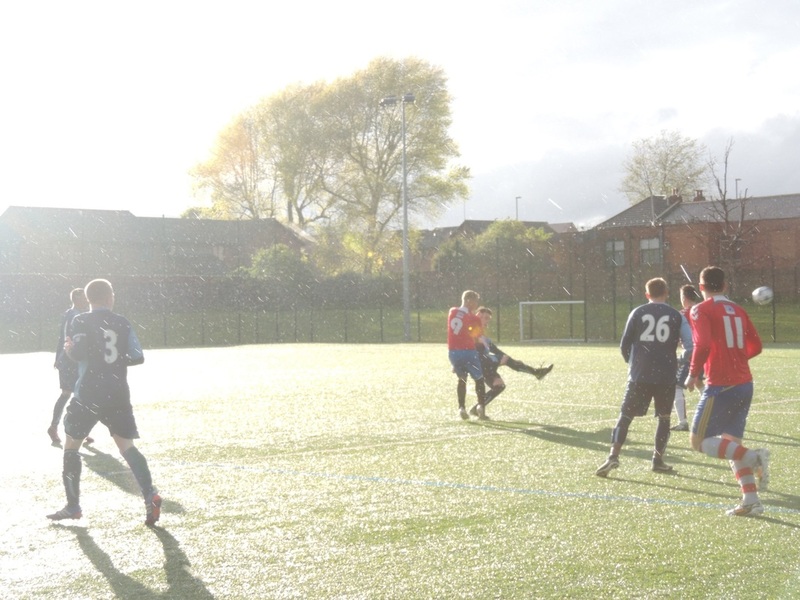 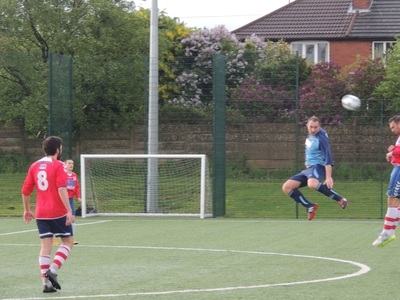 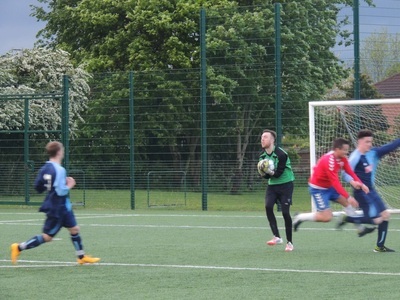 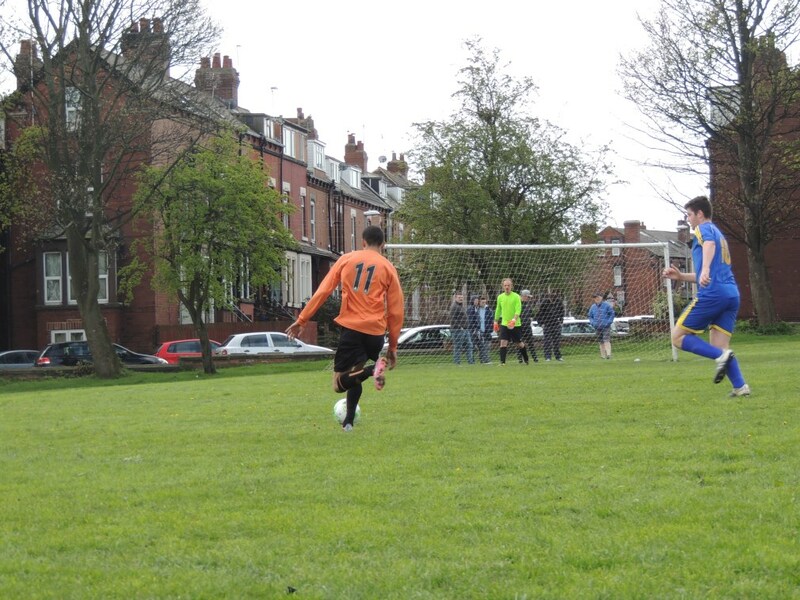 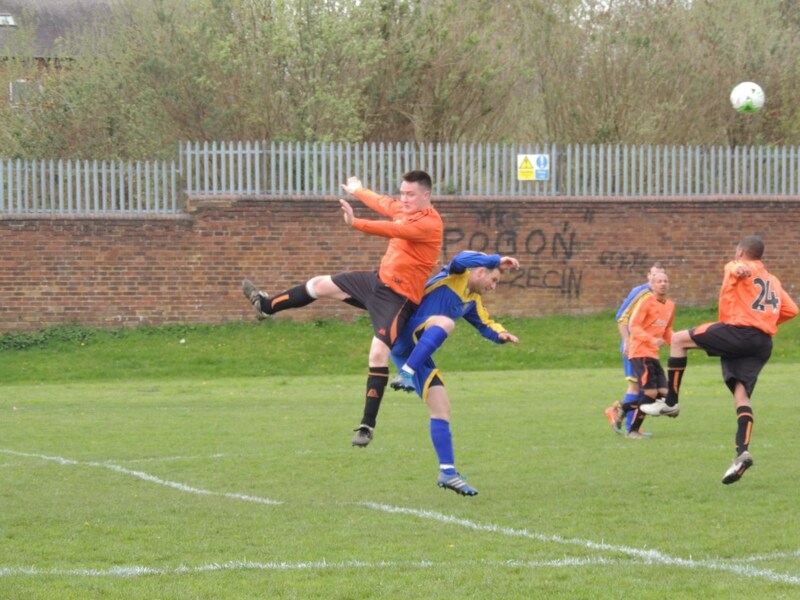 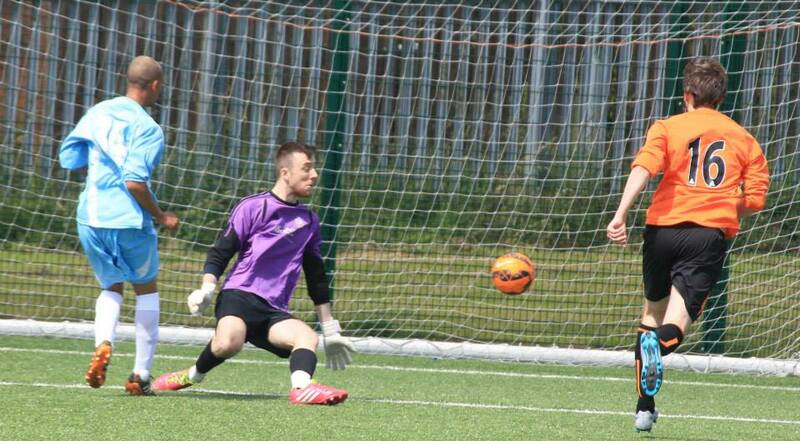 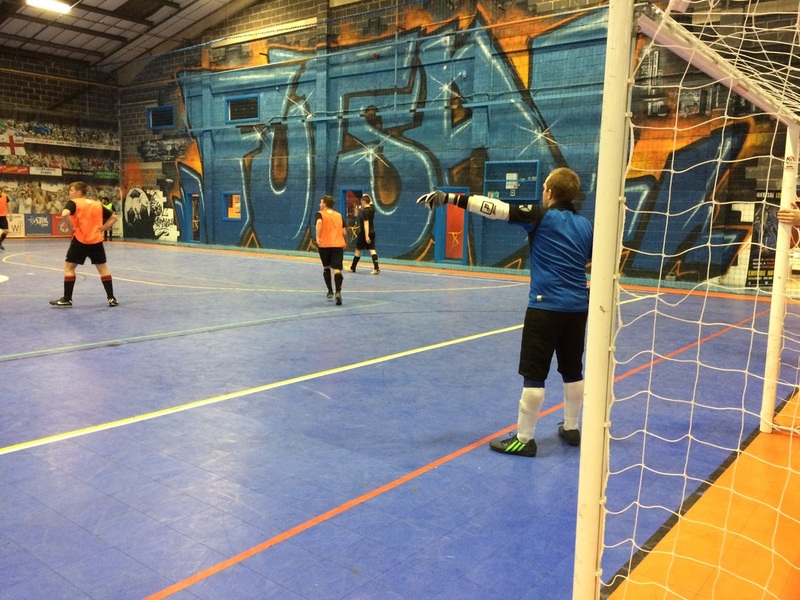 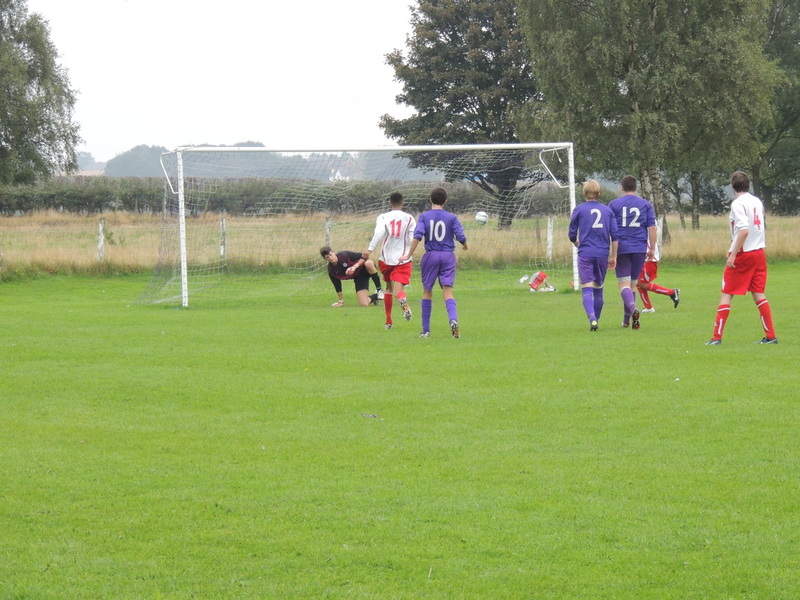 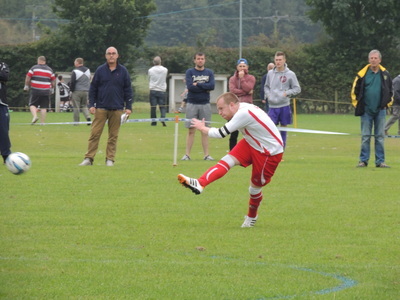 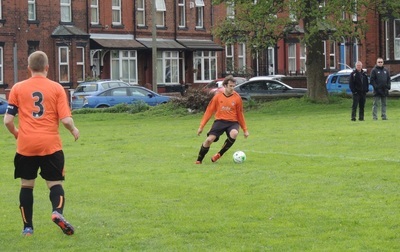 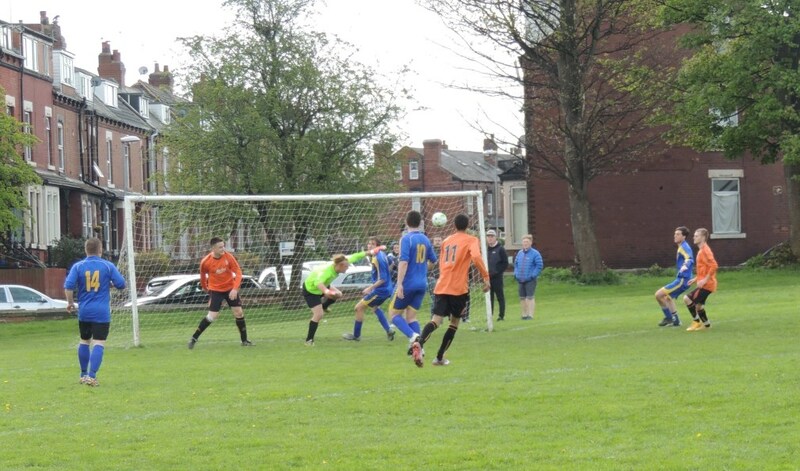 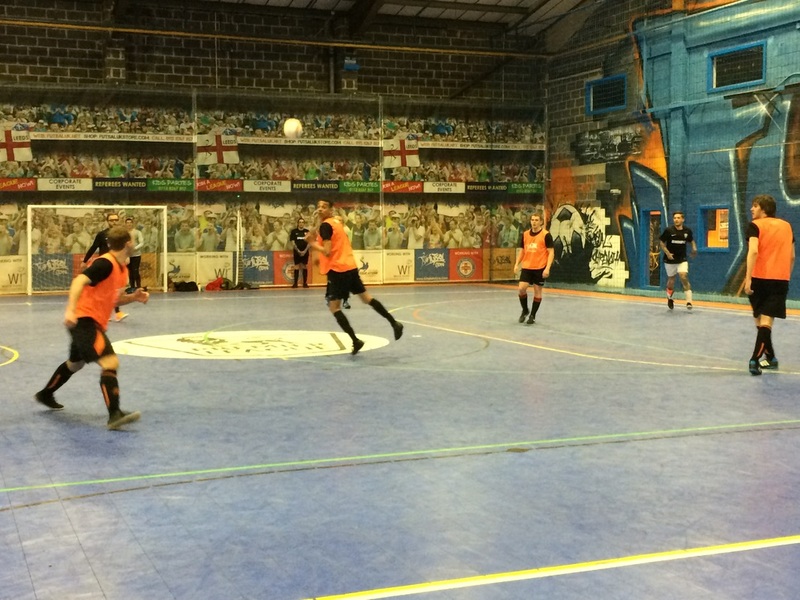 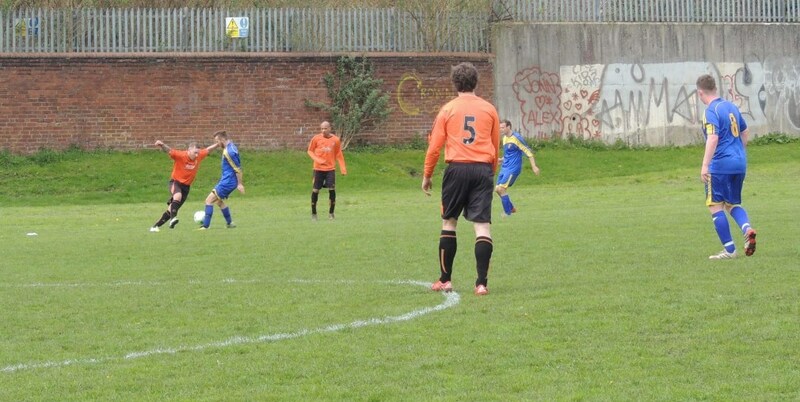 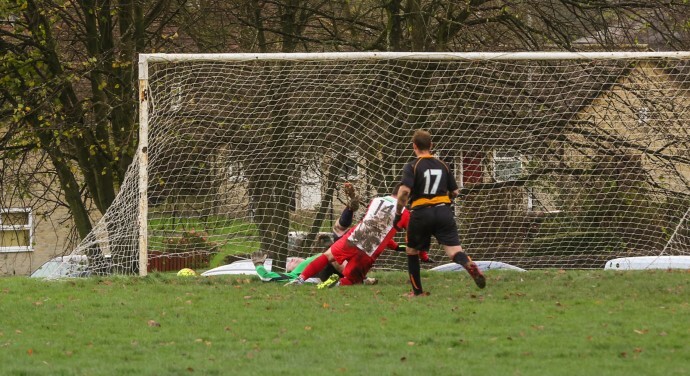 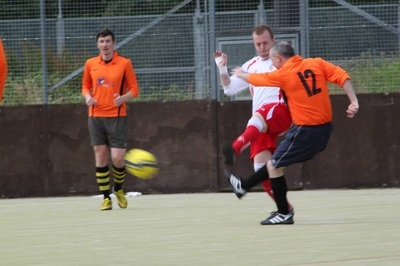 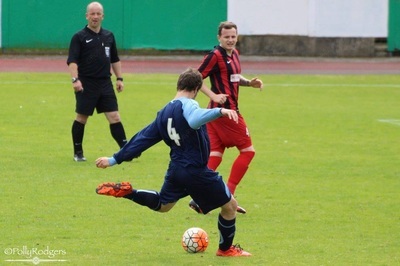 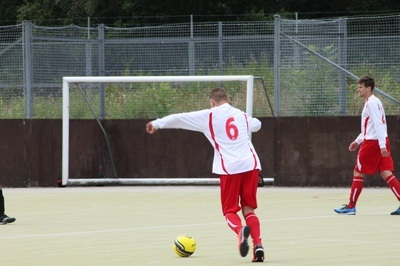 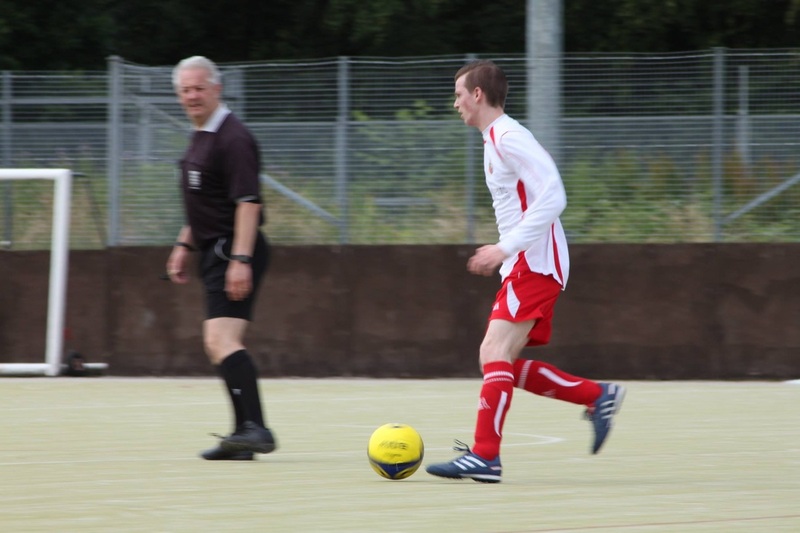 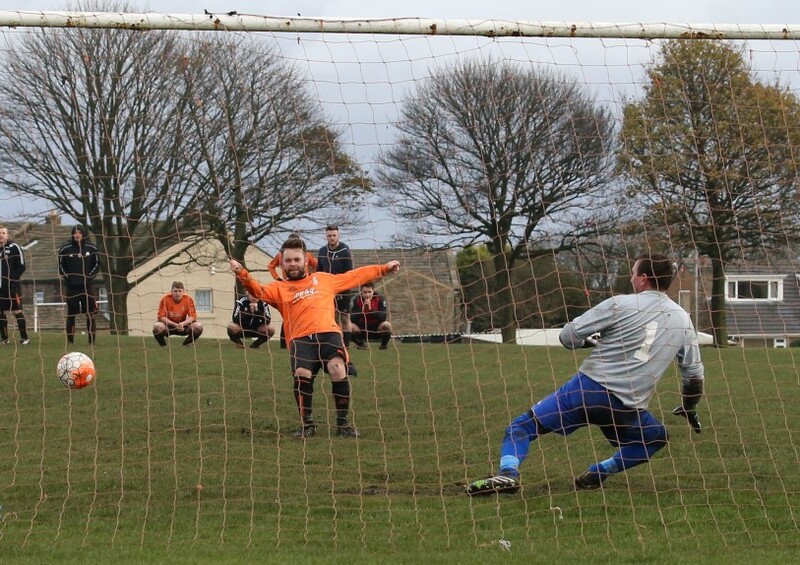 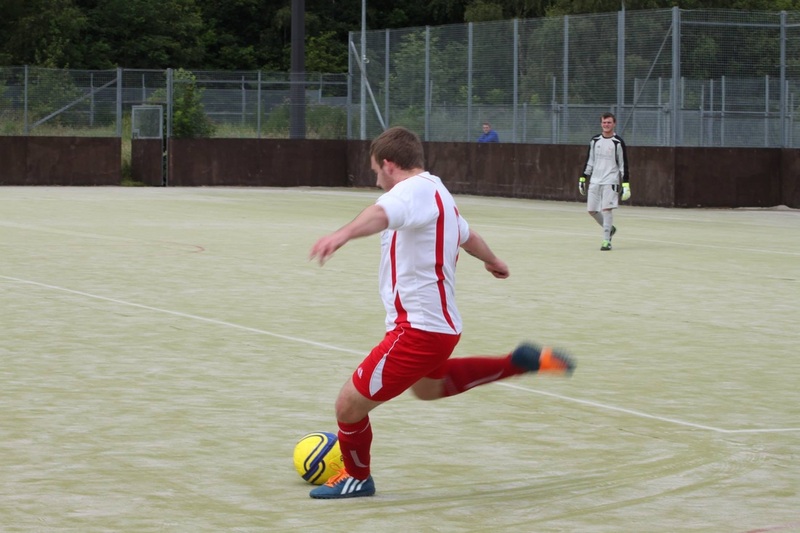 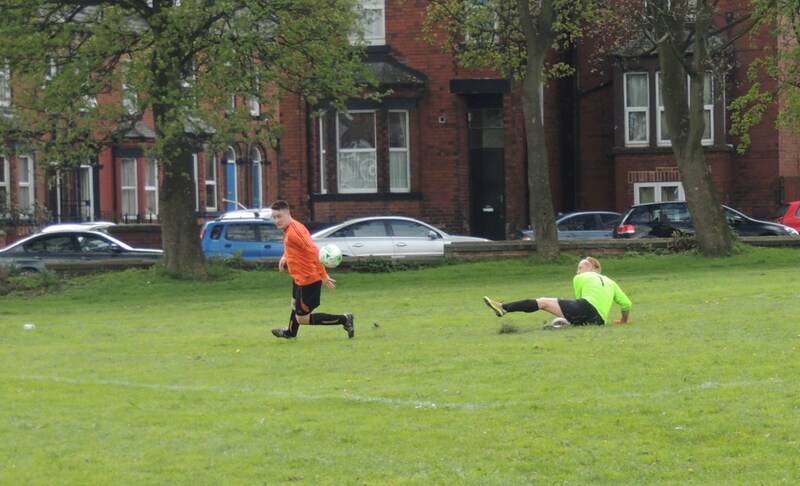 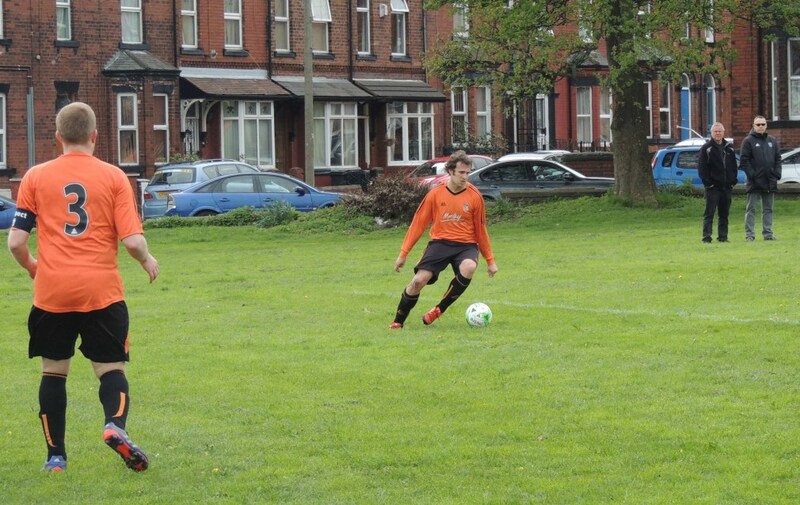 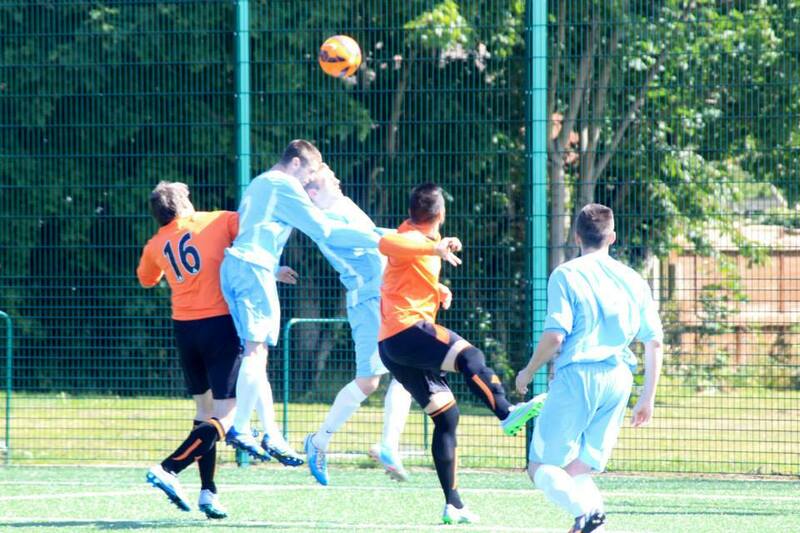 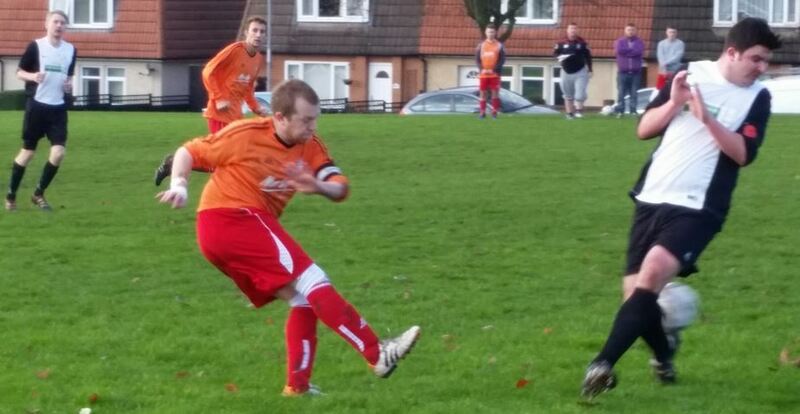 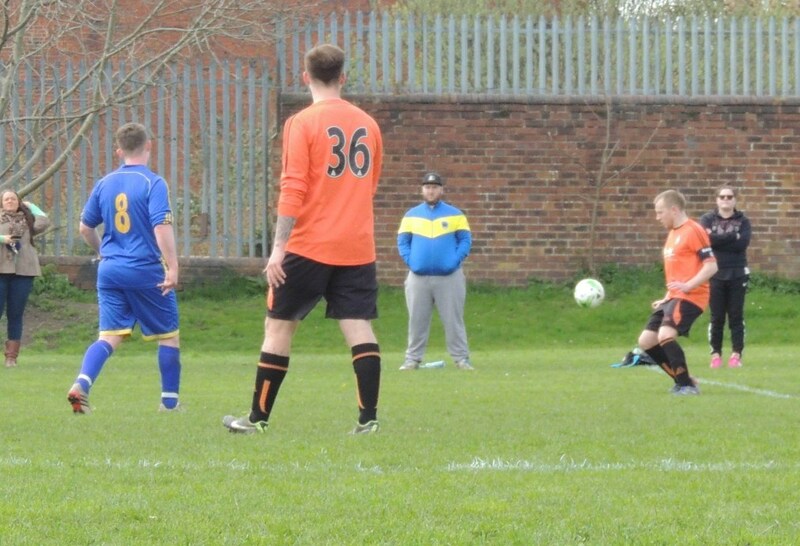 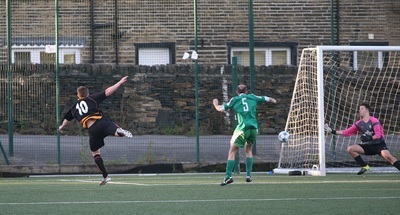 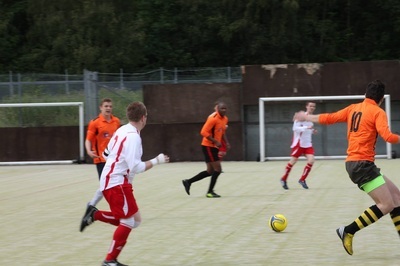 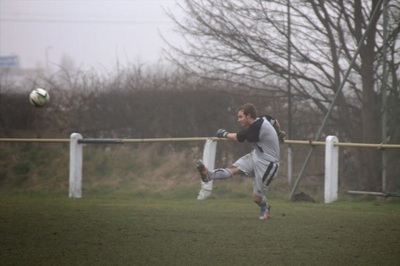 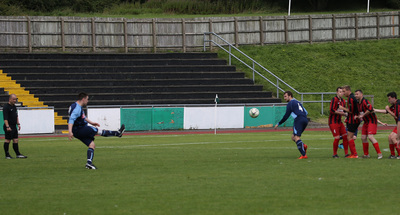 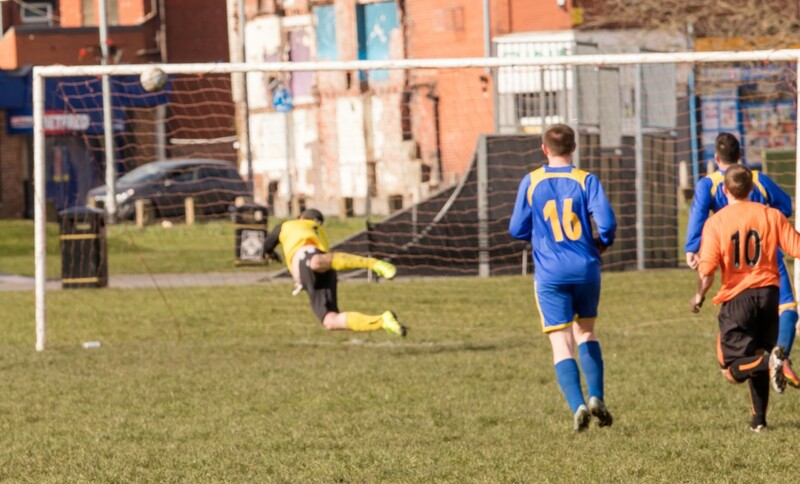 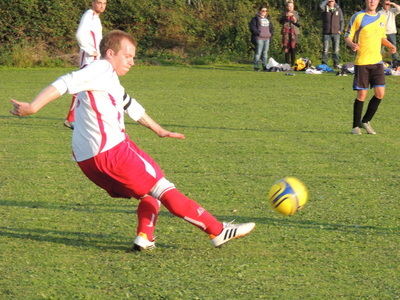 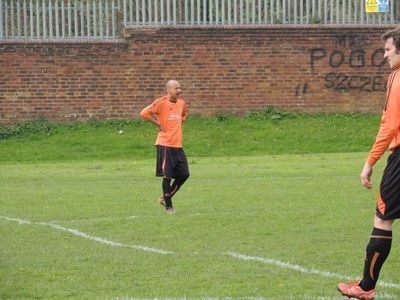 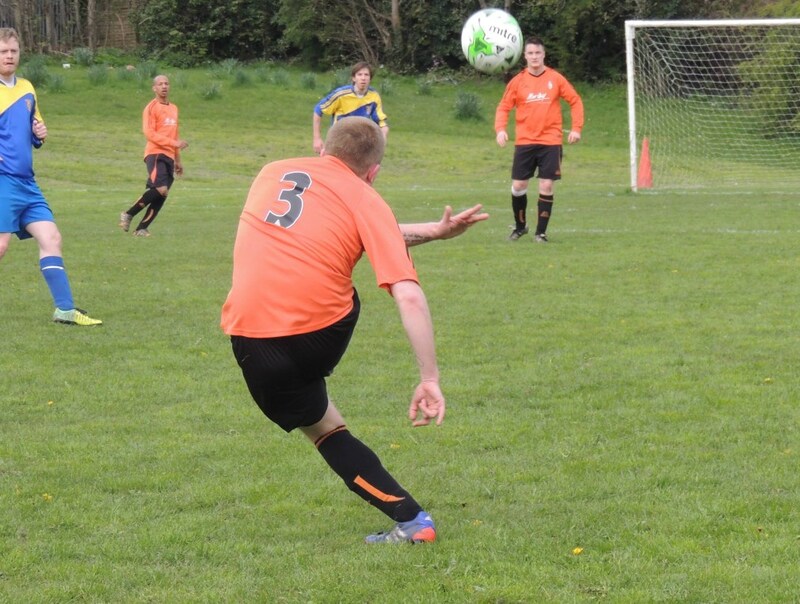 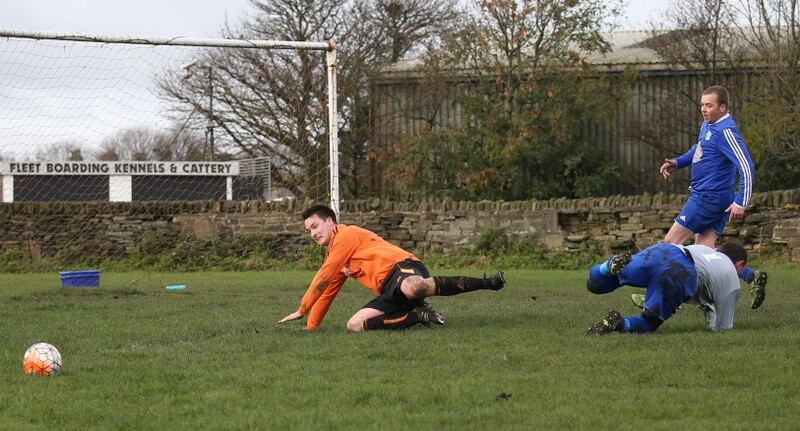 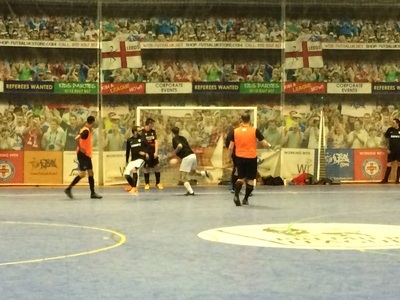 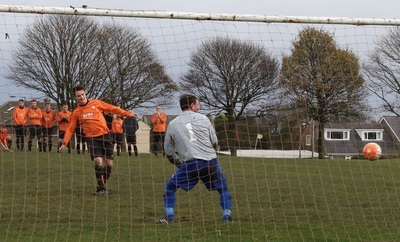 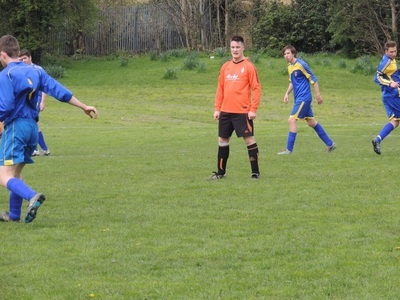 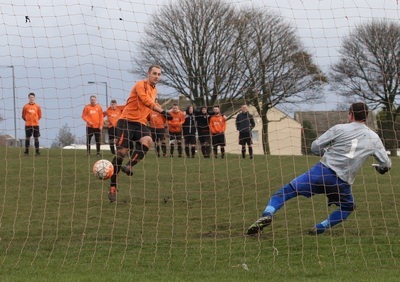 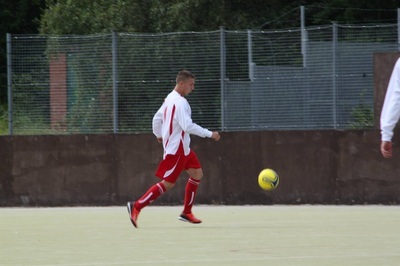 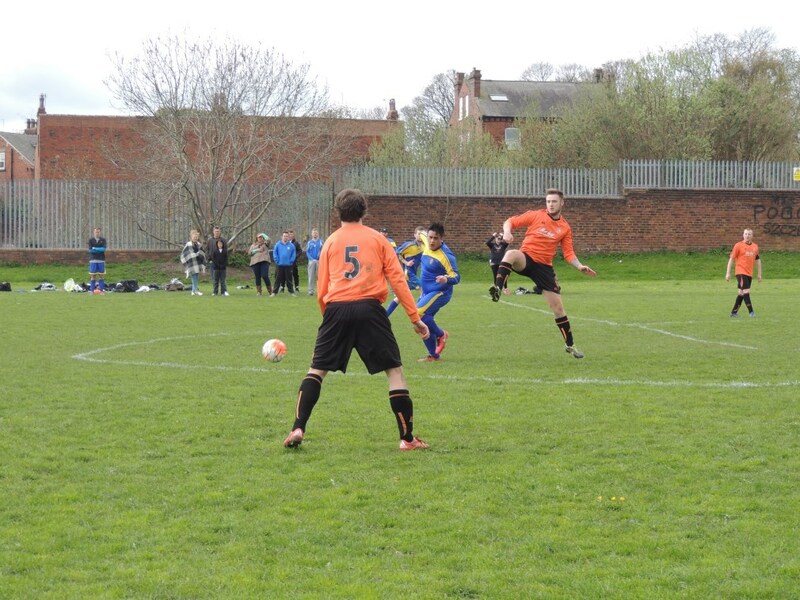 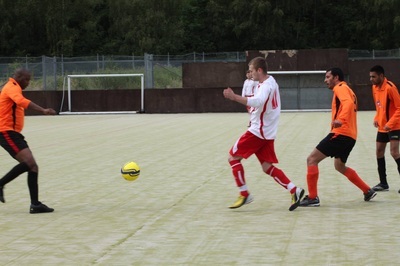 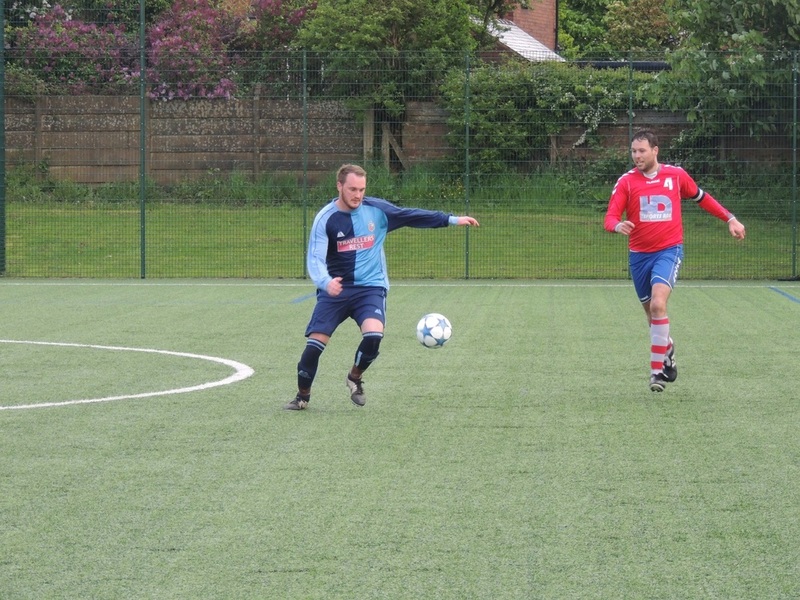 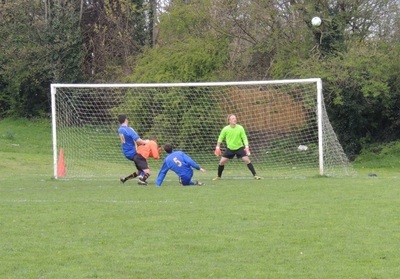 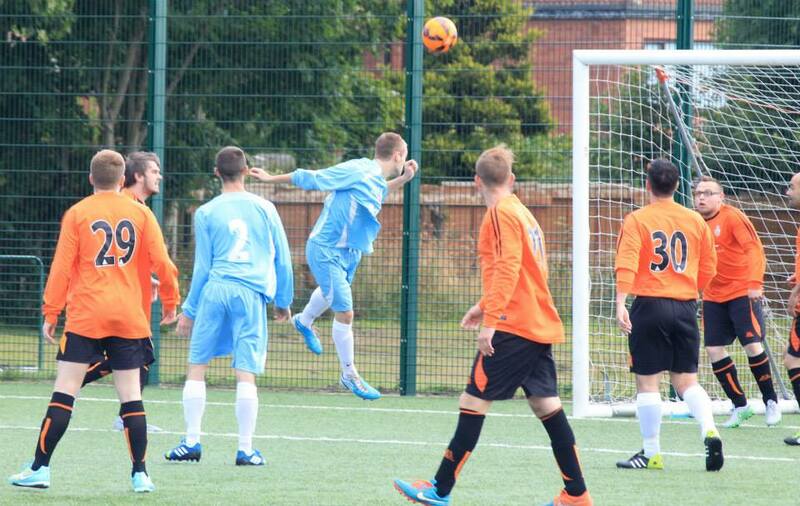 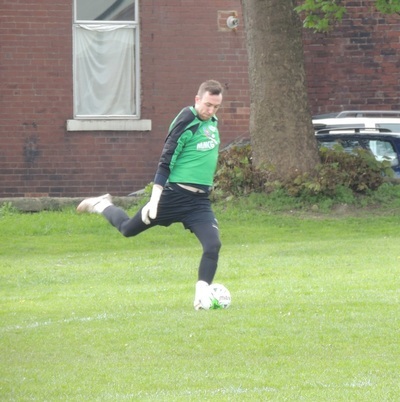 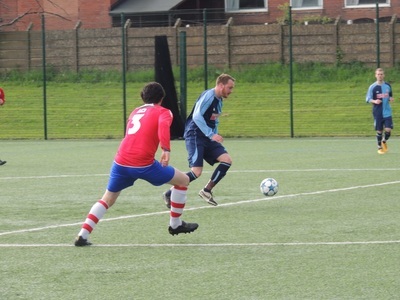 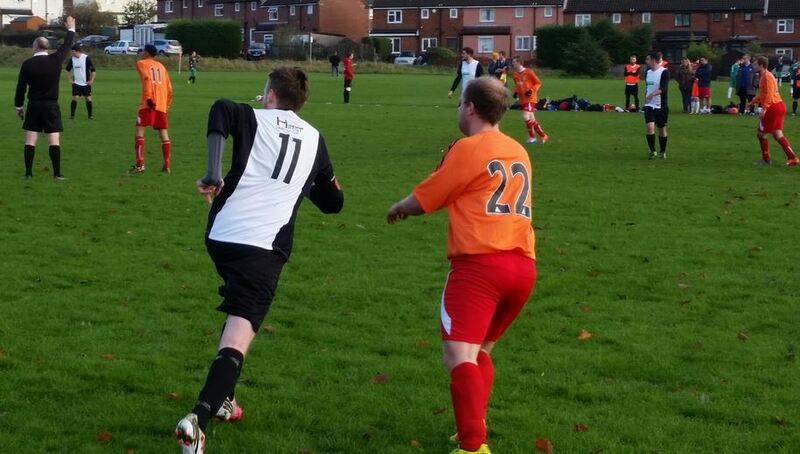 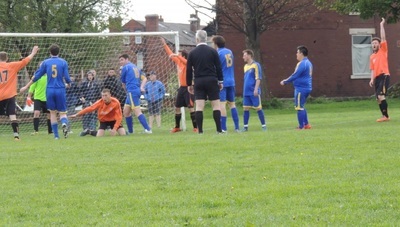 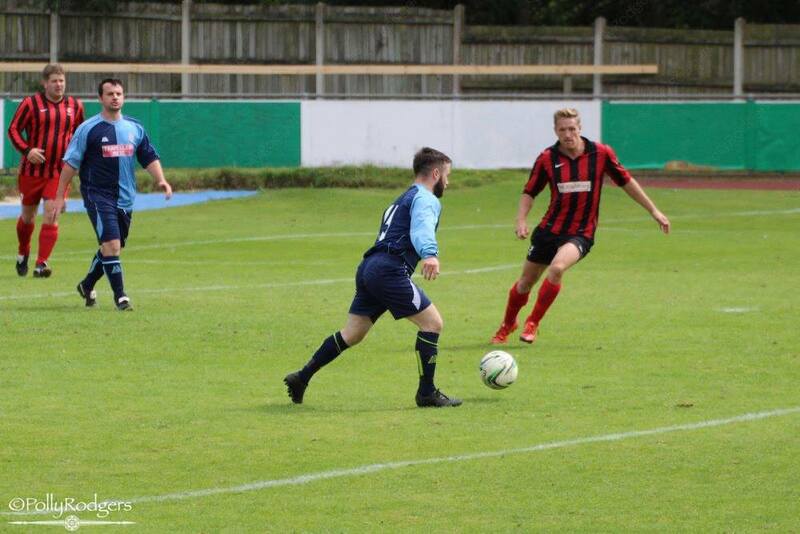 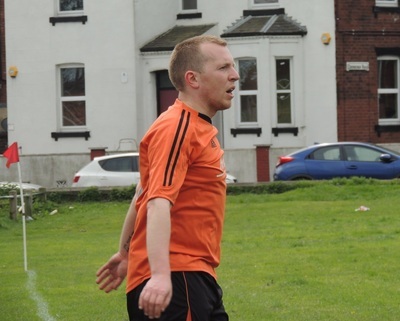 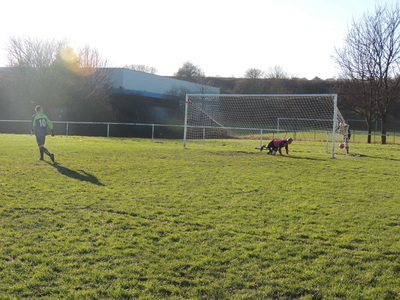 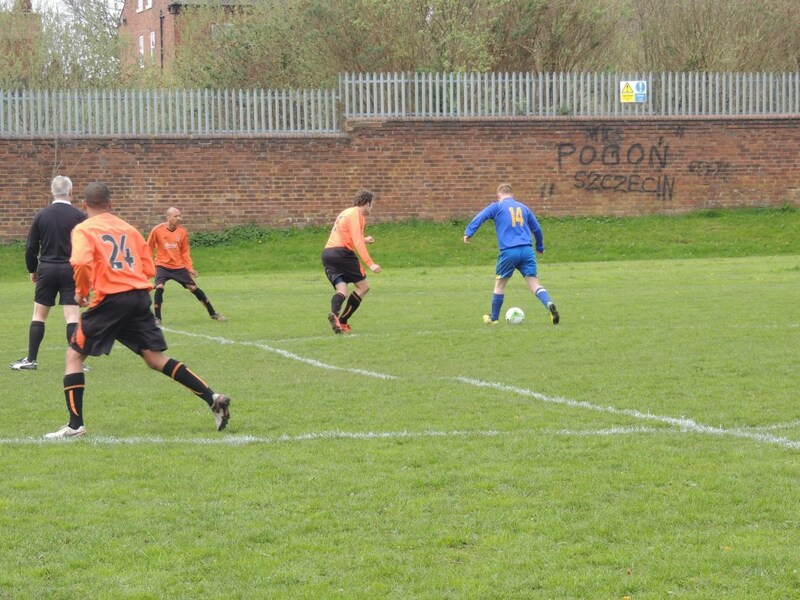 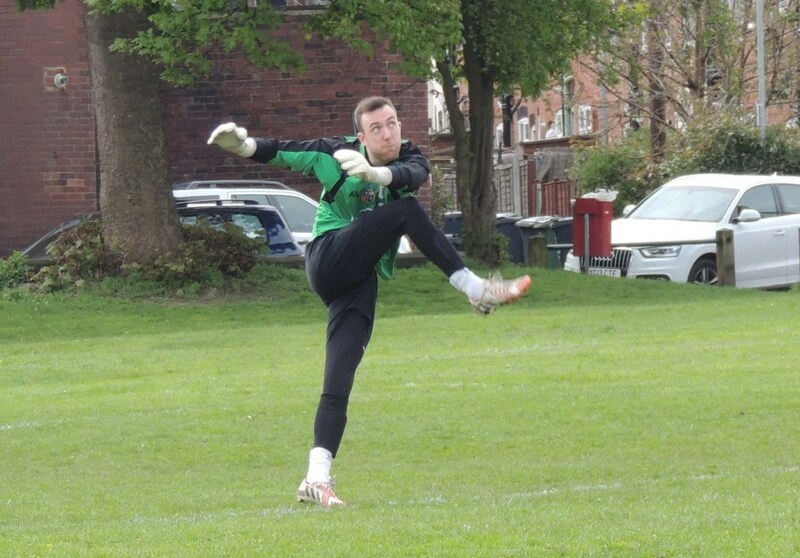 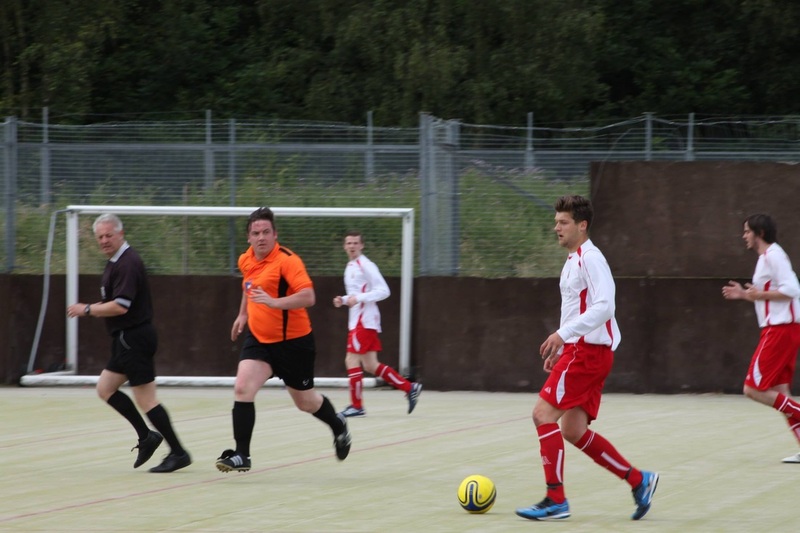 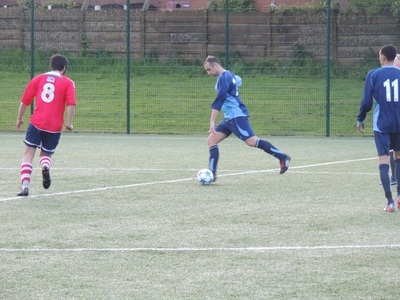 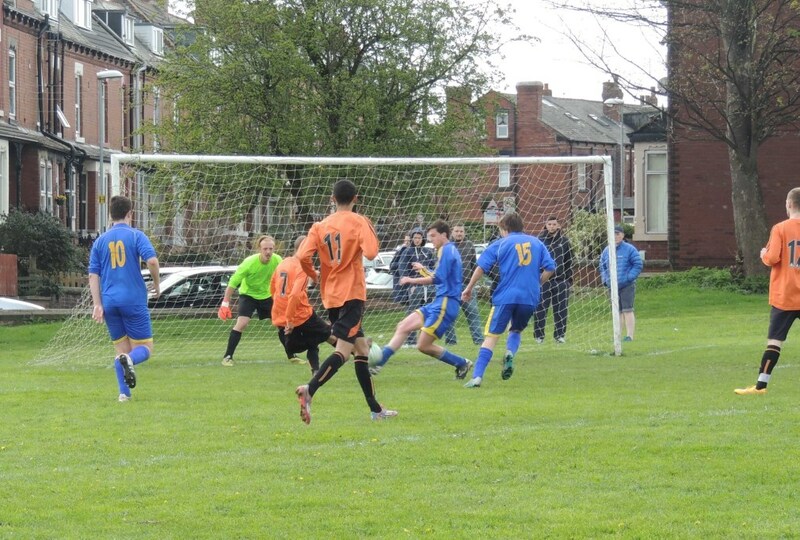 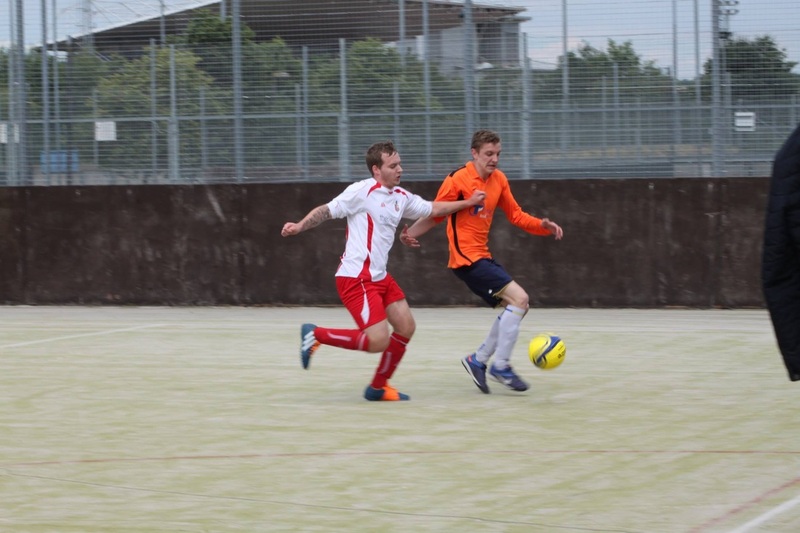 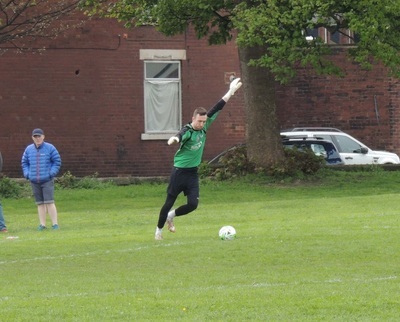 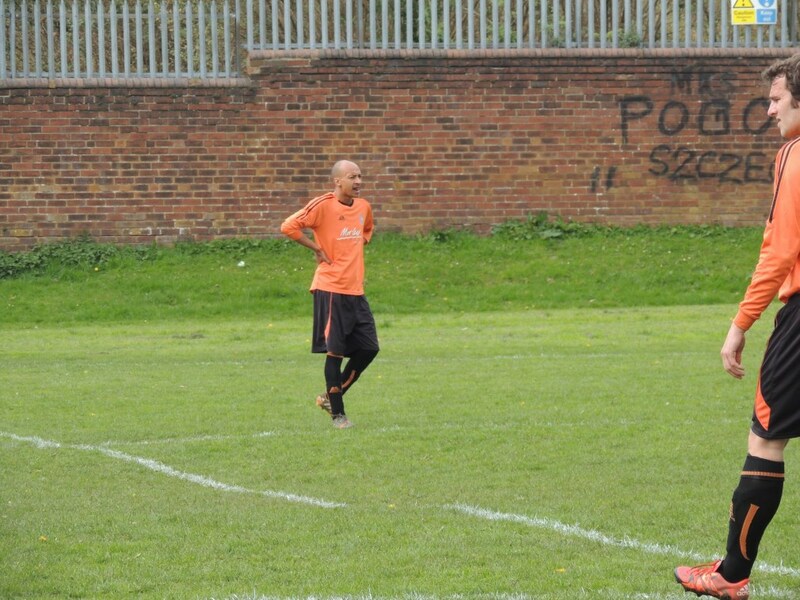 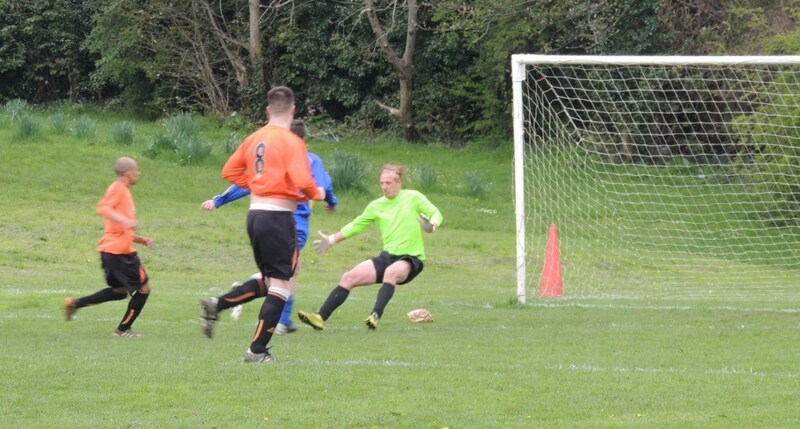 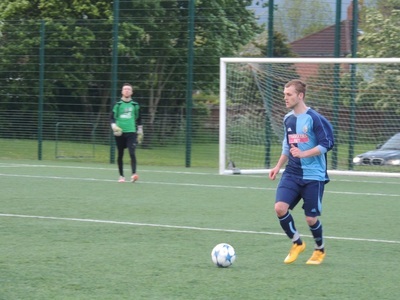 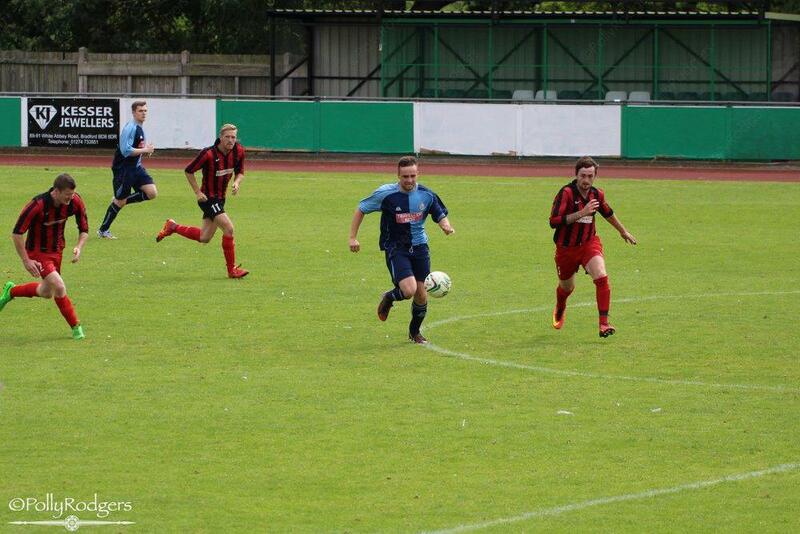 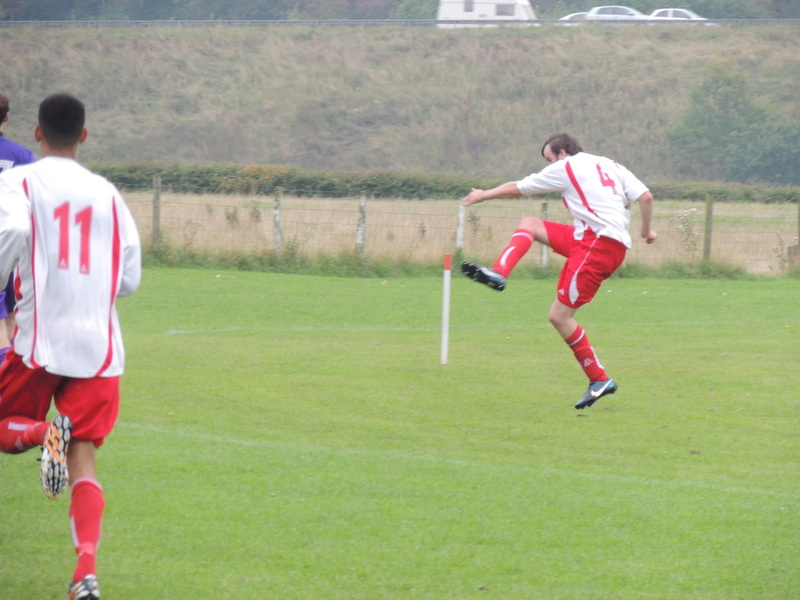 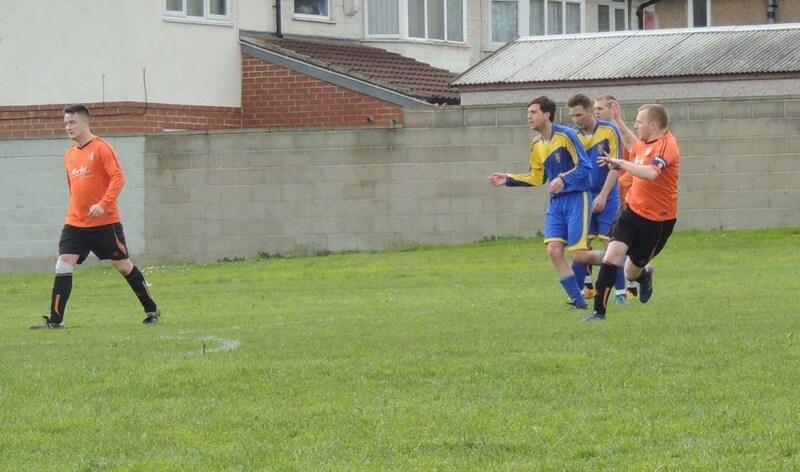 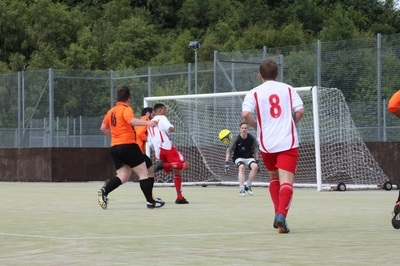 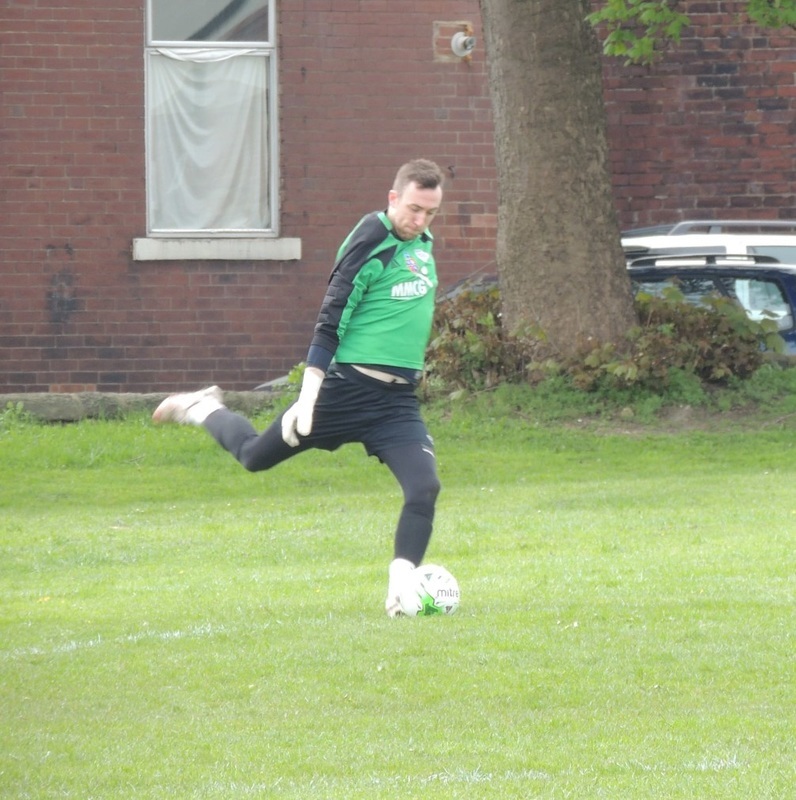 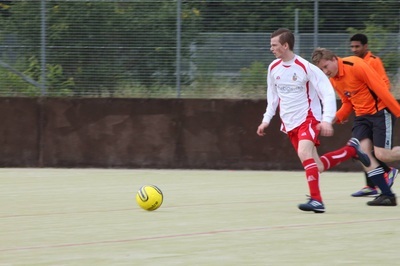 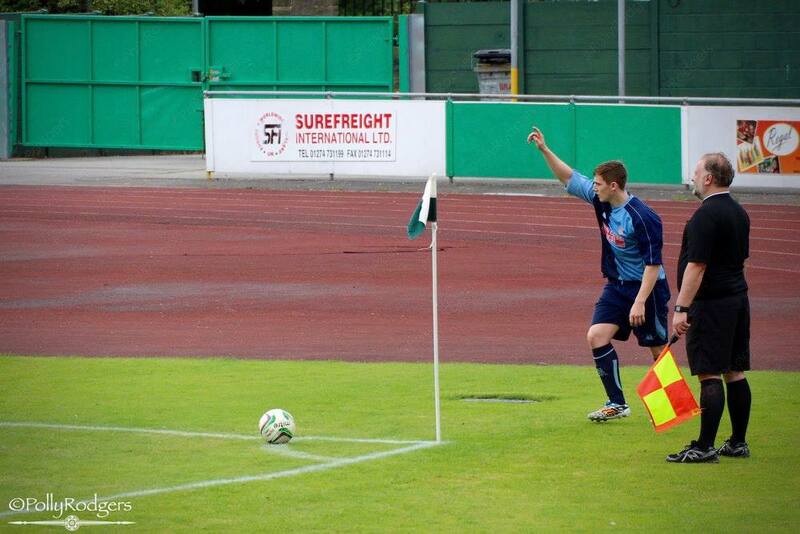 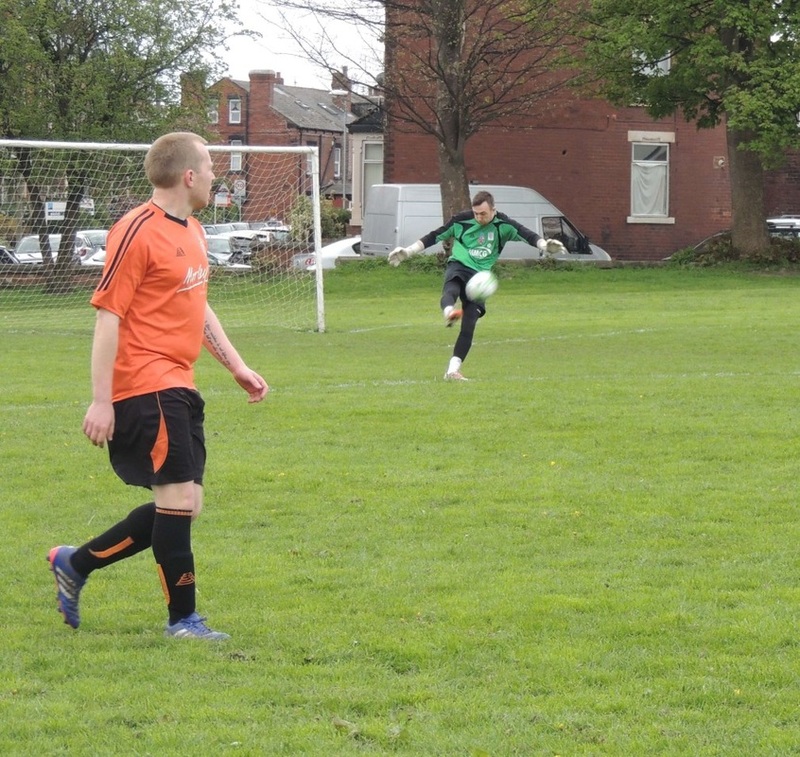 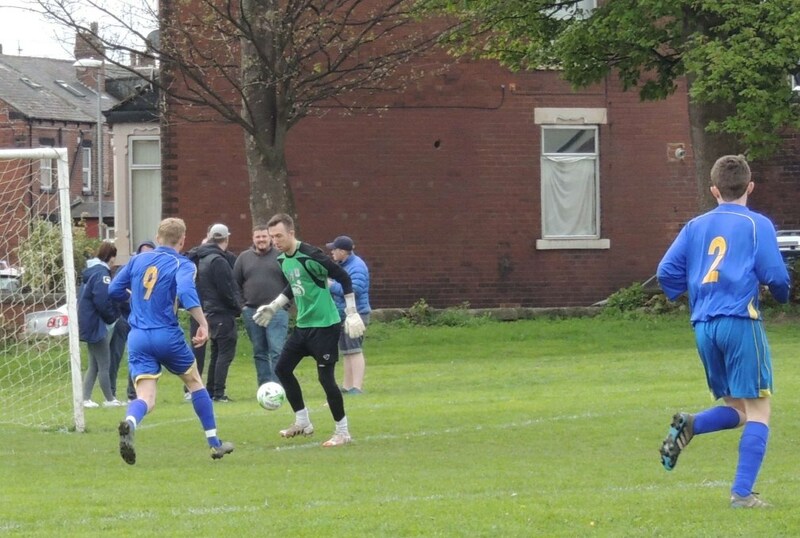 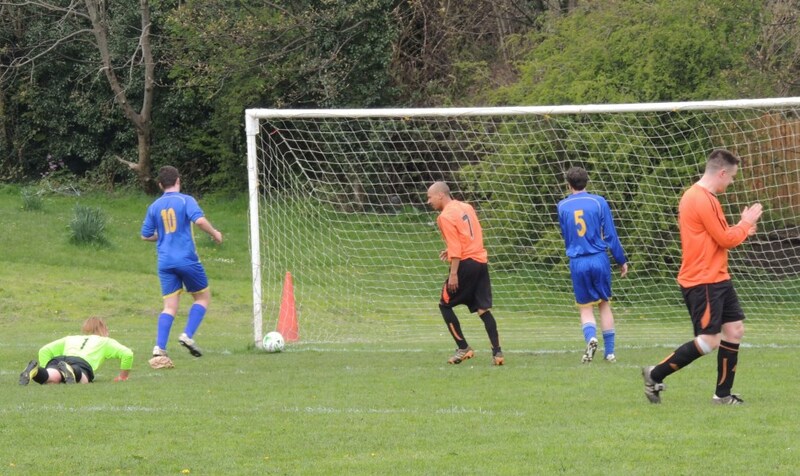 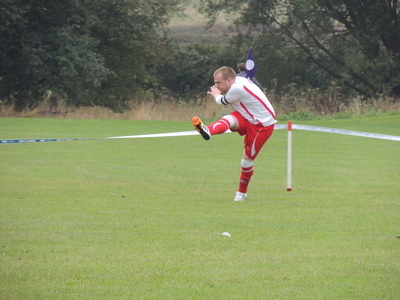 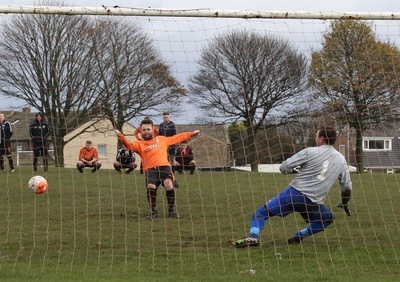 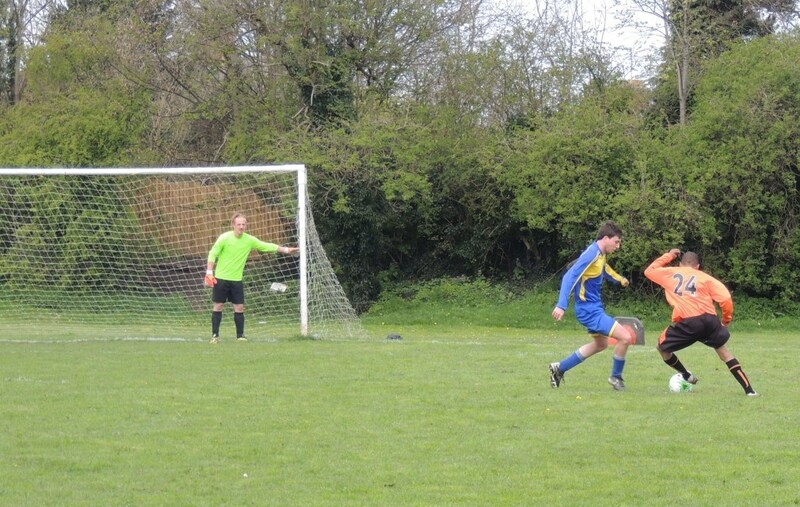 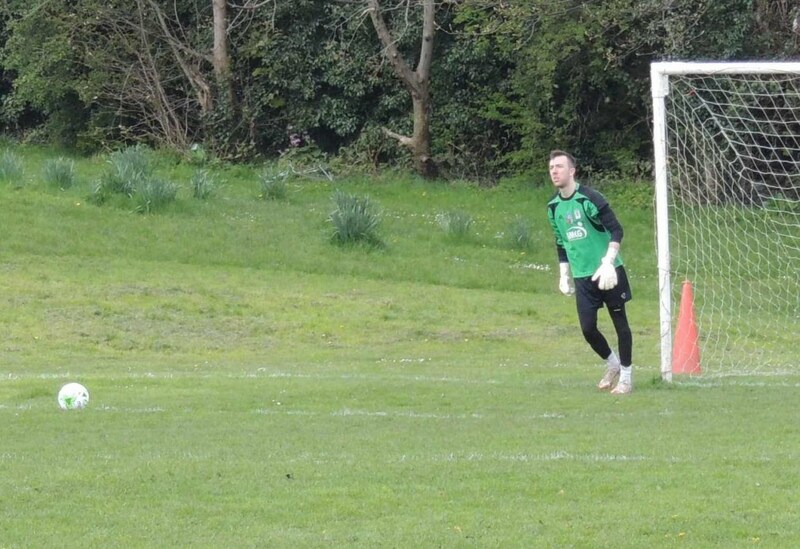 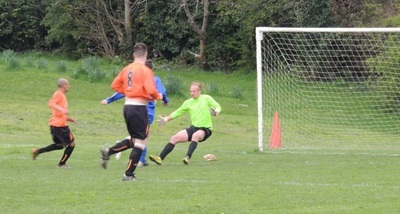 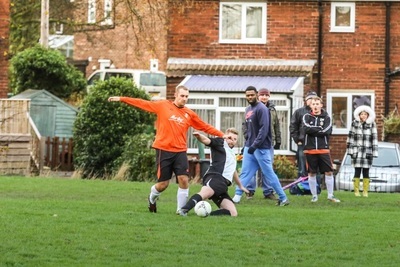 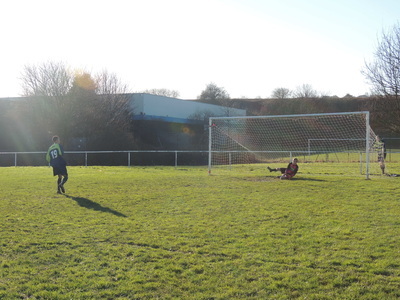 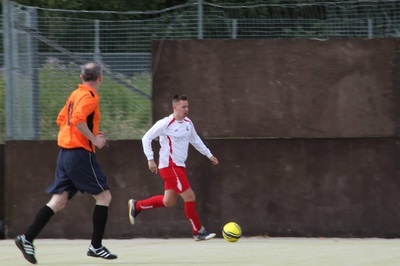 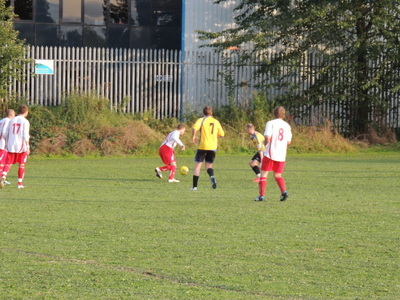 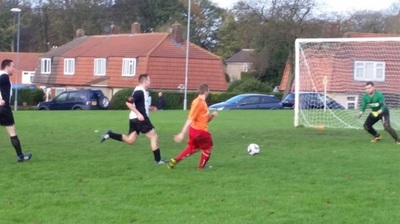 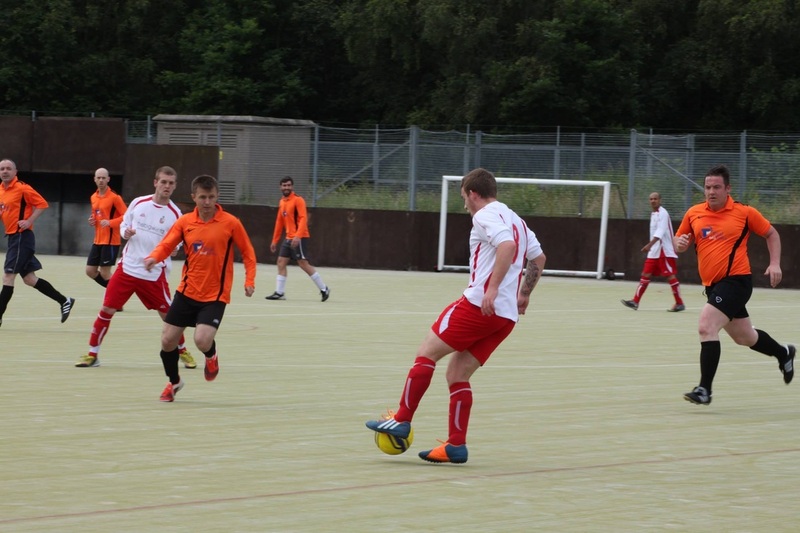 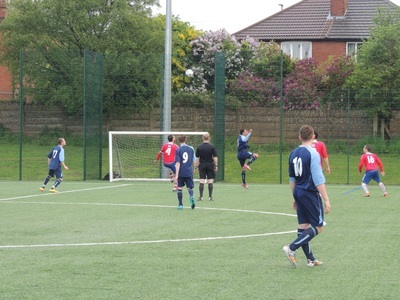 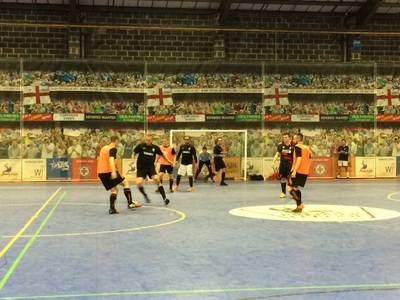 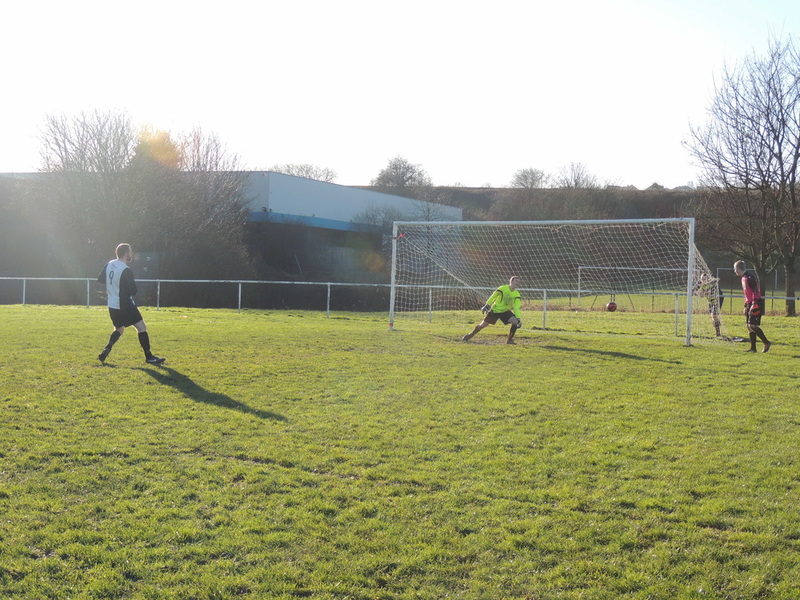 Scott Carter opens the scoring from the spot in Millshaw's 5-2 win at waterintobeer in the Leeds Combination League. 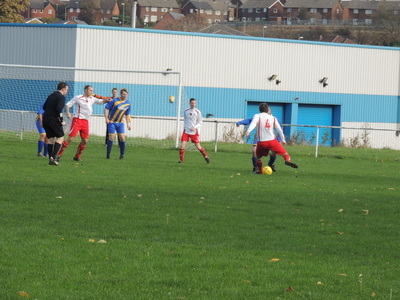 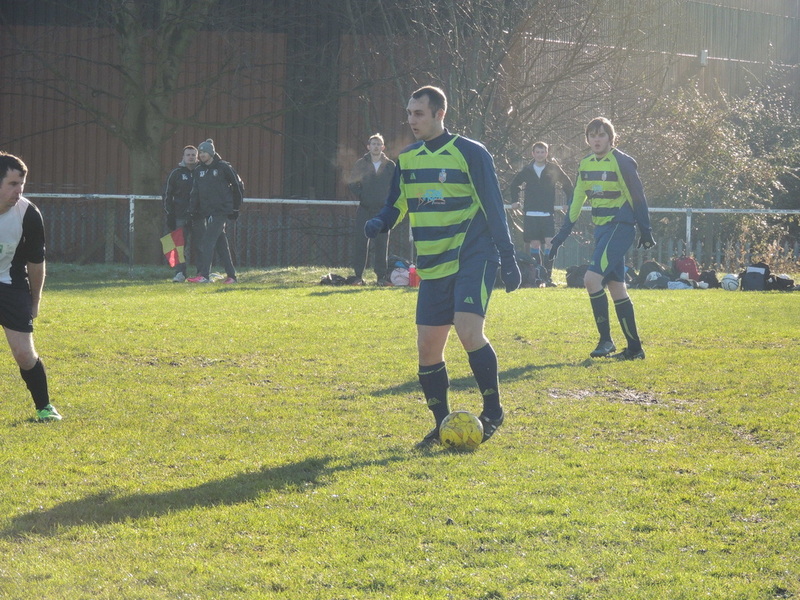 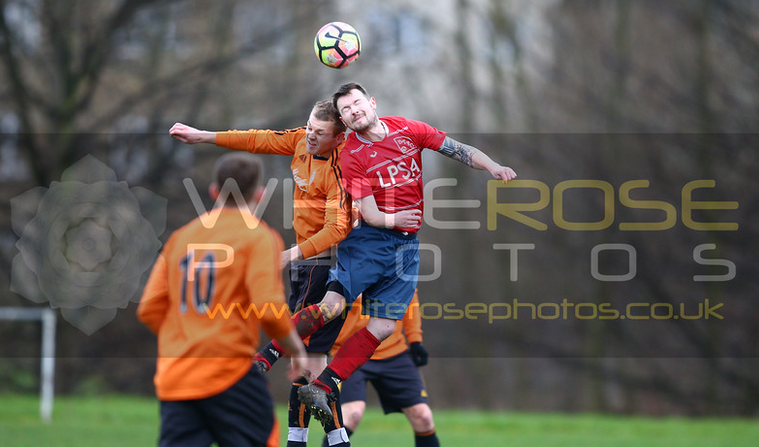 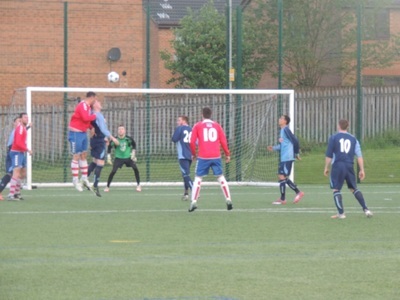 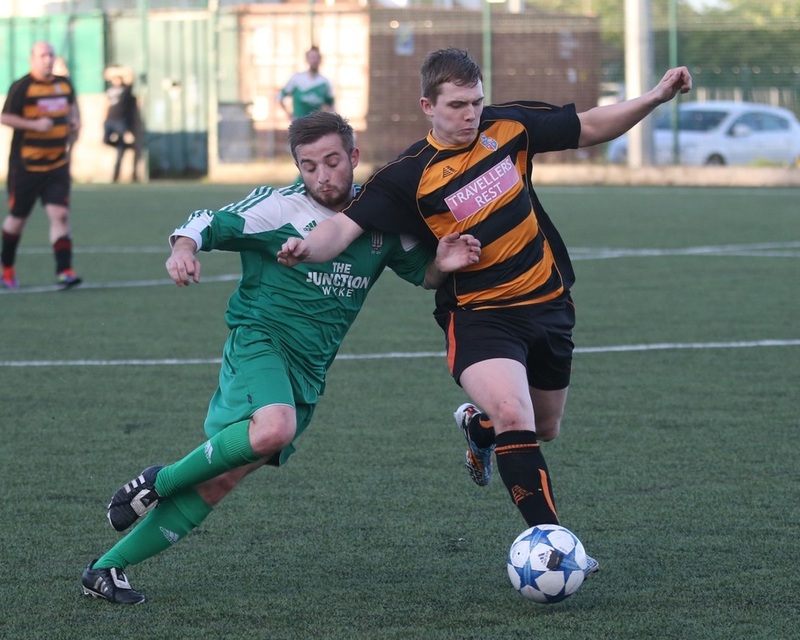 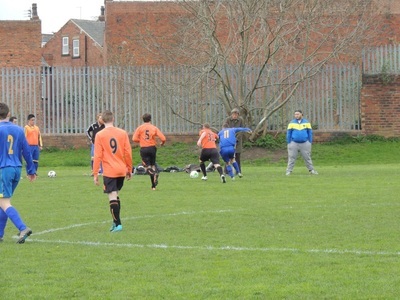 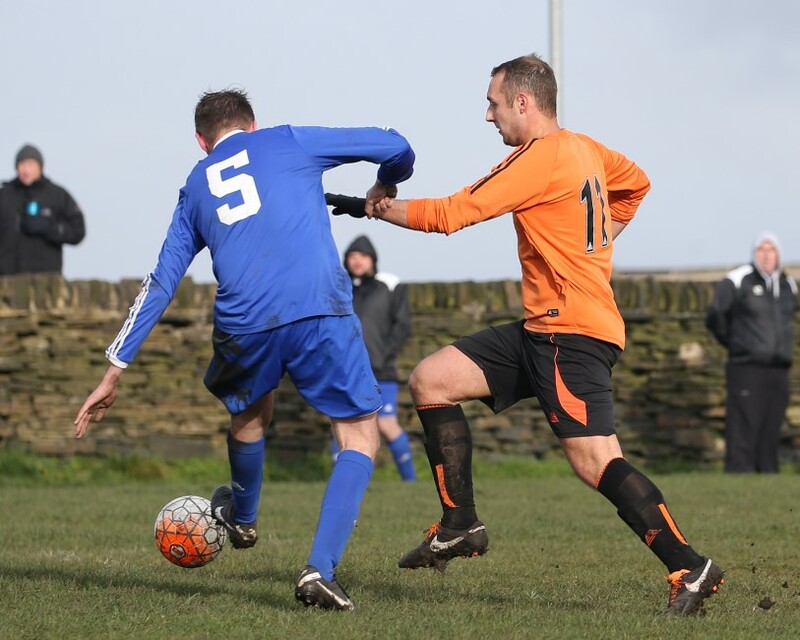 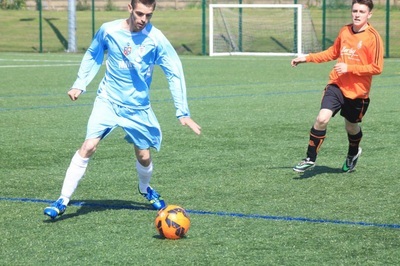 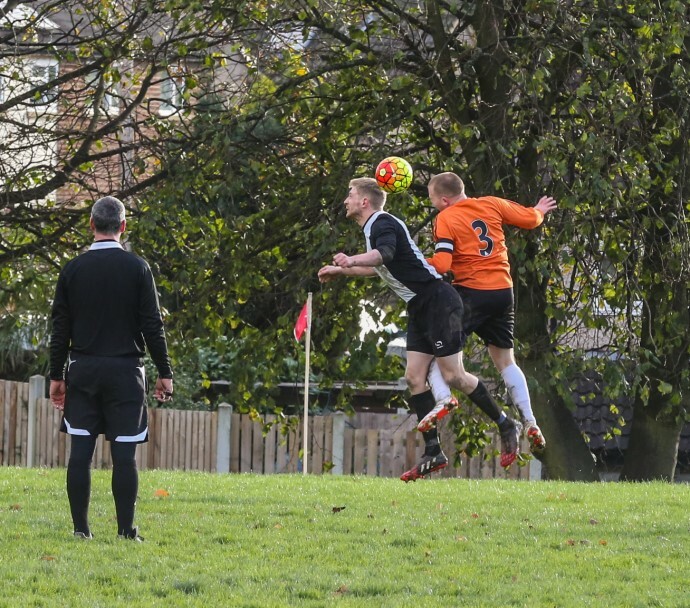 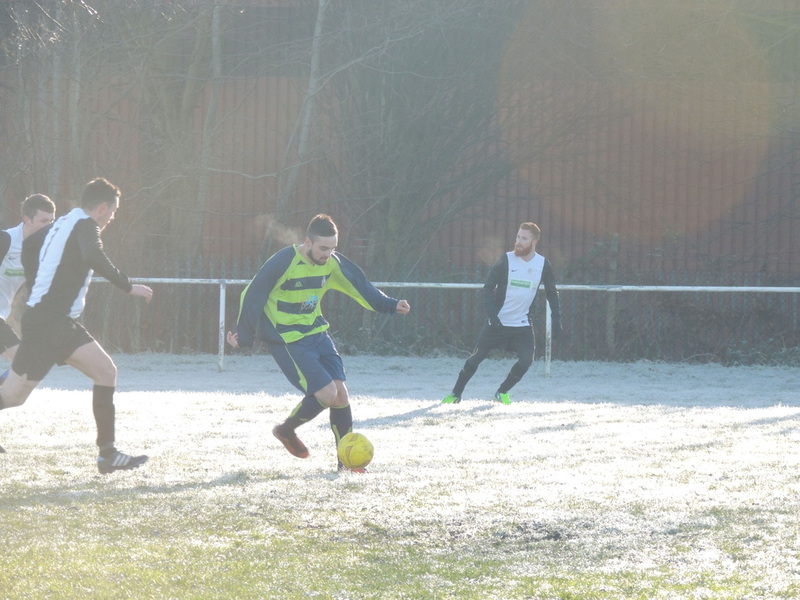 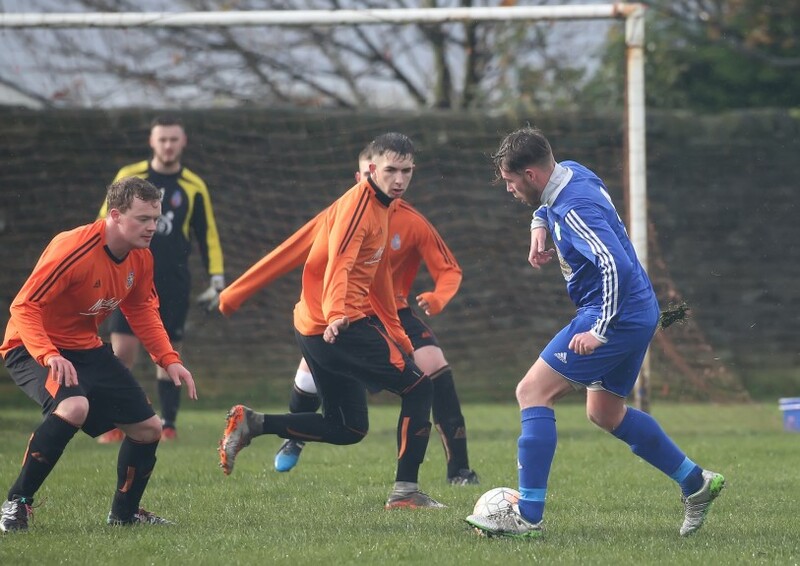 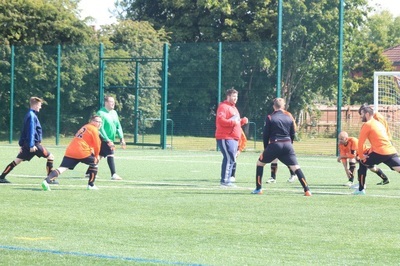 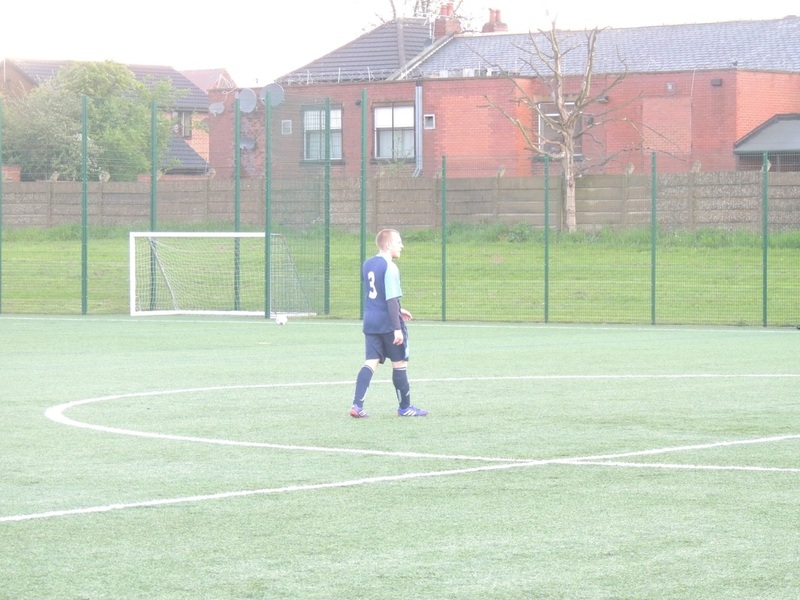 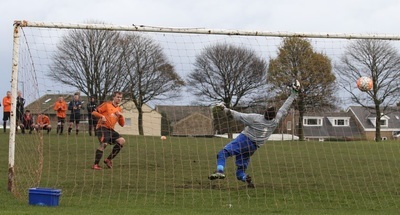 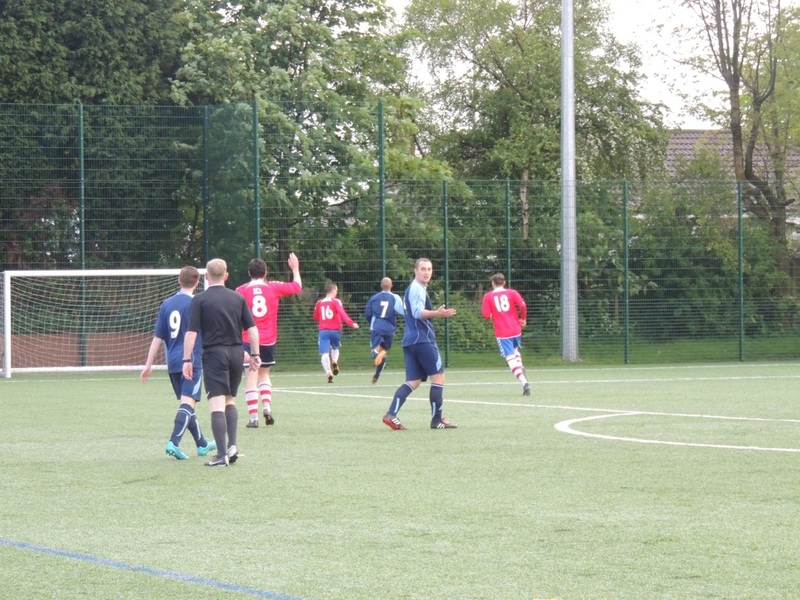 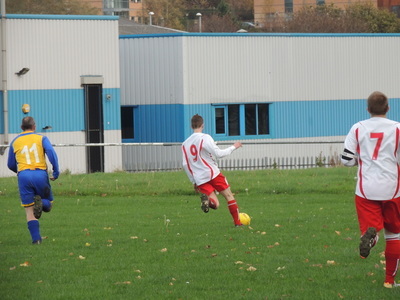 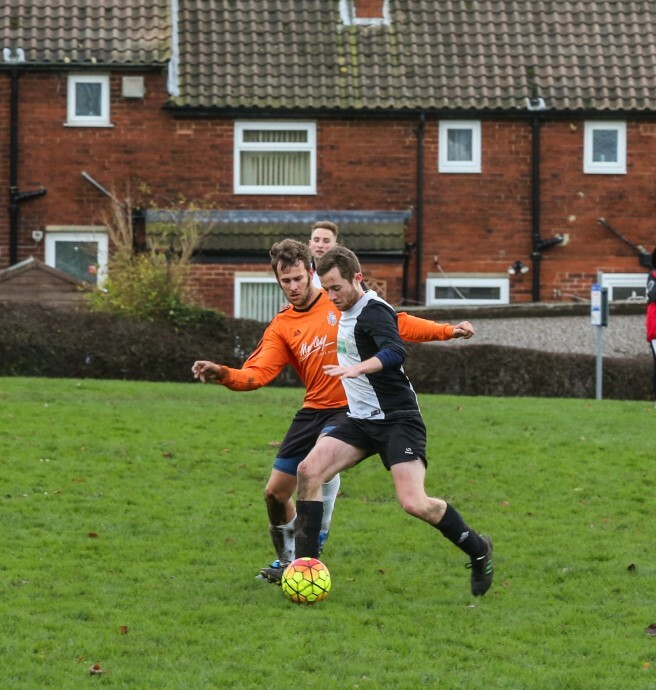 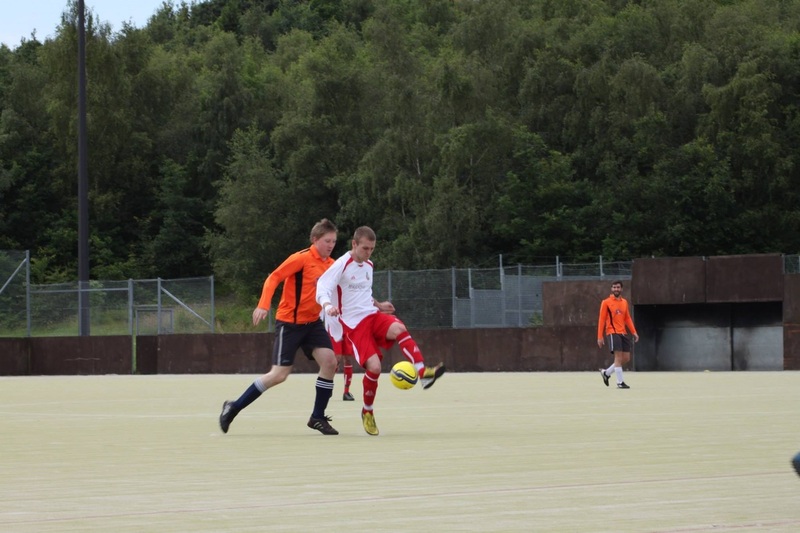 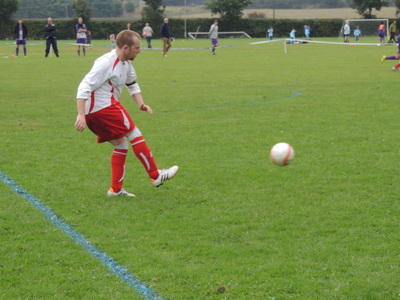 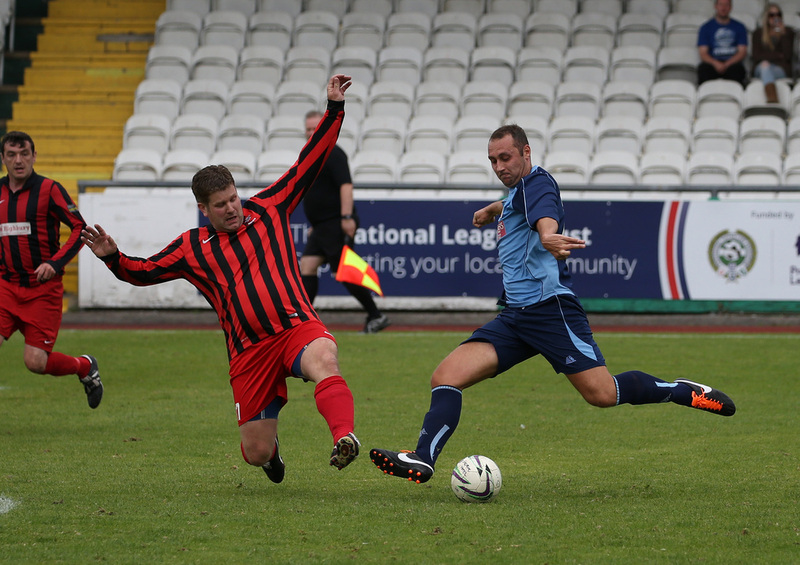 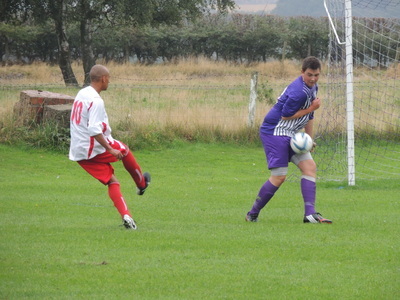 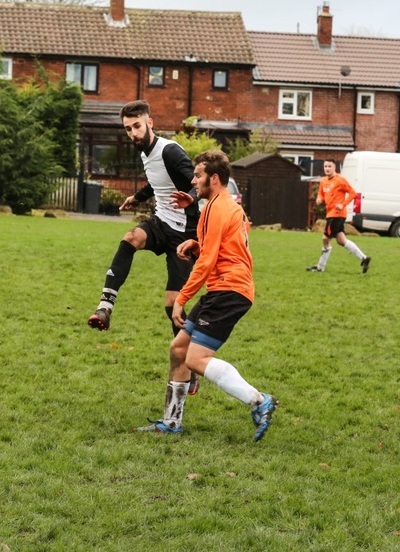 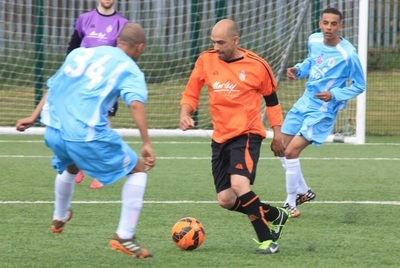 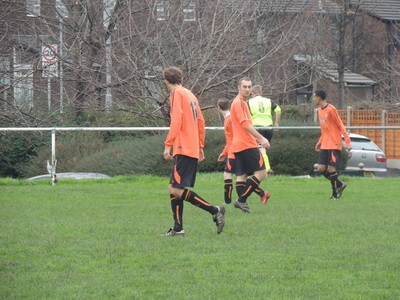 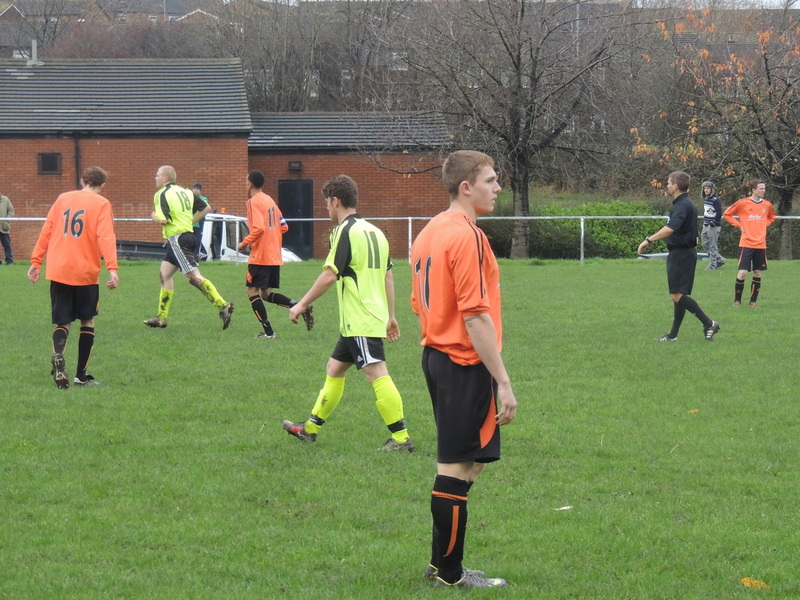 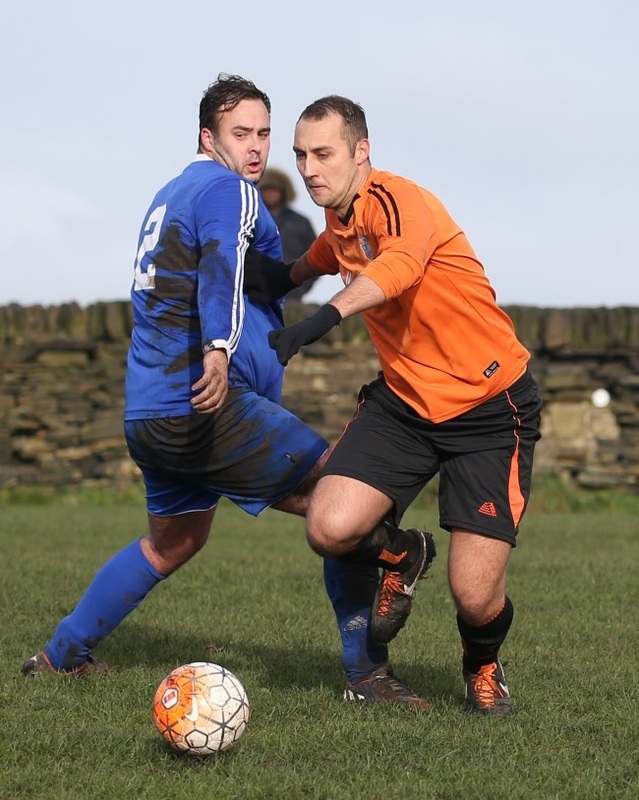 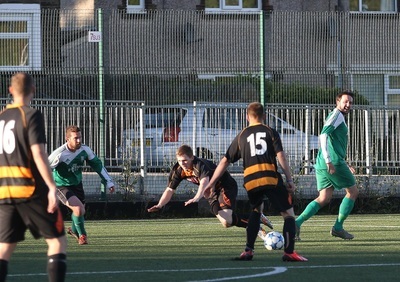 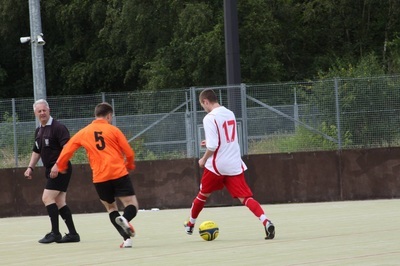 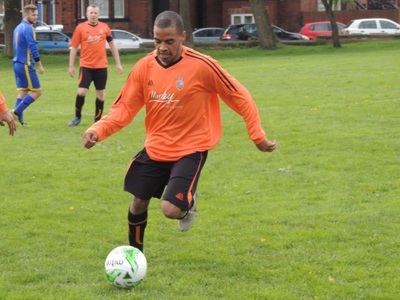 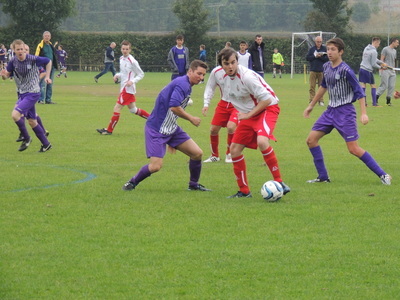 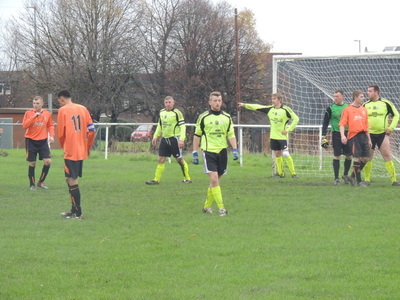 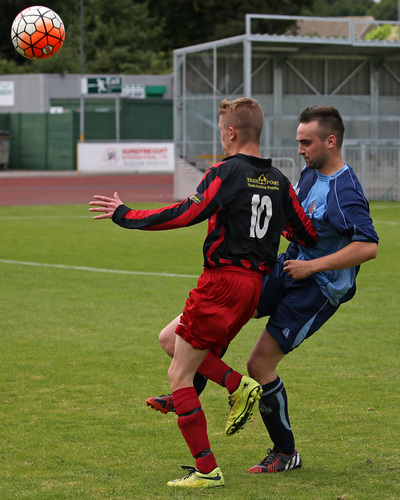 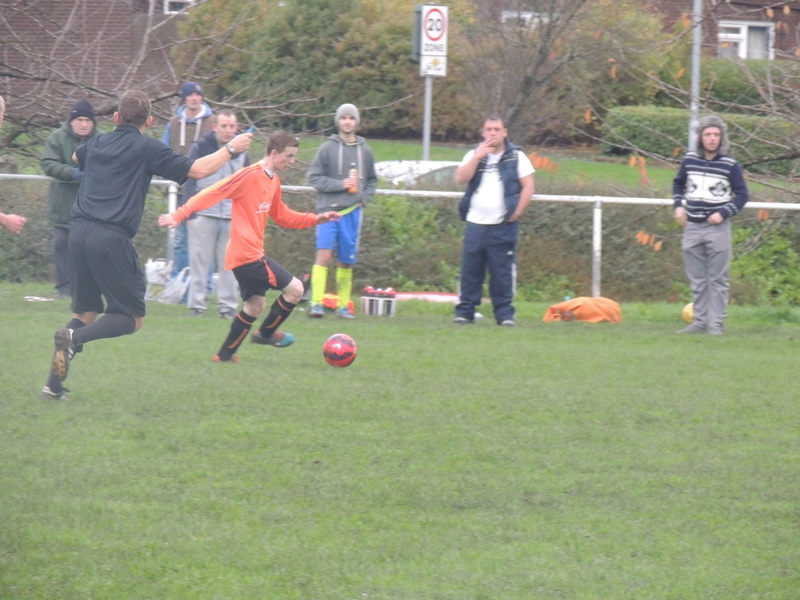 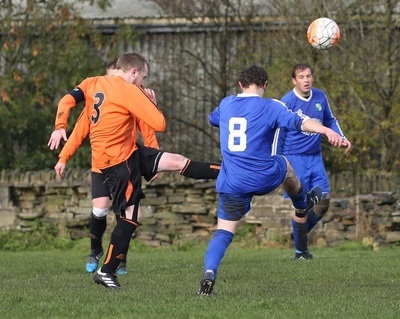 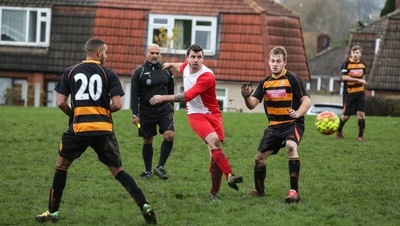 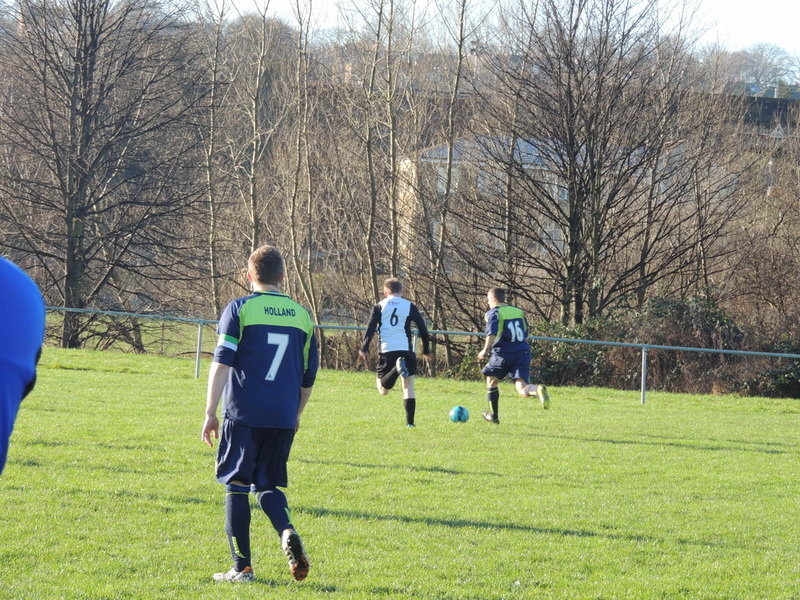 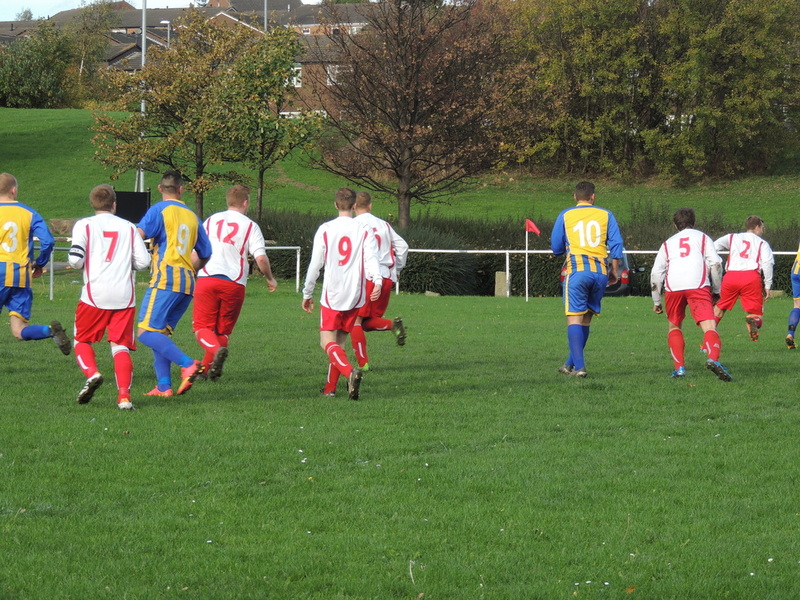 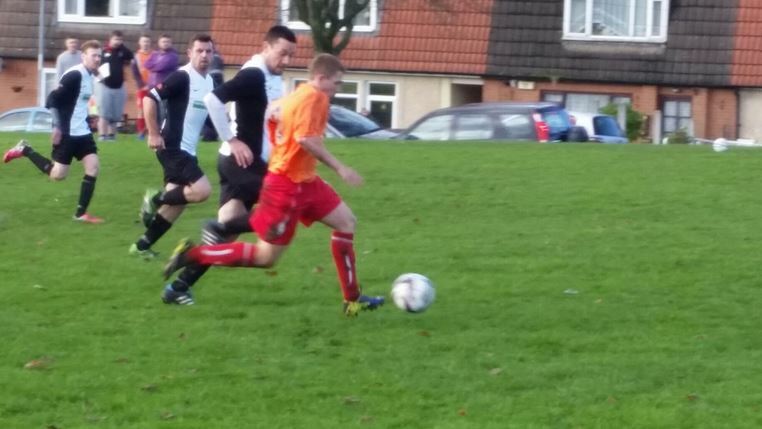 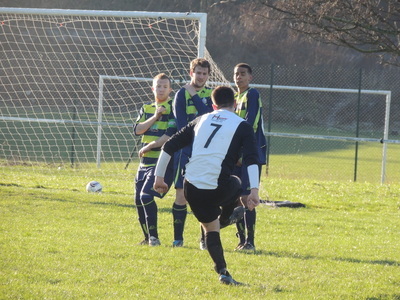 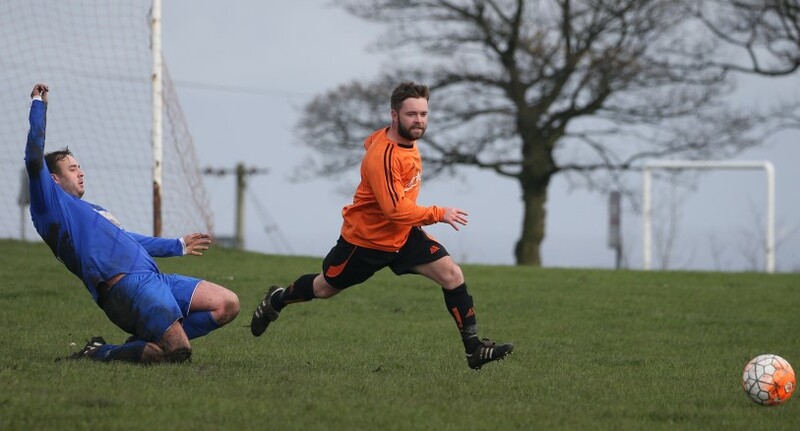 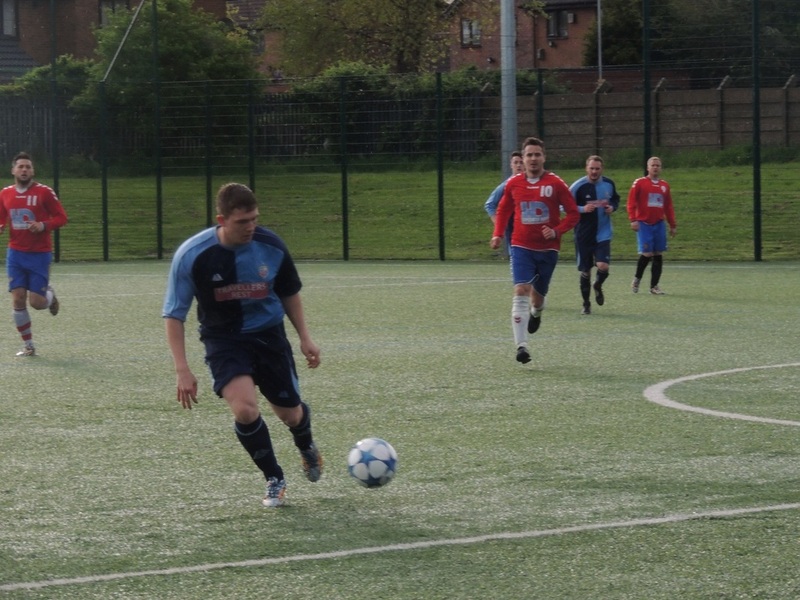 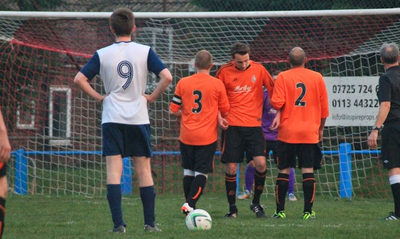 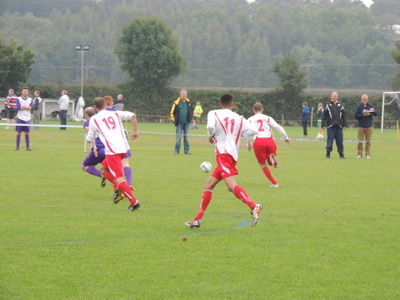 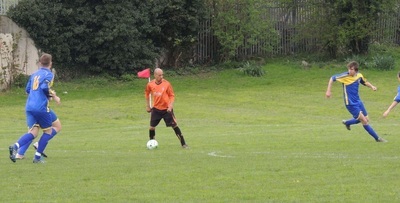 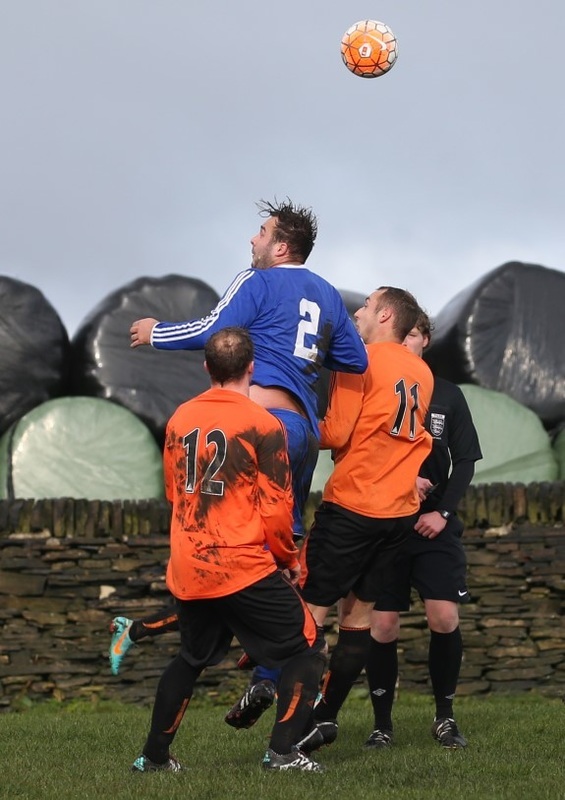 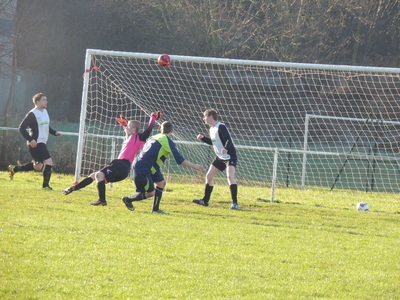 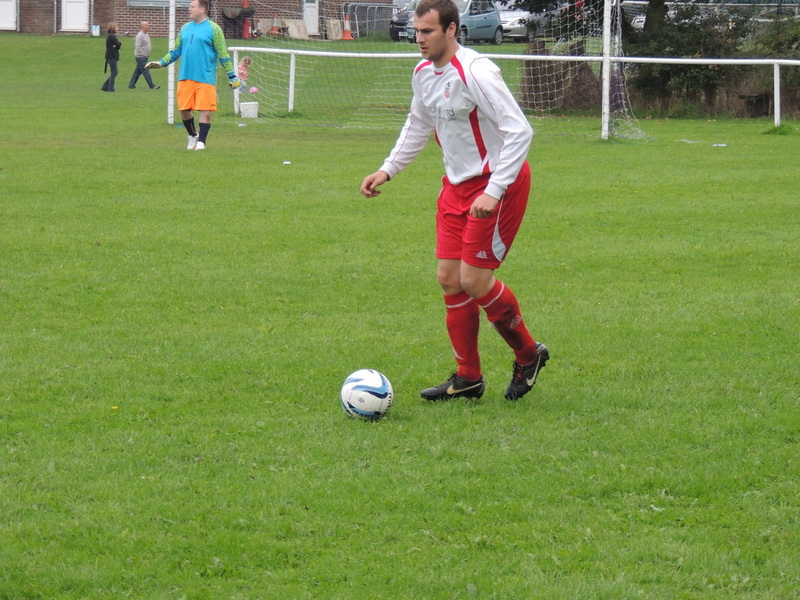 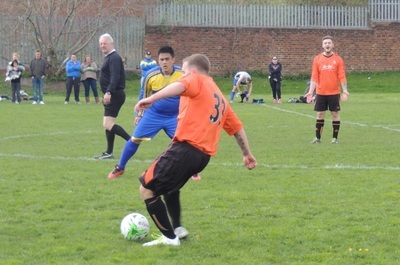 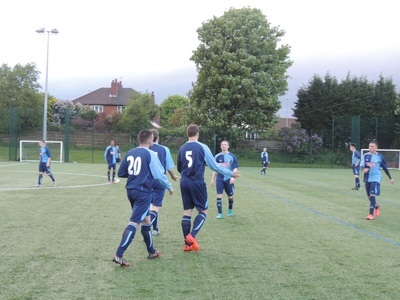 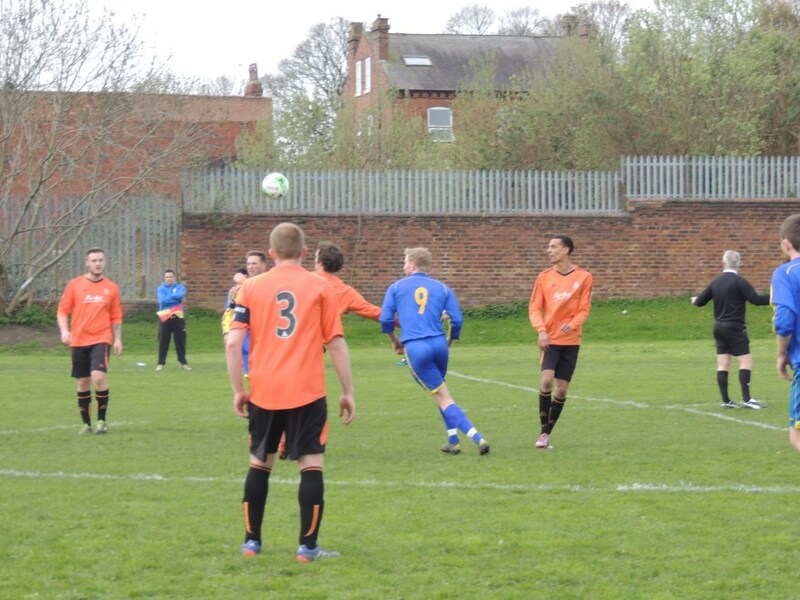 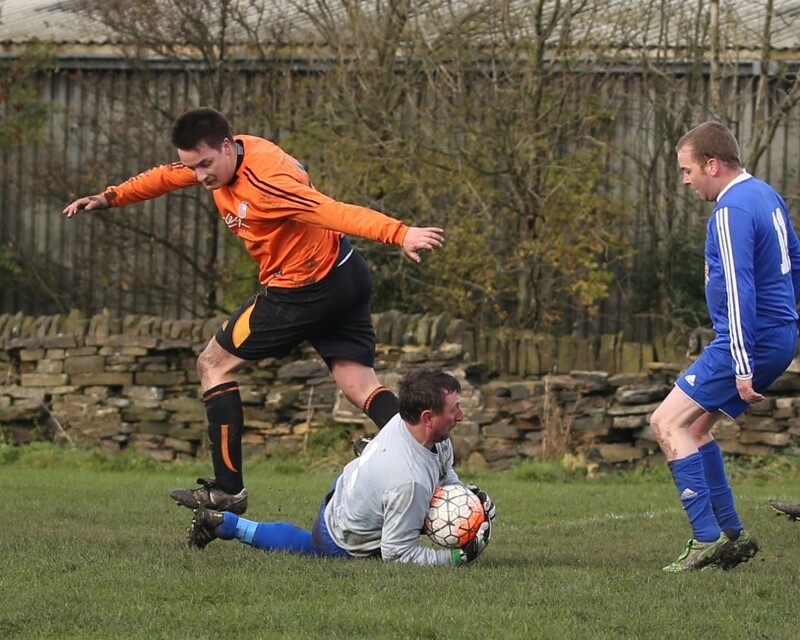 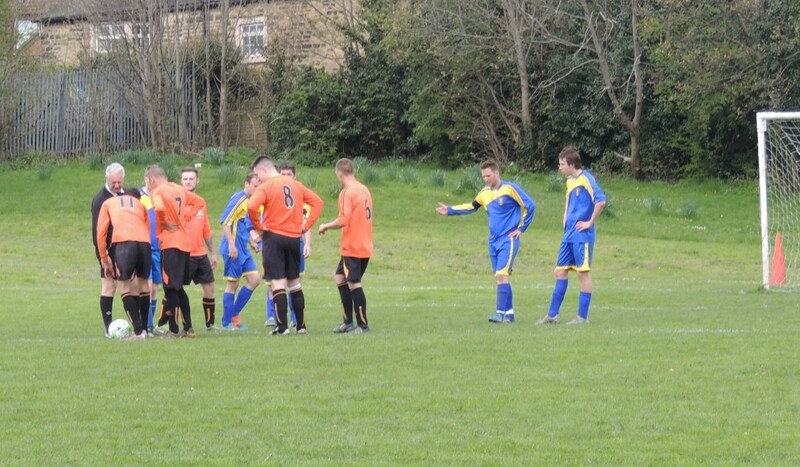 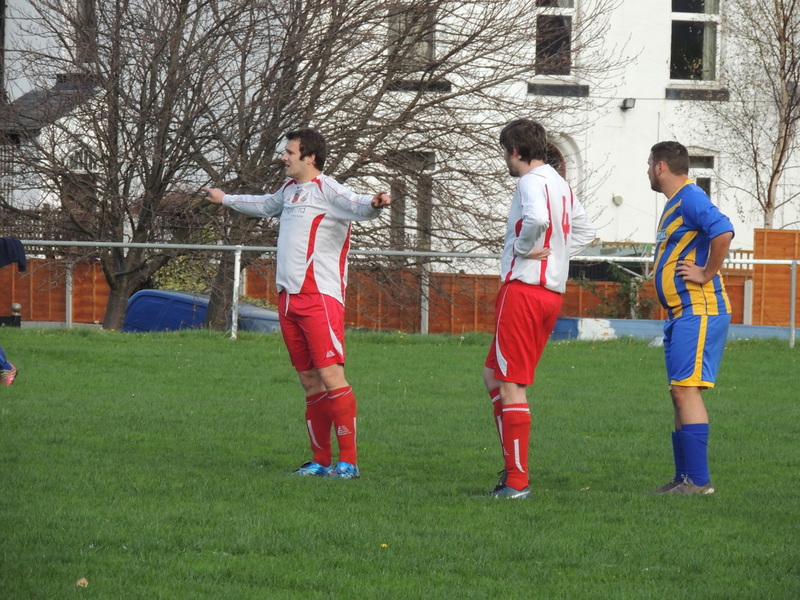 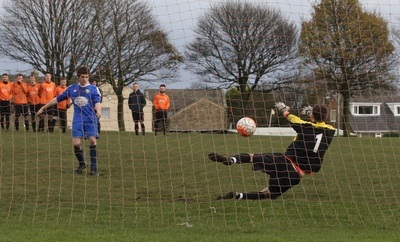 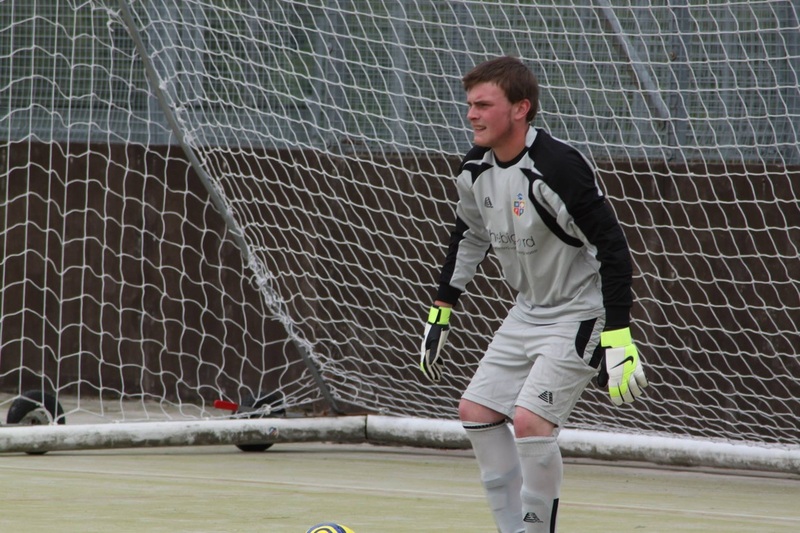 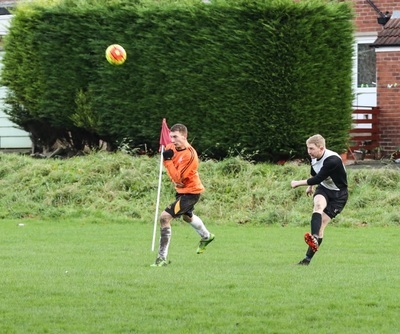 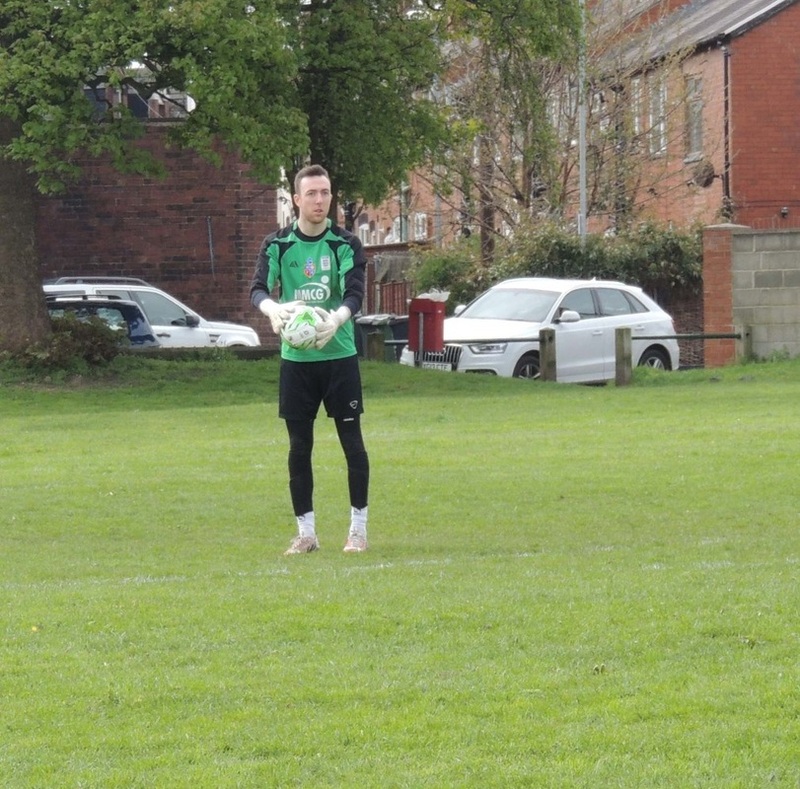 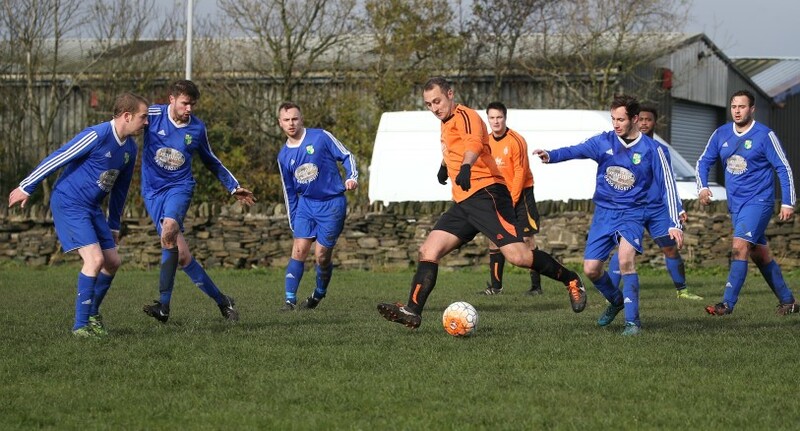 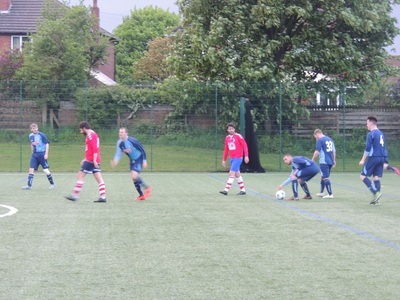 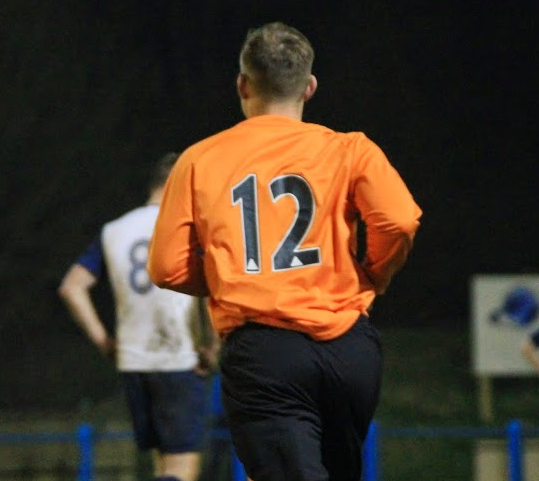 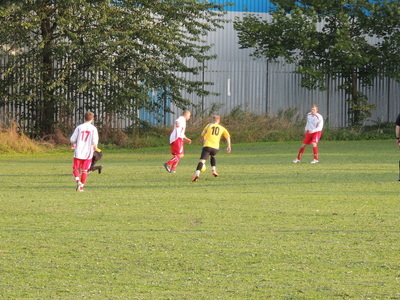 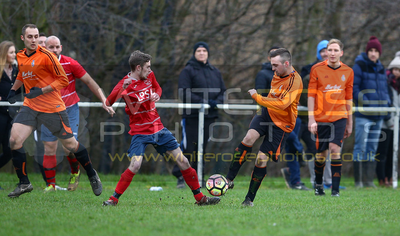 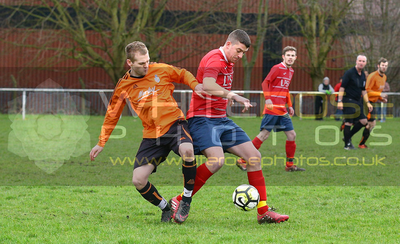 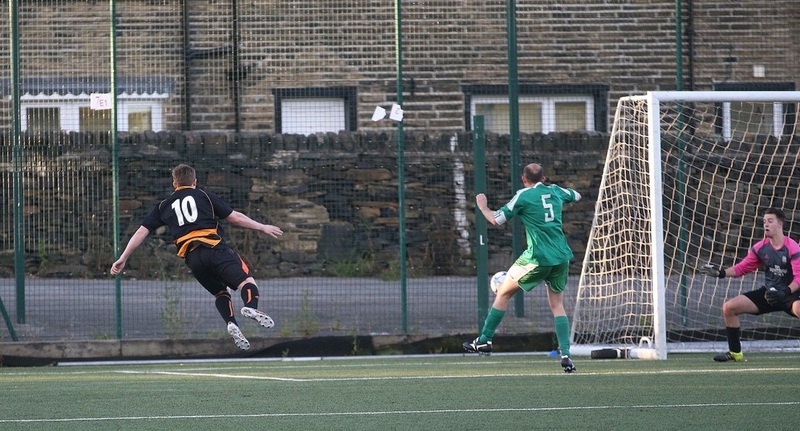 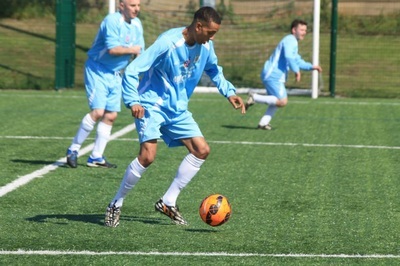 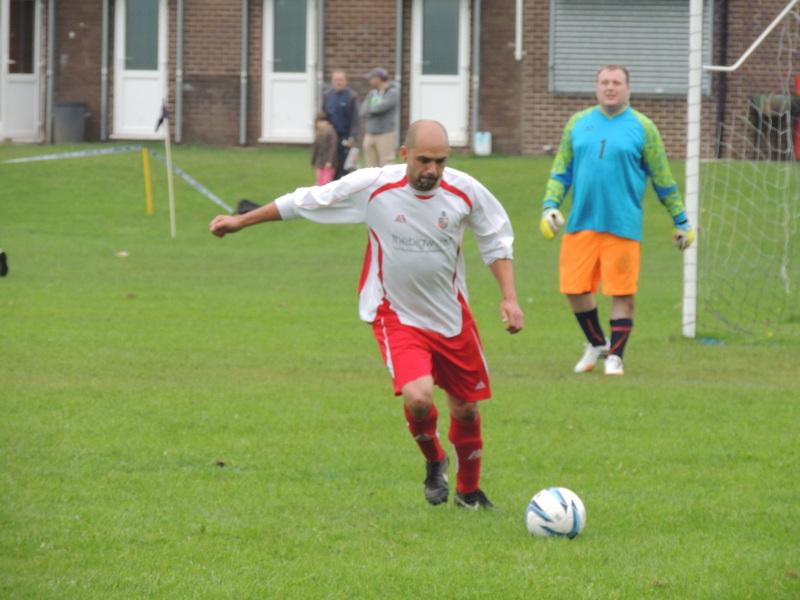 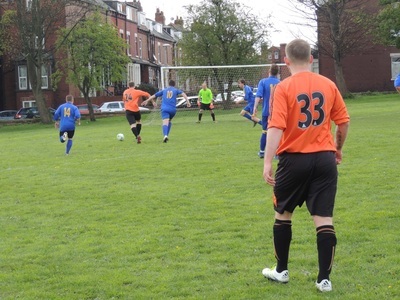 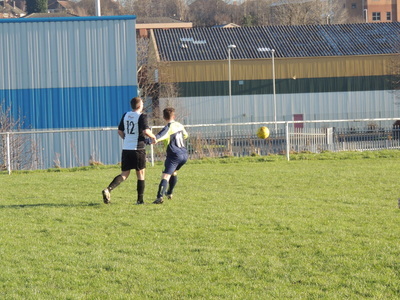 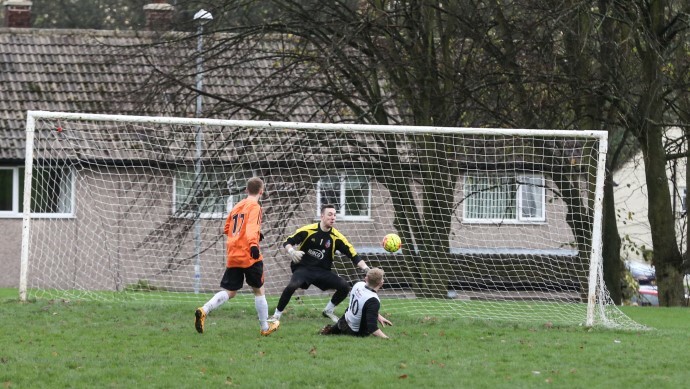 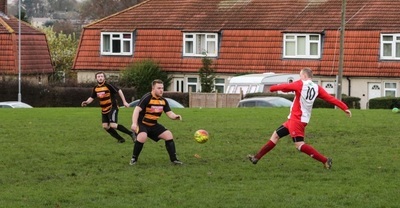 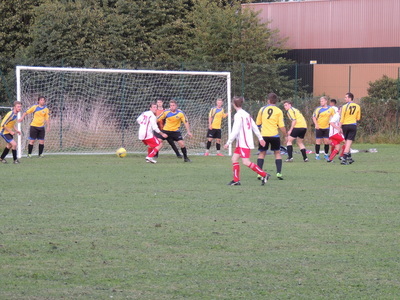 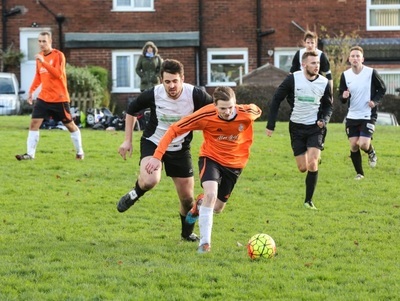 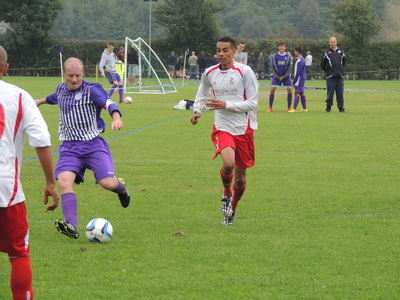 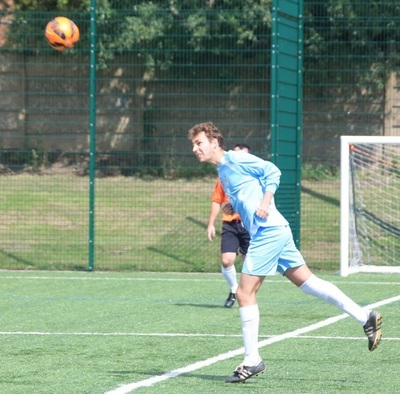 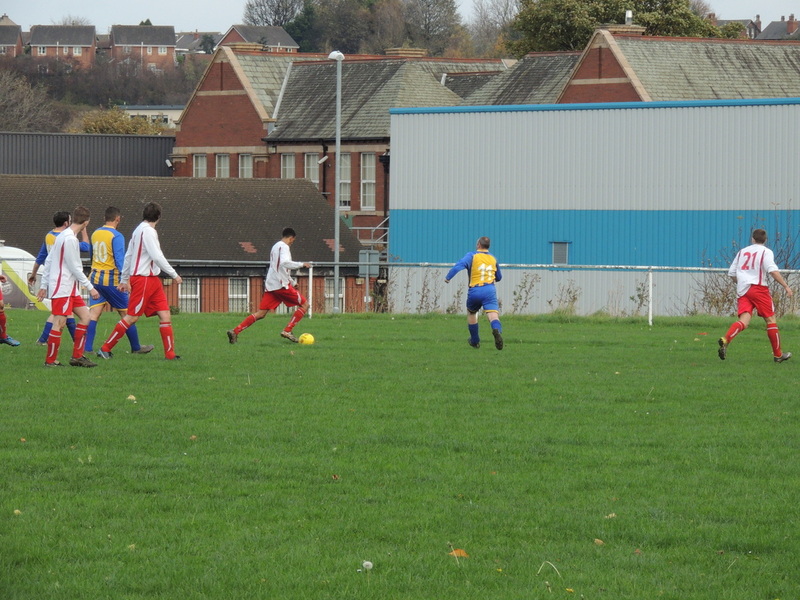 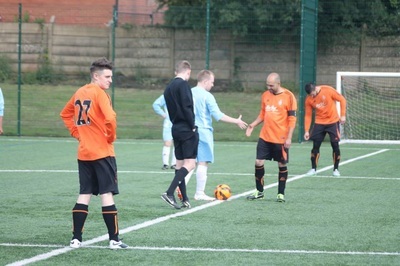 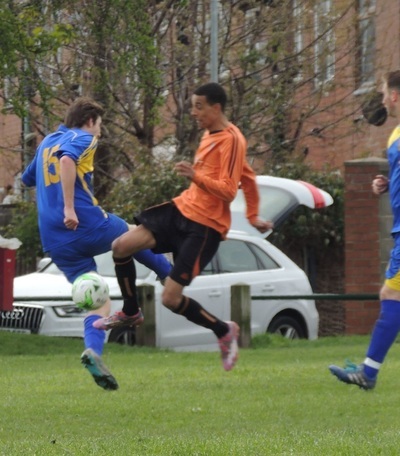 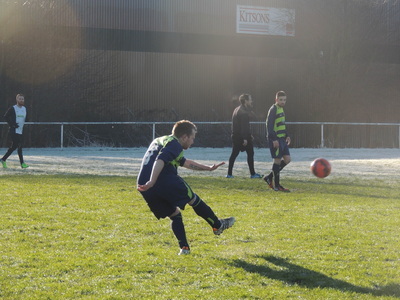 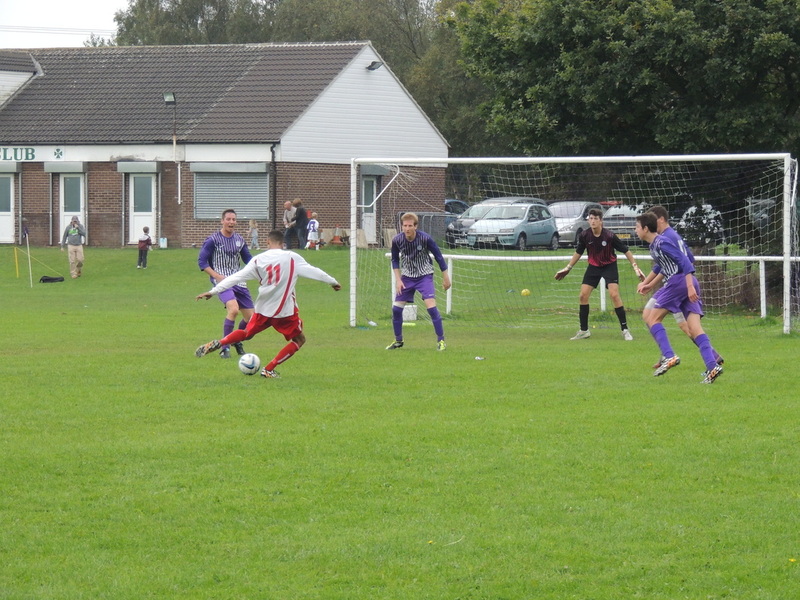 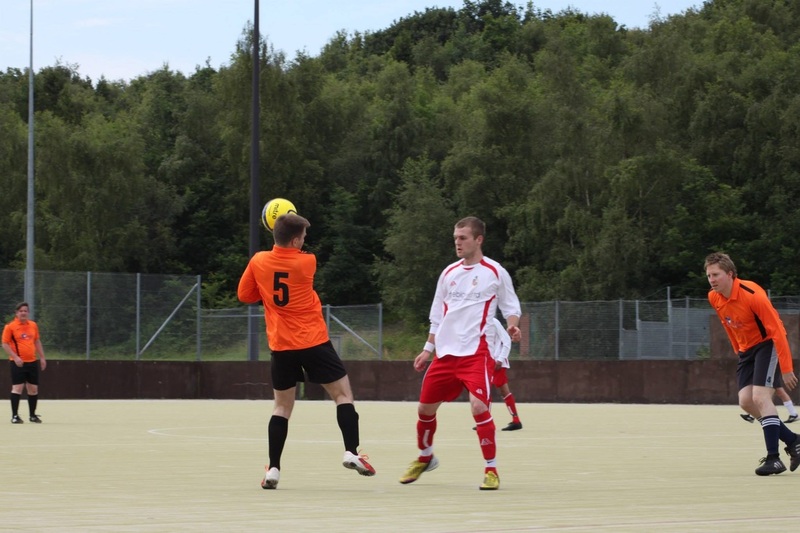 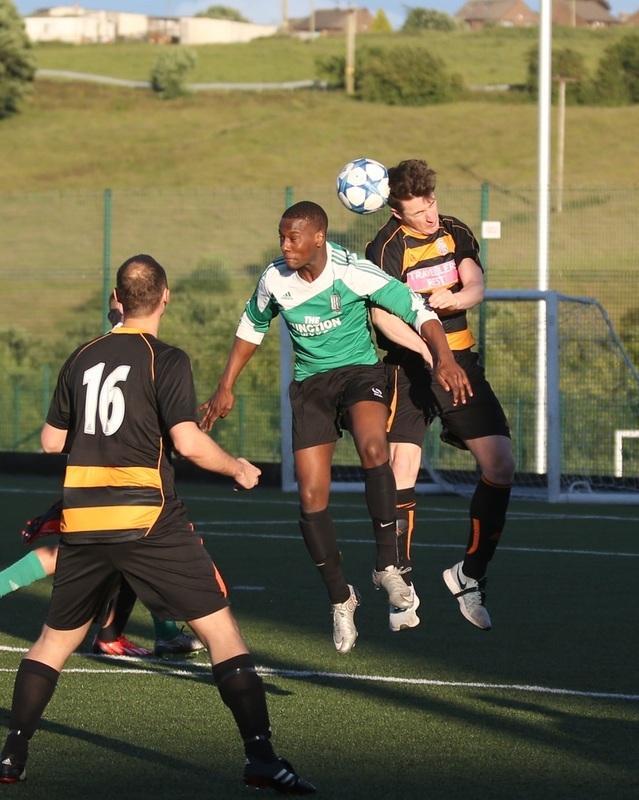 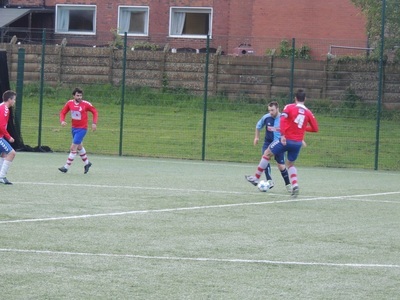 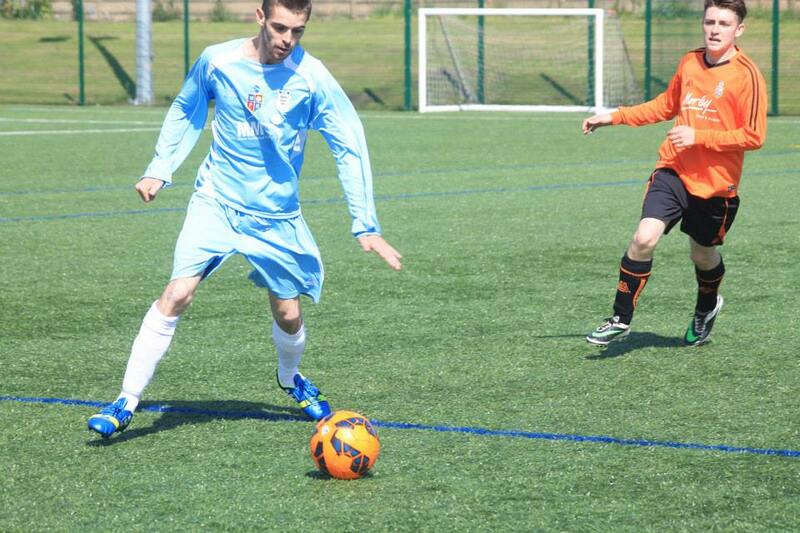 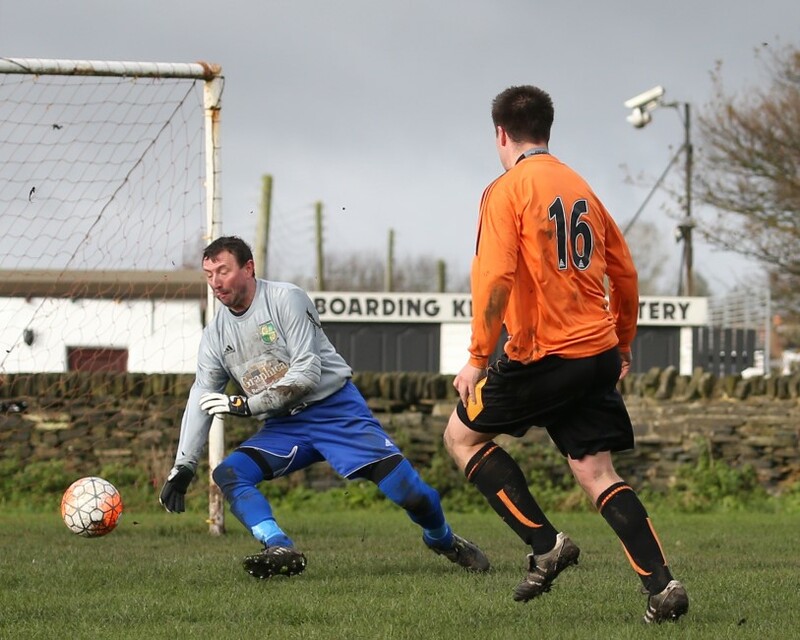 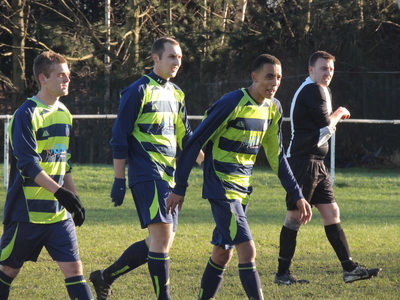 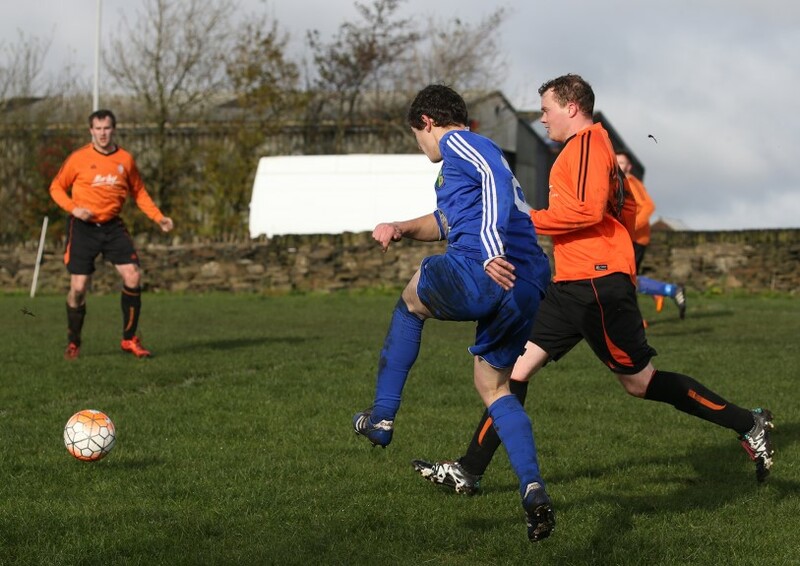 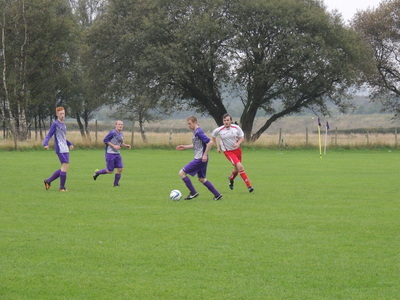 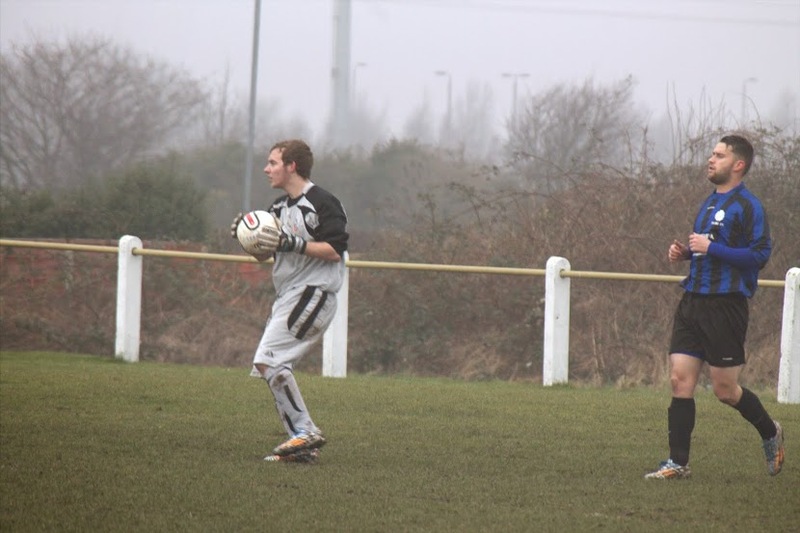 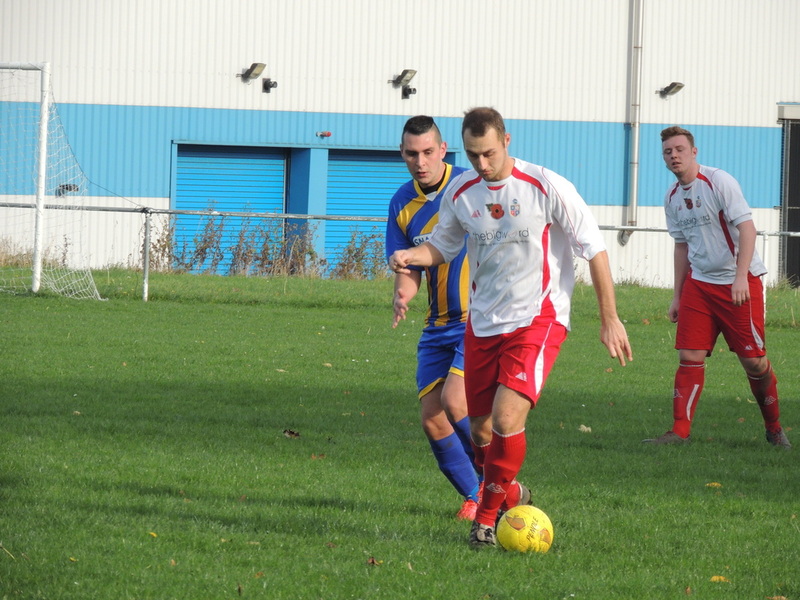 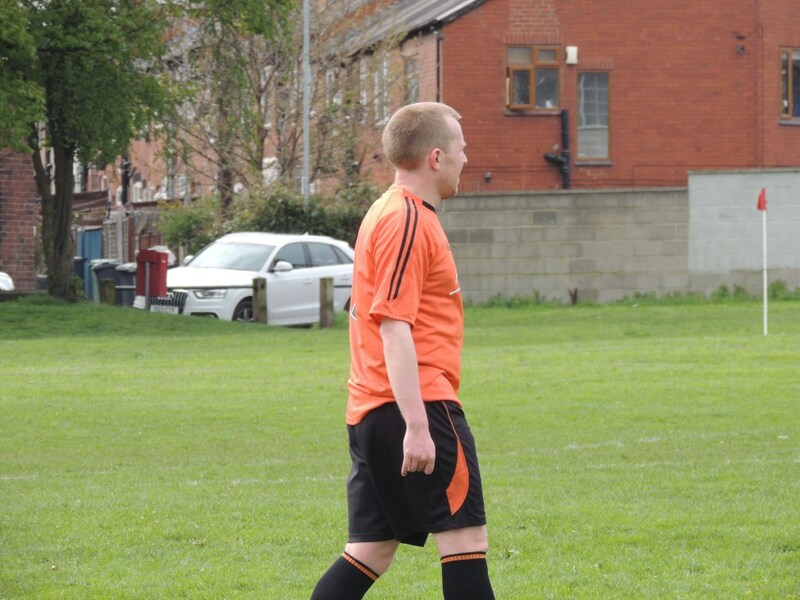 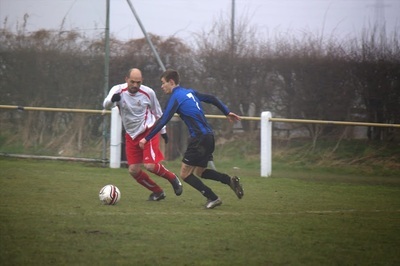 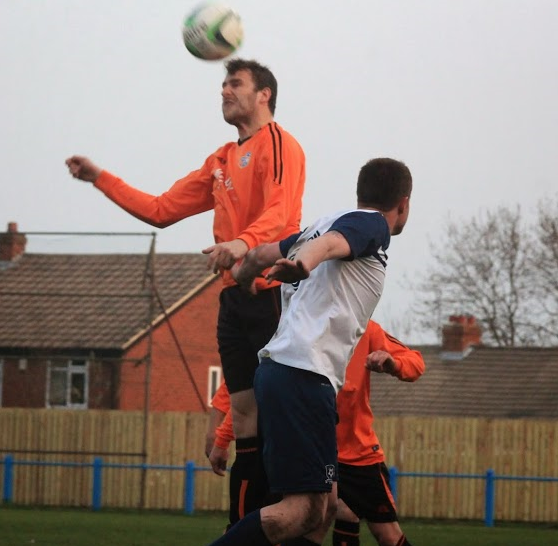 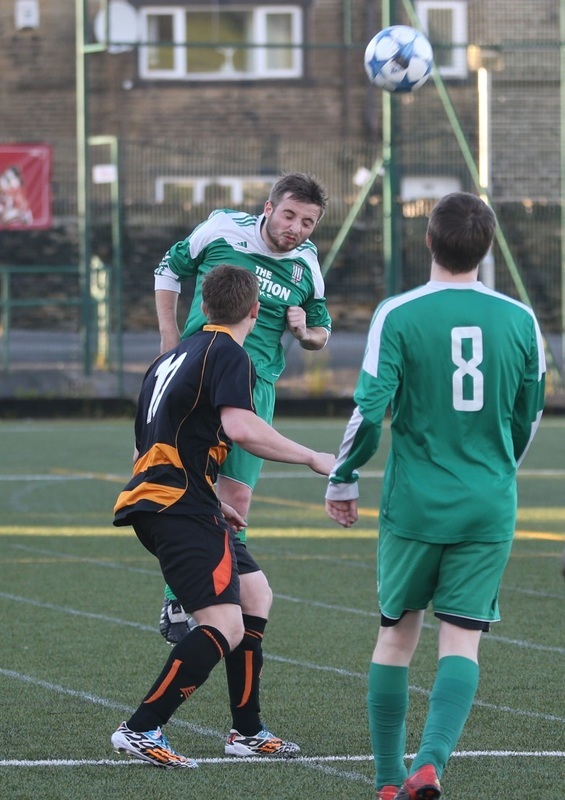 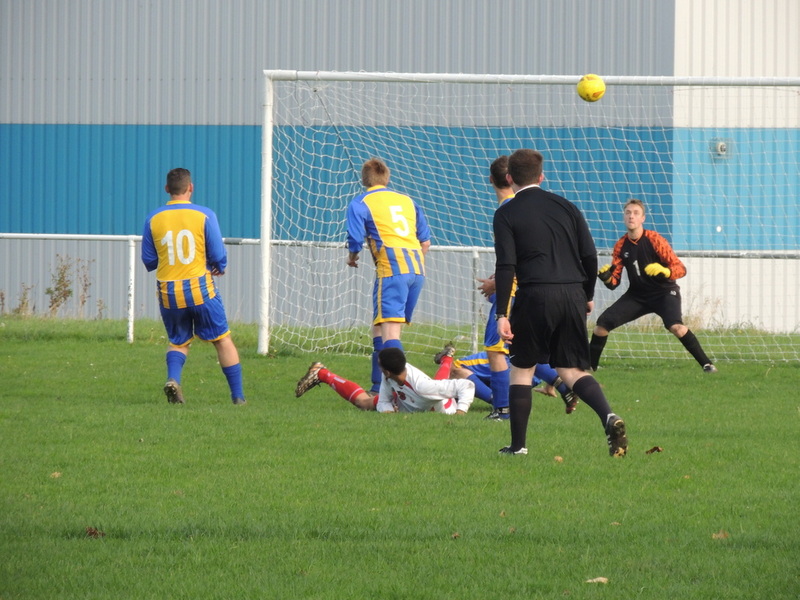 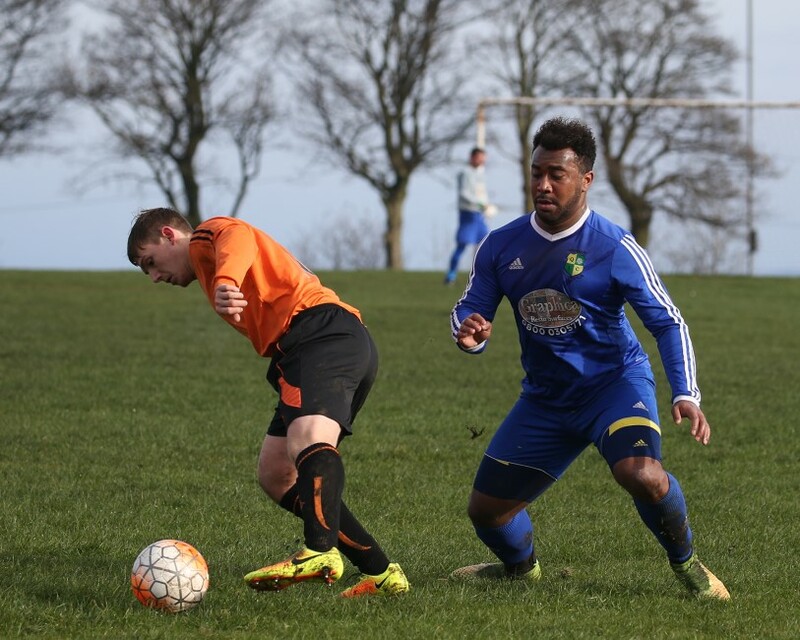 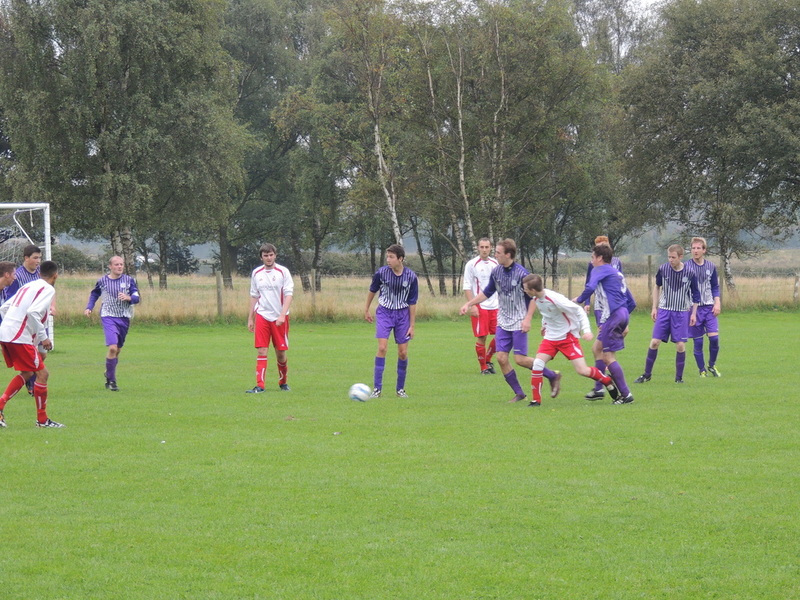 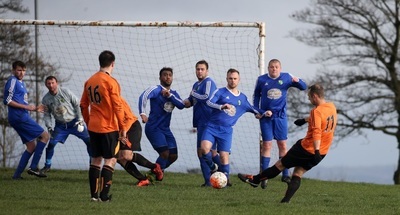 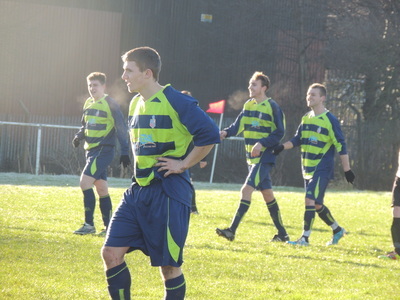 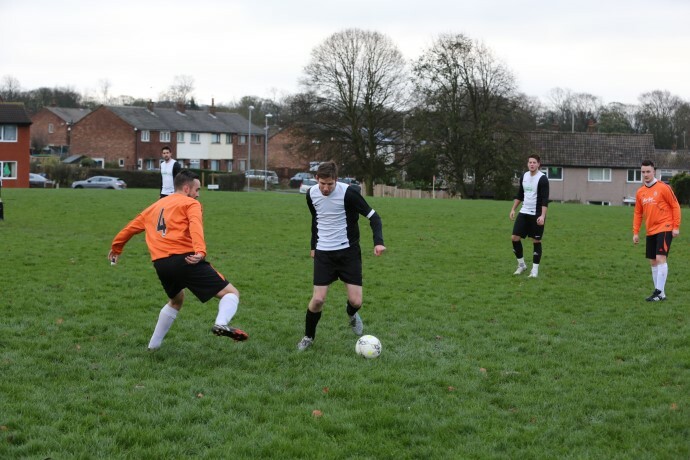 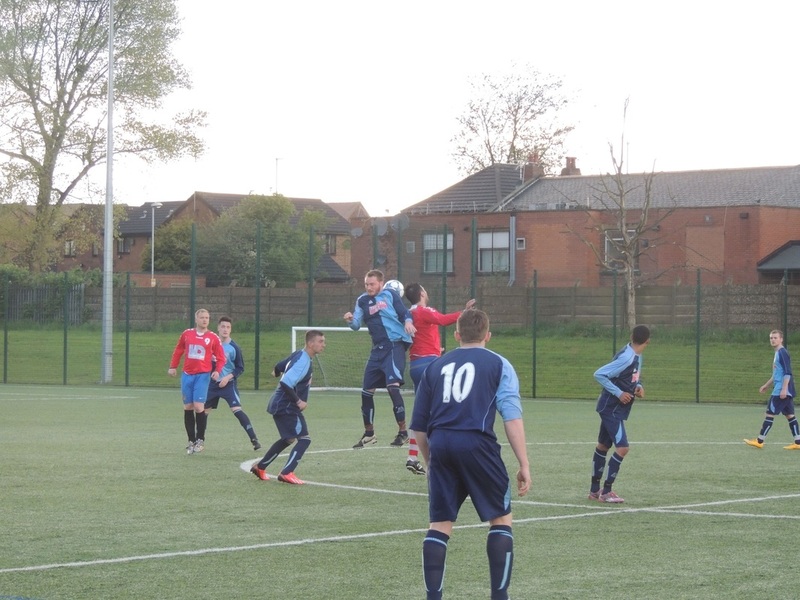 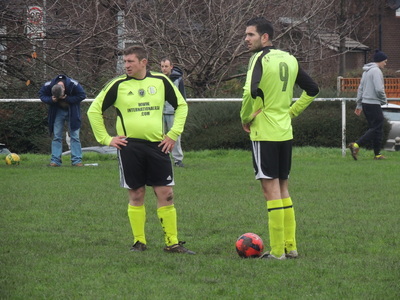 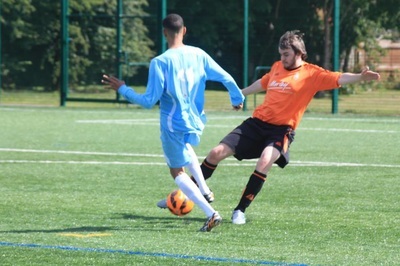 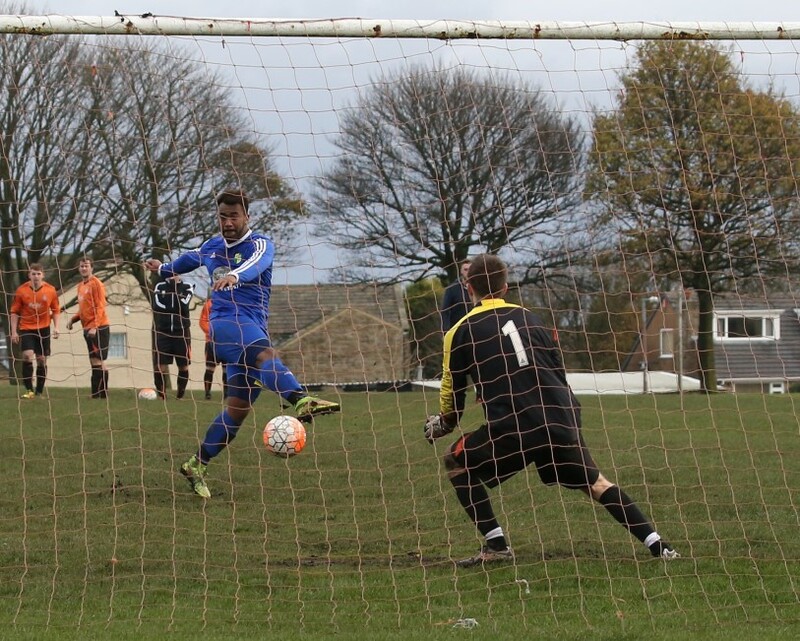 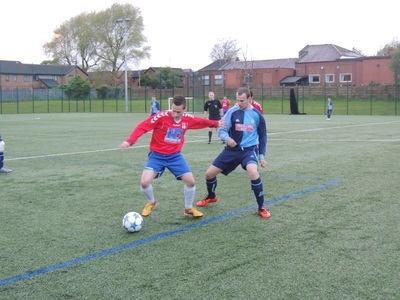 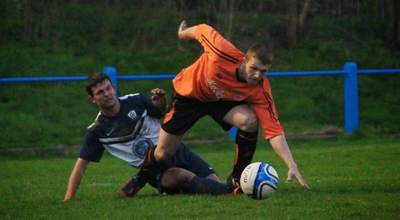 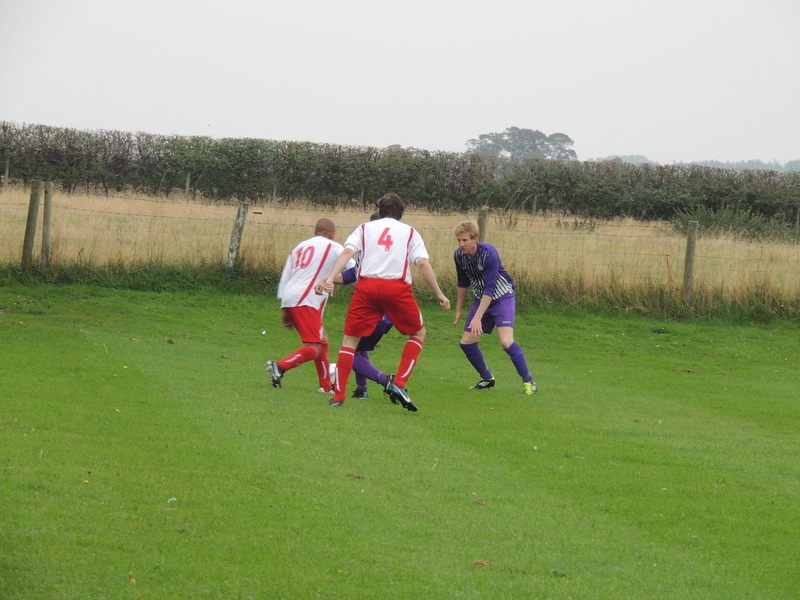 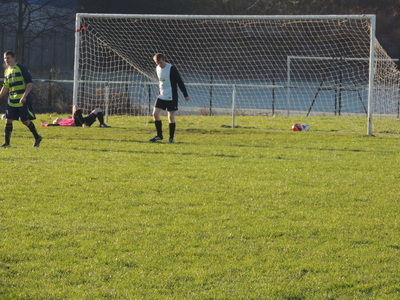 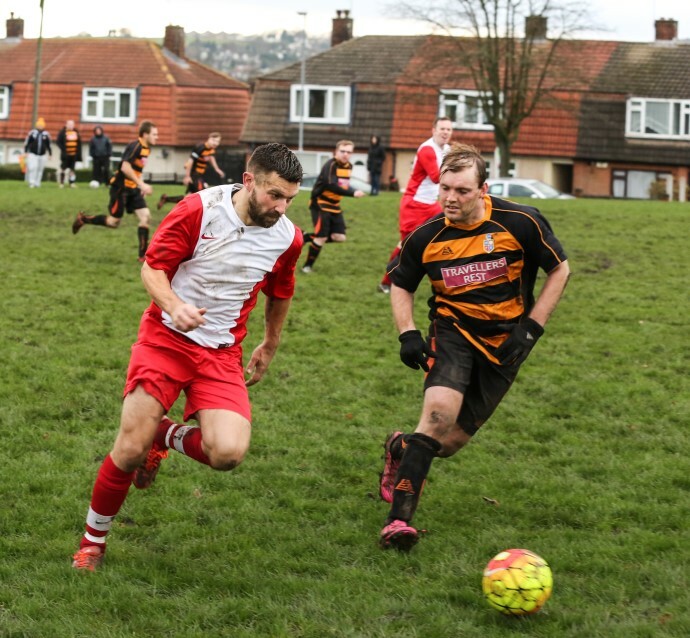 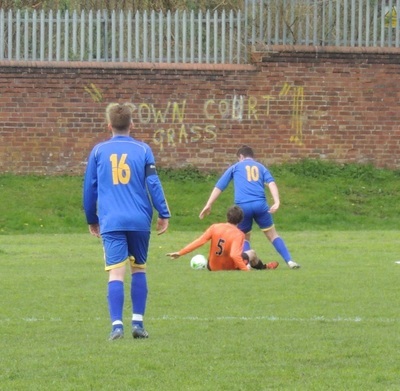 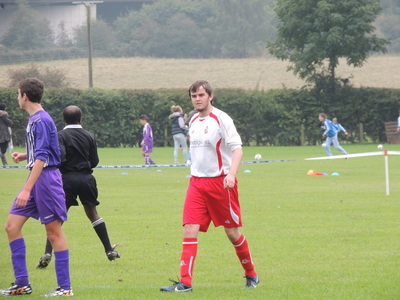 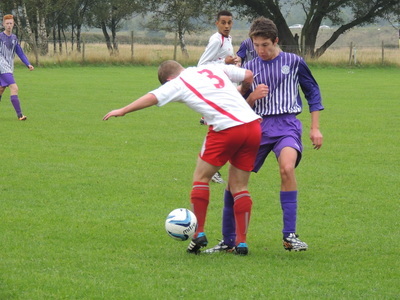 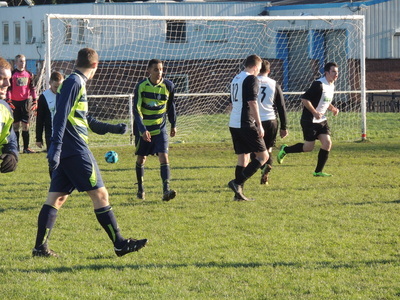 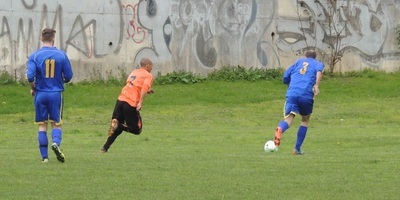 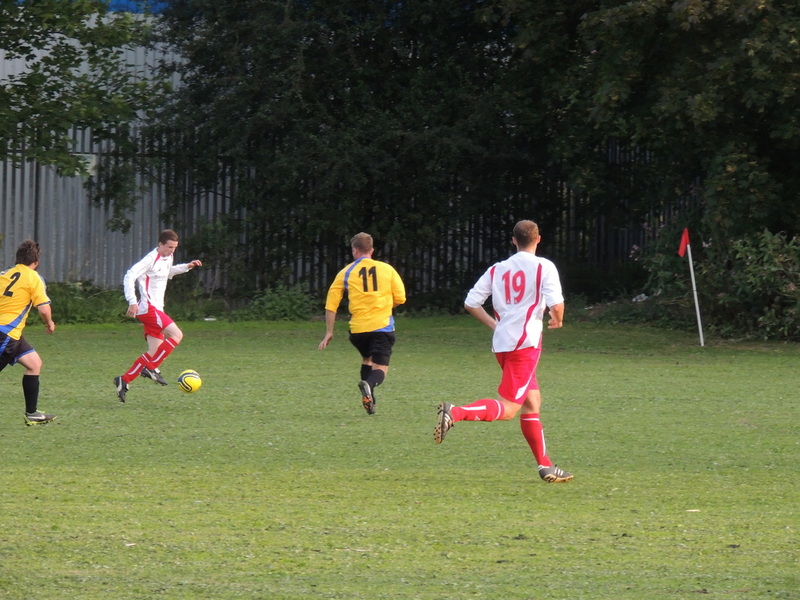 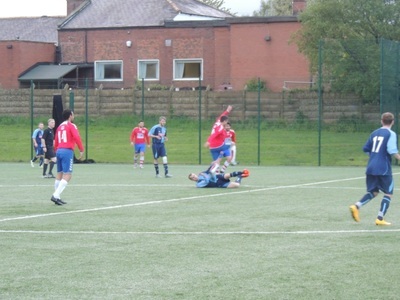 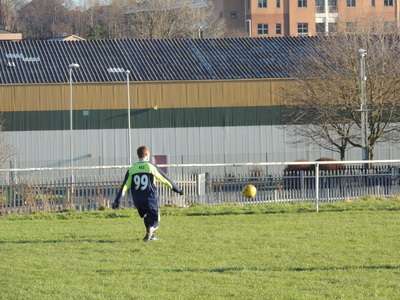 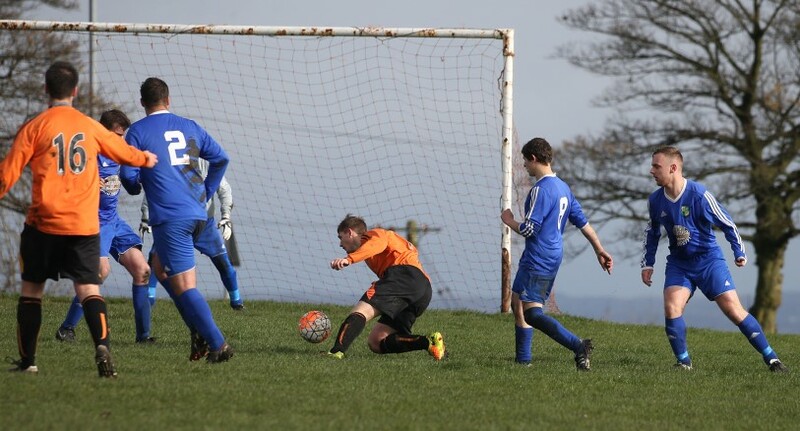 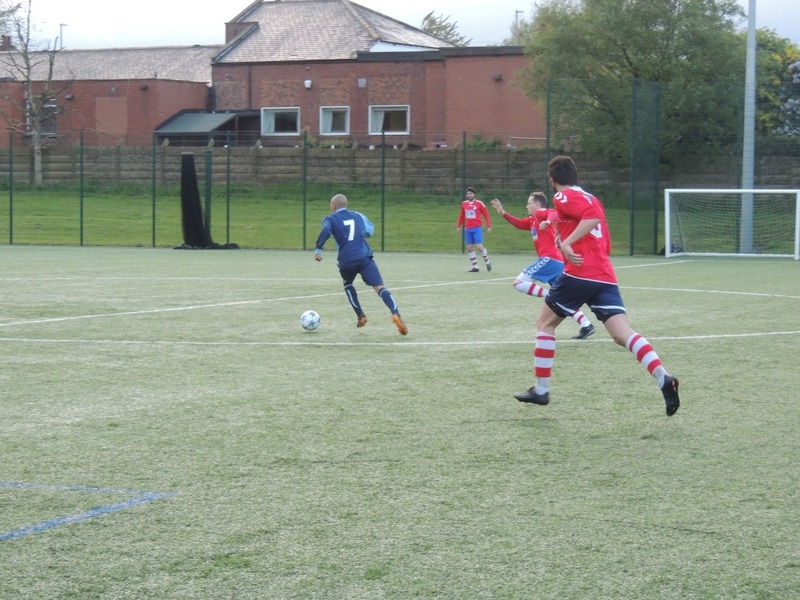 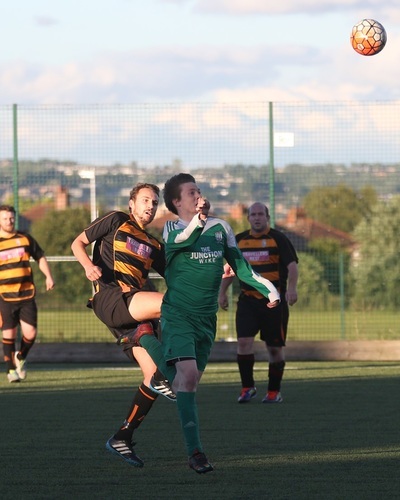 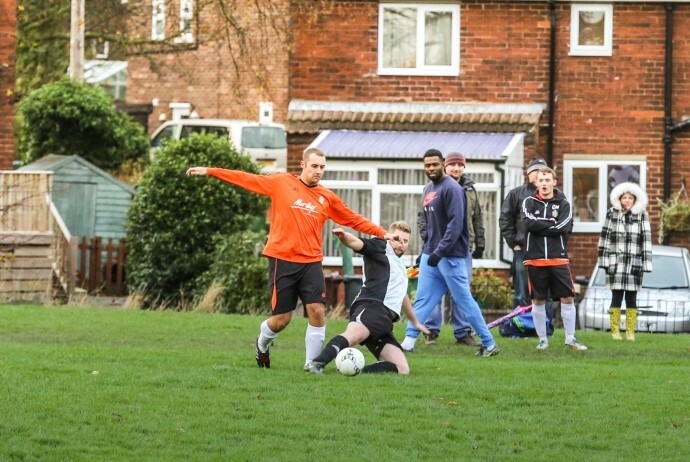 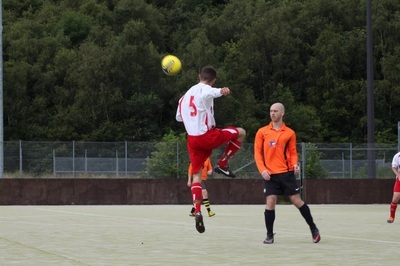 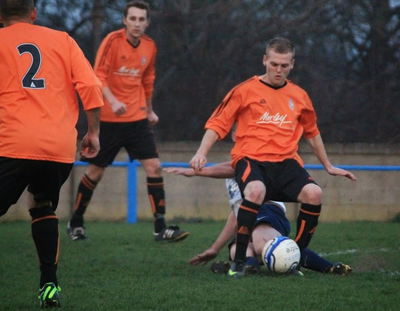 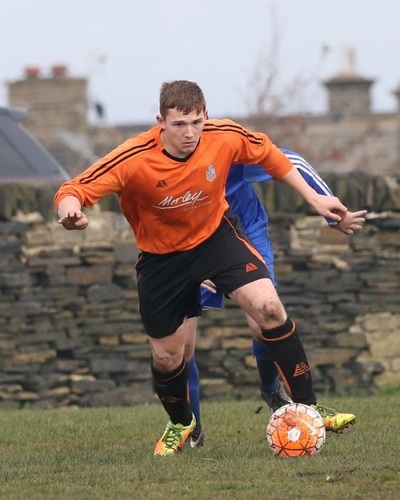 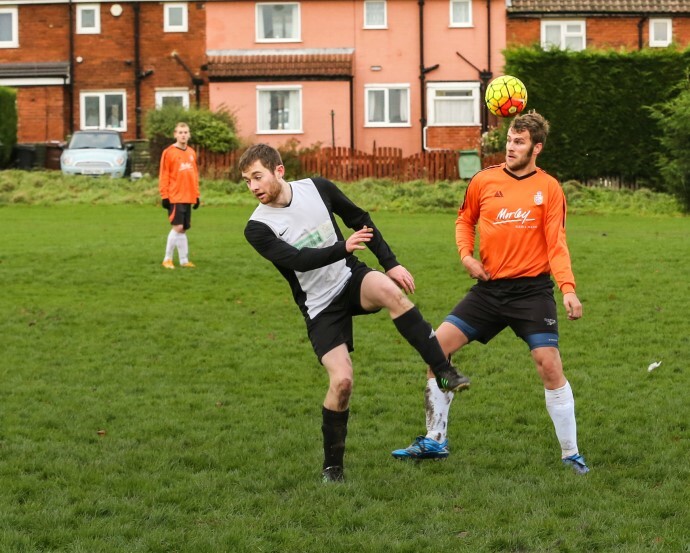 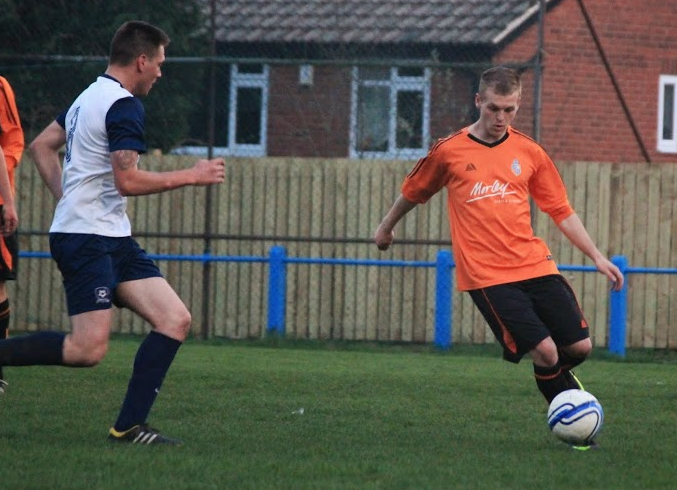 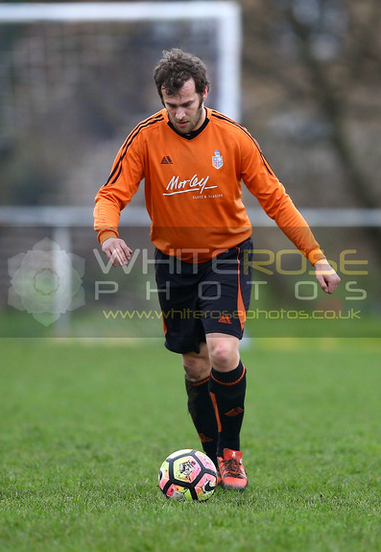 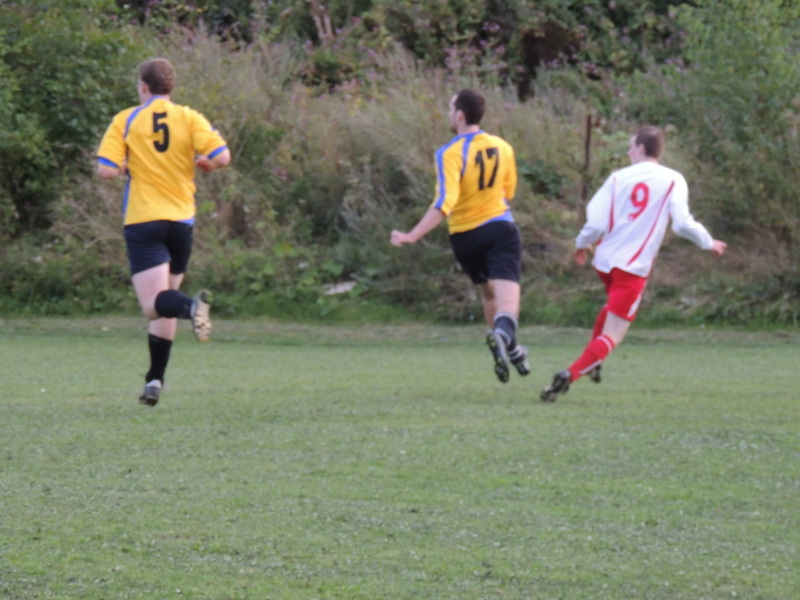 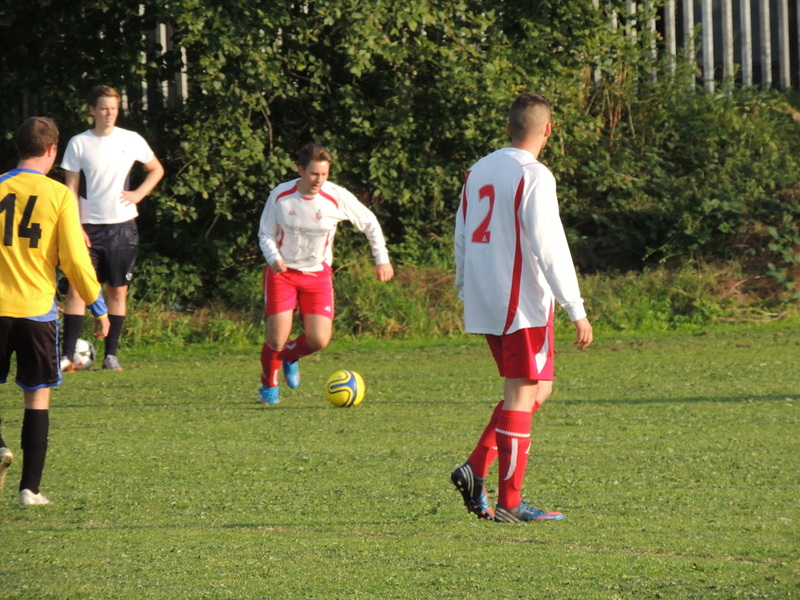 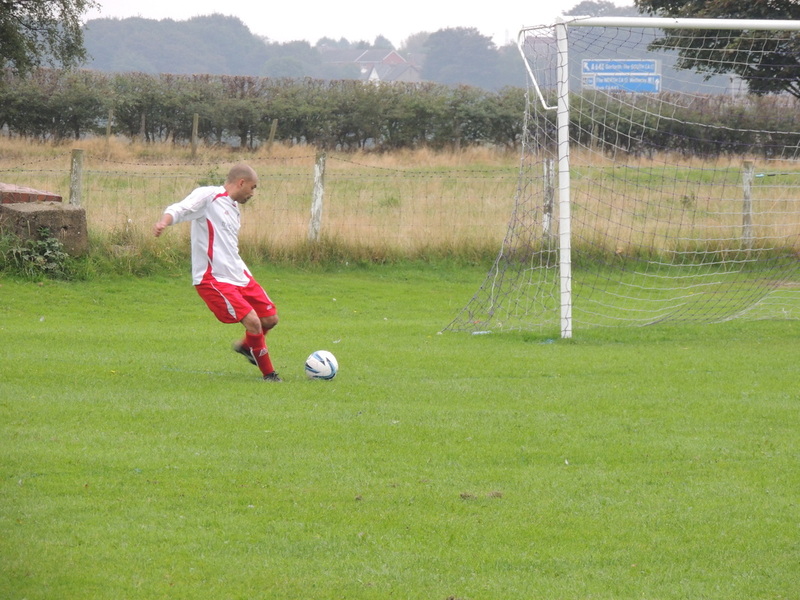 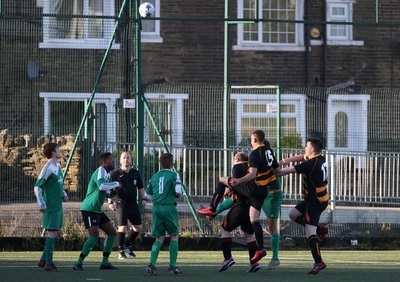 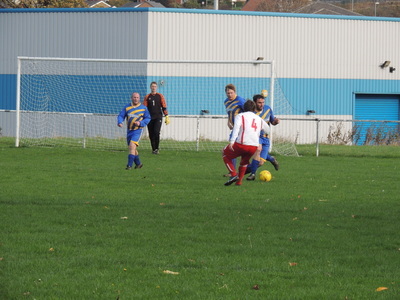 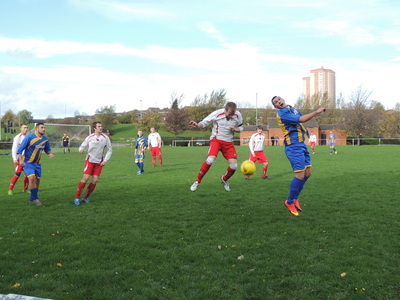 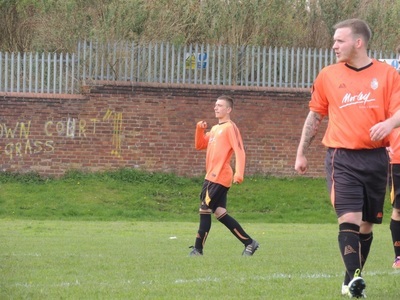 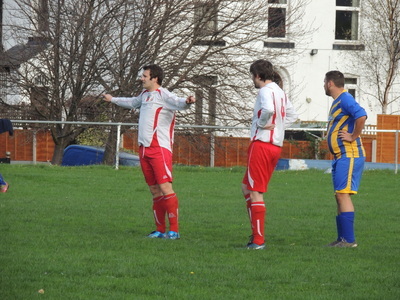 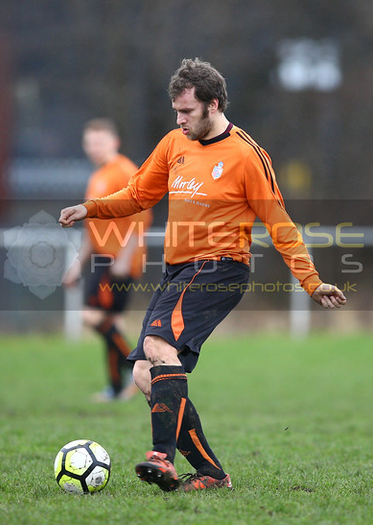 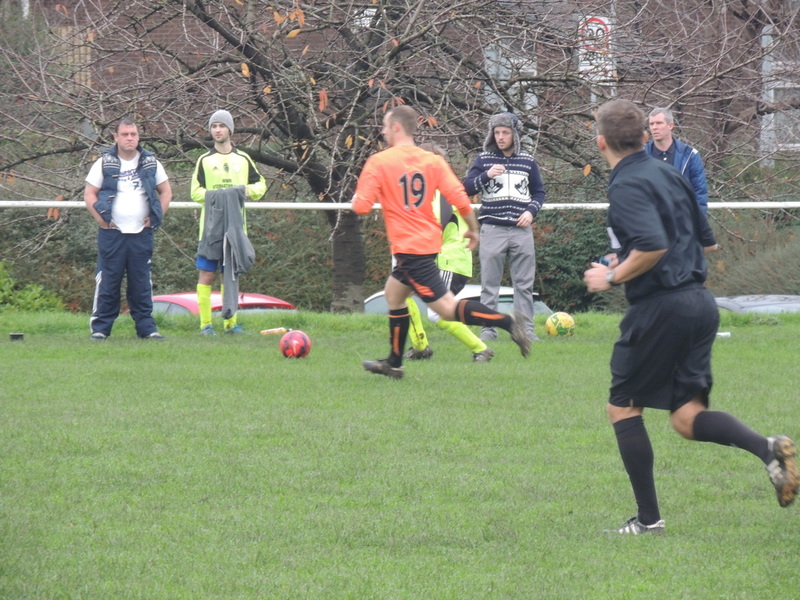 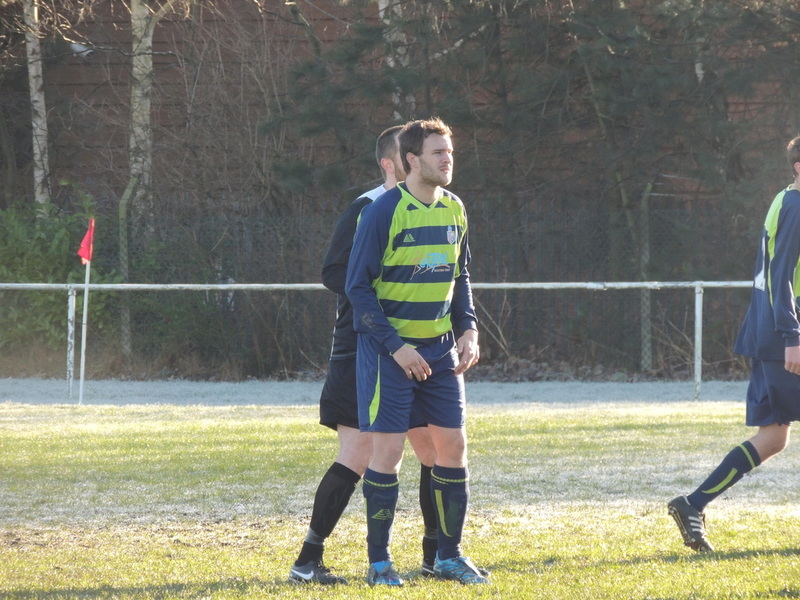 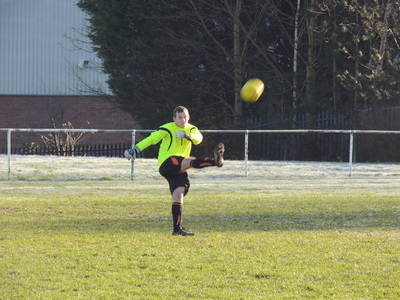 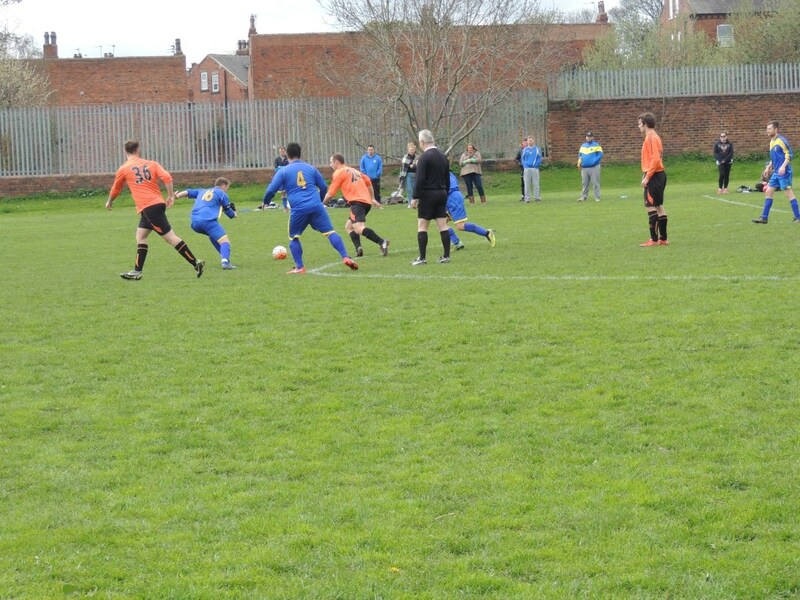 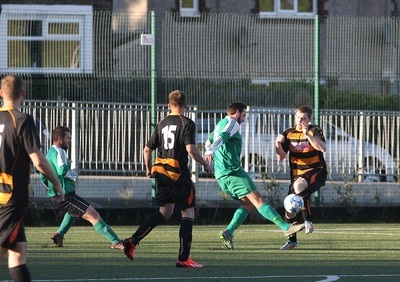 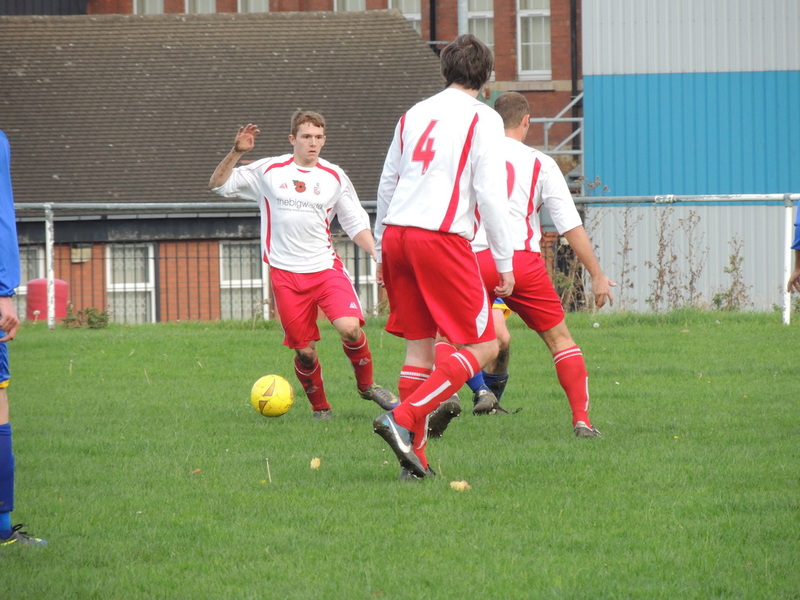 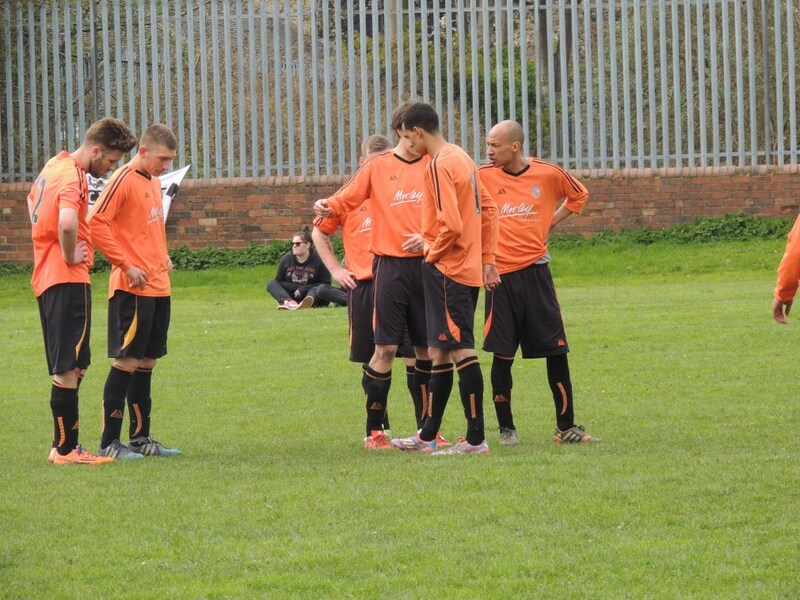 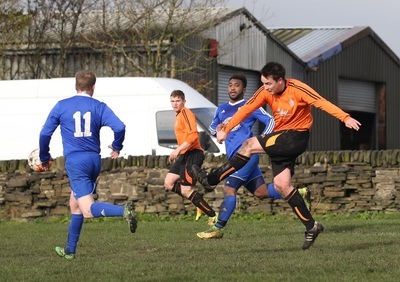 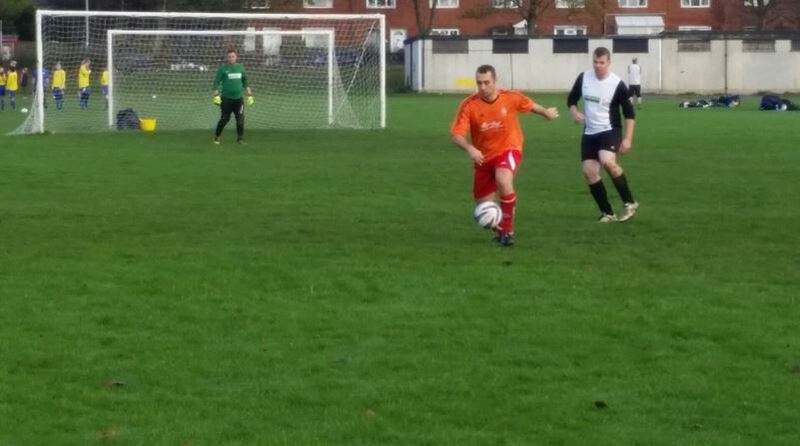 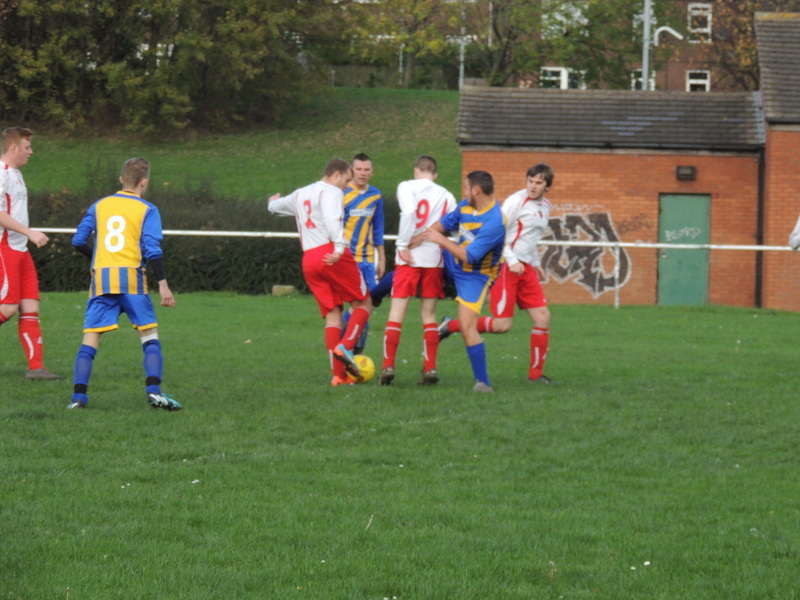 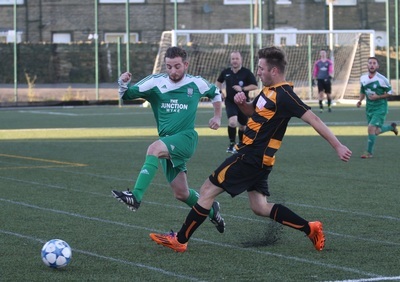 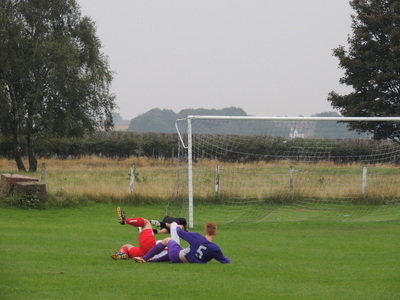 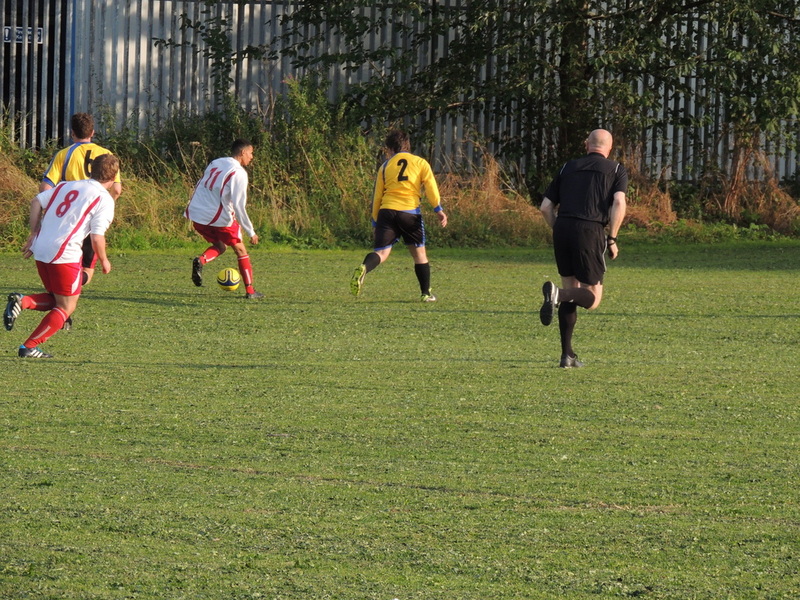 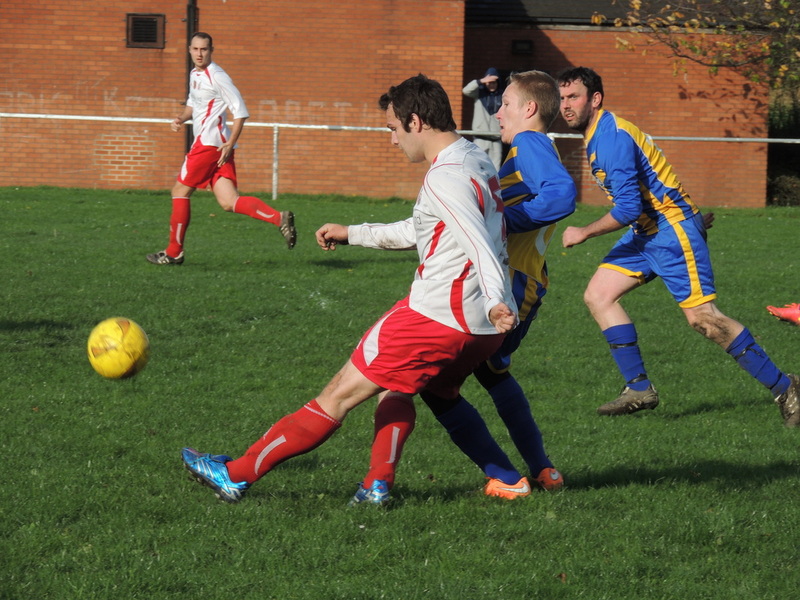 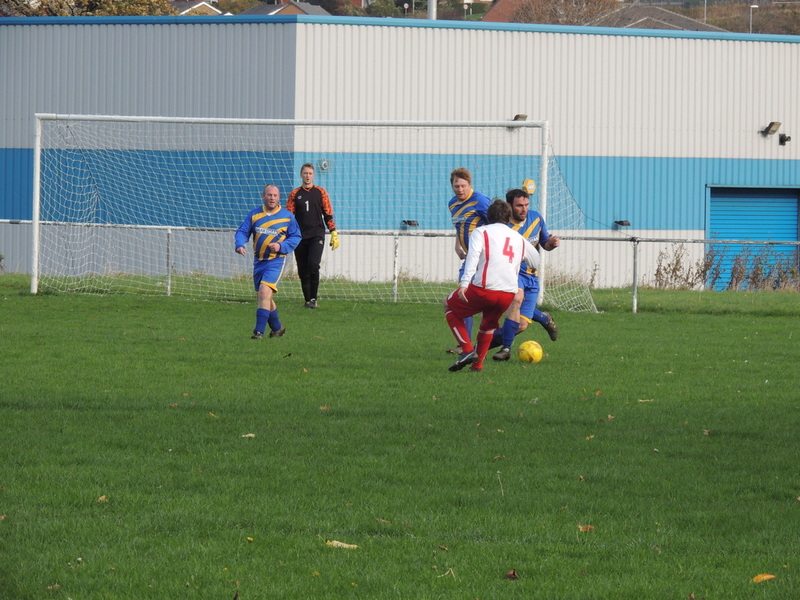 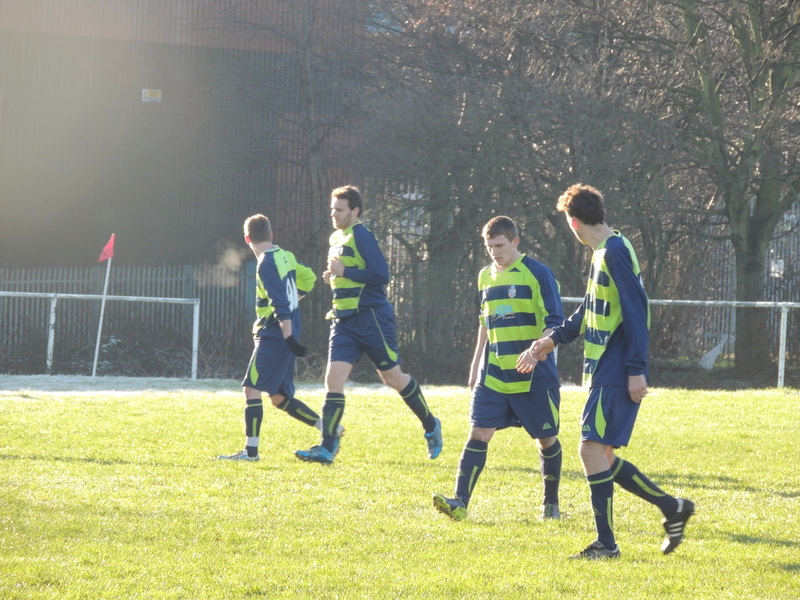 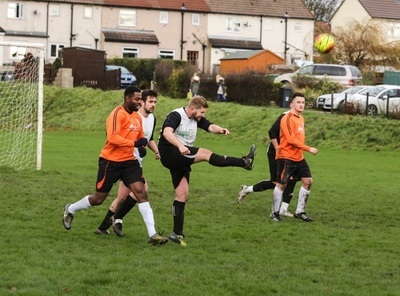 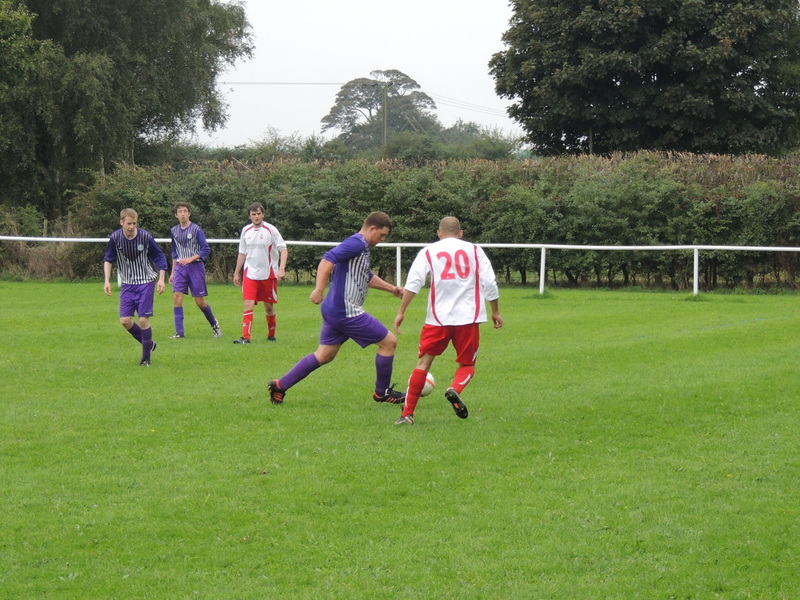 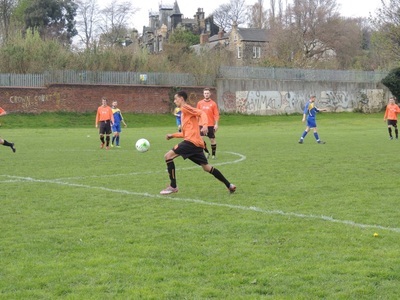 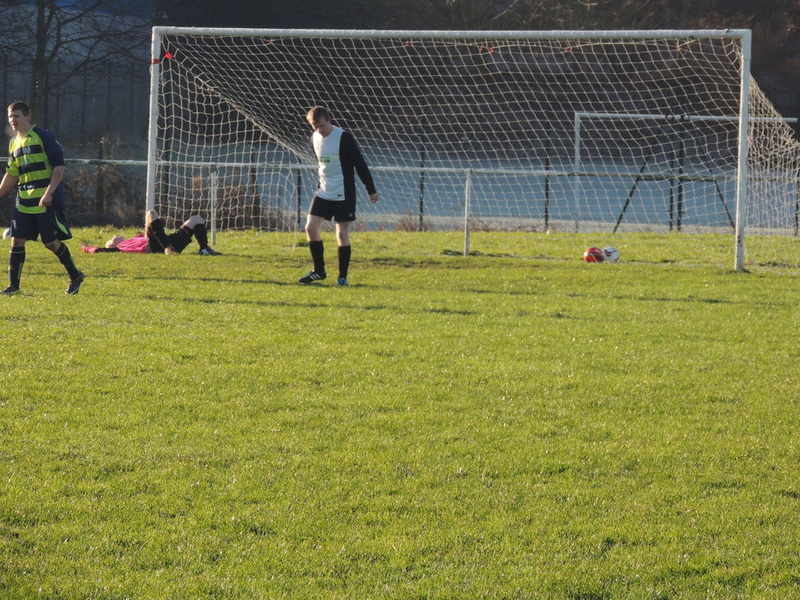 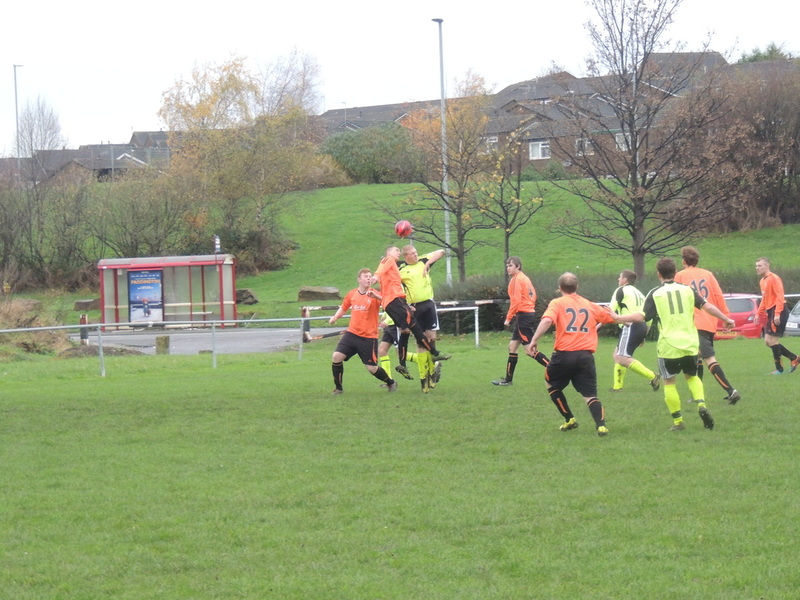 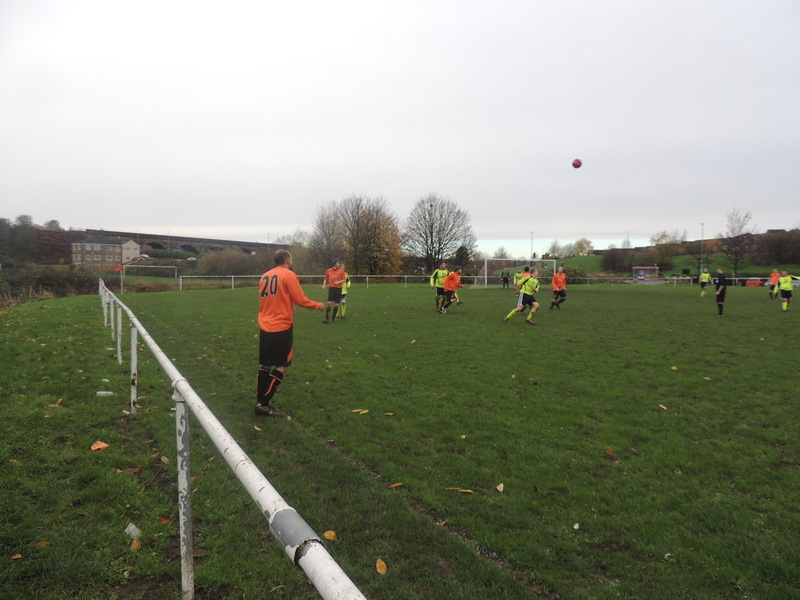 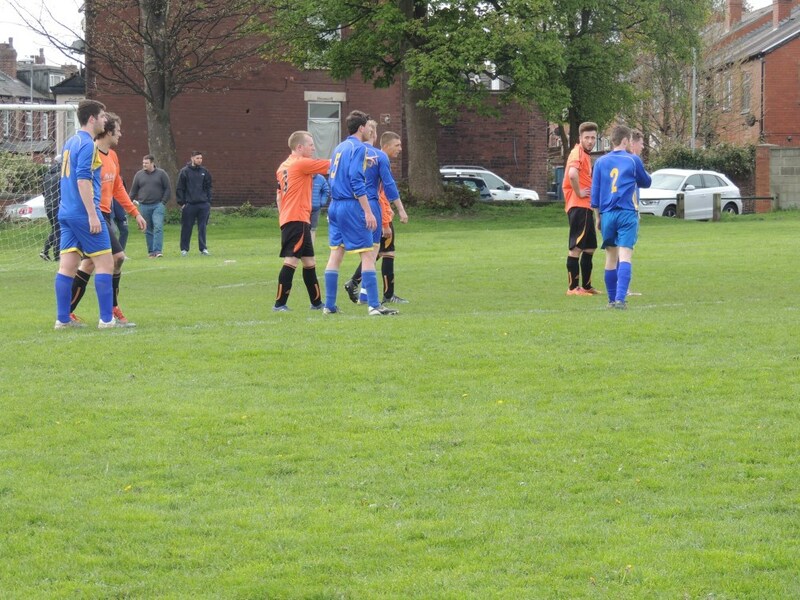 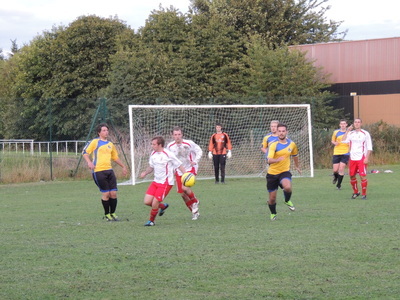 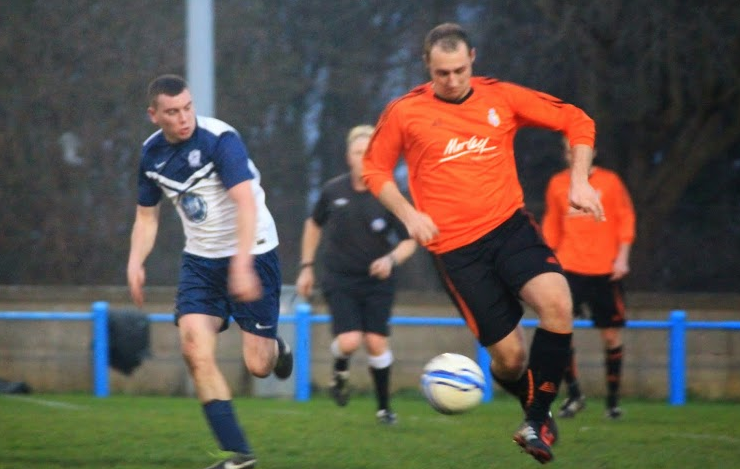 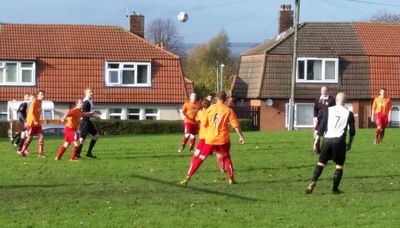 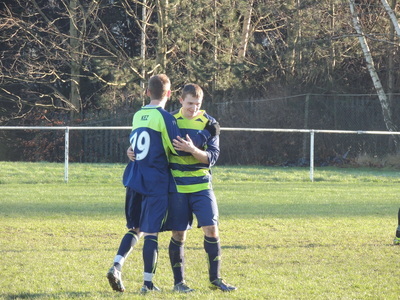 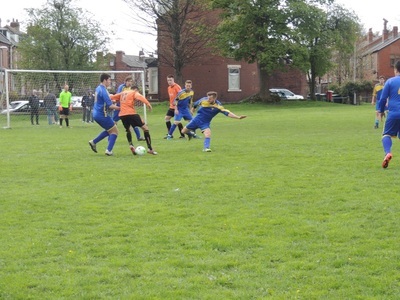 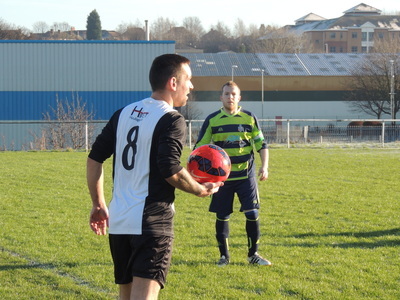 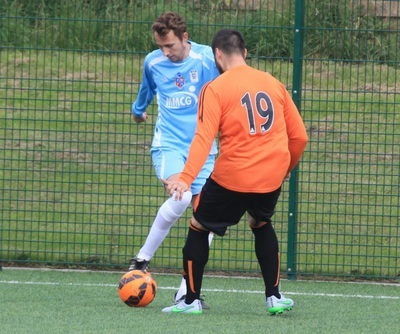 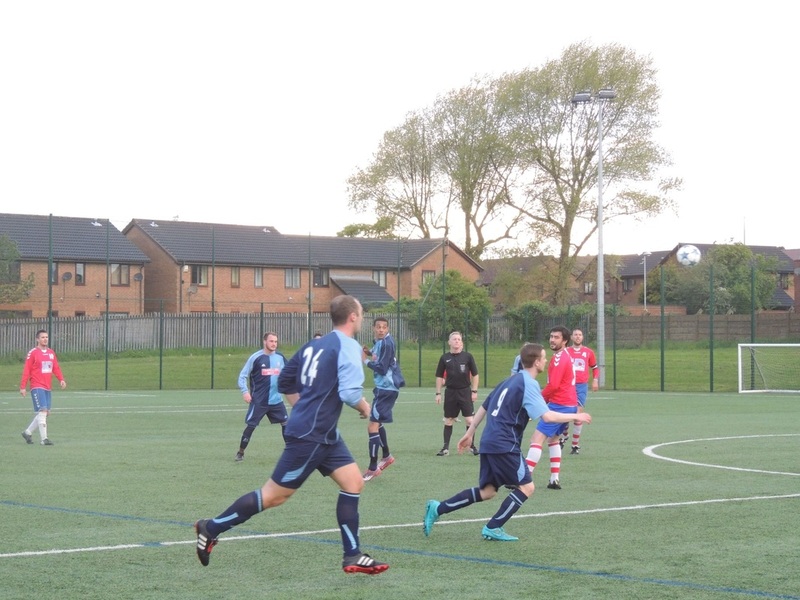 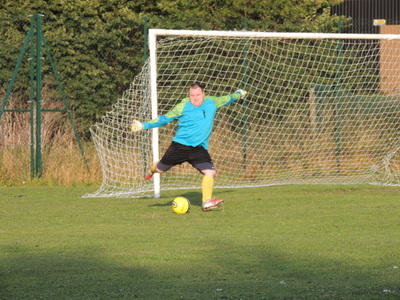 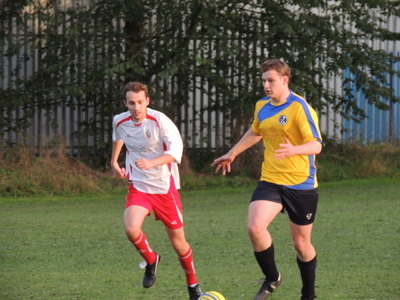 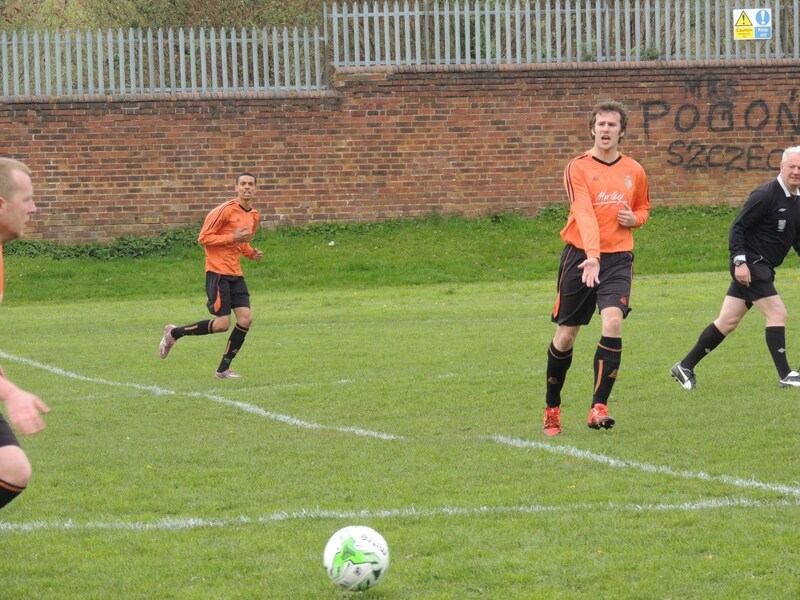 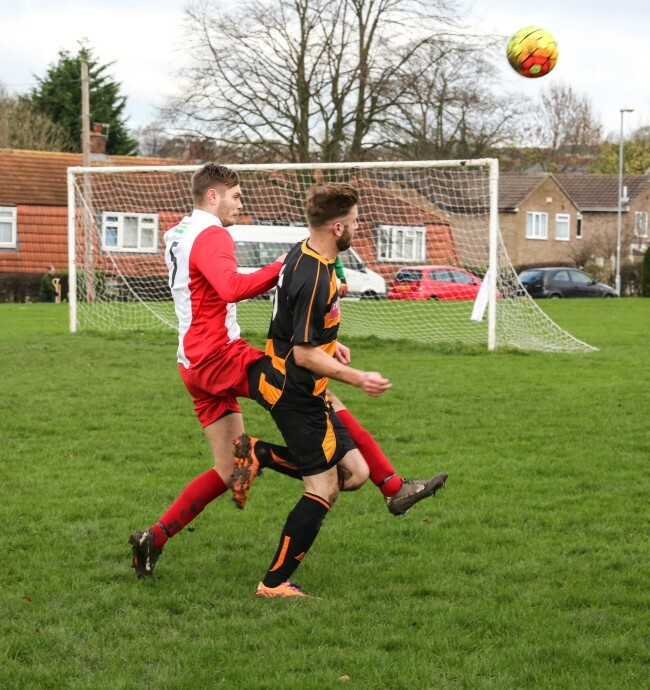 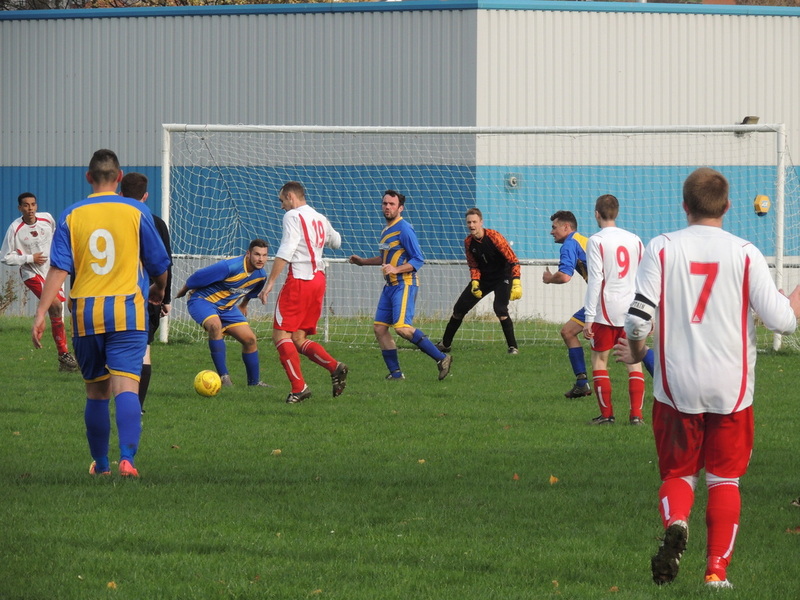 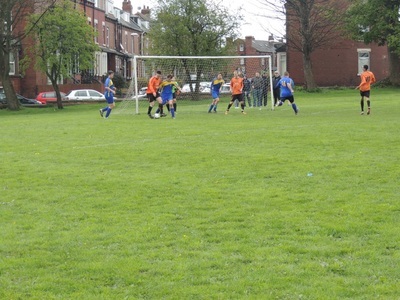 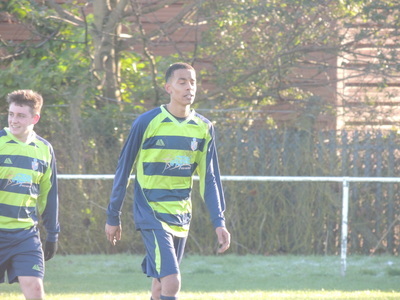 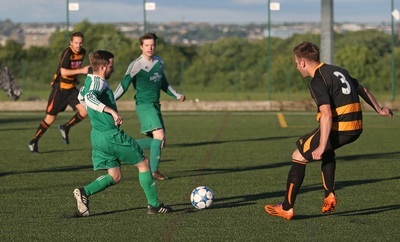 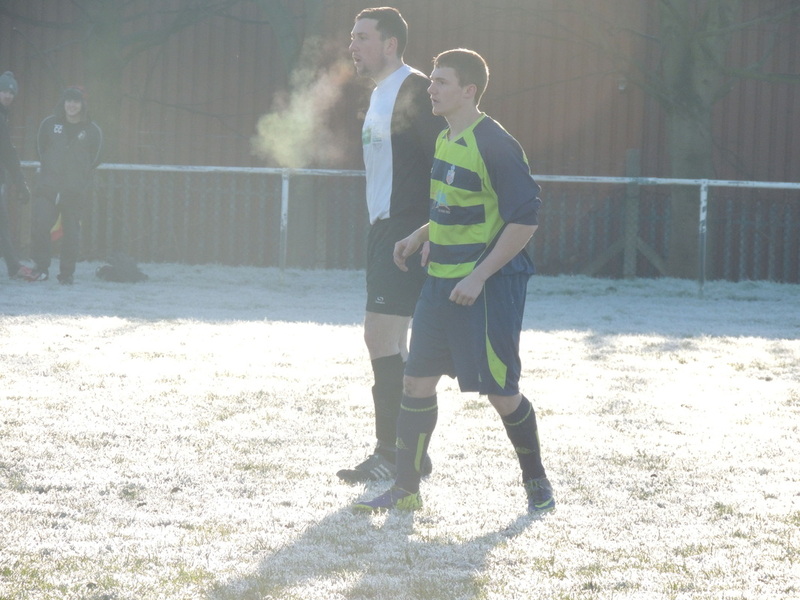 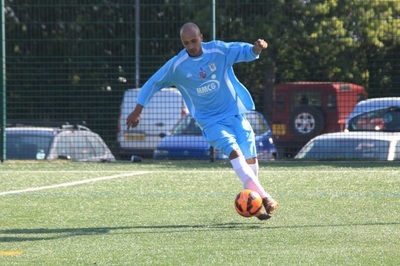 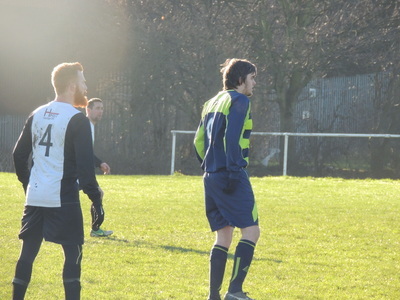 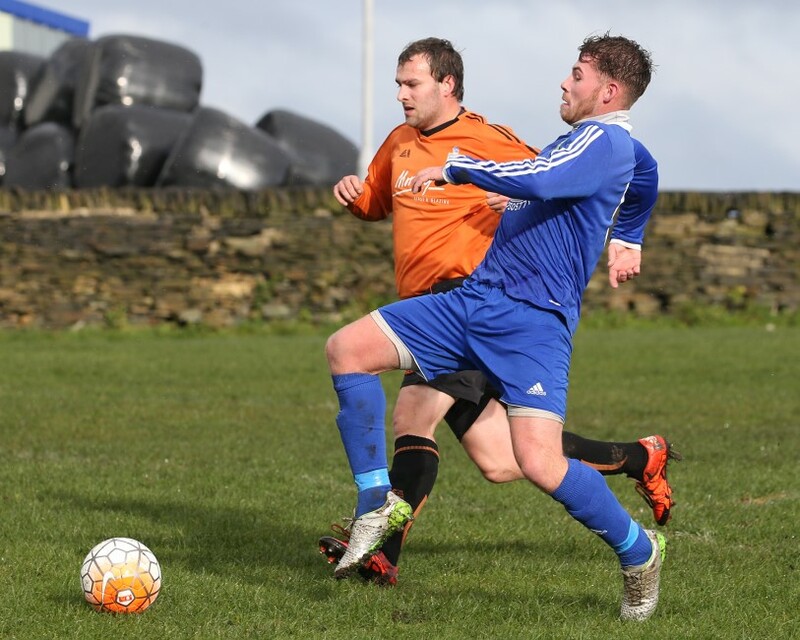 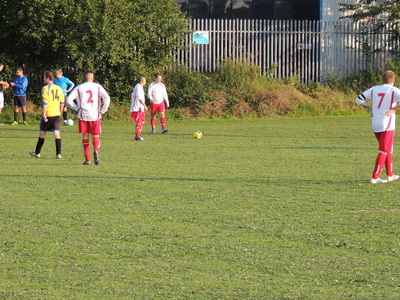 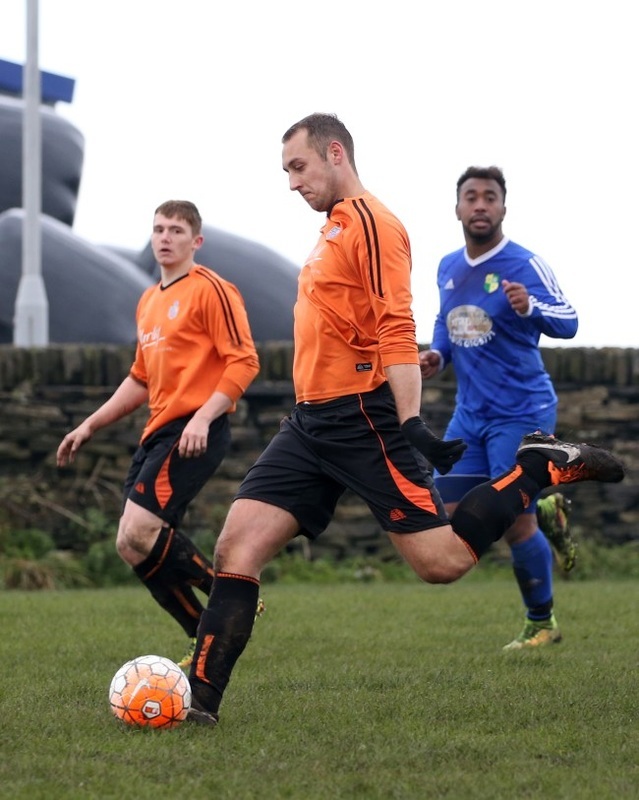 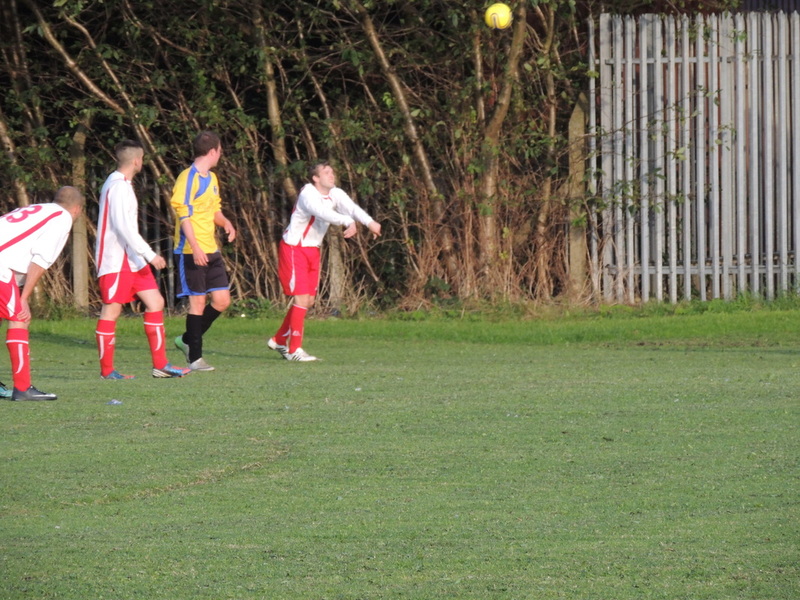 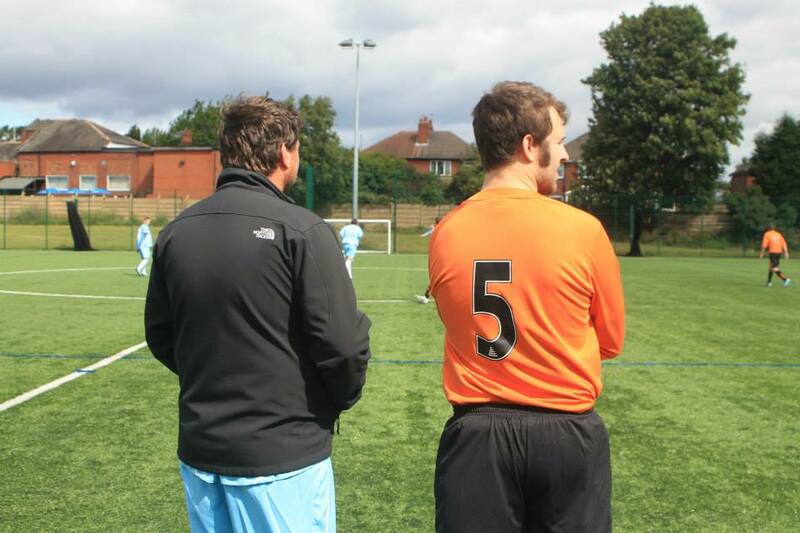 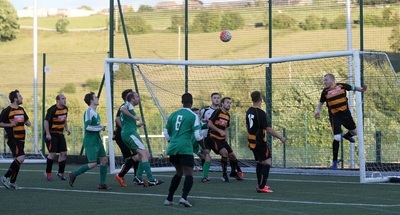 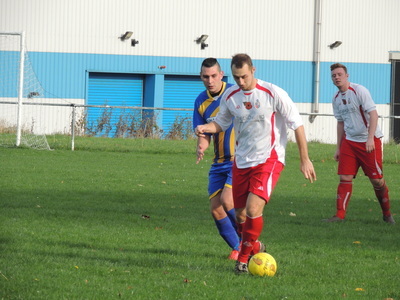 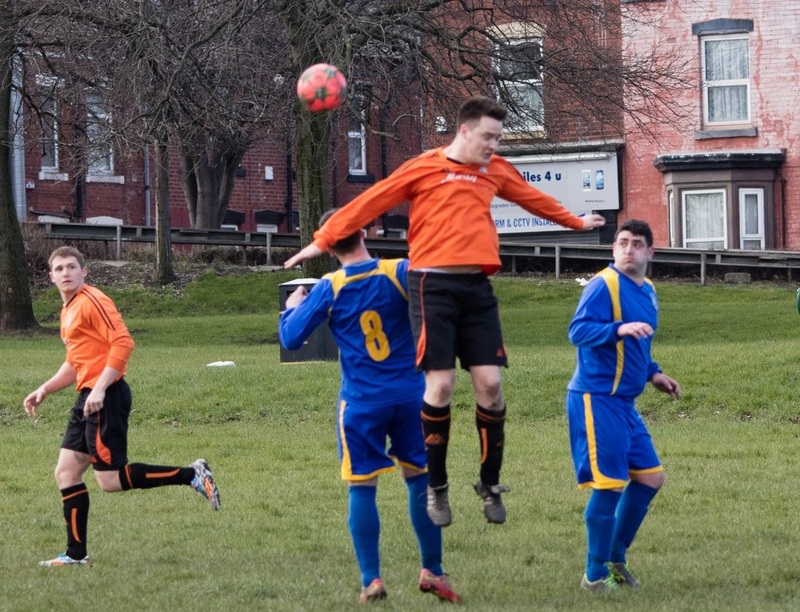 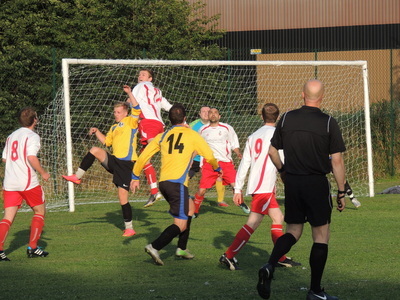 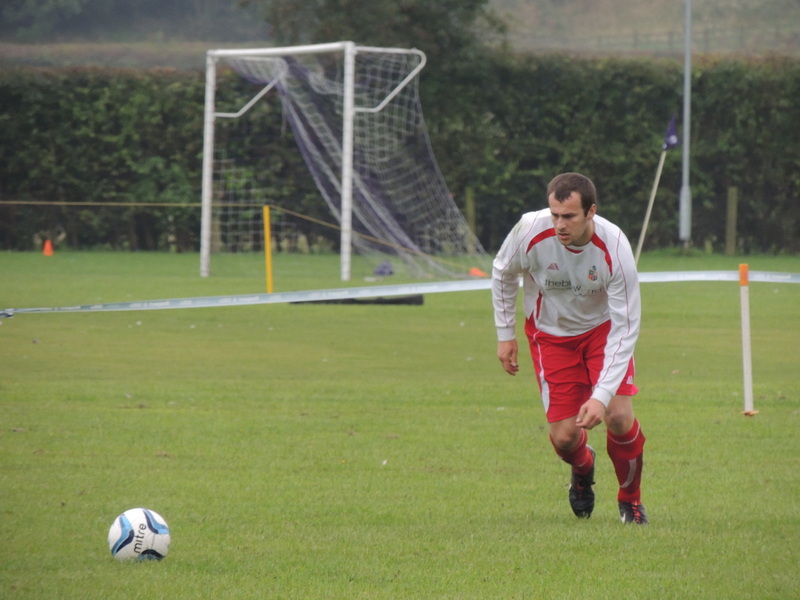 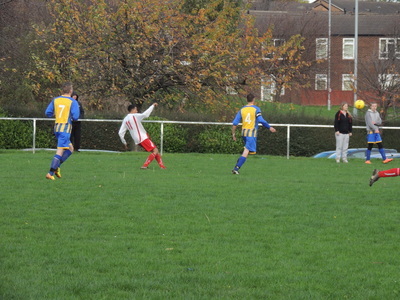 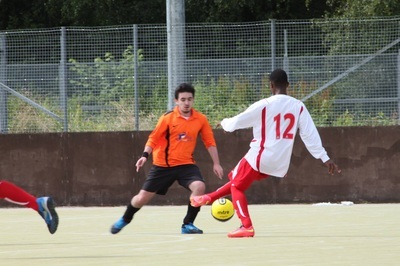 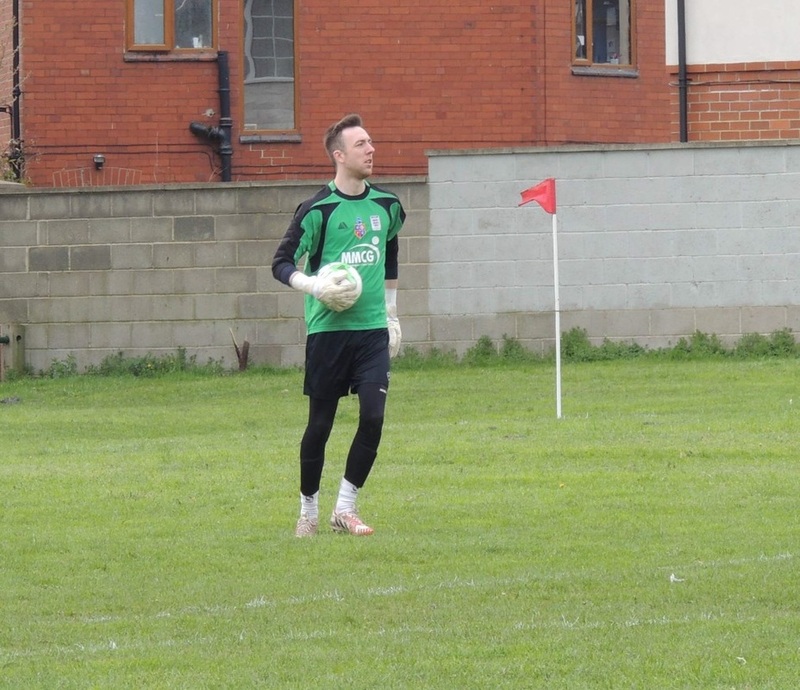 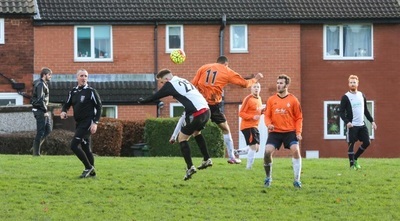 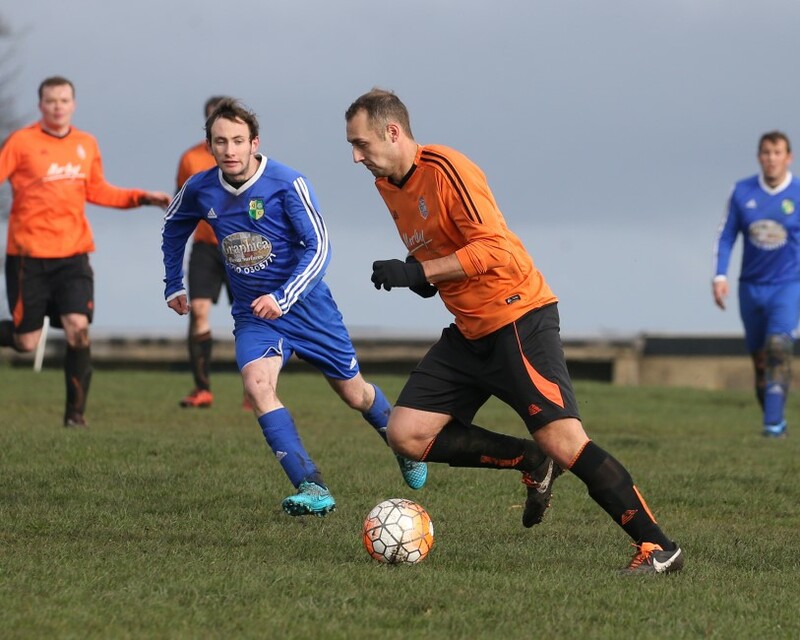 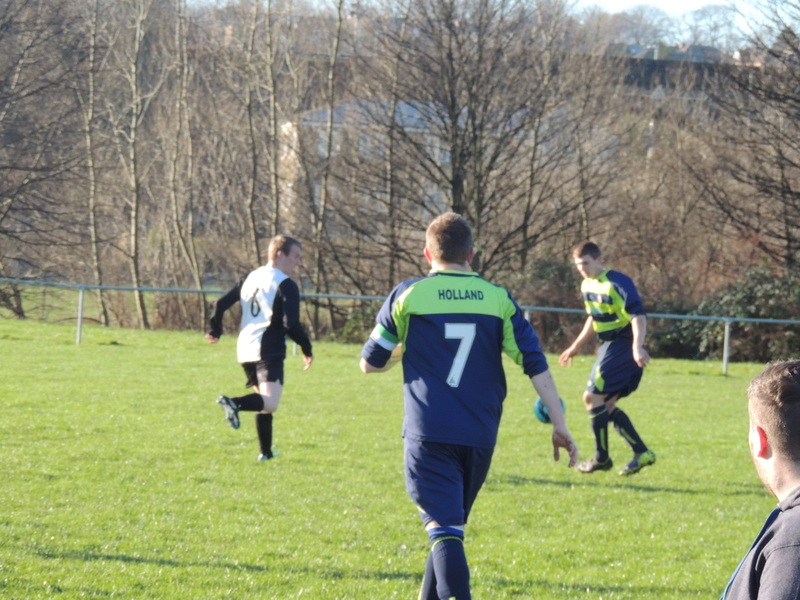 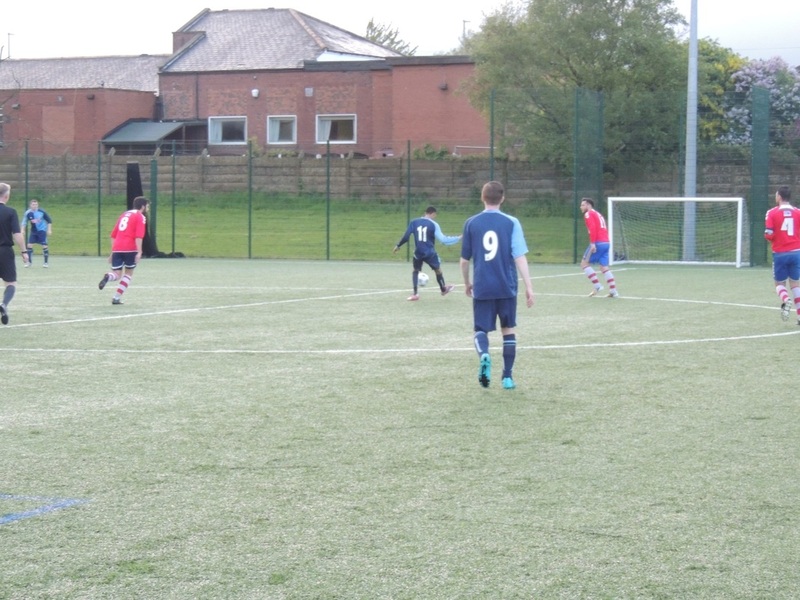 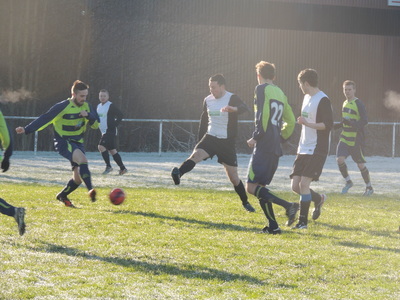 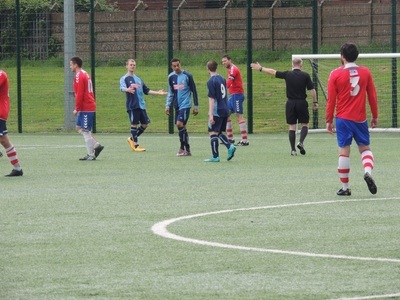 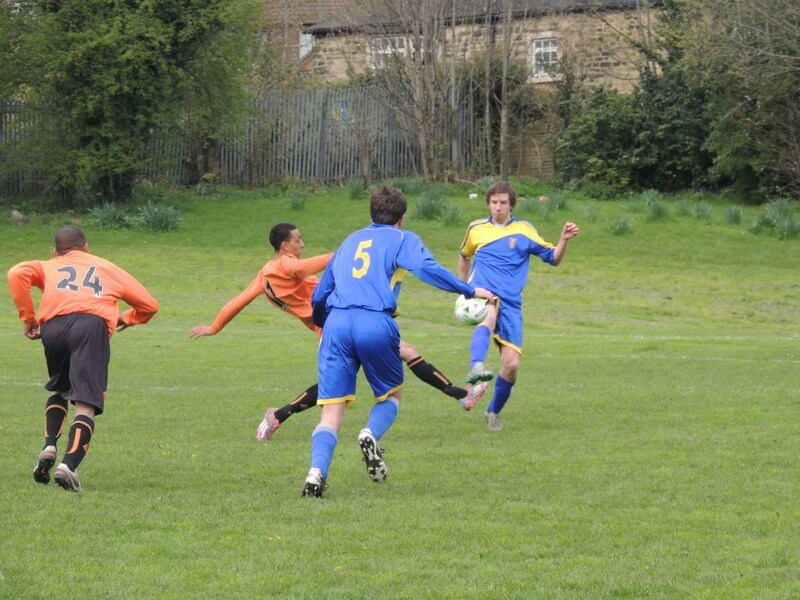 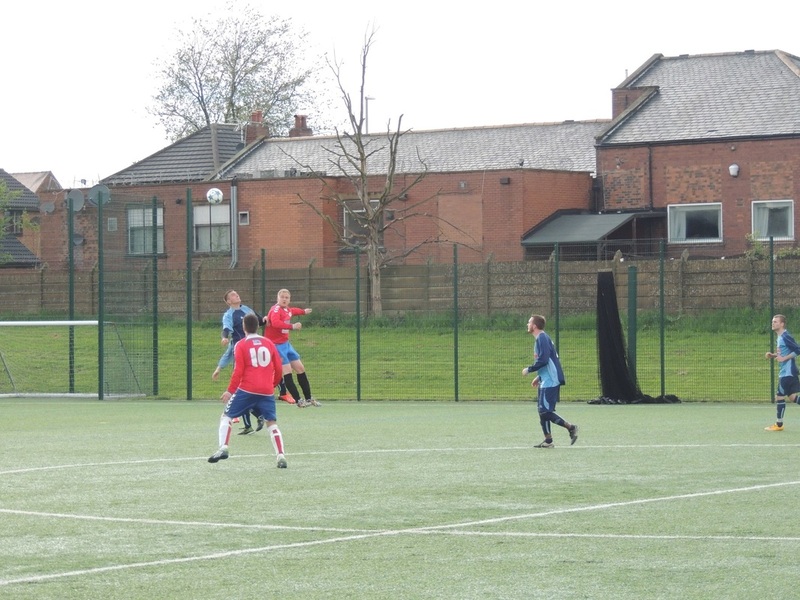 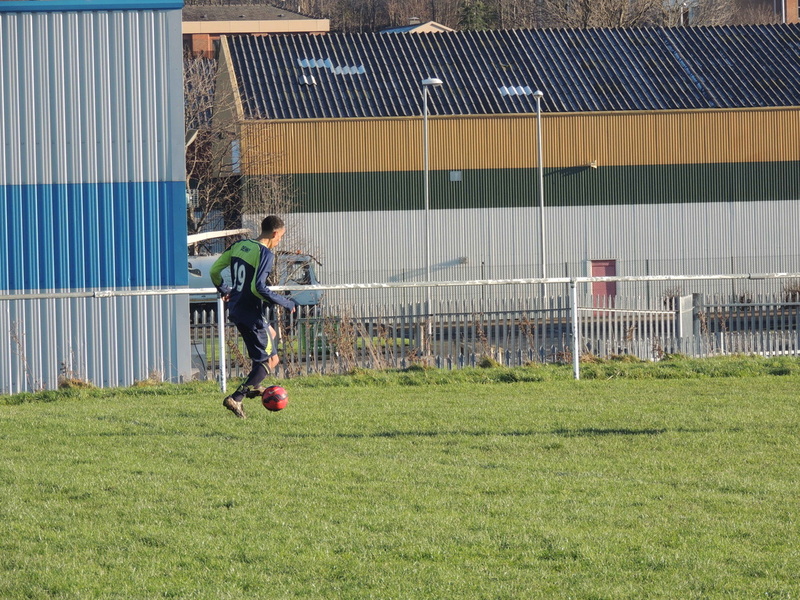 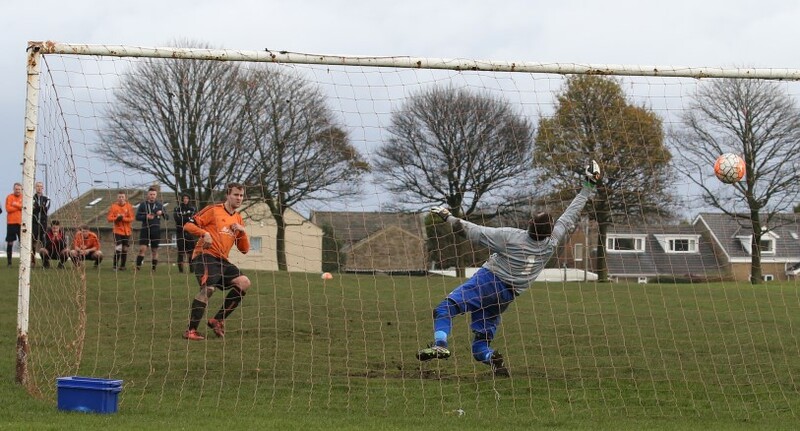 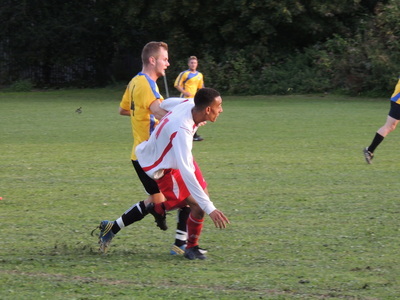 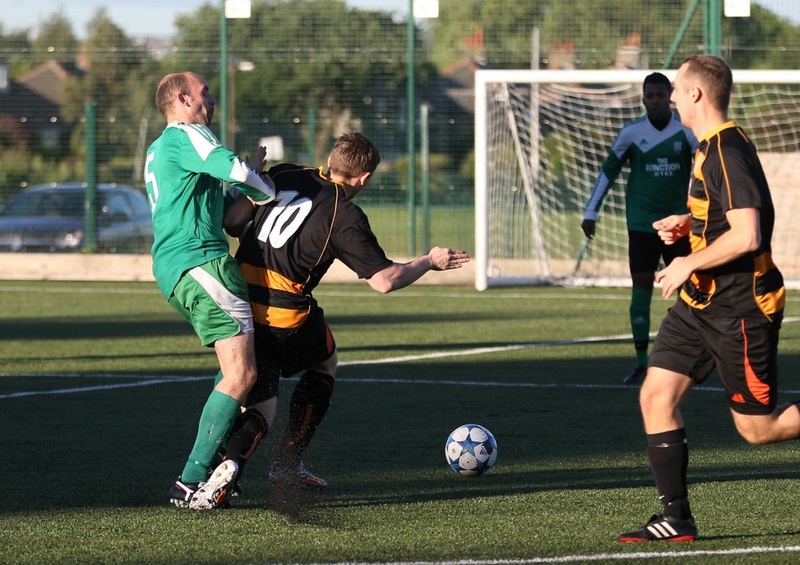 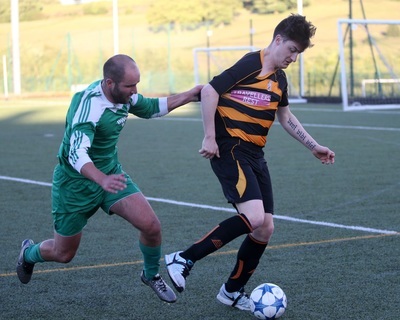 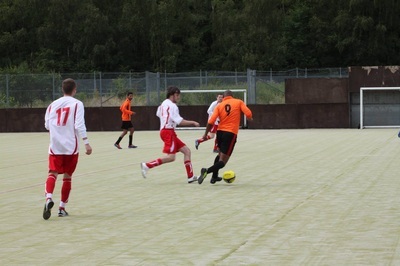 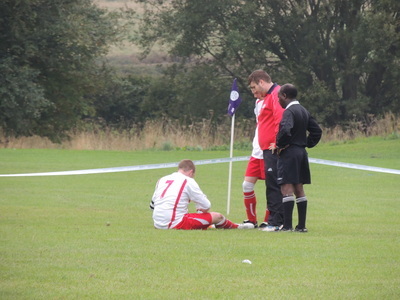 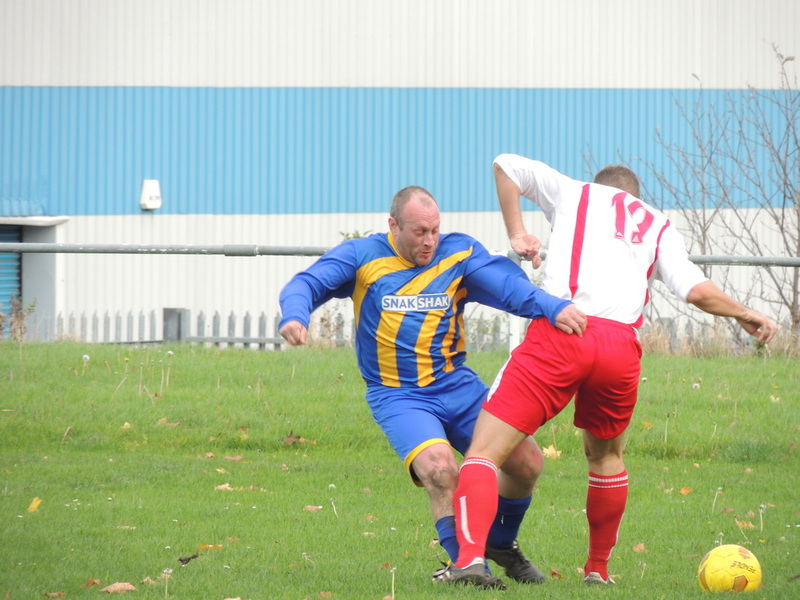 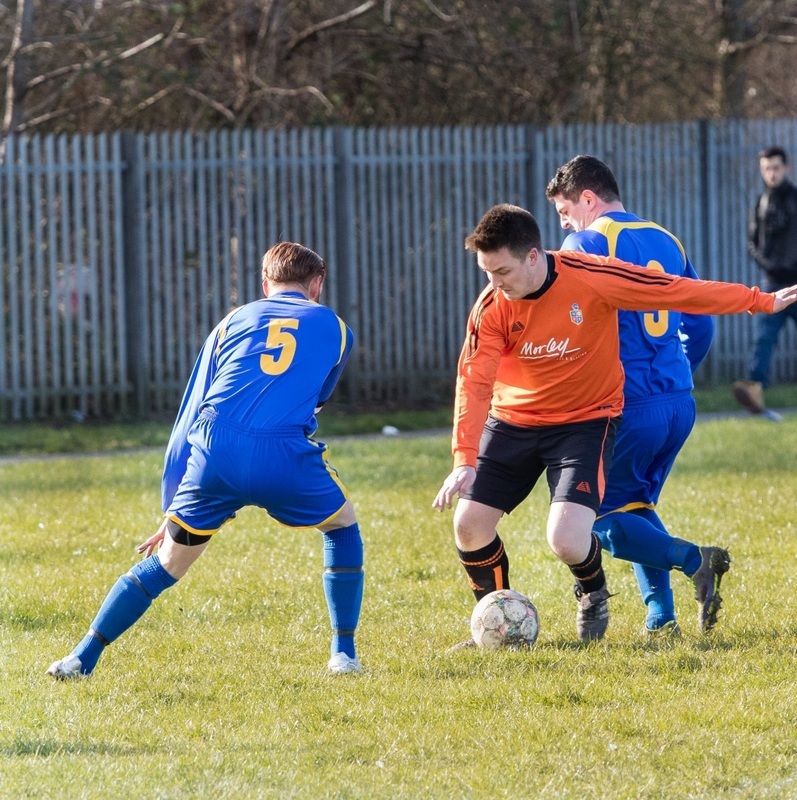 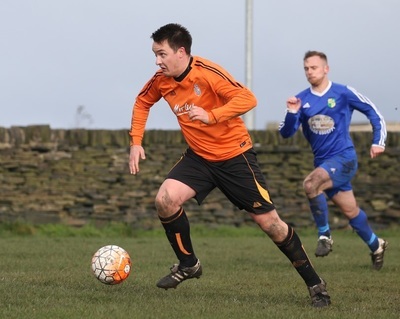 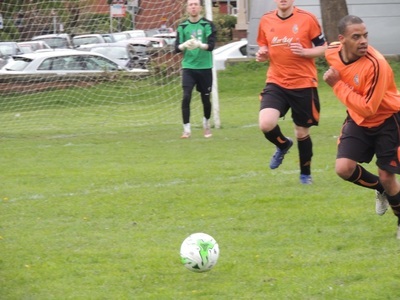 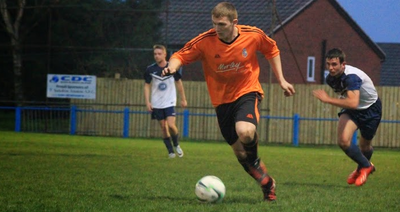 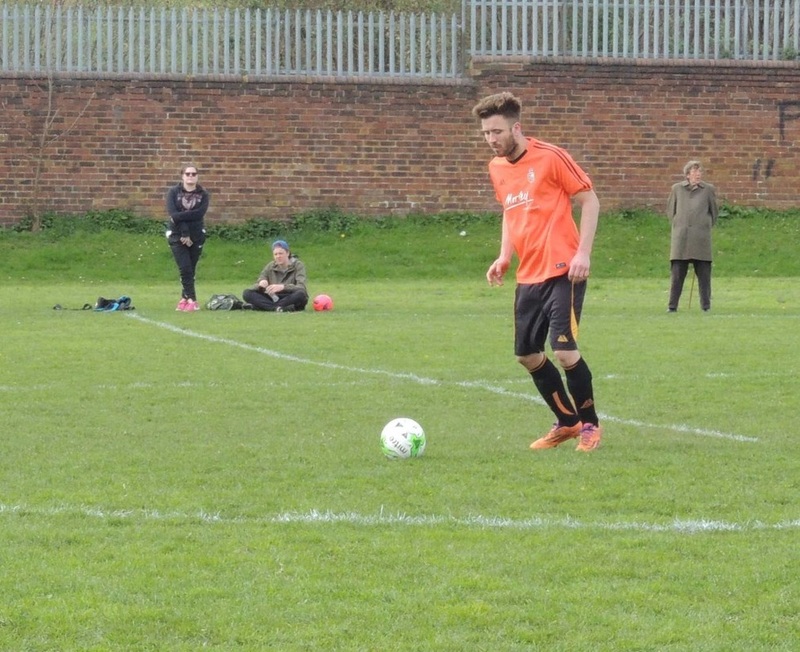 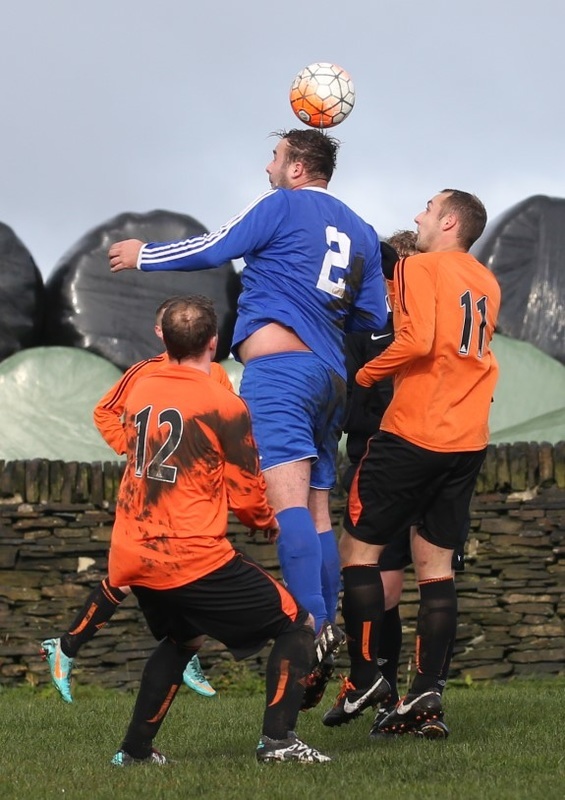 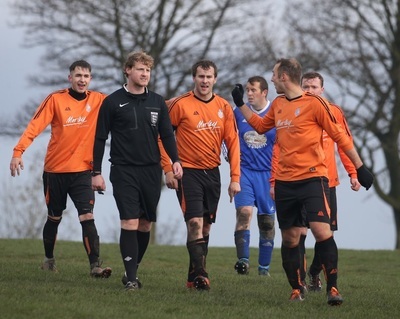 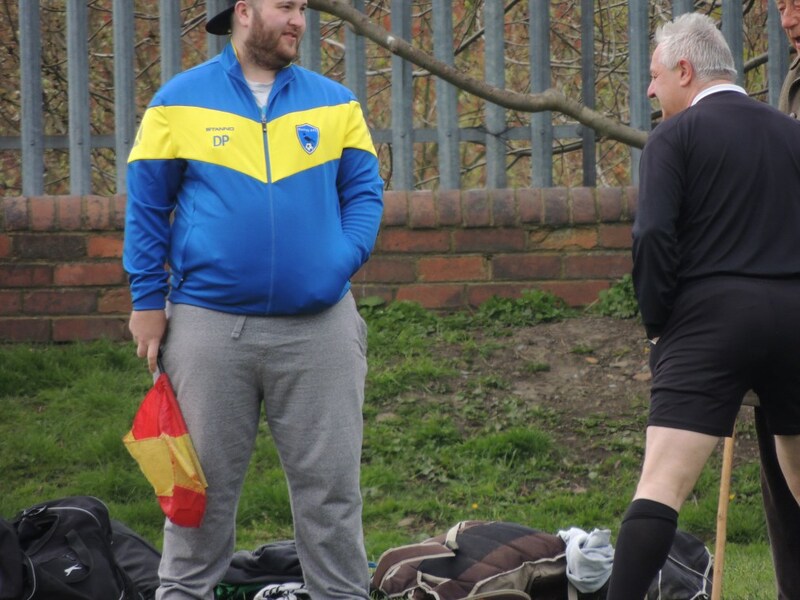 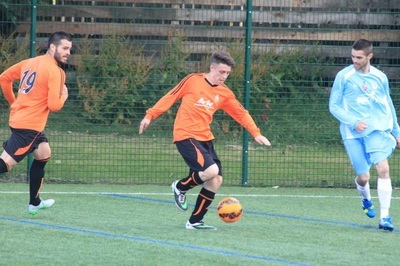 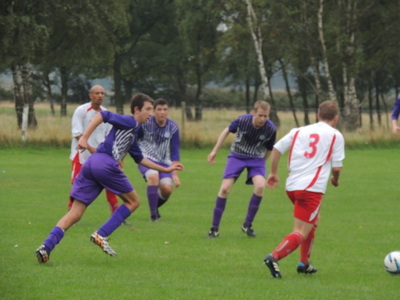 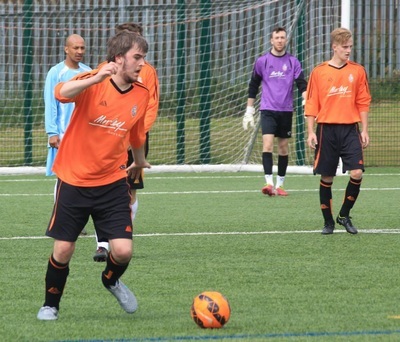 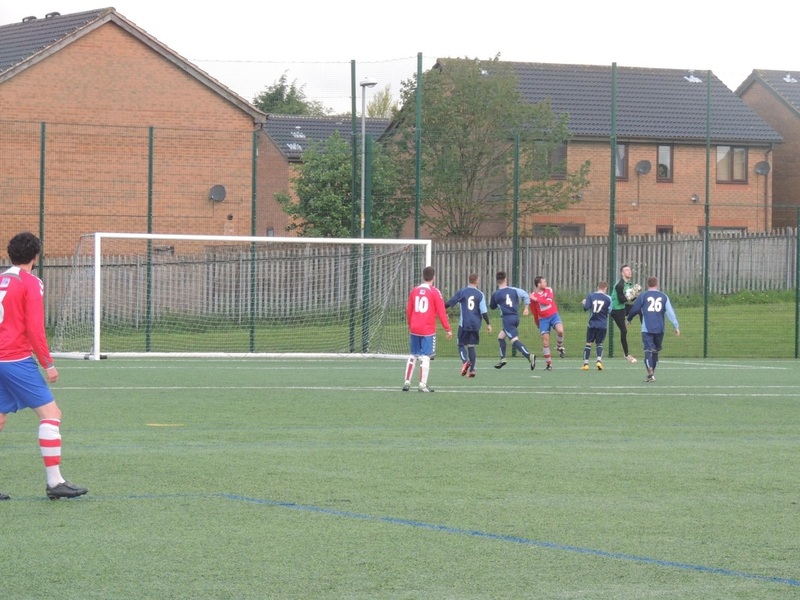 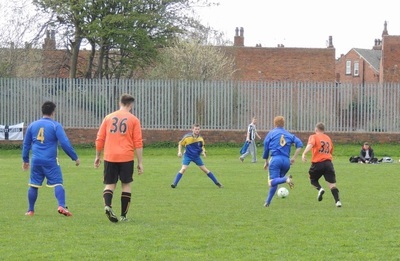 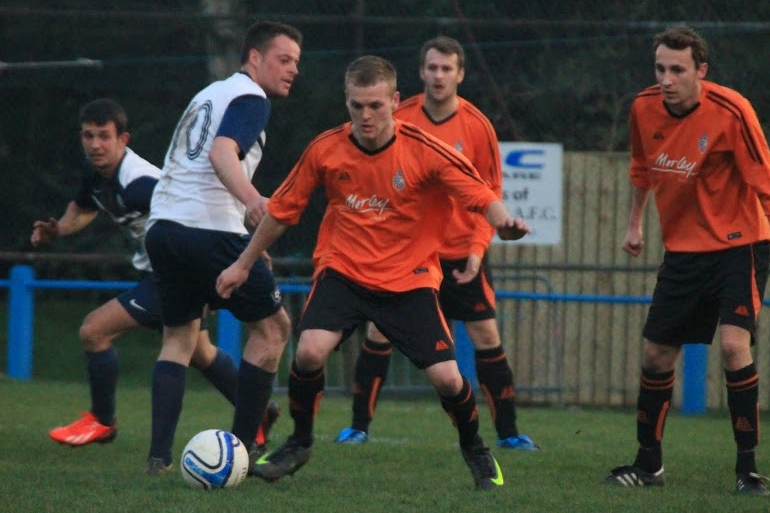 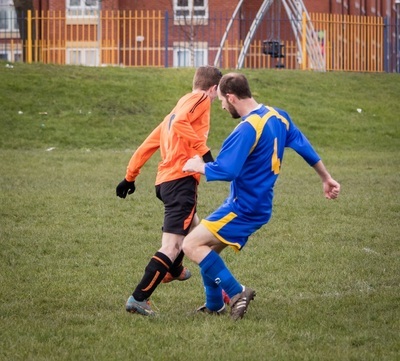 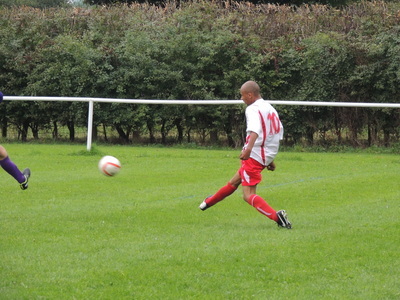 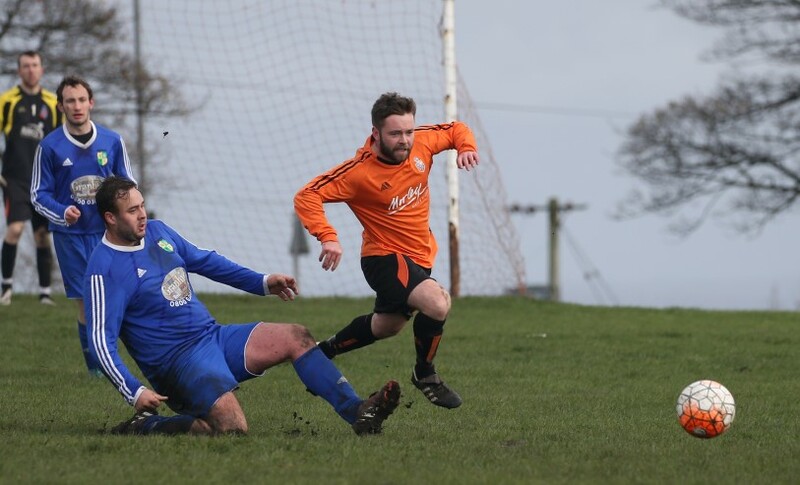 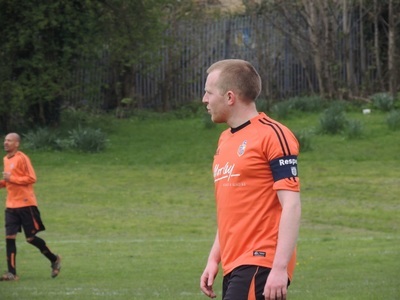 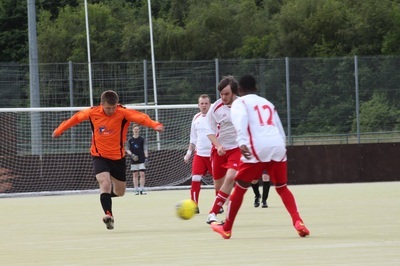 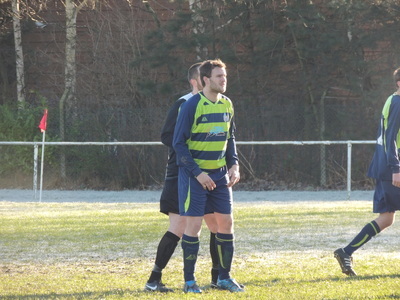 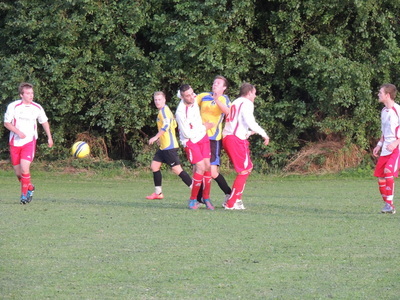 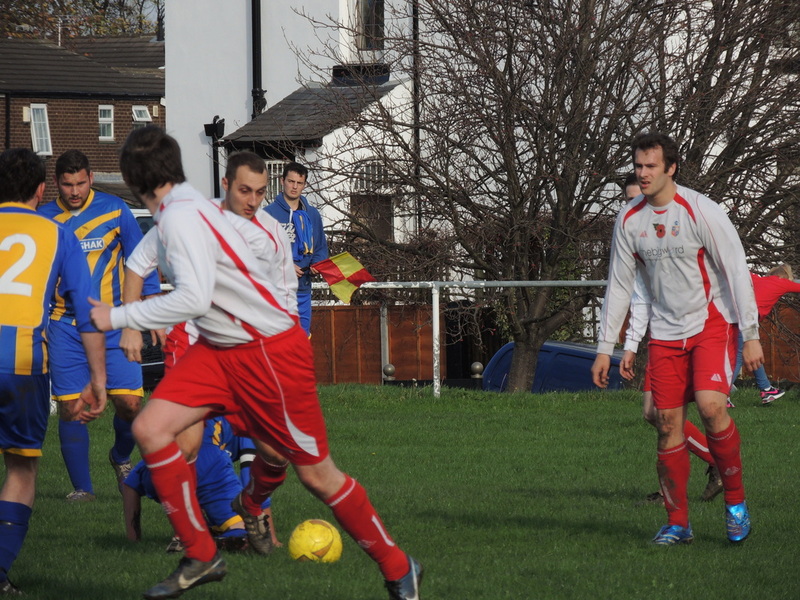 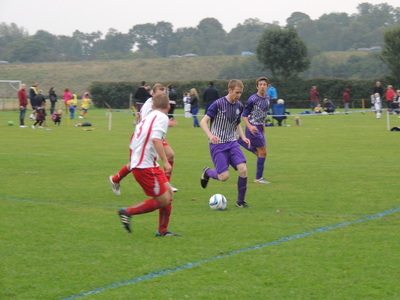 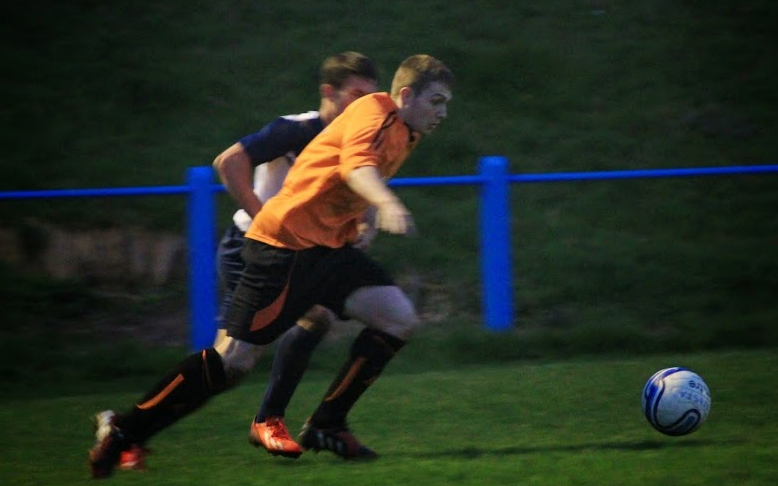 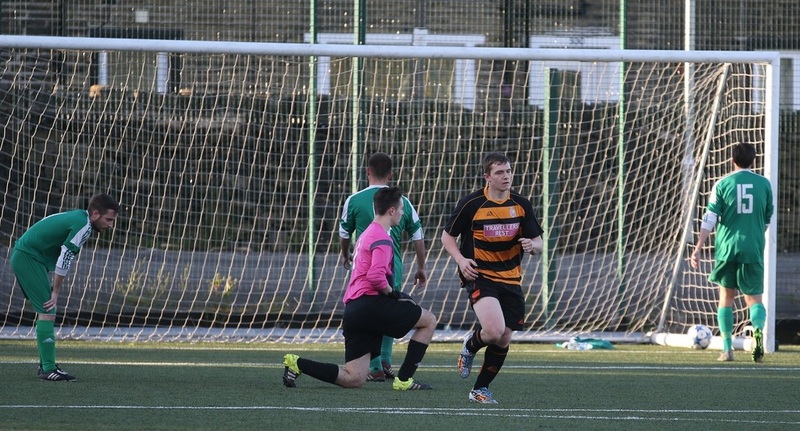 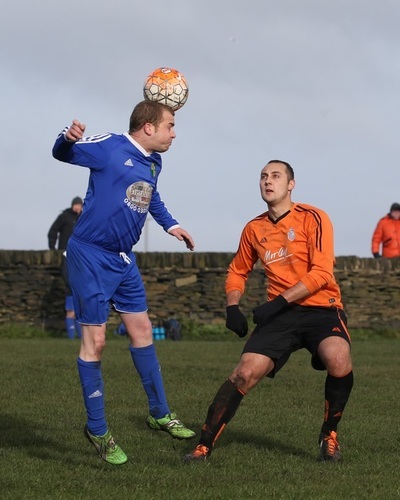 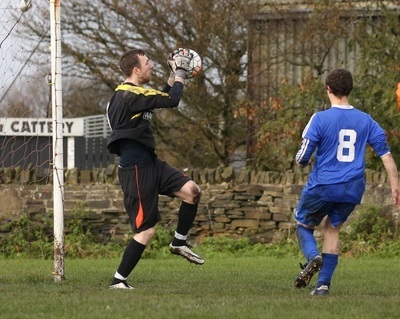 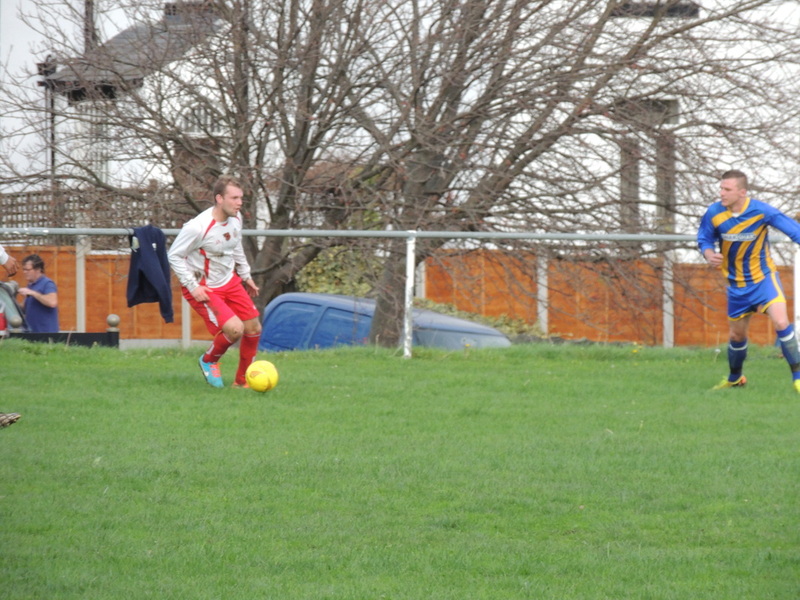 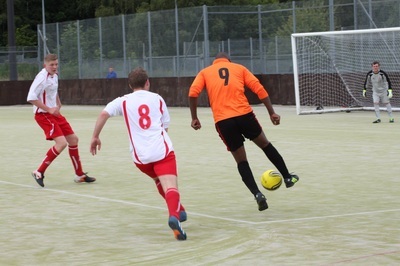 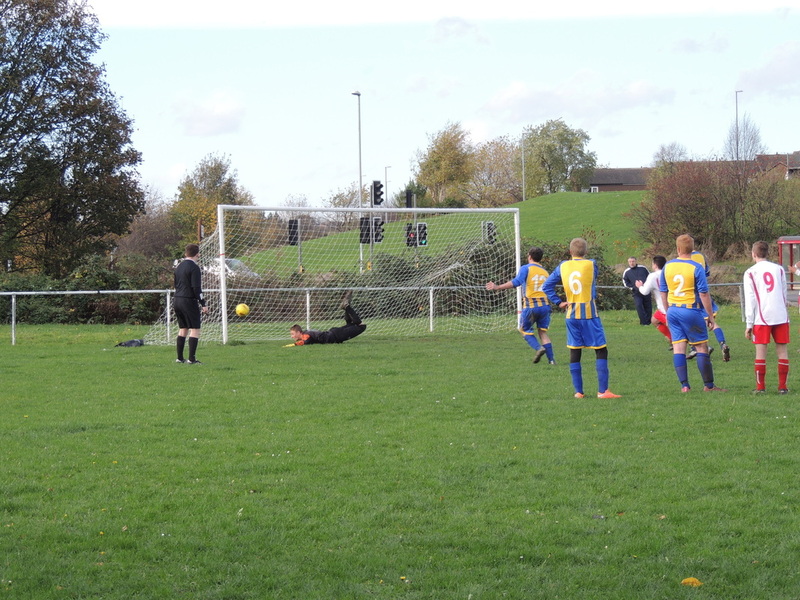 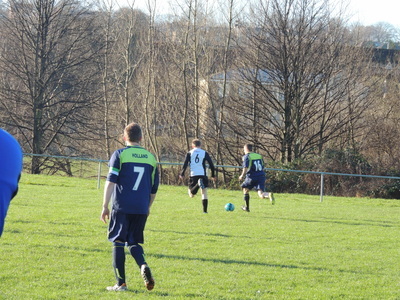 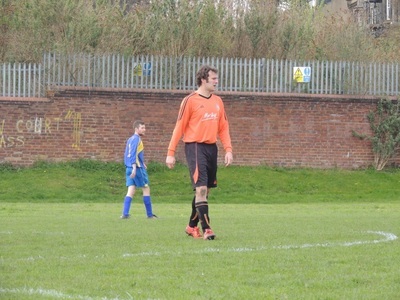 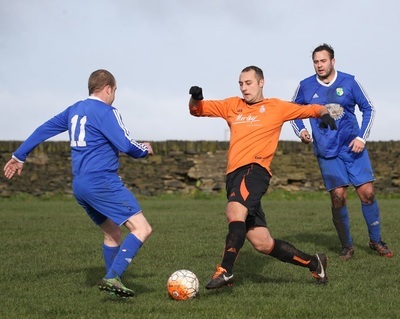 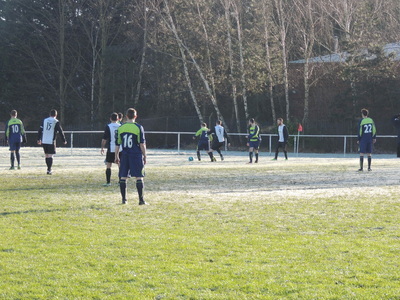 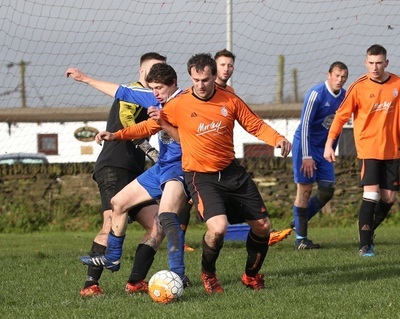 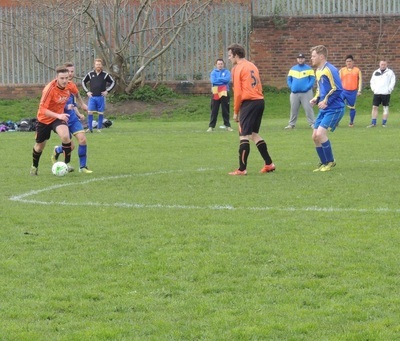 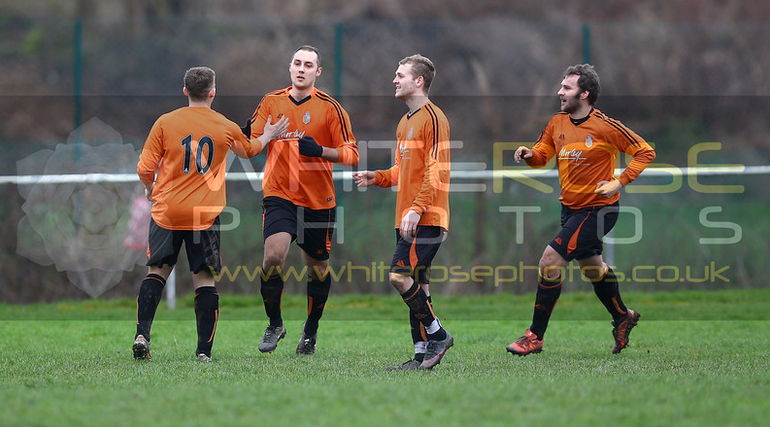 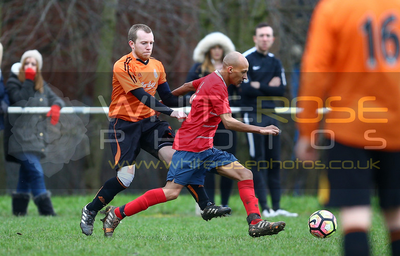 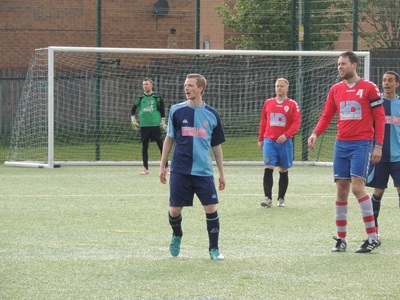 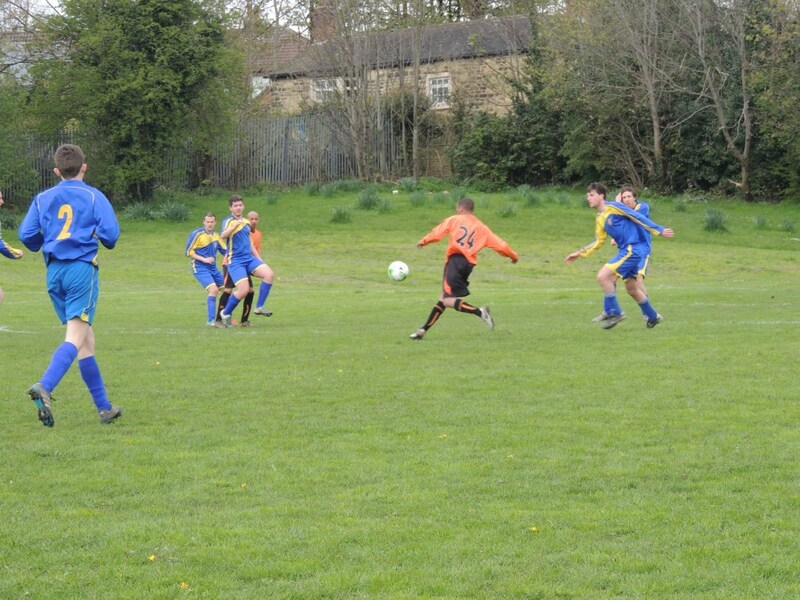 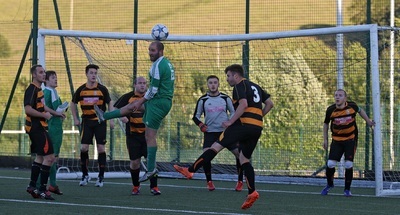 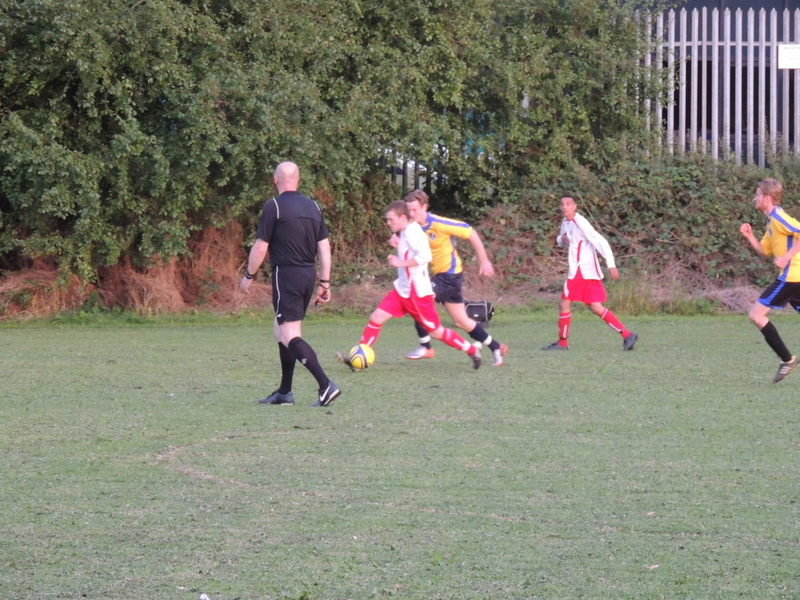 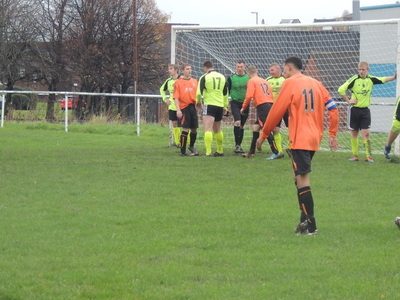 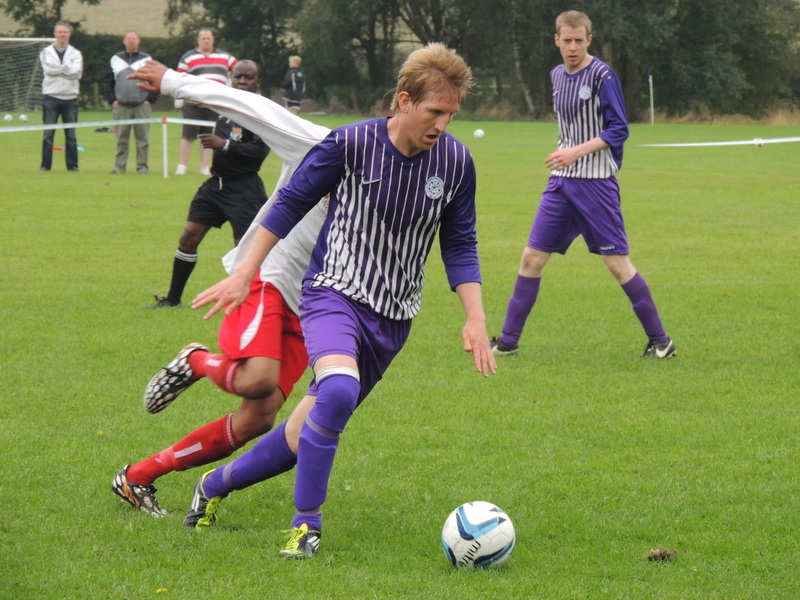 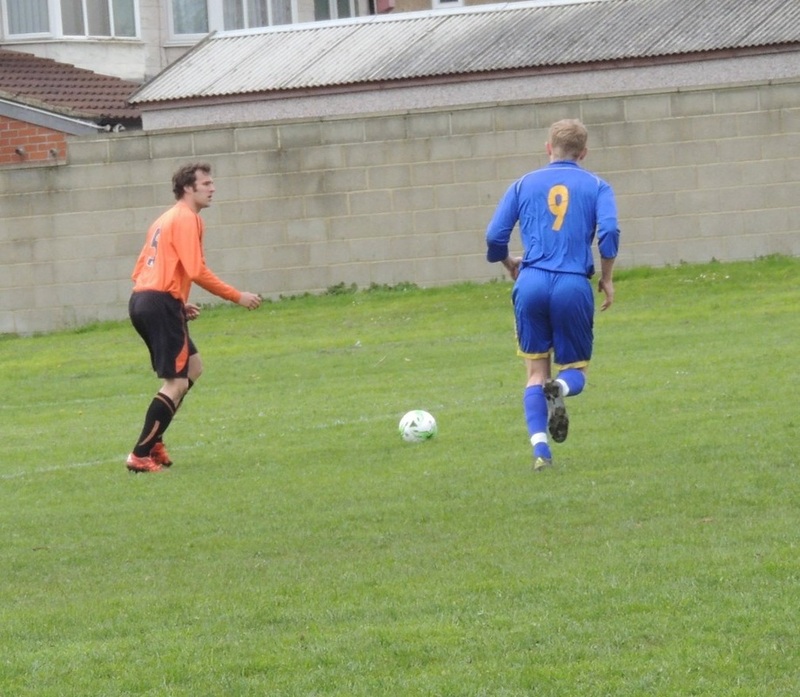 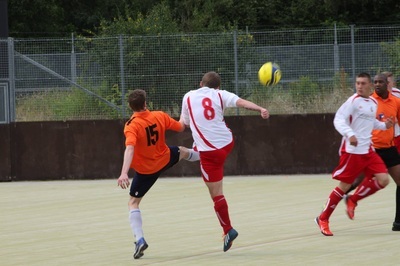 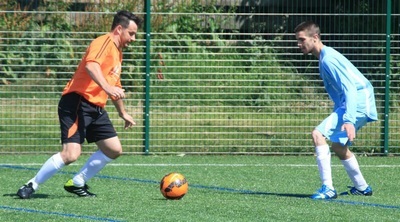 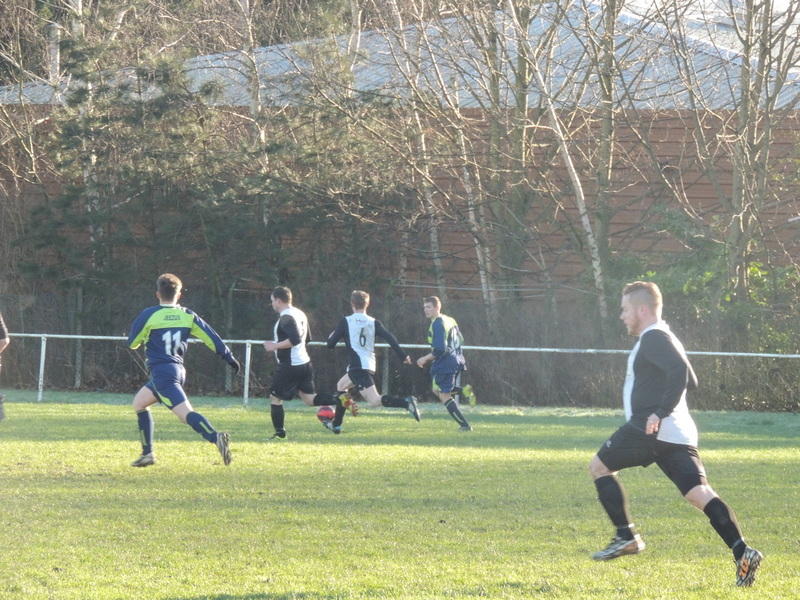 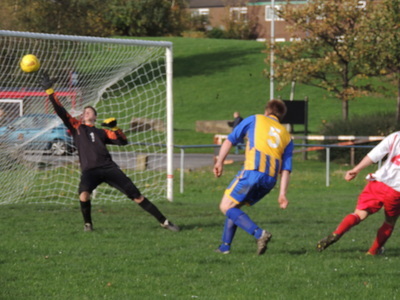 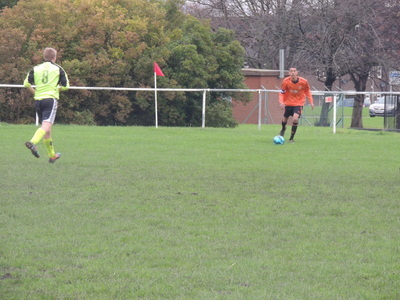 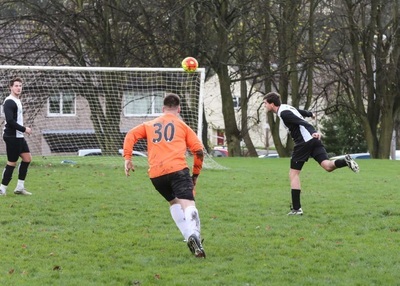 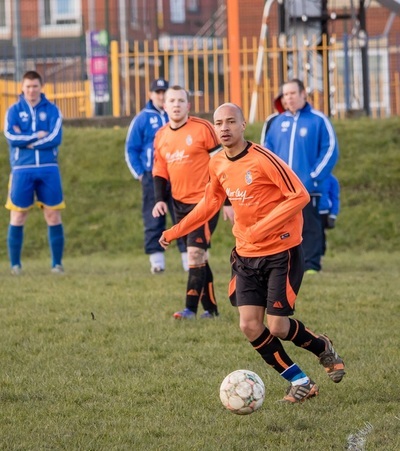 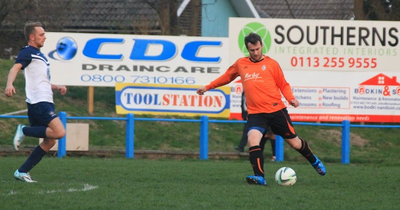 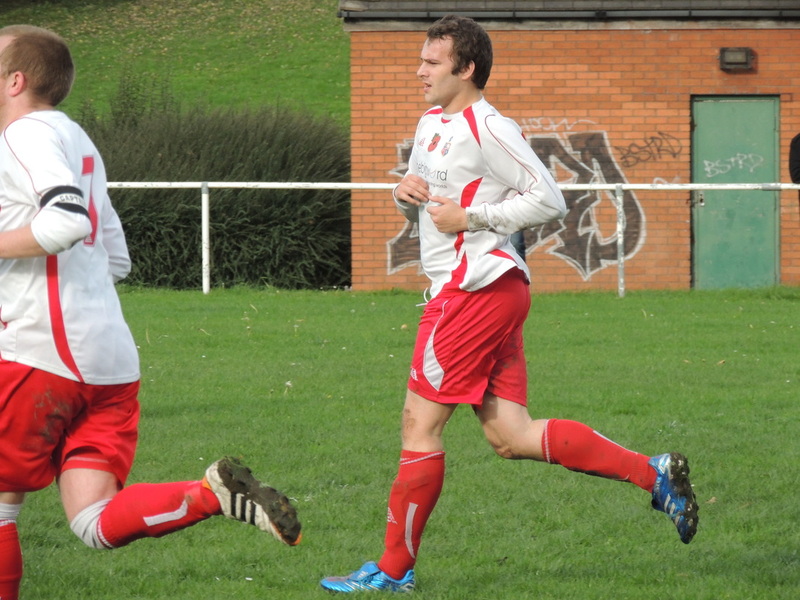 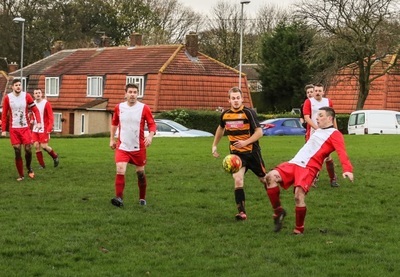 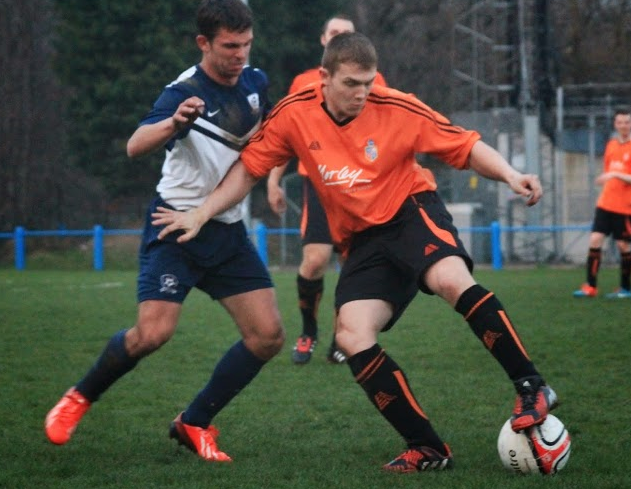 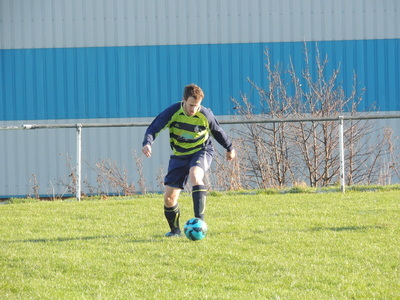 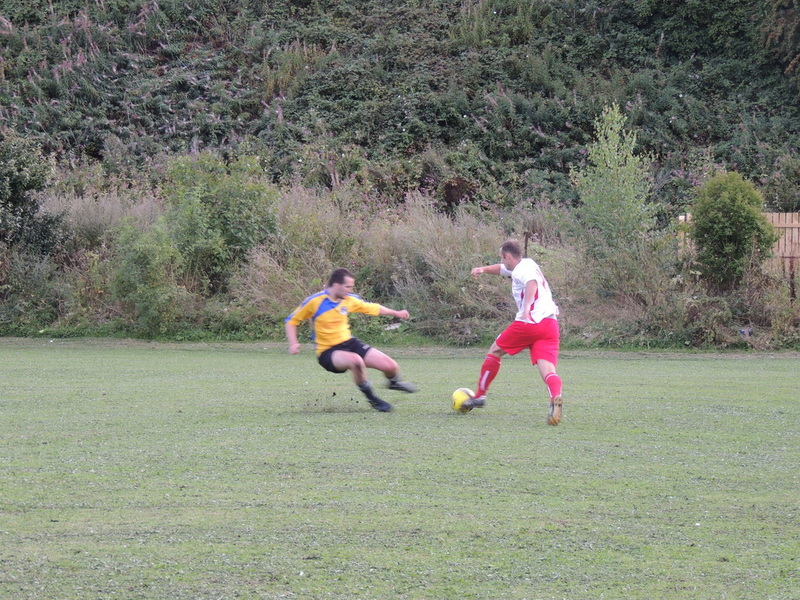 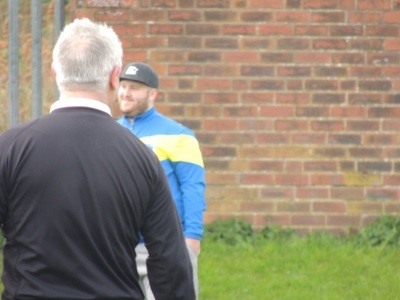 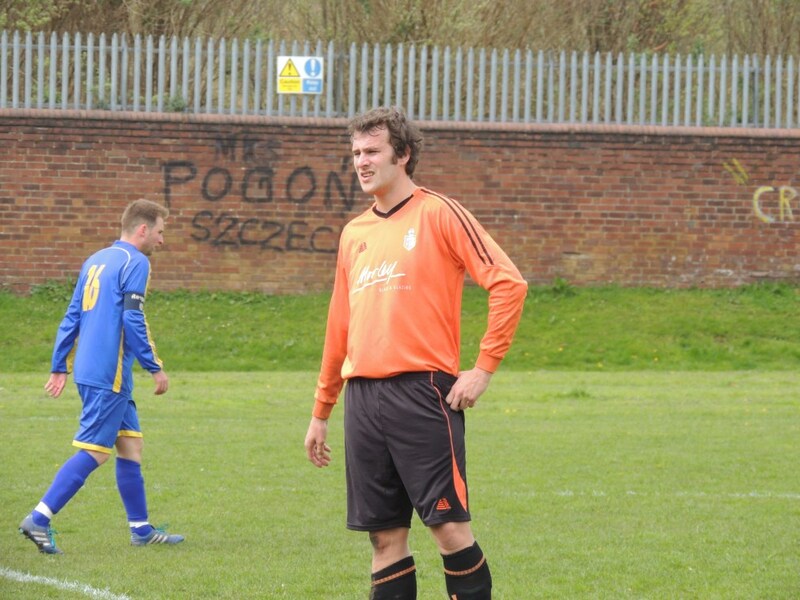 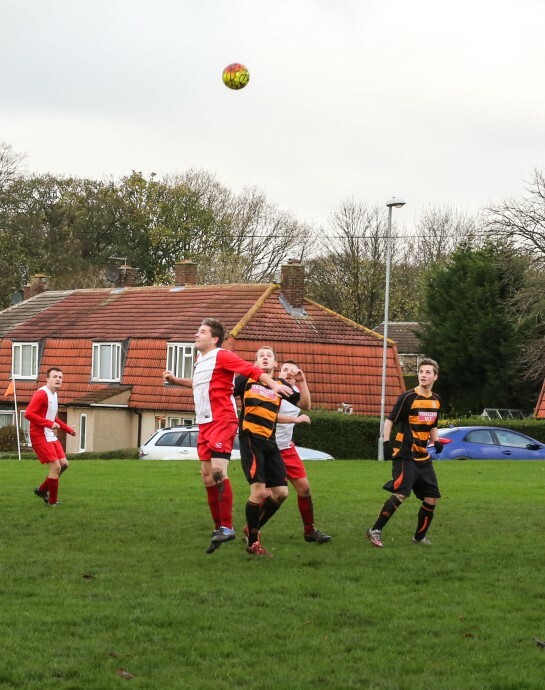 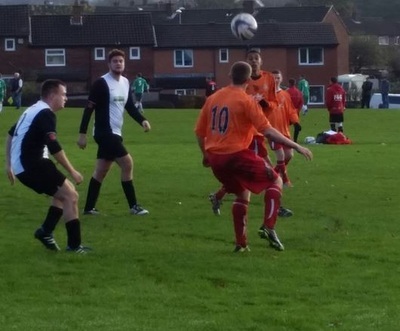 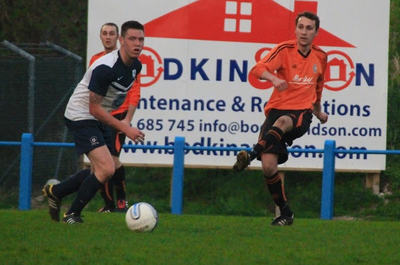 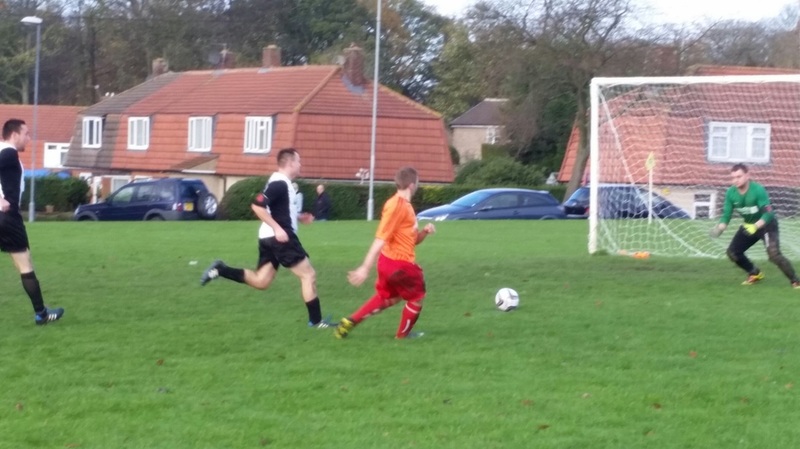 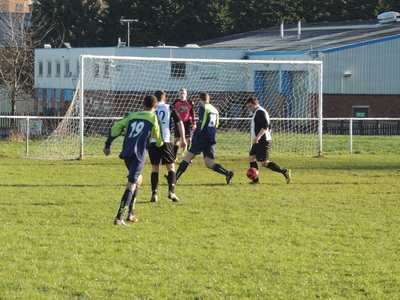 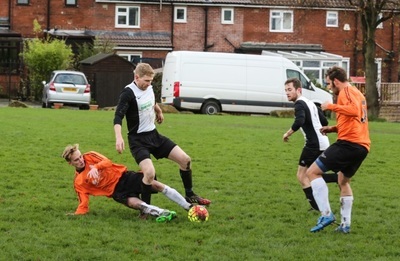 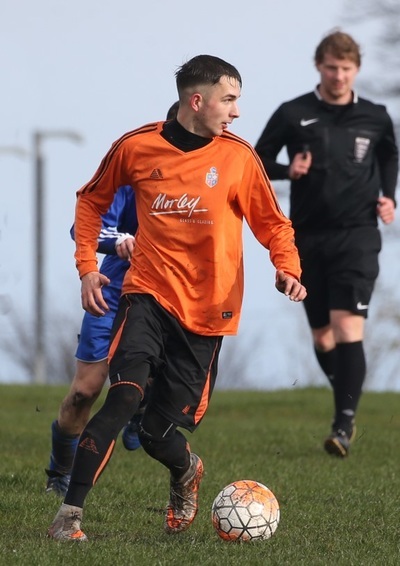 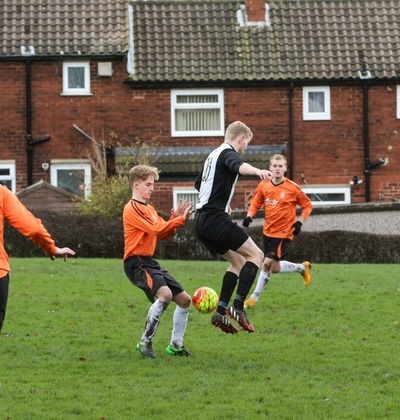 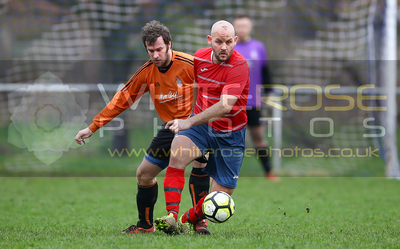 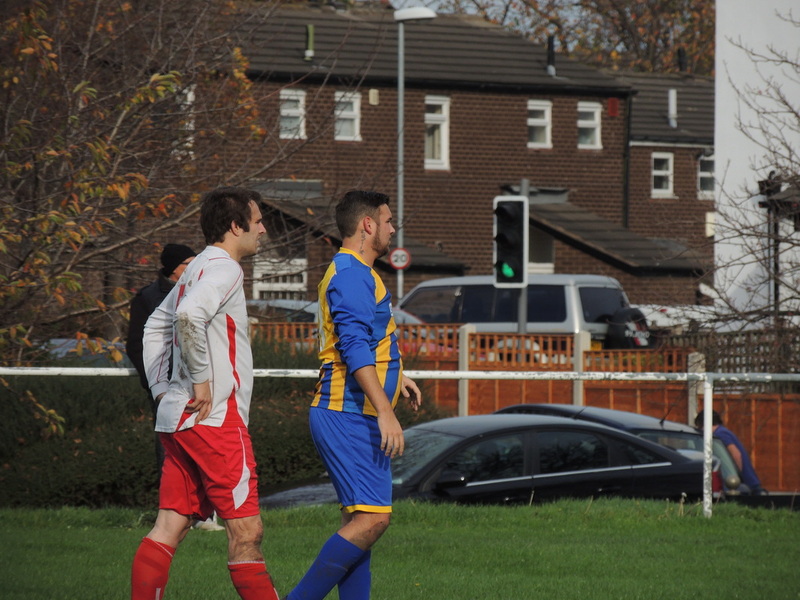 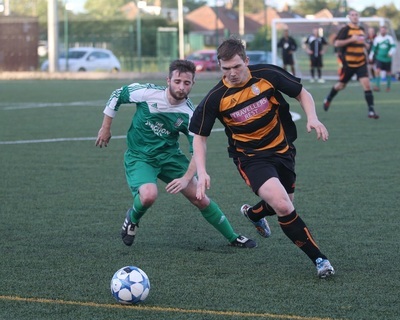 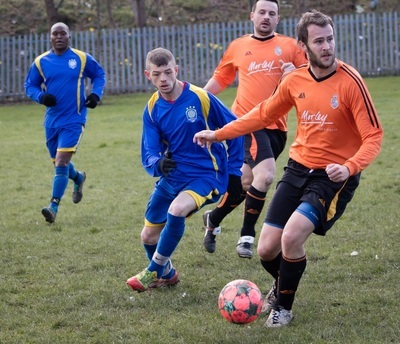 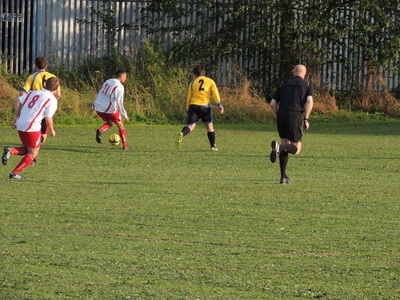 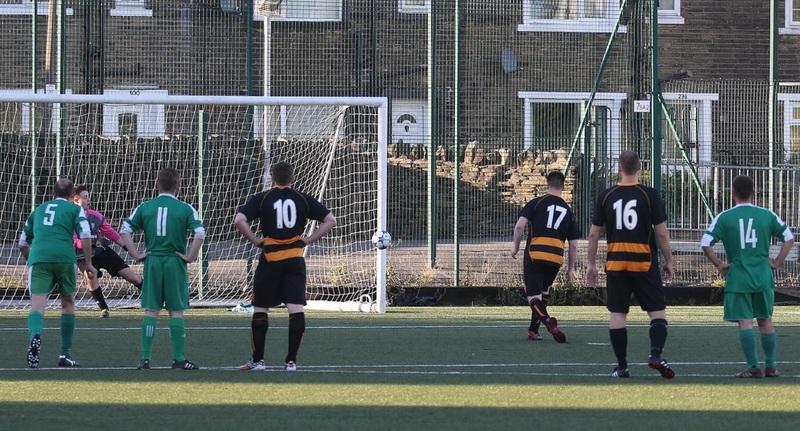 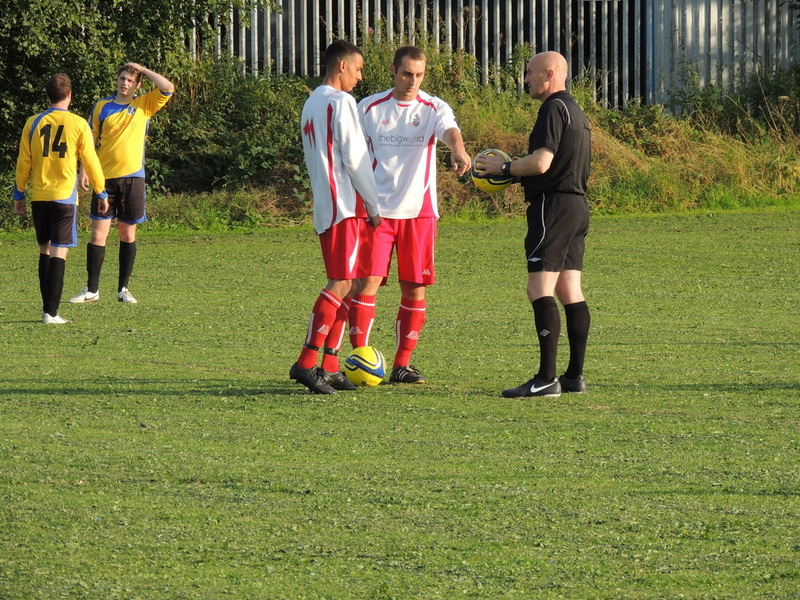 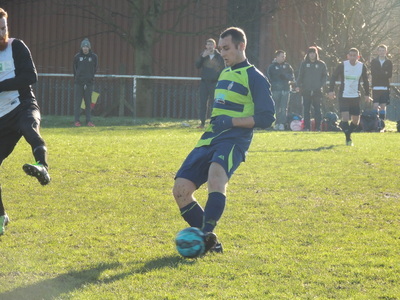 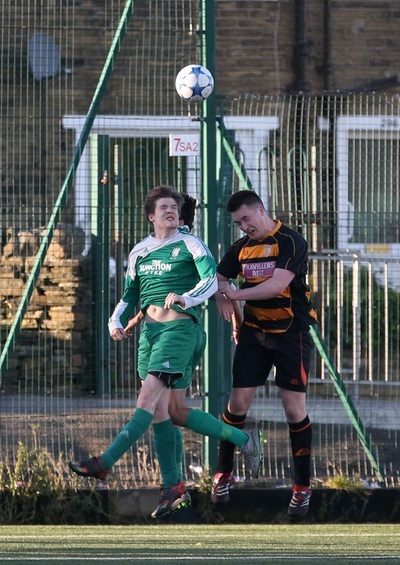 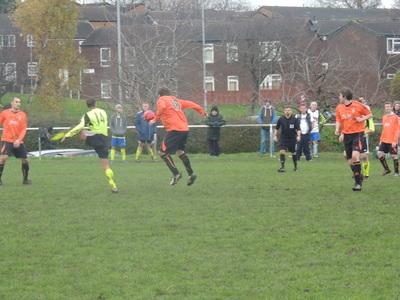 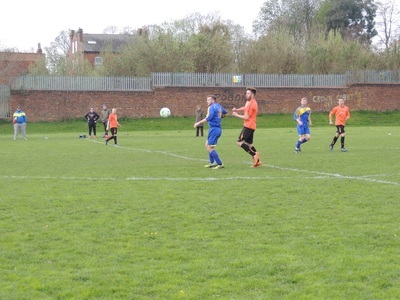 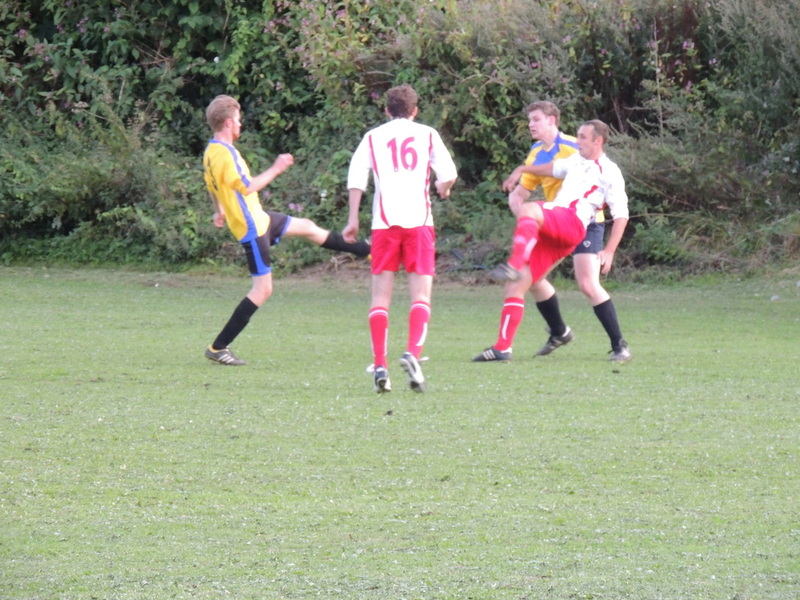 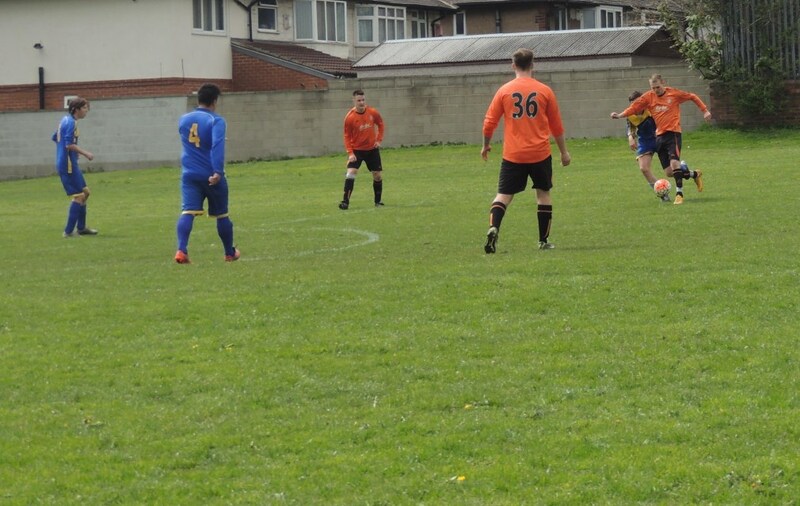 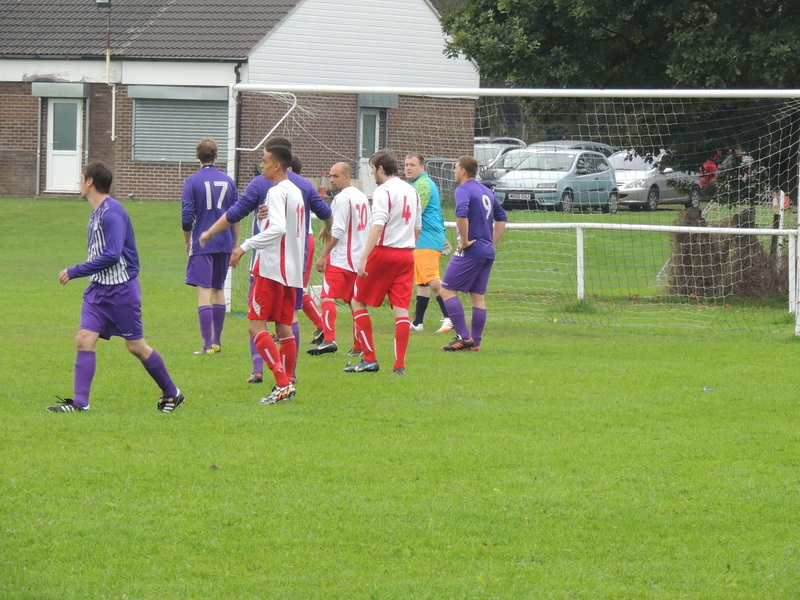 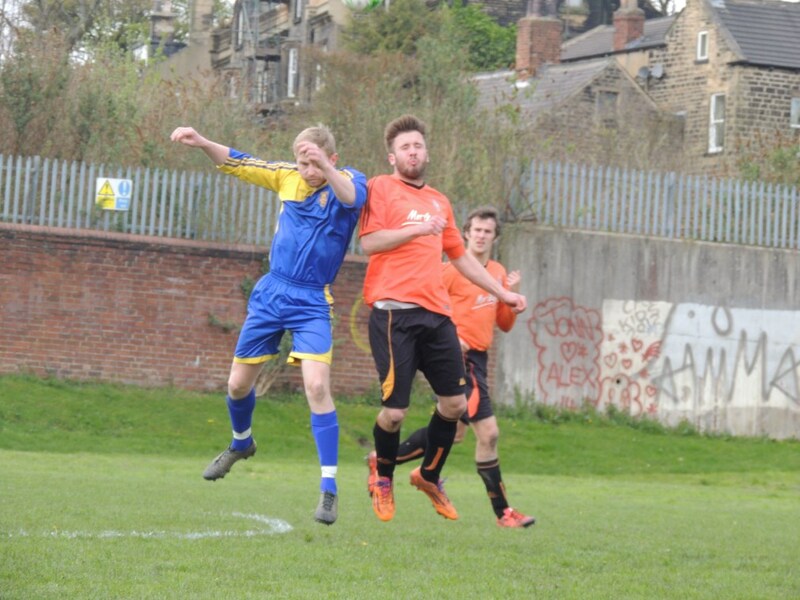 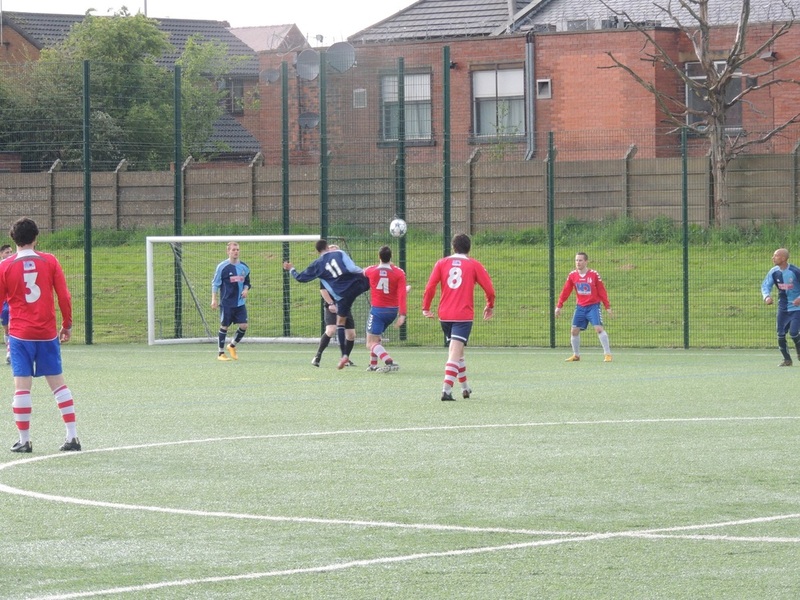 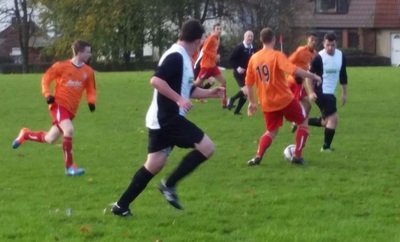 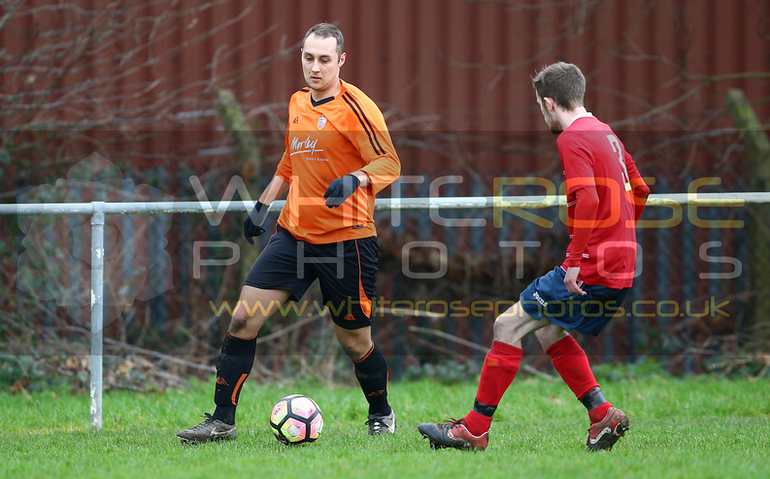 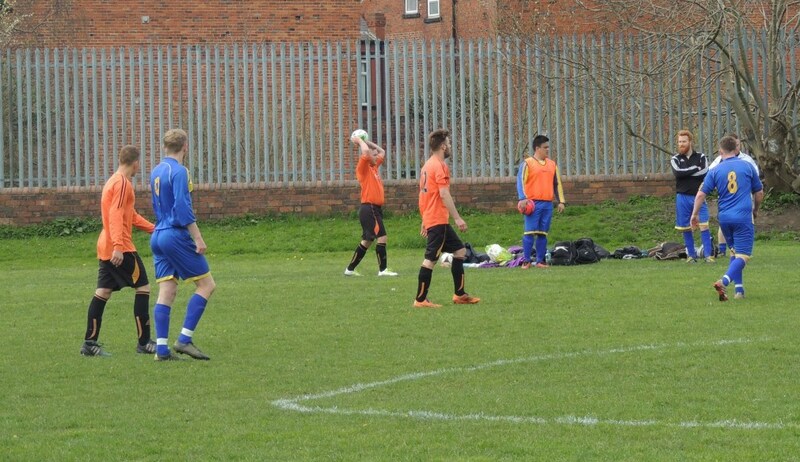 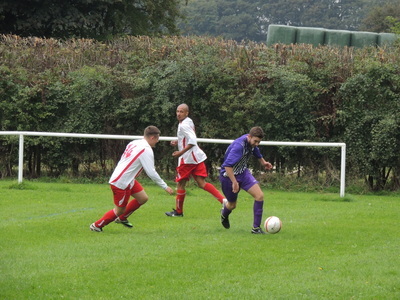 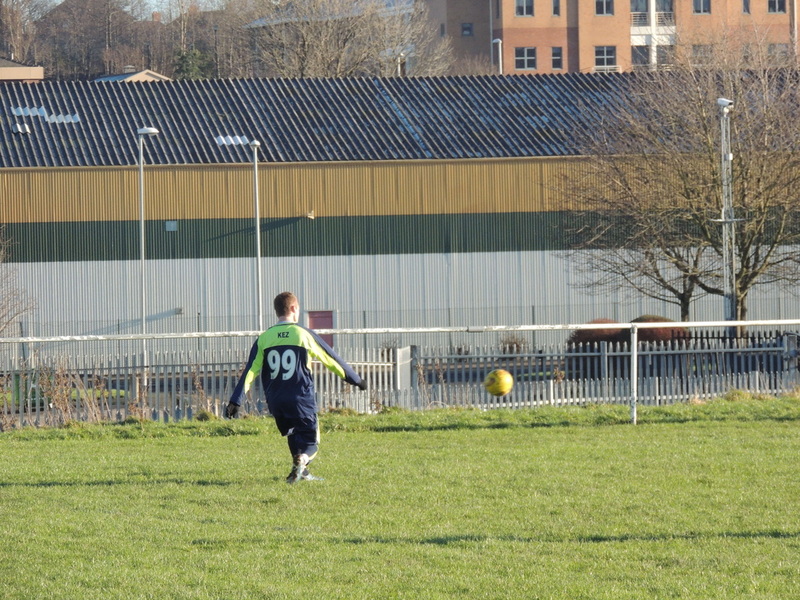 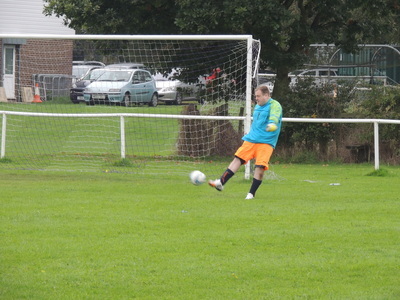 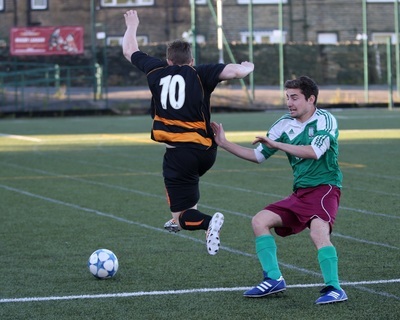 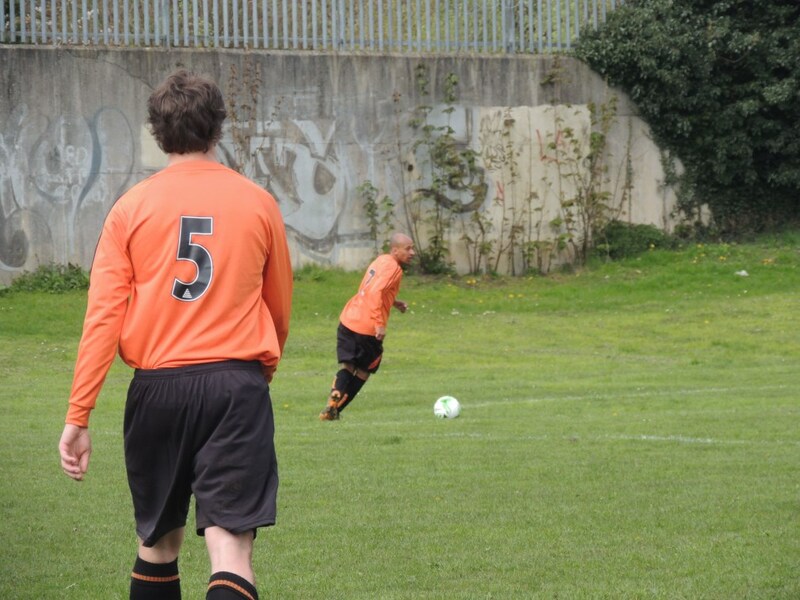 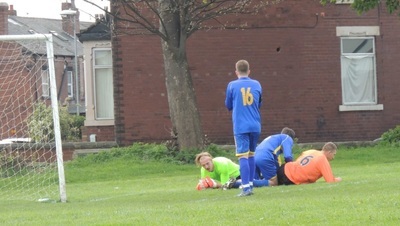 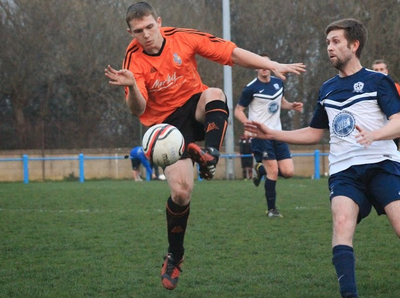 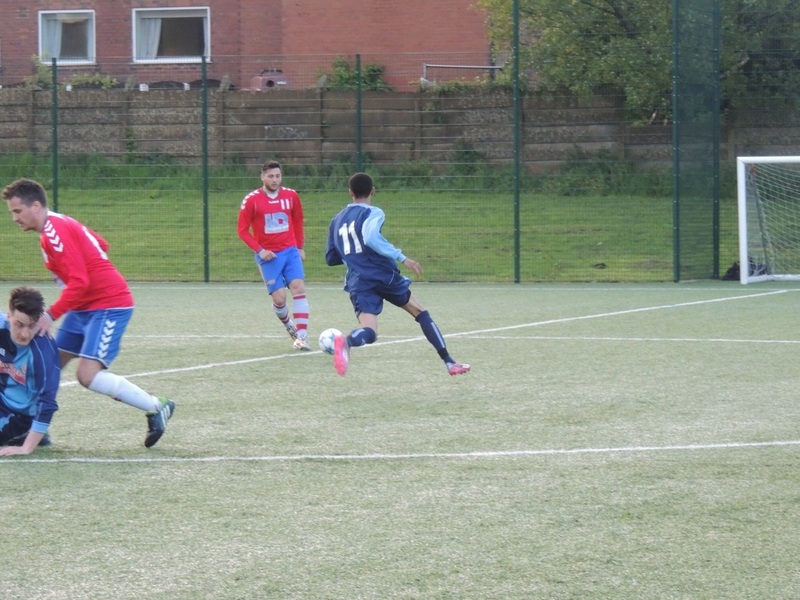 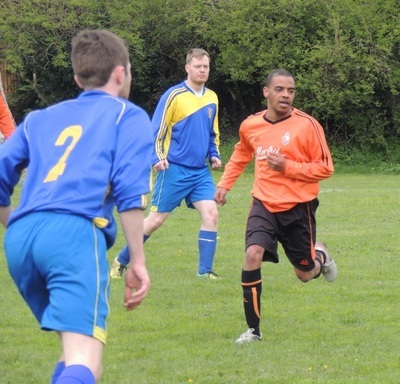 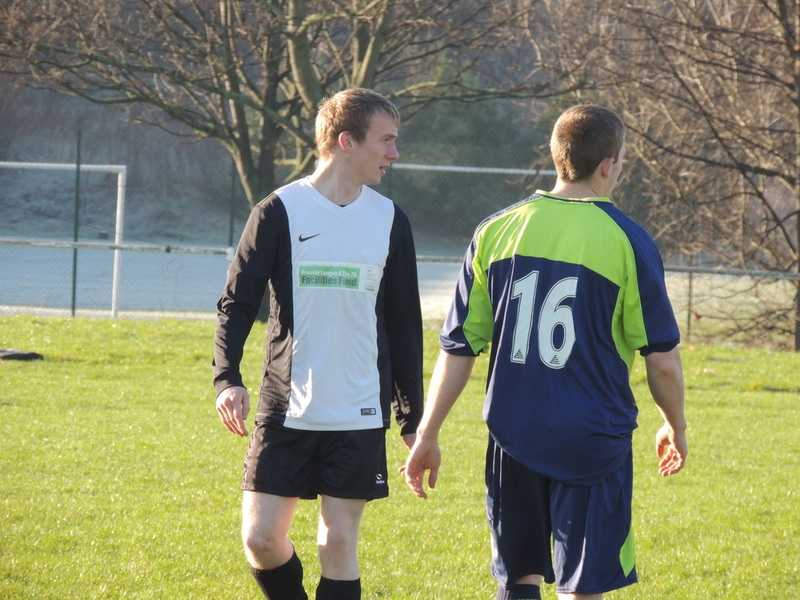 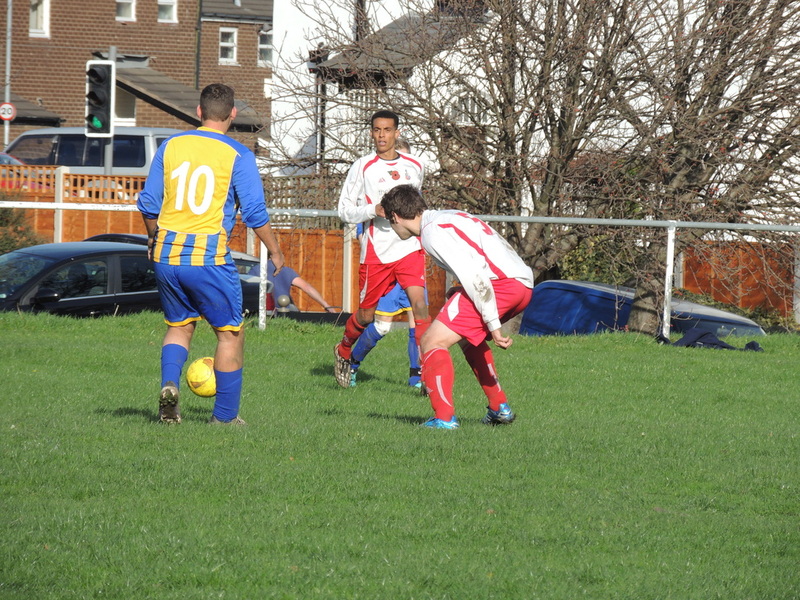 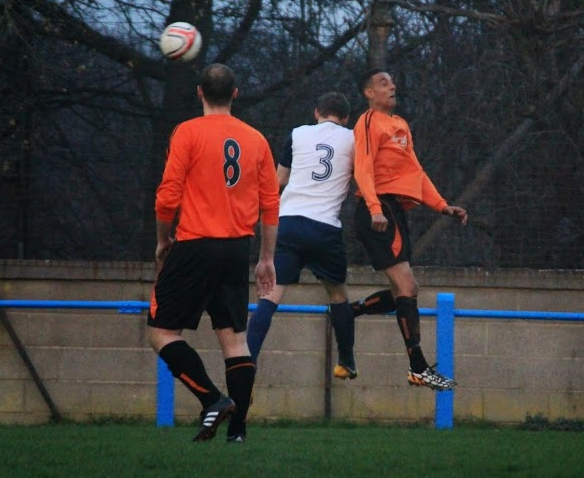 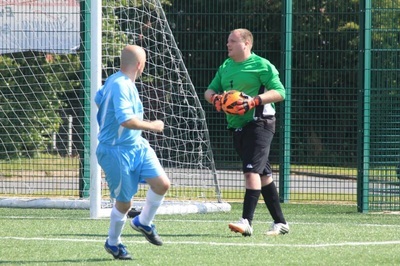 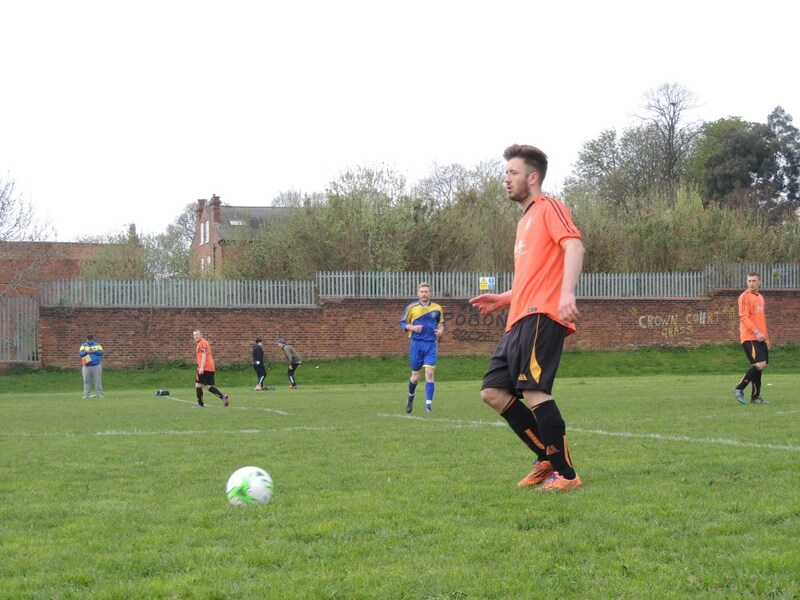 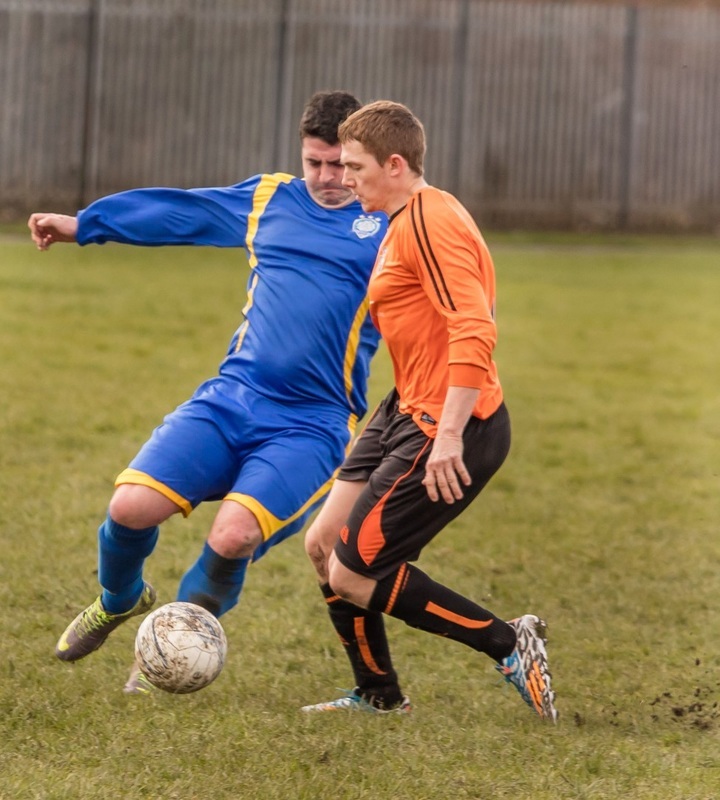 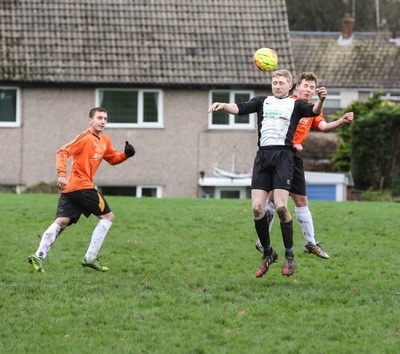 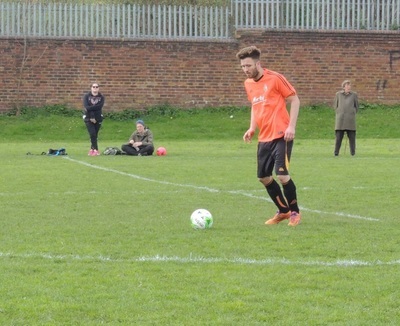 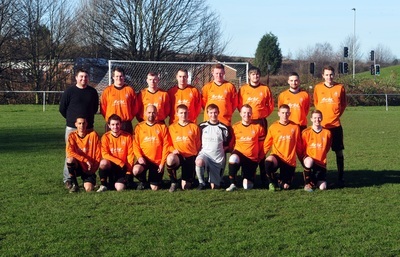 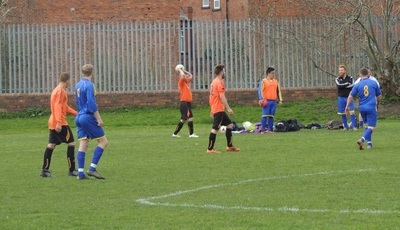 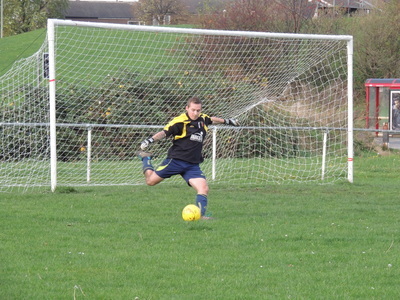 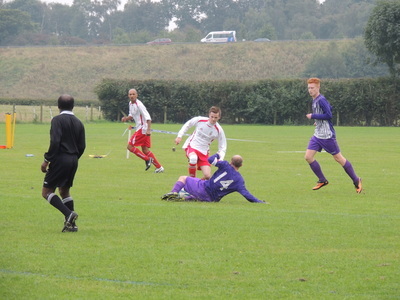 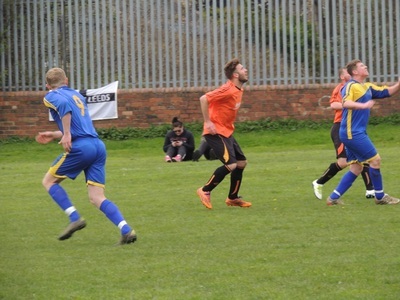 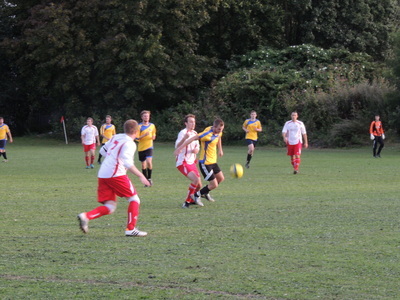 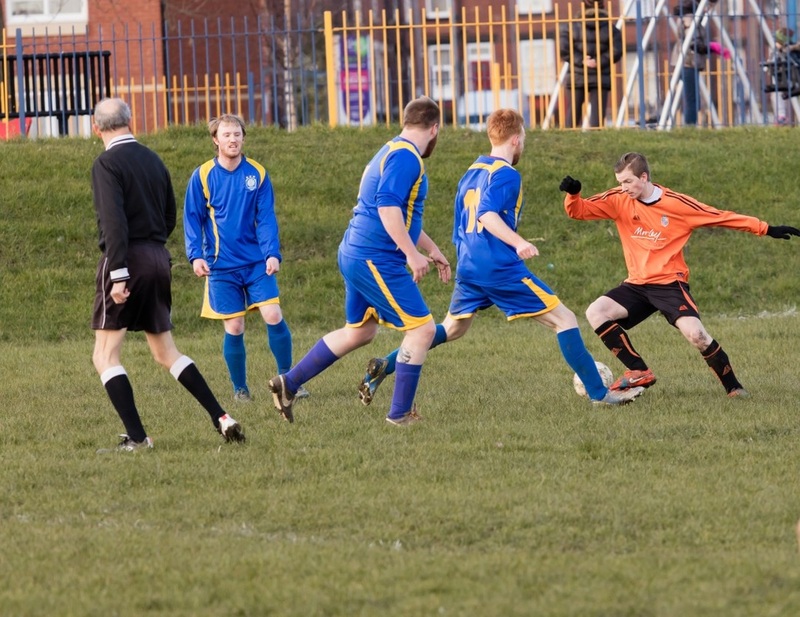 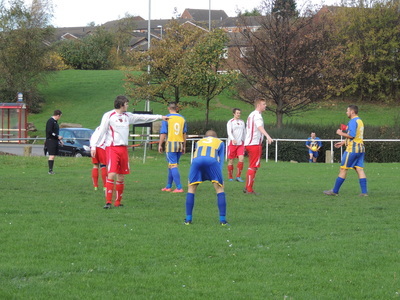 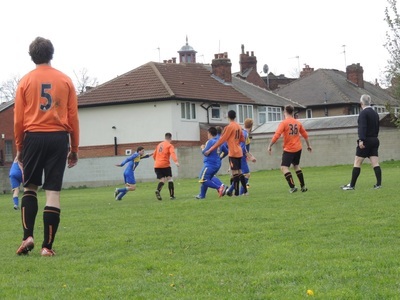 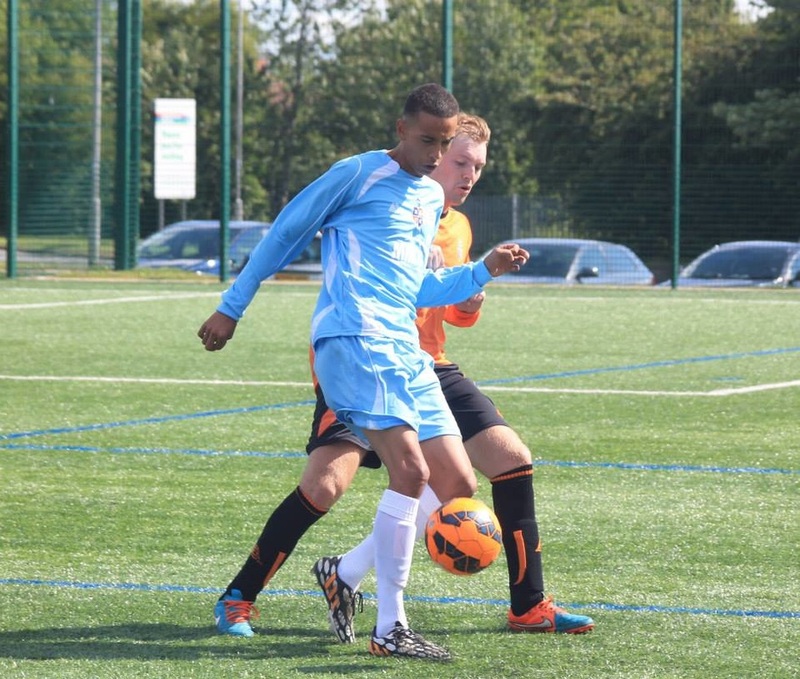 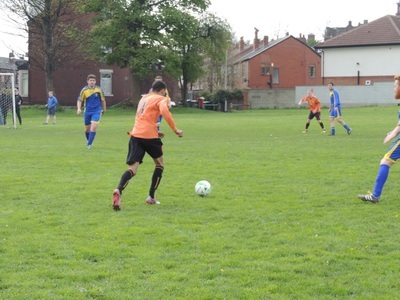 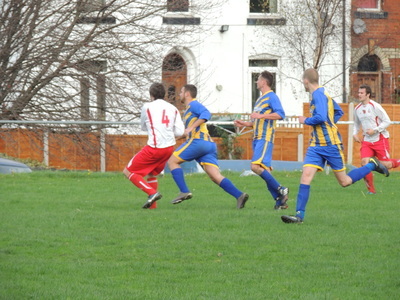 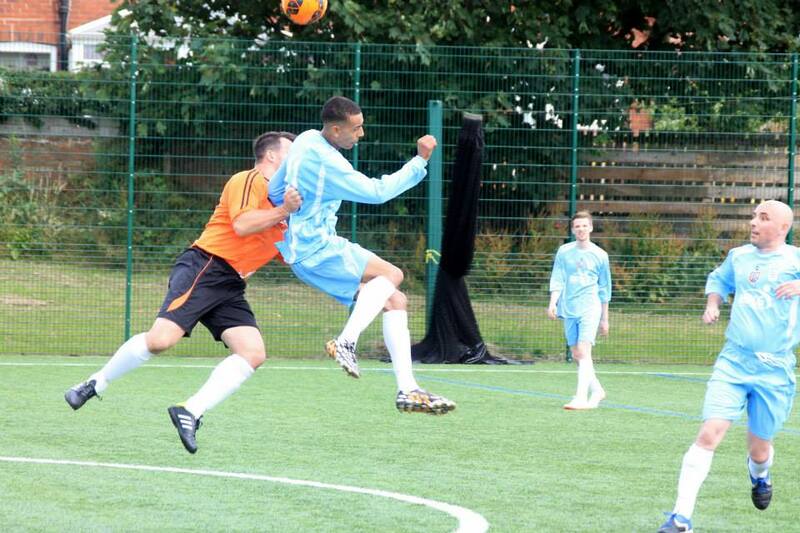 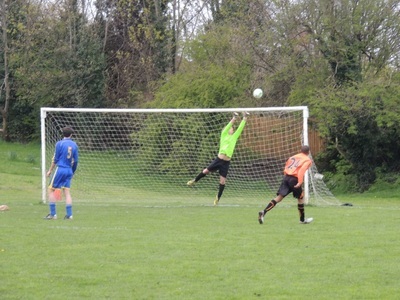 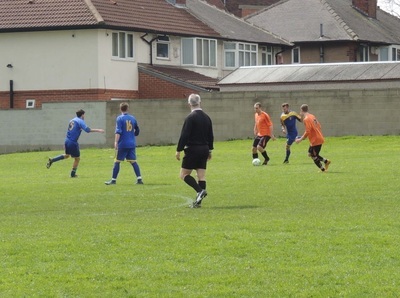 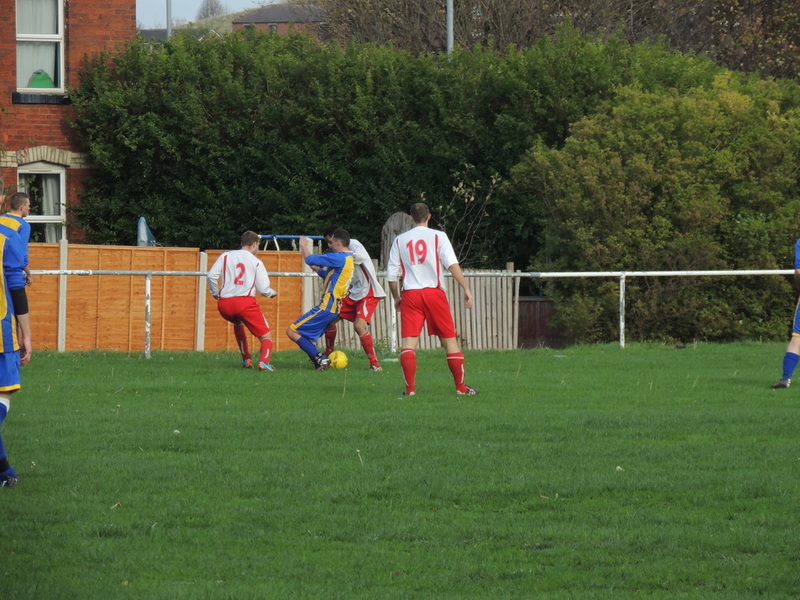 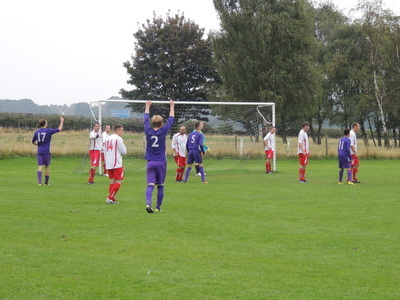 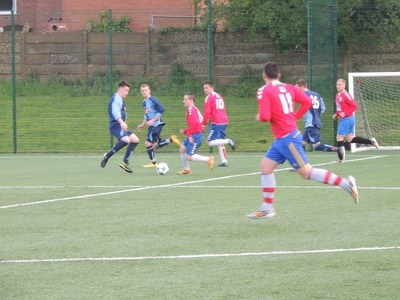 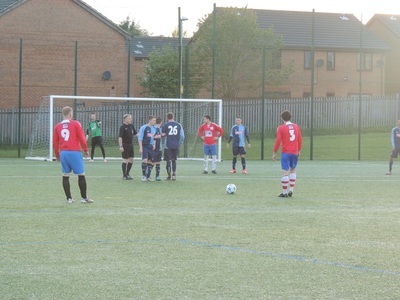 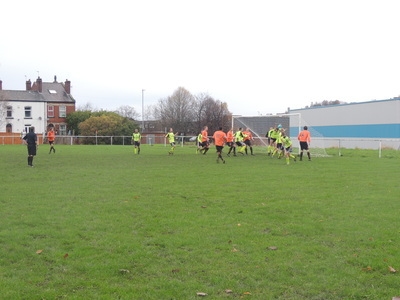 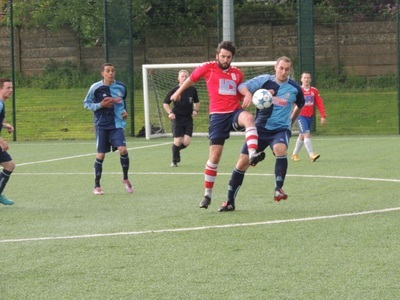 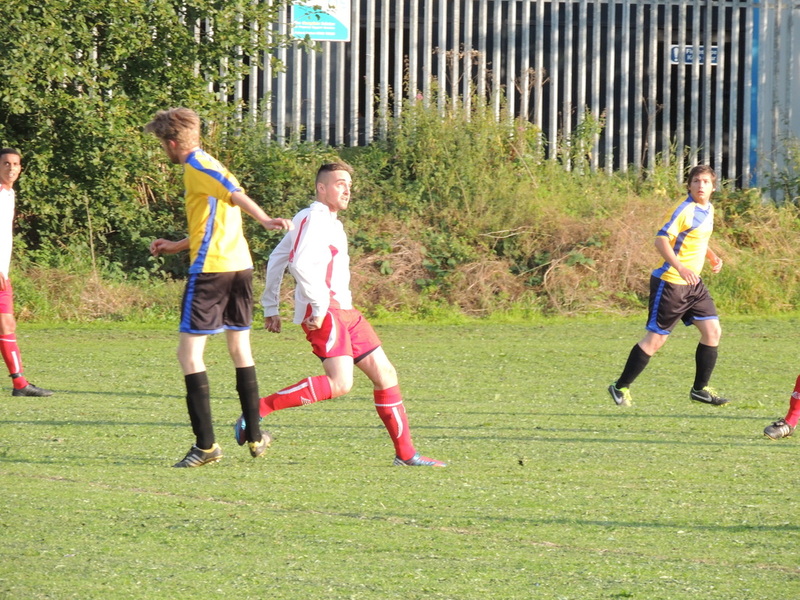 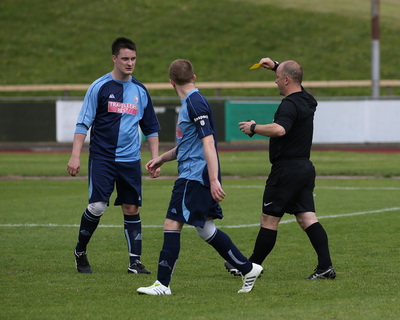 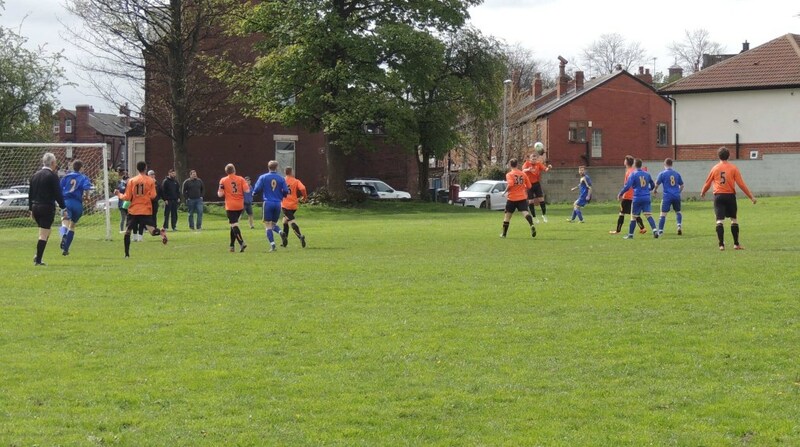 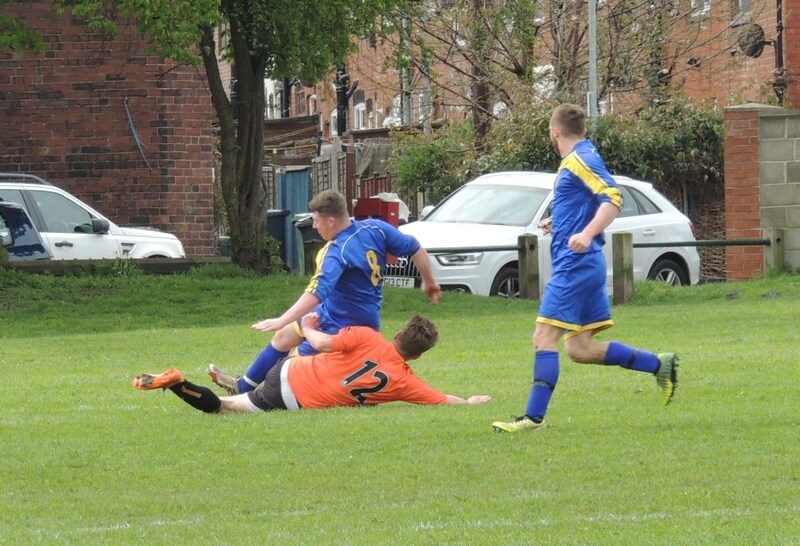 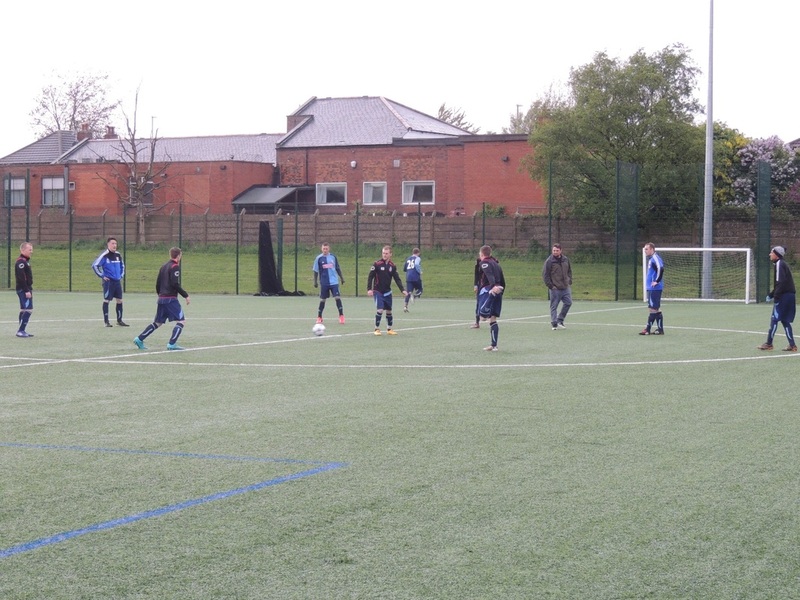 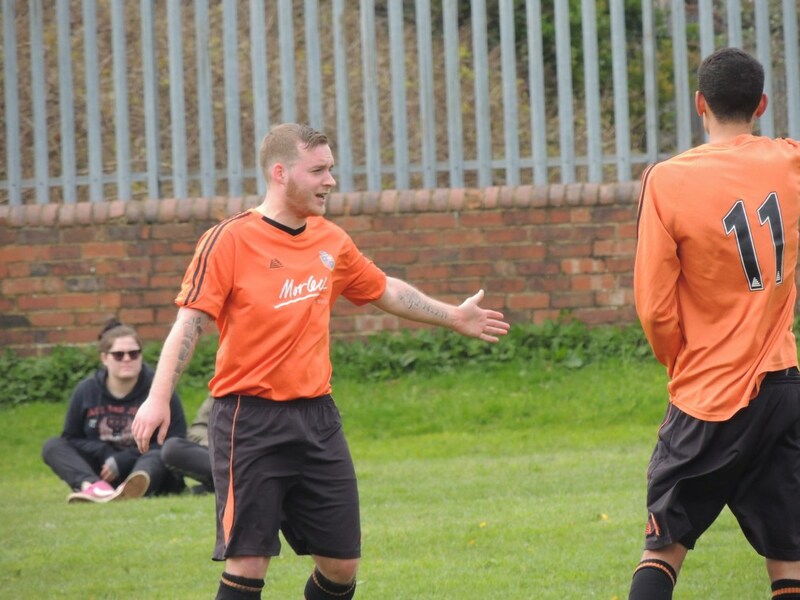 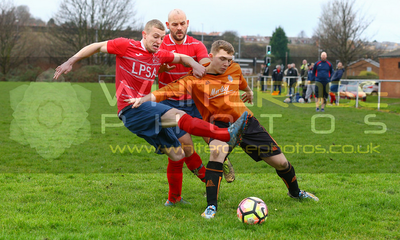 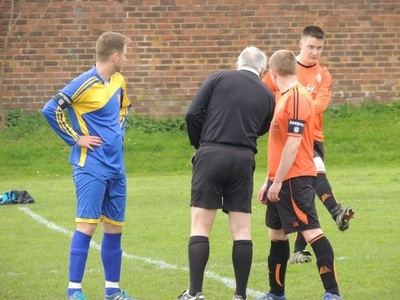 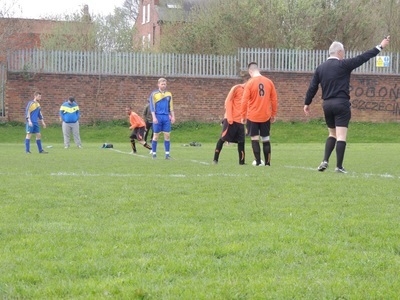 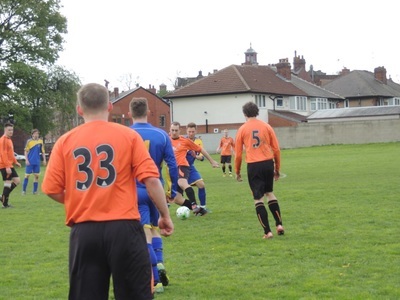 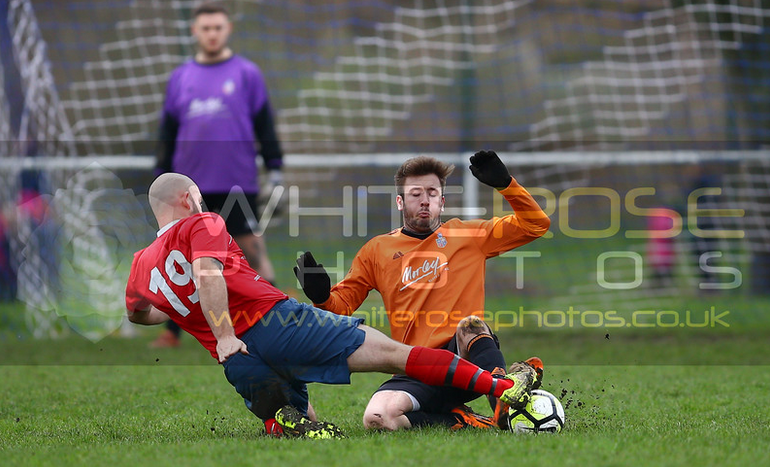 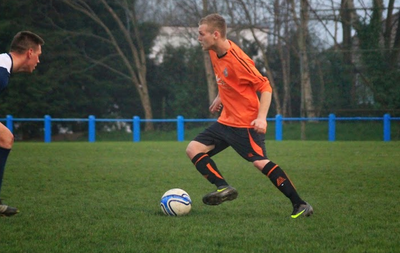 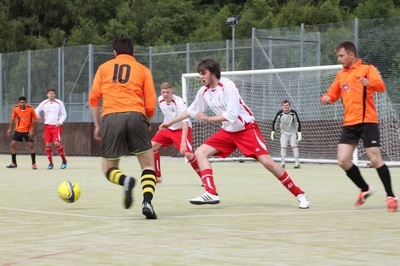 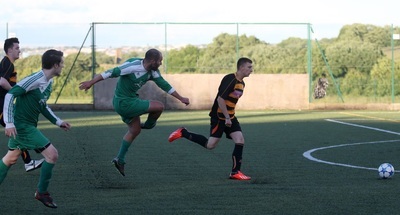 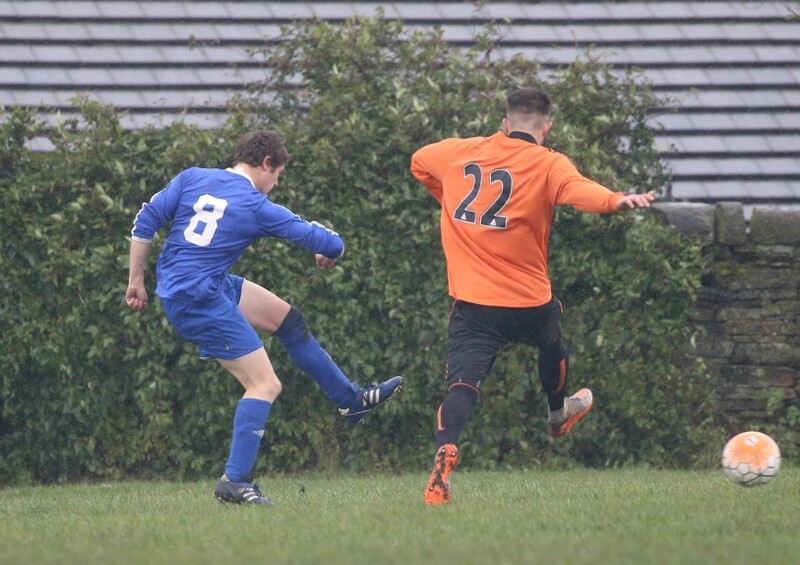 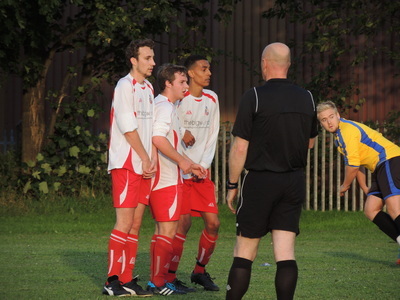 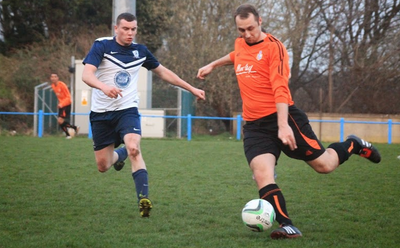 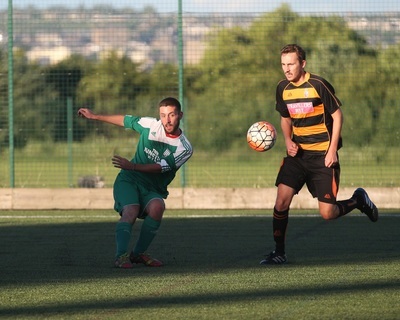 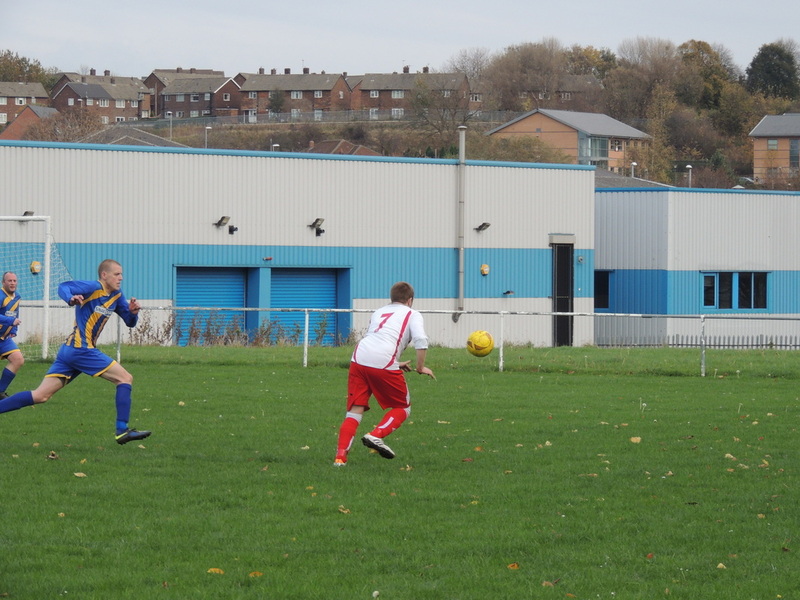 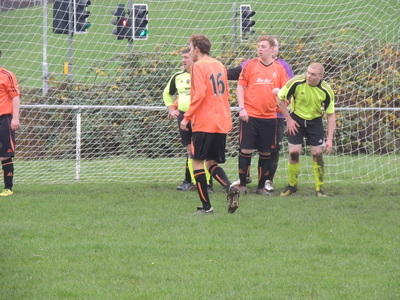 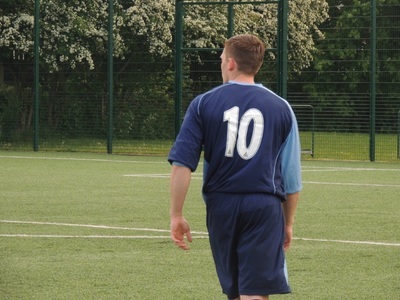 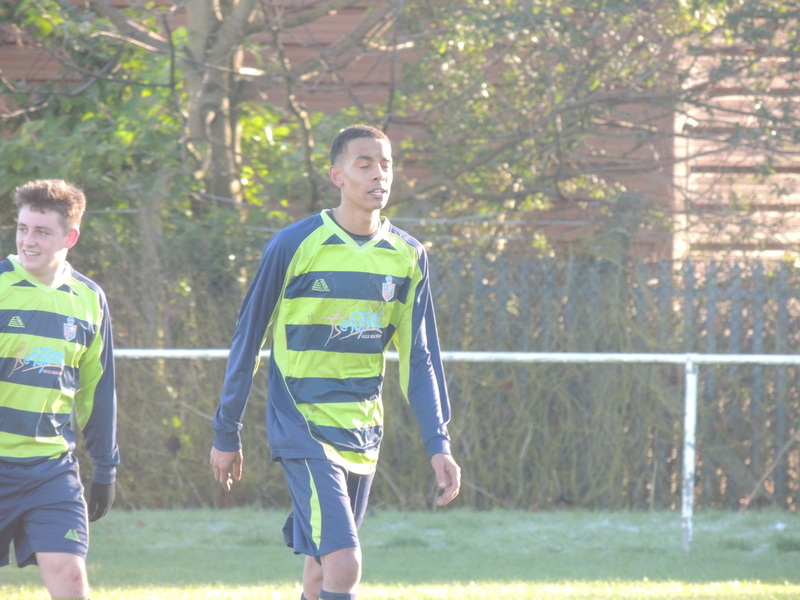 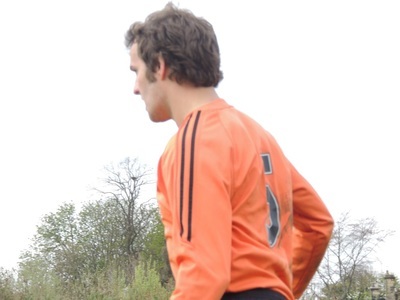 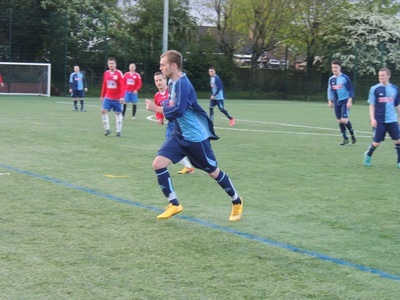 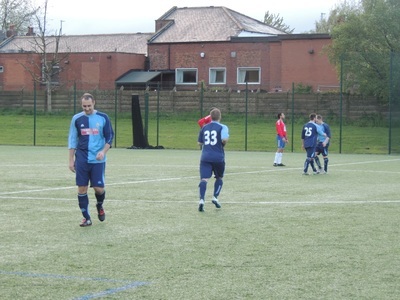 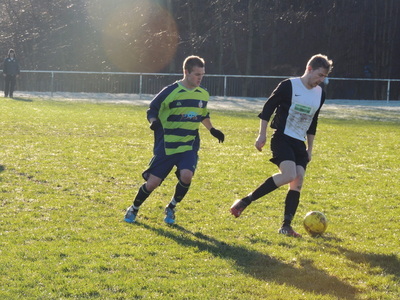 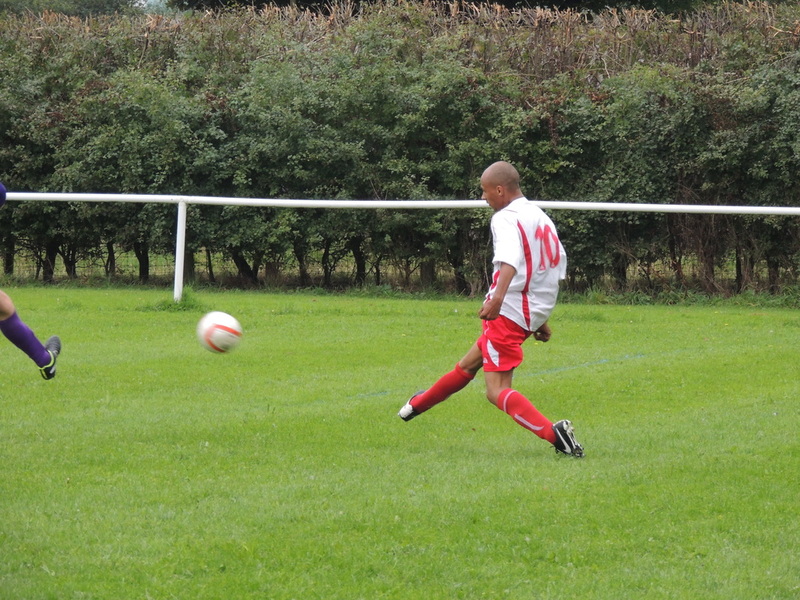 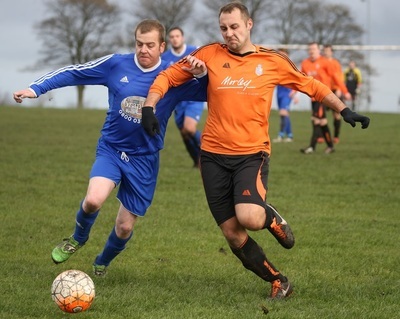 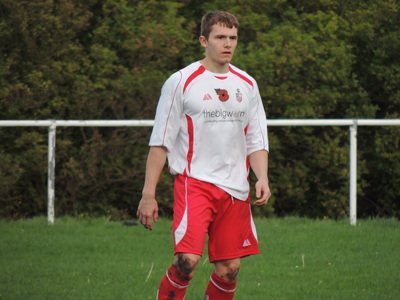 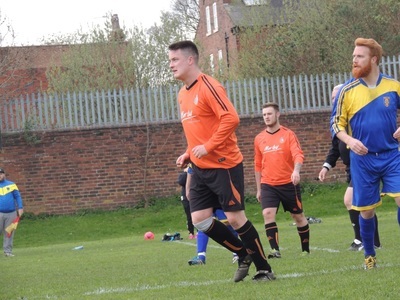 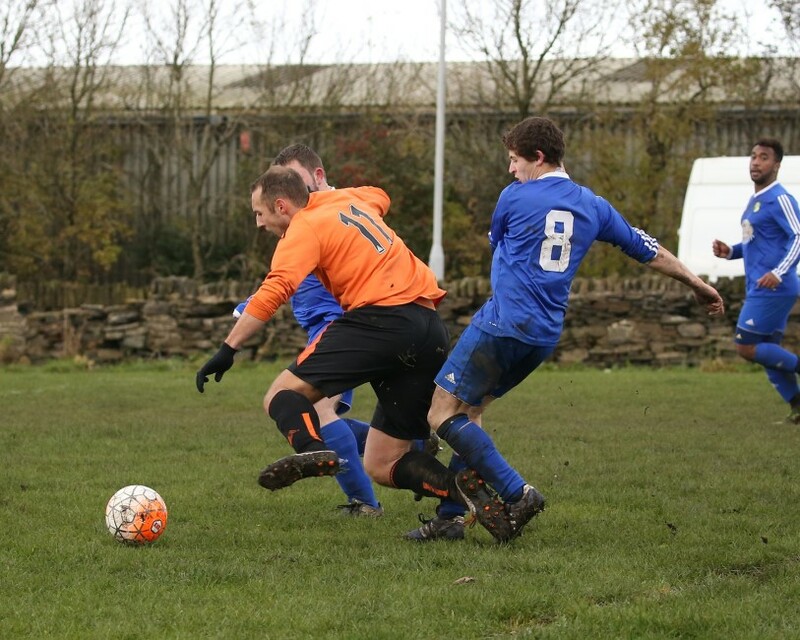 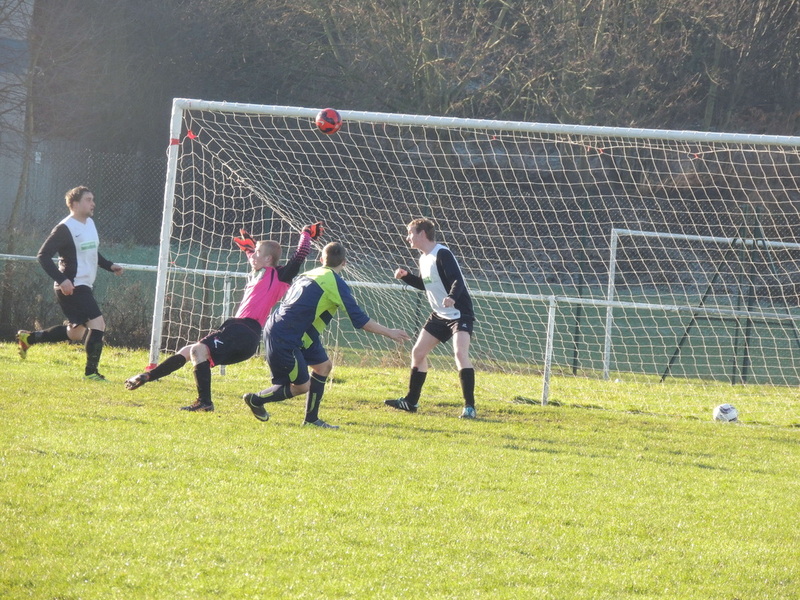 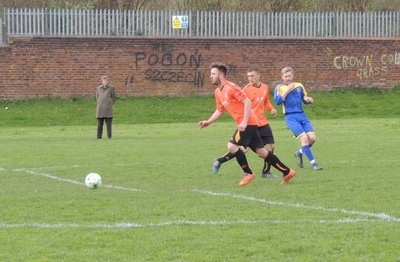 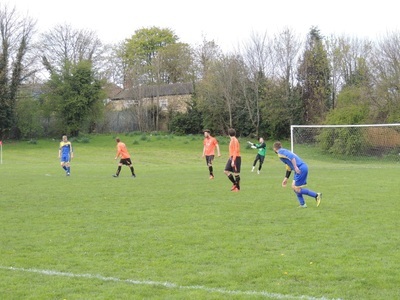 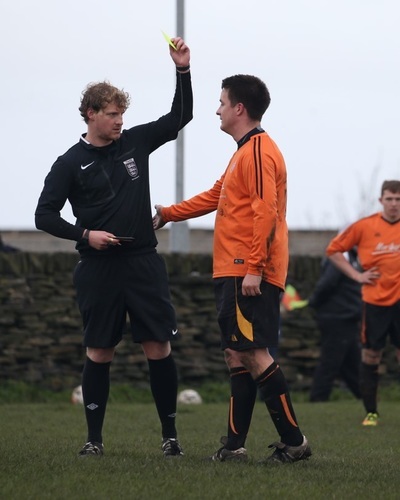 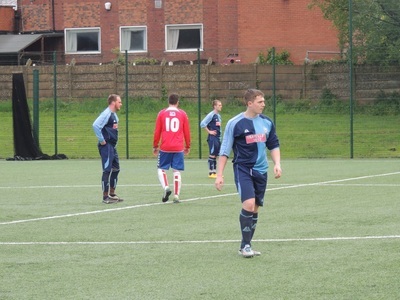 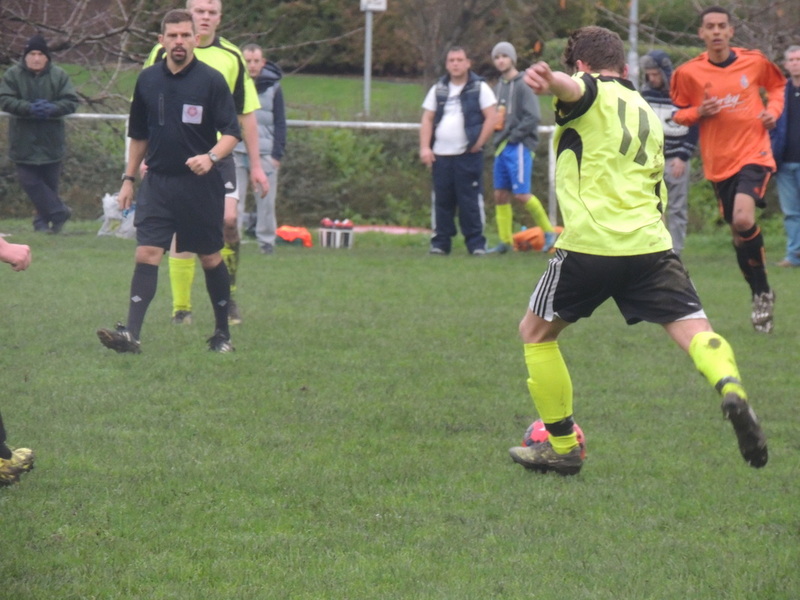 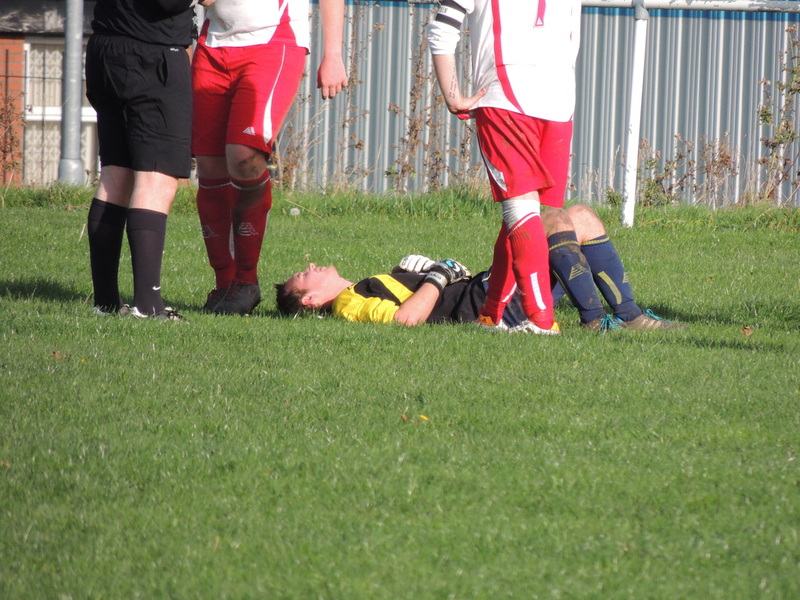 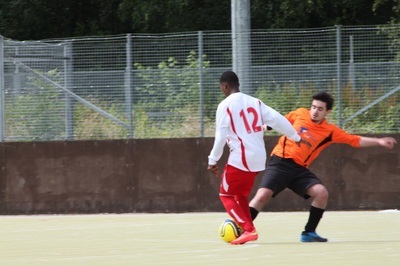 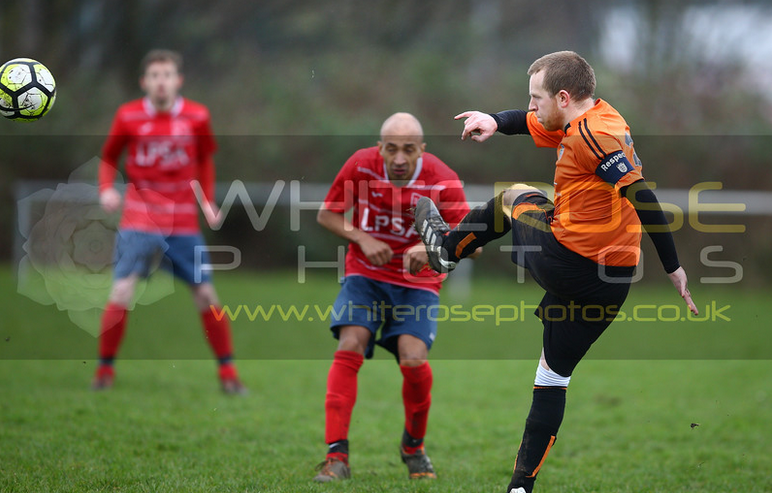 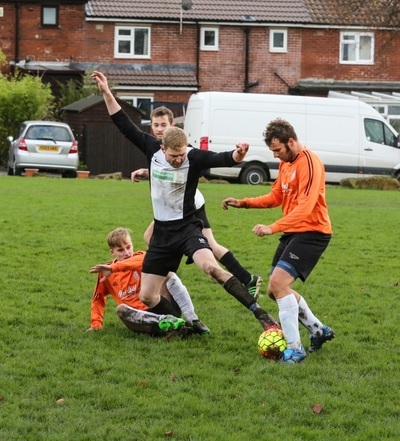 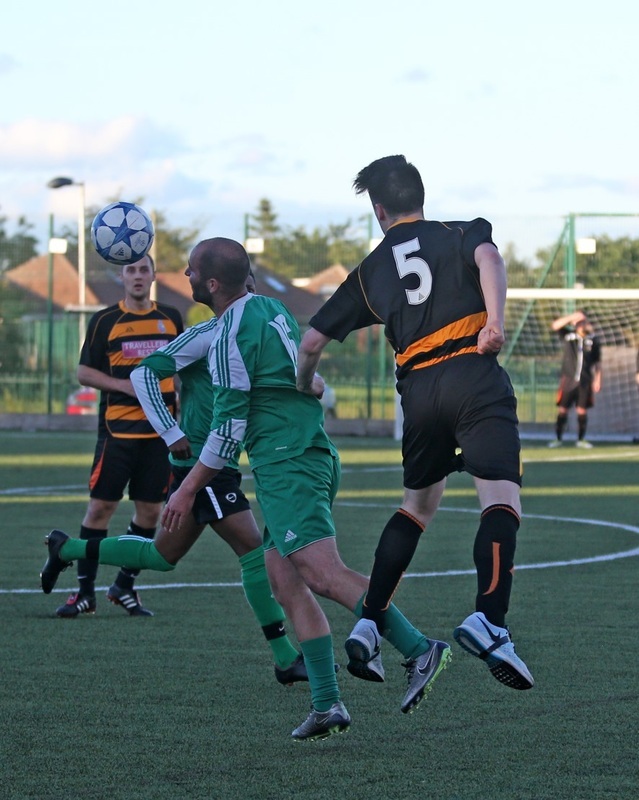 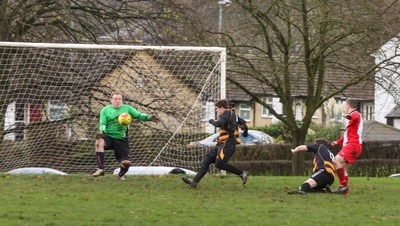 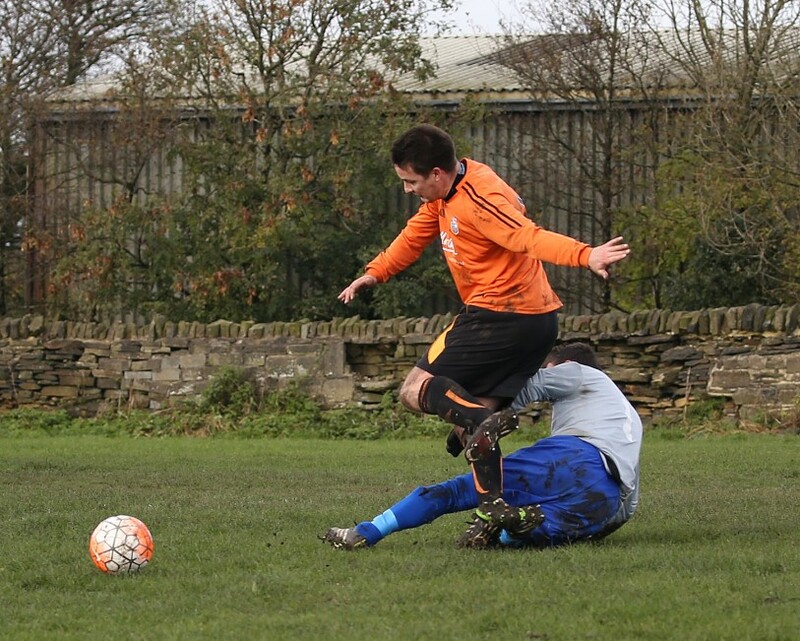 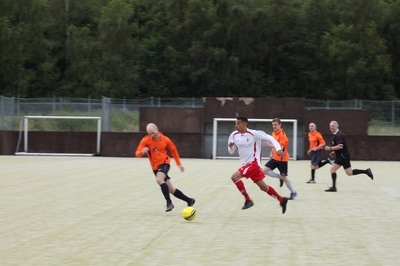 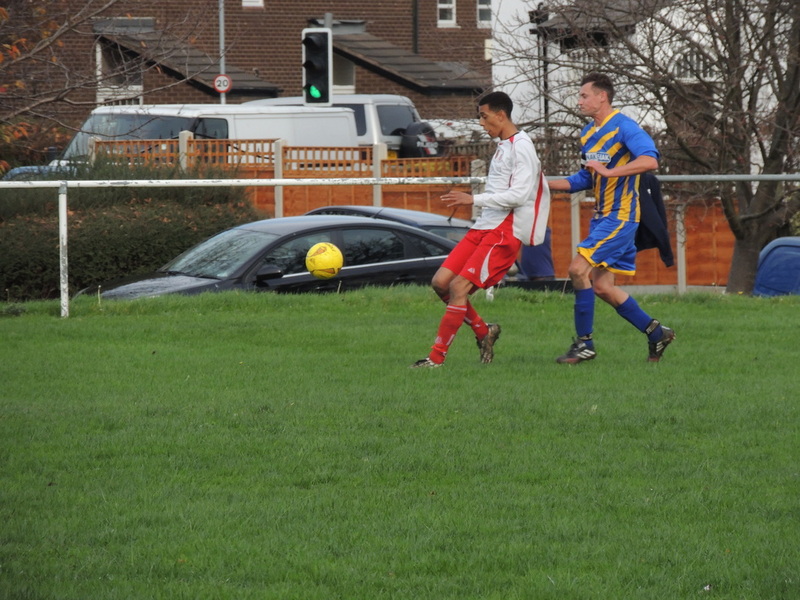 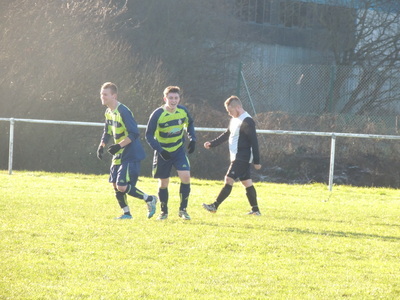 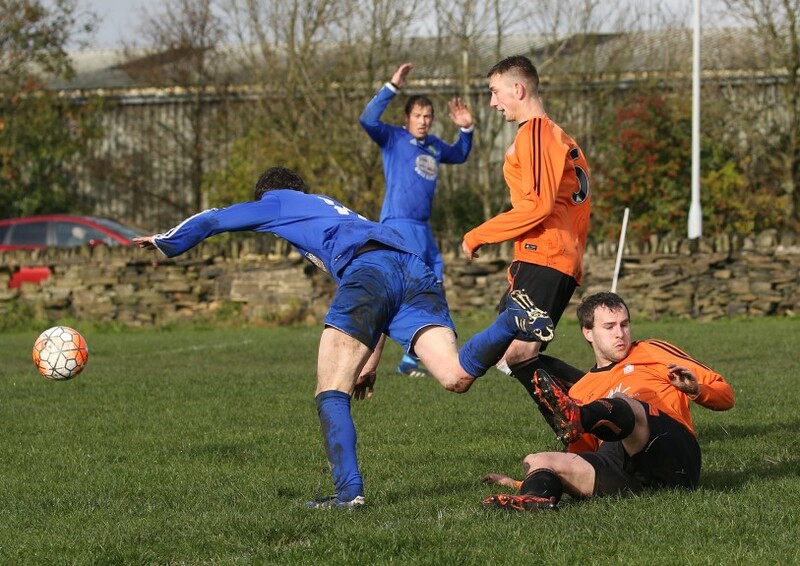 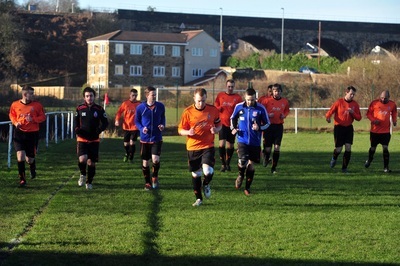 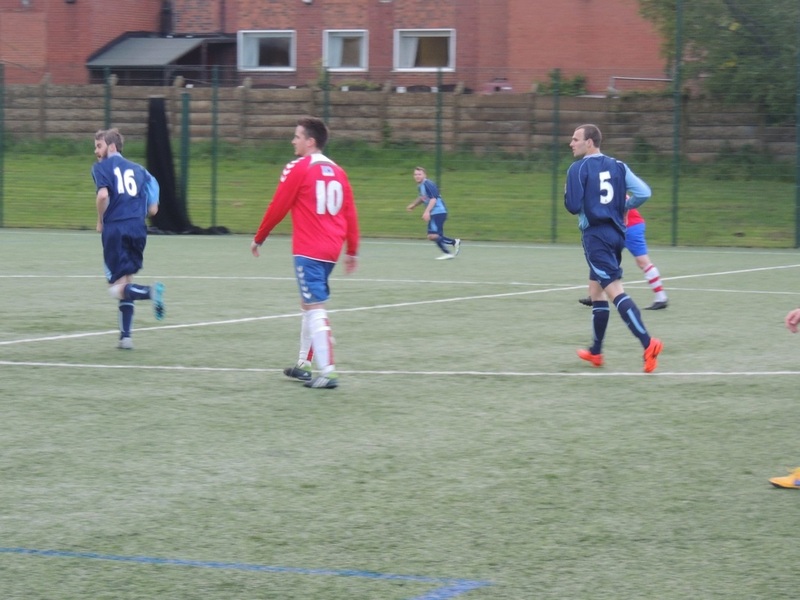 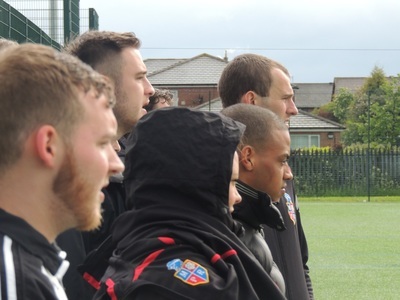 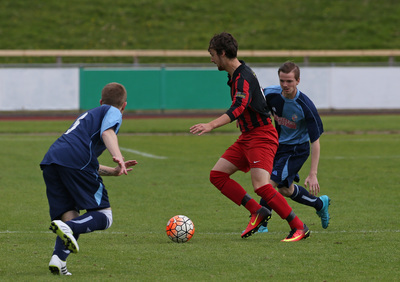 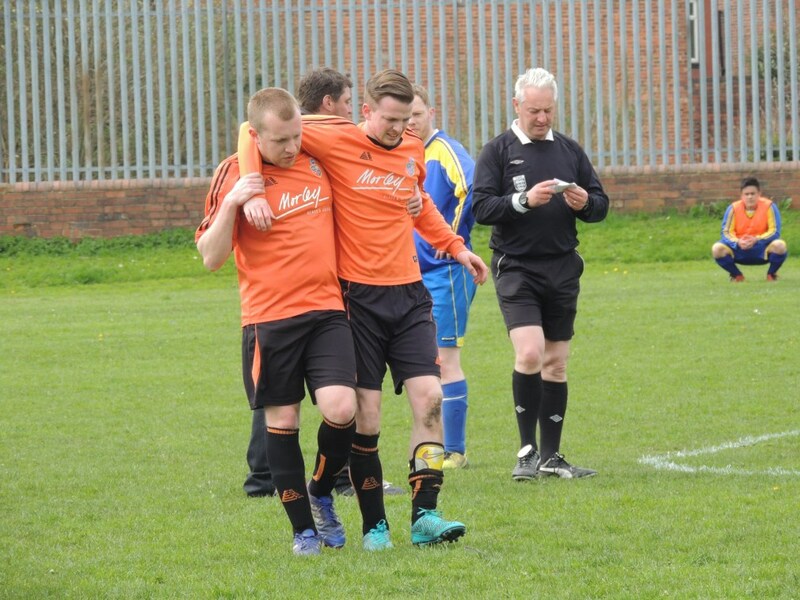 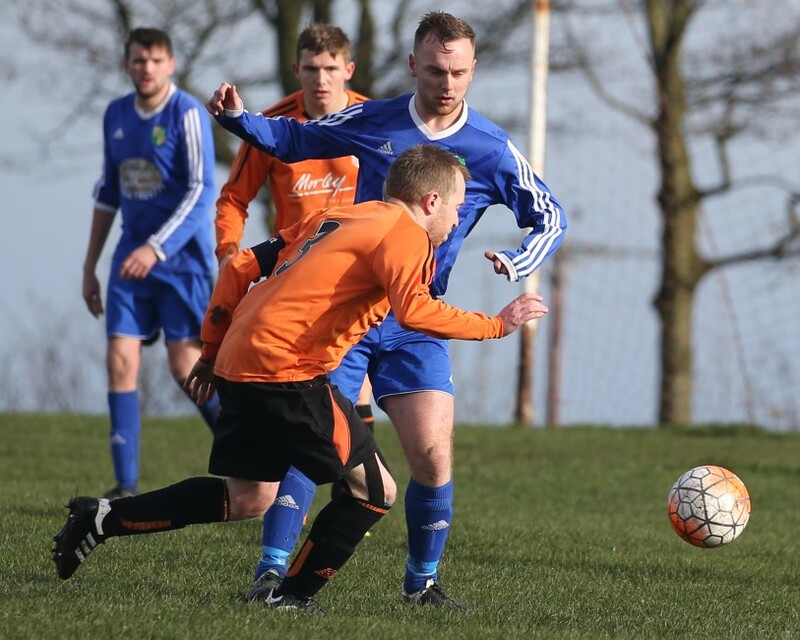 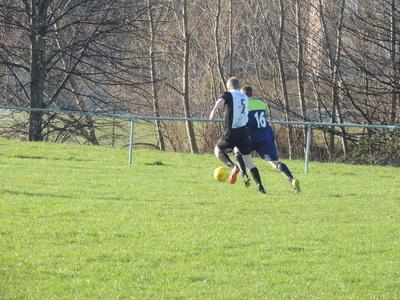 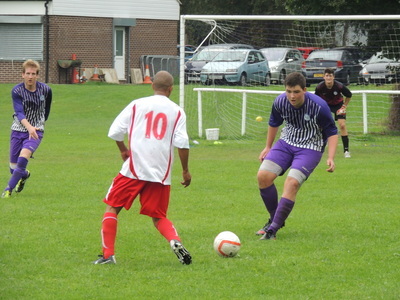 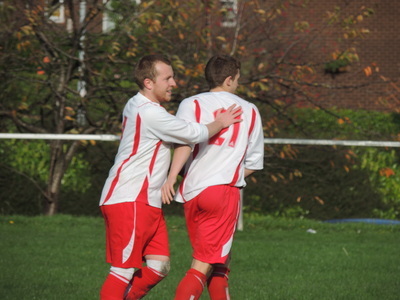 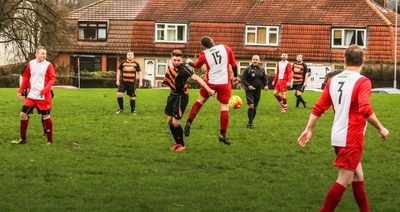 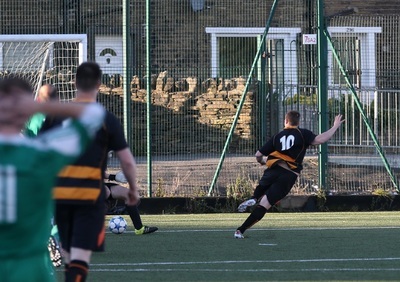 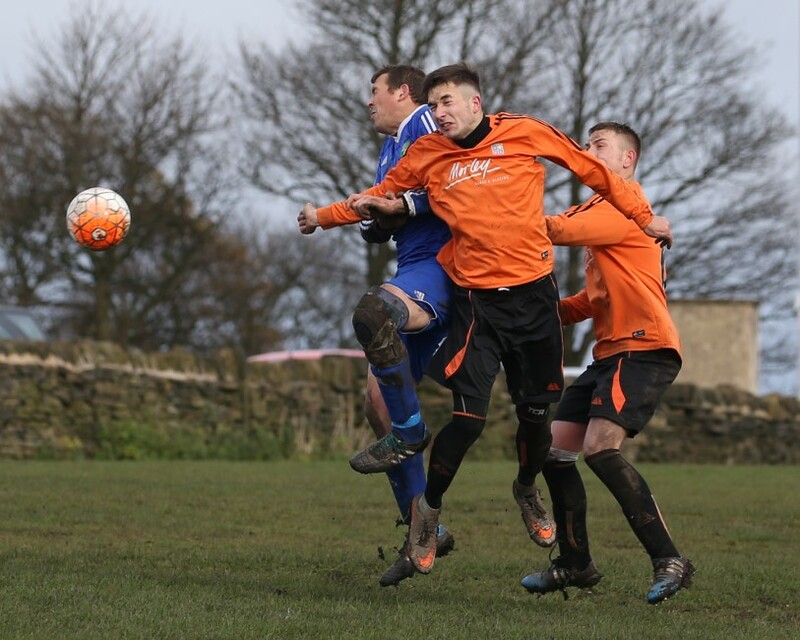 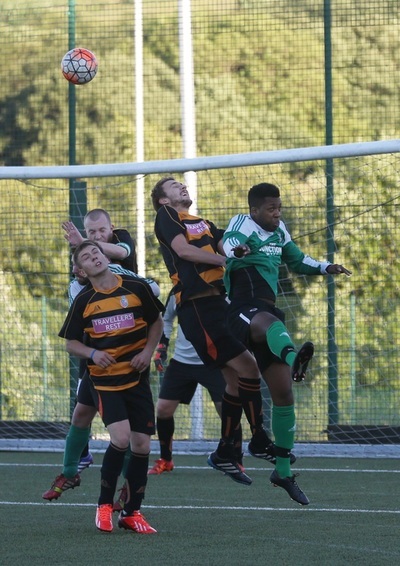 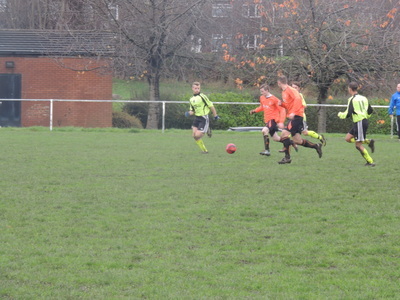 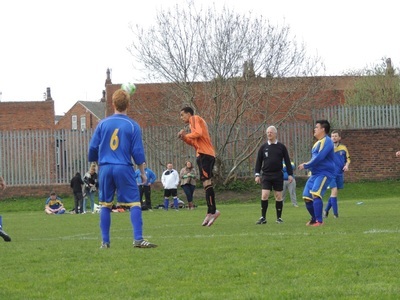 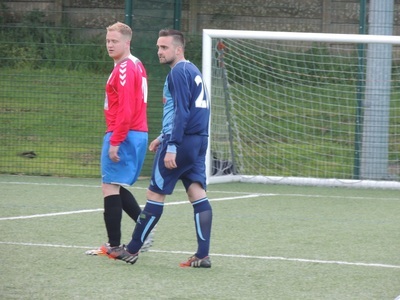 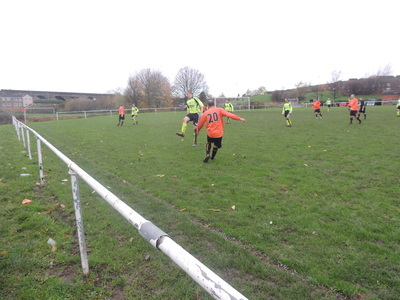 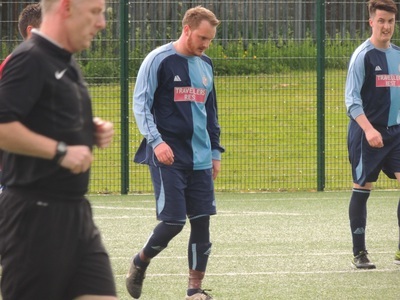 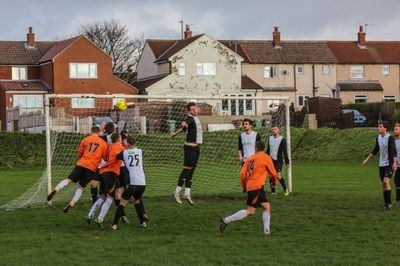 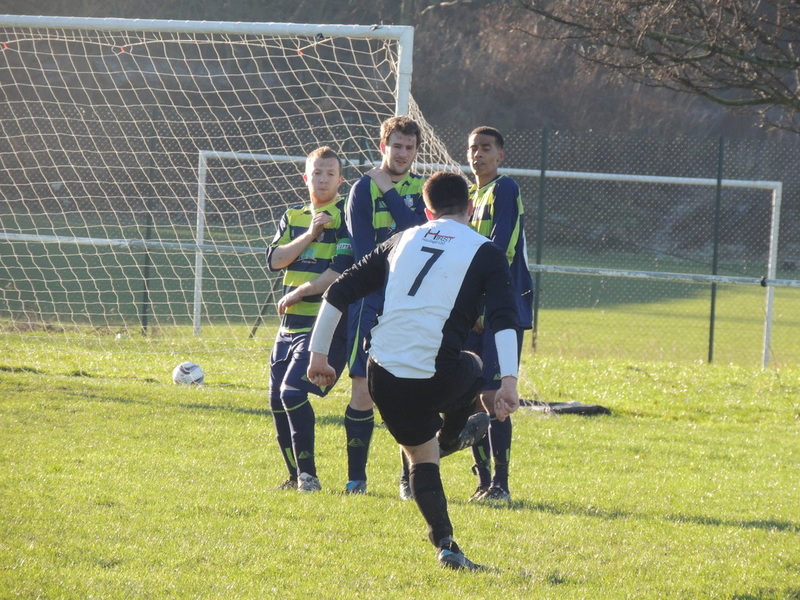 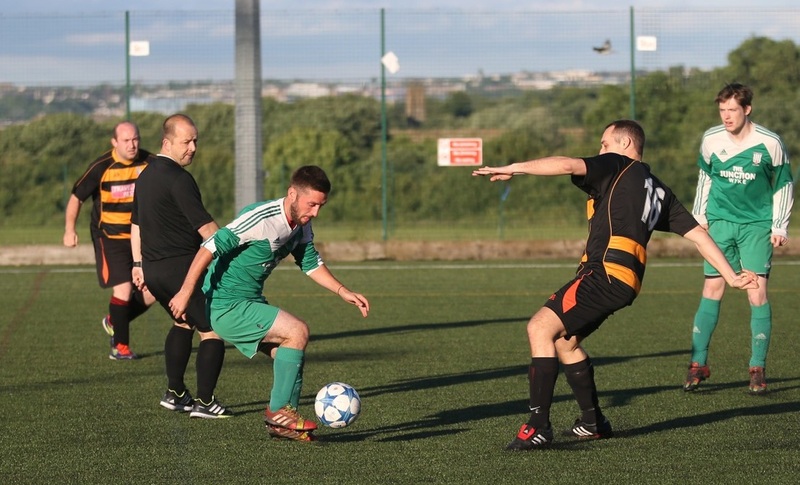 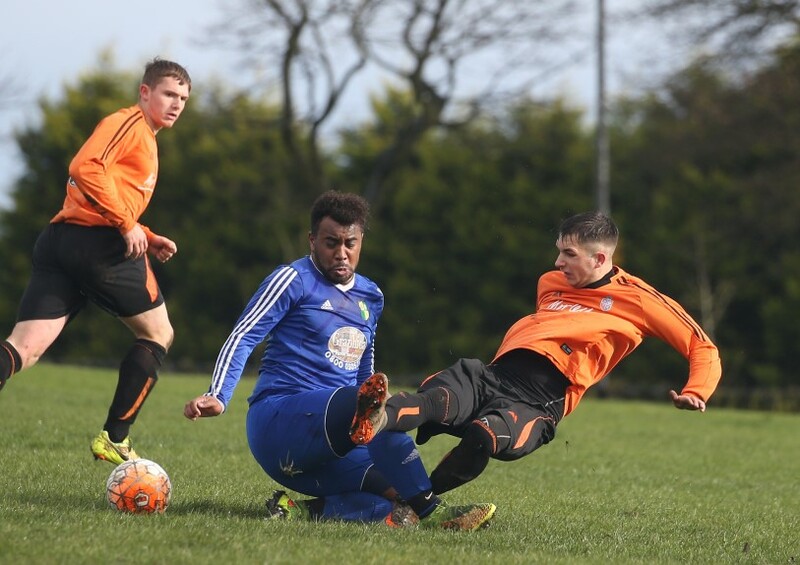 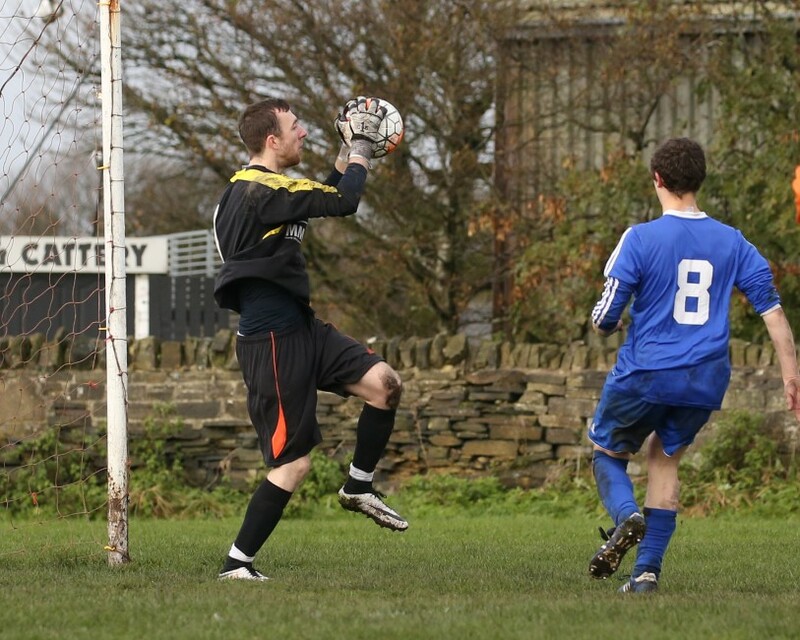 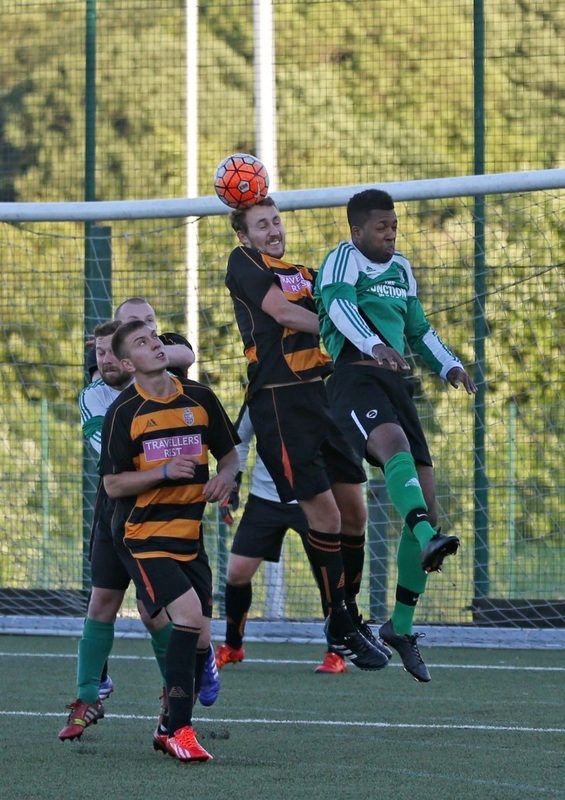 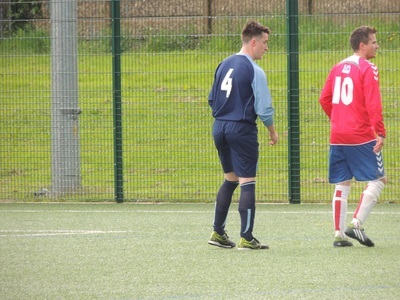 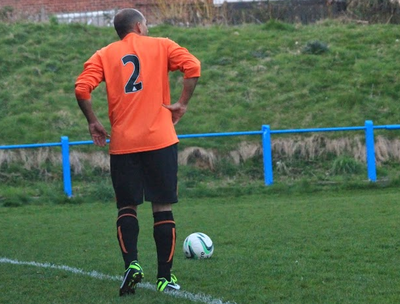 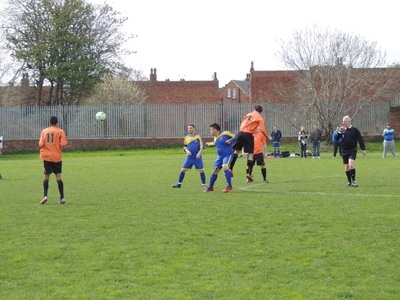 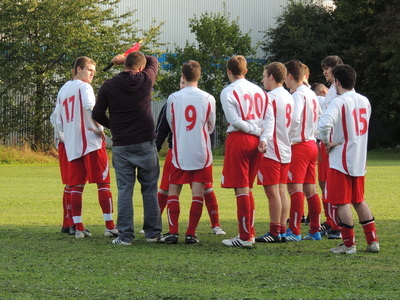 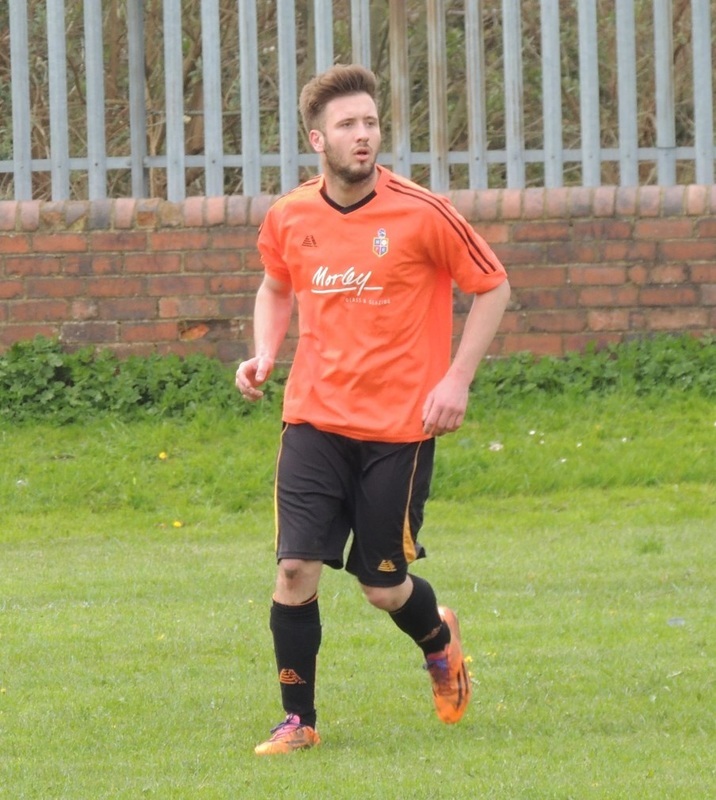 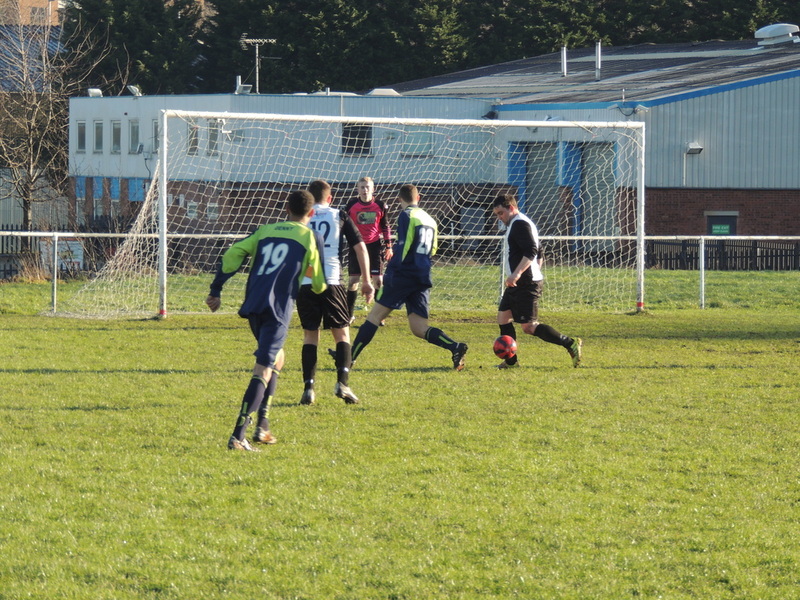 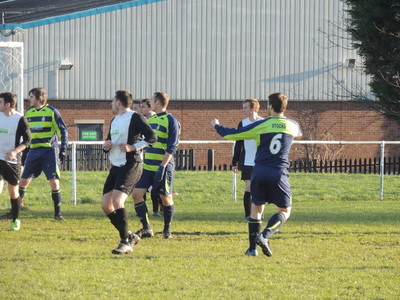 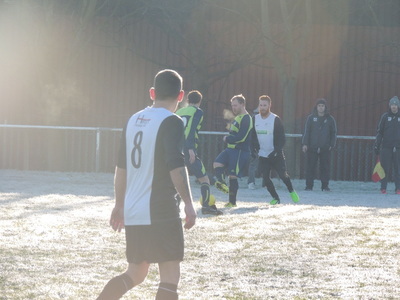 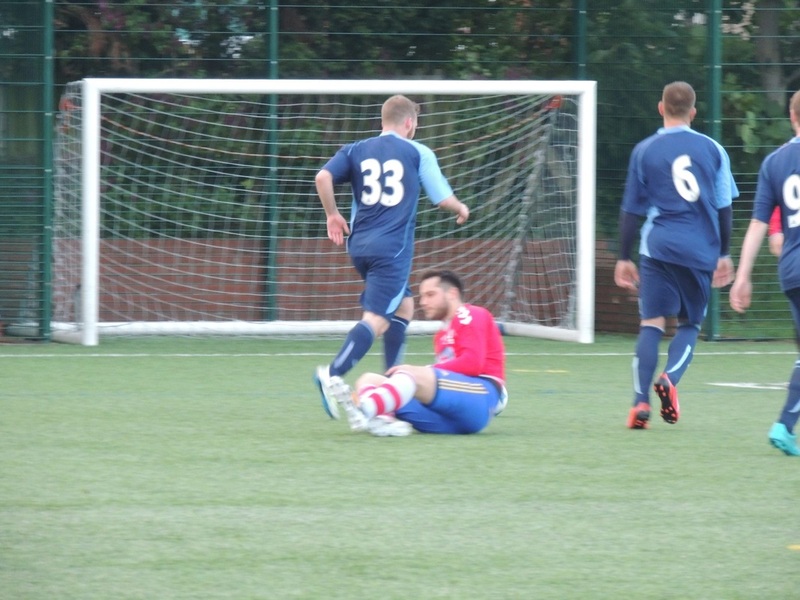 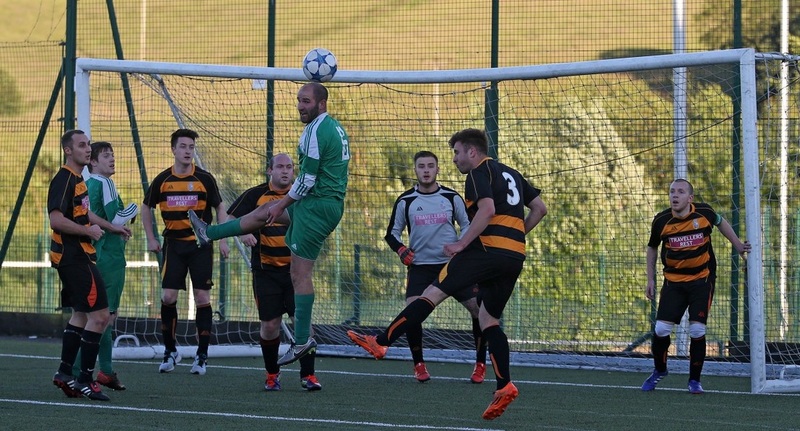 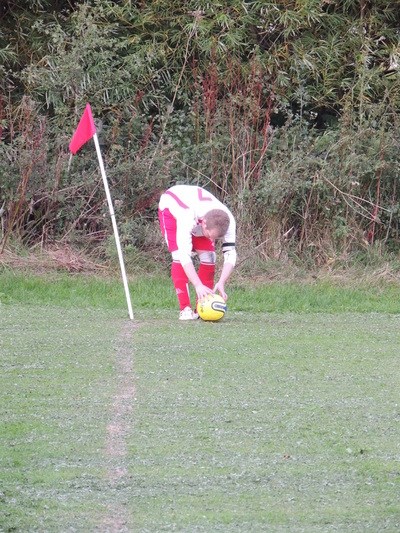 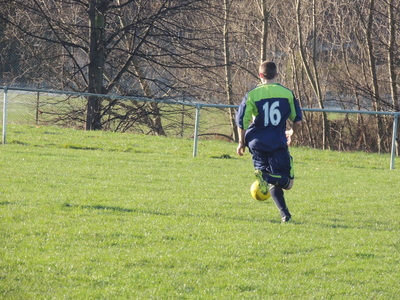 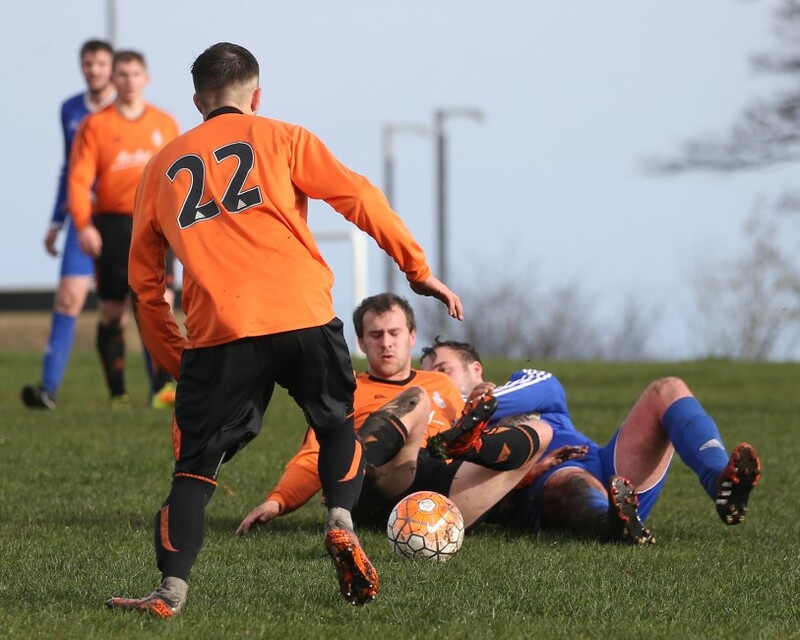 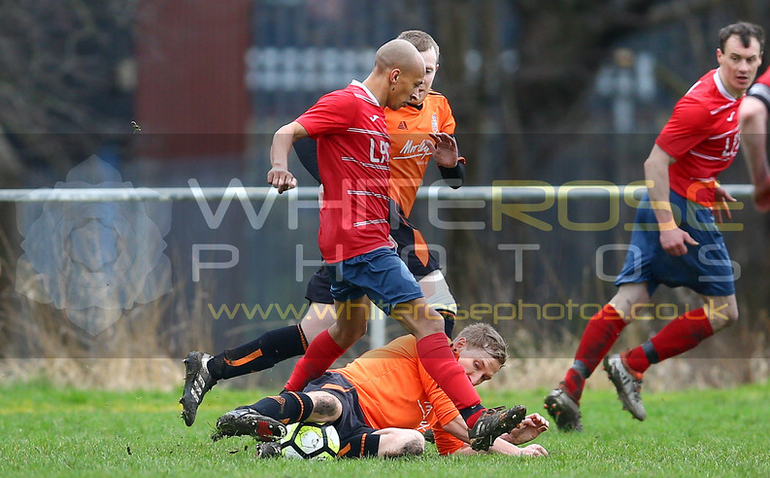 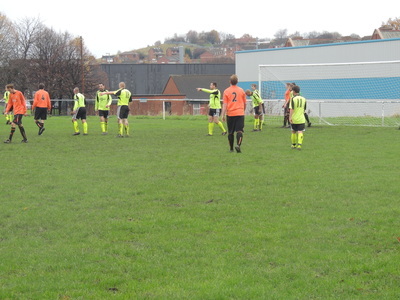 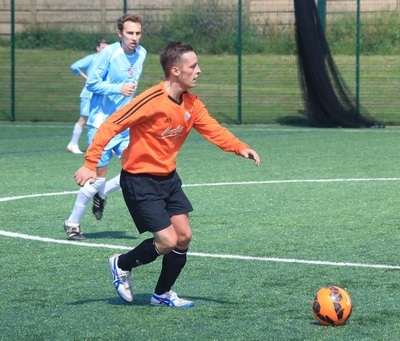 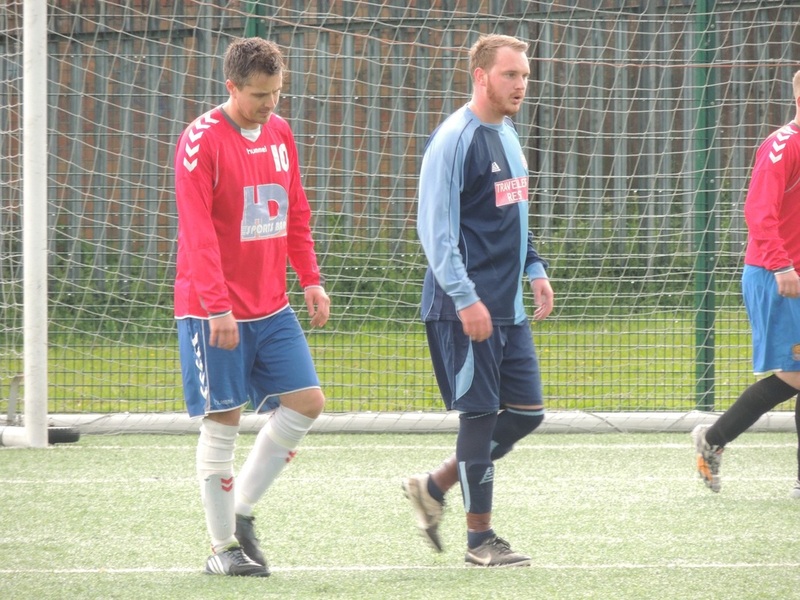 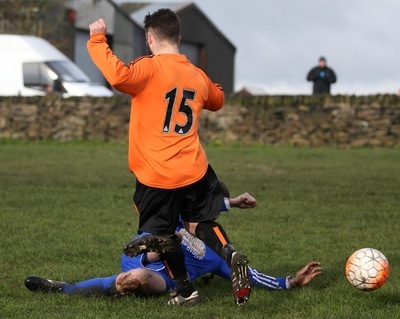 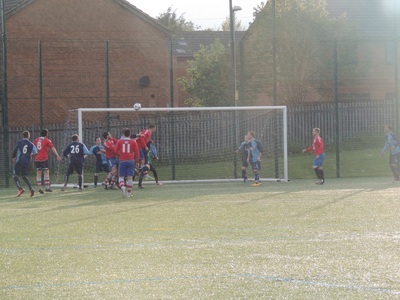 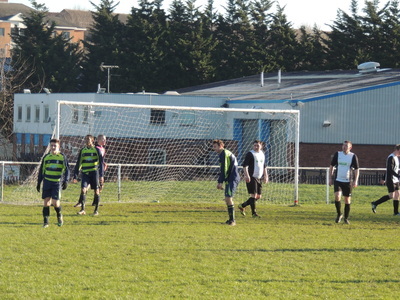 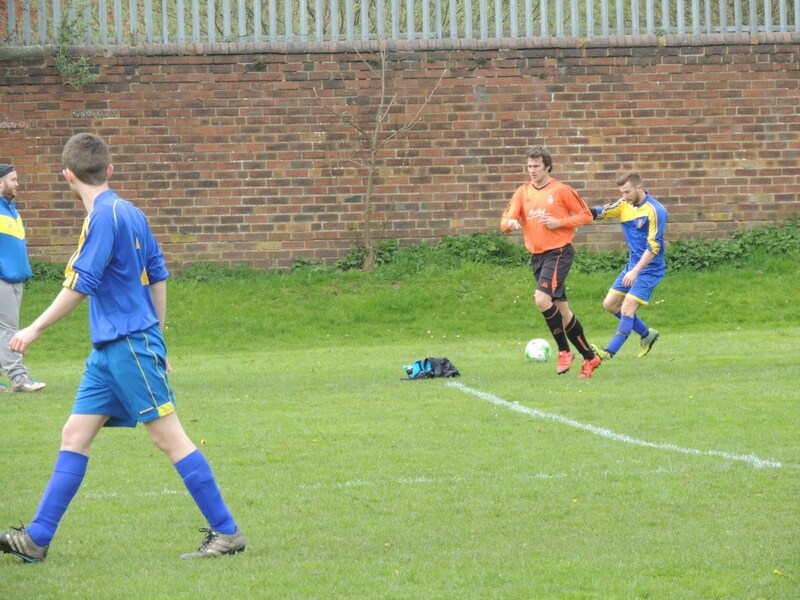 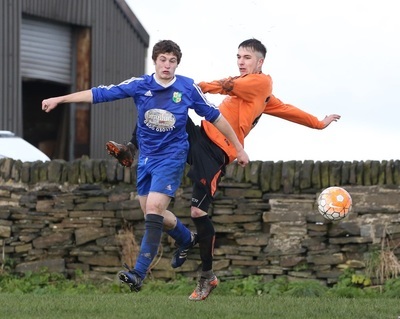 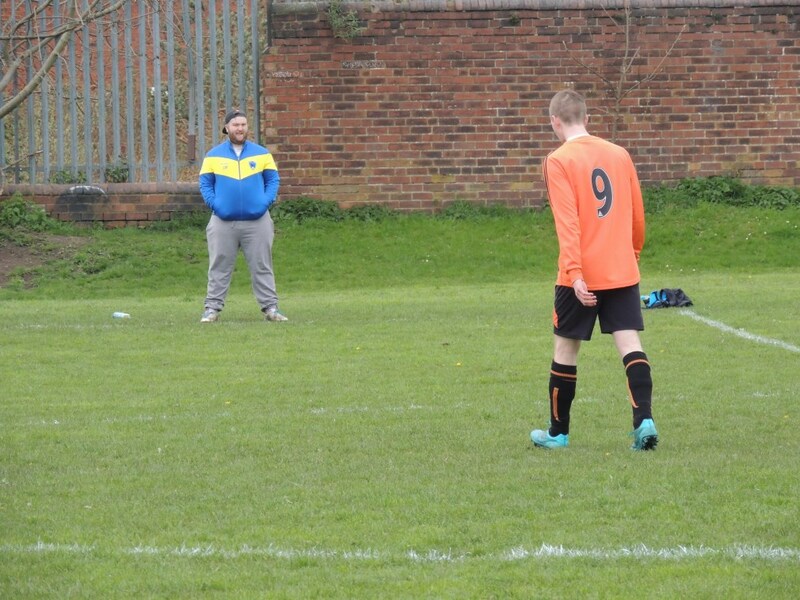 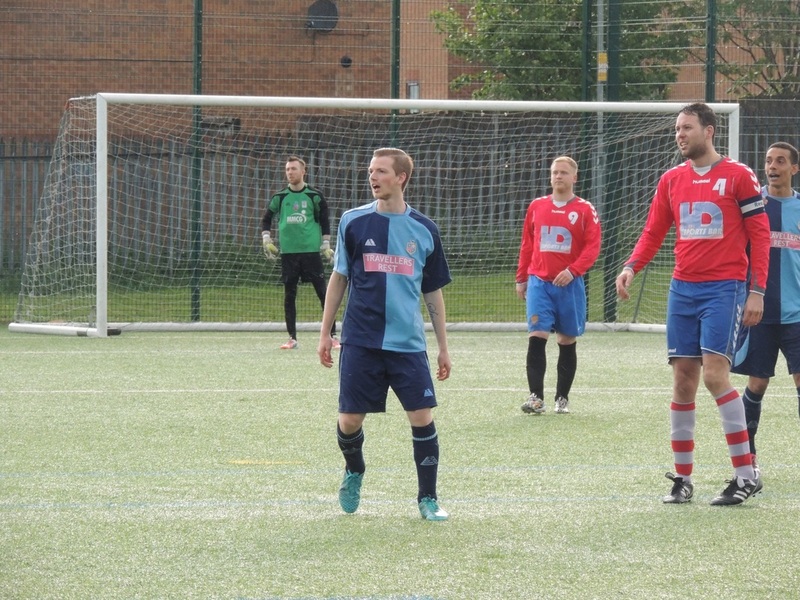 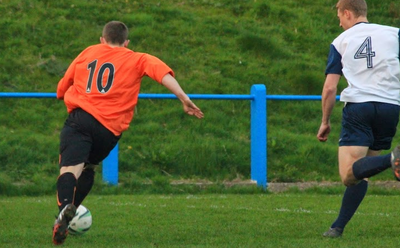 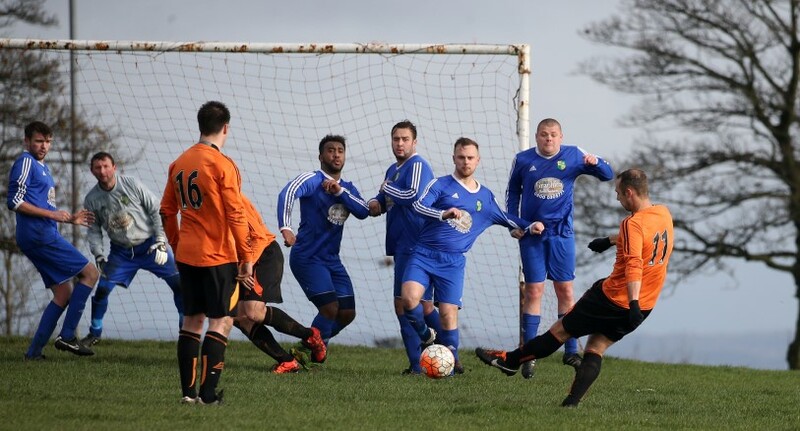 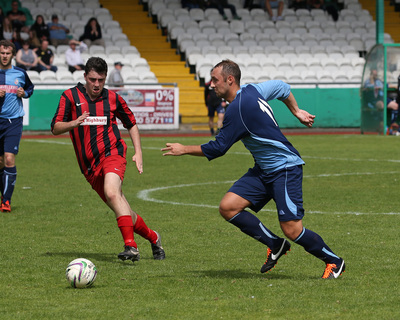 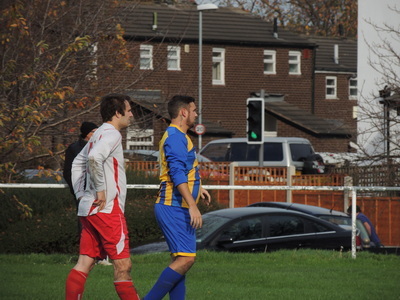 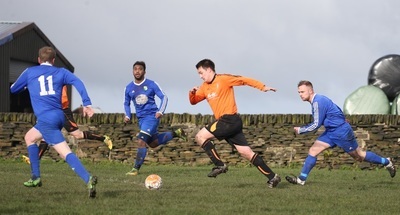 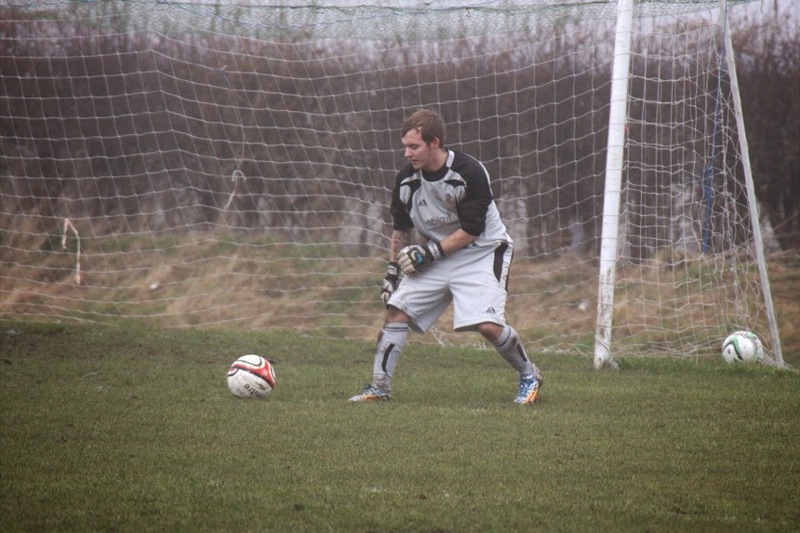 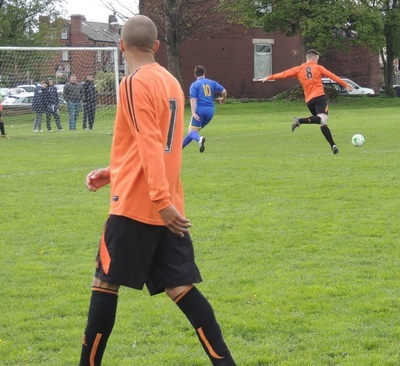 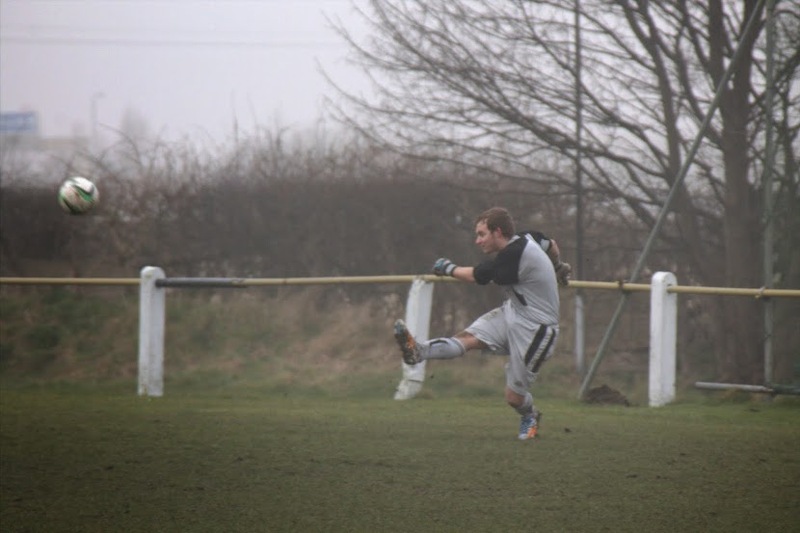 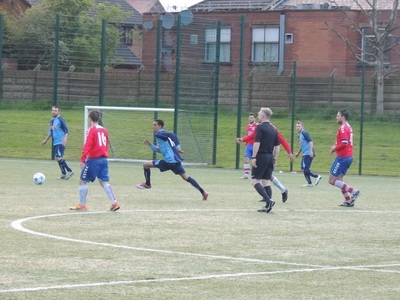 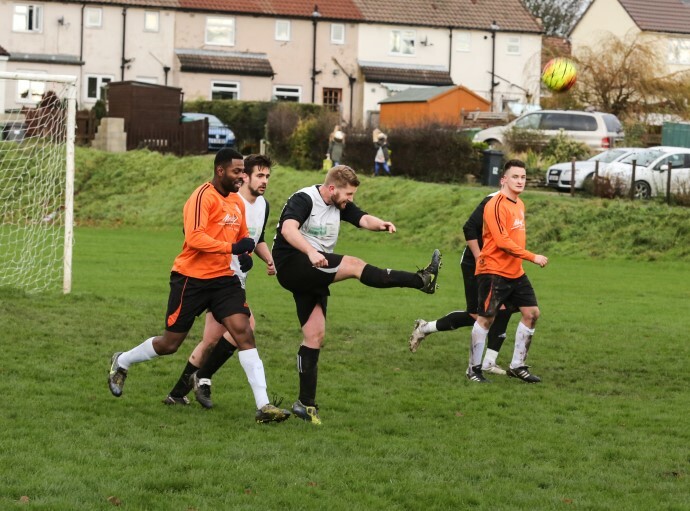 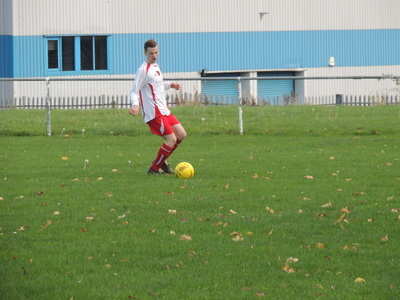 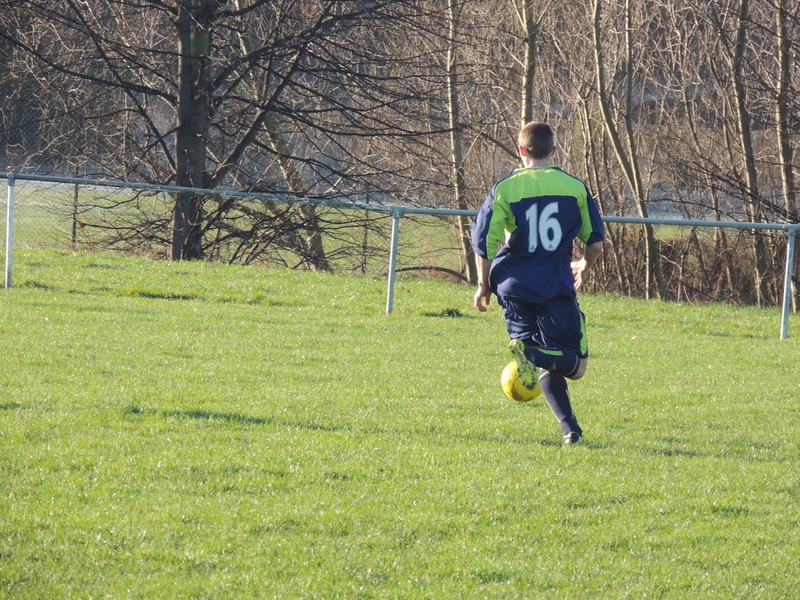 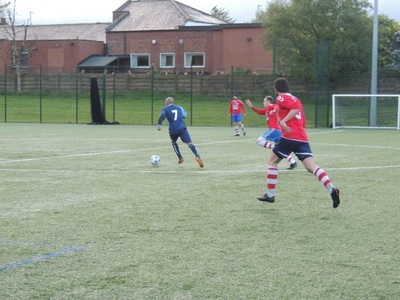 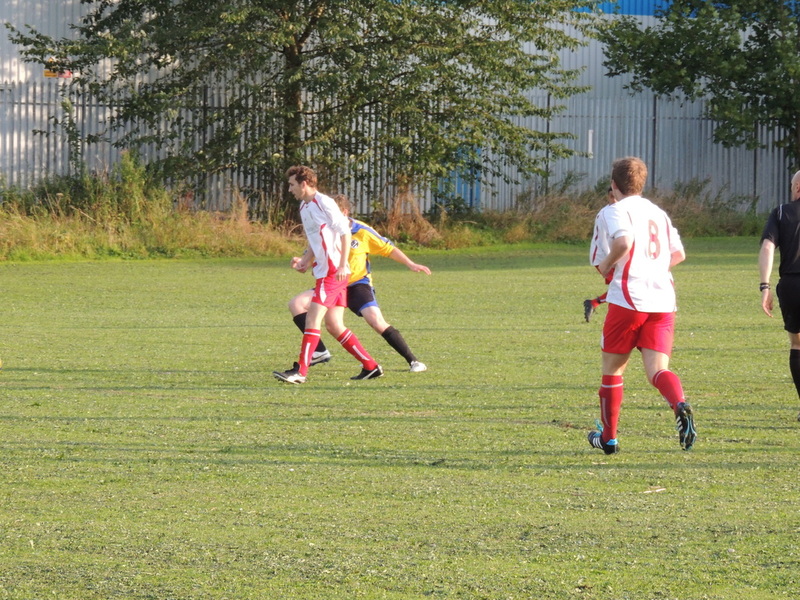 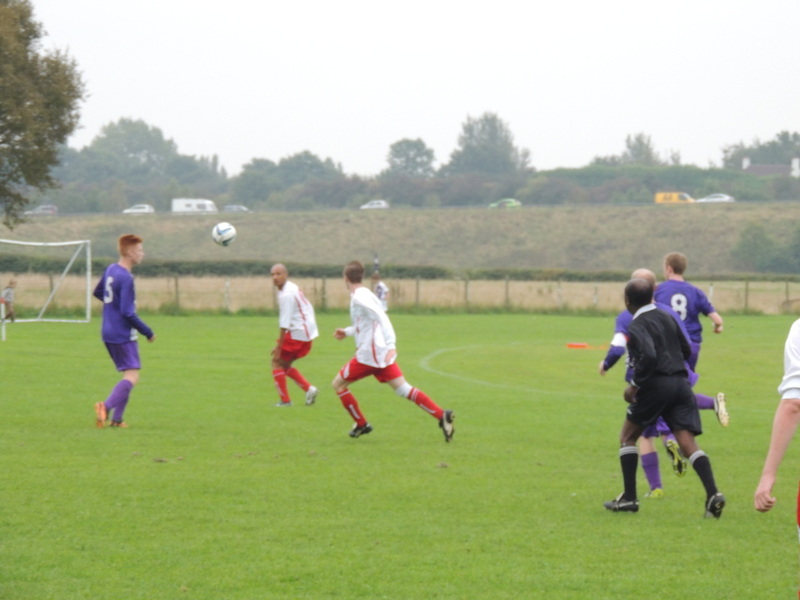 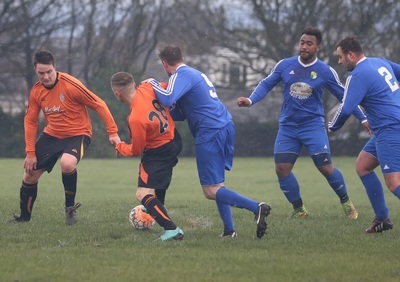 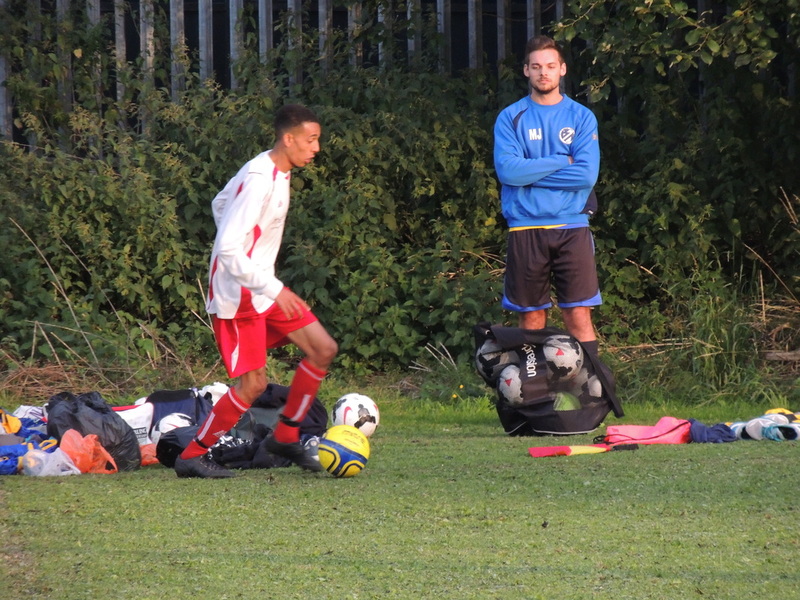 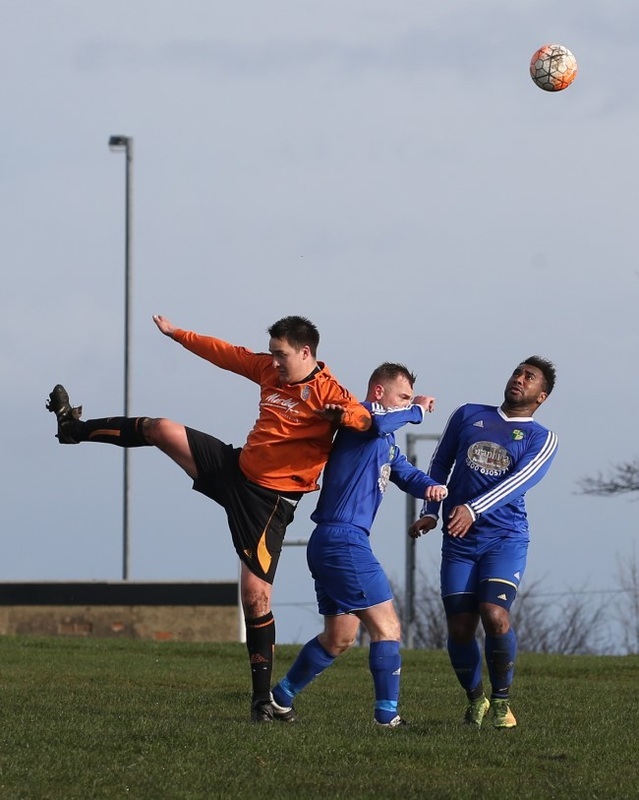 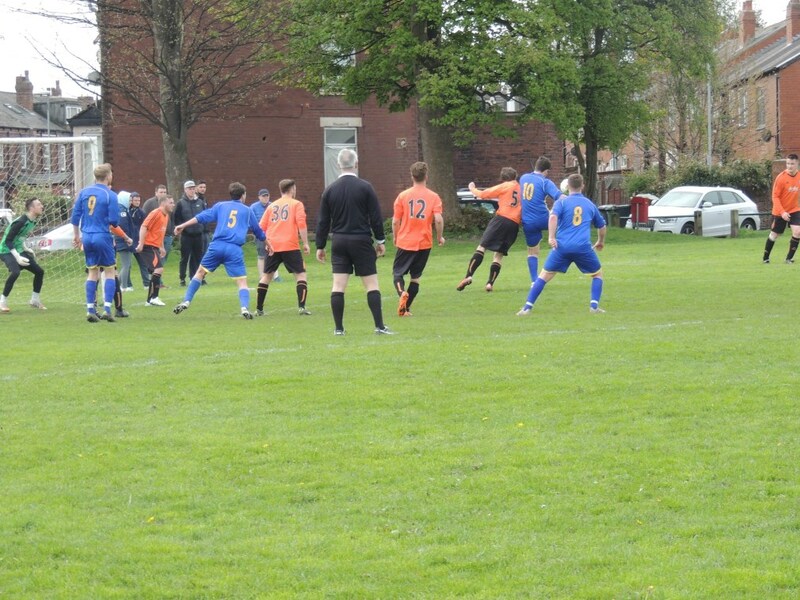 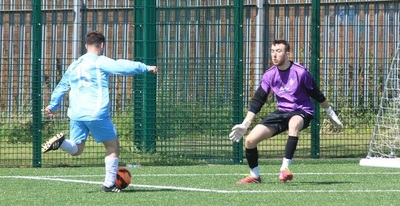 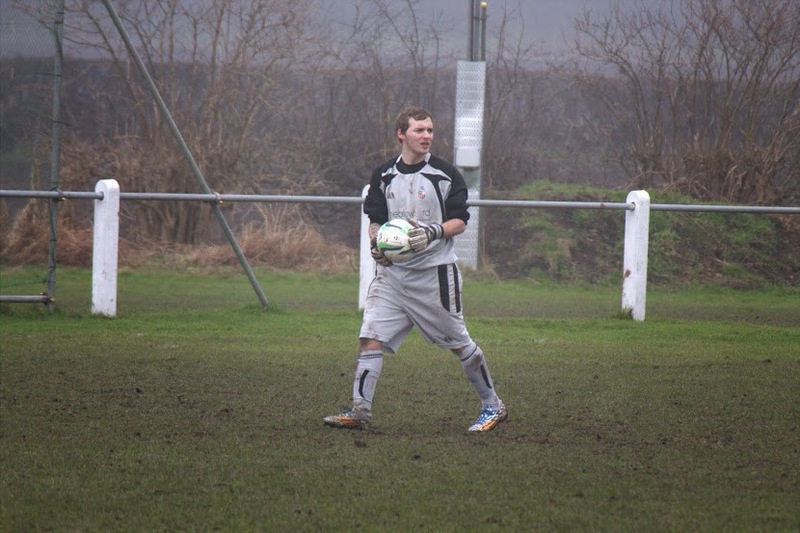 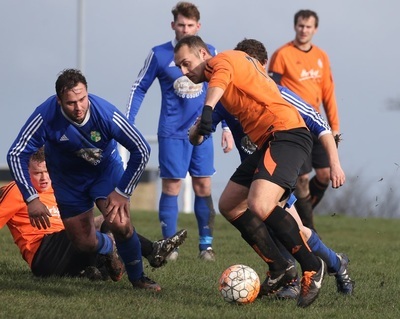 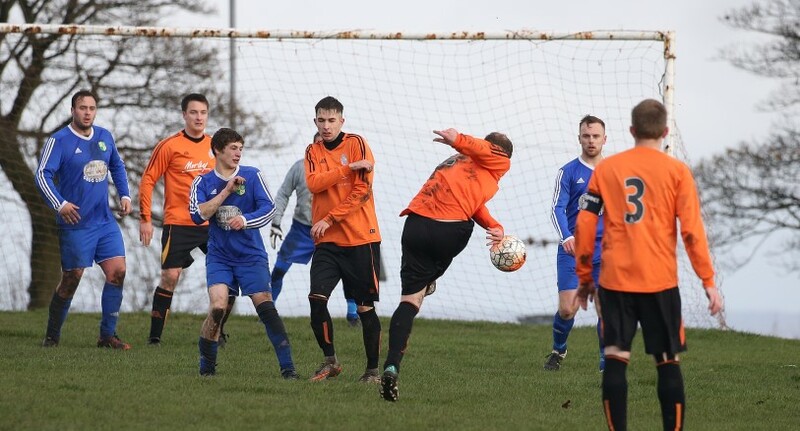 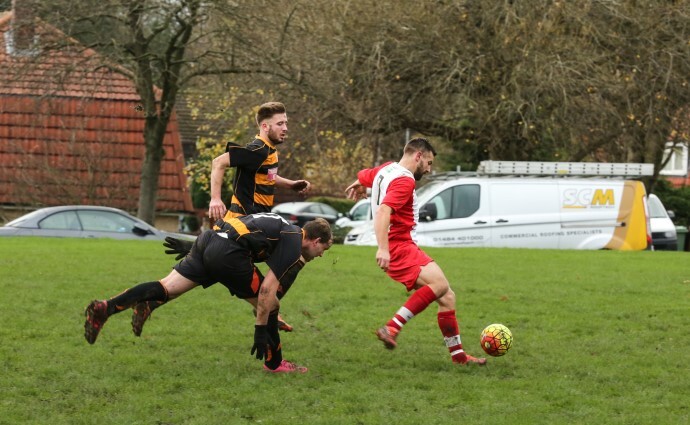 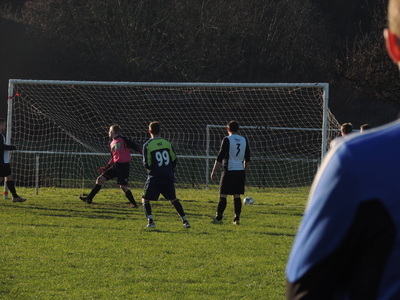 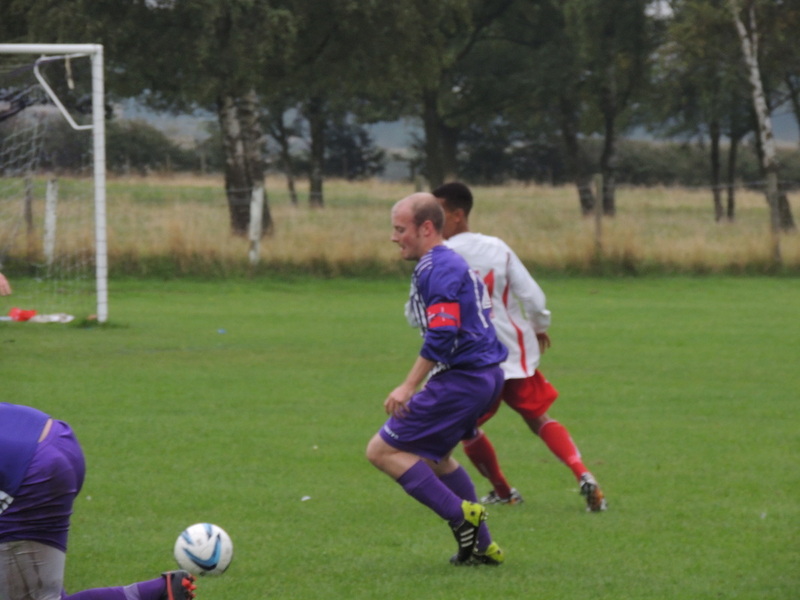 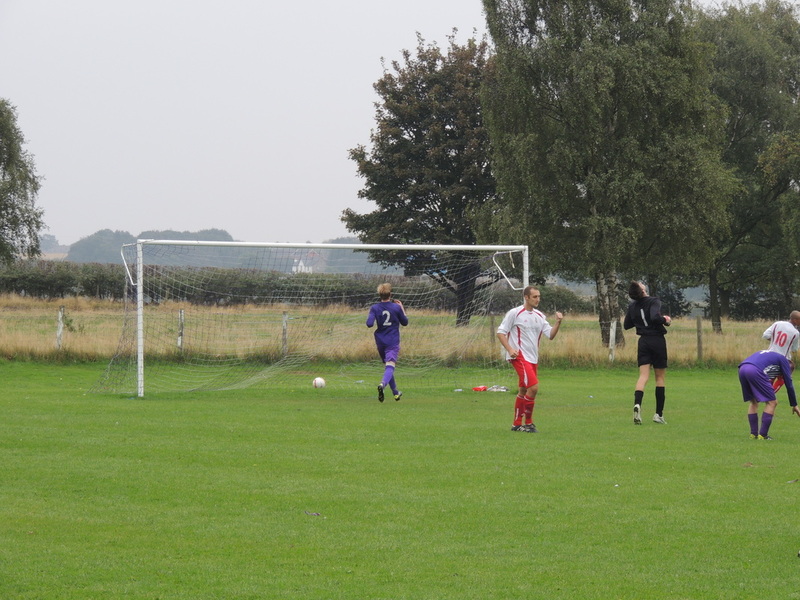 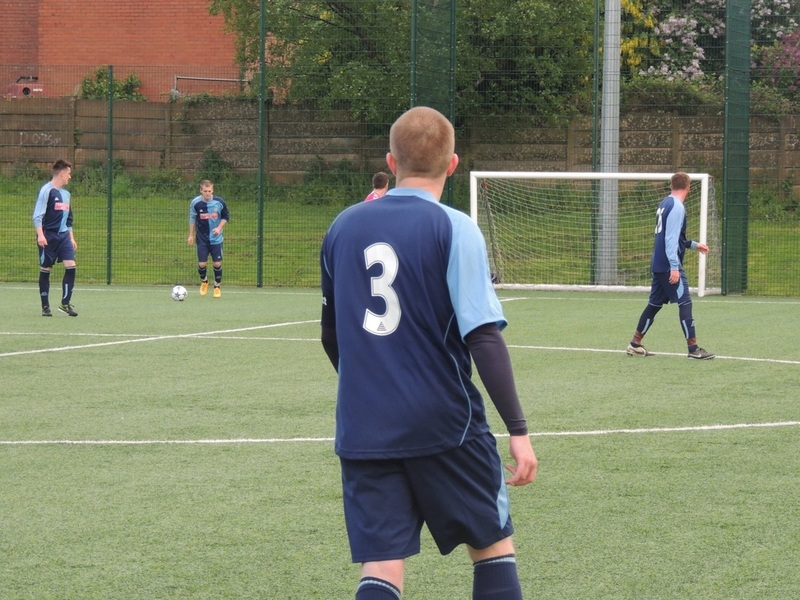 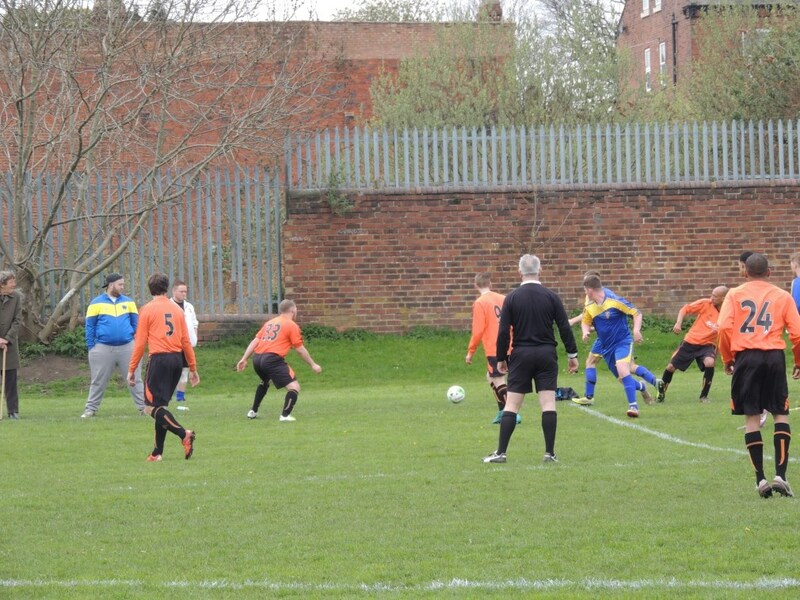 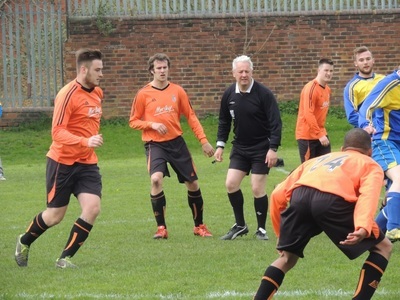 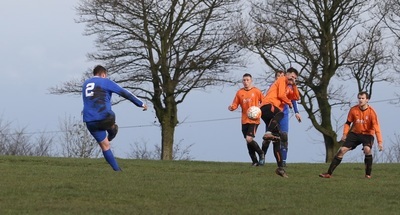 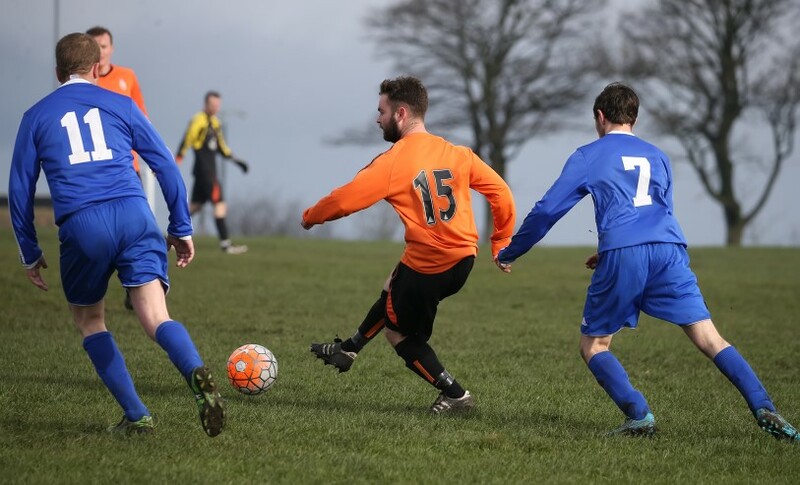 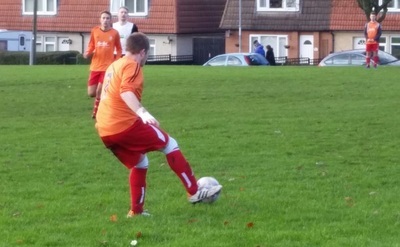 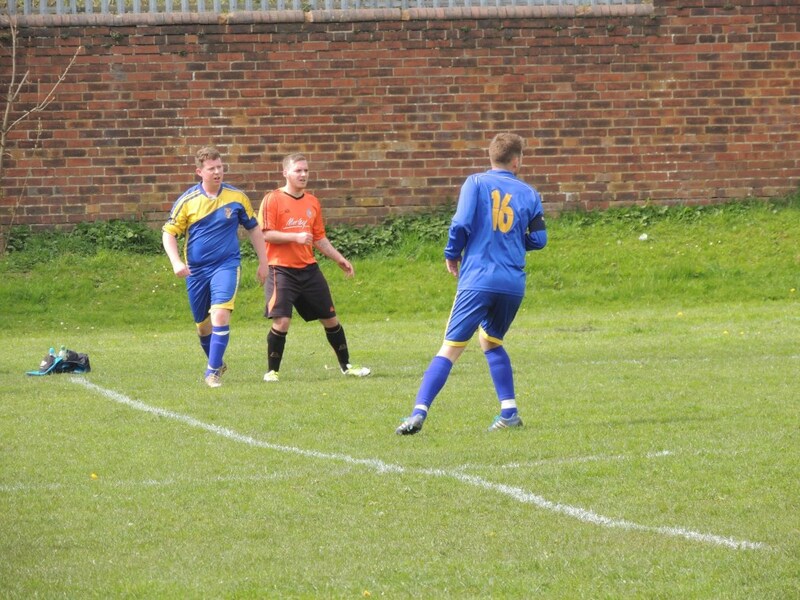 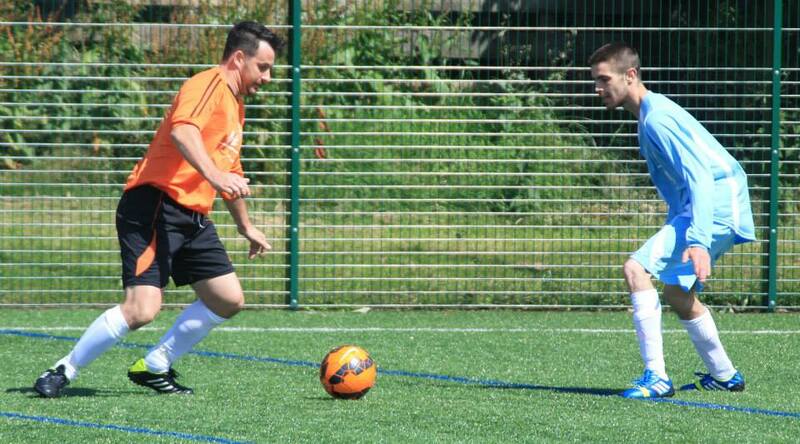 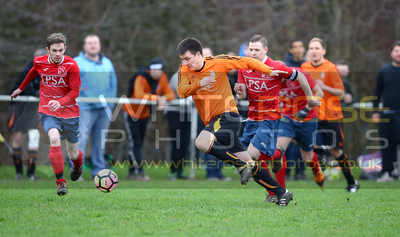 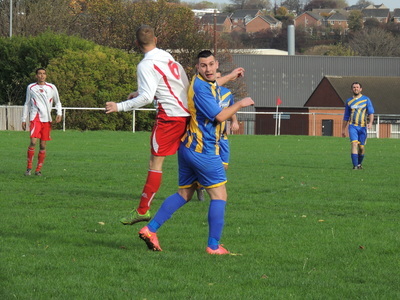 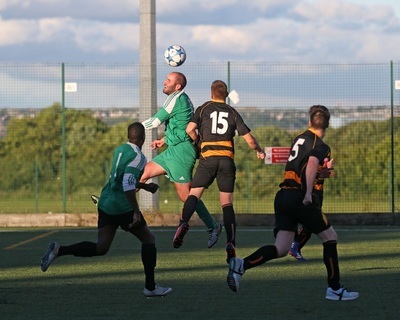 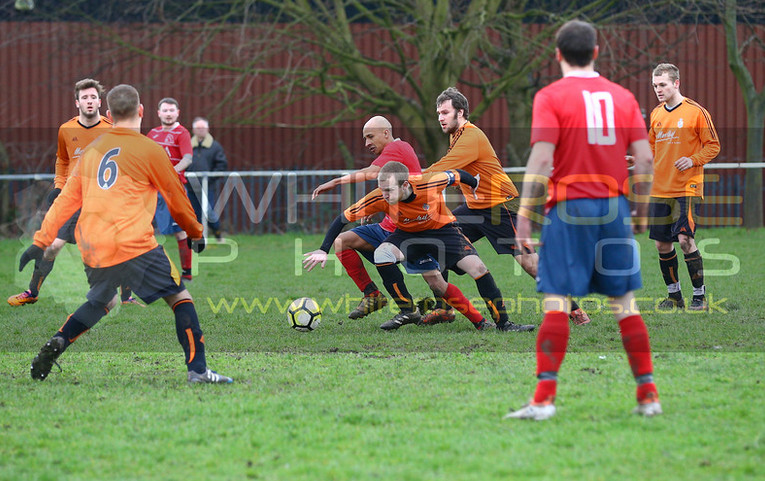 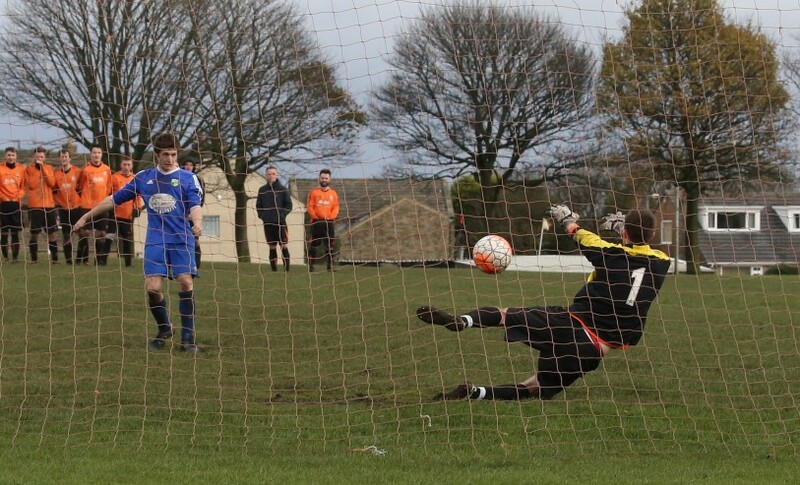 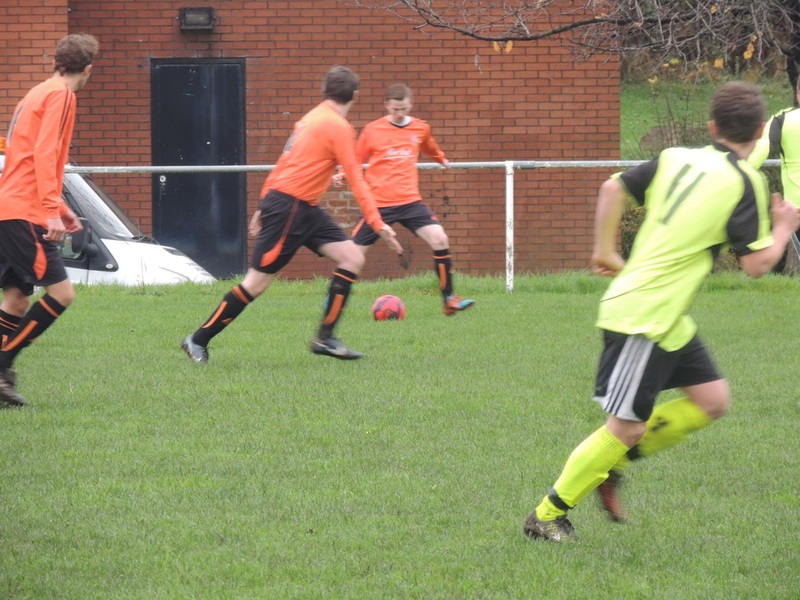 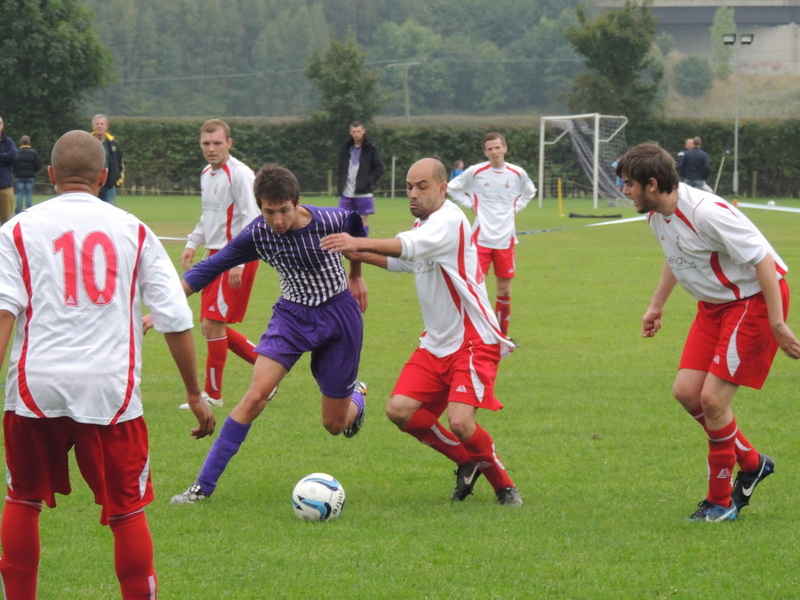 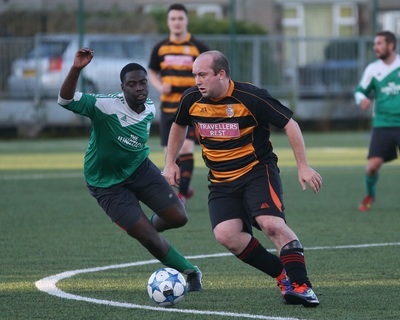 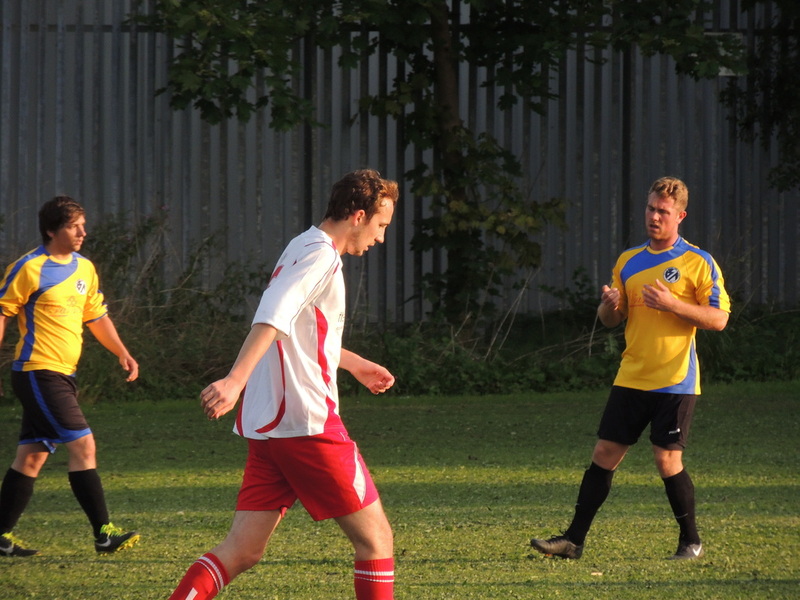 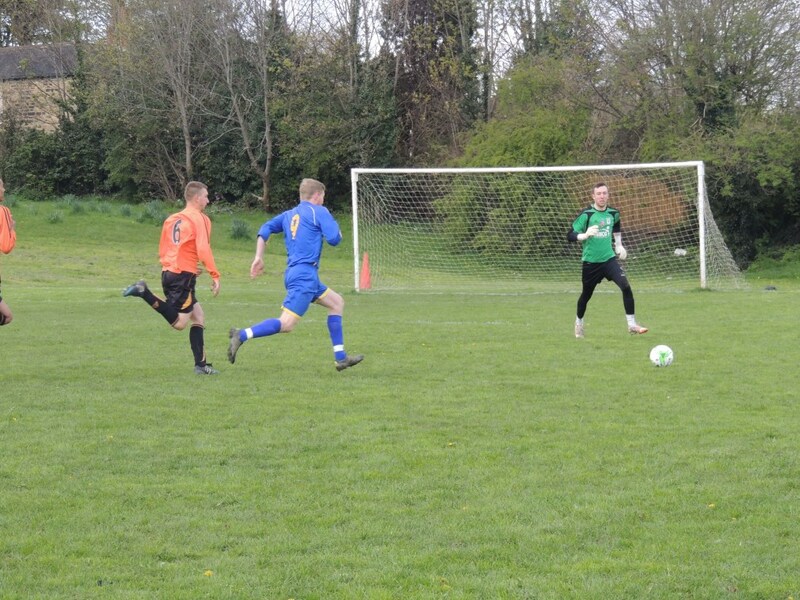 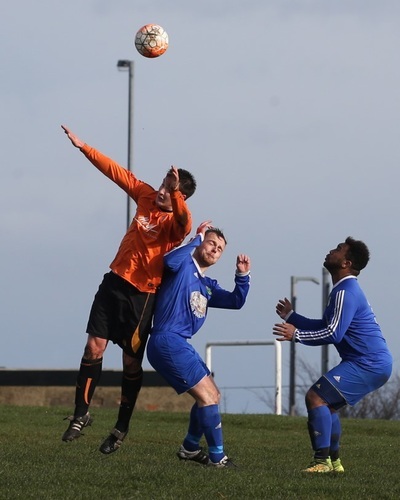 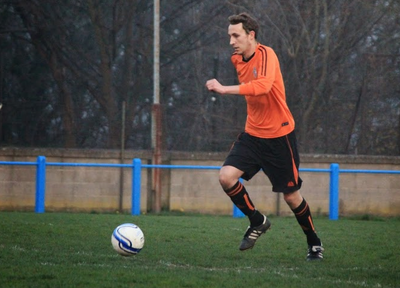 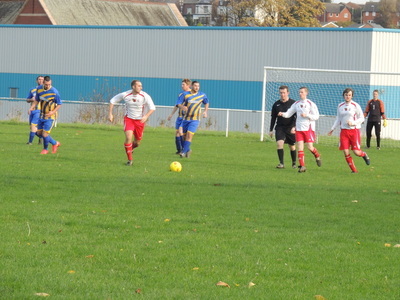 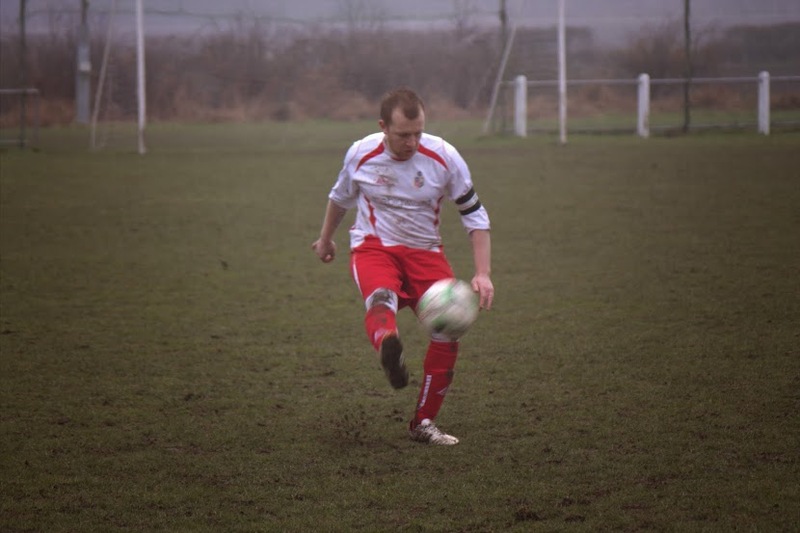 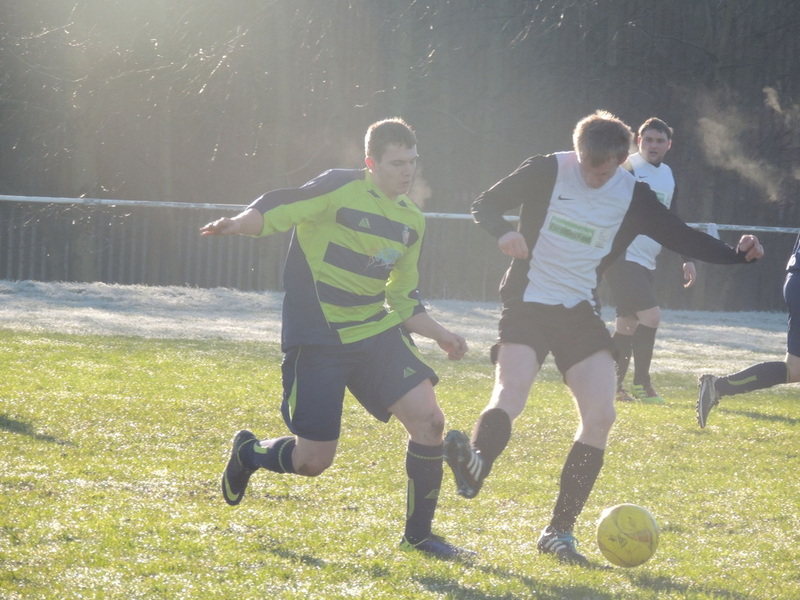 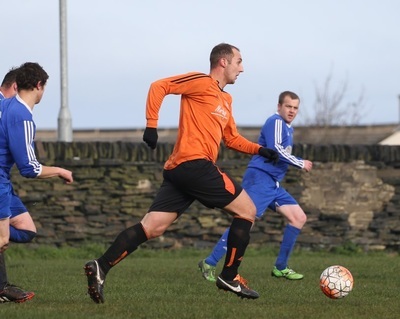 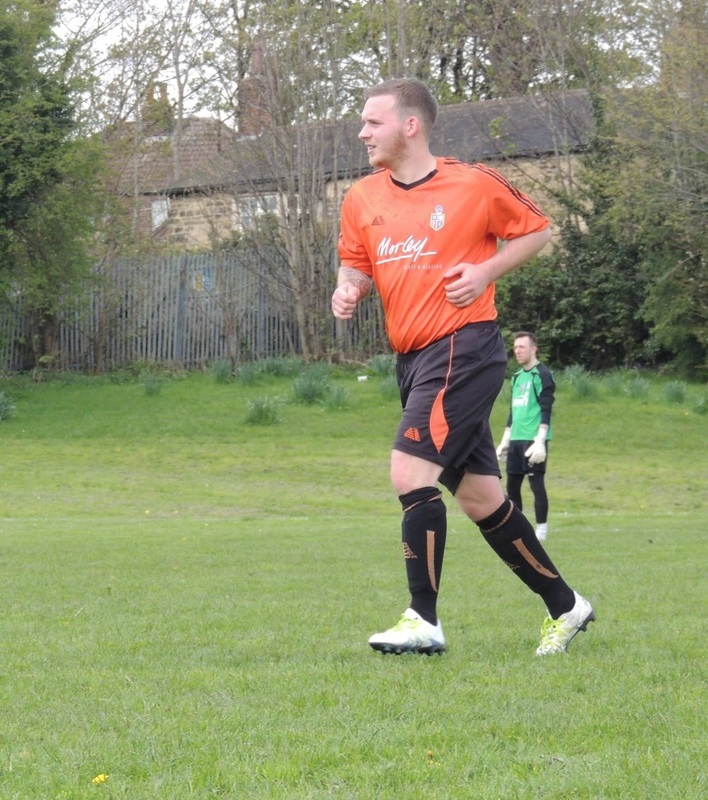 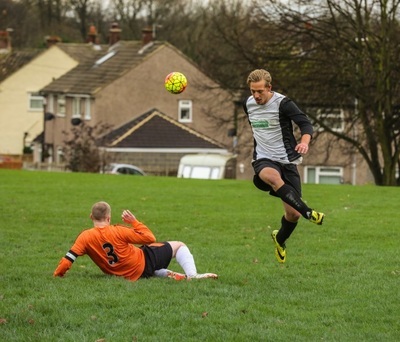 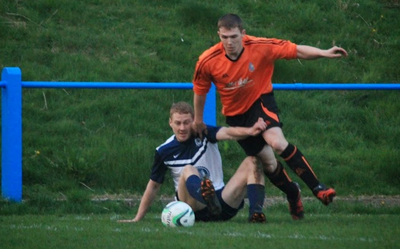 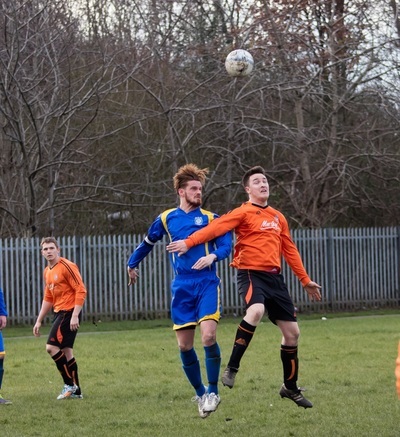 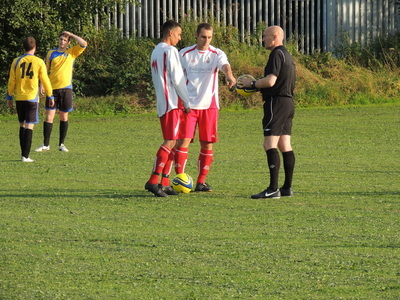 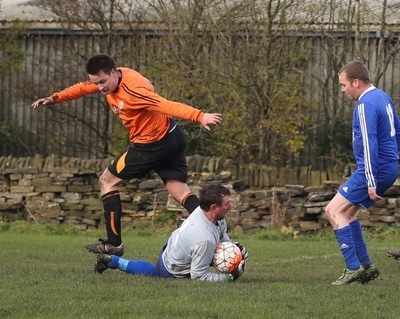 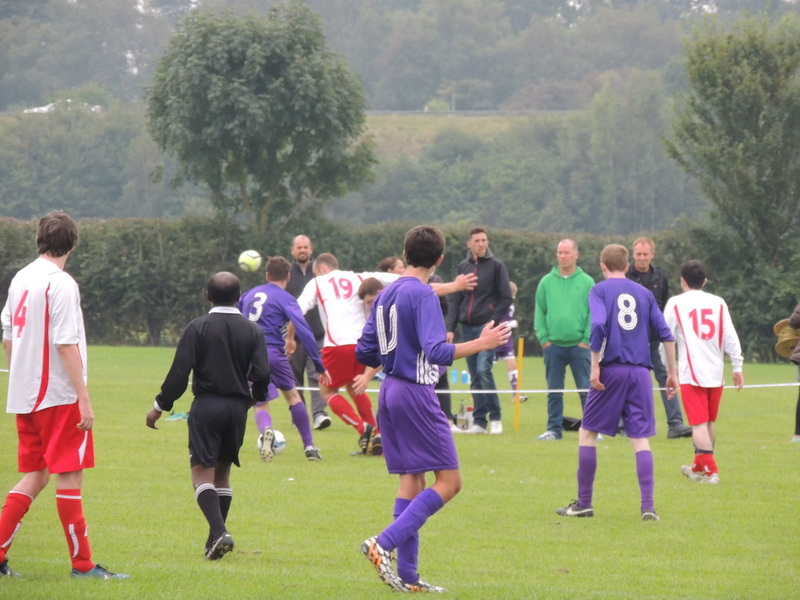 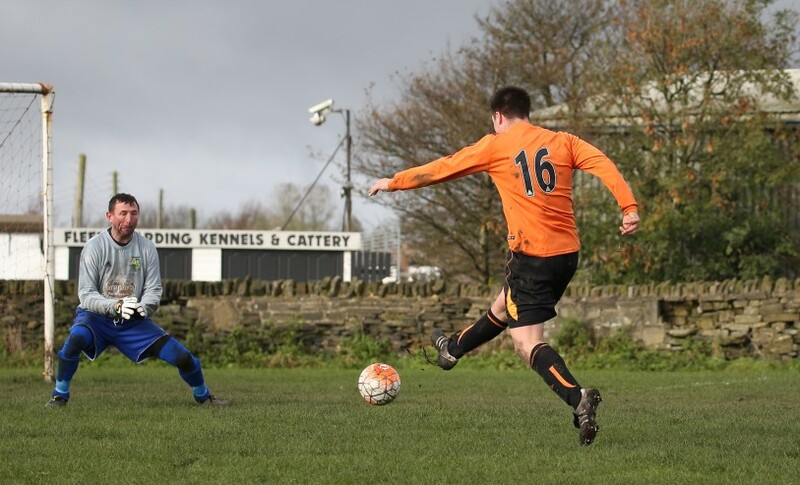 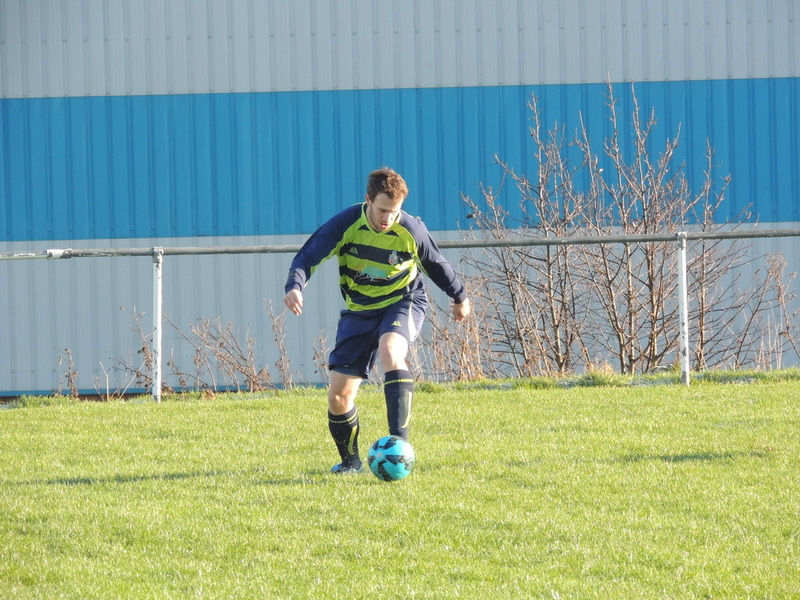 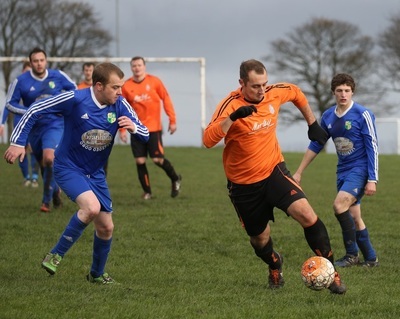 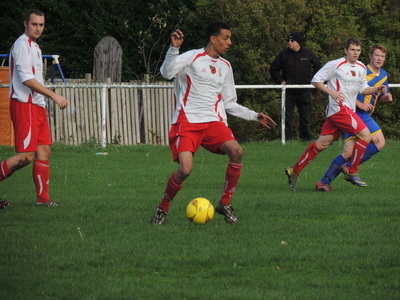 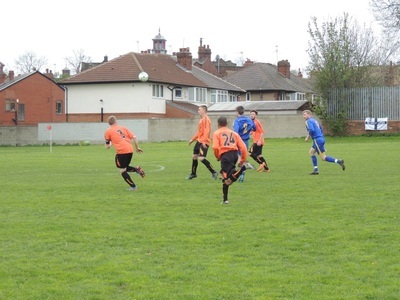 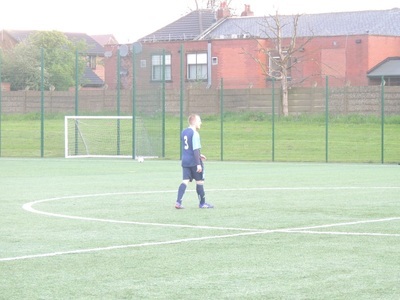 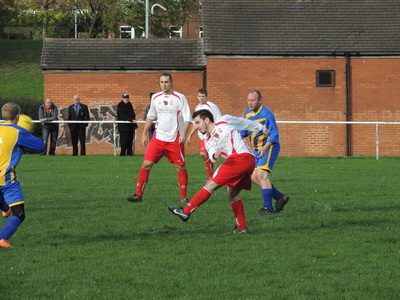 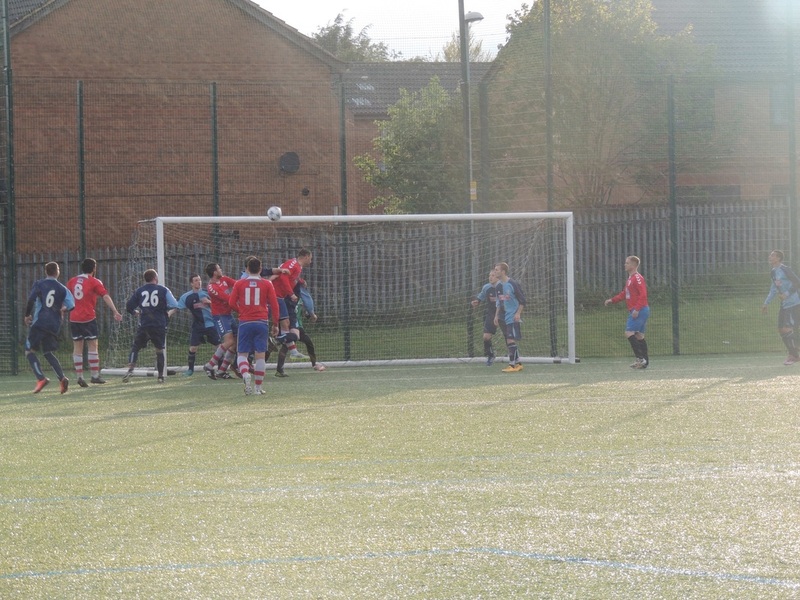 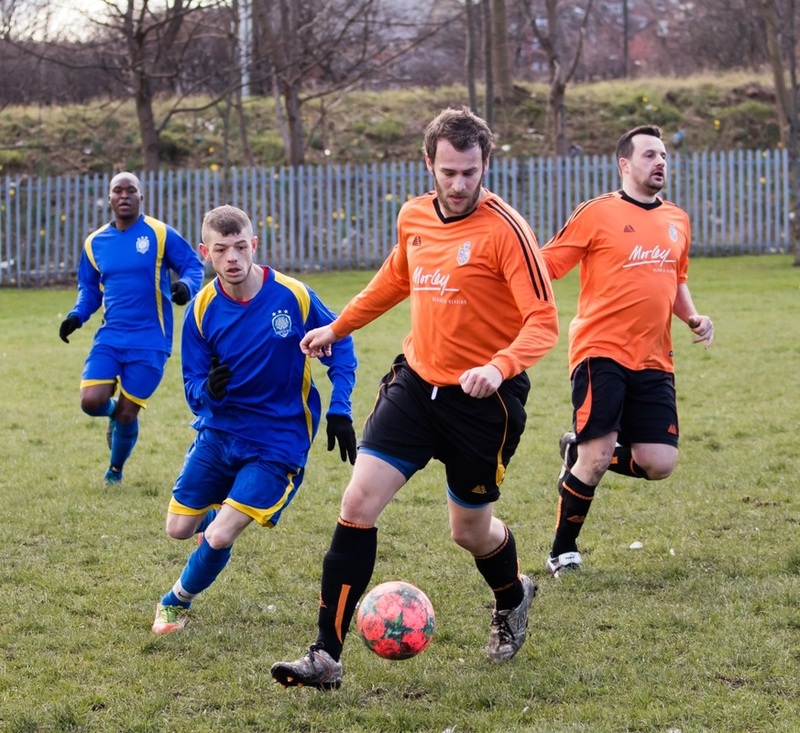 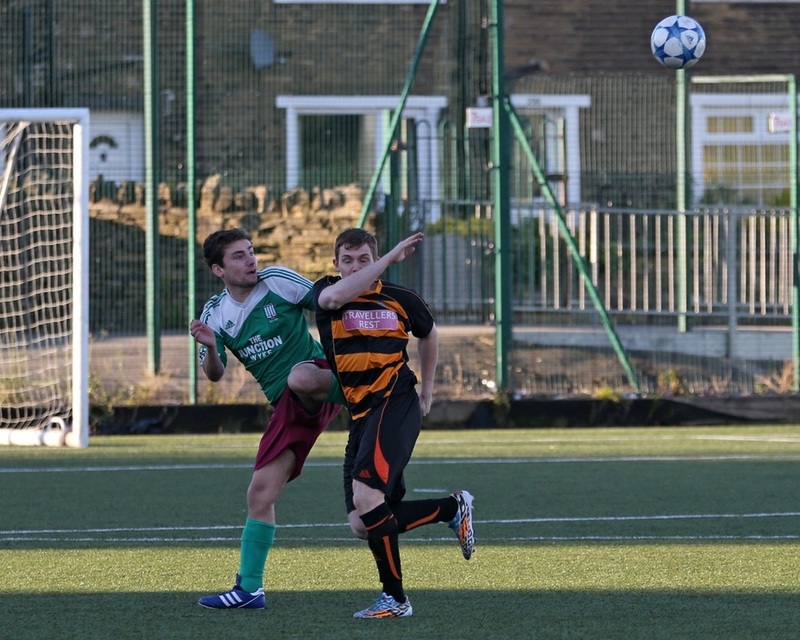 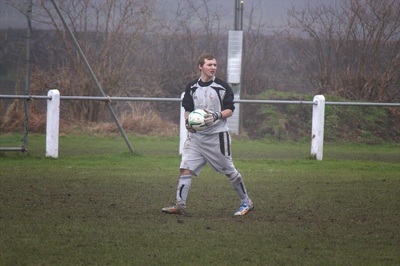 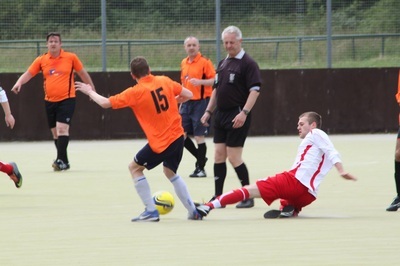 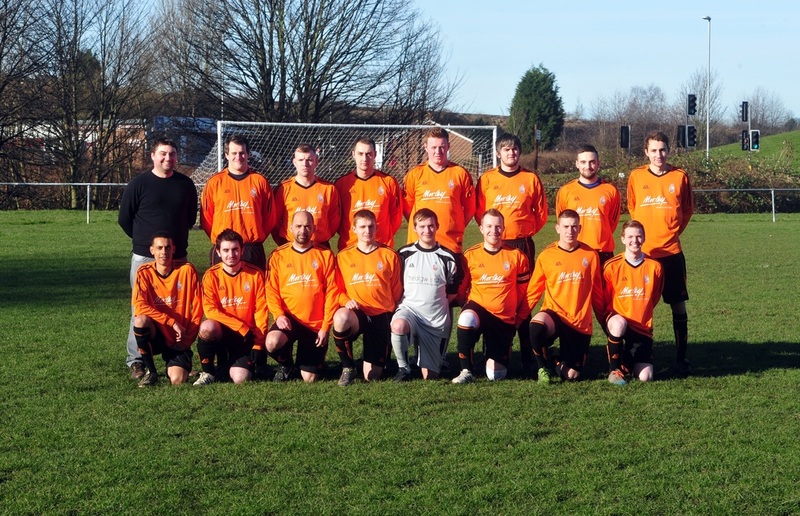 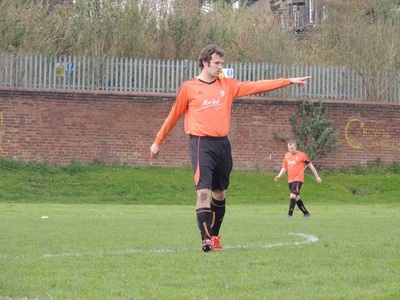 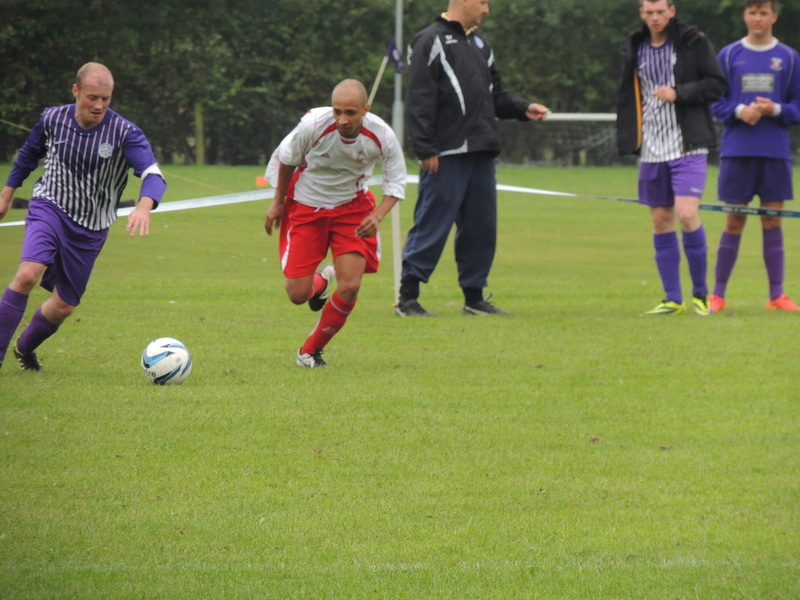 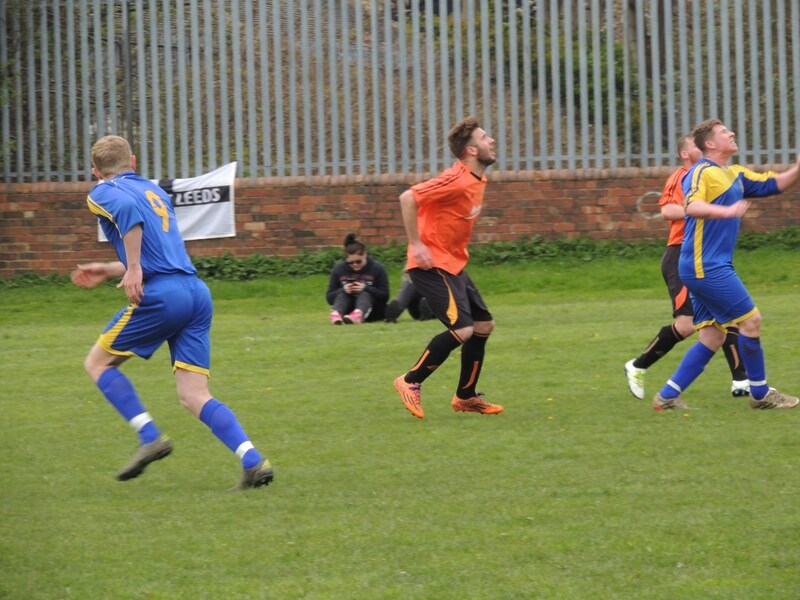 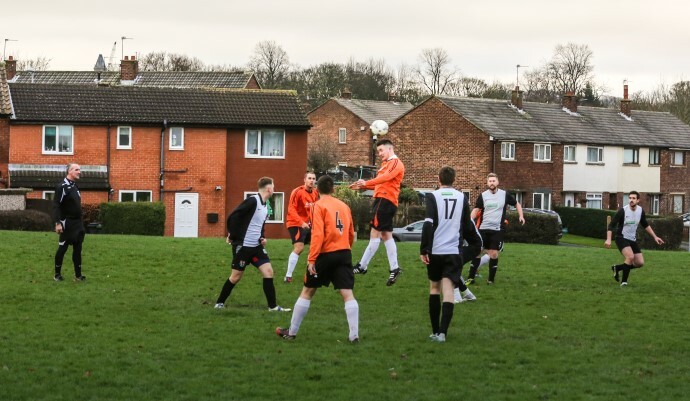 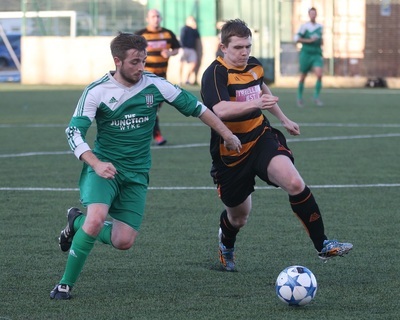 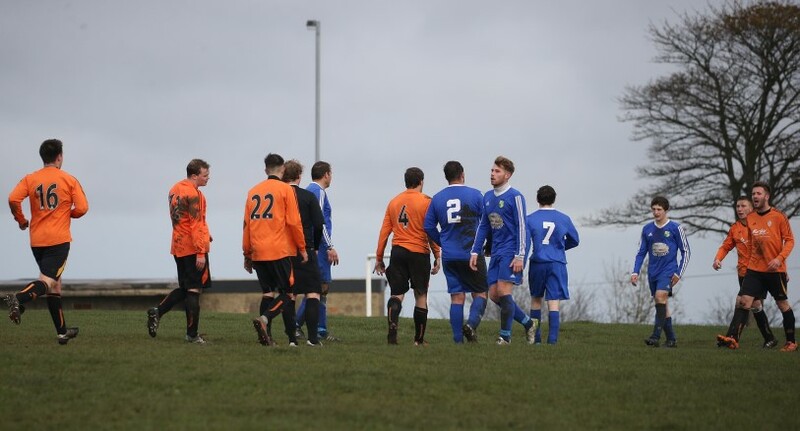 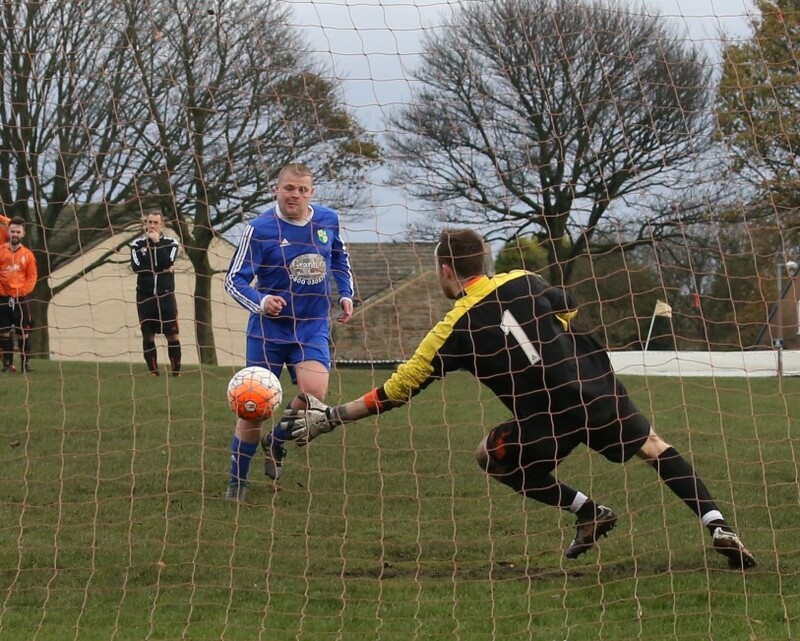 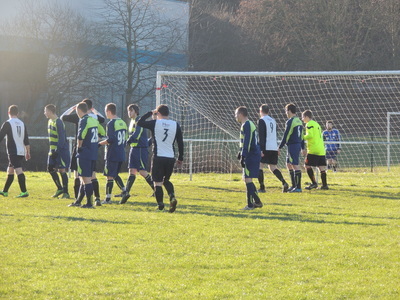 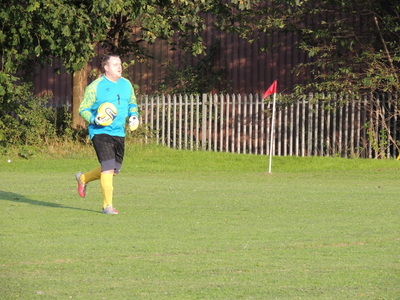 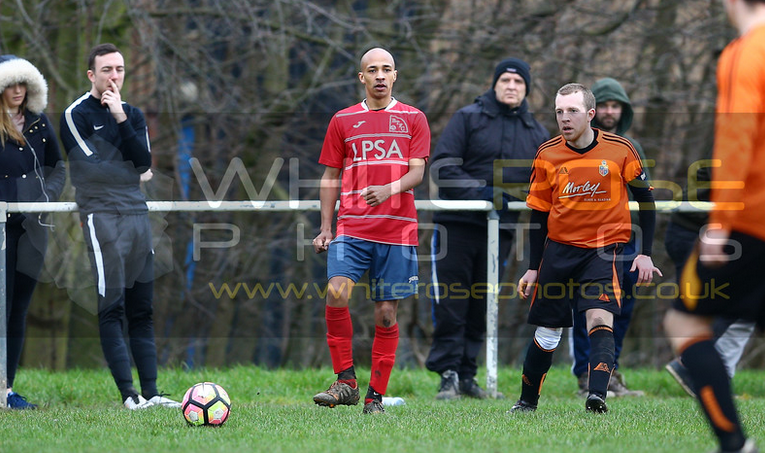 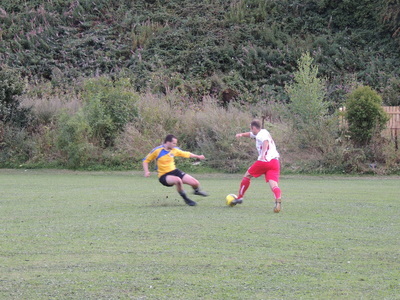 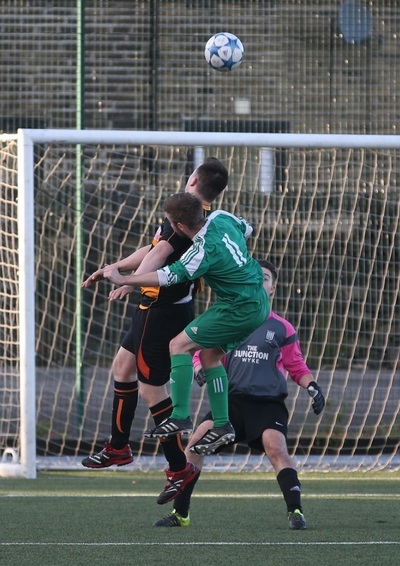 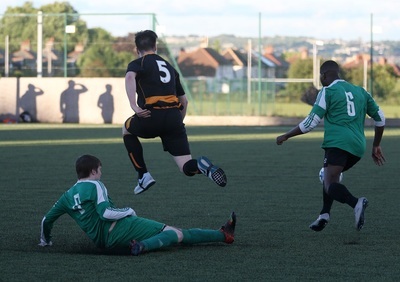 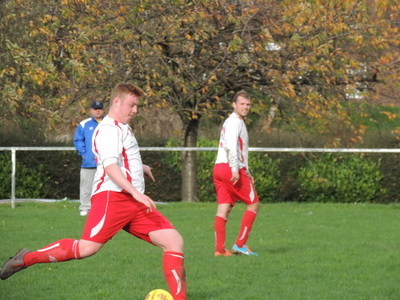 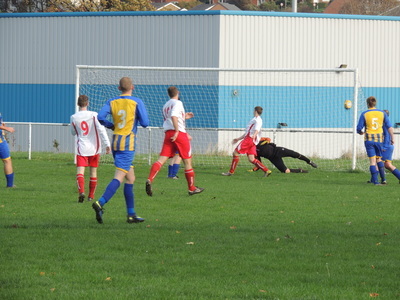 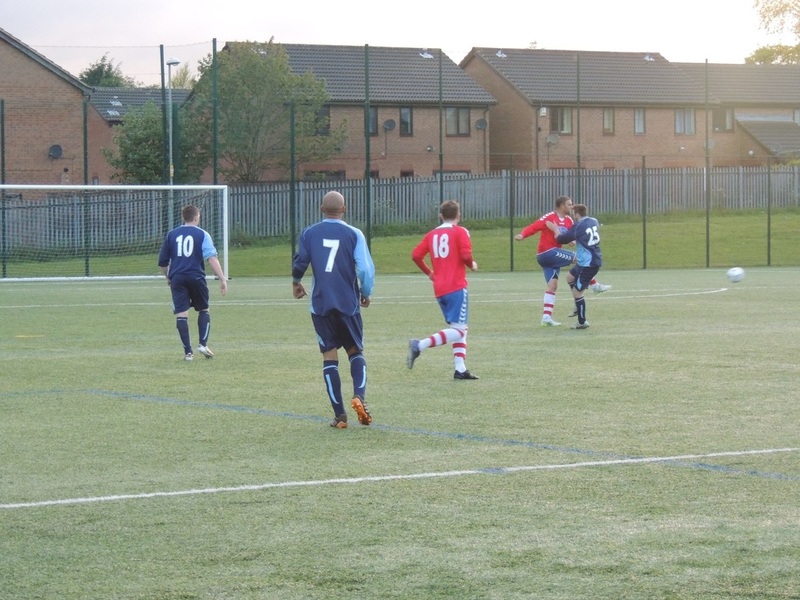 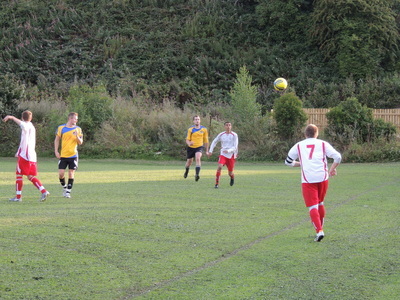 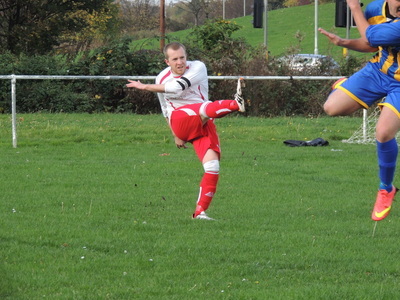 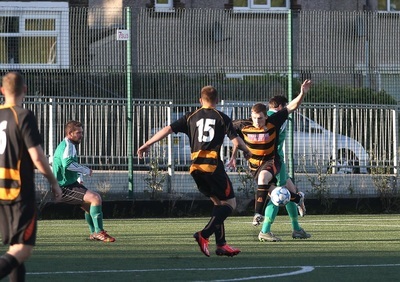 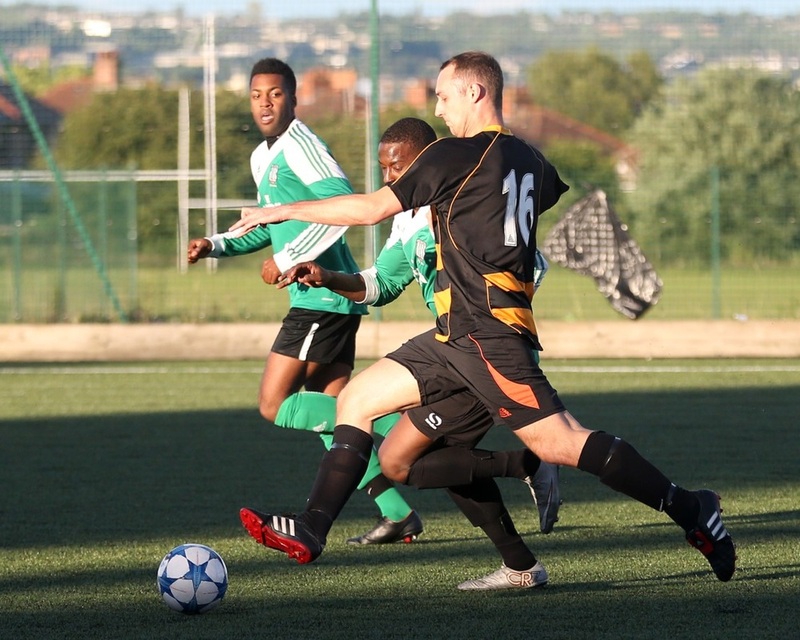 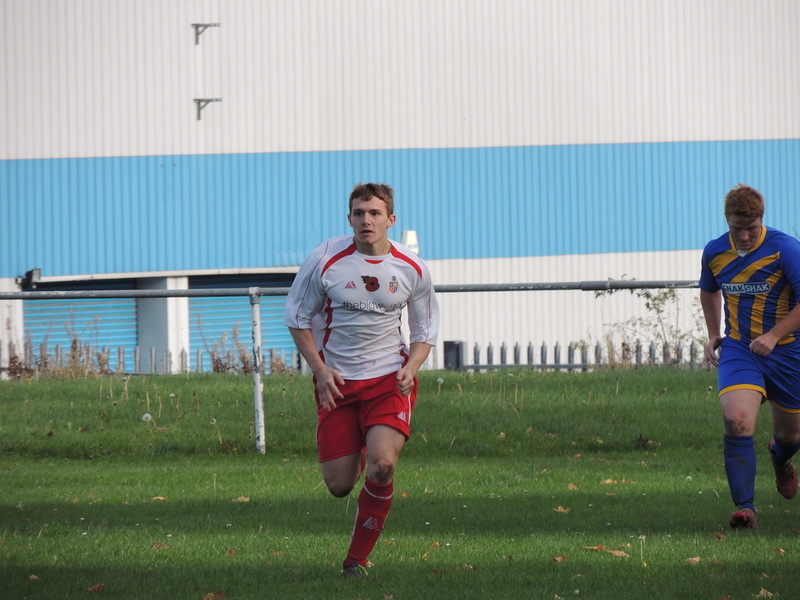 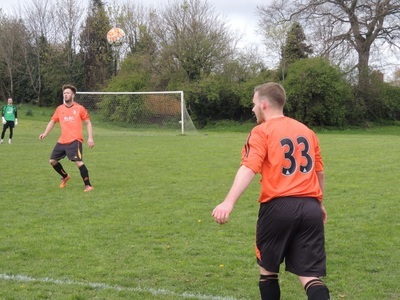 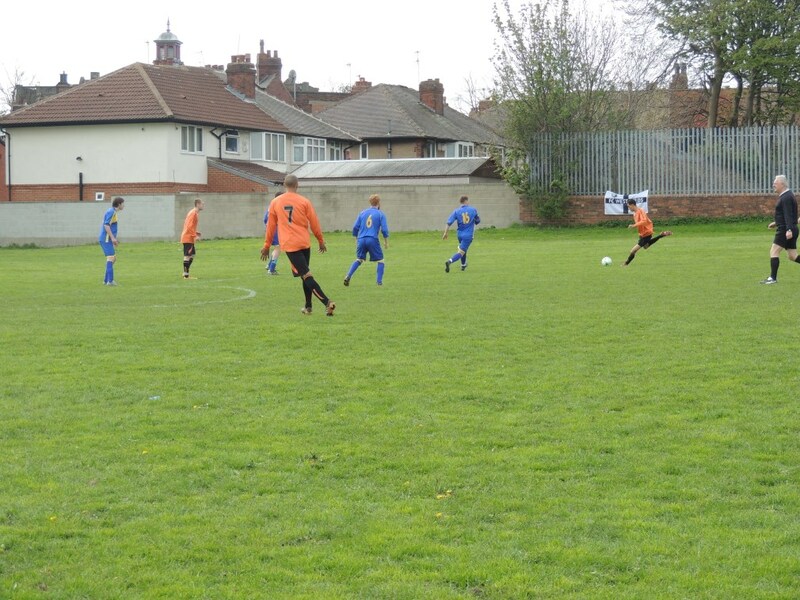 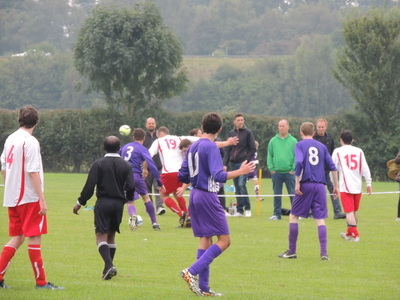 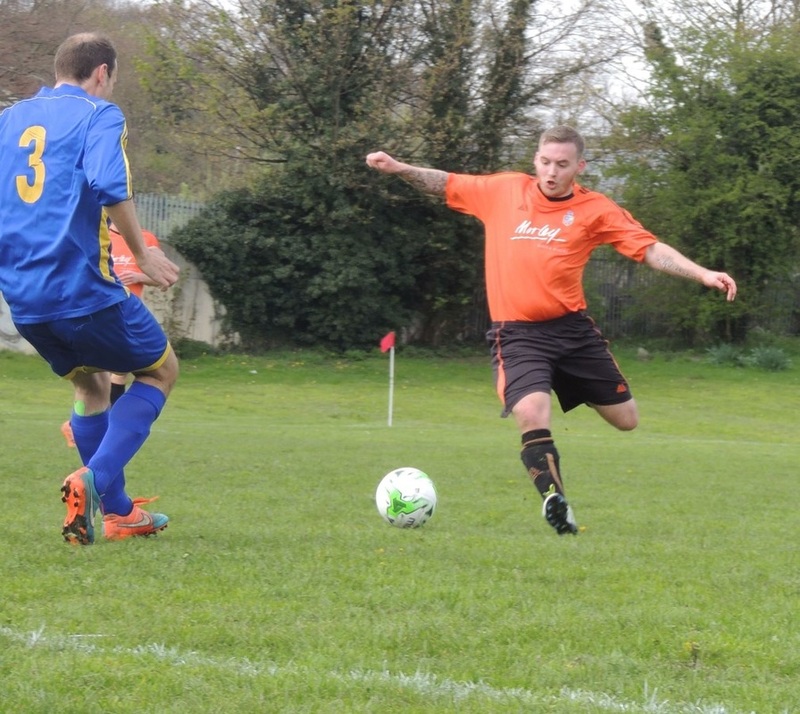 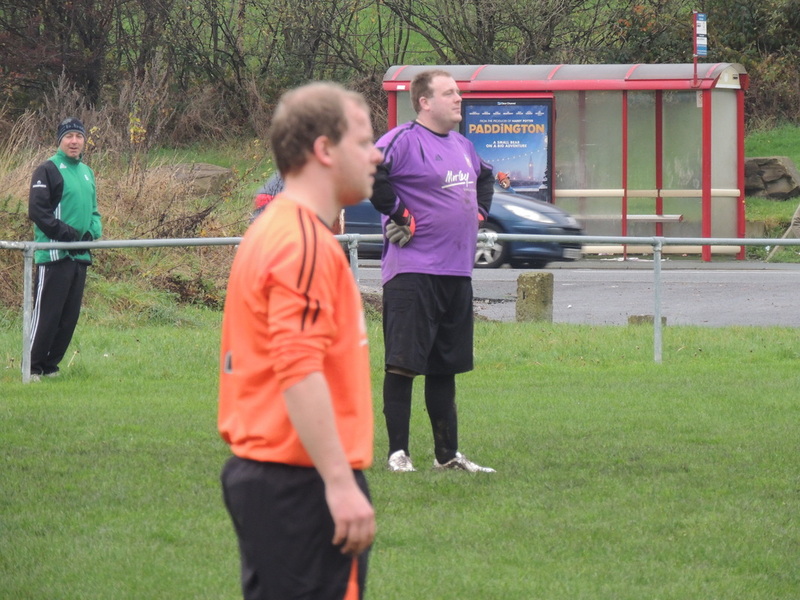 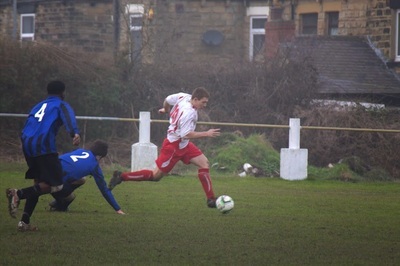 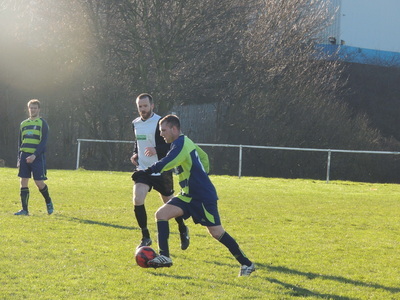 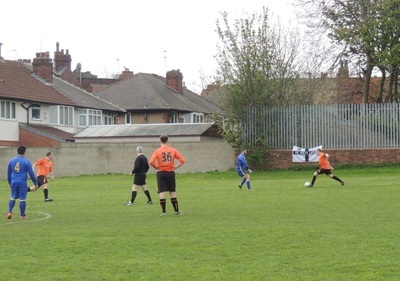 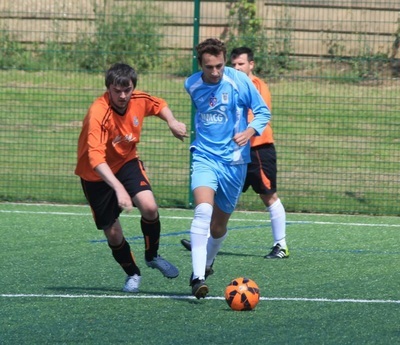 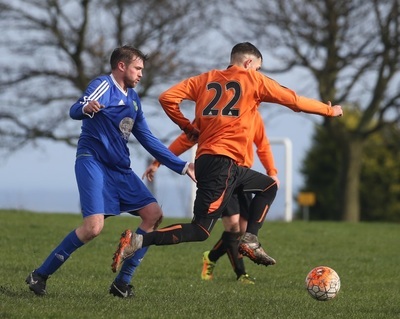 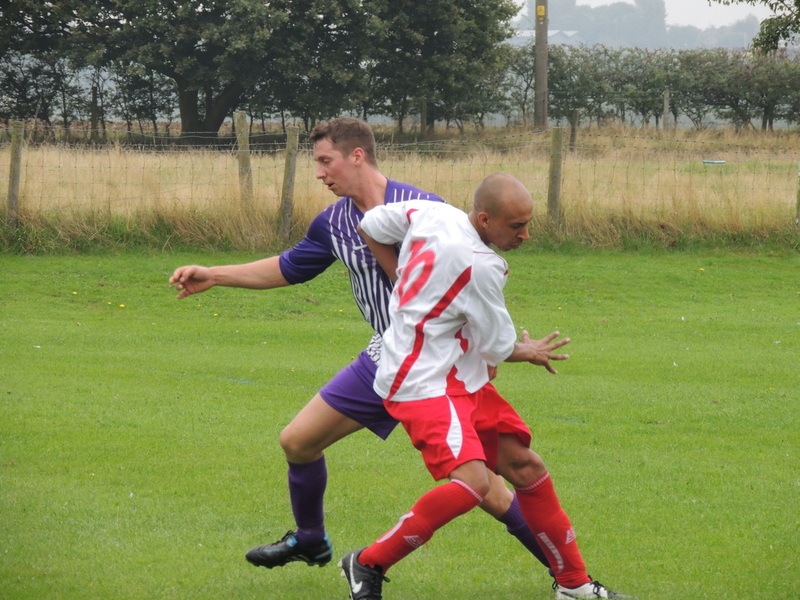 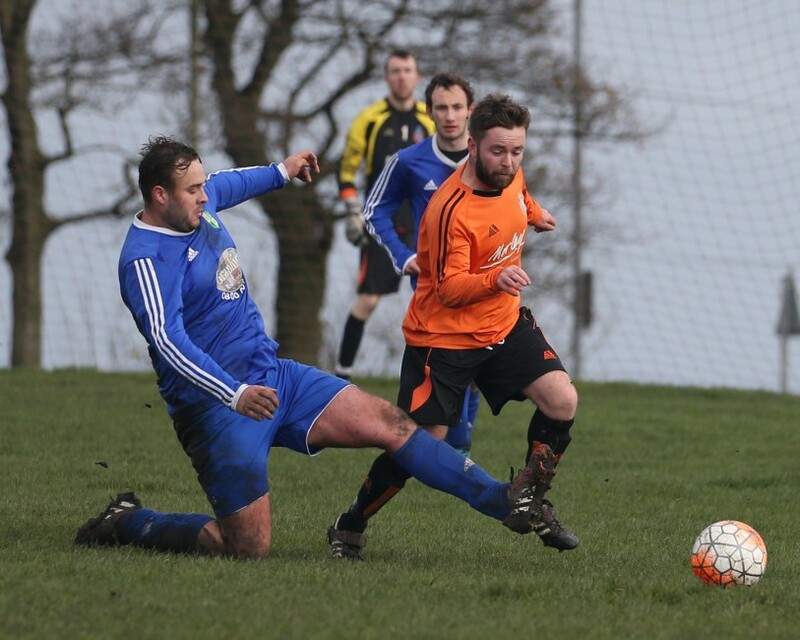 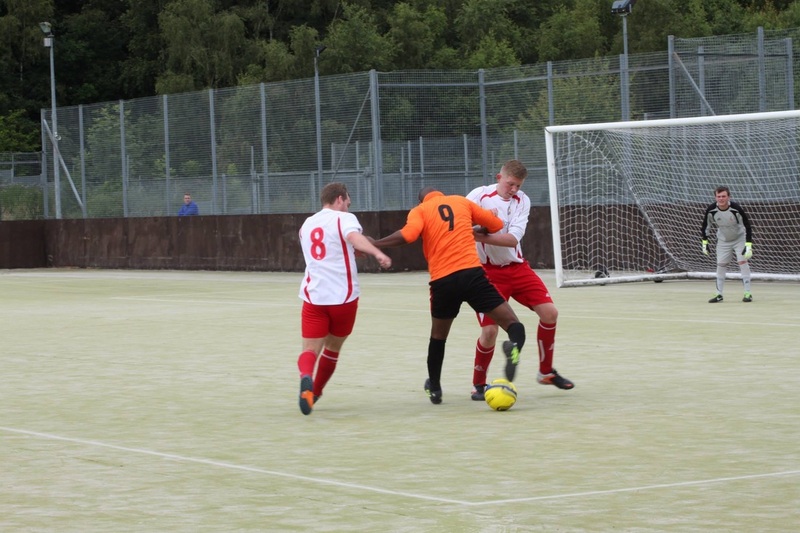 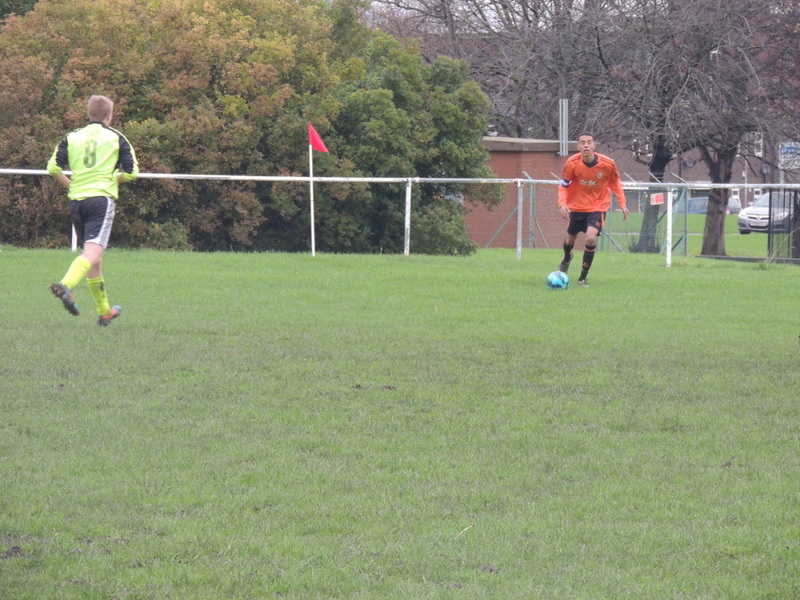 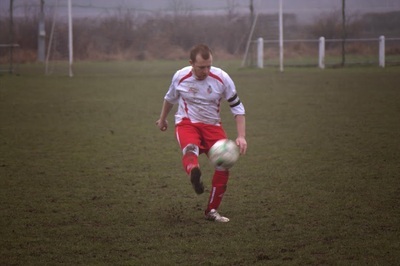 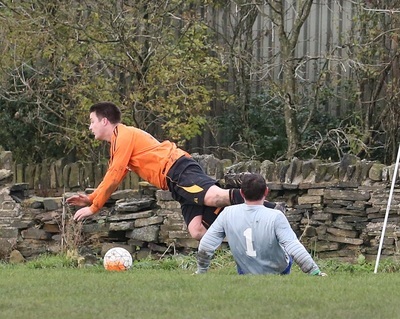 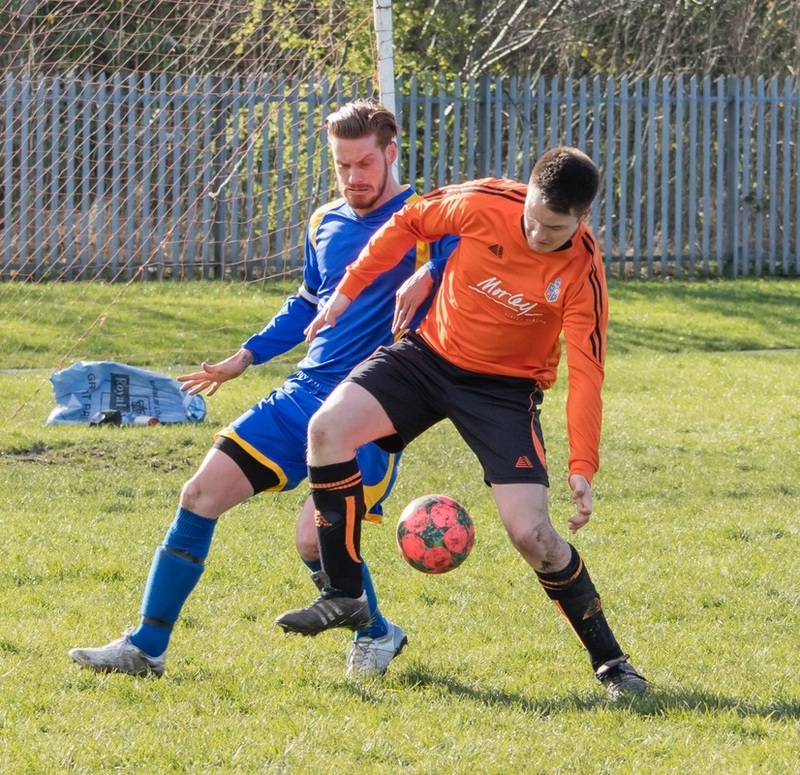 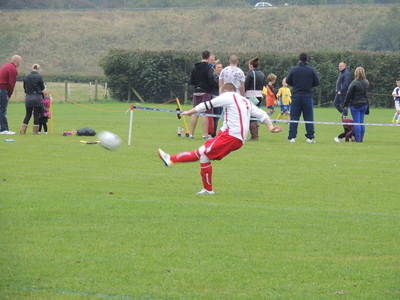 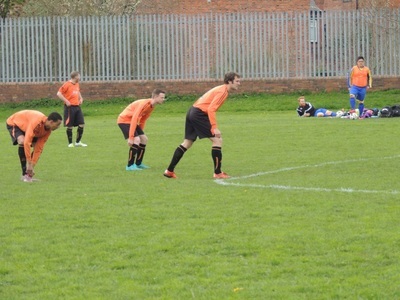 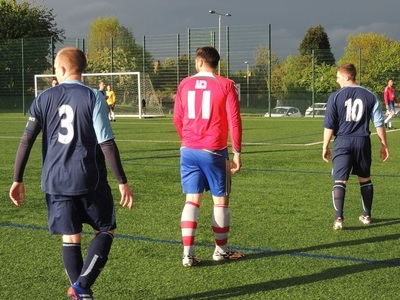 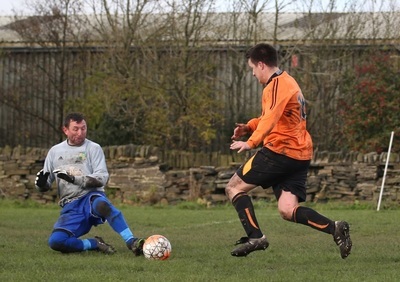 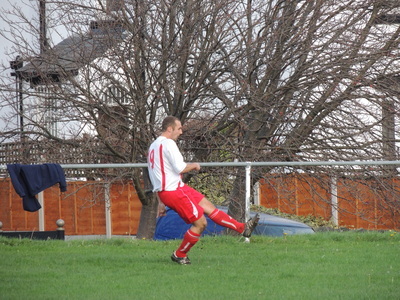 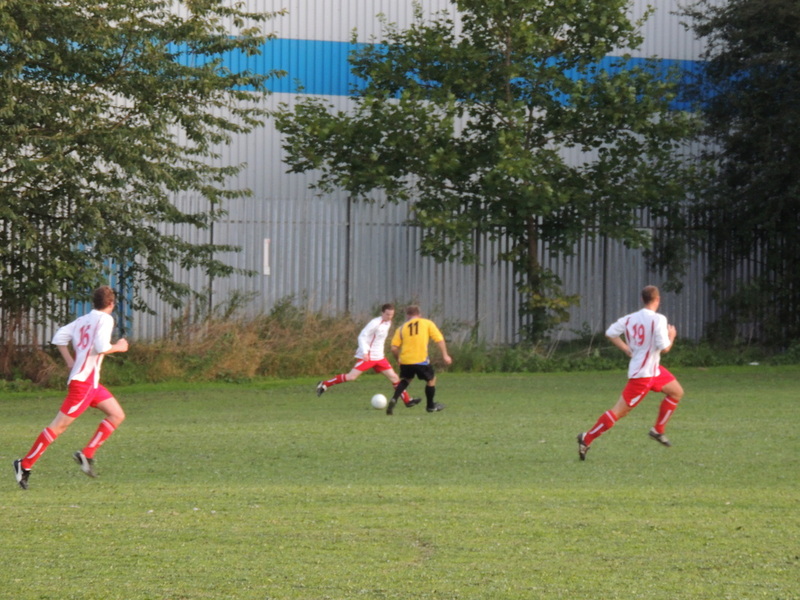 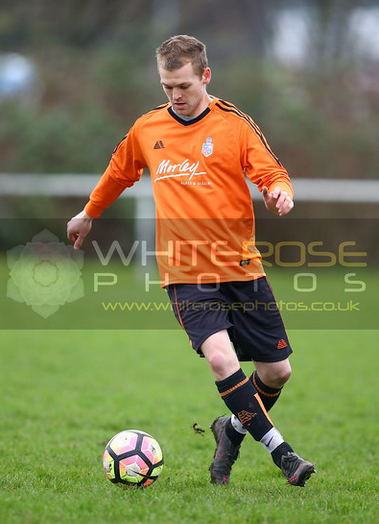 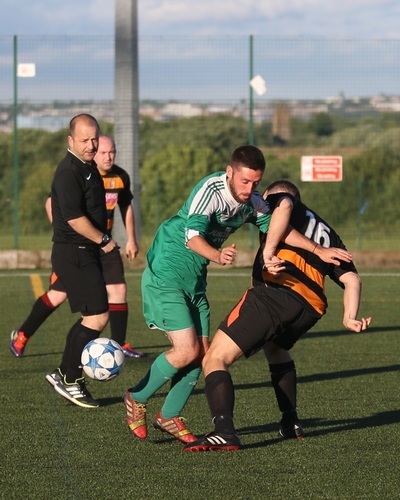 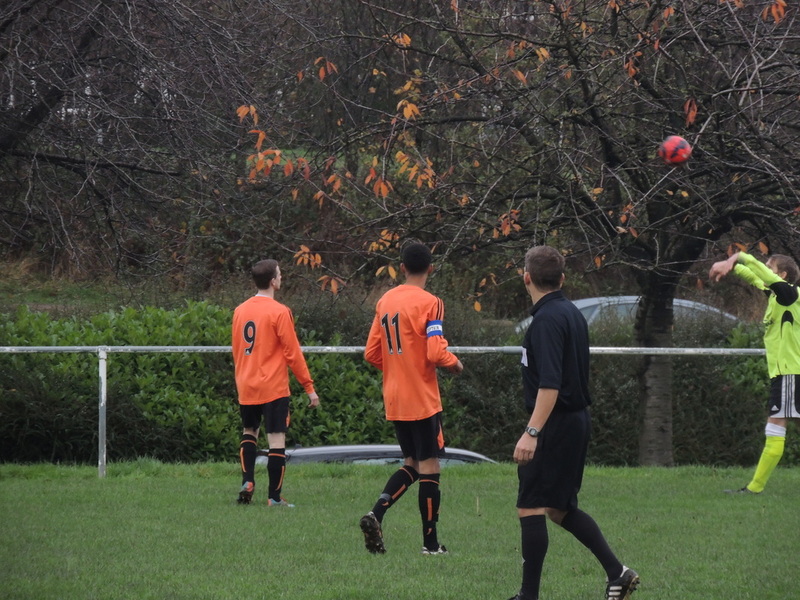 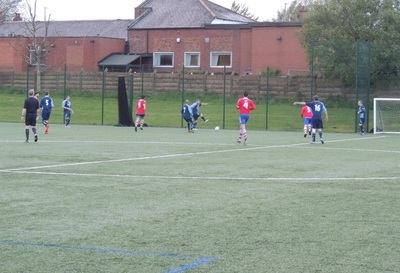 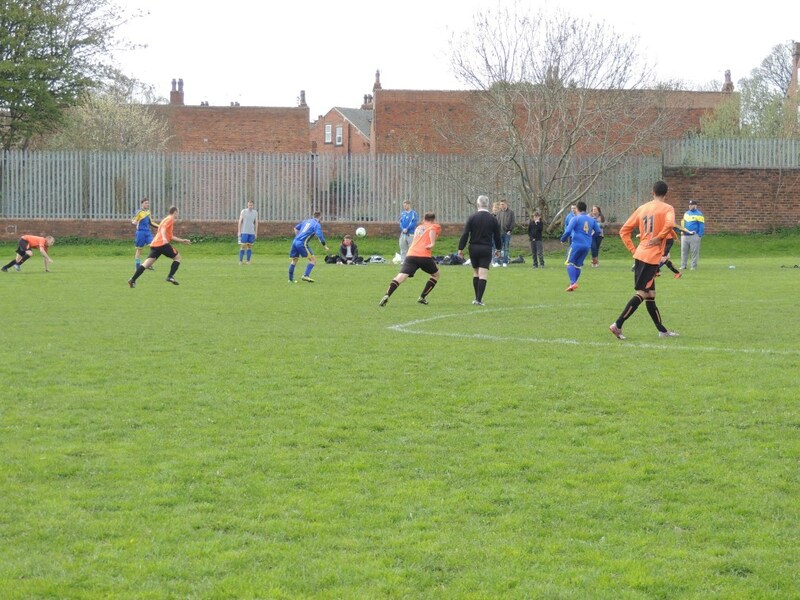 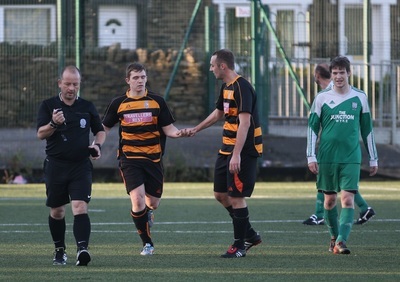 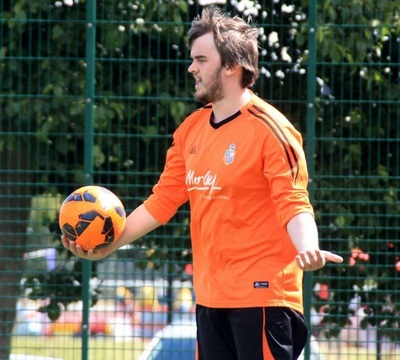 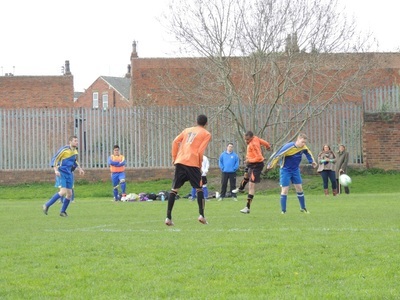 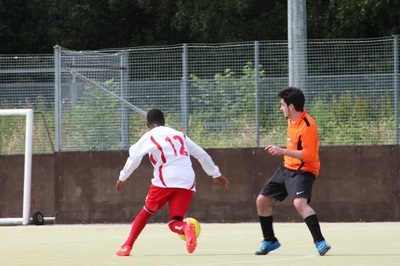 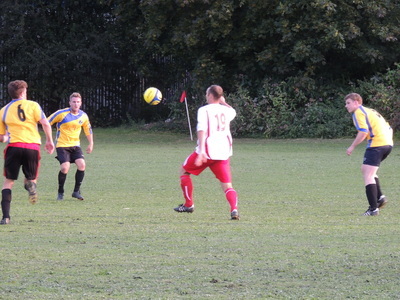 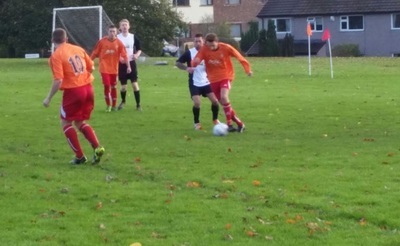 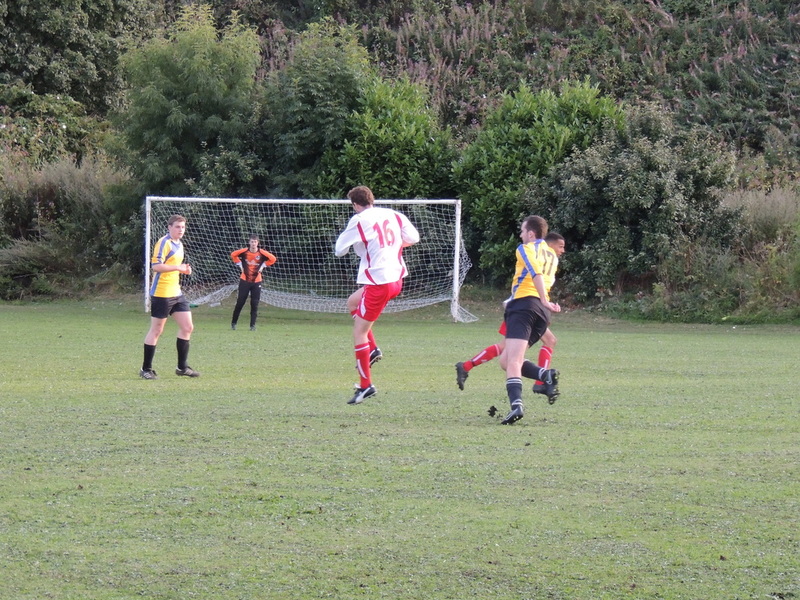 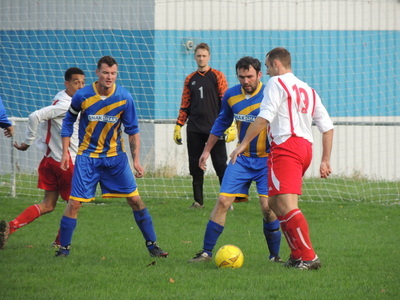 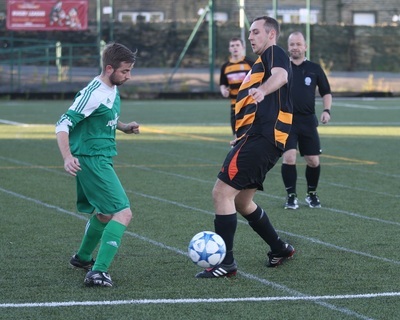 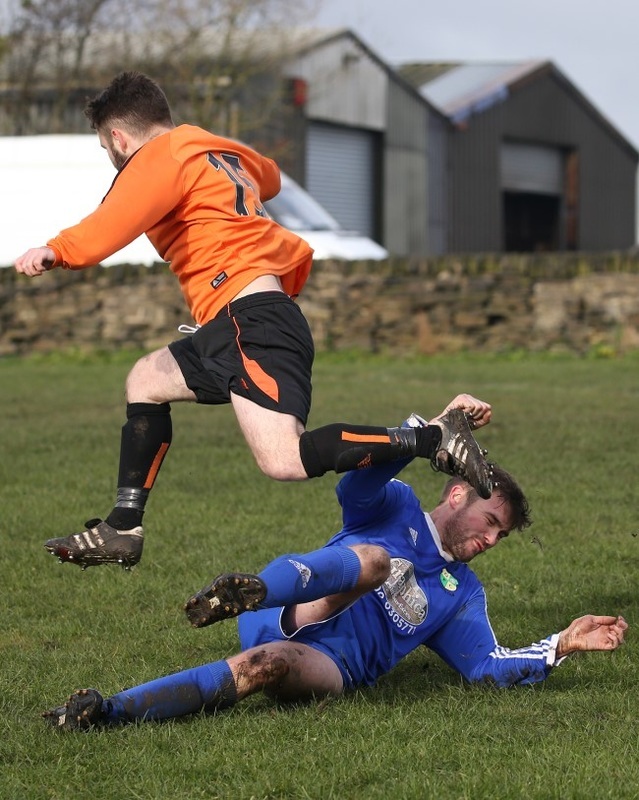 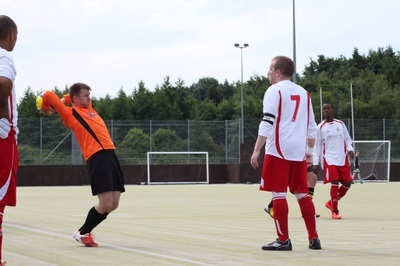 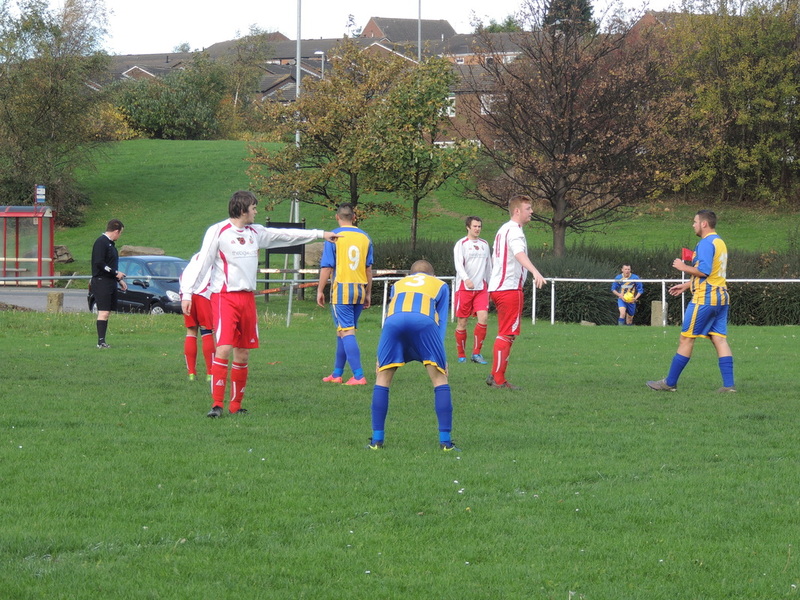 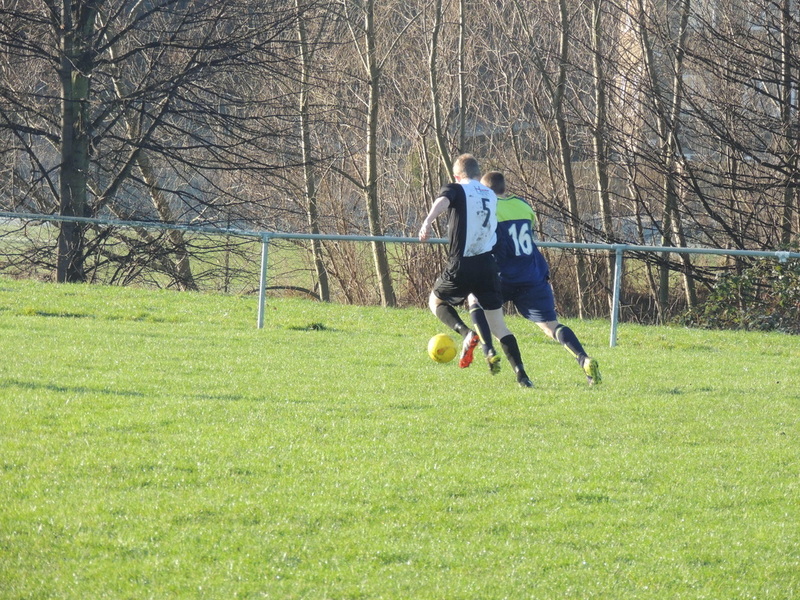 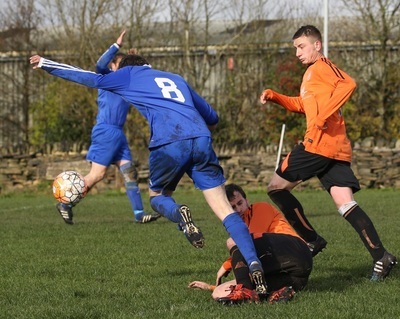 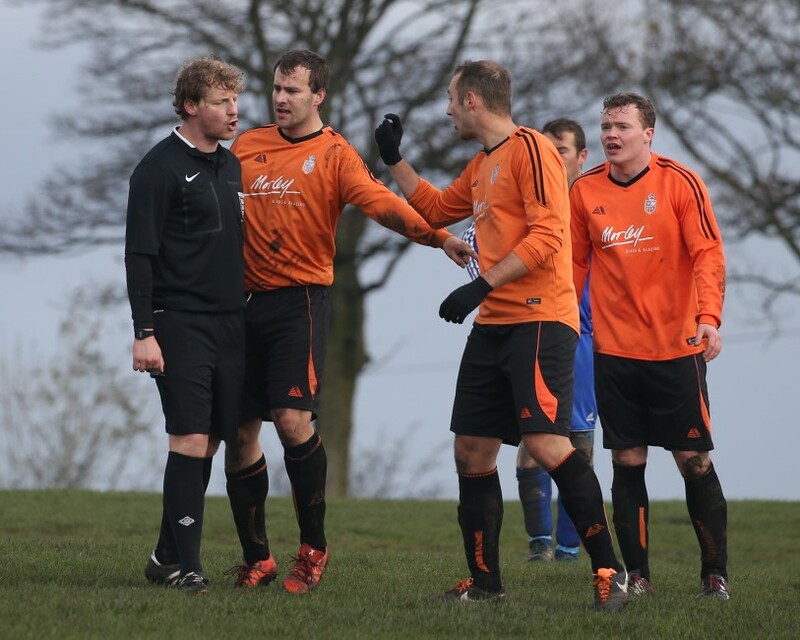 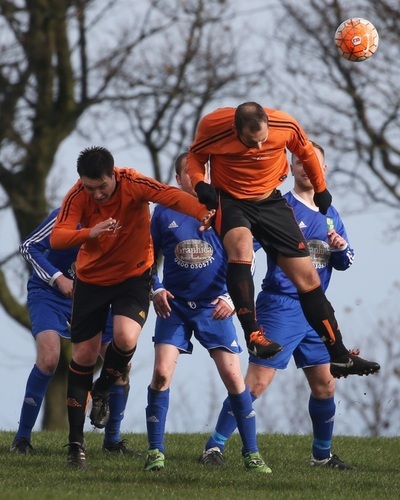 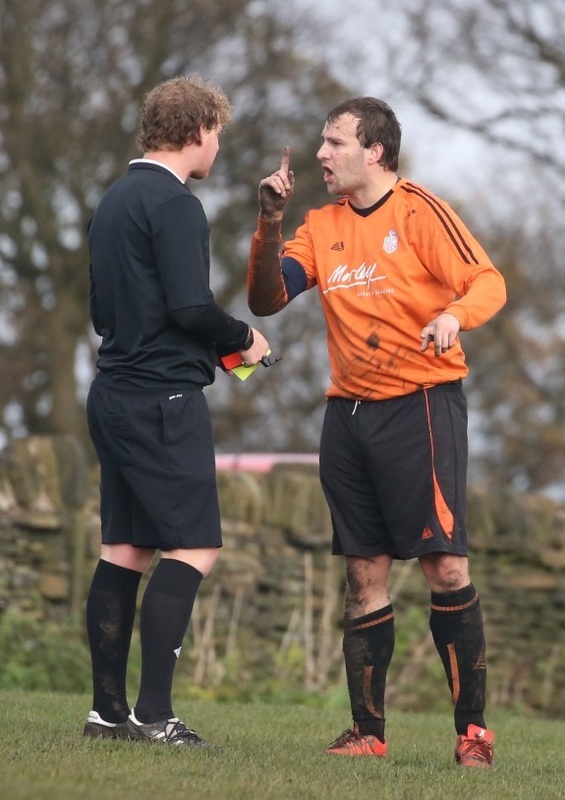 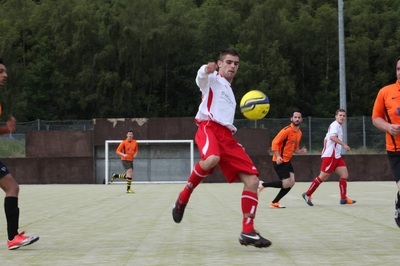 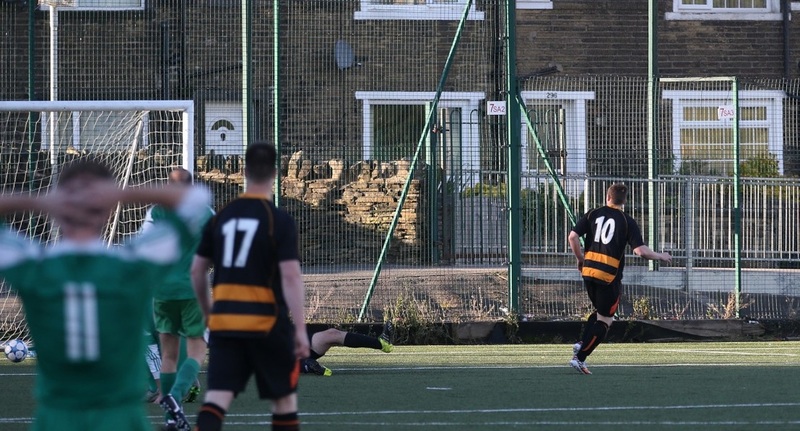 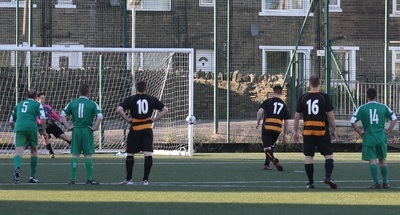 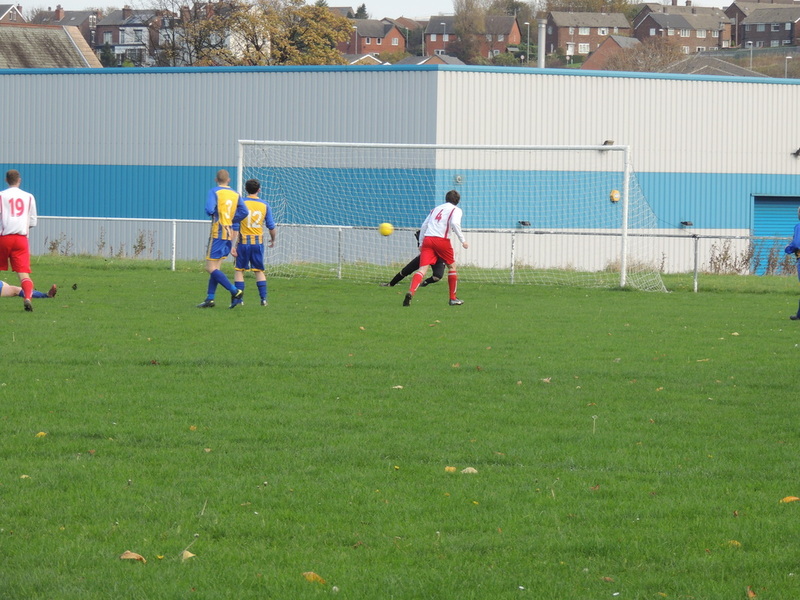 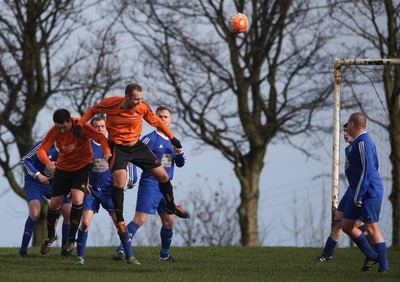 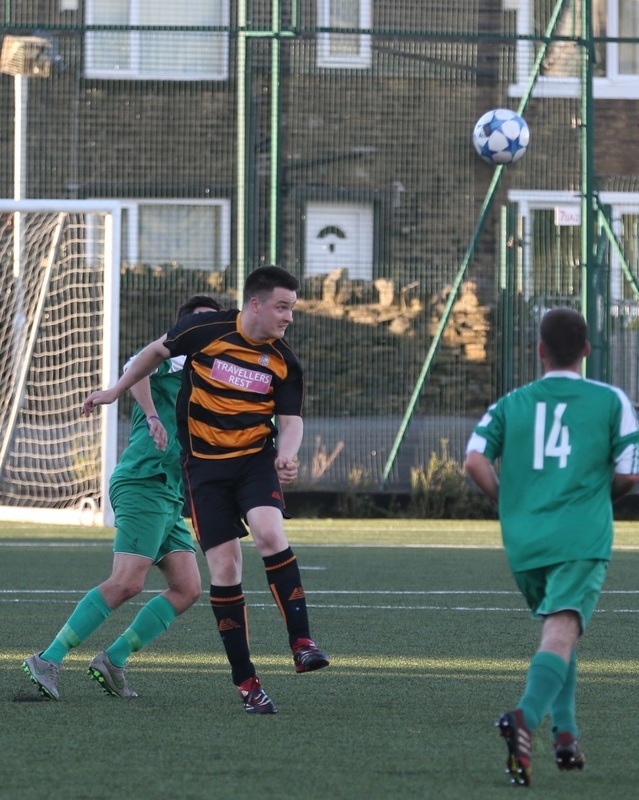 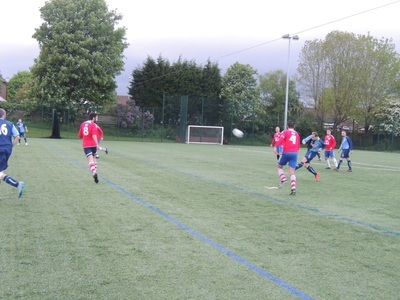 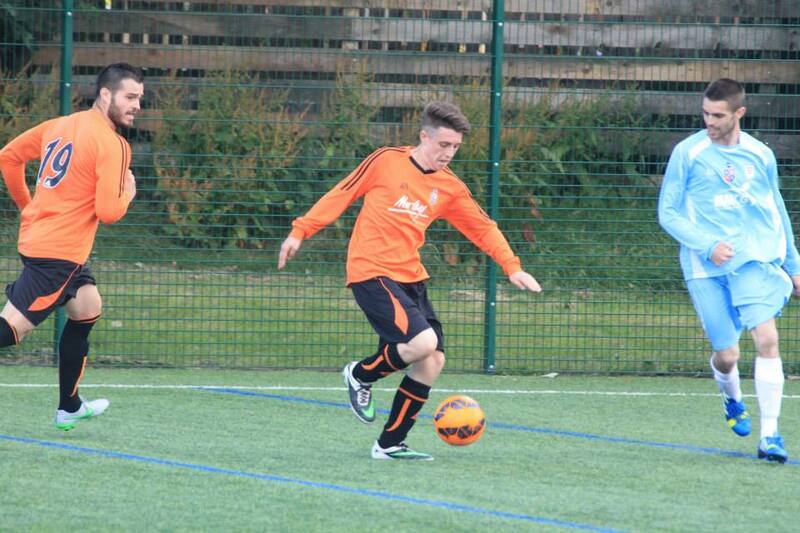 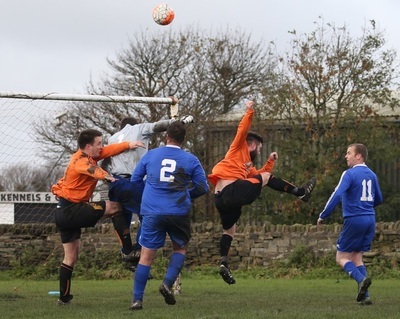 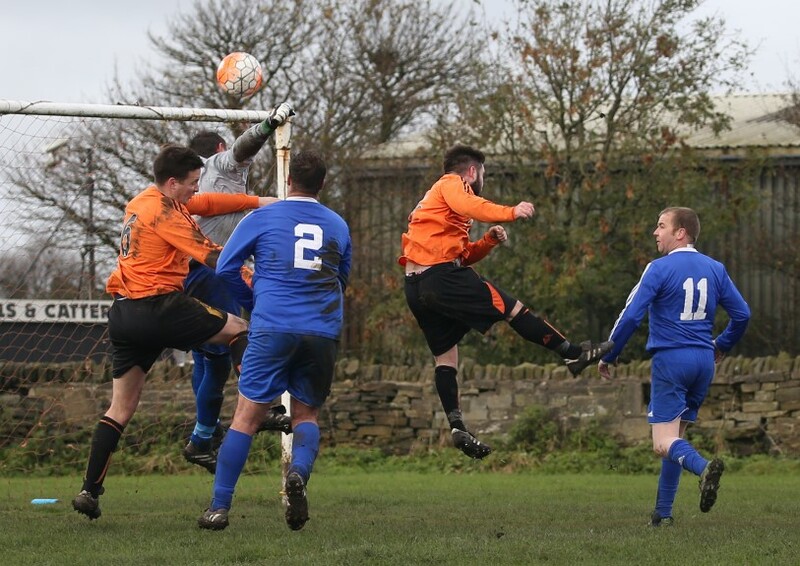 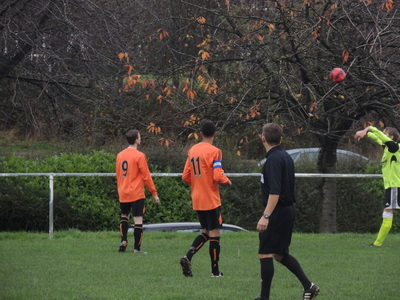 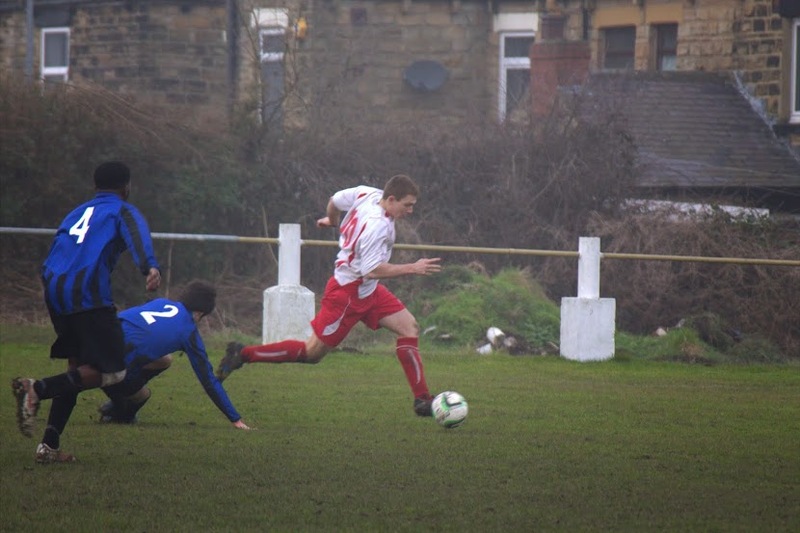 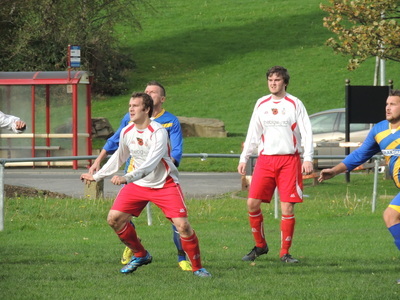 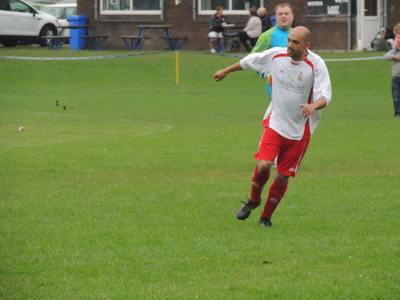 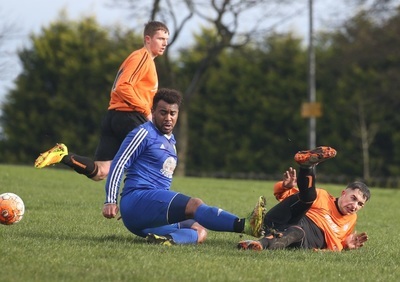 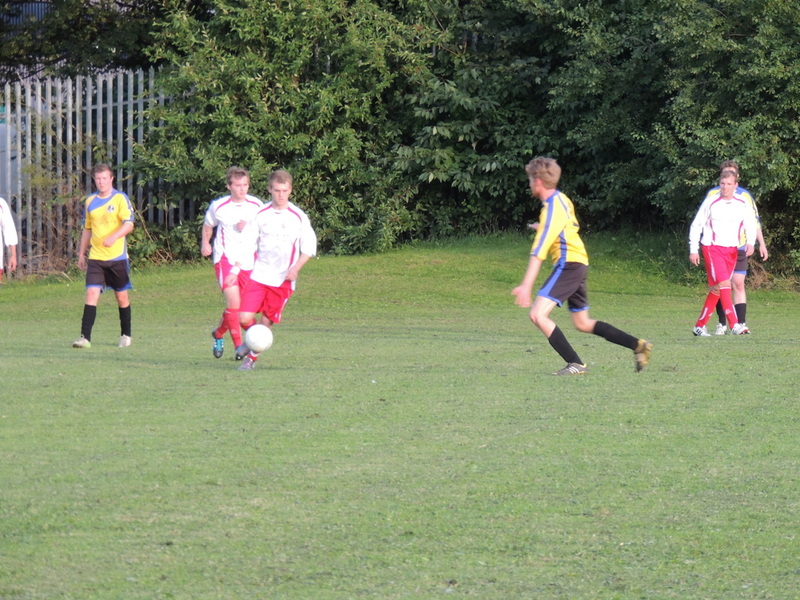 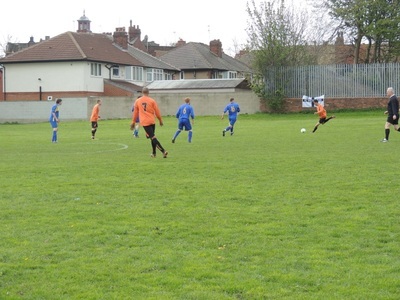 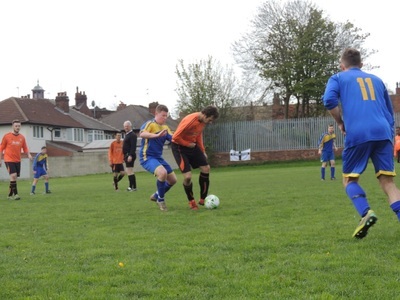 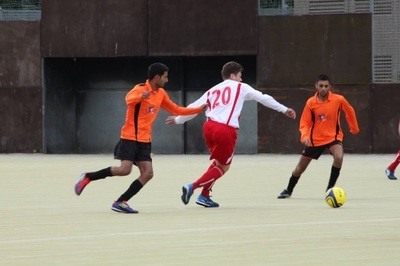 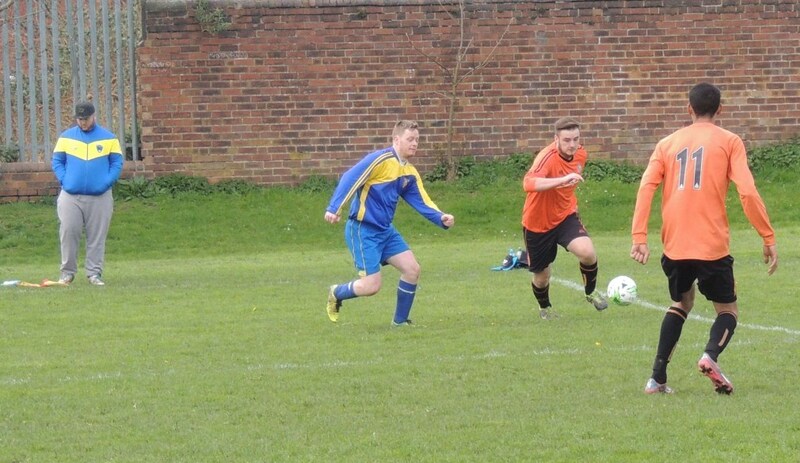 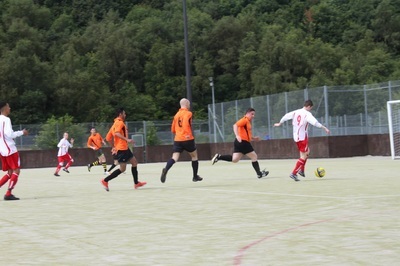 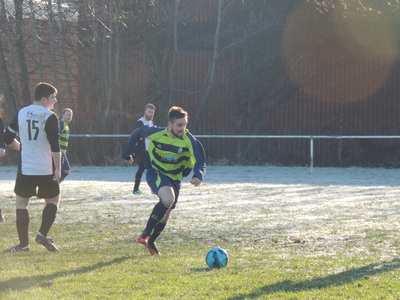 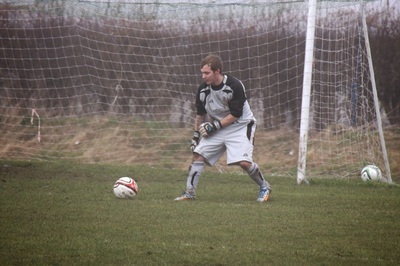 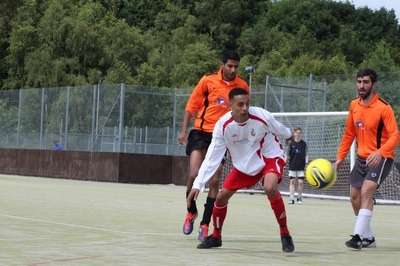 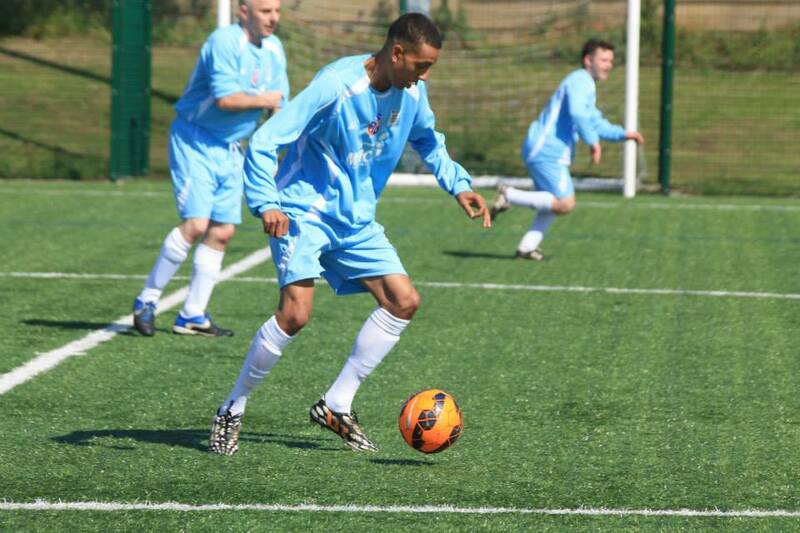 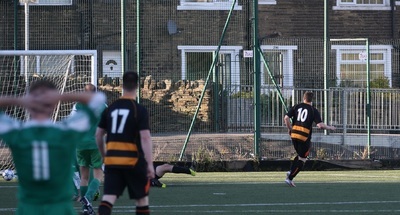 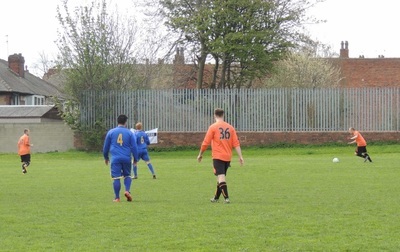 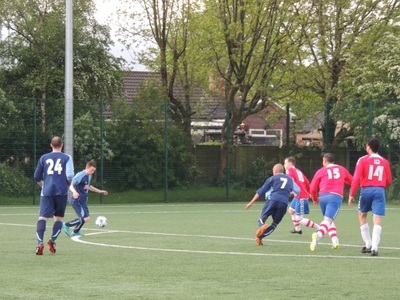 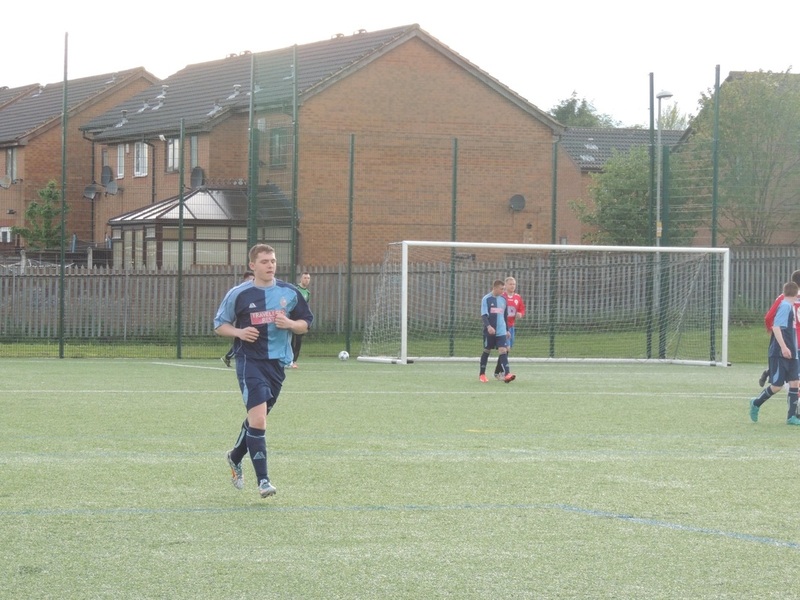 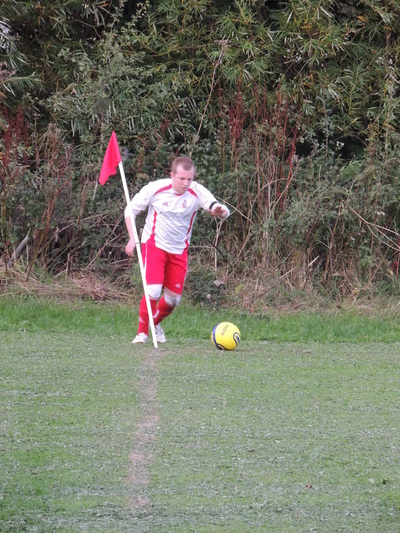 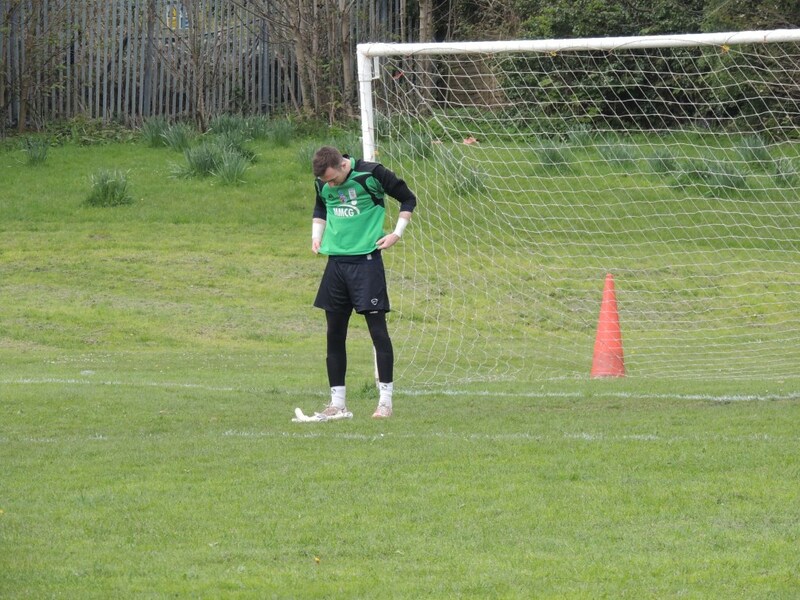 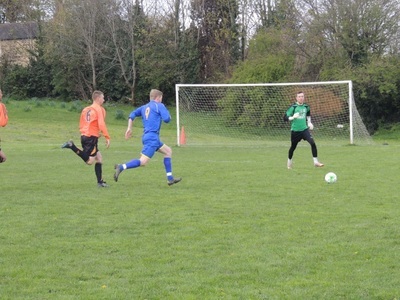 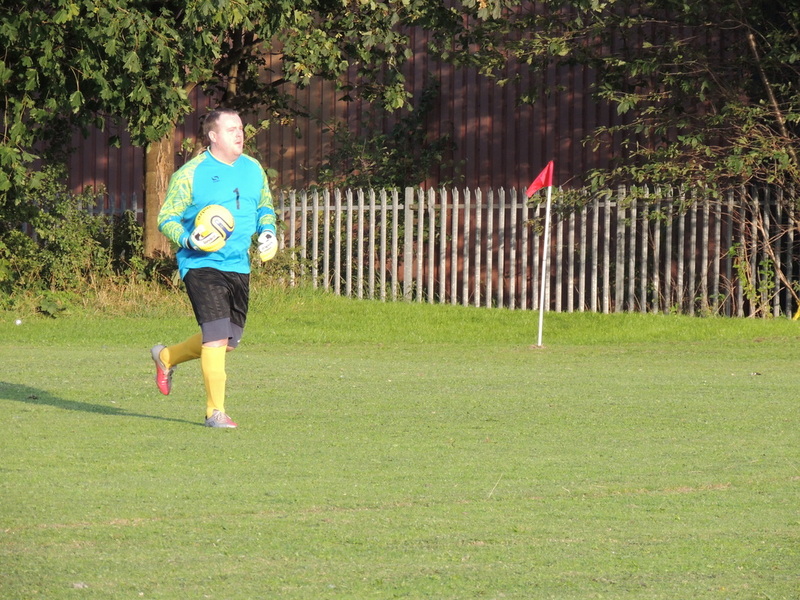 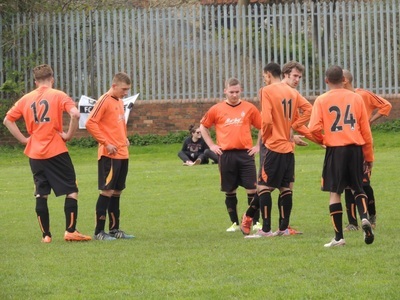 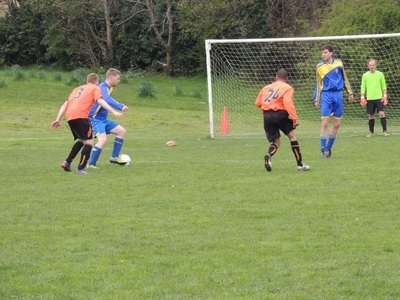 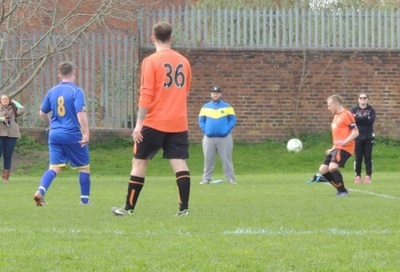 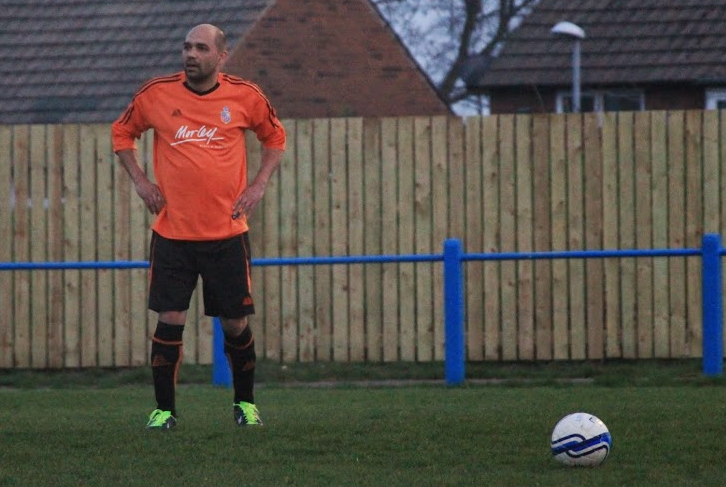 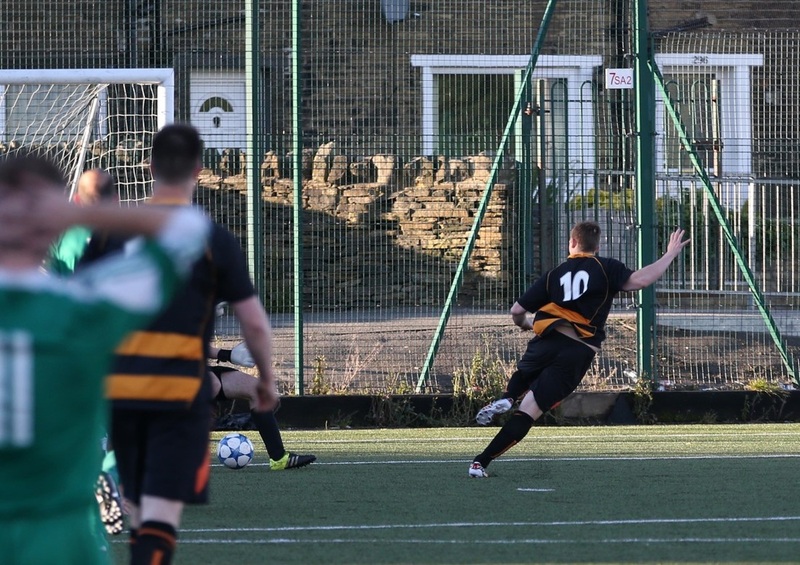 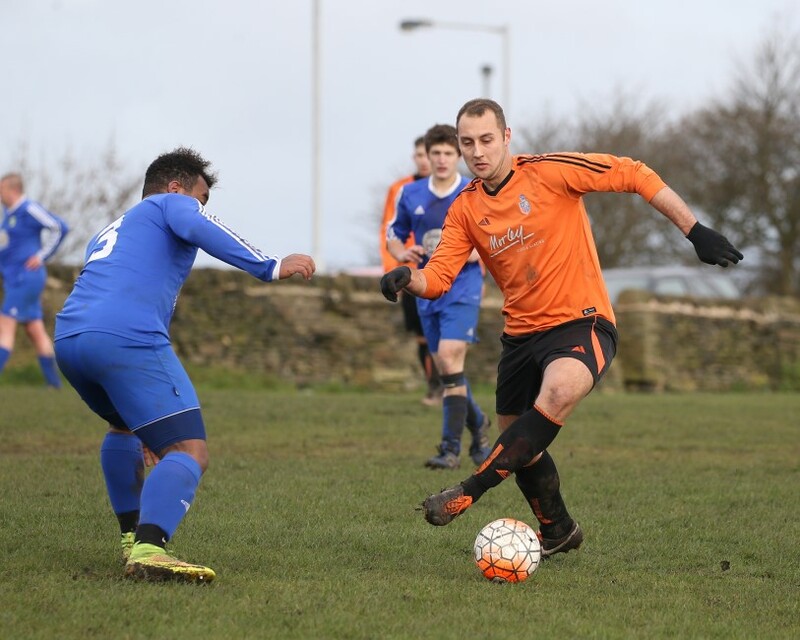 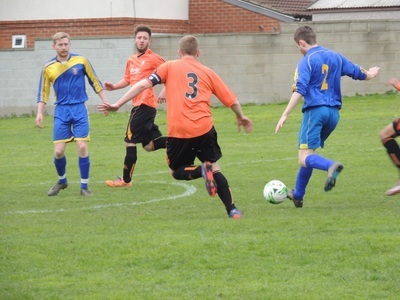 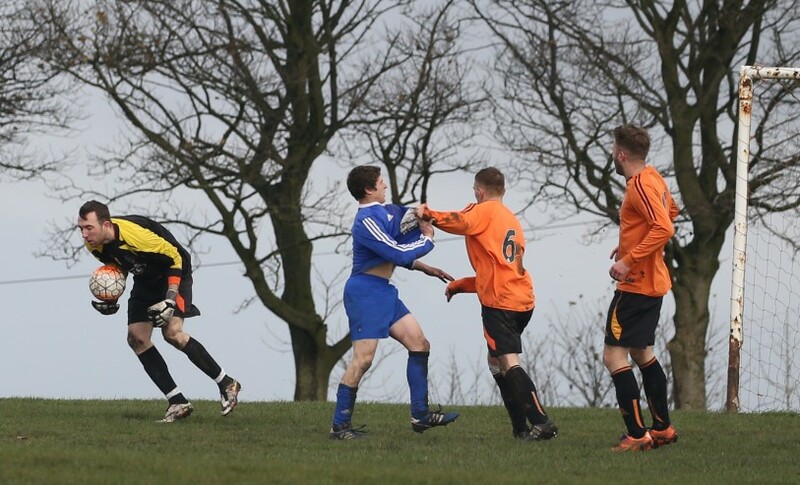 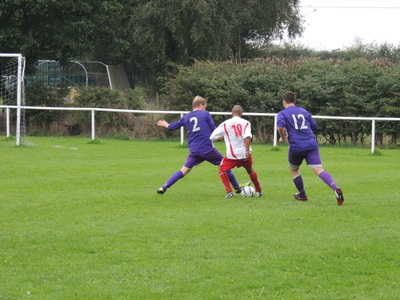 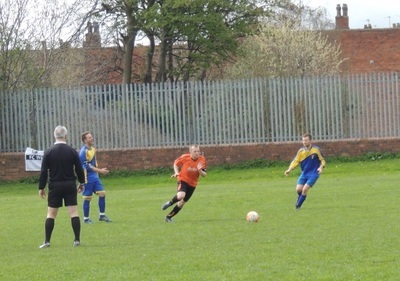 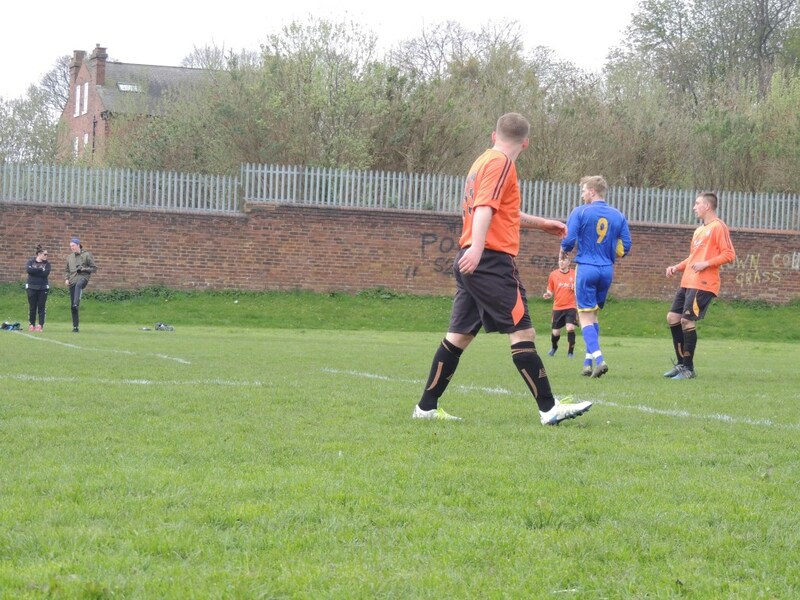 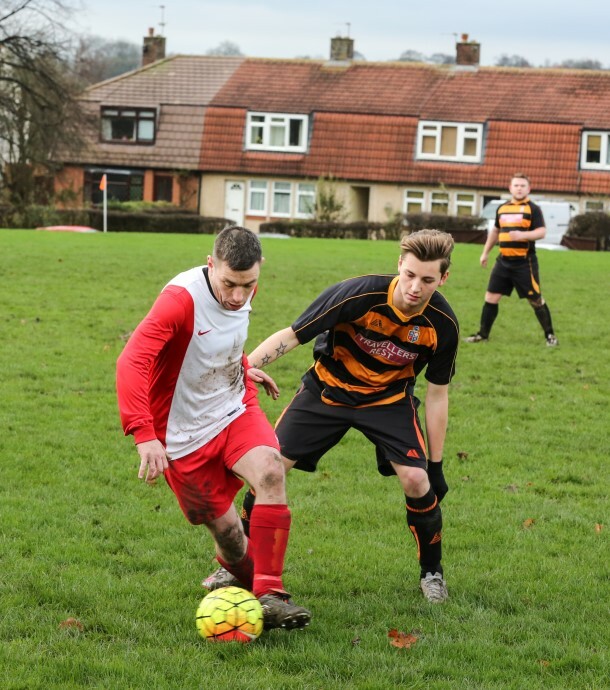 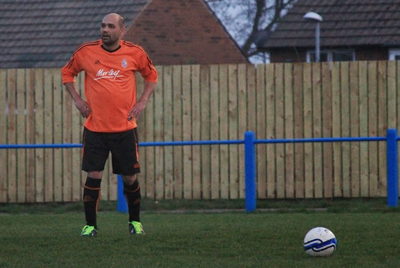 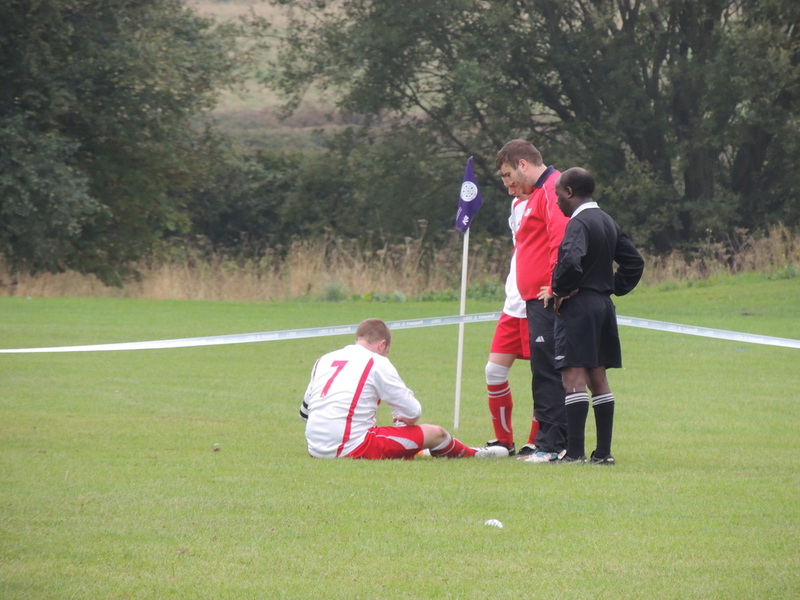 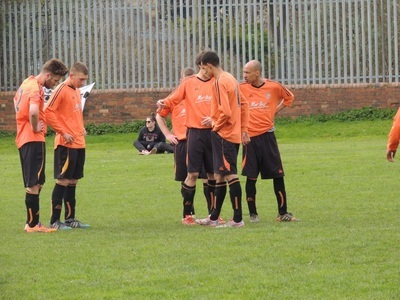 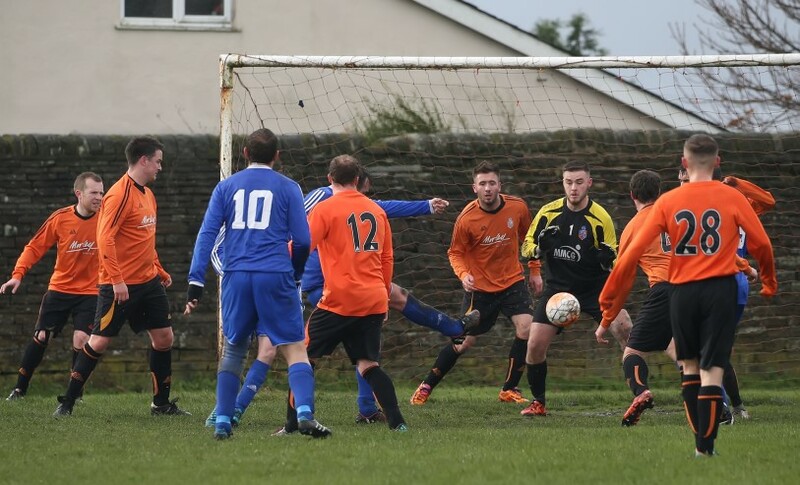 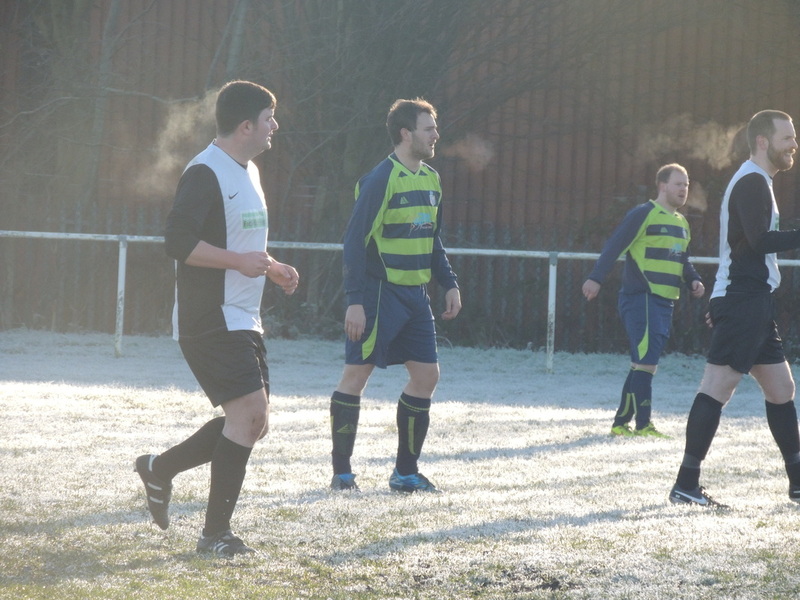 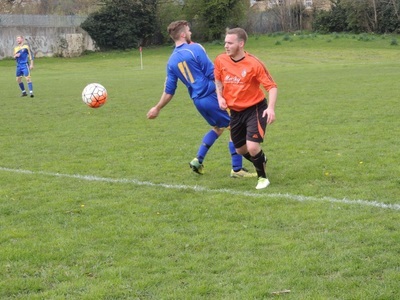 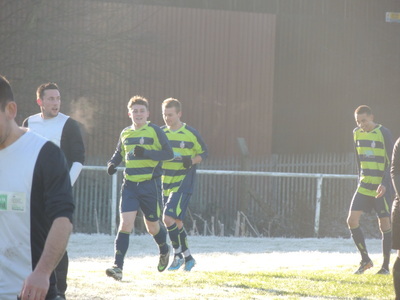 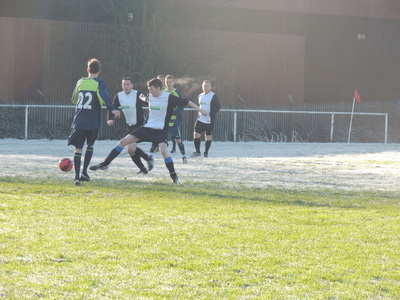 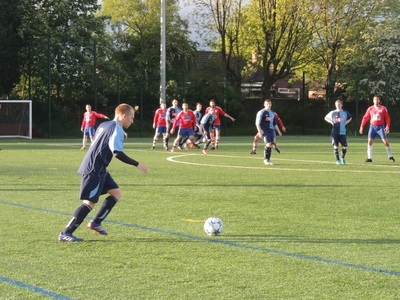 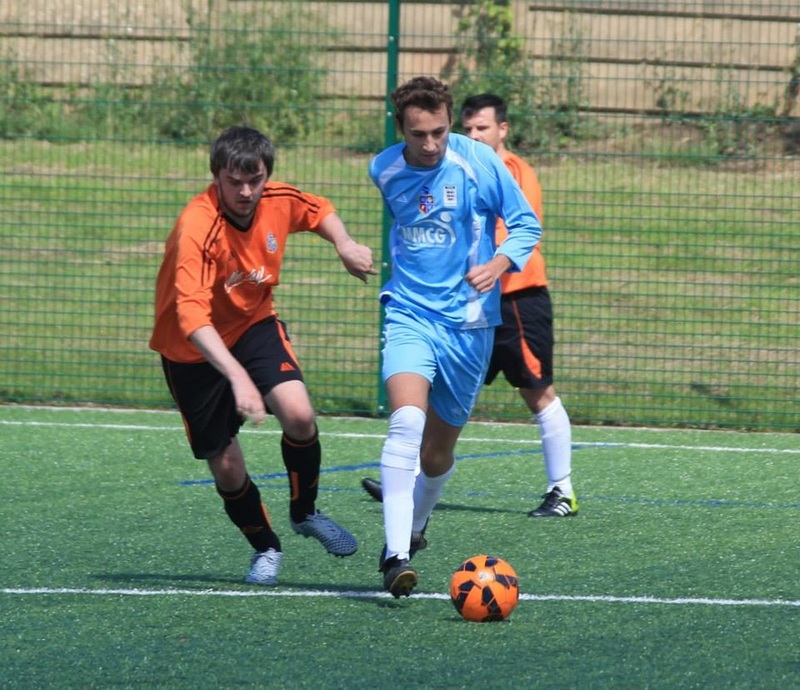 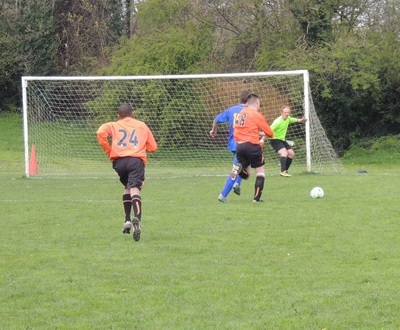 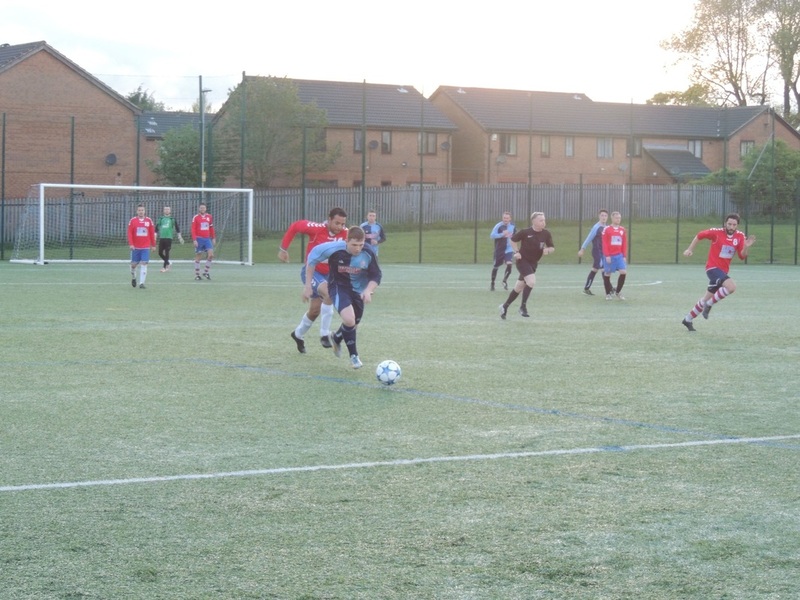 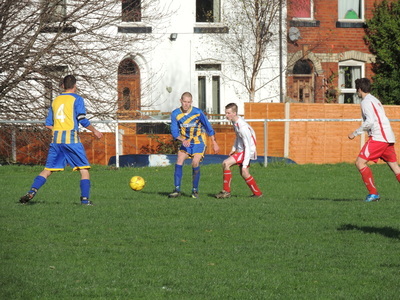 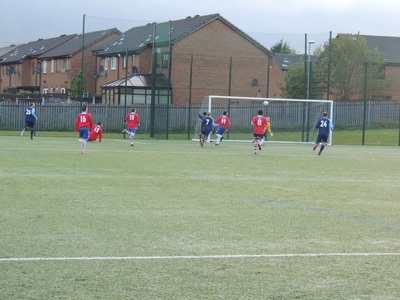 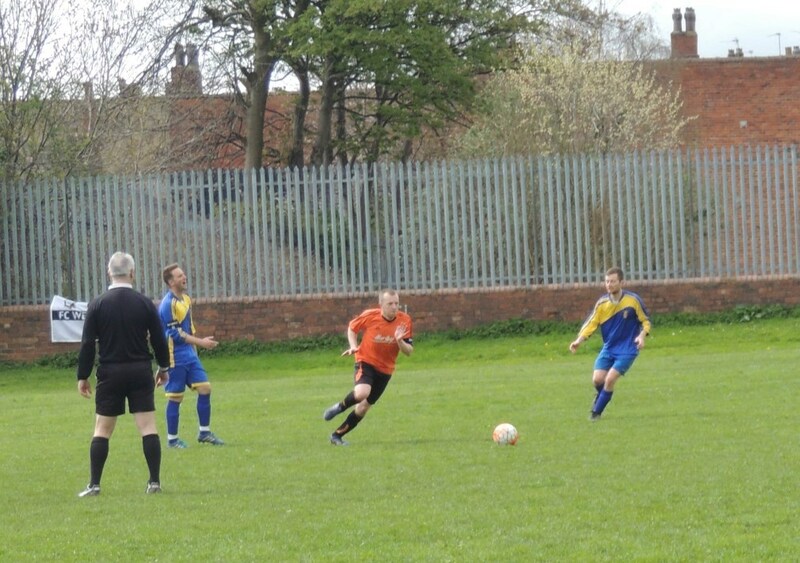 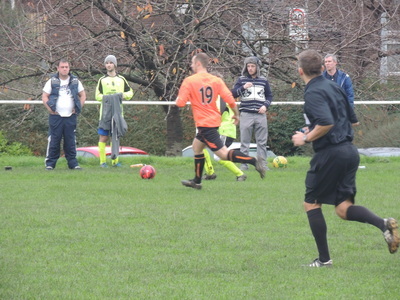 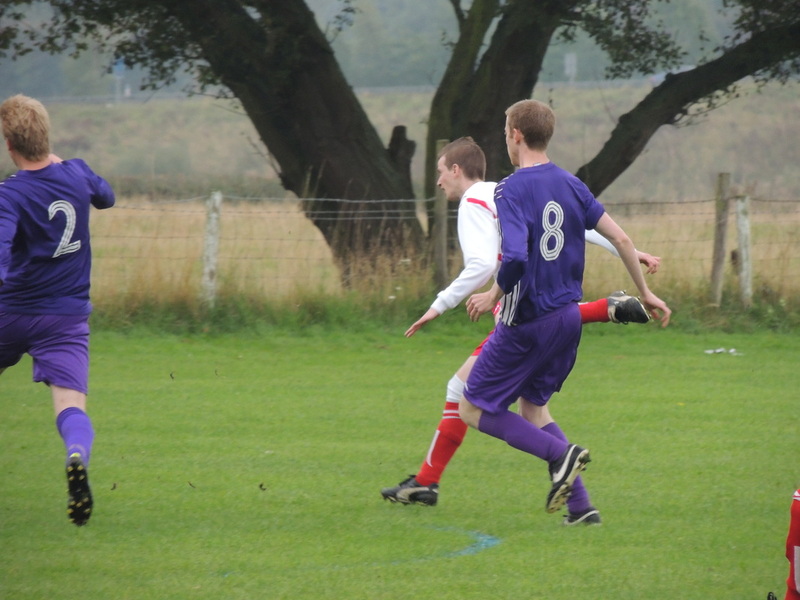 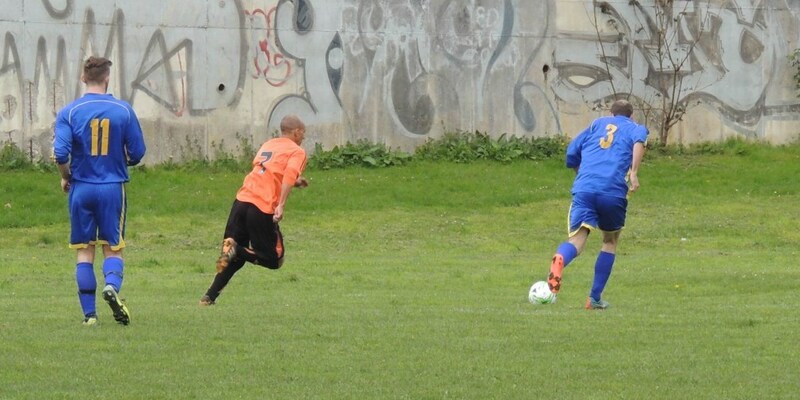 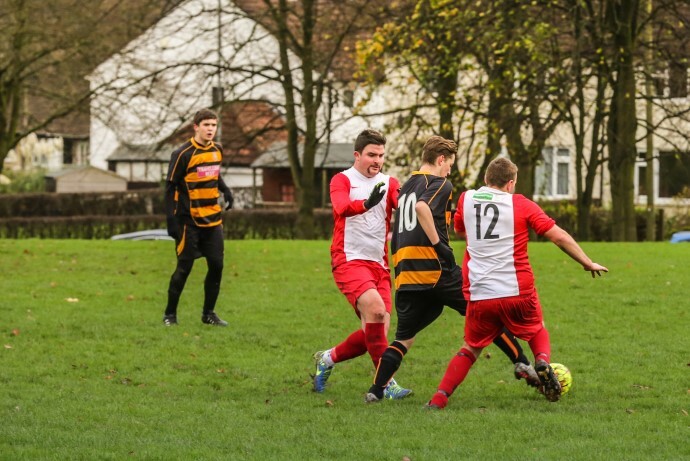 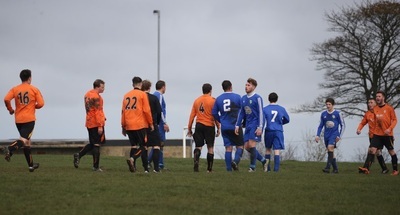 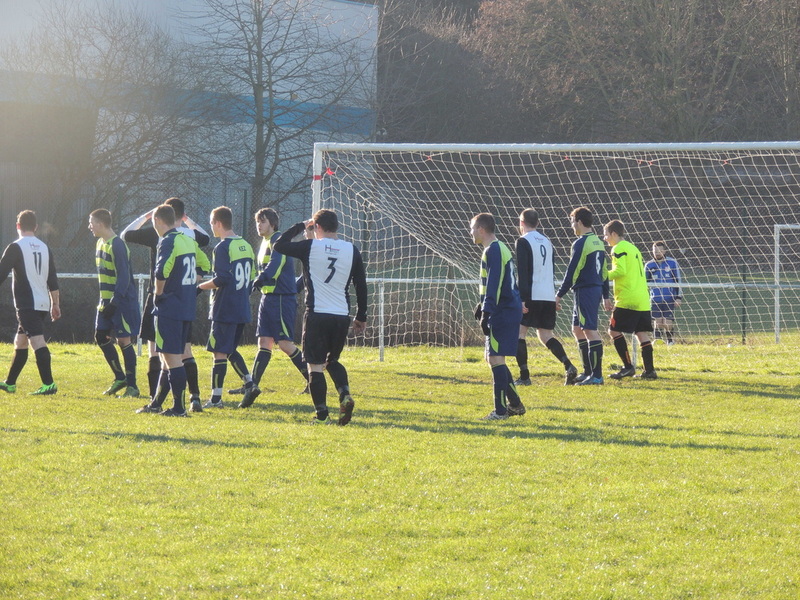 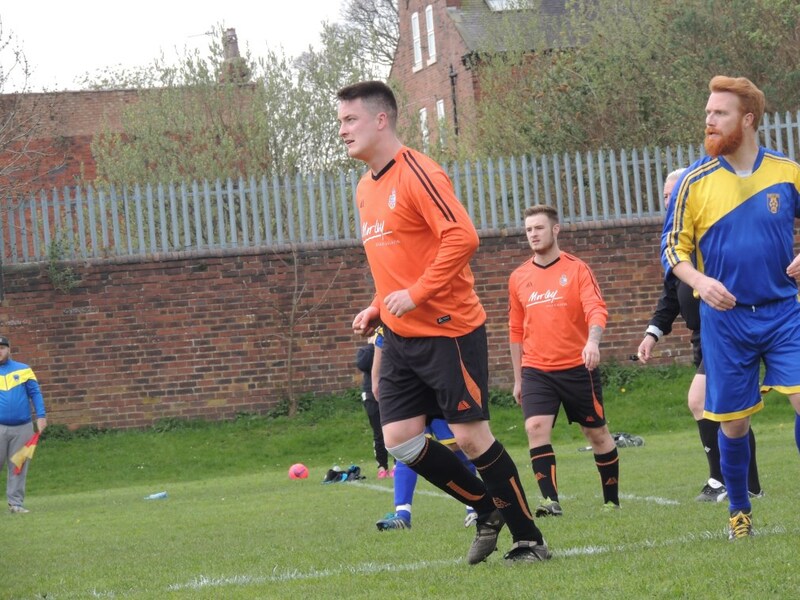 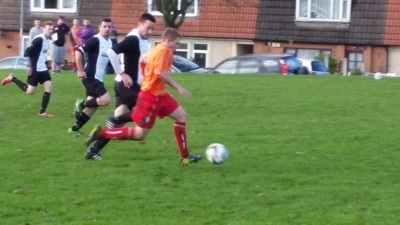 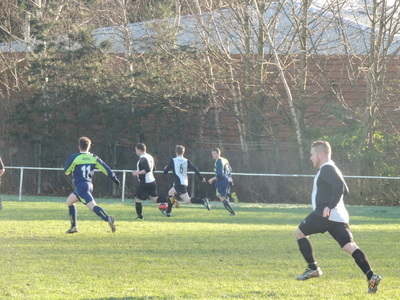 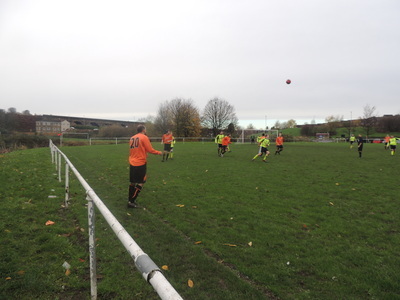 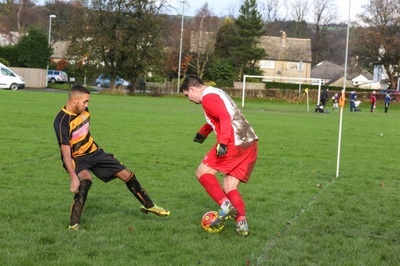 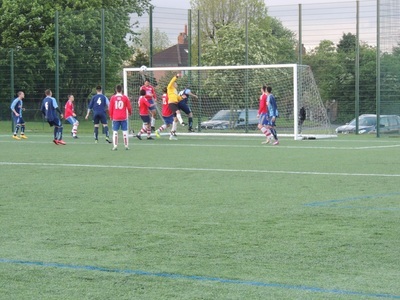 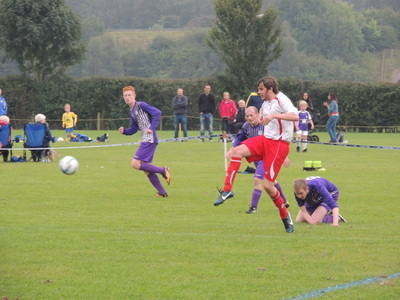 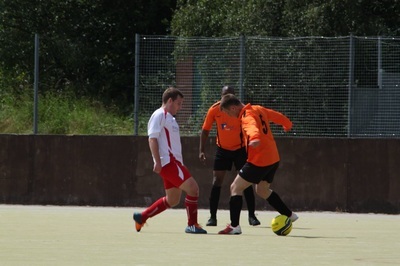 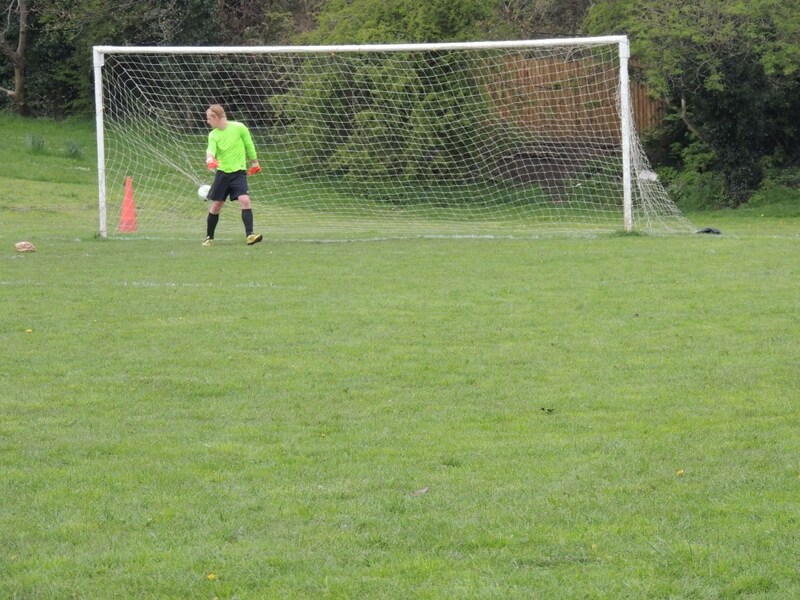 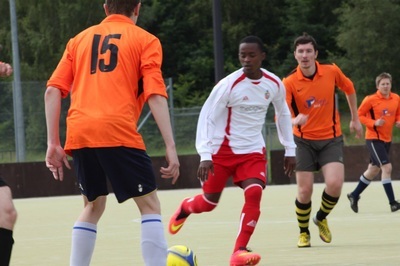 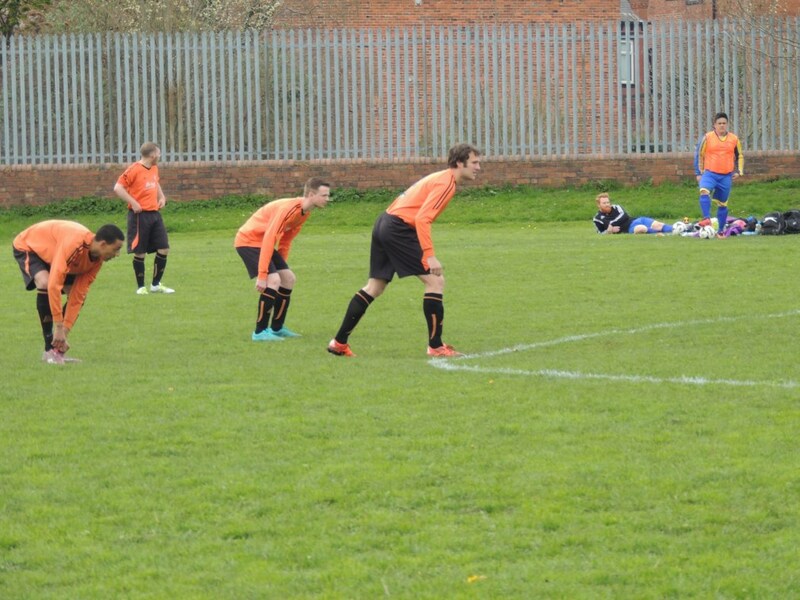 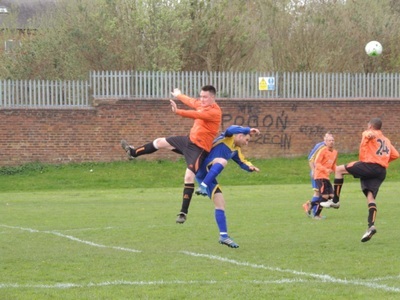 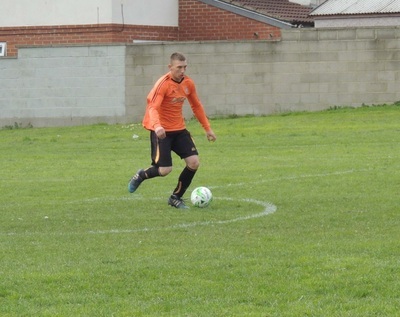 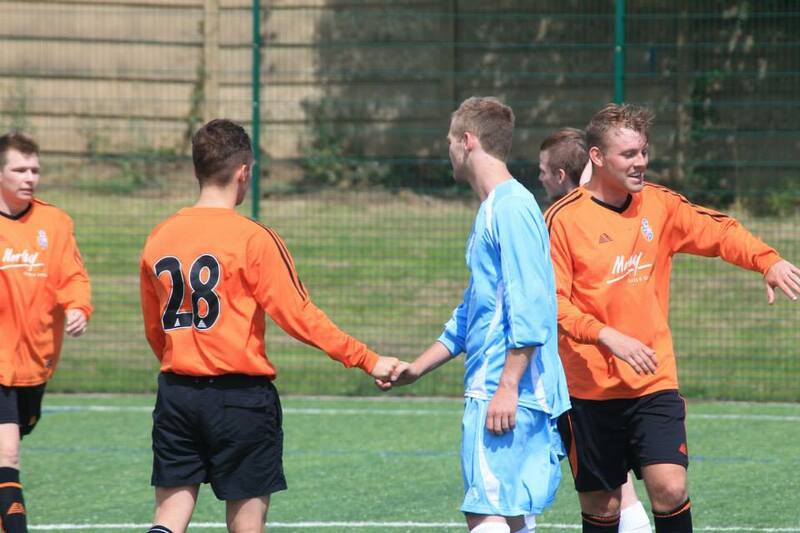 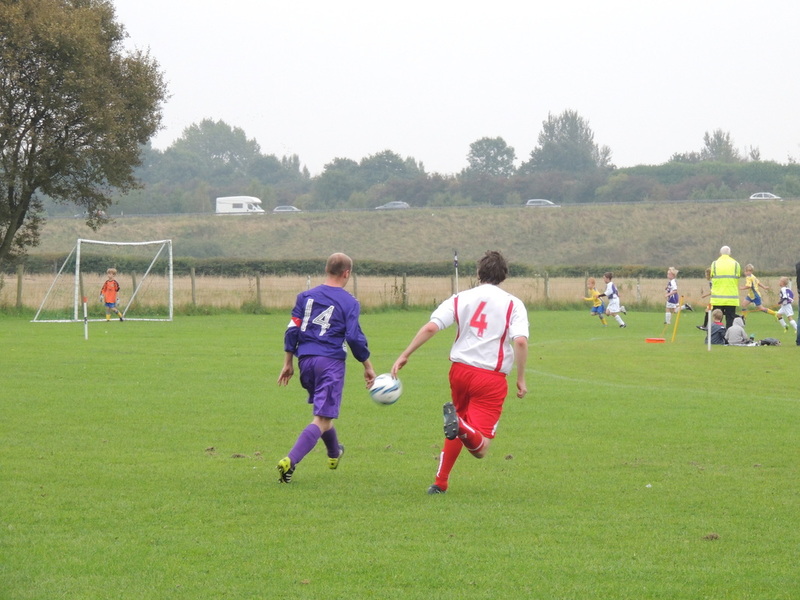 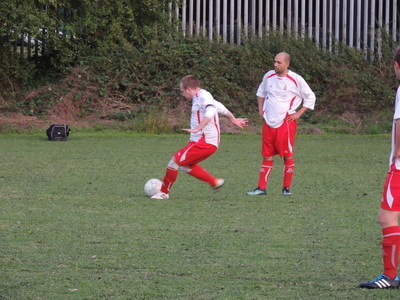 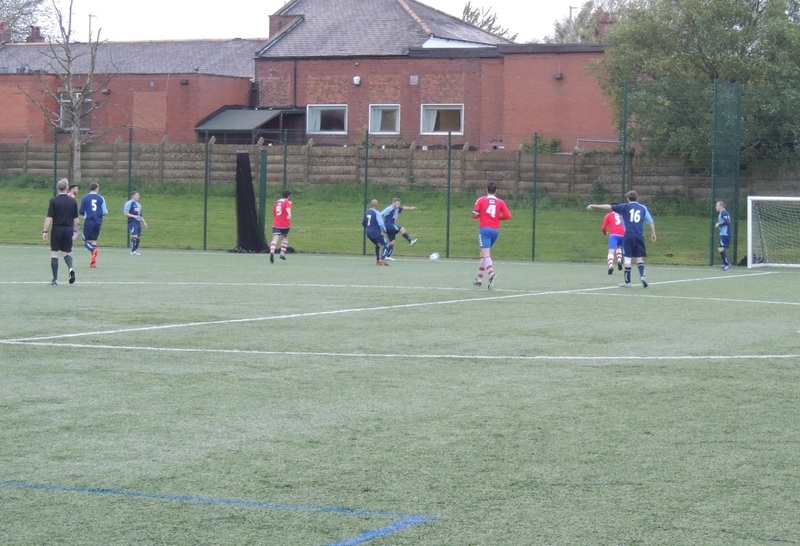 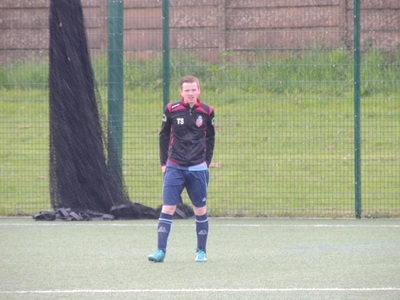 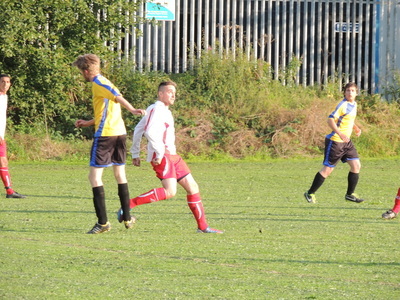 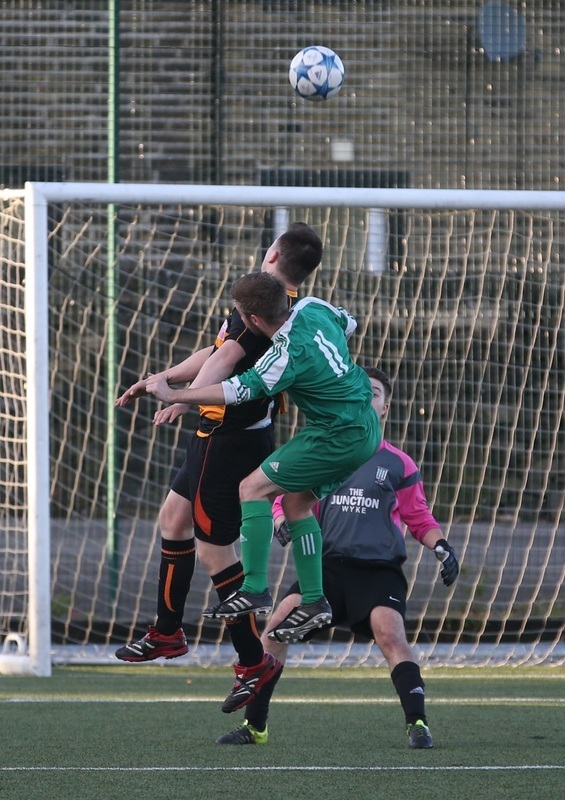 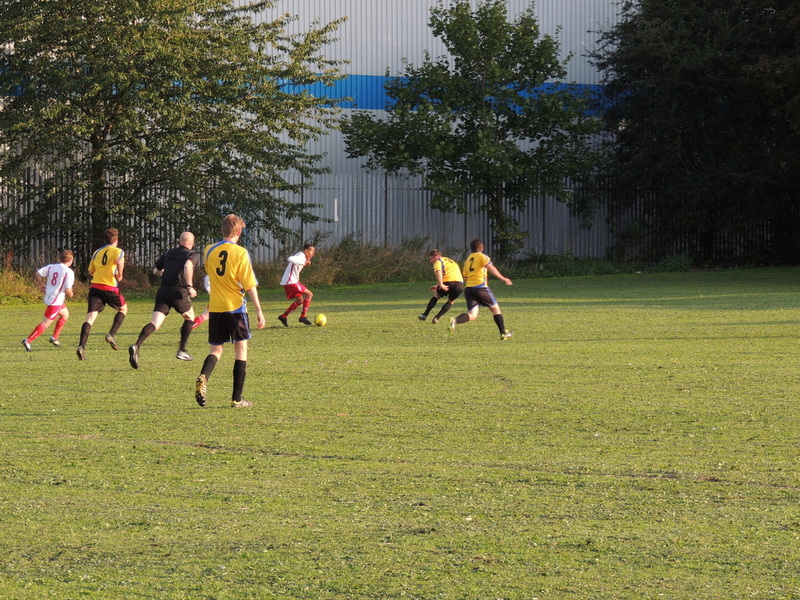 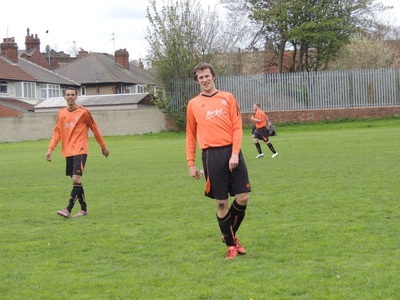 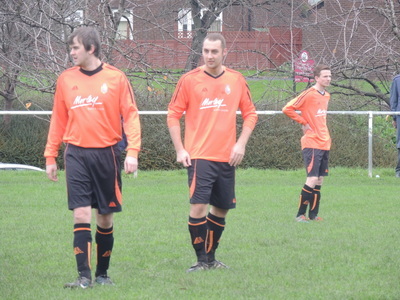 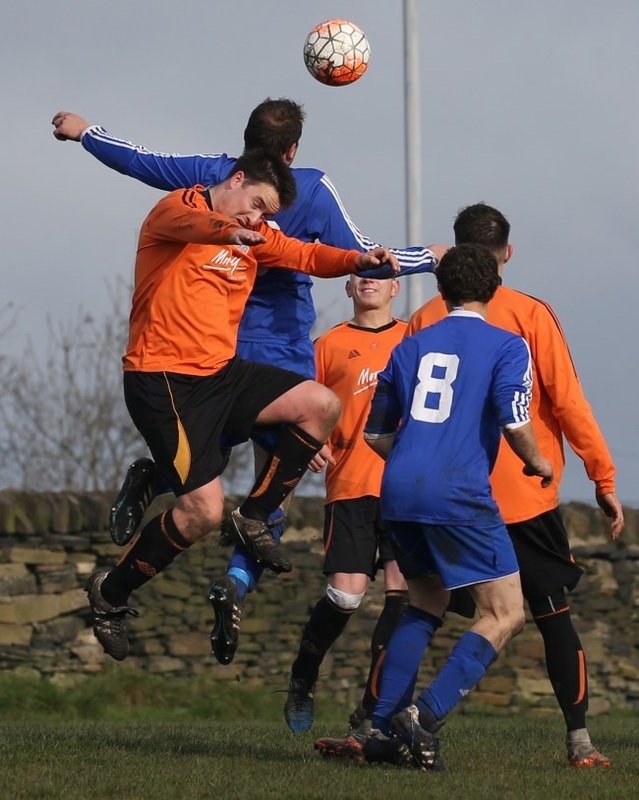 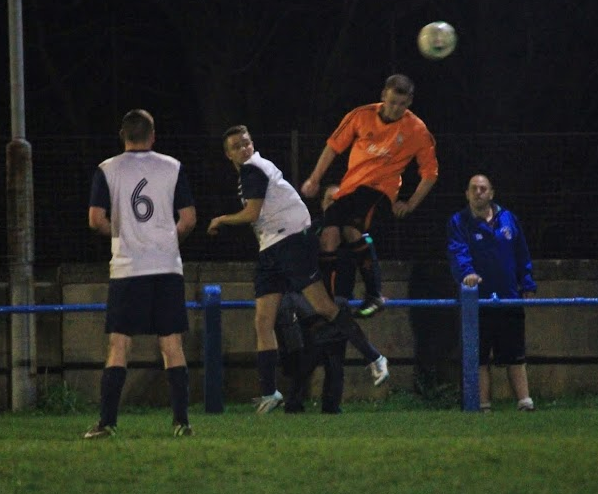 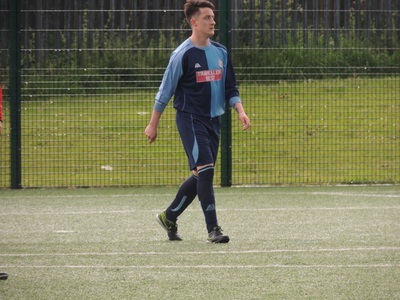 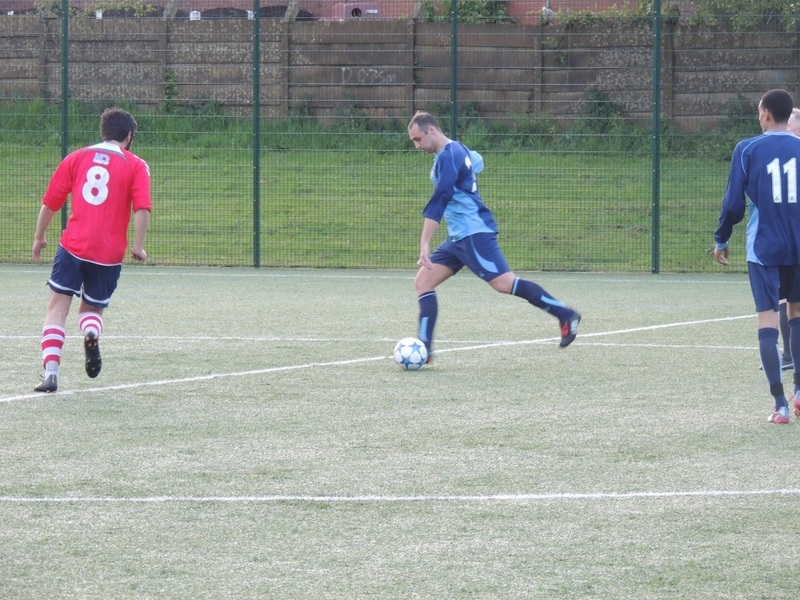 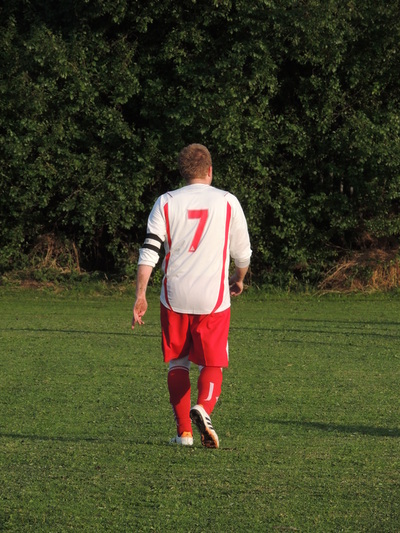 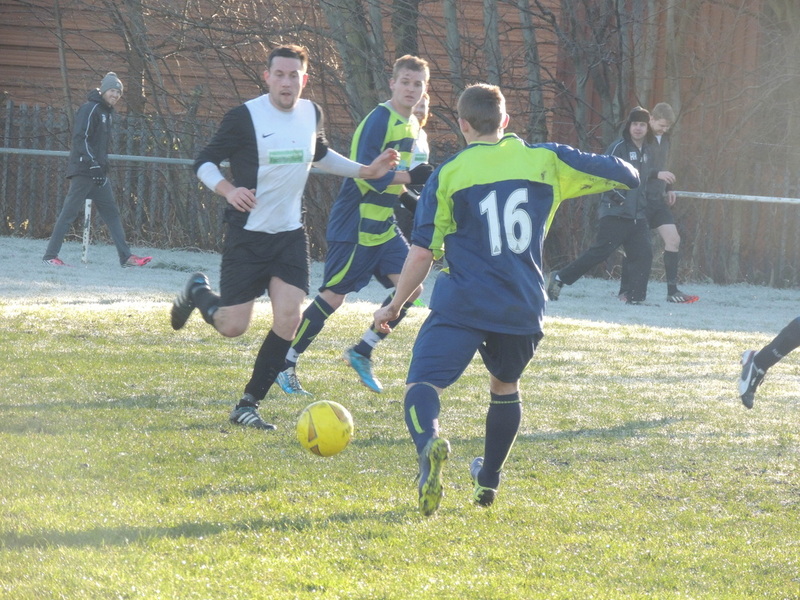 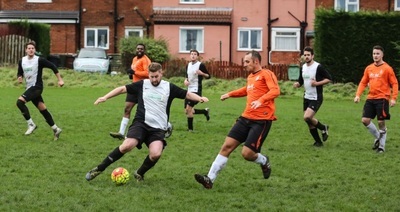 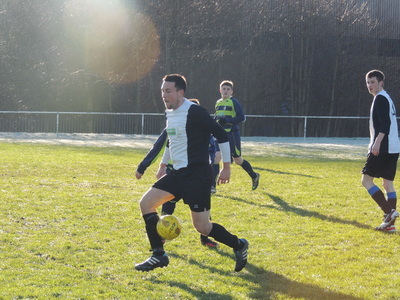 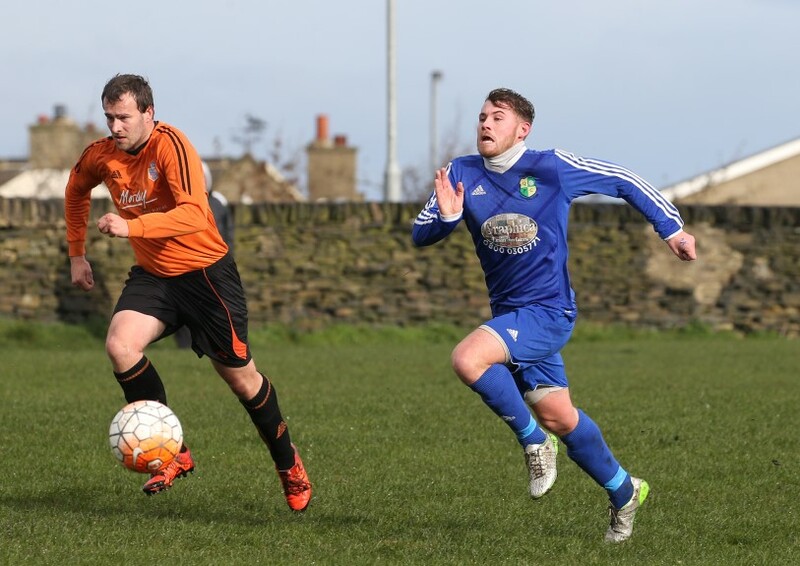 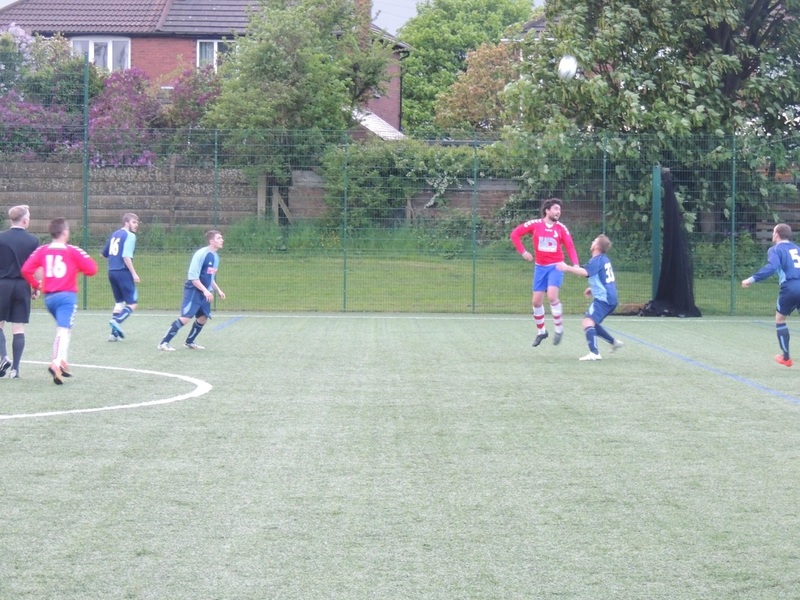 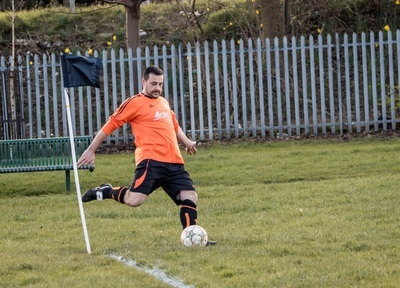 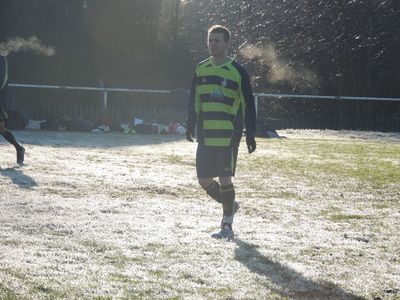 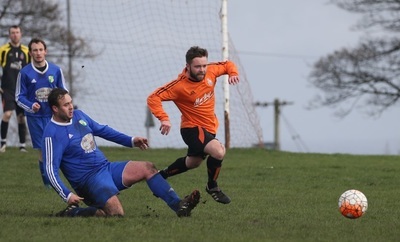 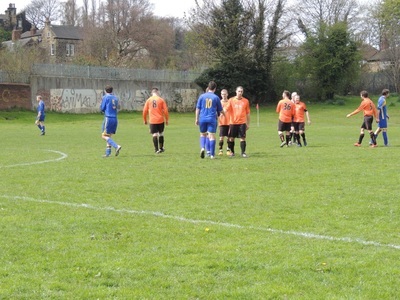 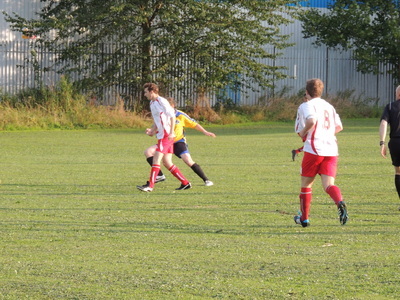 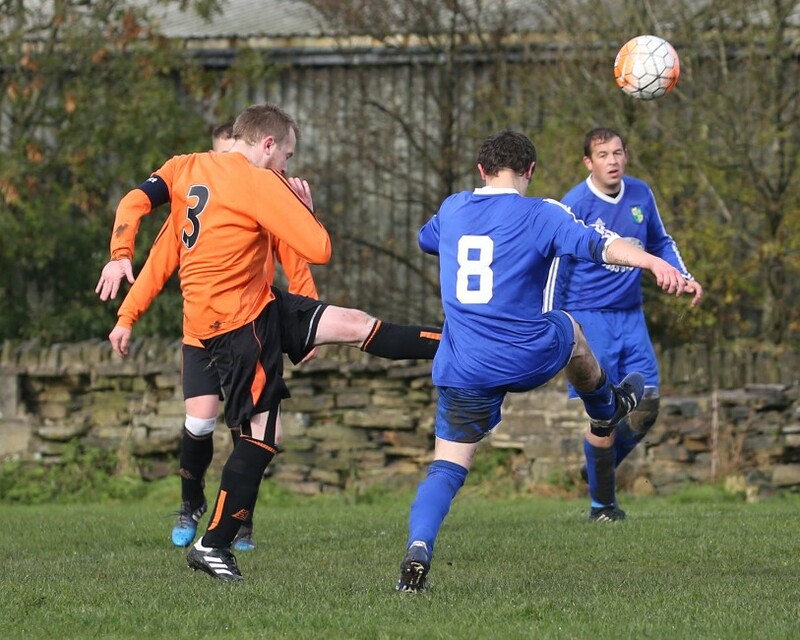 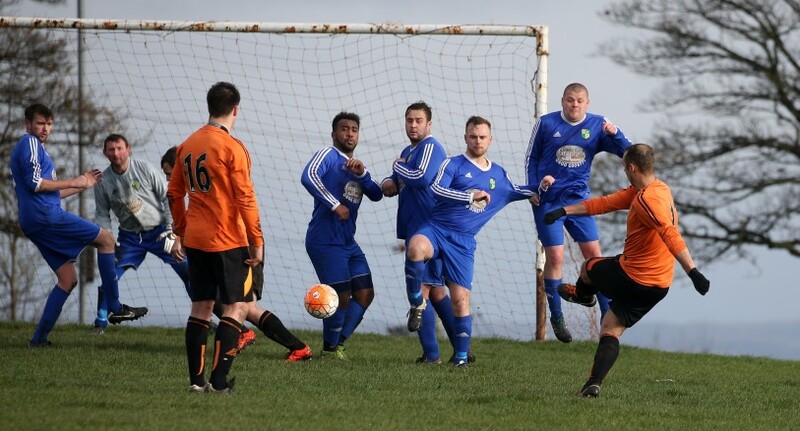 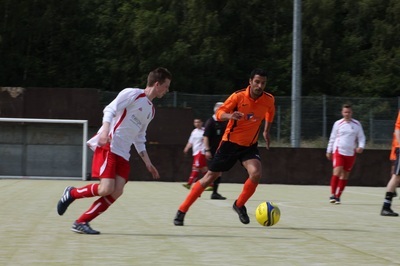 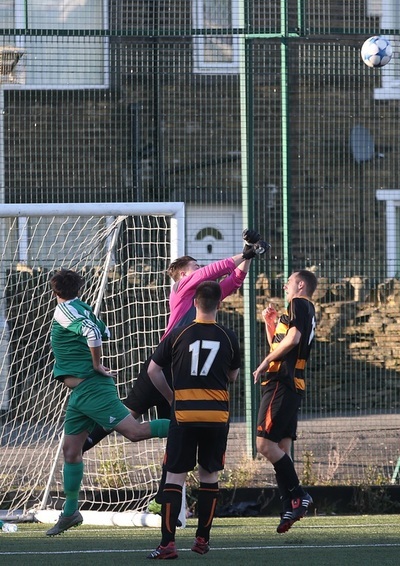 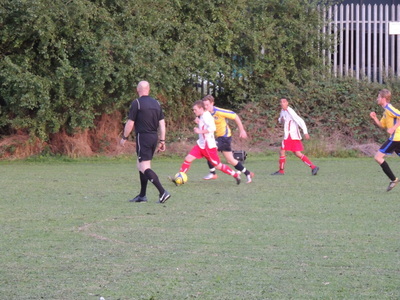 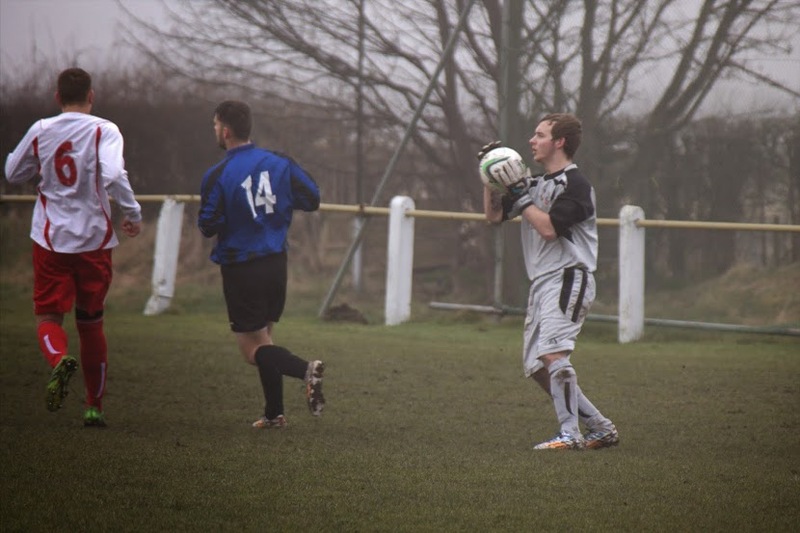 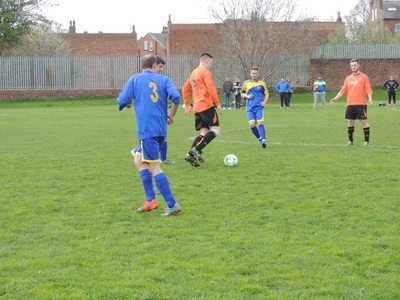 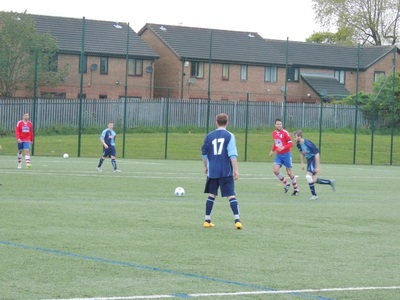 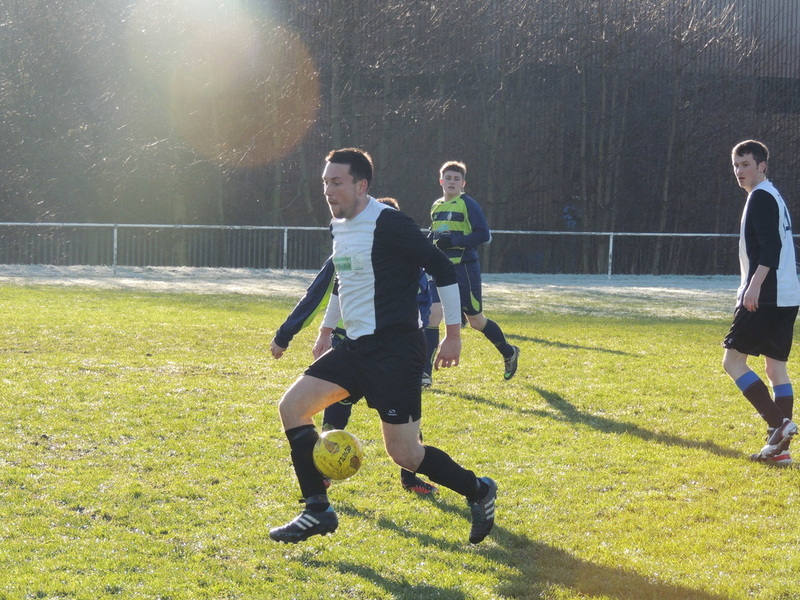 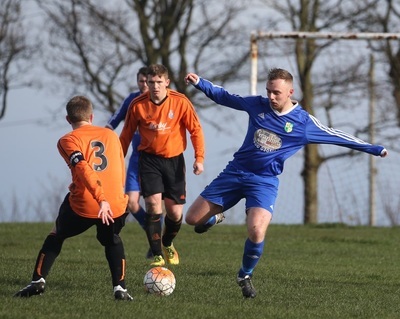 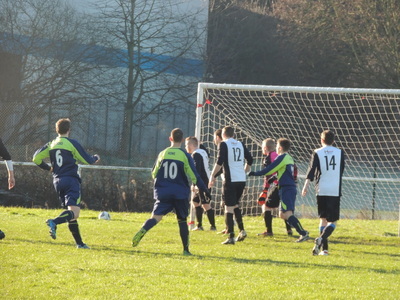 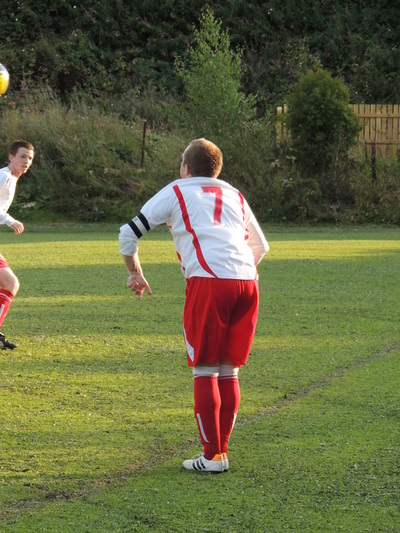 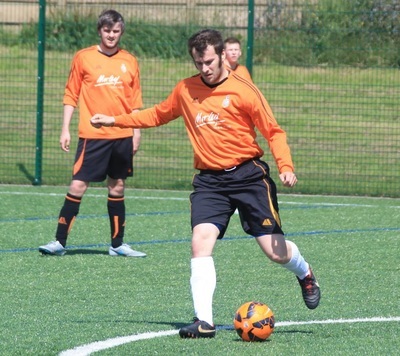 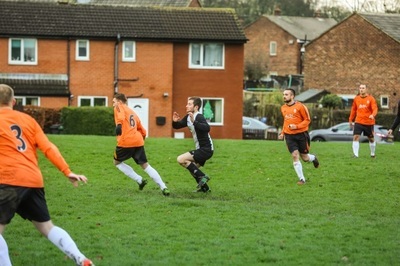 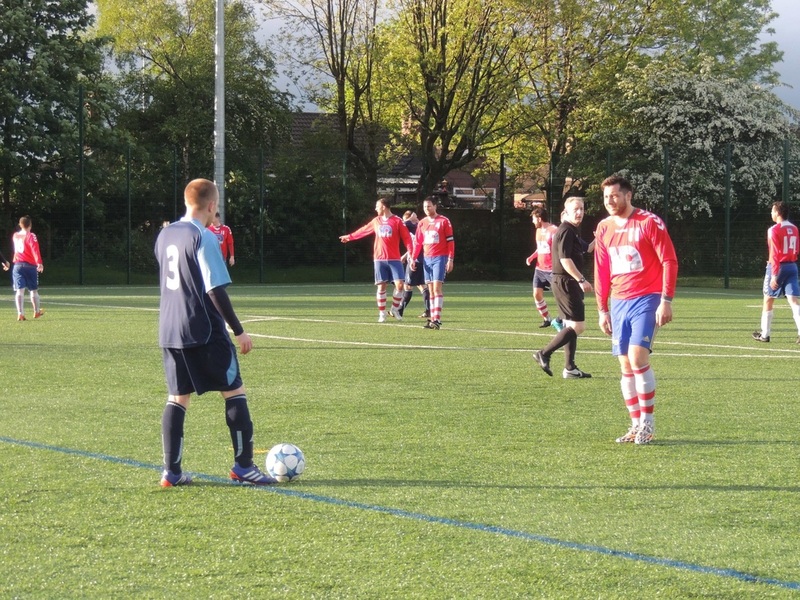 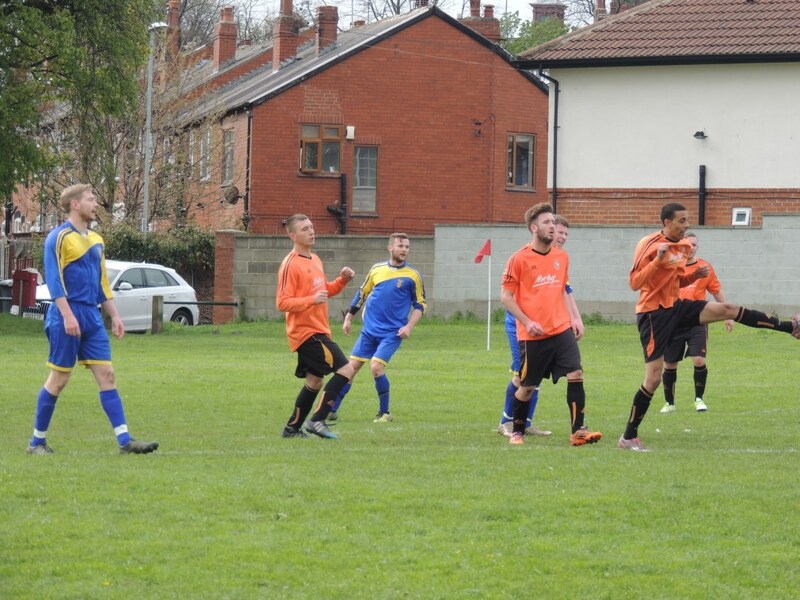 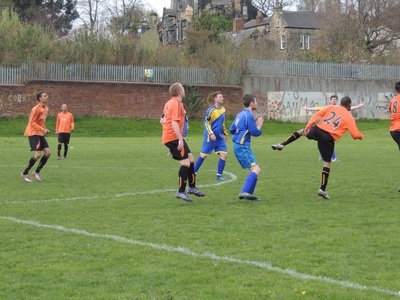 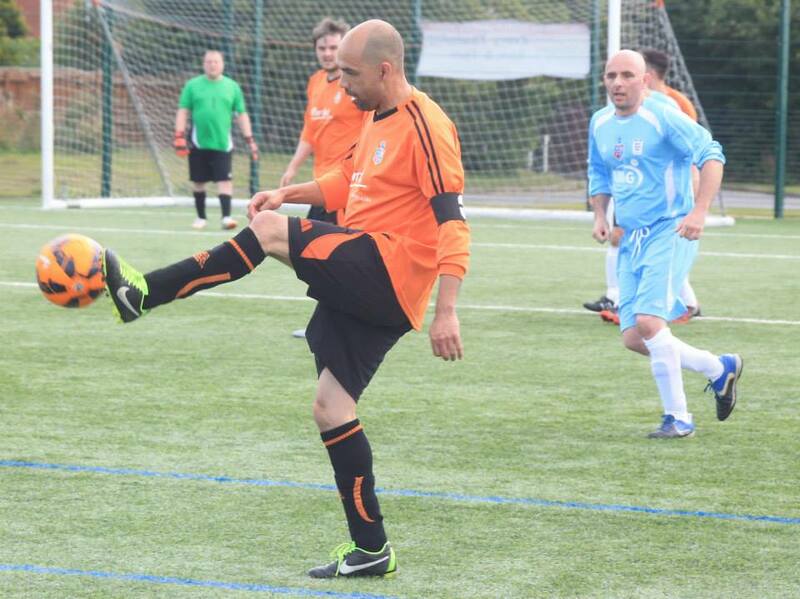 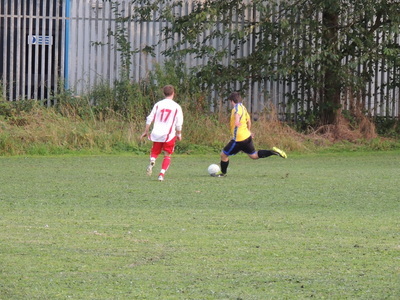 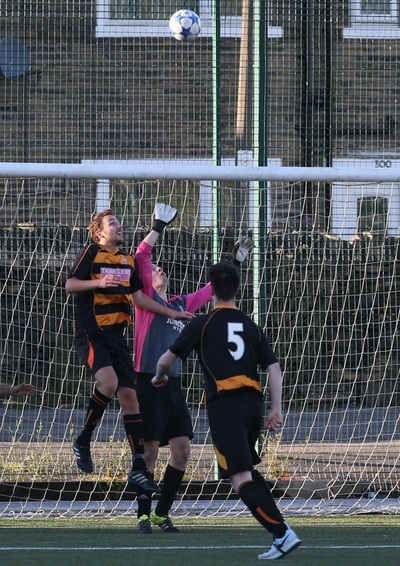 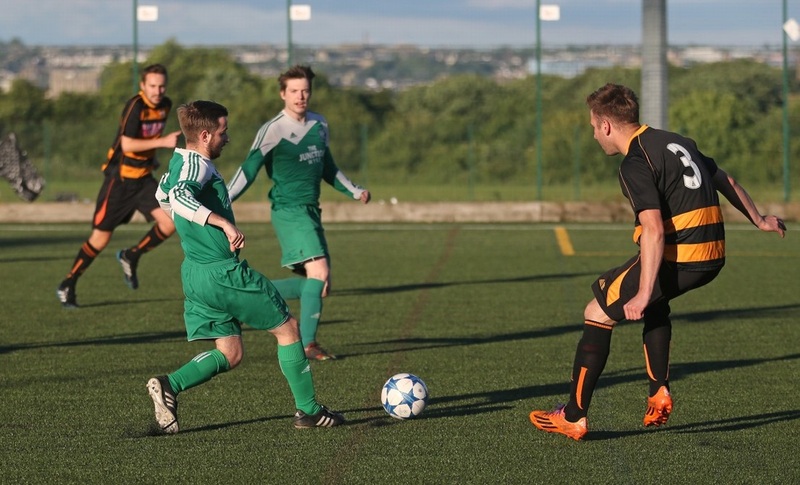 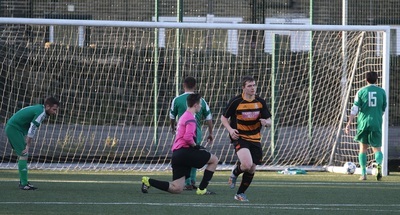 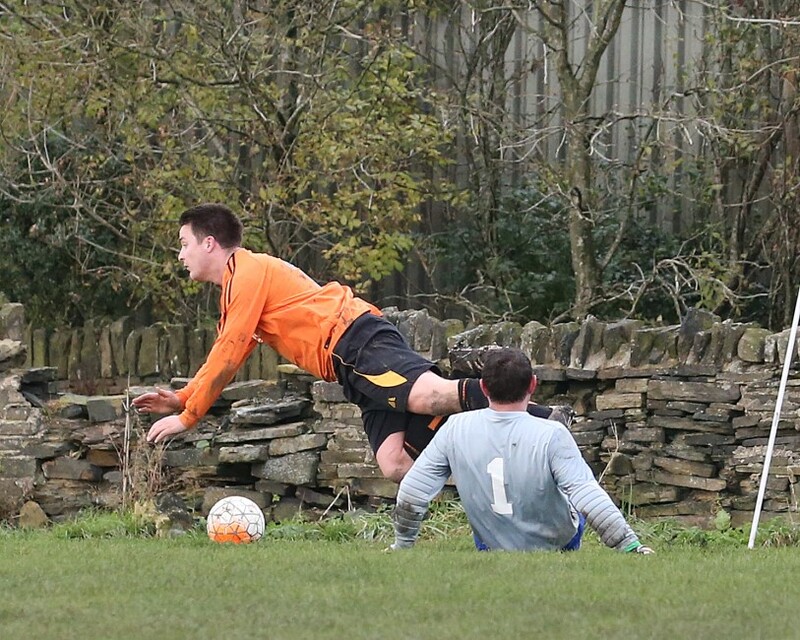 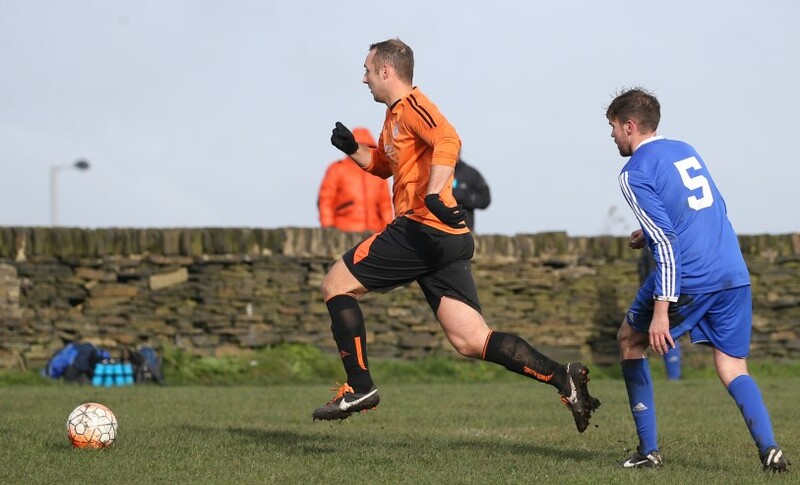 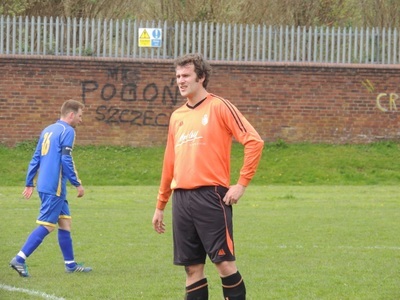 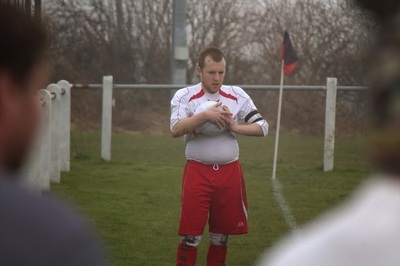 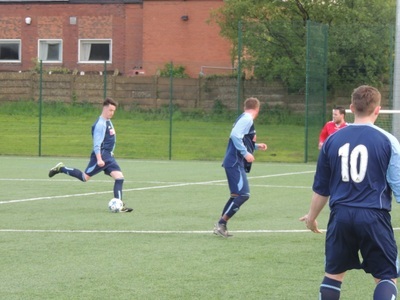 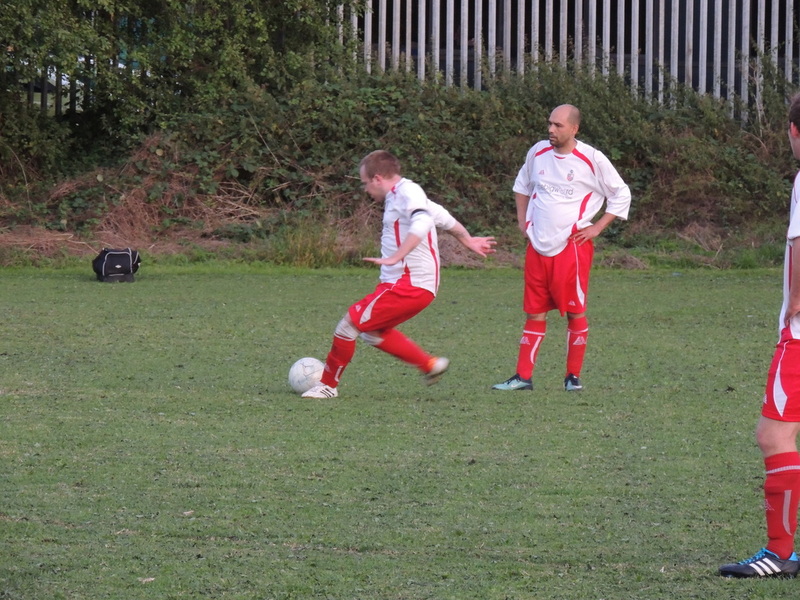 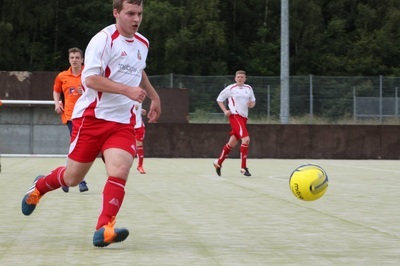 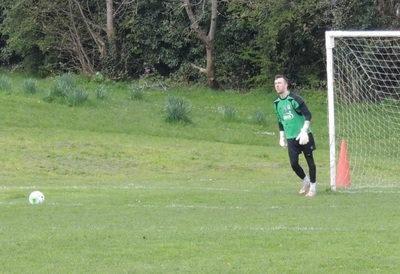 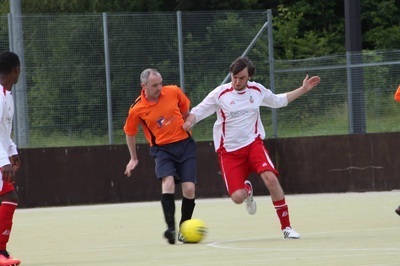 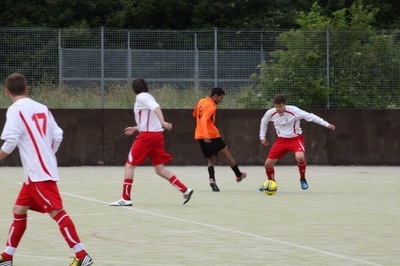 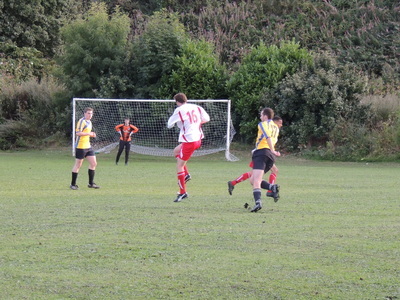 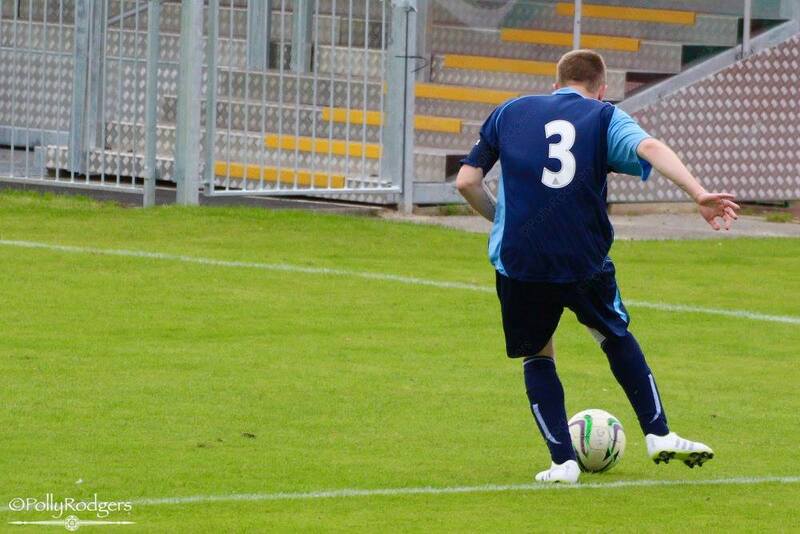 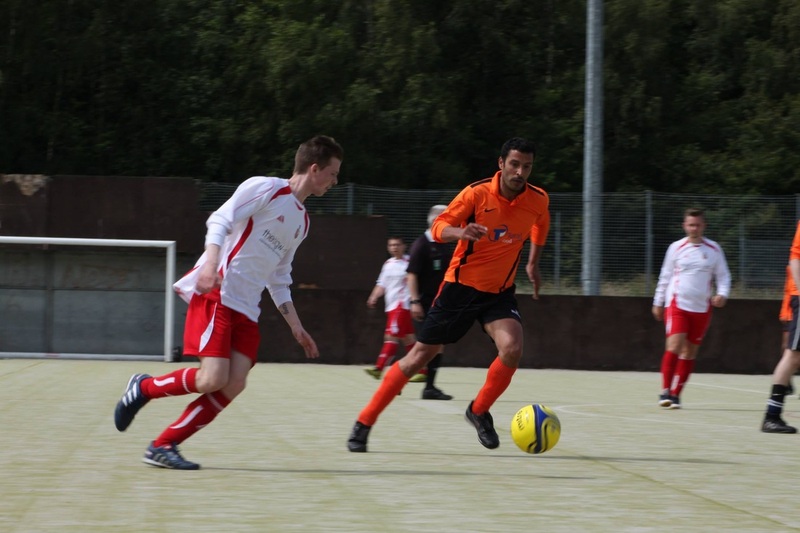 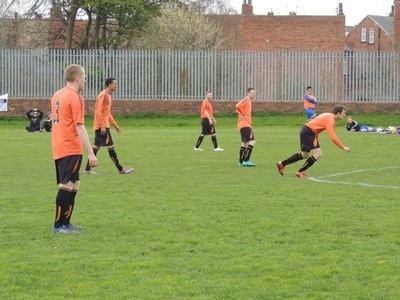 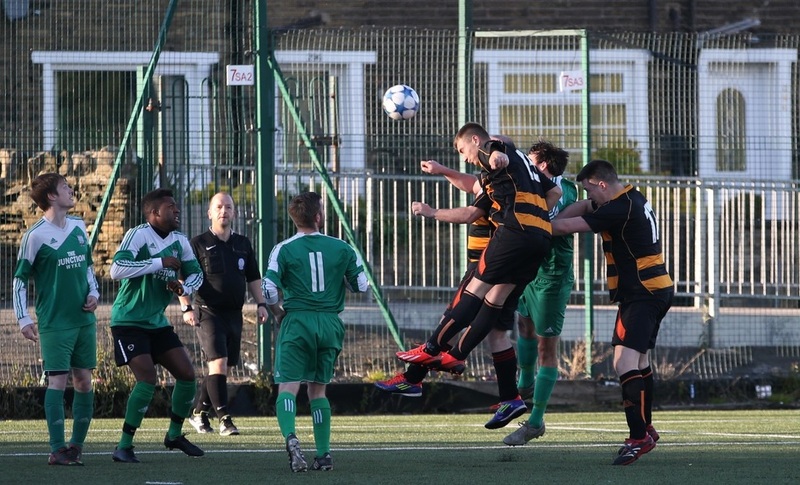 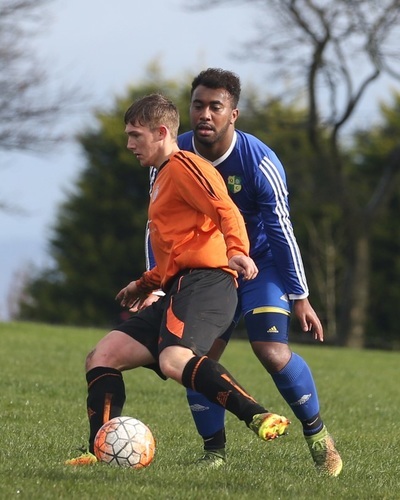 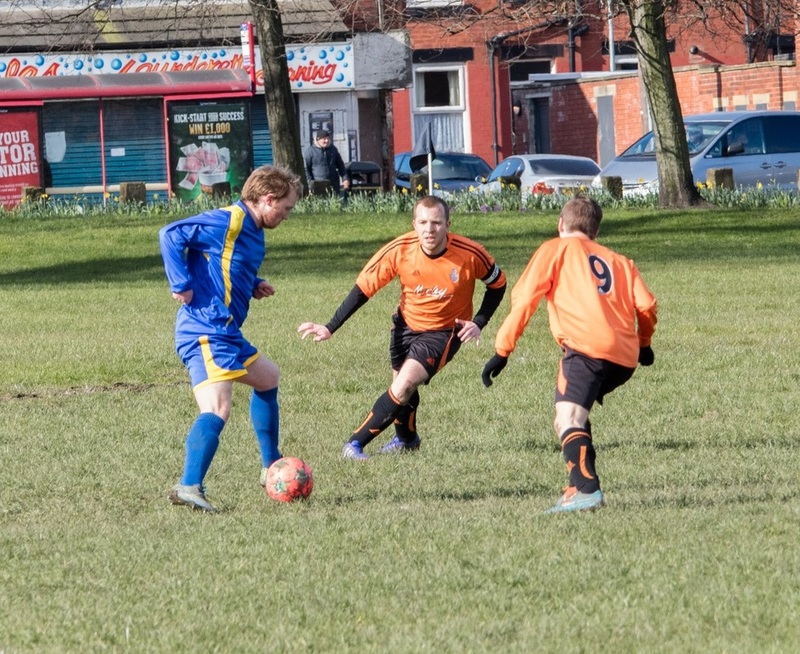 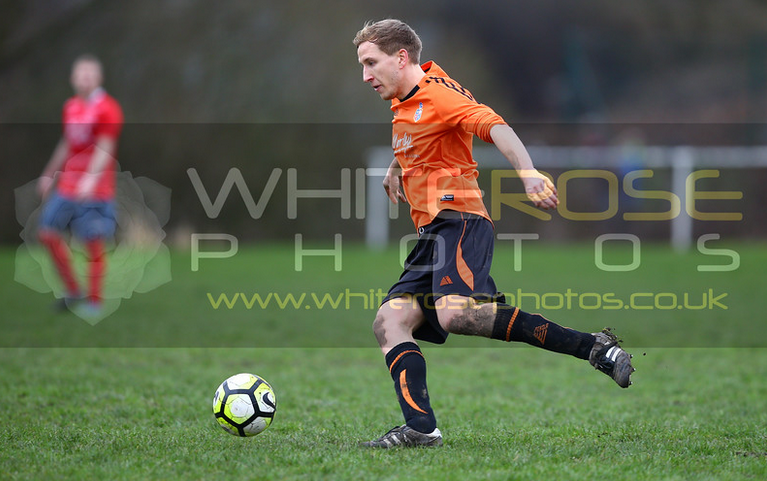 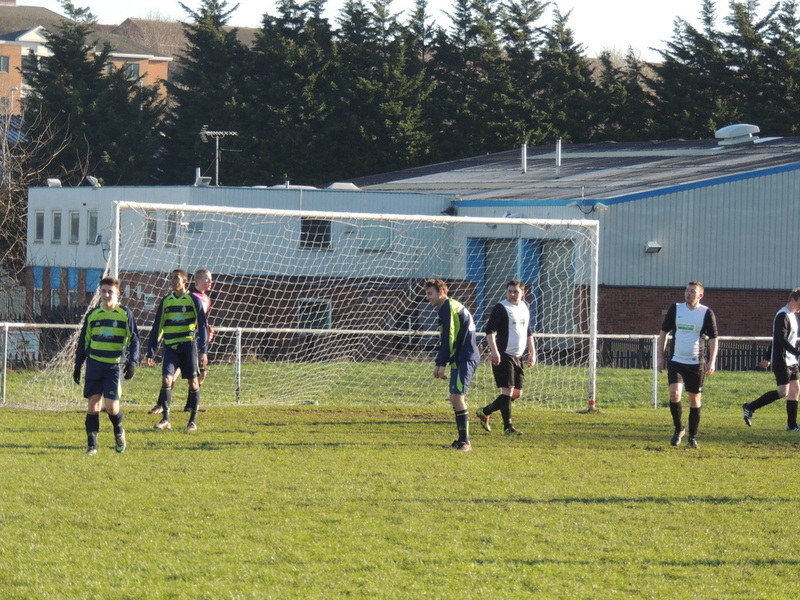 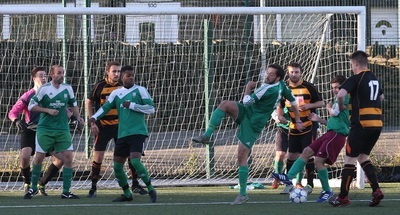 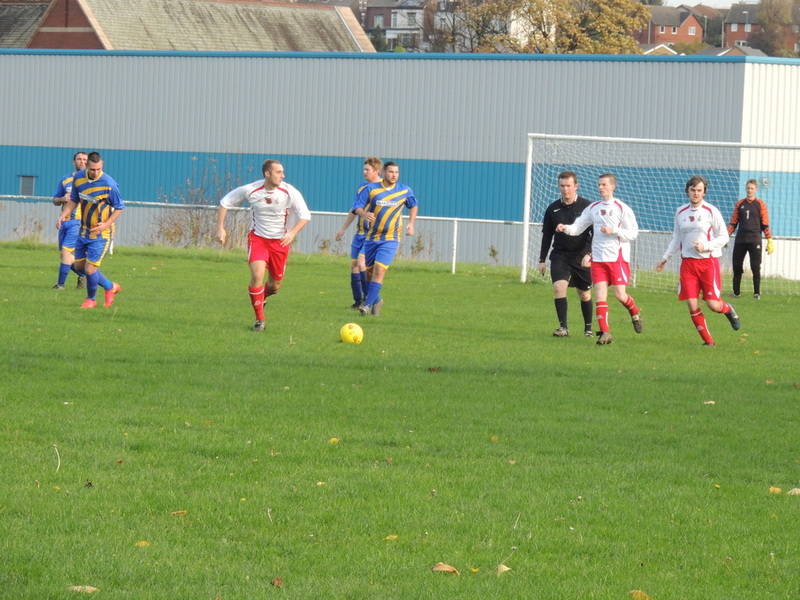 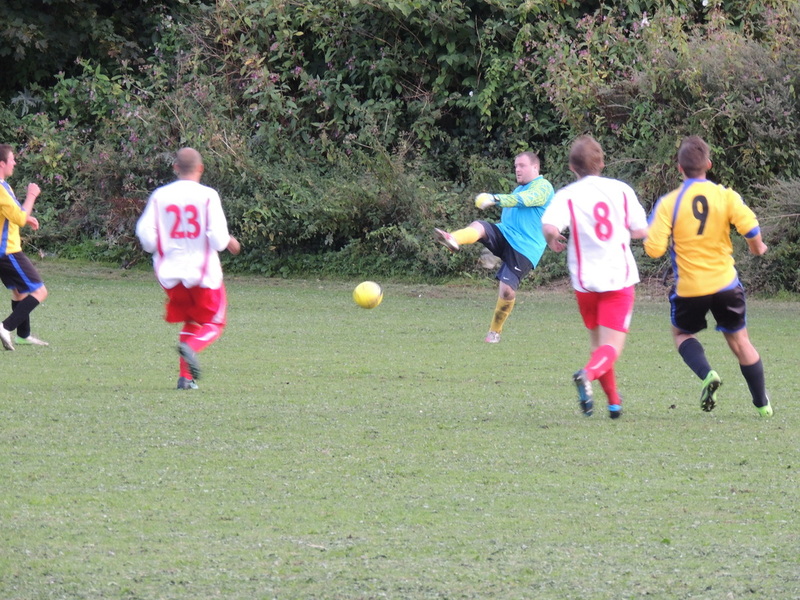 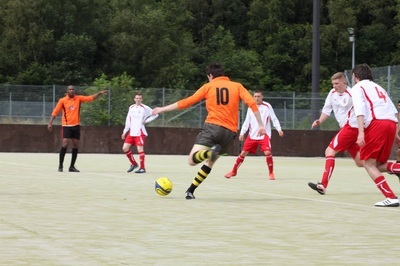 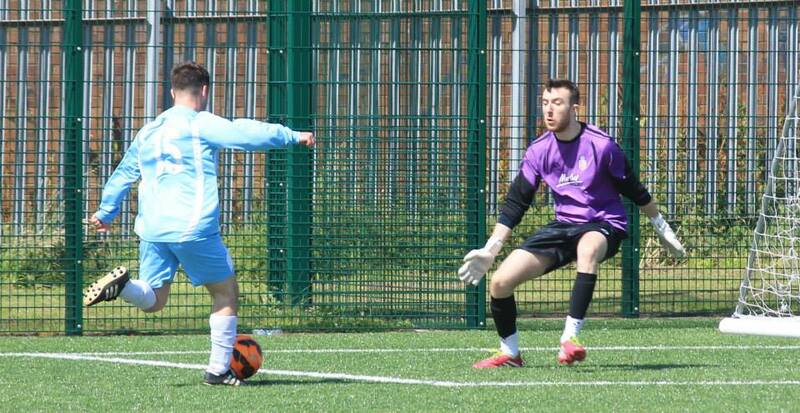 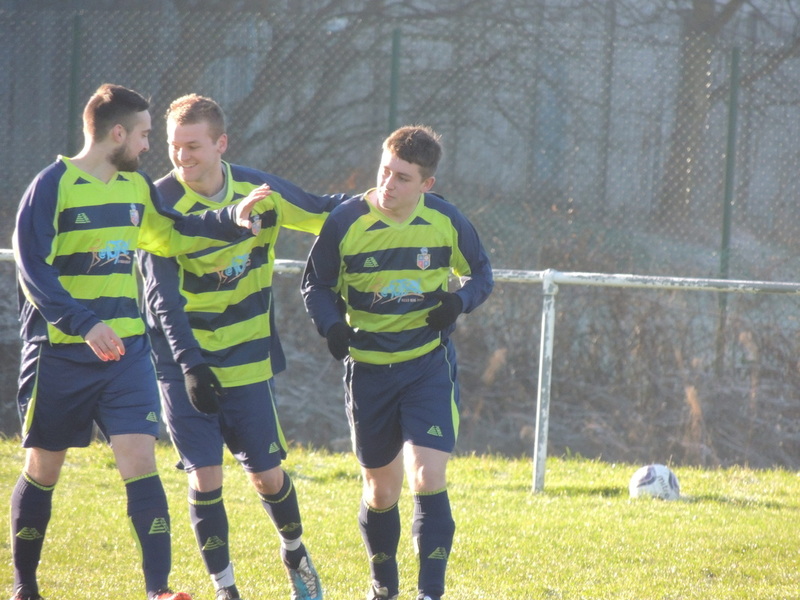 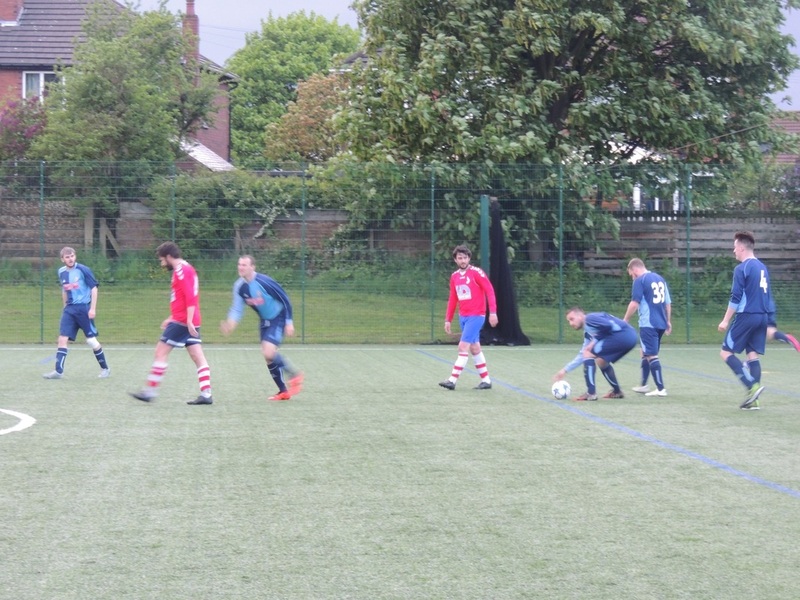 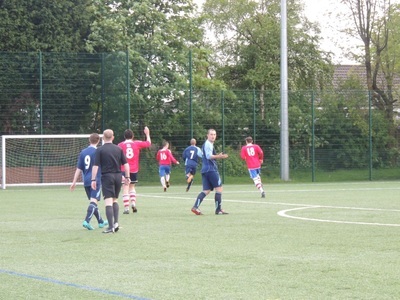 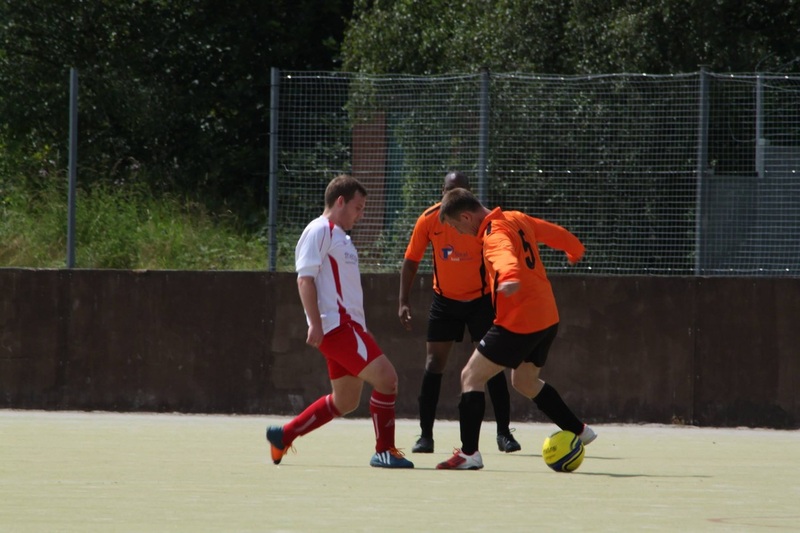 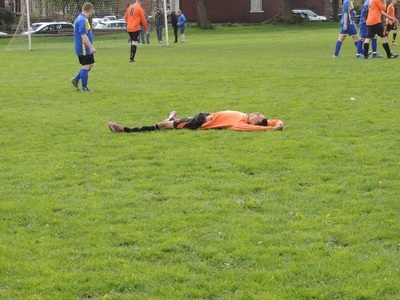 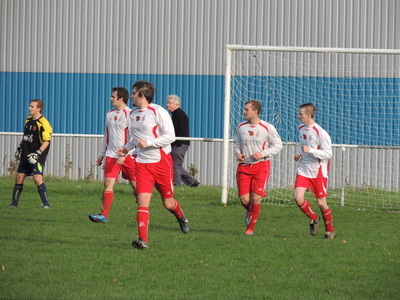 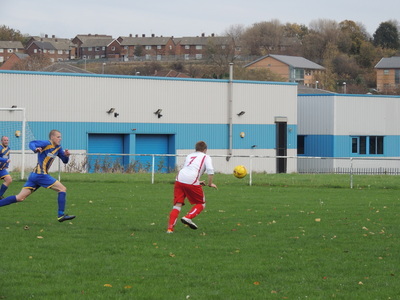 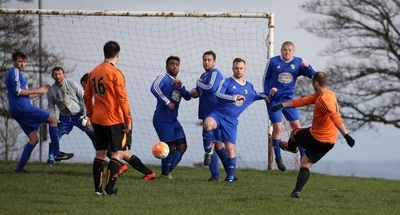 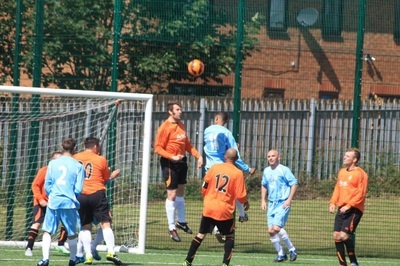 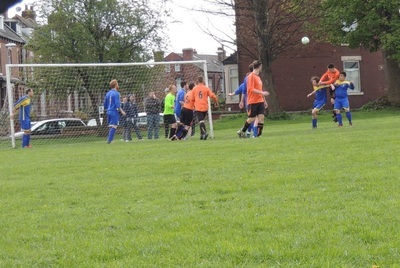 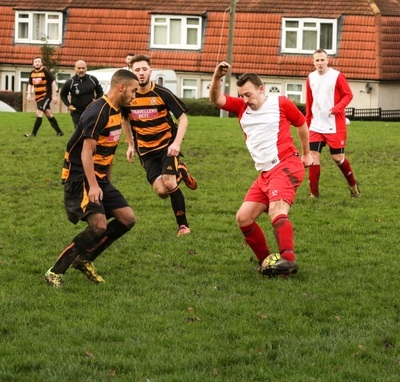 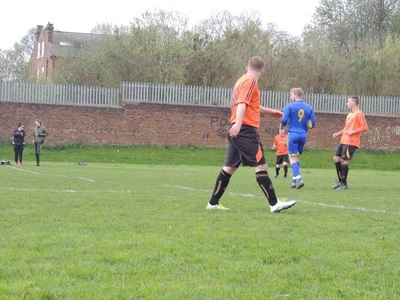 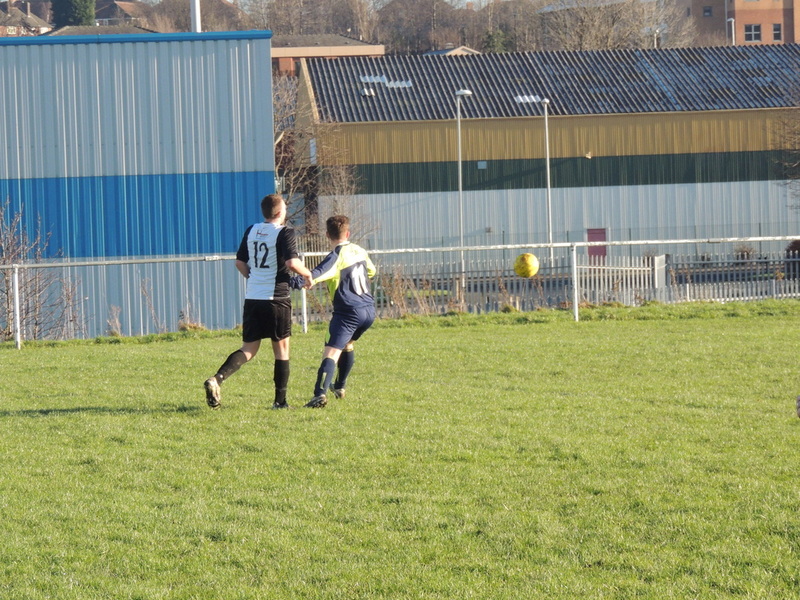 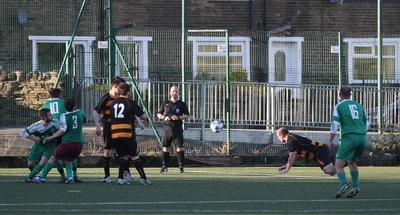 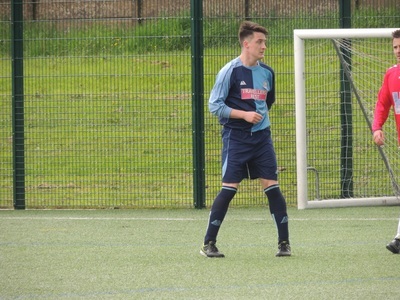 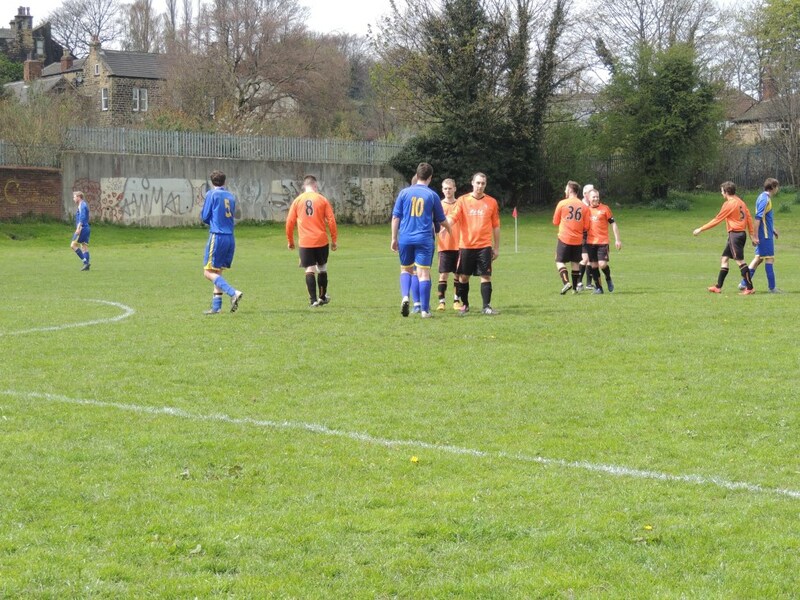 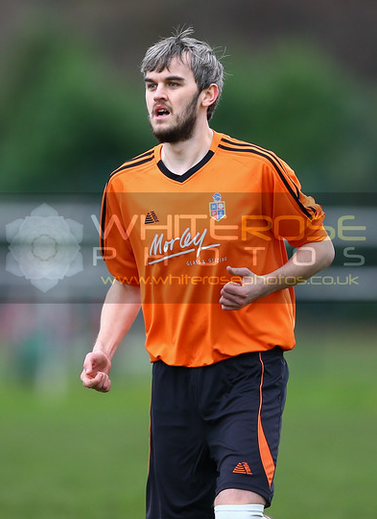 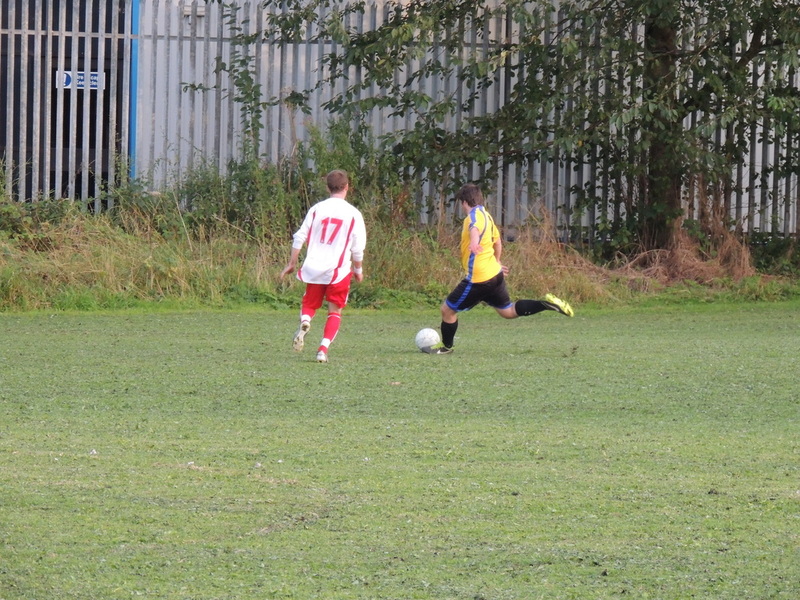 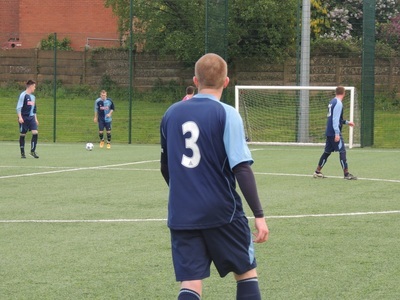 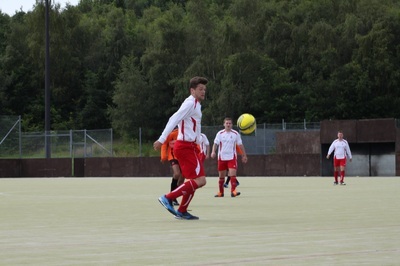 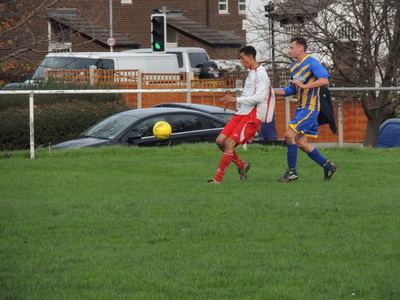 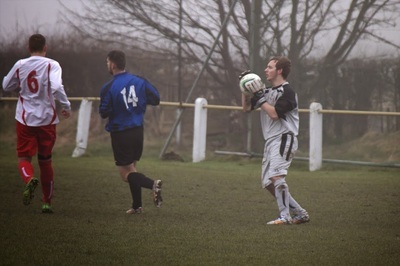 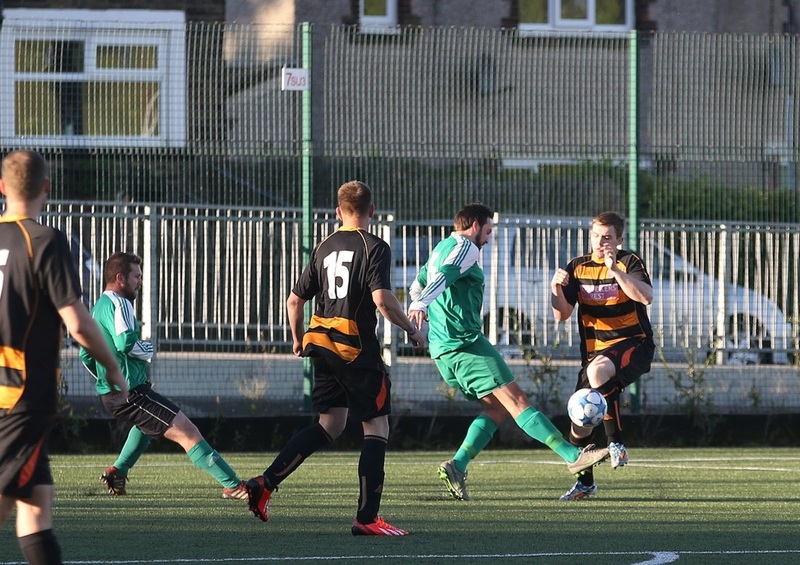 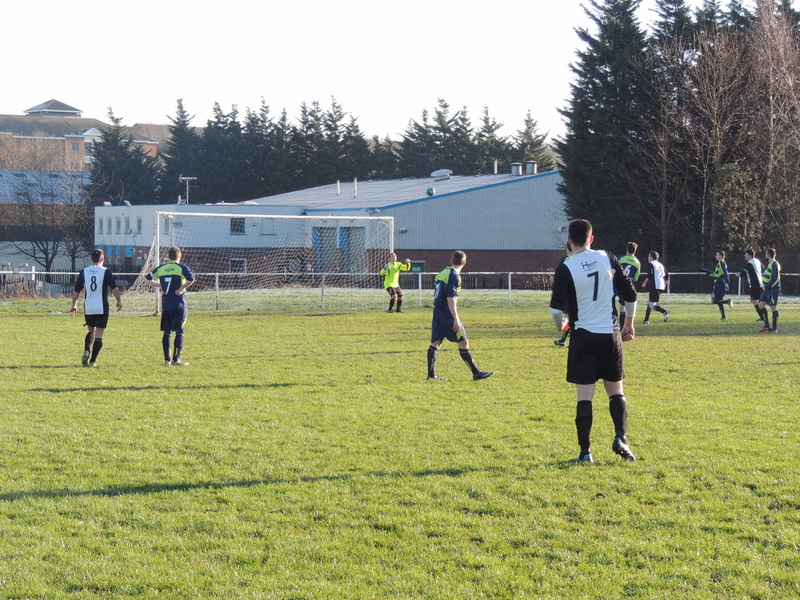 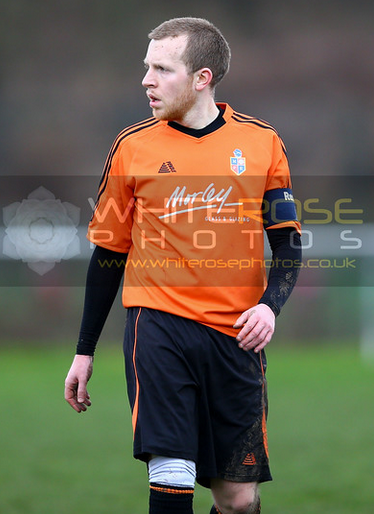 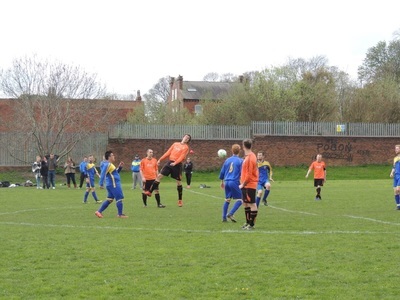 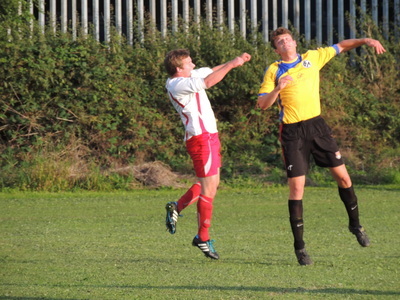 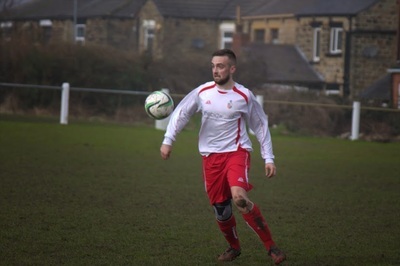 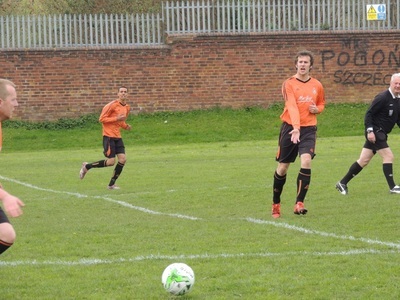 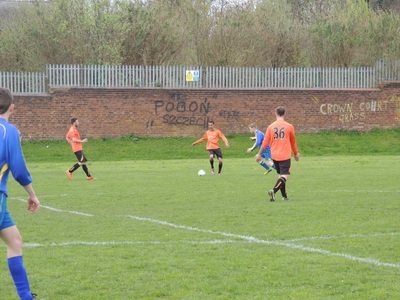 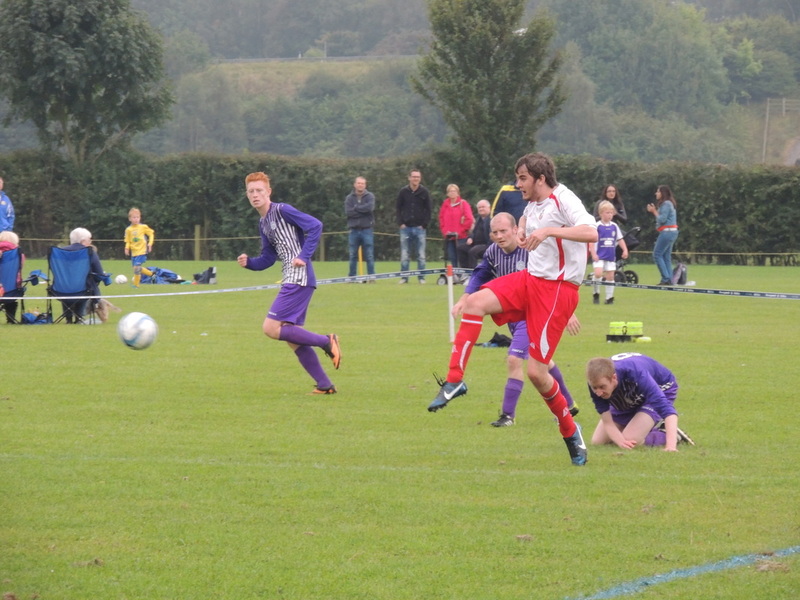 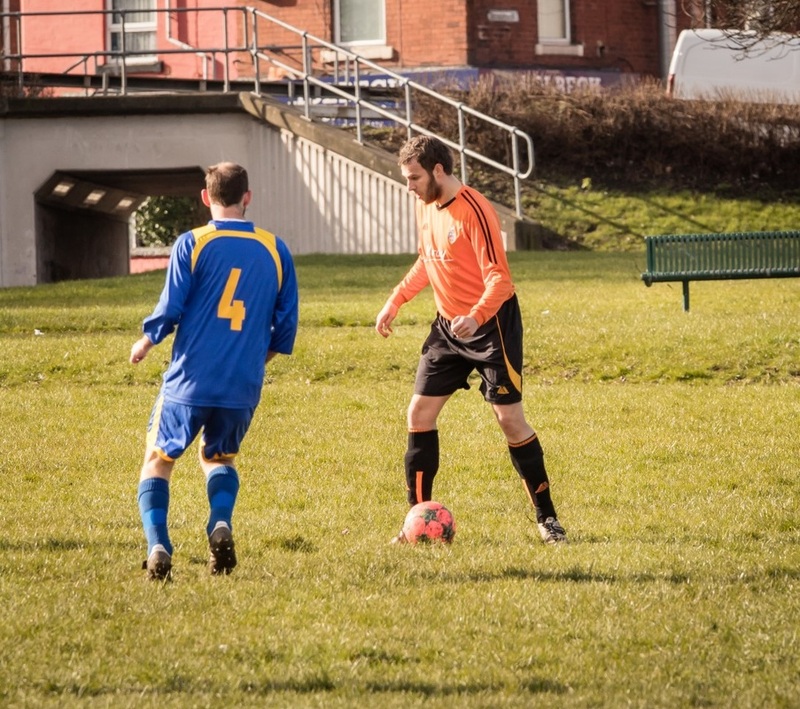 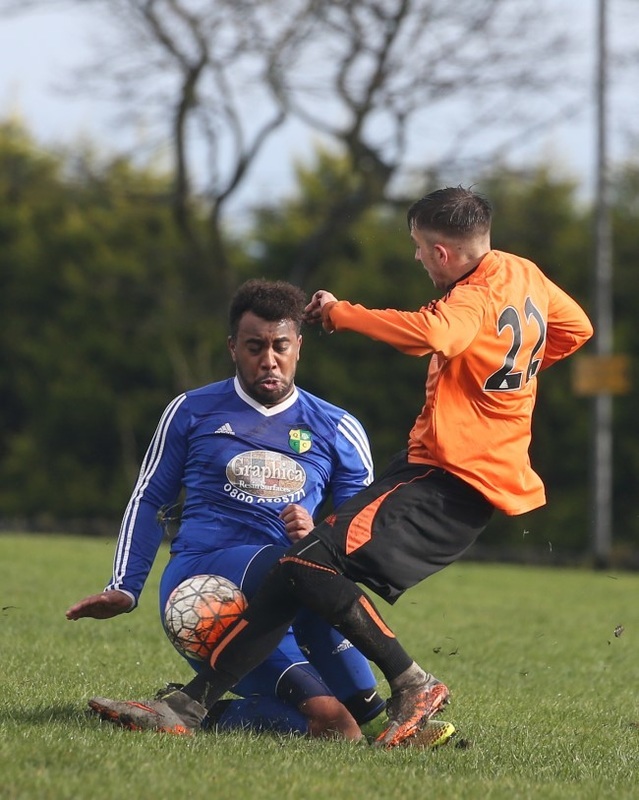 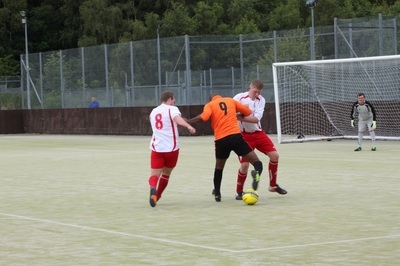 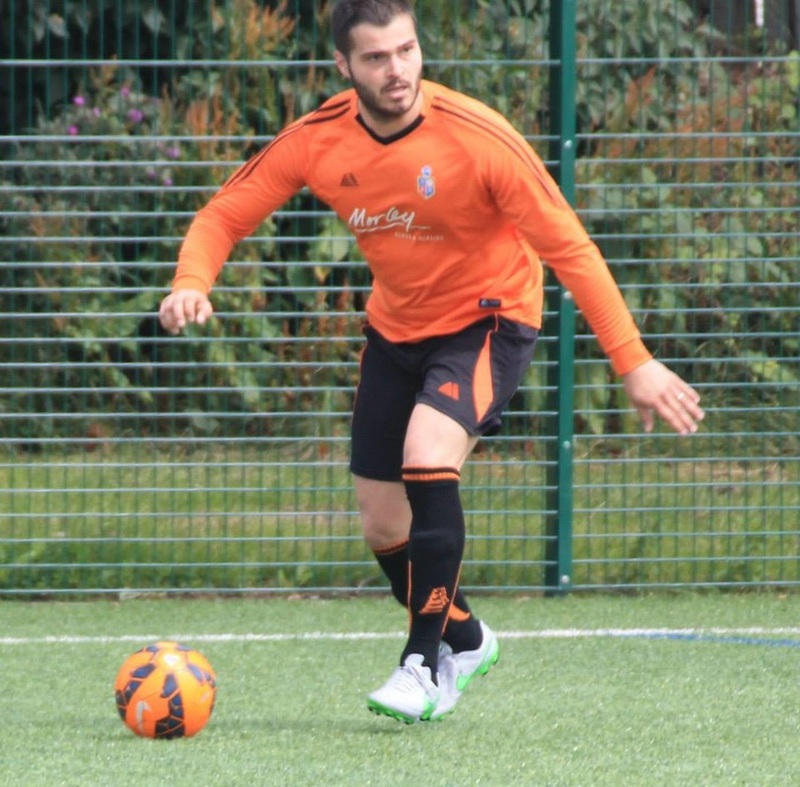 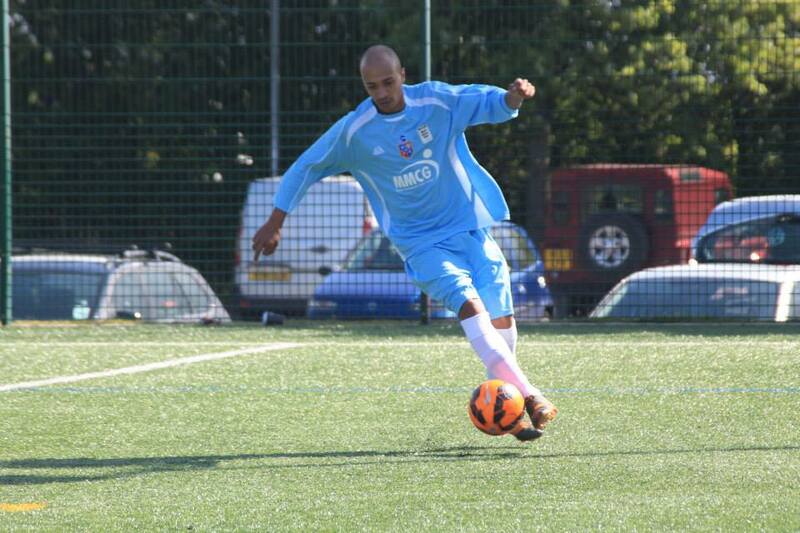 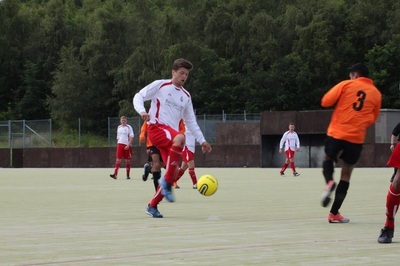 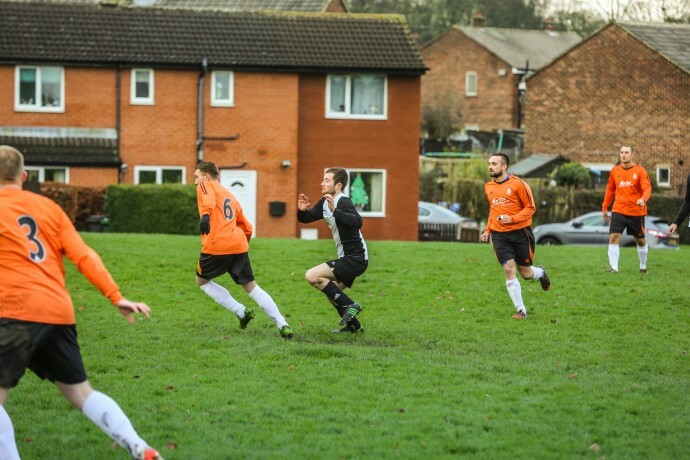 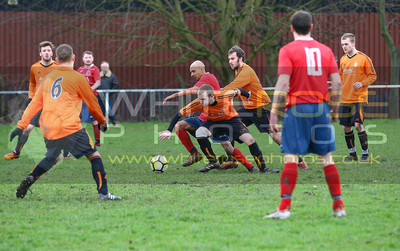 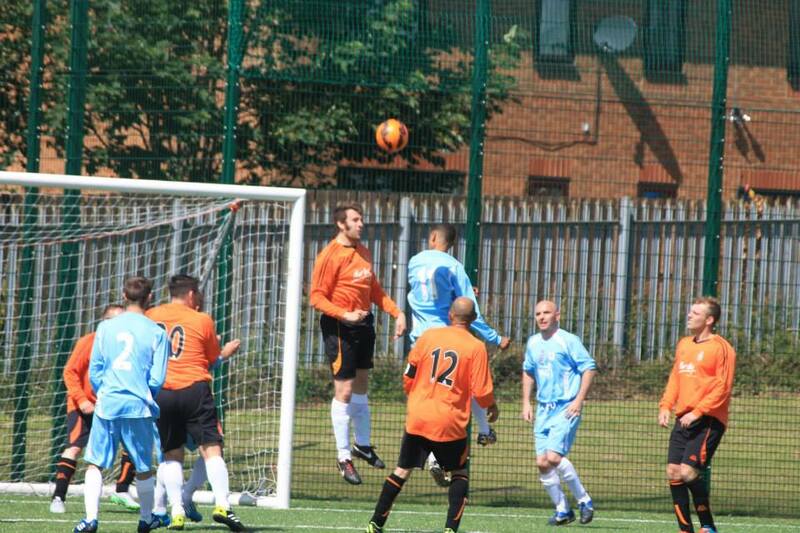 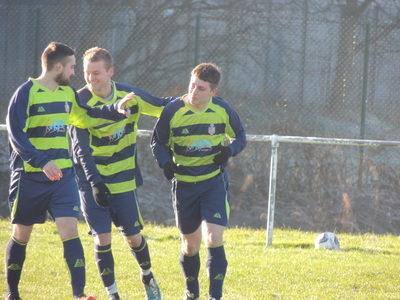 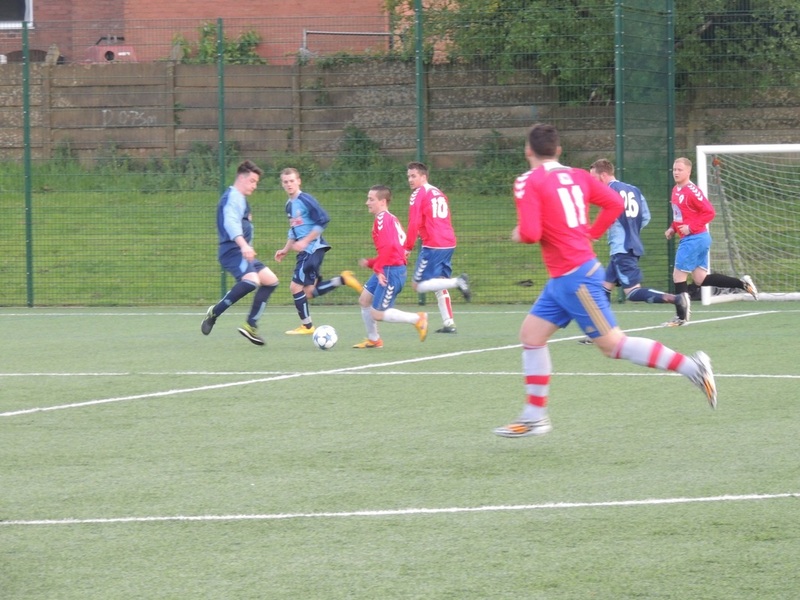 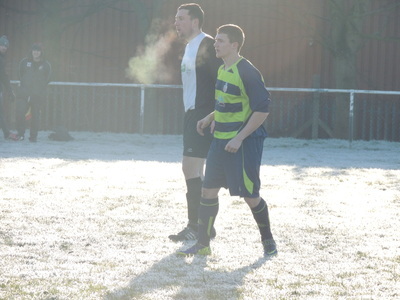 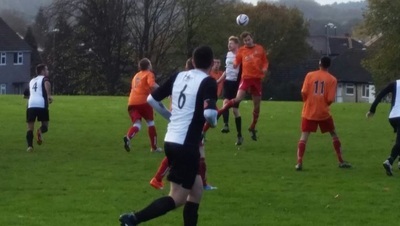 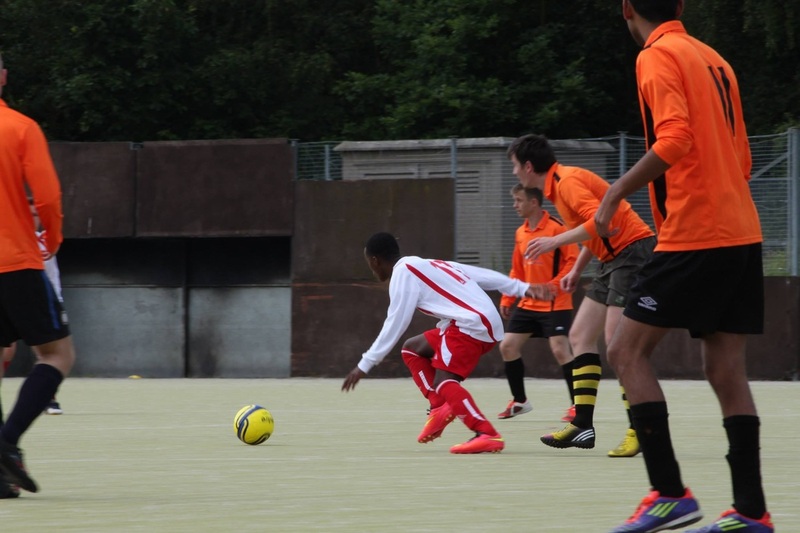 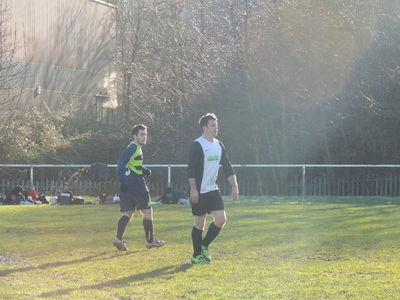 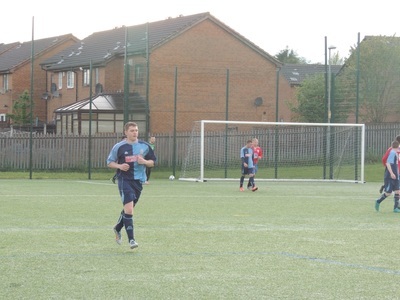 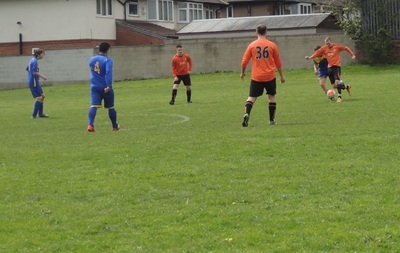 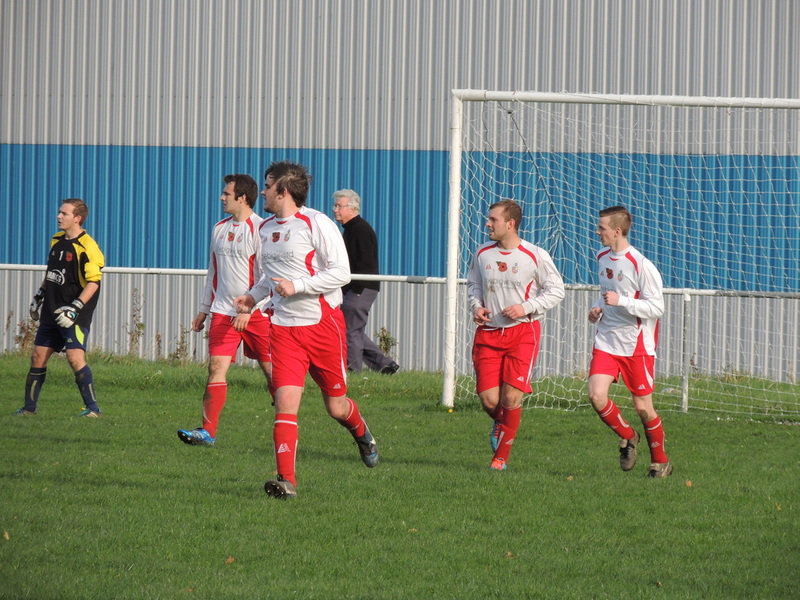 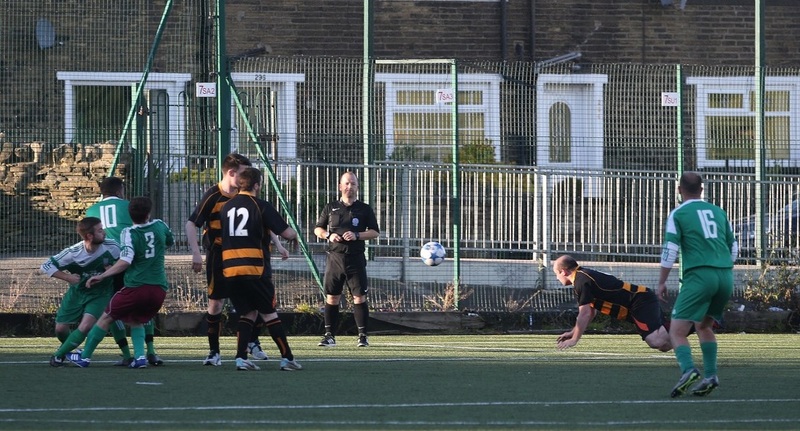 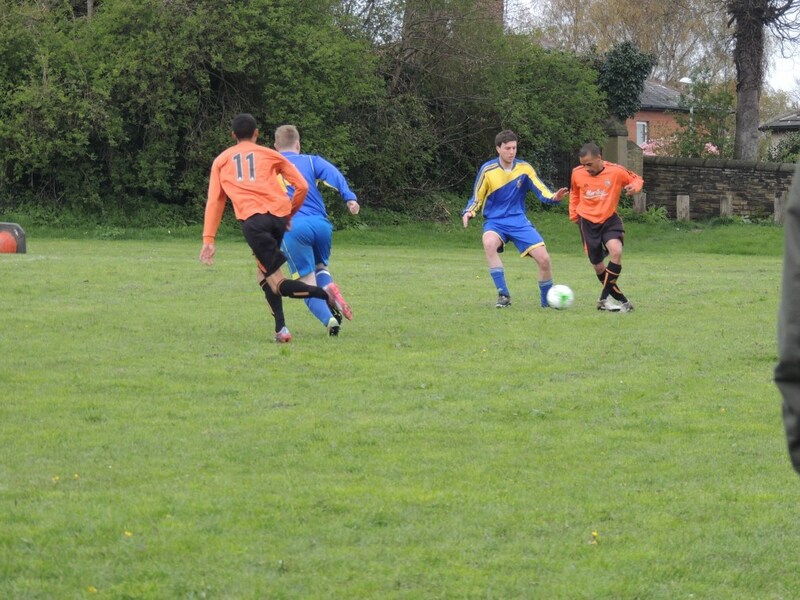 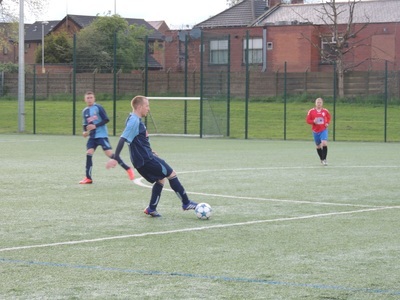 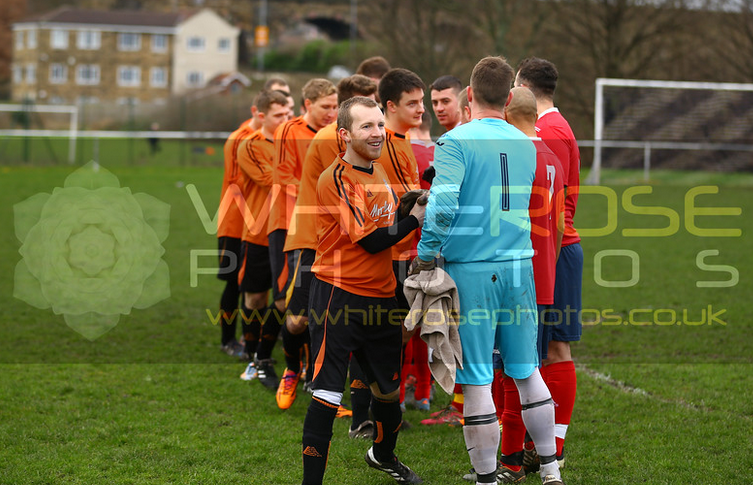 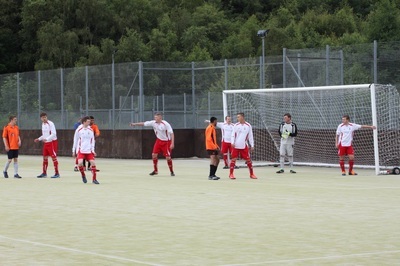 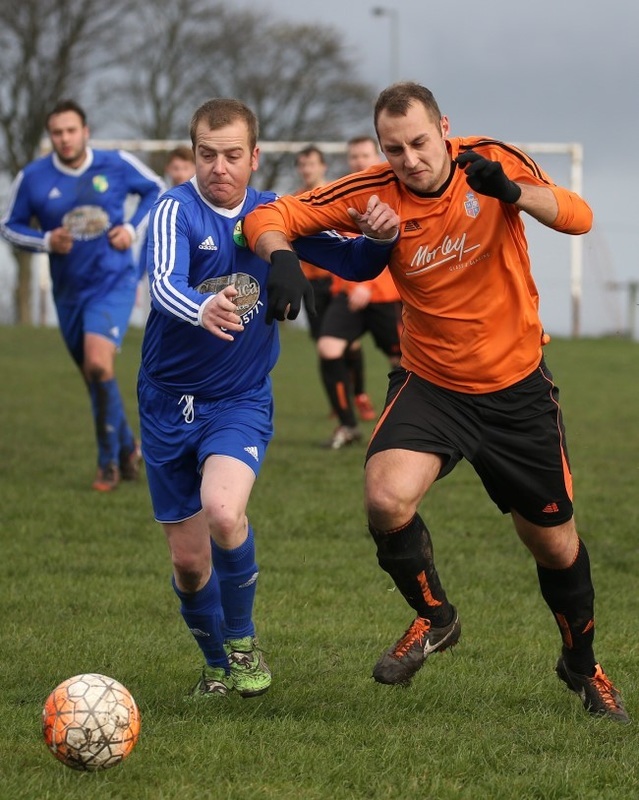 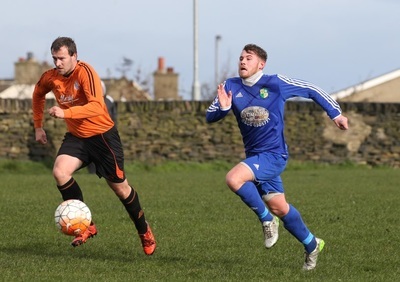 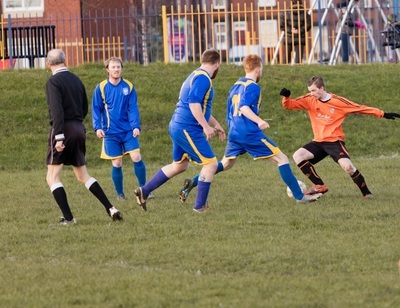 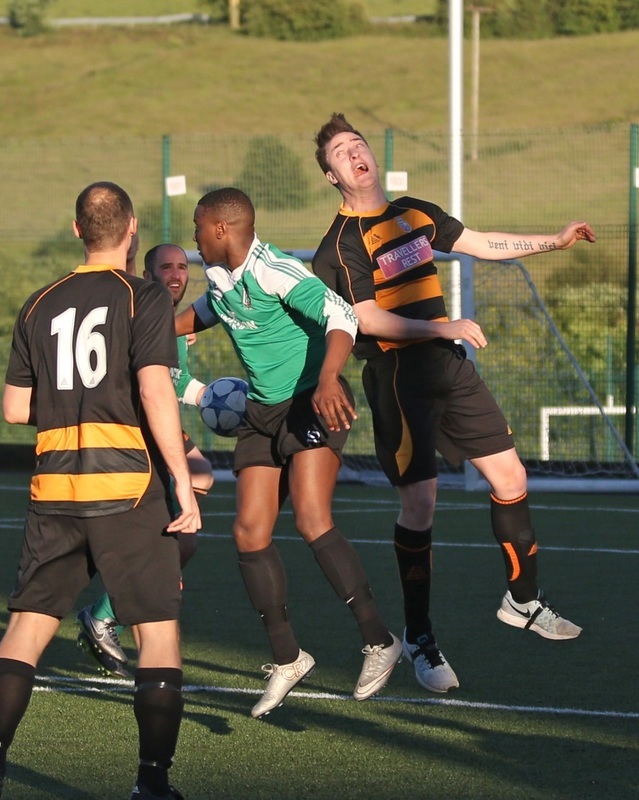 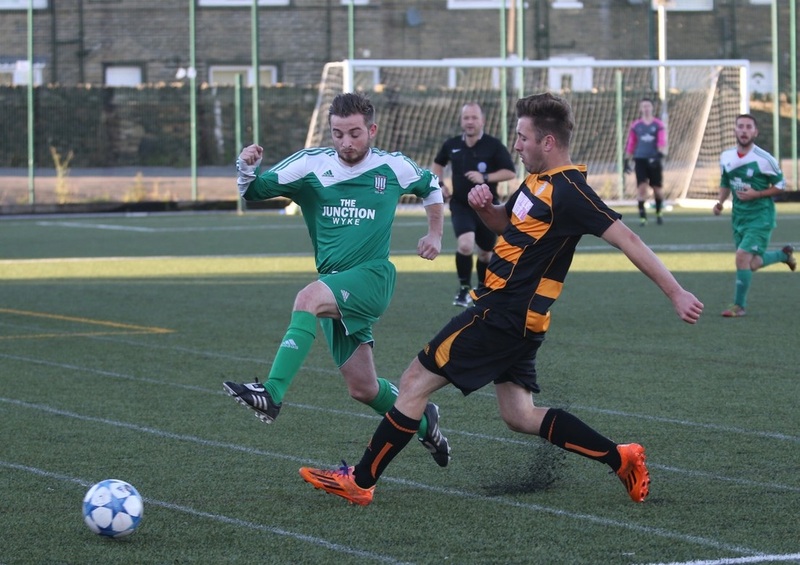 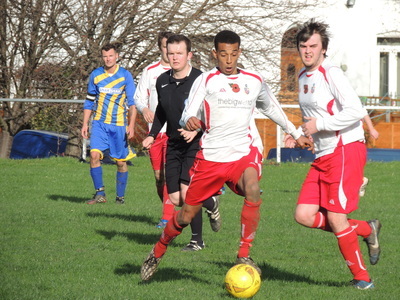 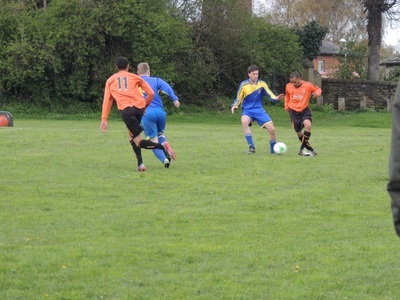 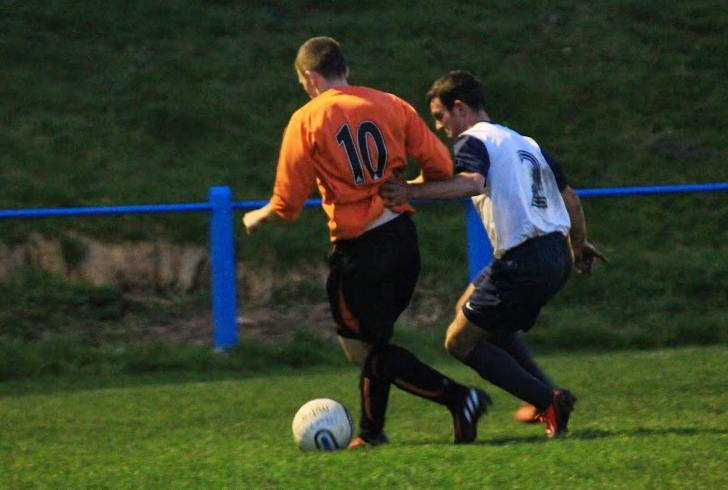 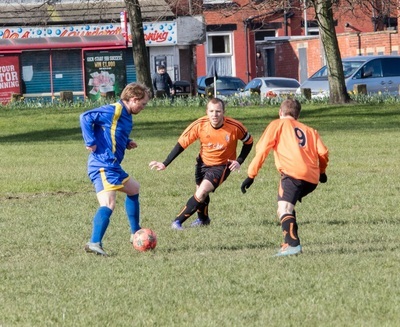 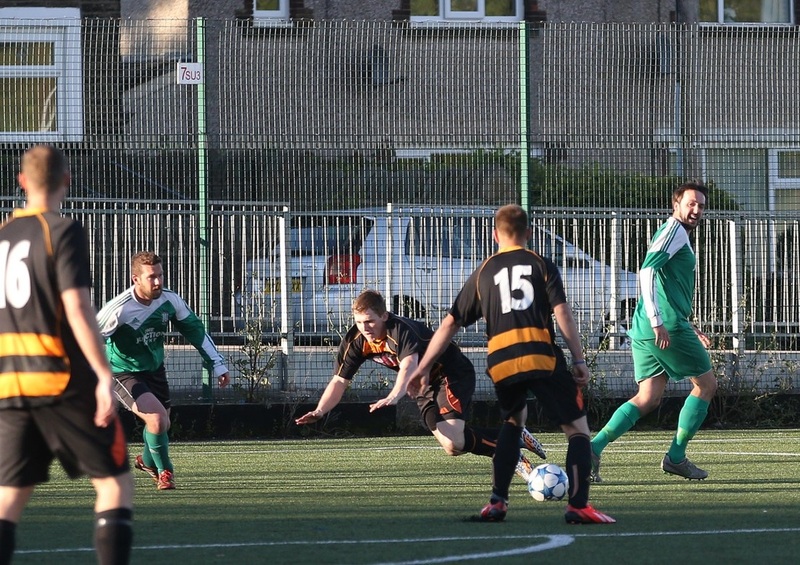 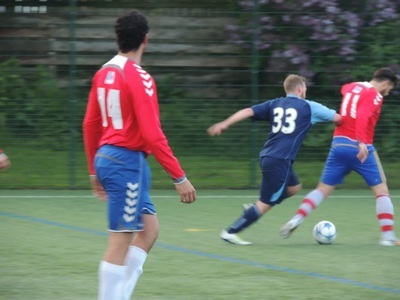 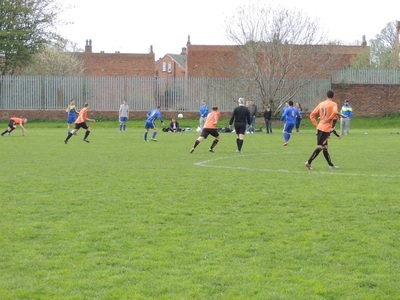 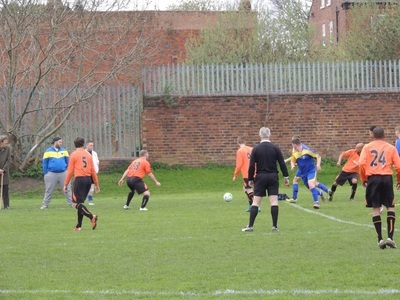 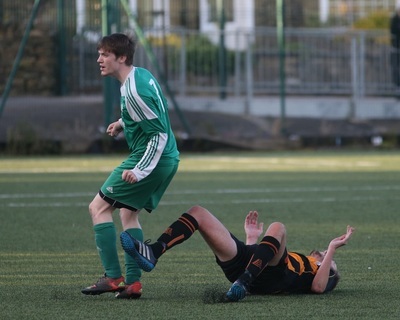 Thanks to FC West Leeds for providing photos from the firsts vs firsts / reserves vs reserves double-header. Millshaw players end a rainy training session with the crossbar challenge! 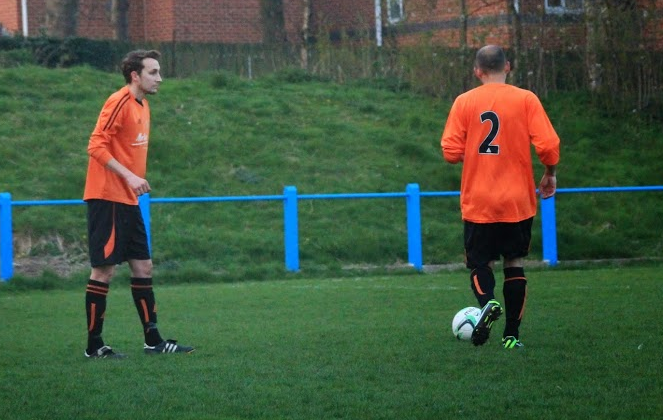 2 players hit the bar: check out the good, the bad and the ugly from this season's efforts. 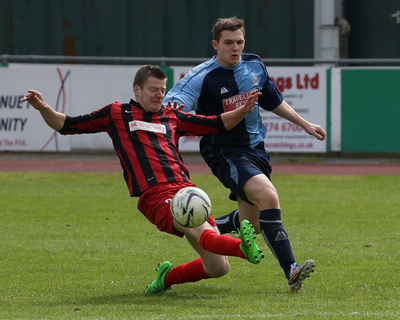 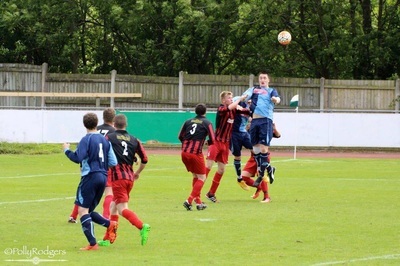 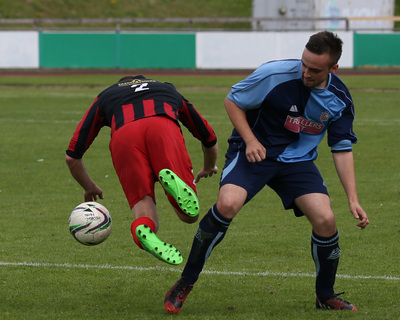 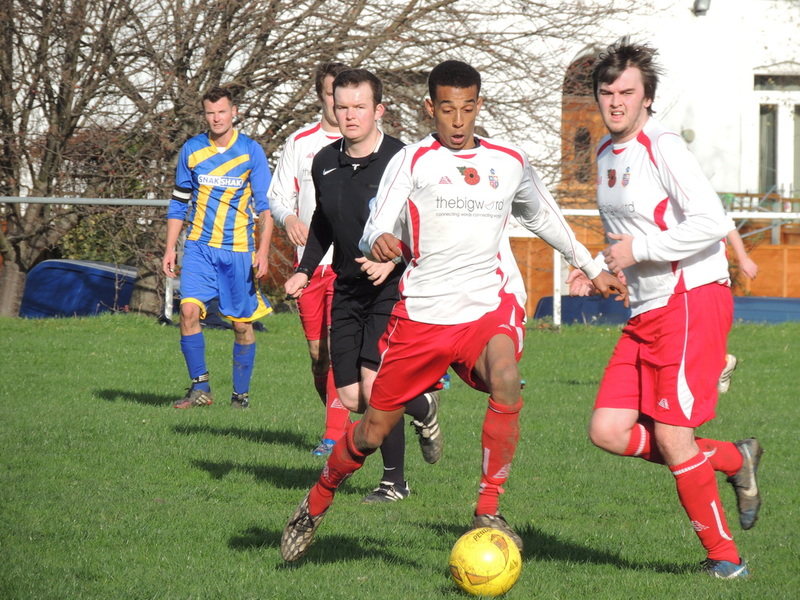 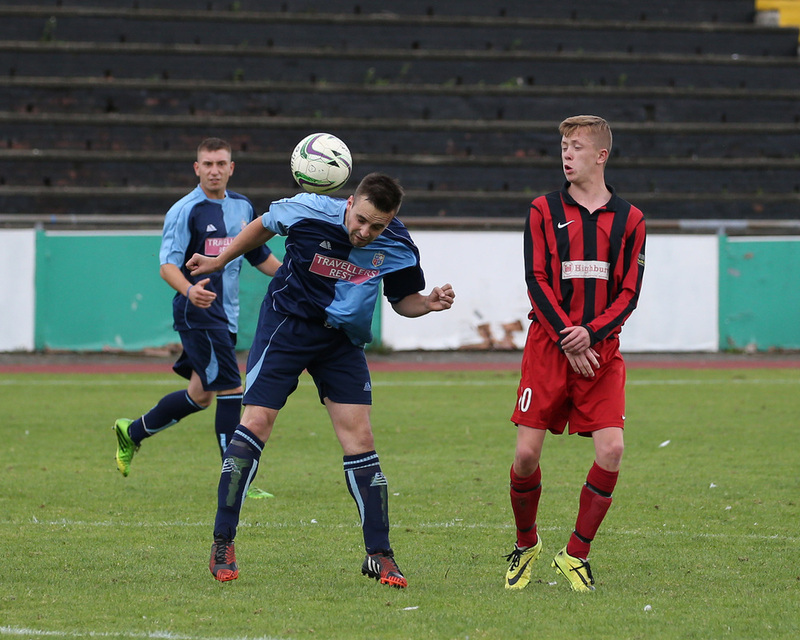 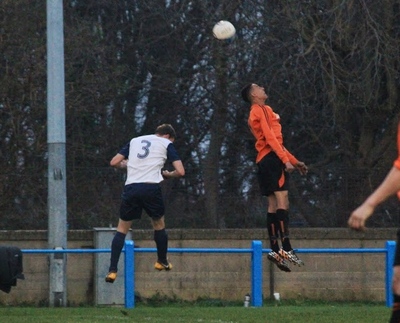 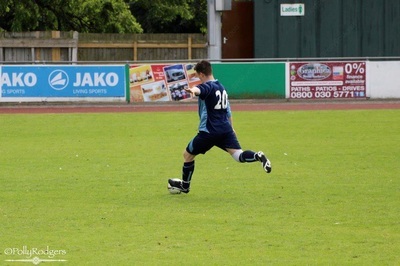 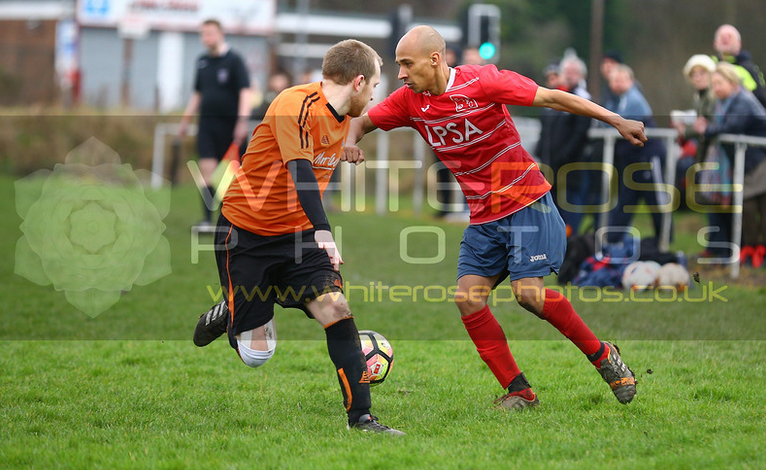 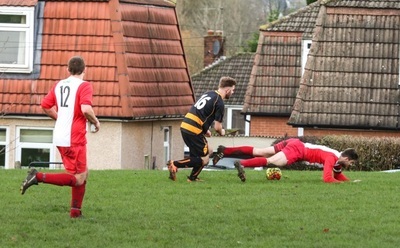 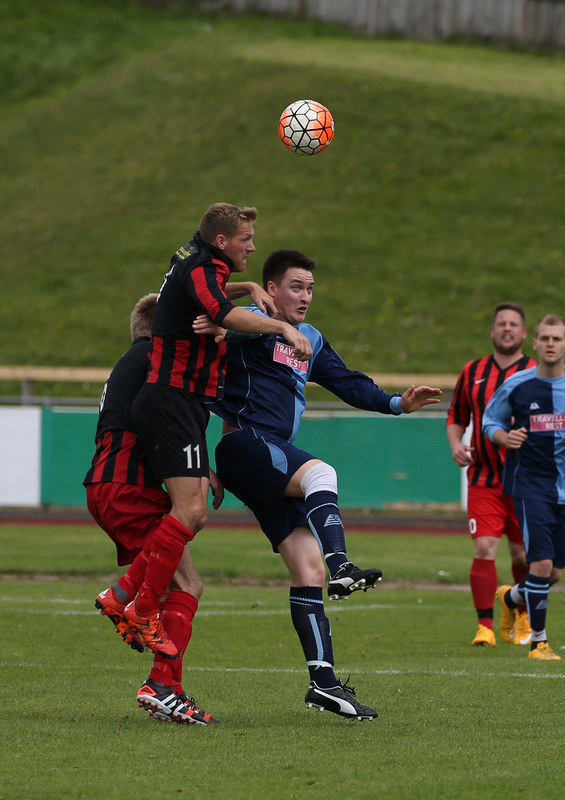 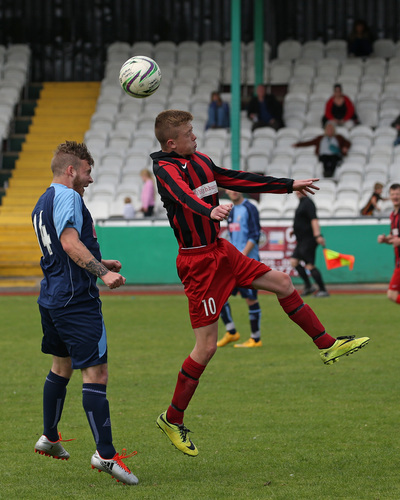 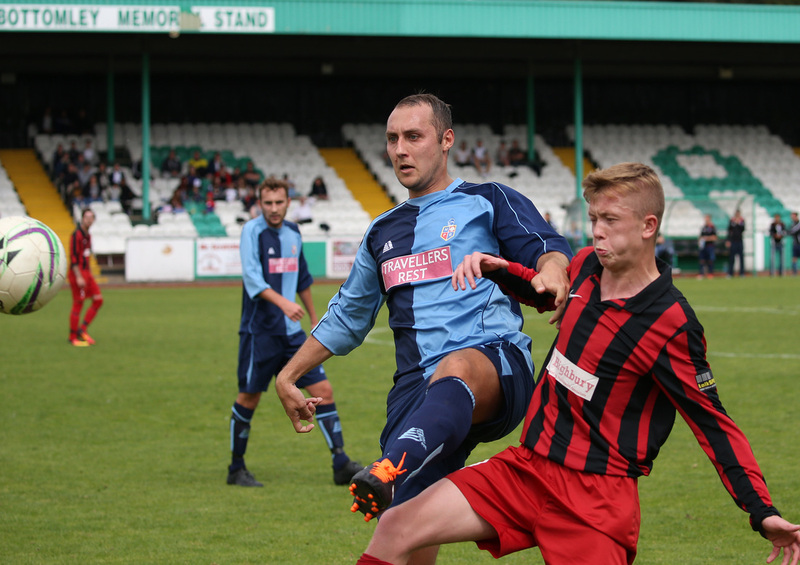 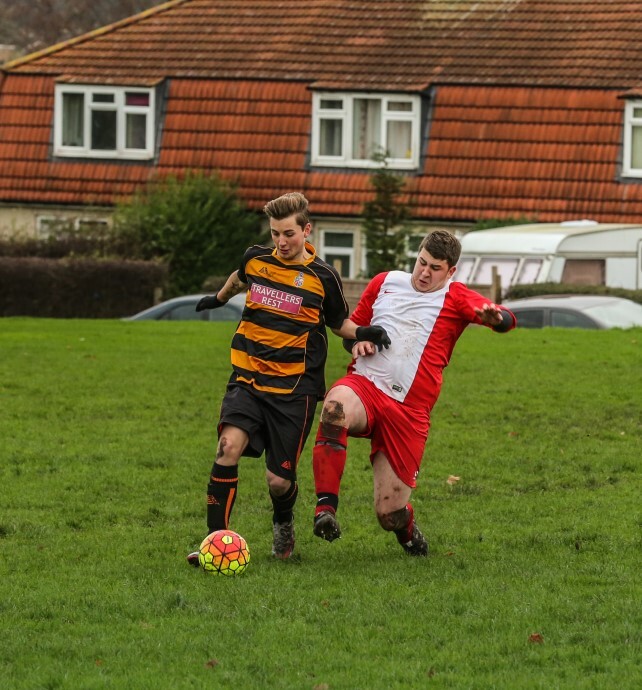 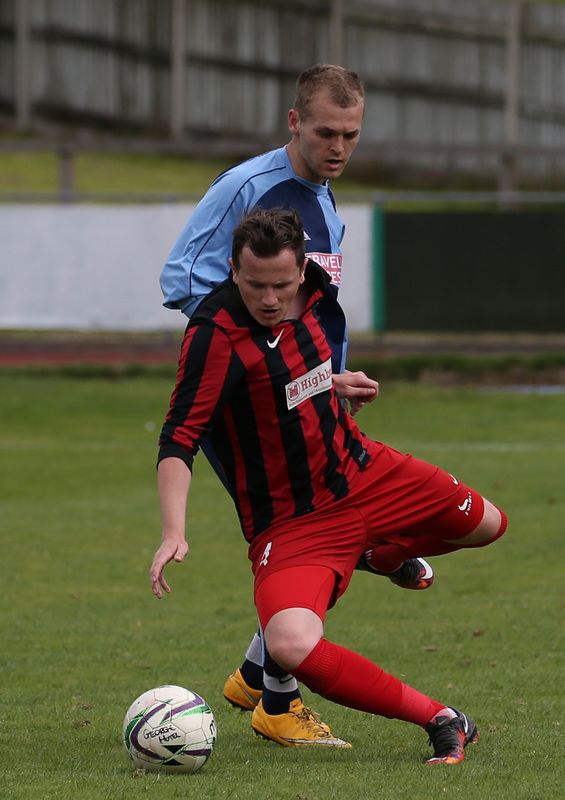 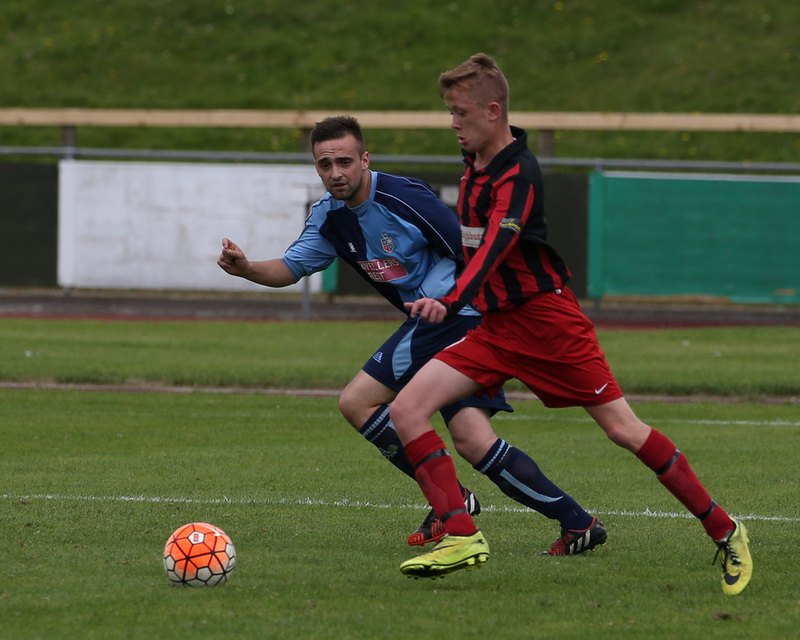 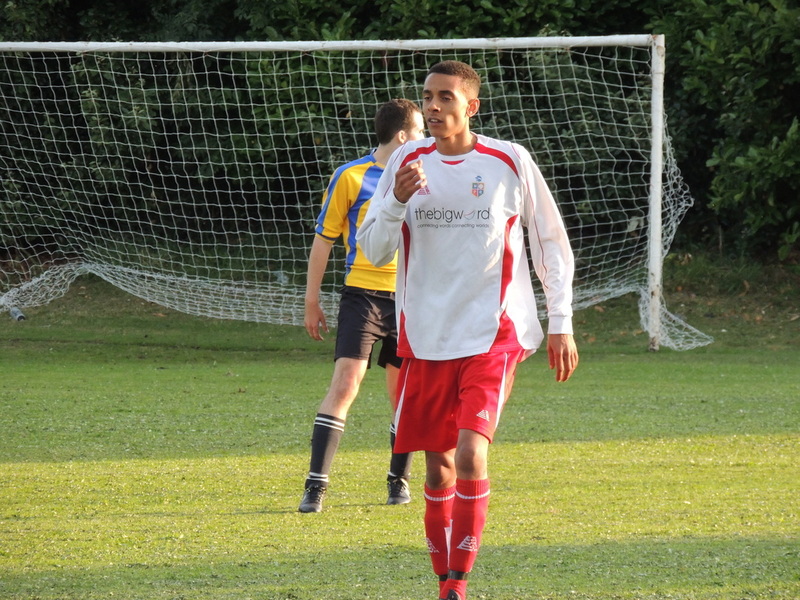 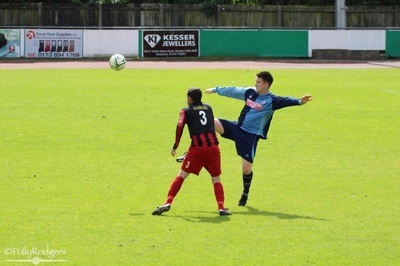 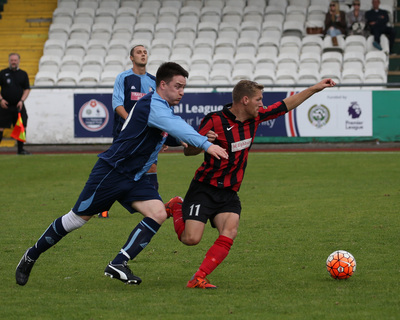 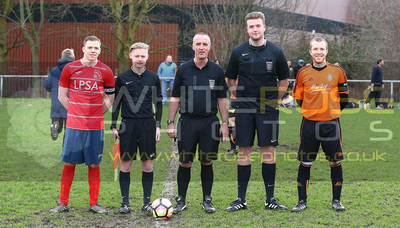 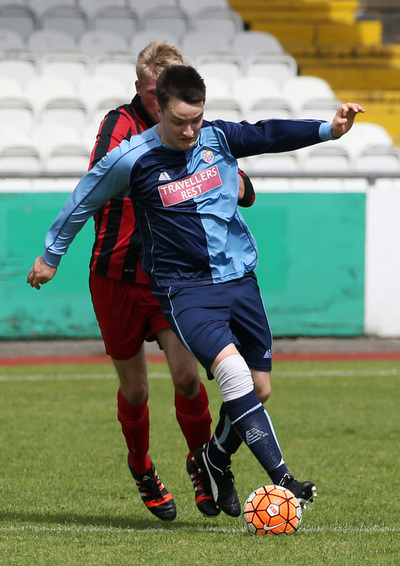 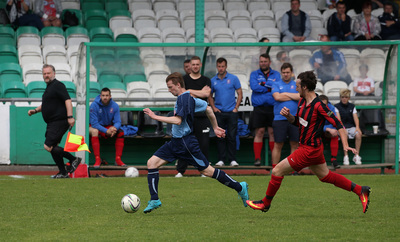 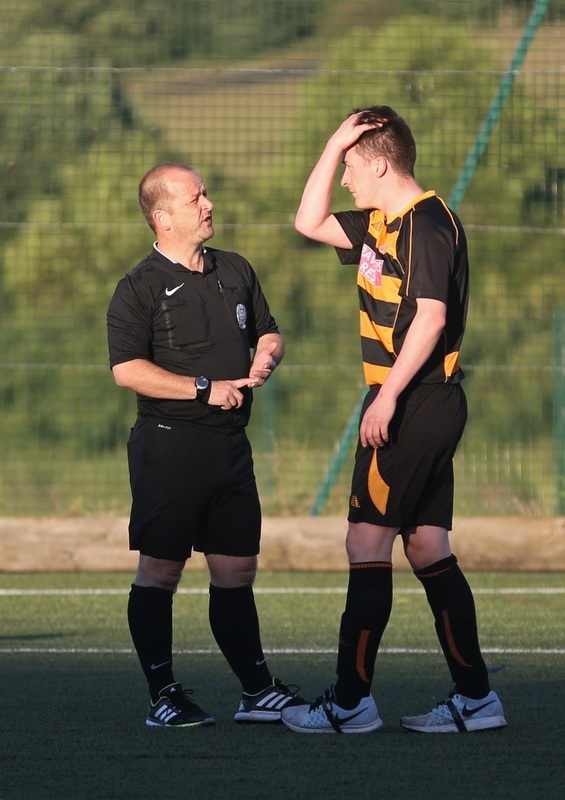 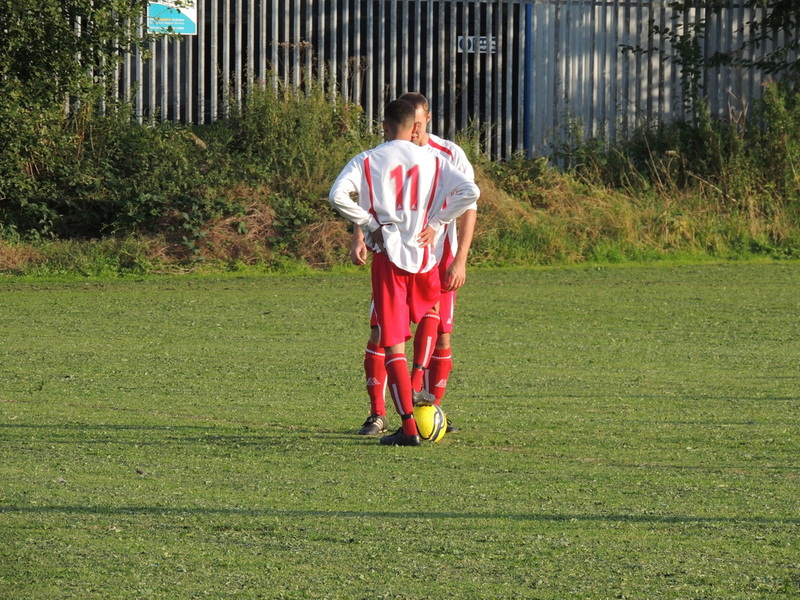 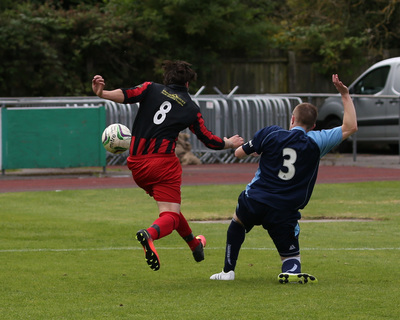 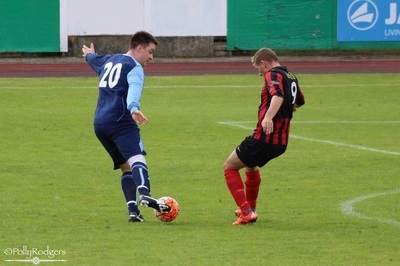 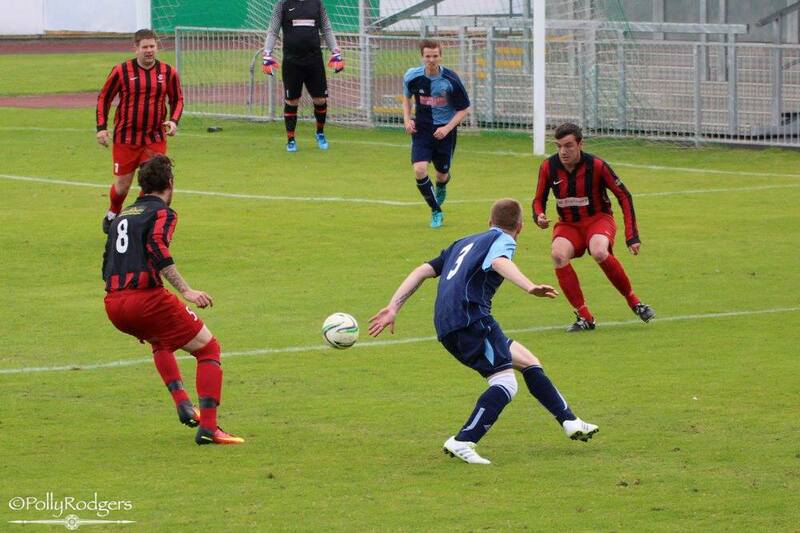 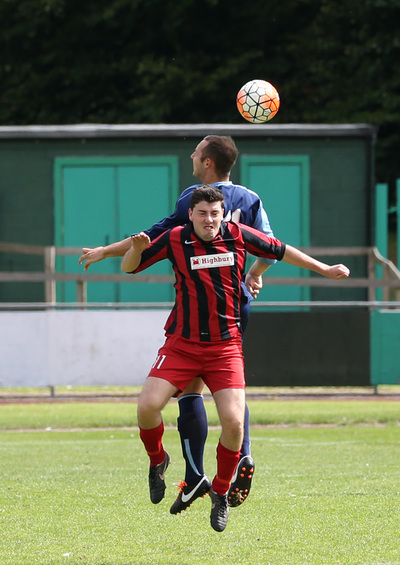 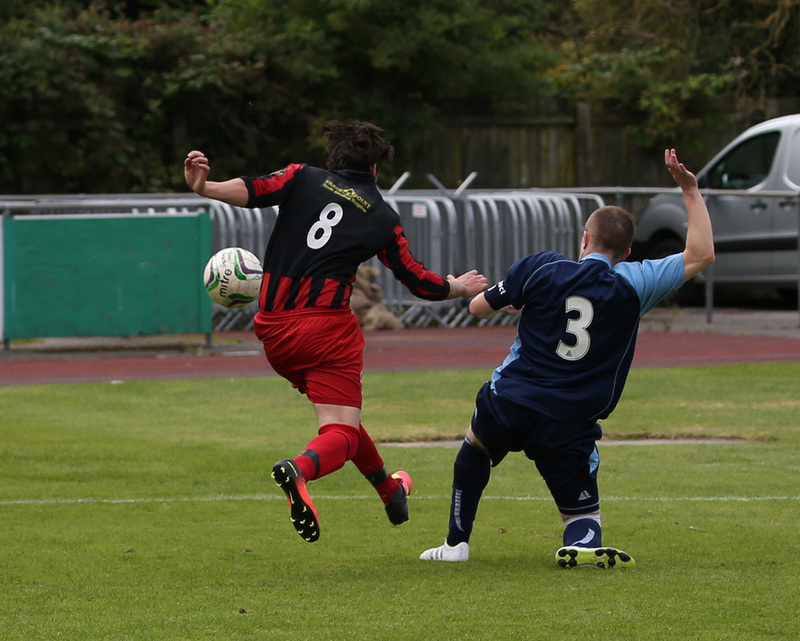 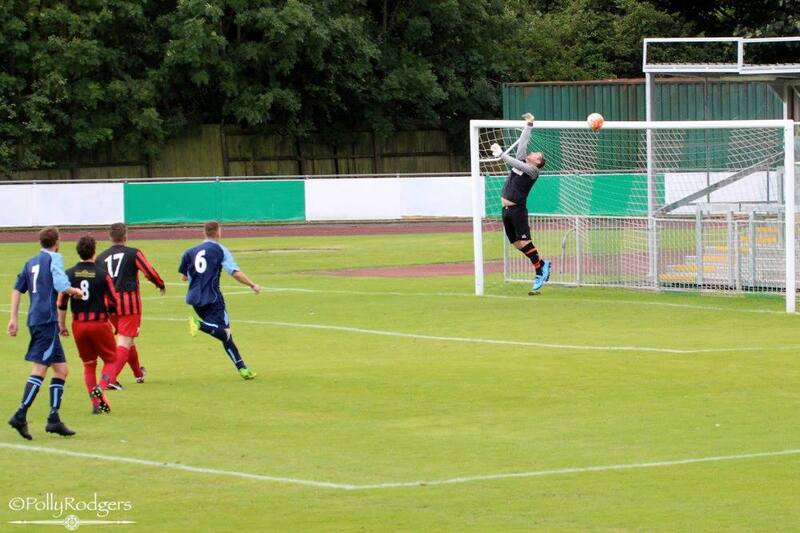 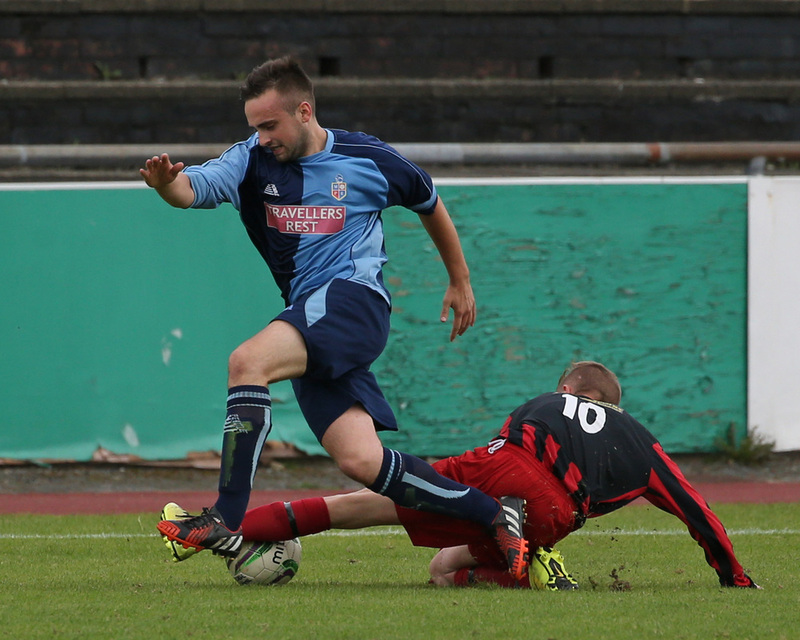 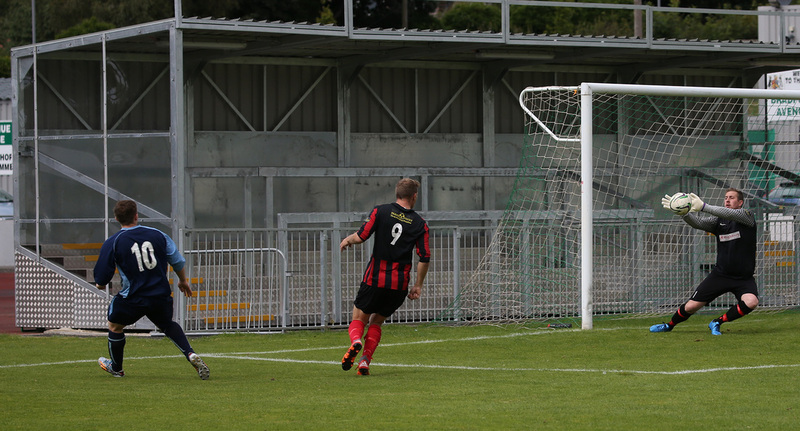 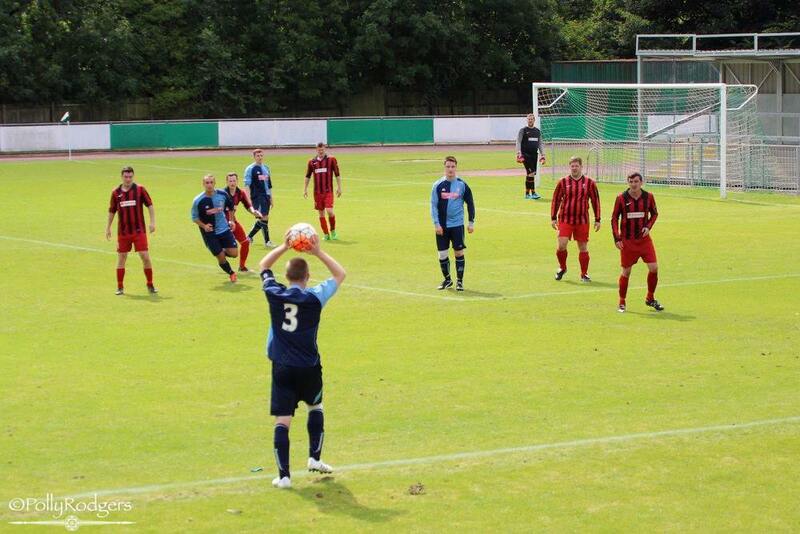 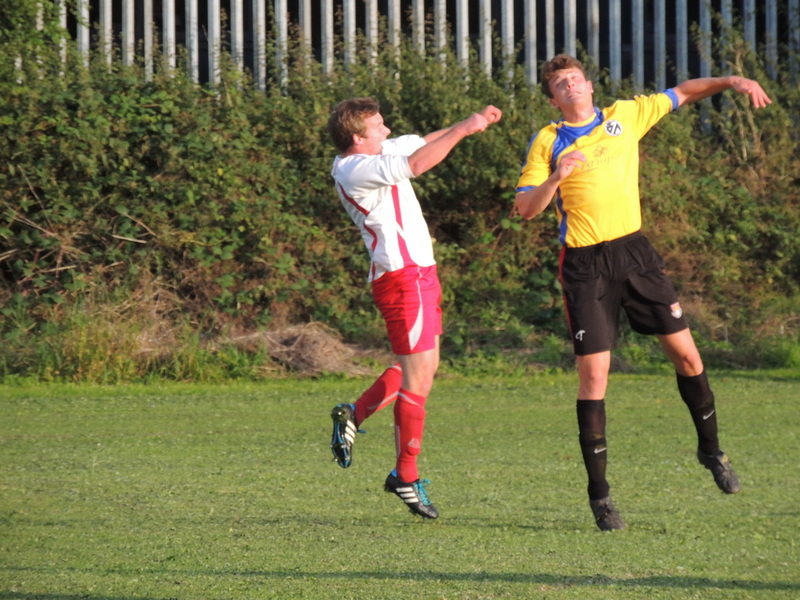 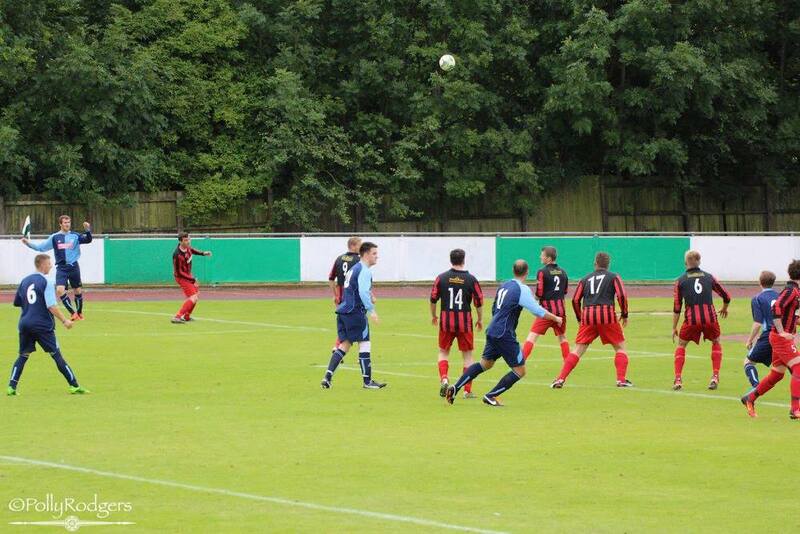 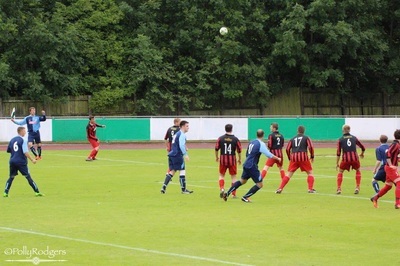 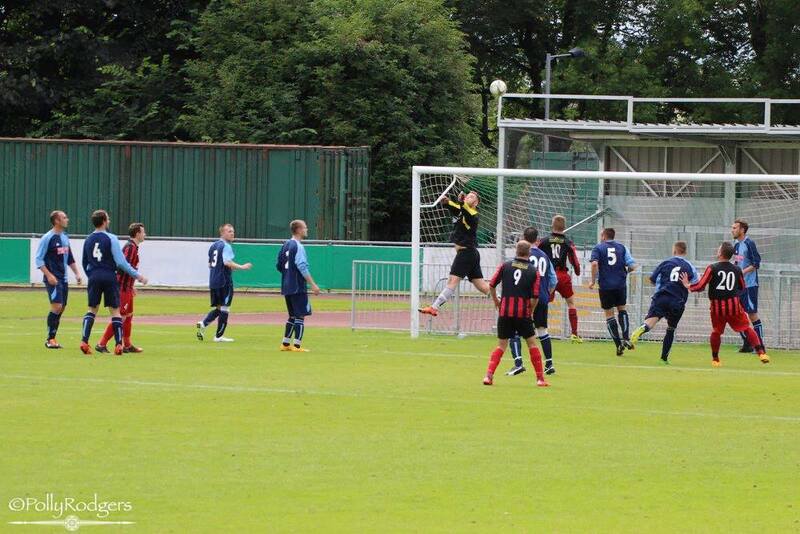 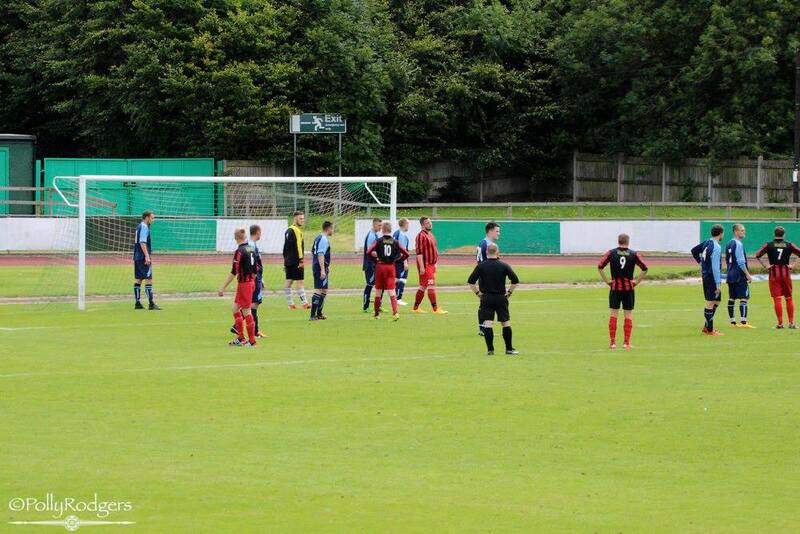 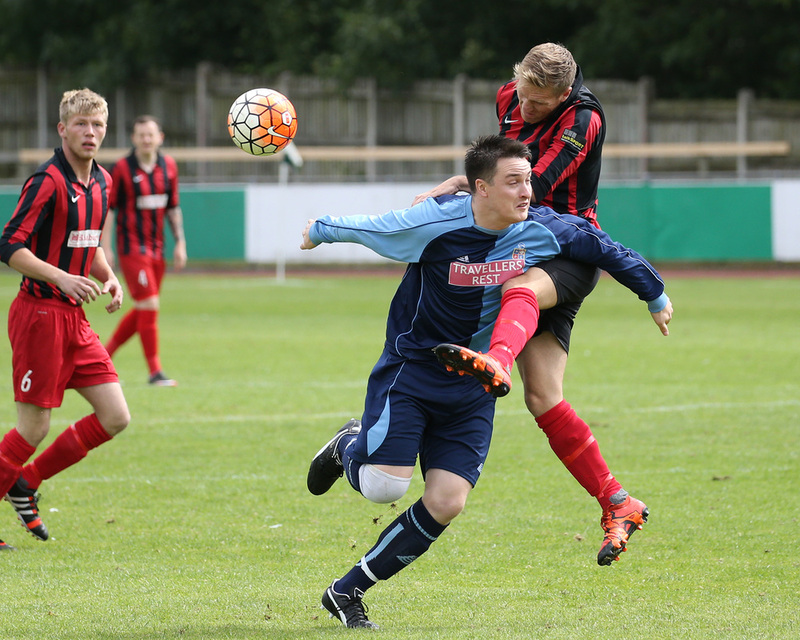 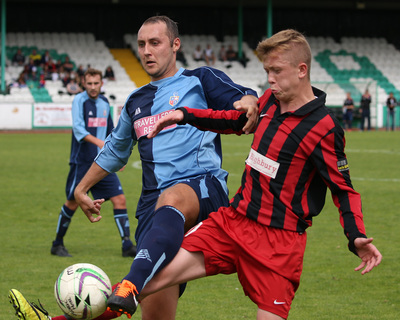 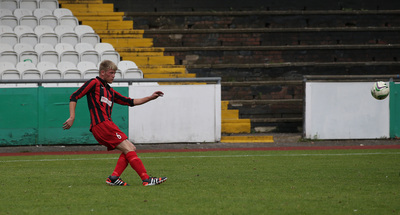 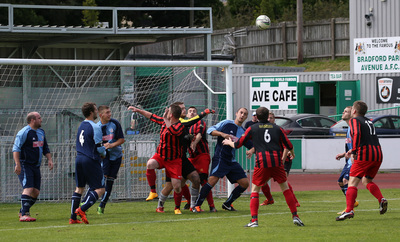 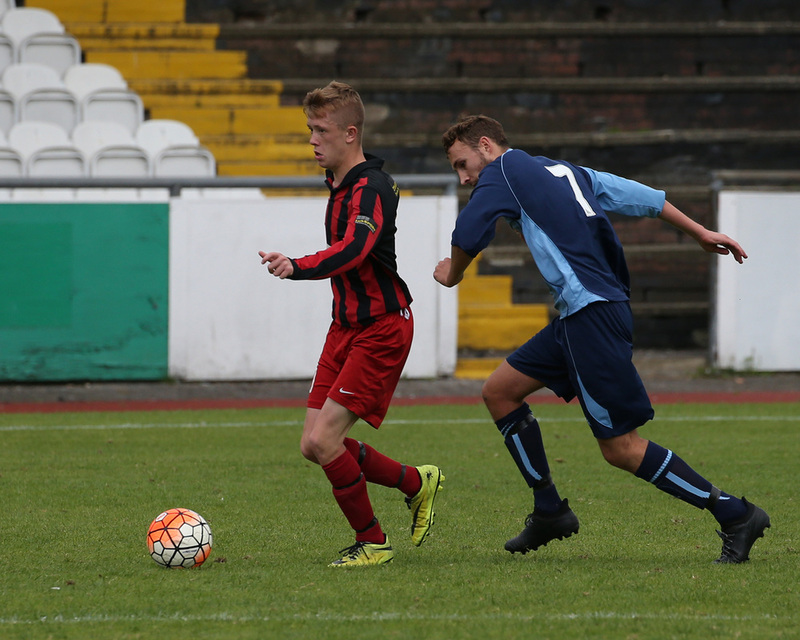 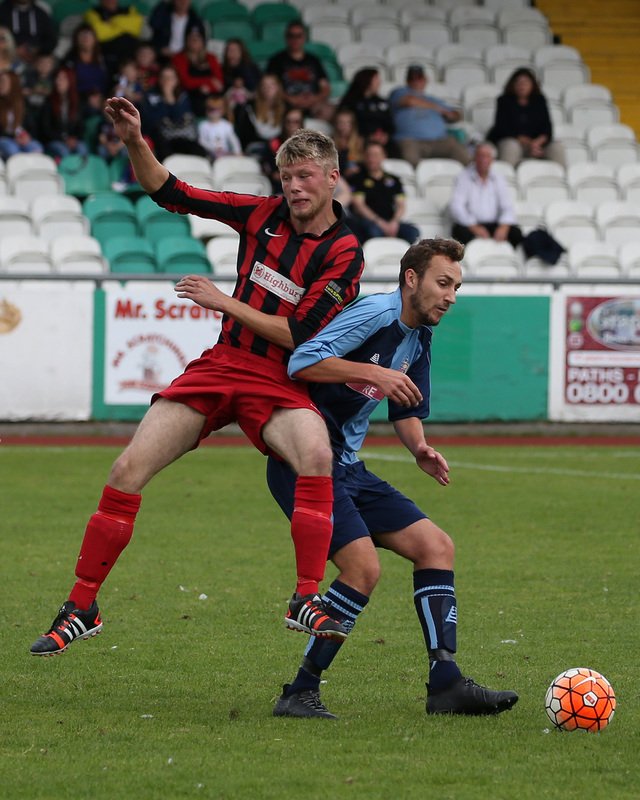 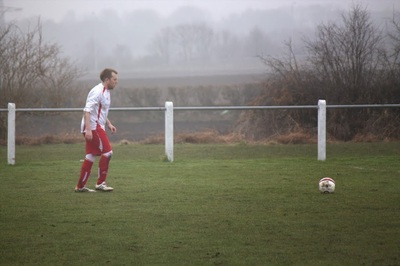 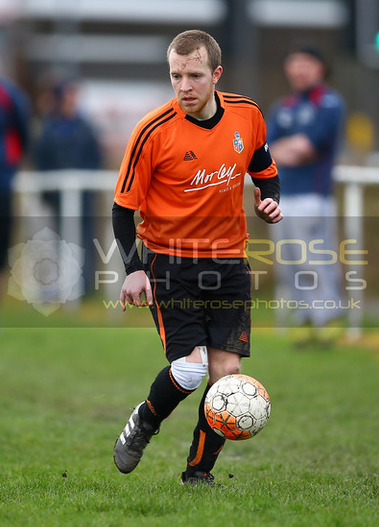 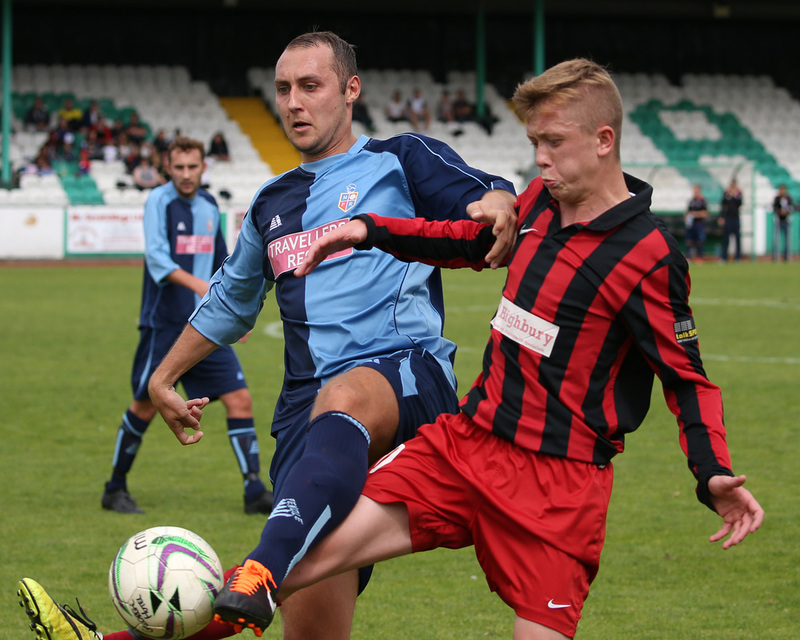 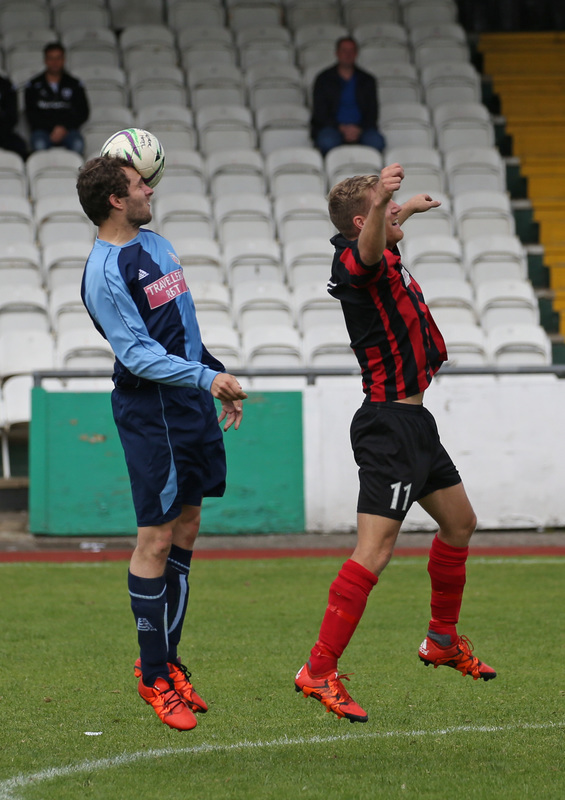 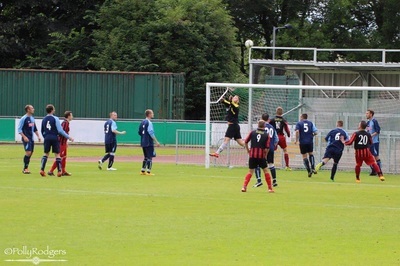 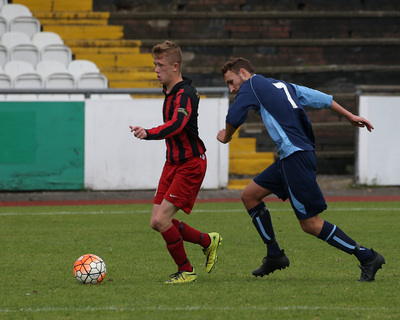 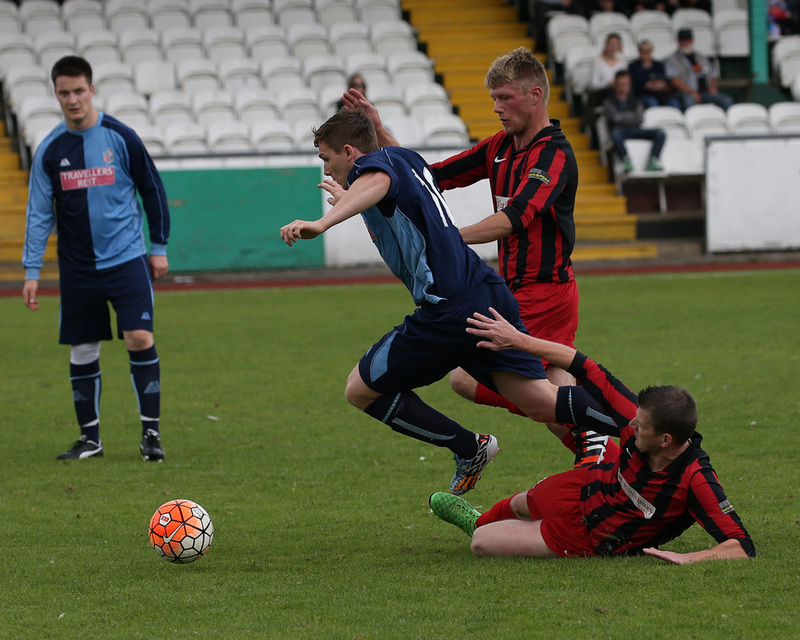 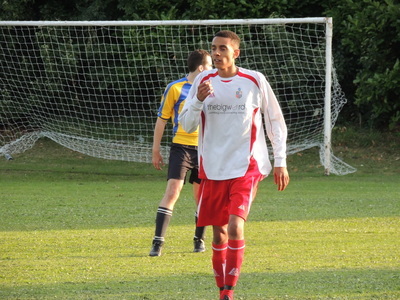 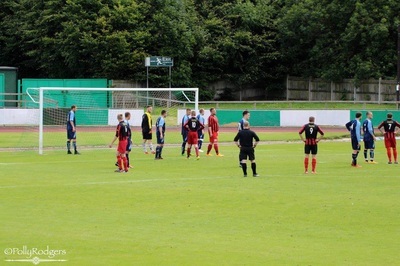 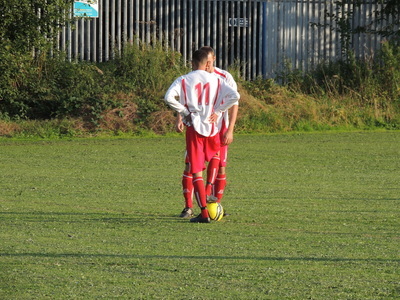 Thanks to Dan White (Dan White Photography) for the photos of our game between the first team and reserves. 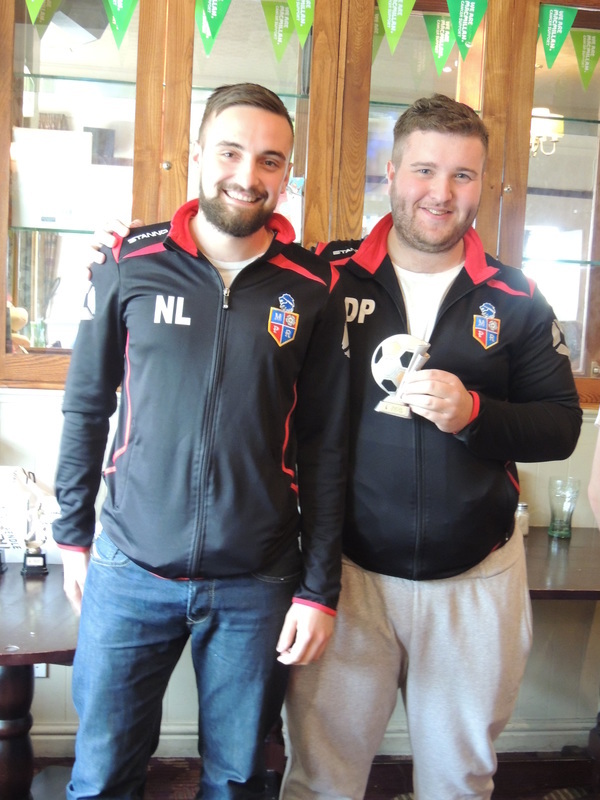 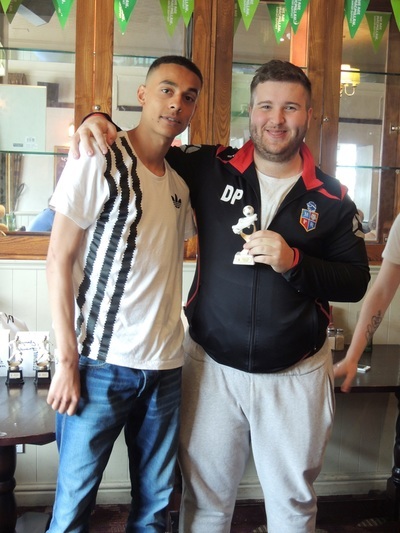 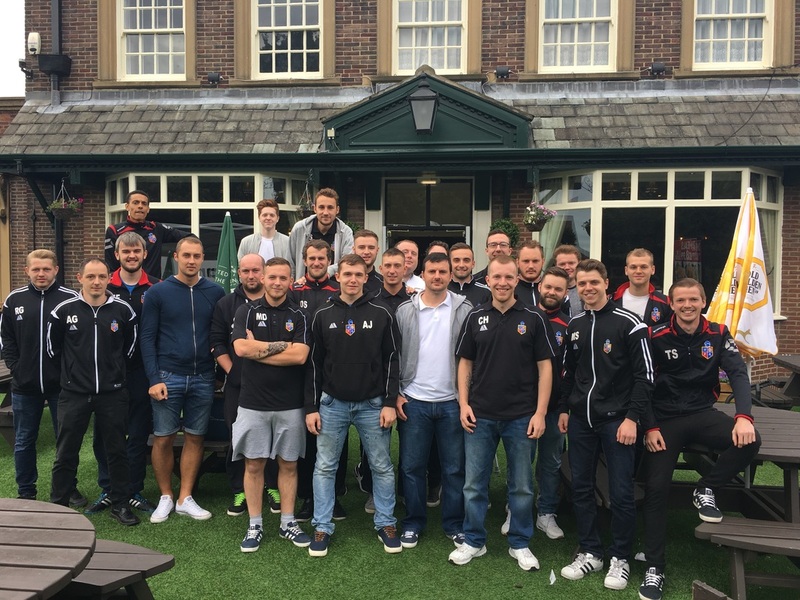 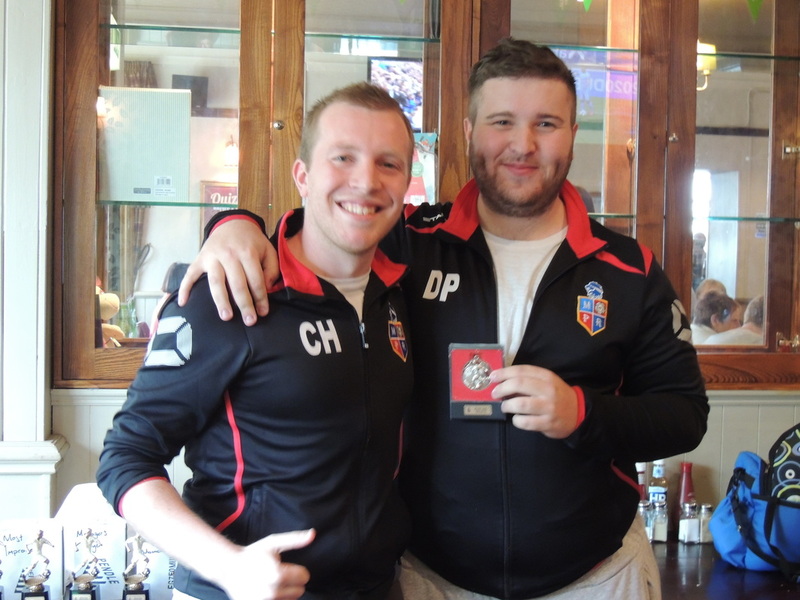 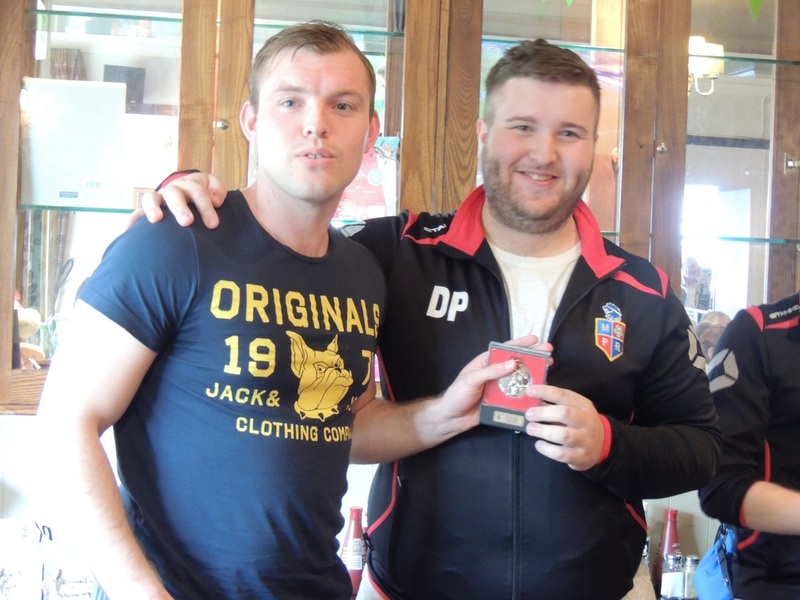 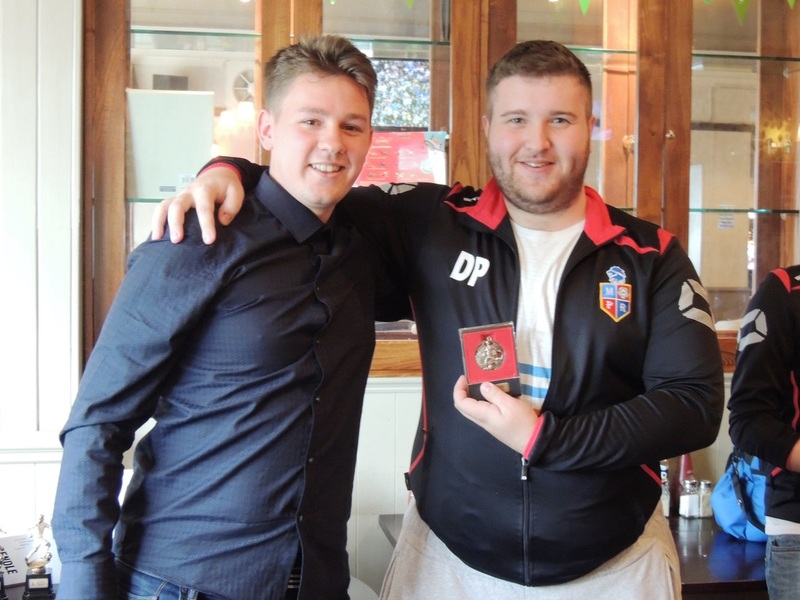 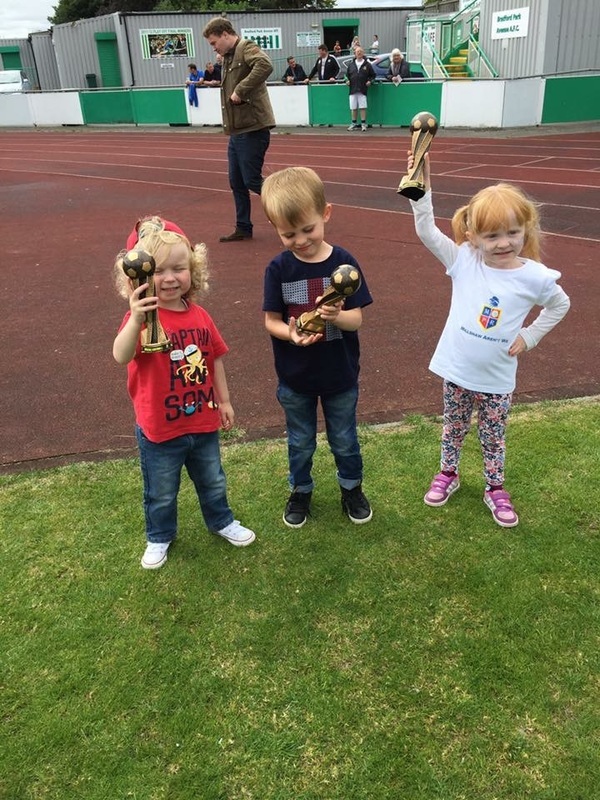 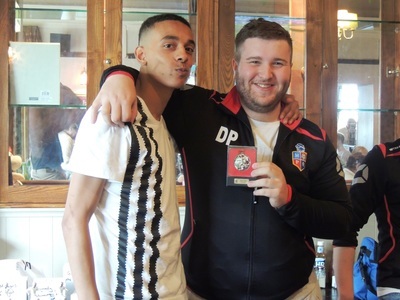 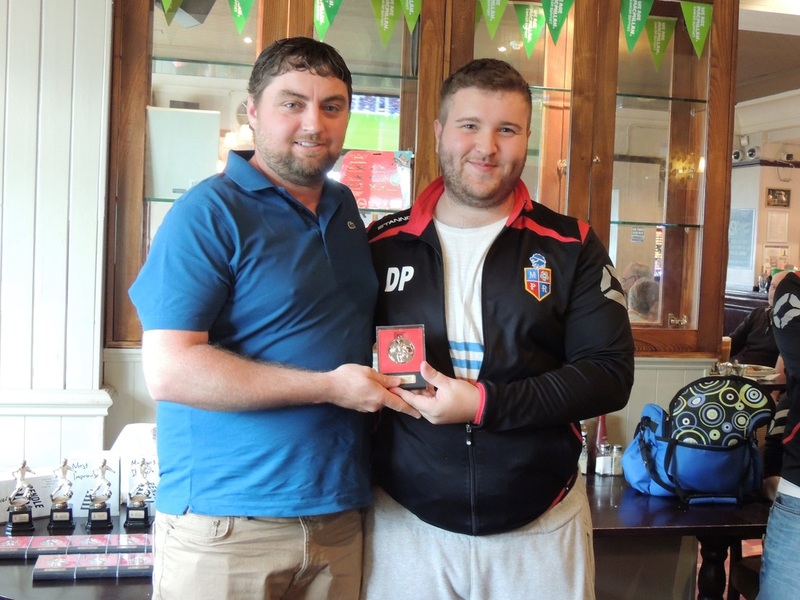 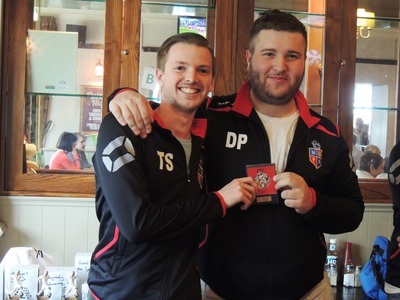 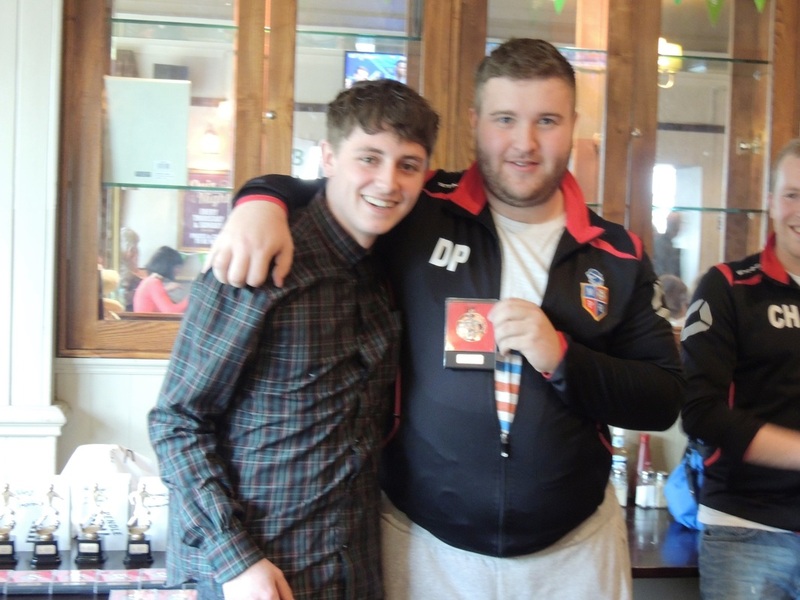 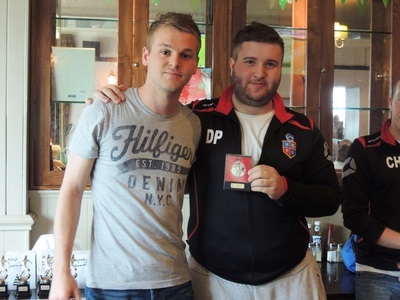 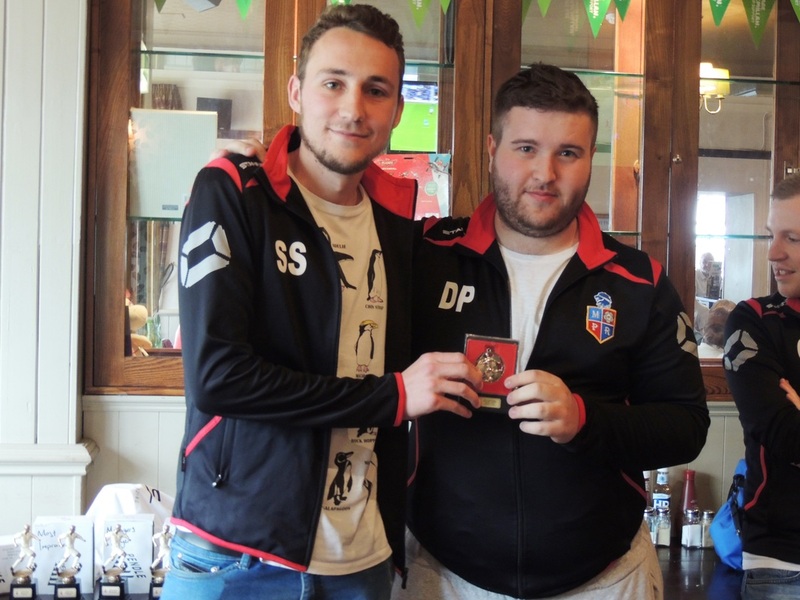 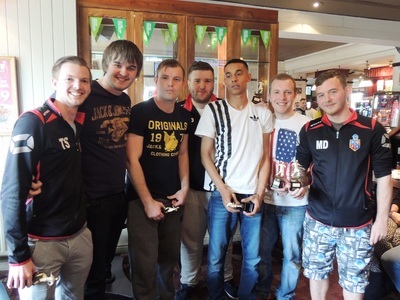 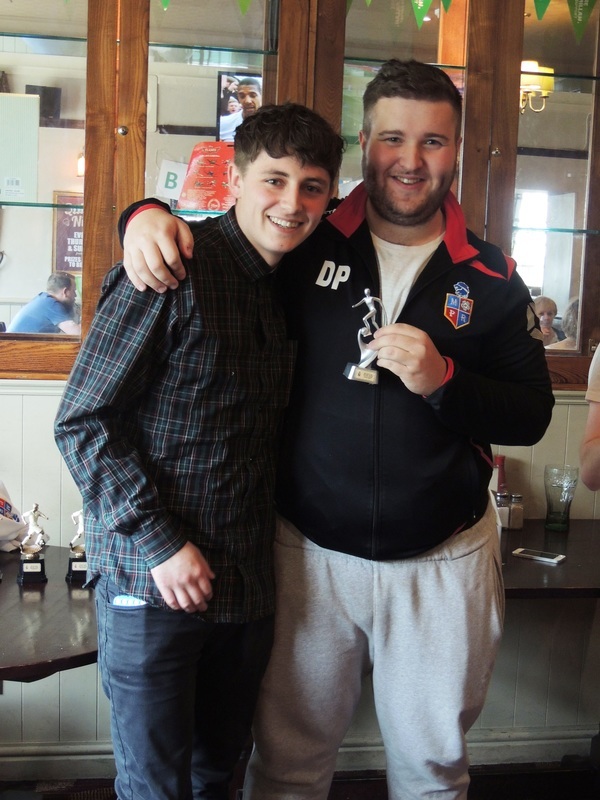 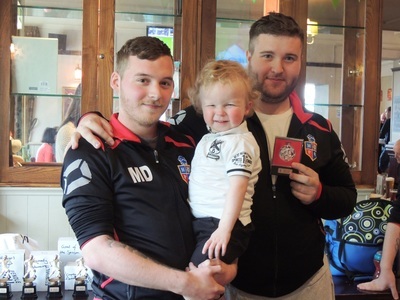 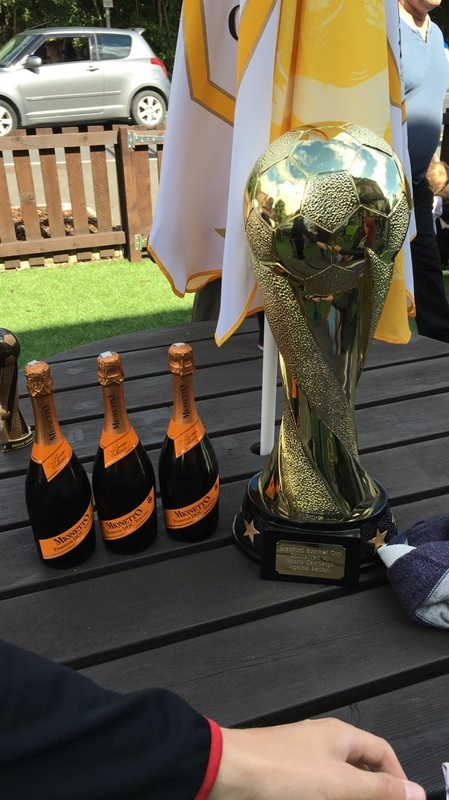 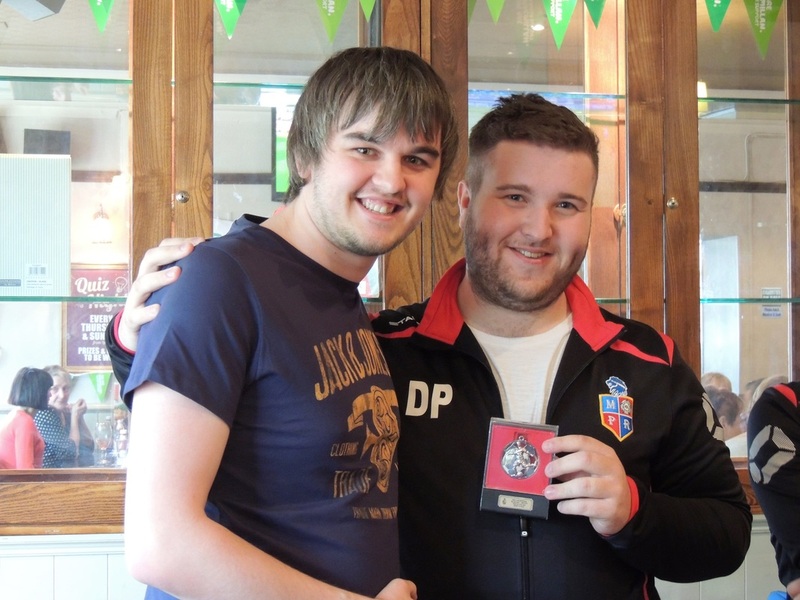 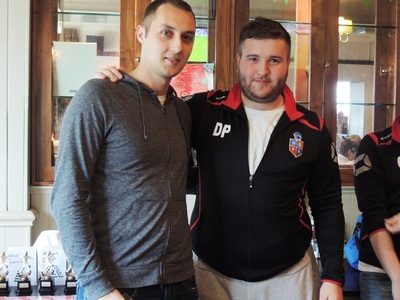 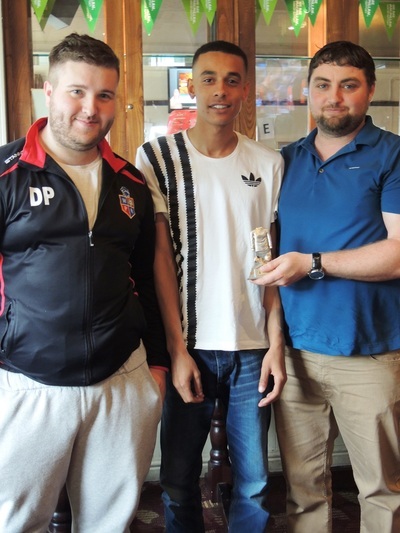 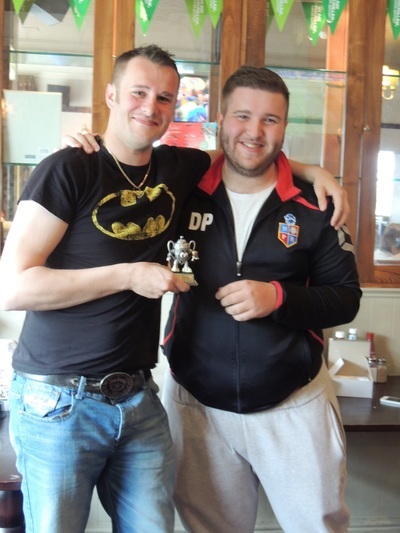 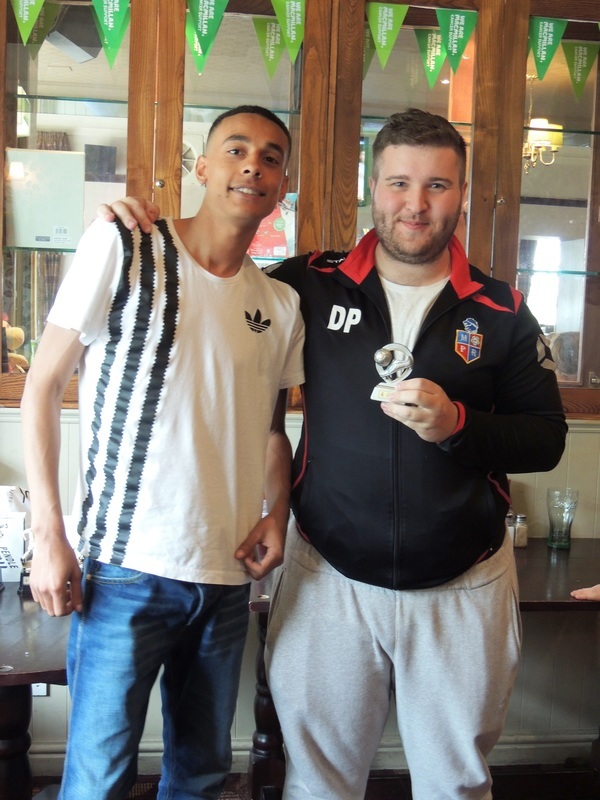 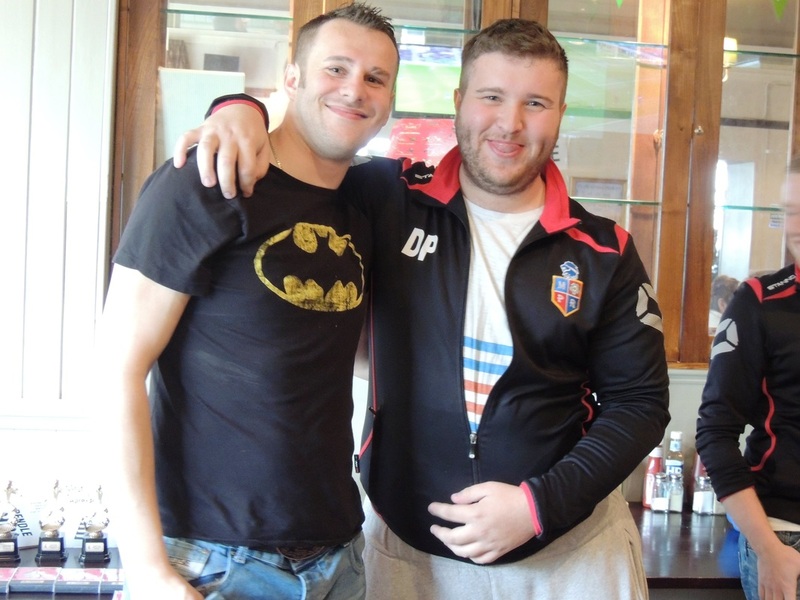 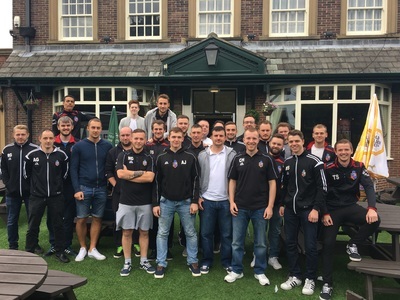 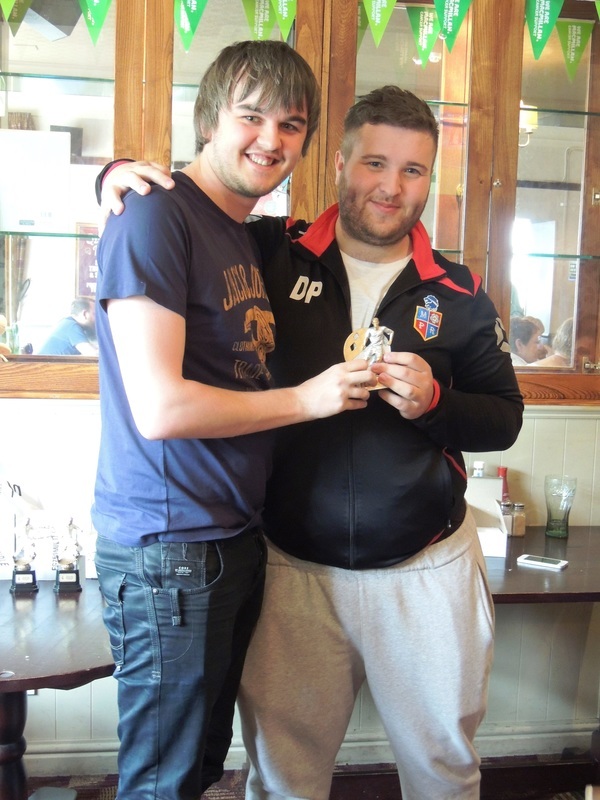 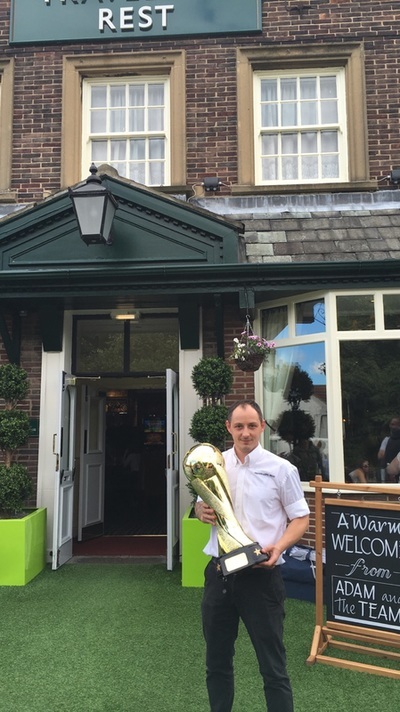 Our second annual Awards Day took place on 10th May 2015 at The Travellers Rest. 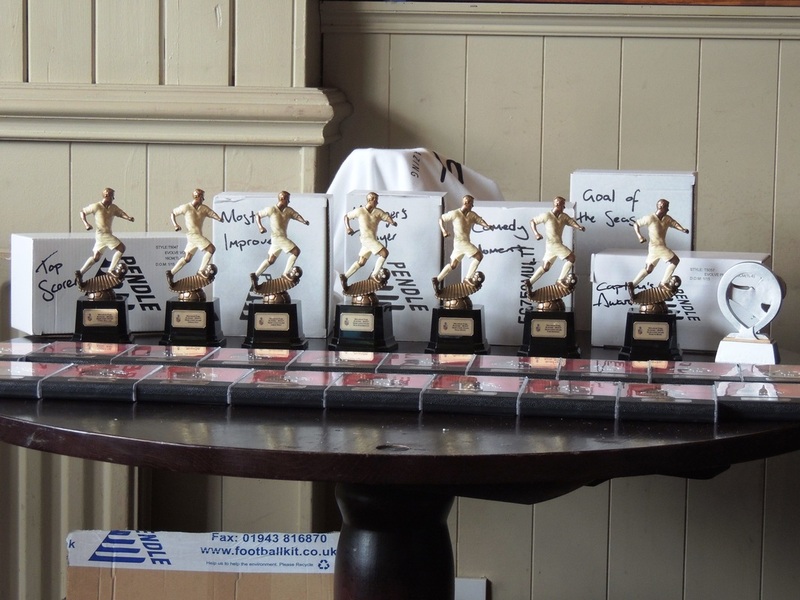 Thanks to Rhian Holland for photos of the event and Morley Glass & Glazing for sponsoring the Player Of The Season award. 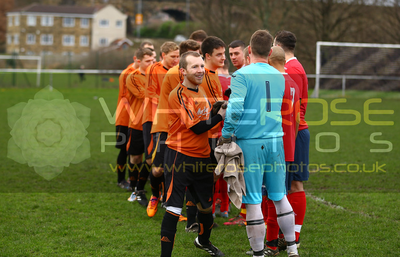 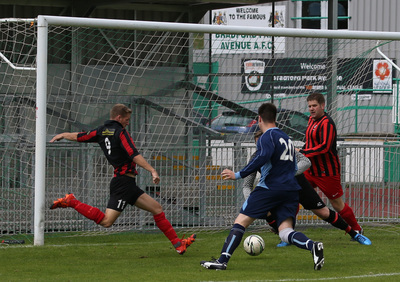 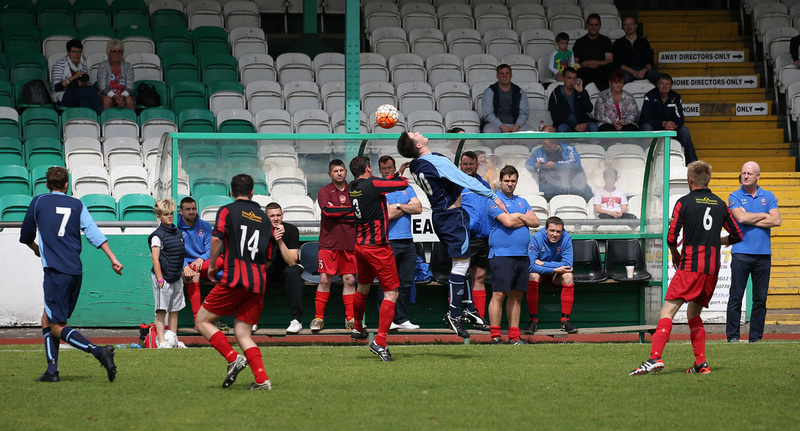 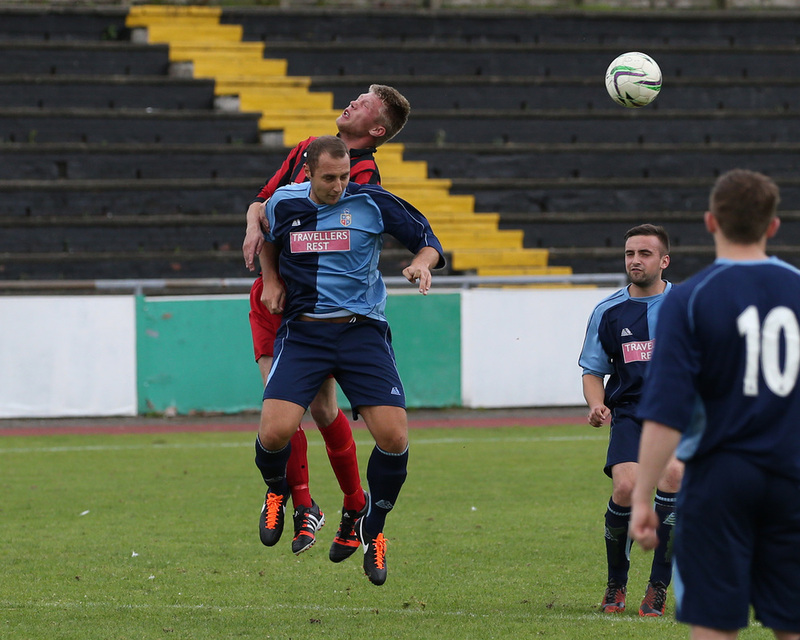 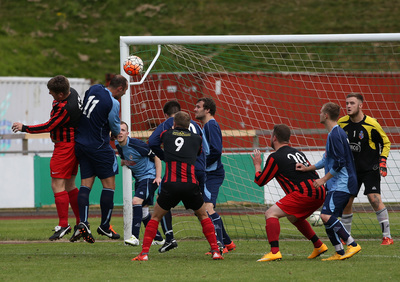 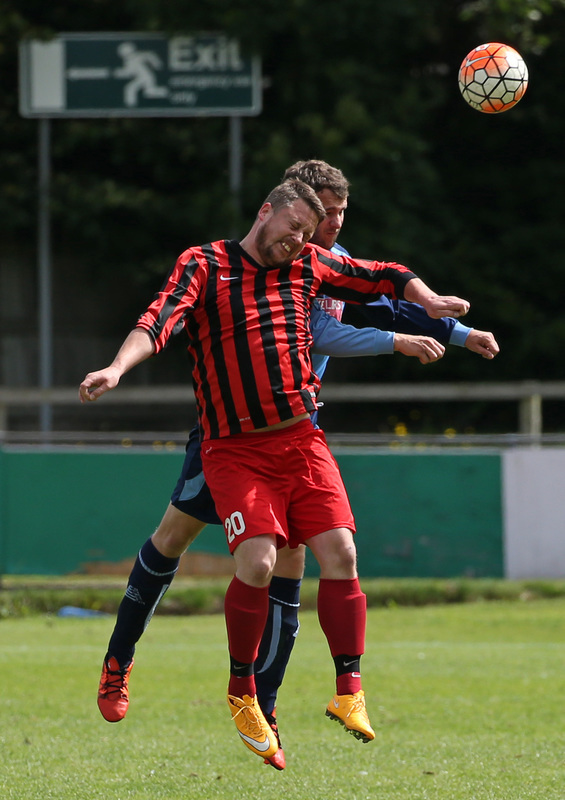 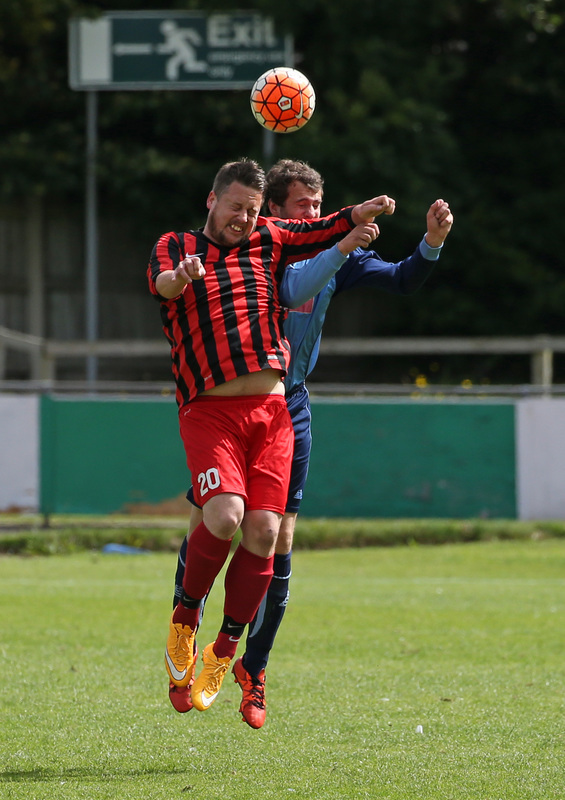 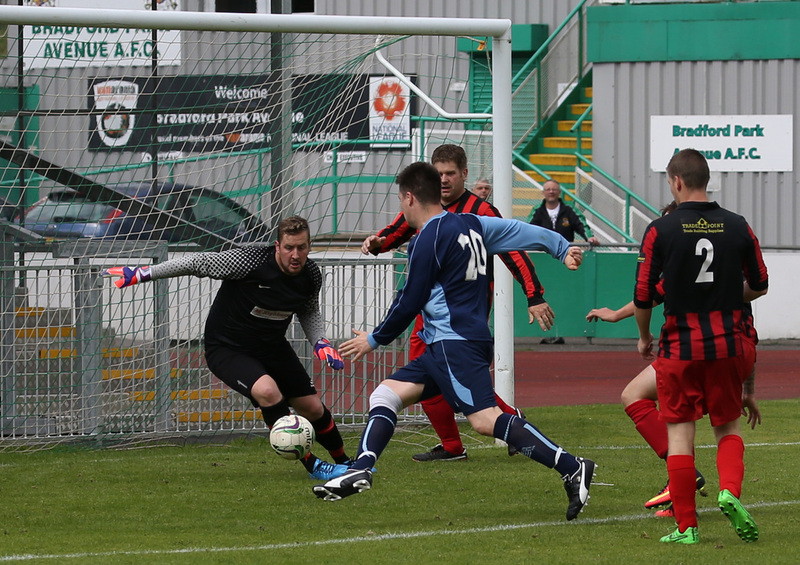 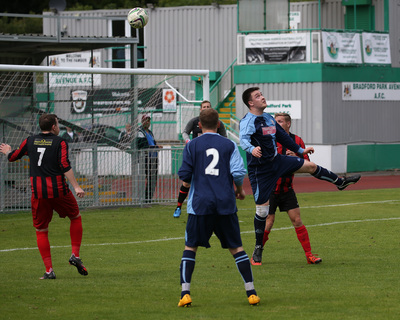 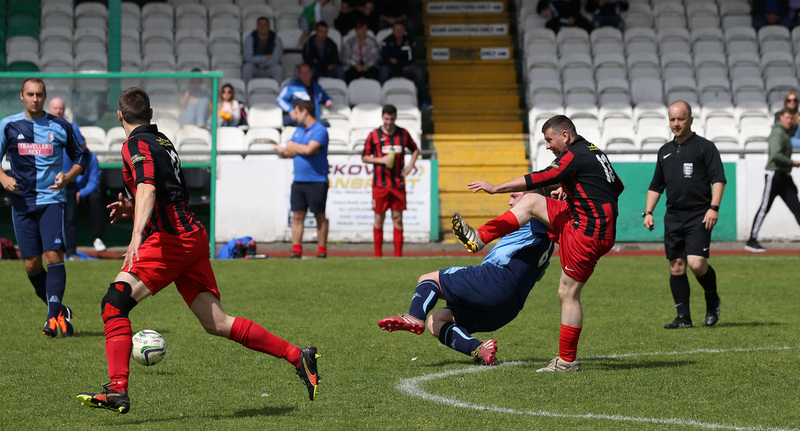 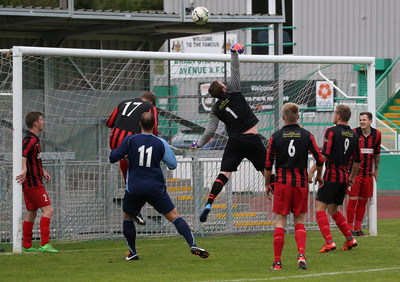 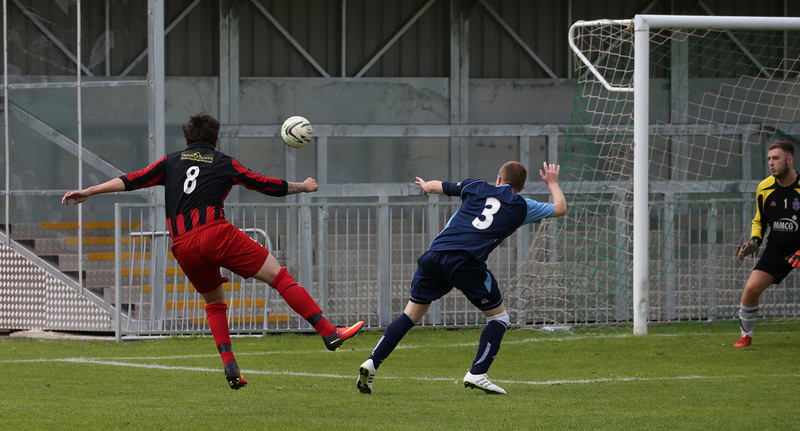 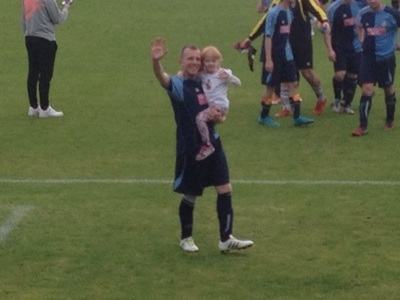 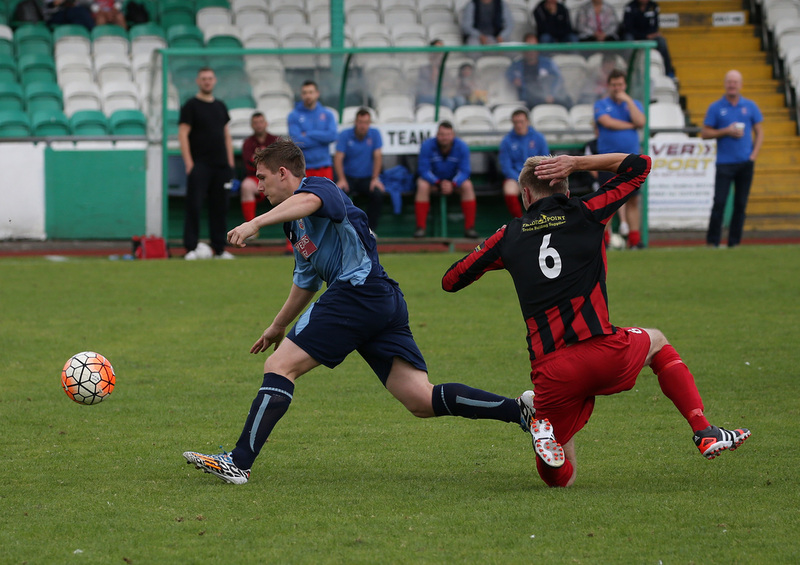 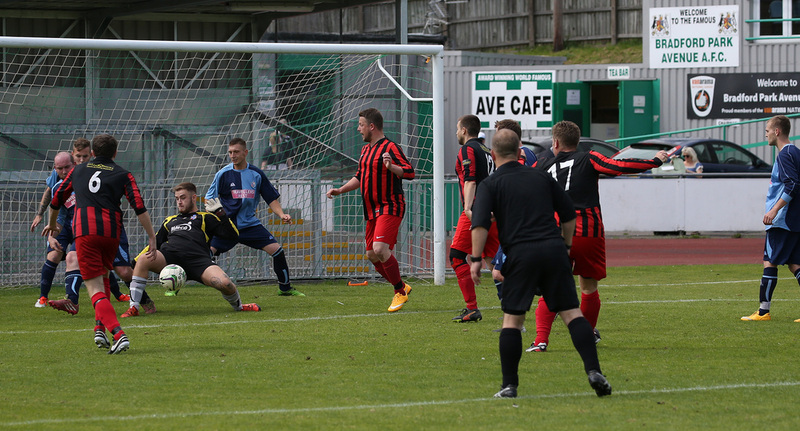 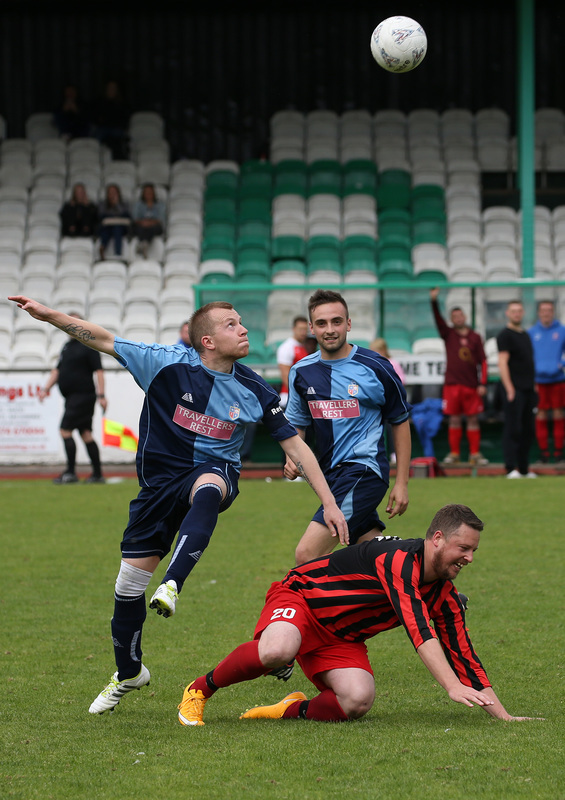 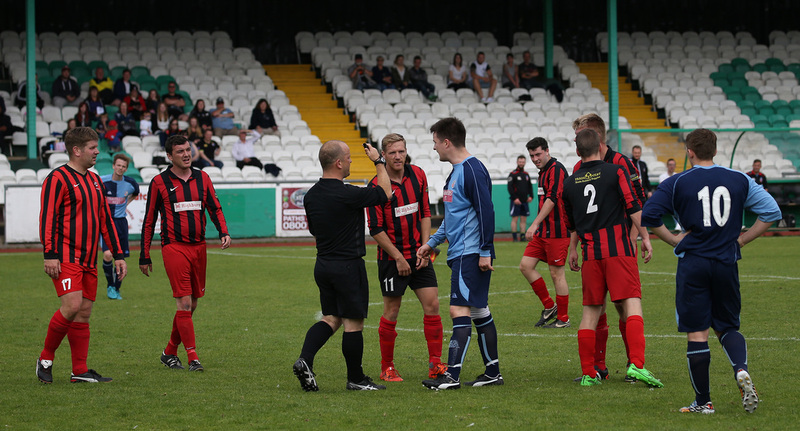 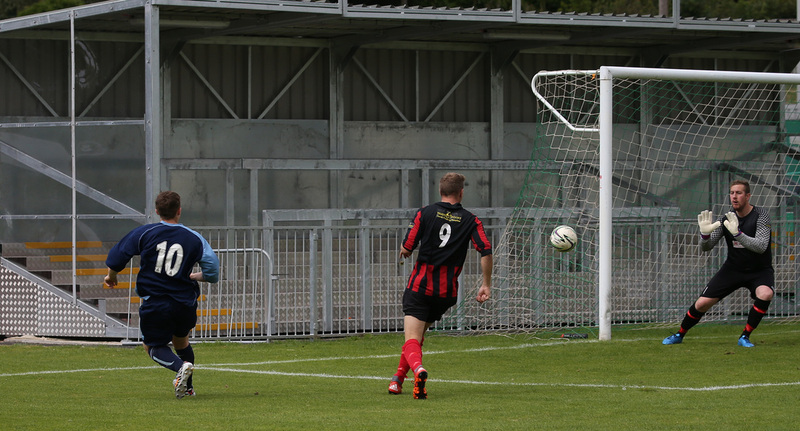 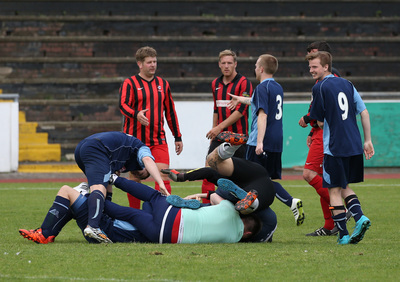 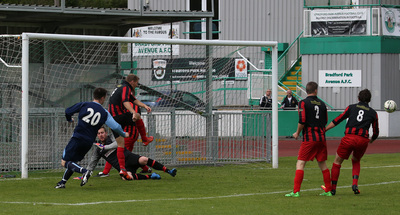 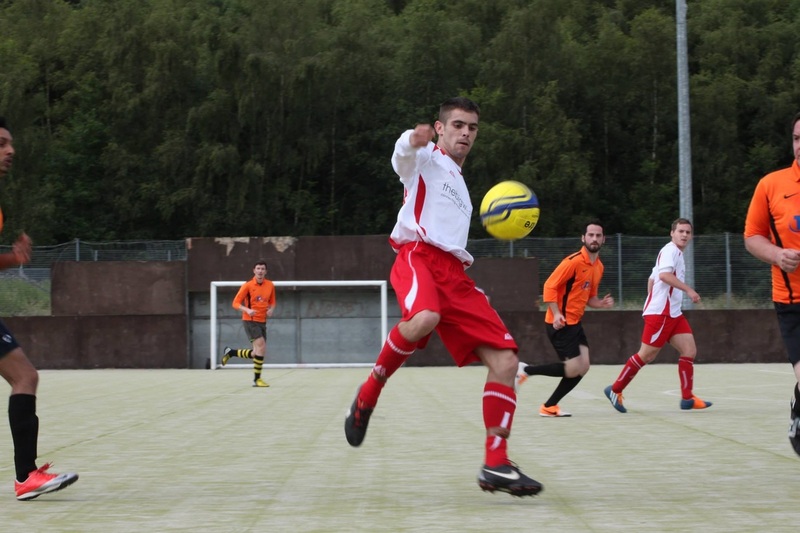 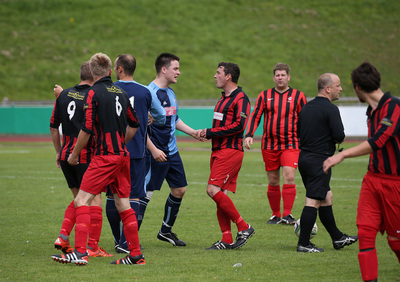 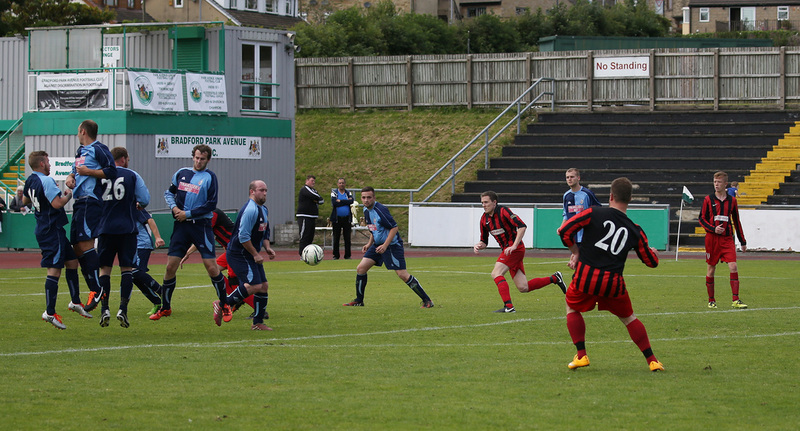 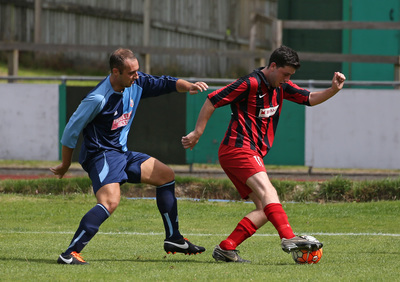 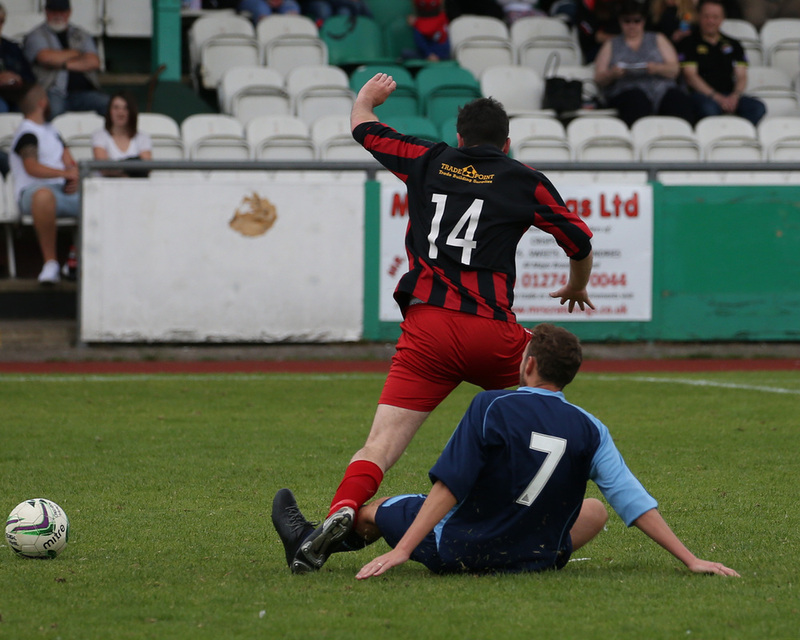 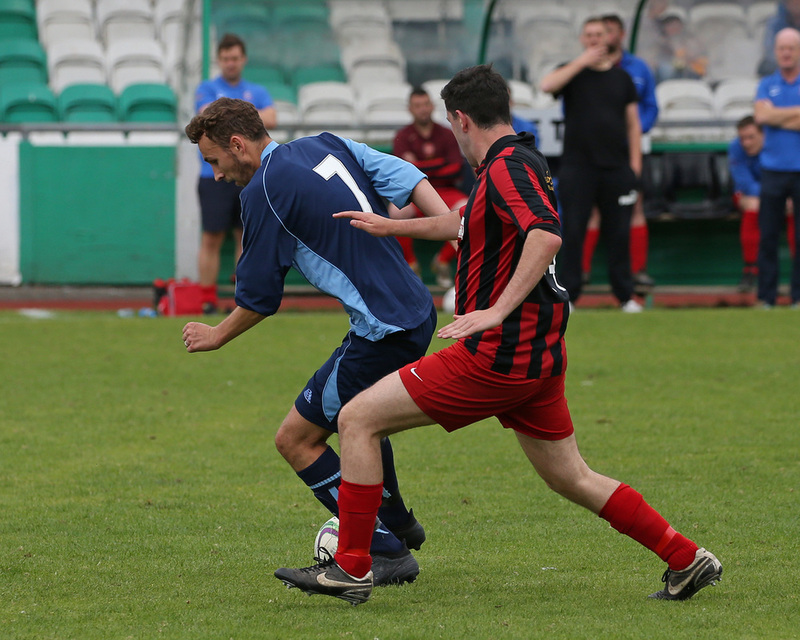 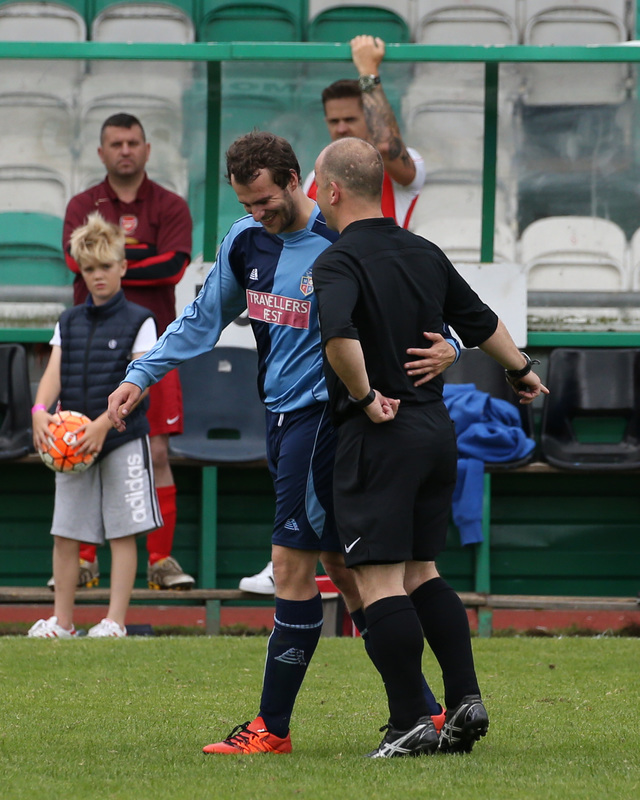 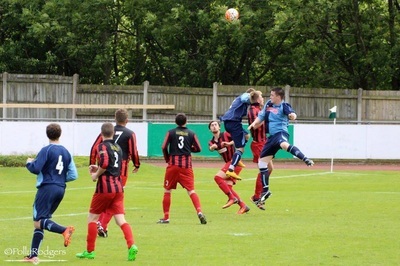 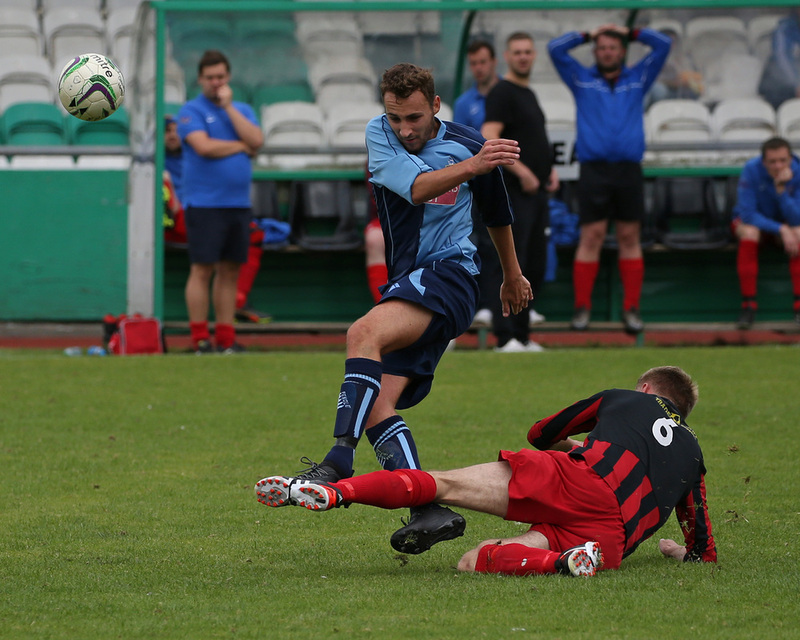 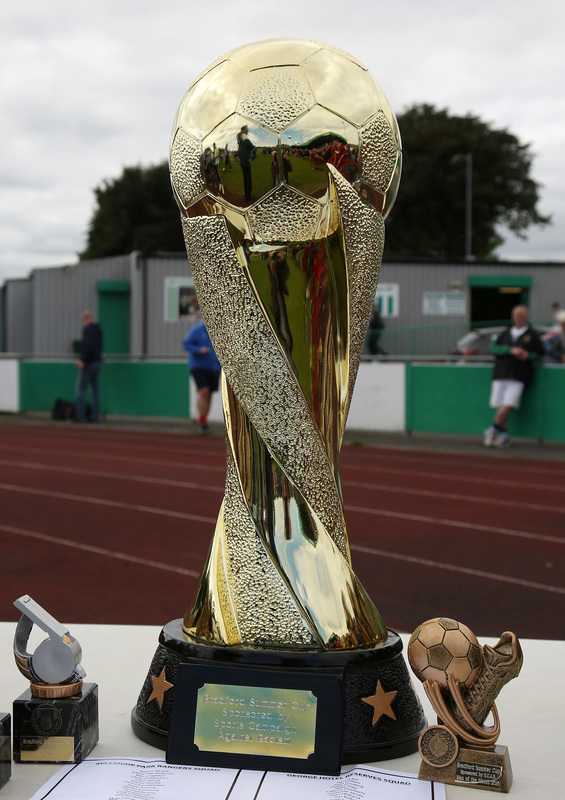 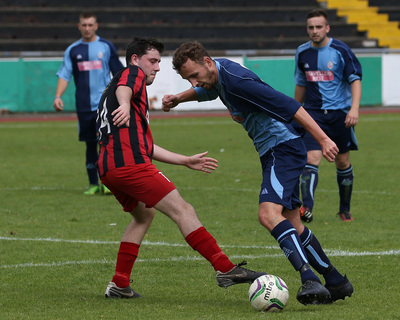 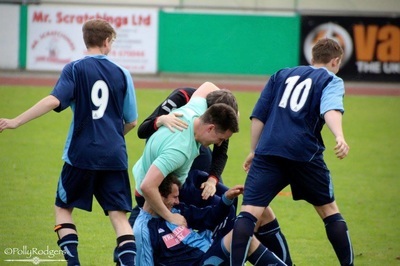 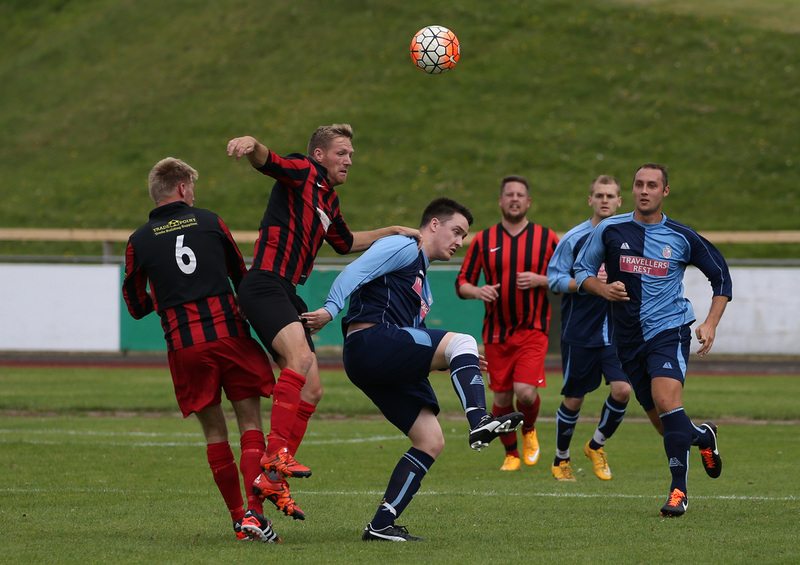 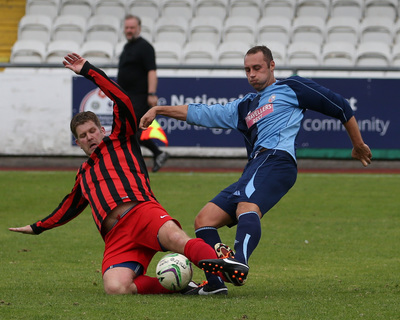 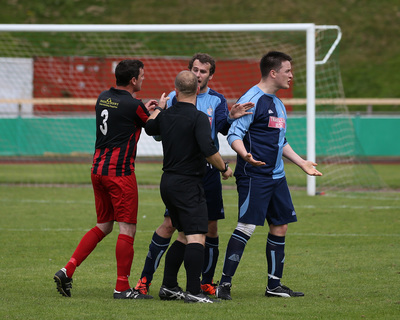 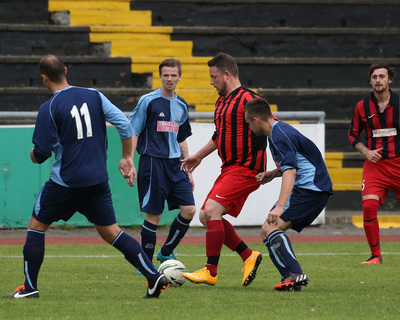 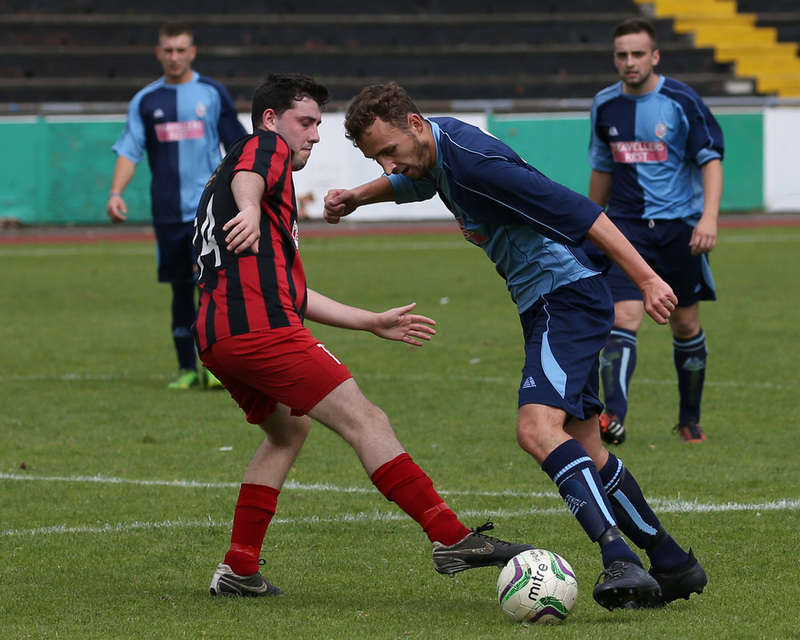 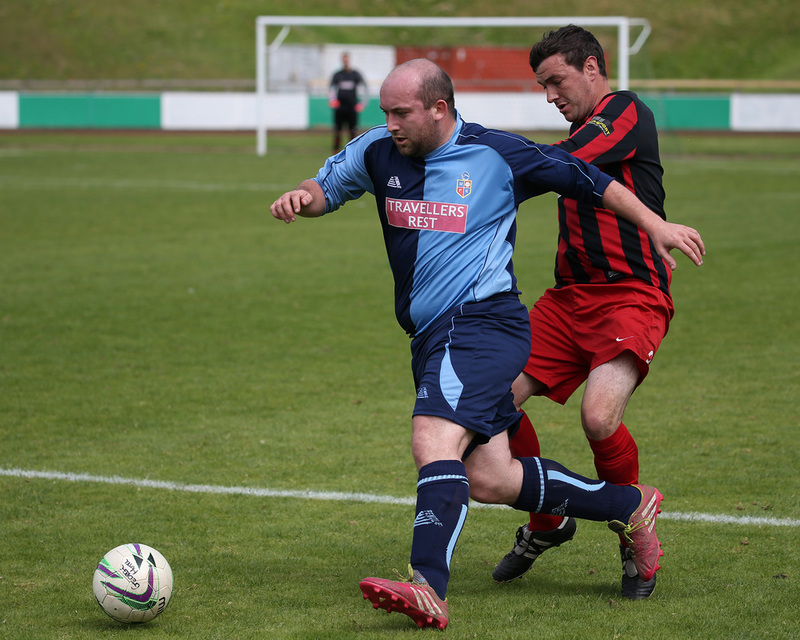 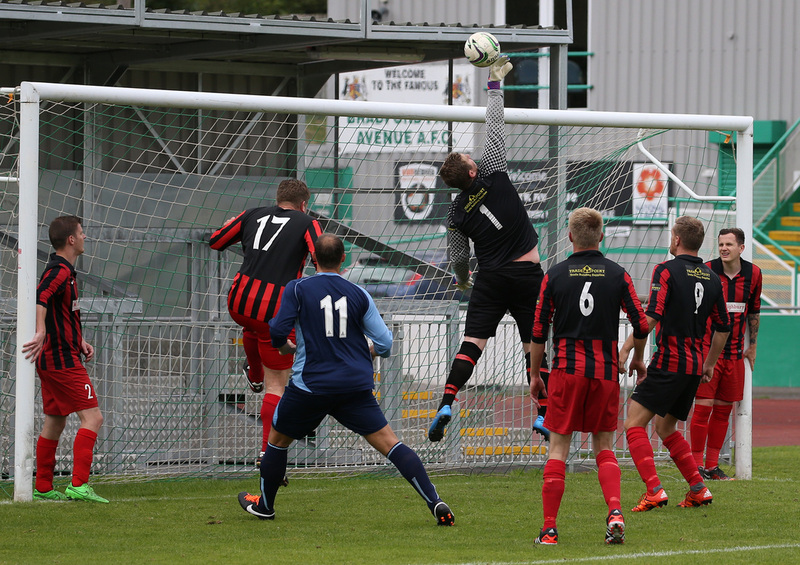 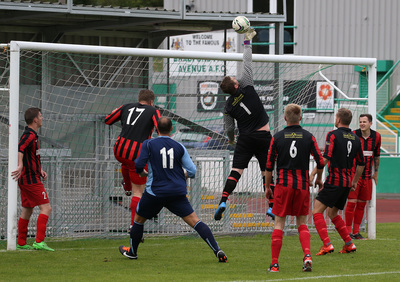 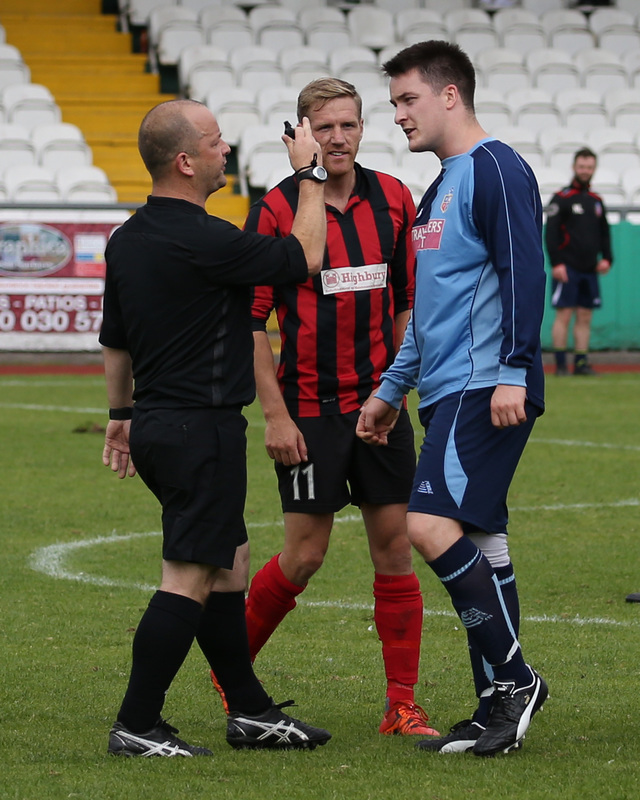 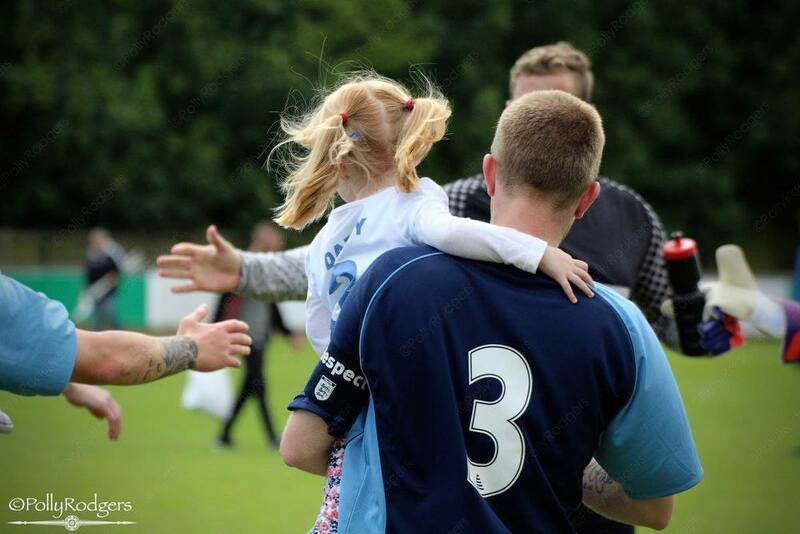 A sample of Dan White's photographs from our Jubilee Cup Final are below. 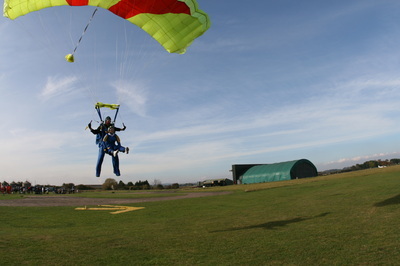 Dan's full 500-photo gallery can be viewed by clicking this link. 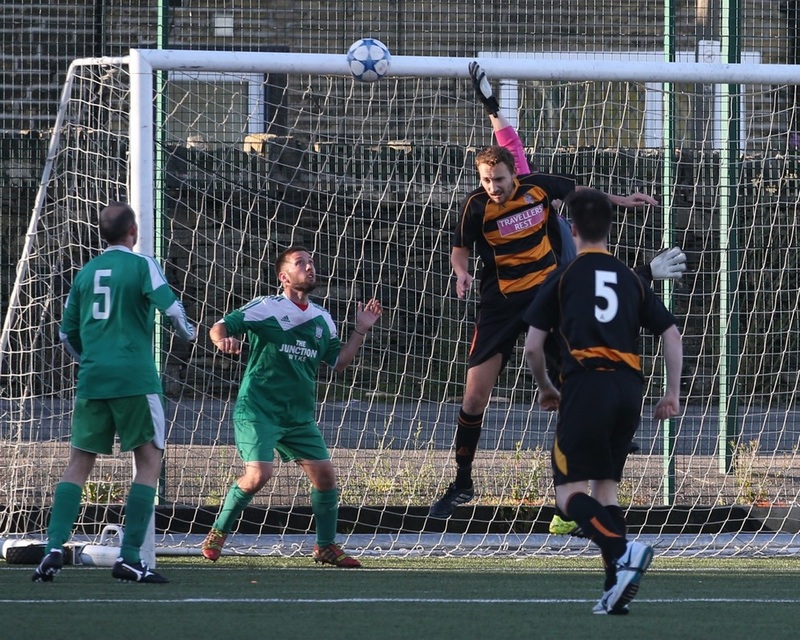 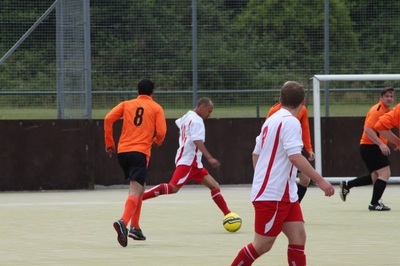 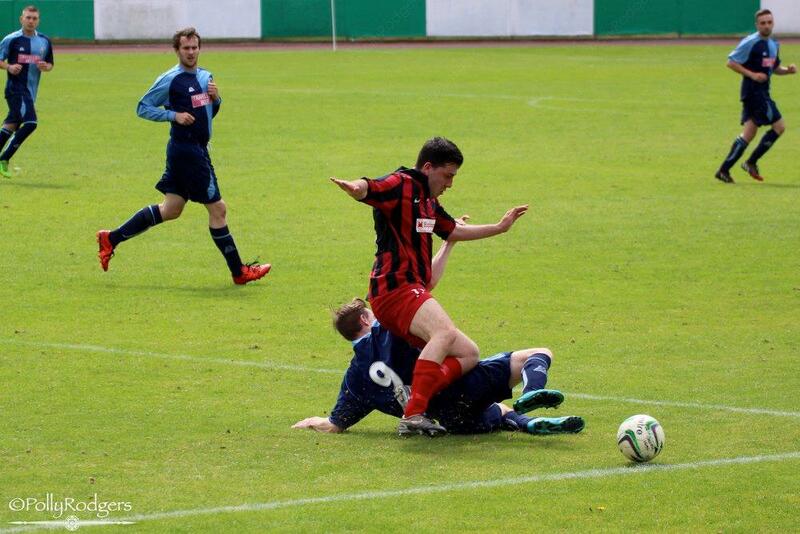 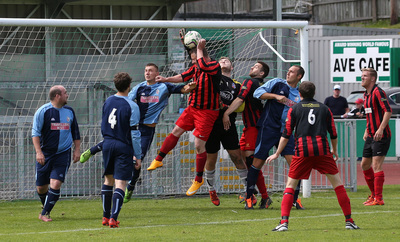 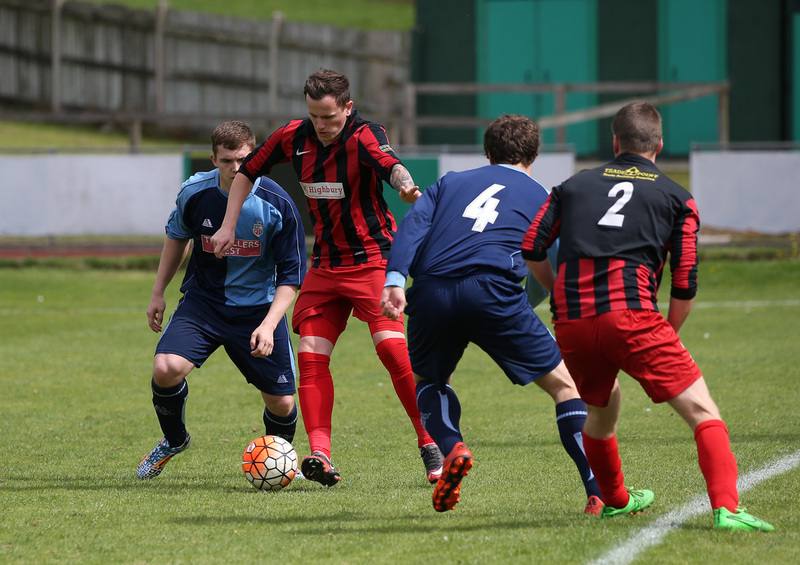 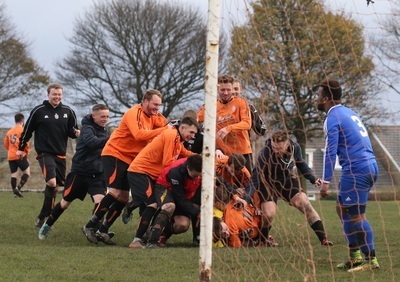 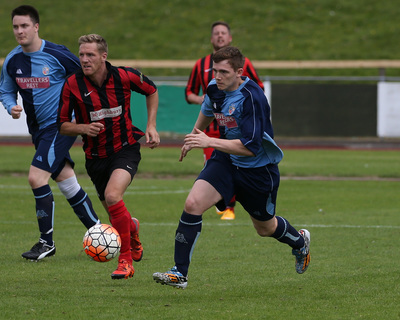 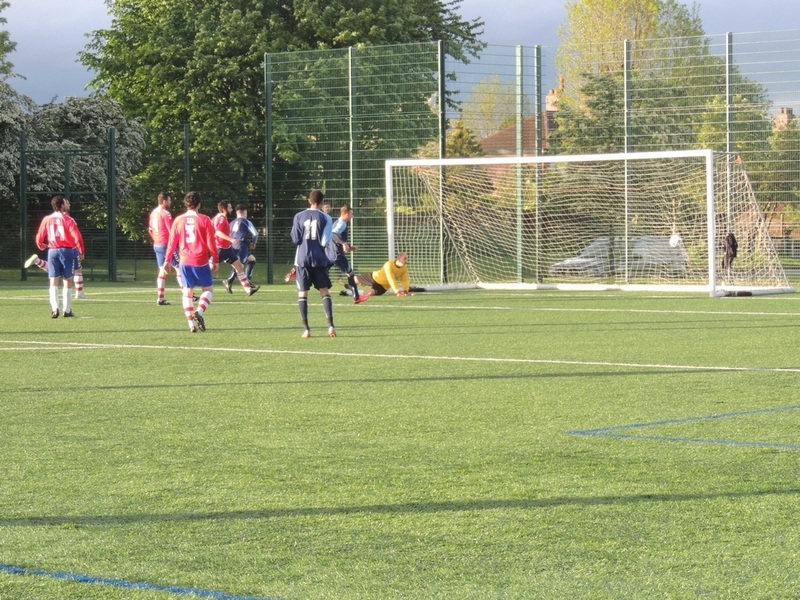 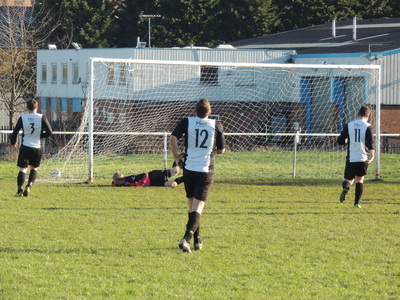 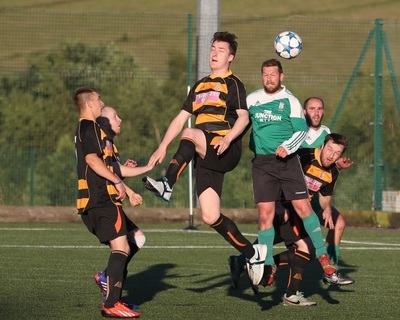 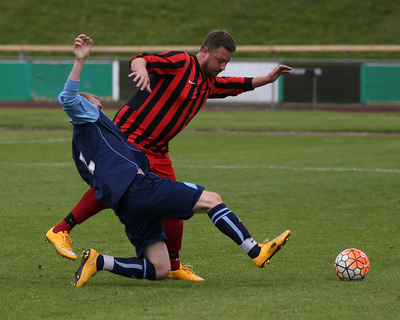 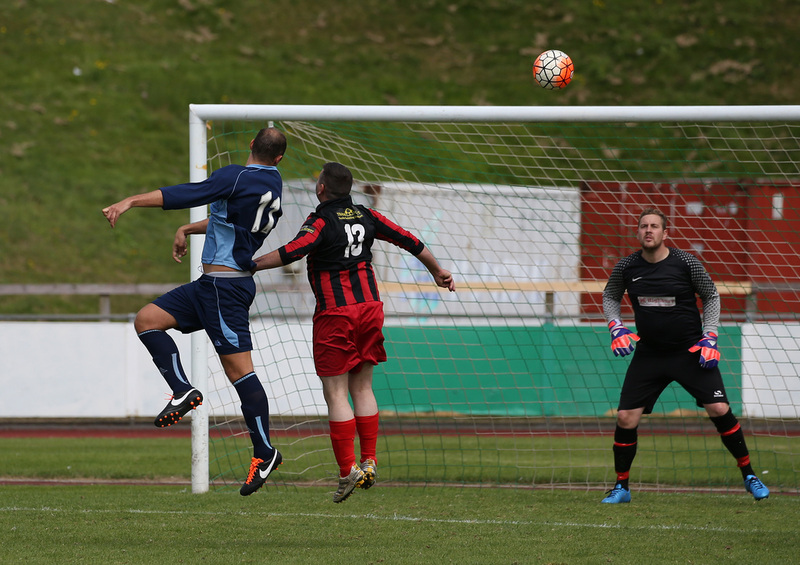 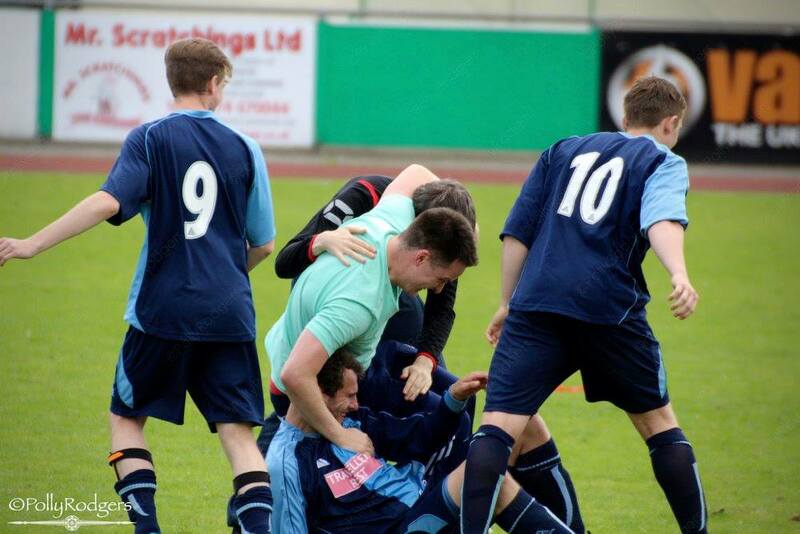 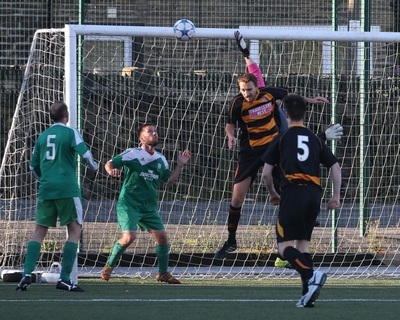 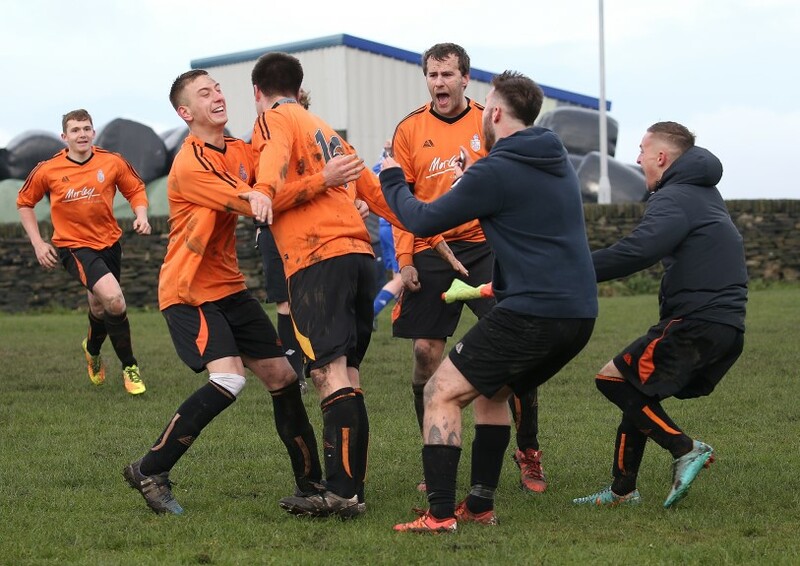 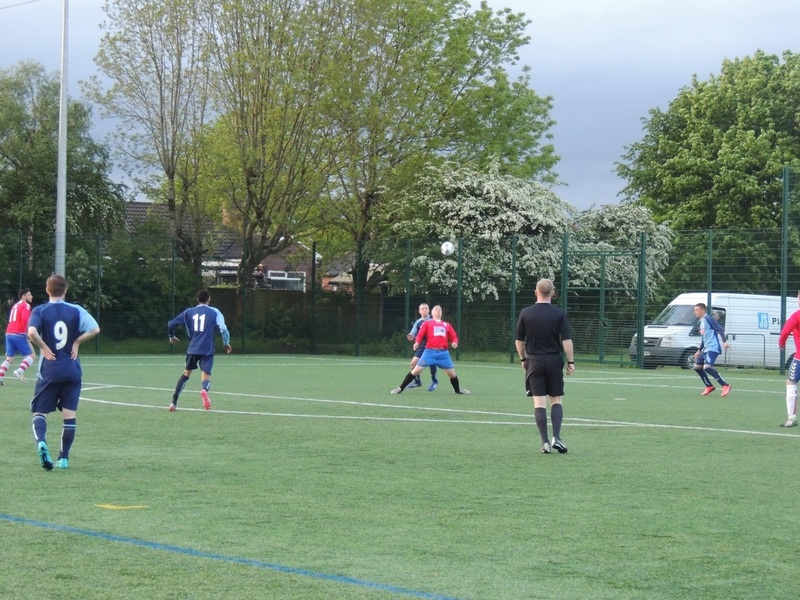 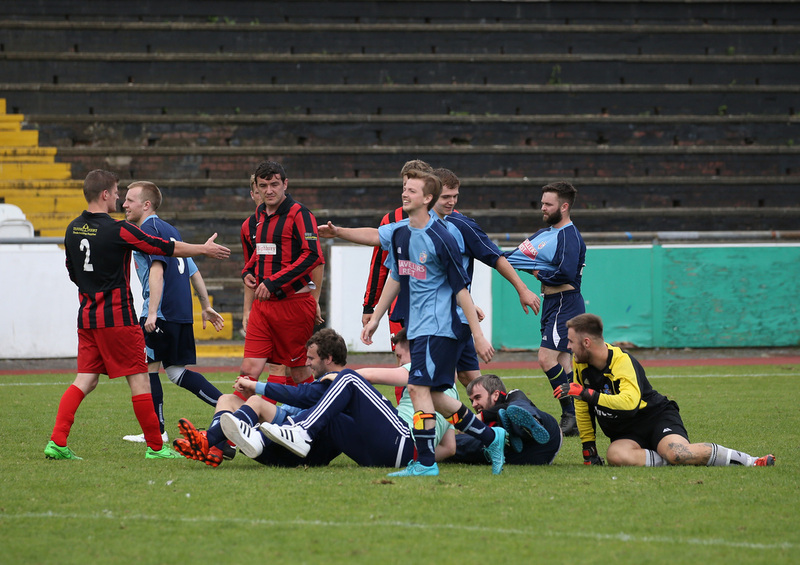 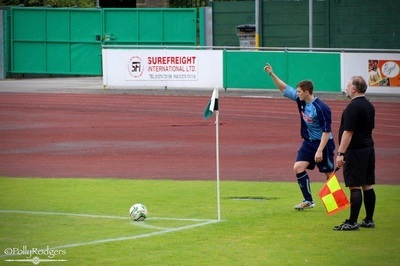 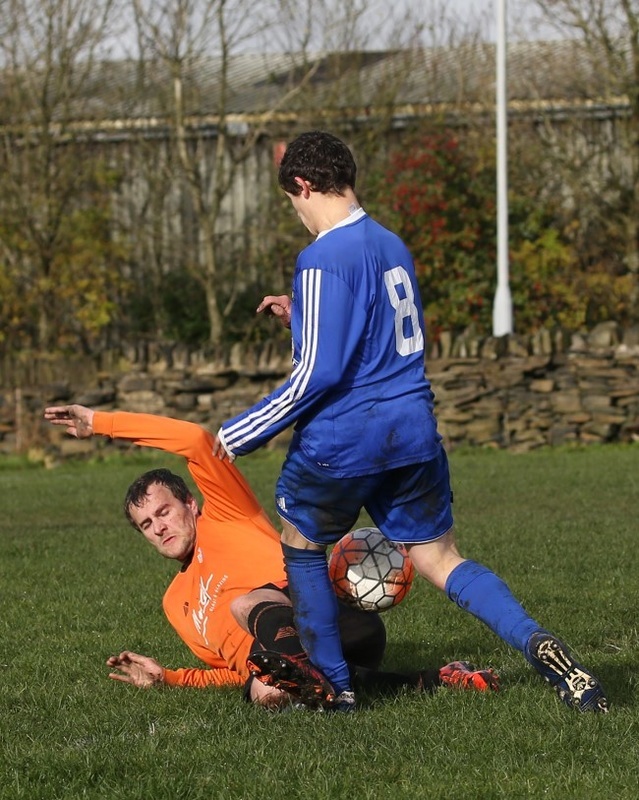 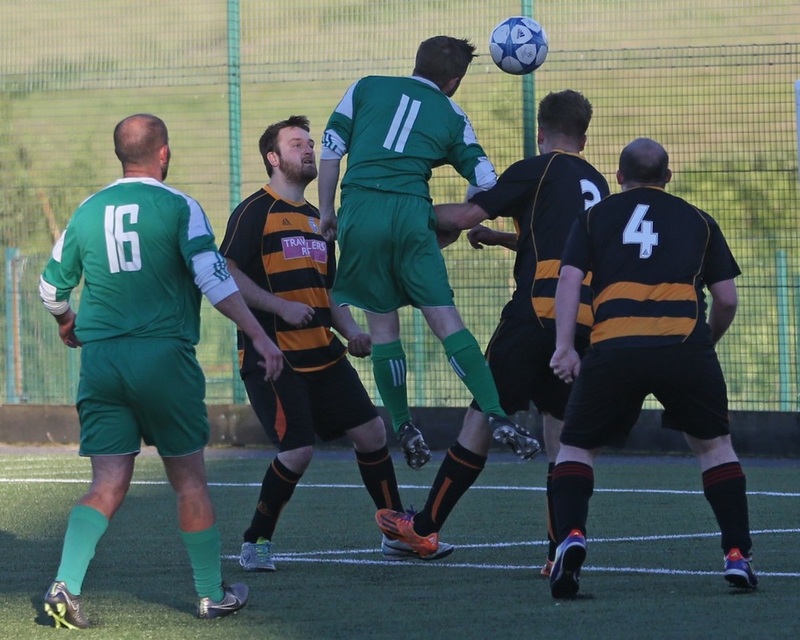 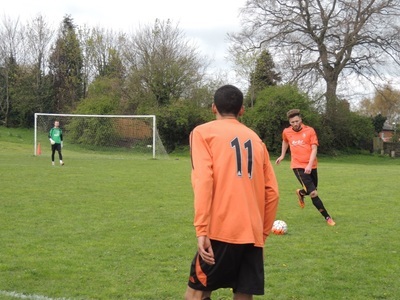 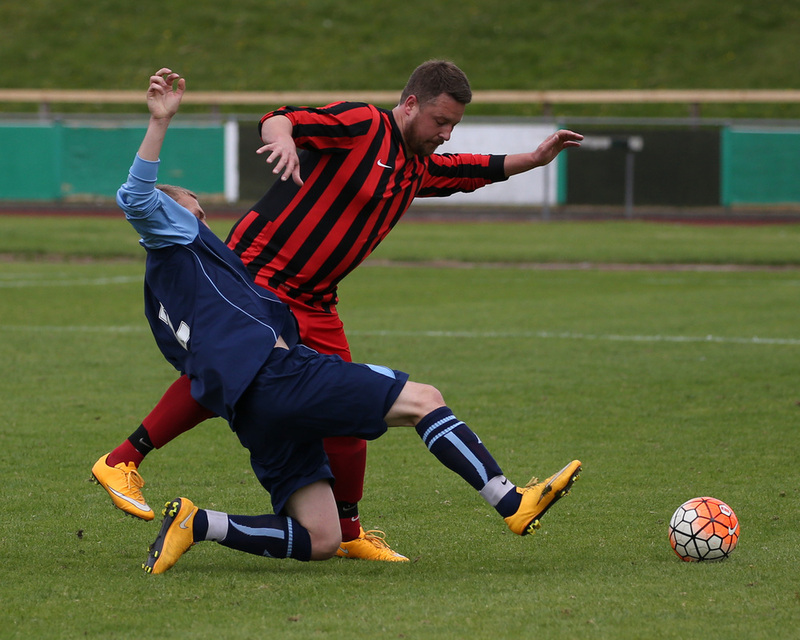 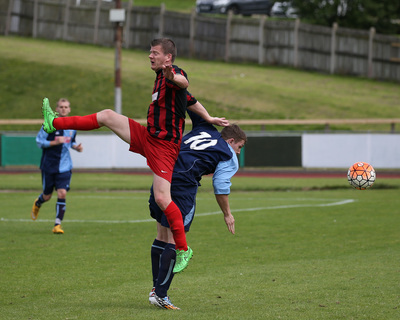 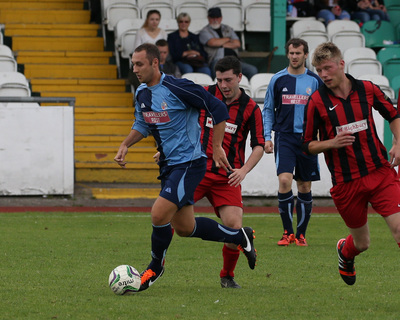 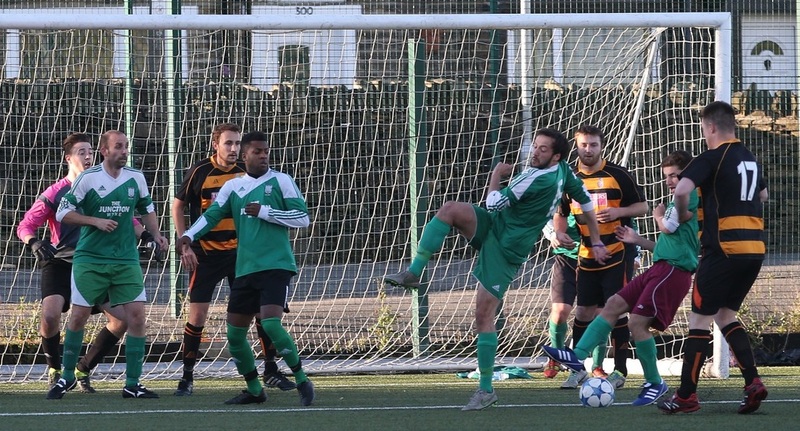 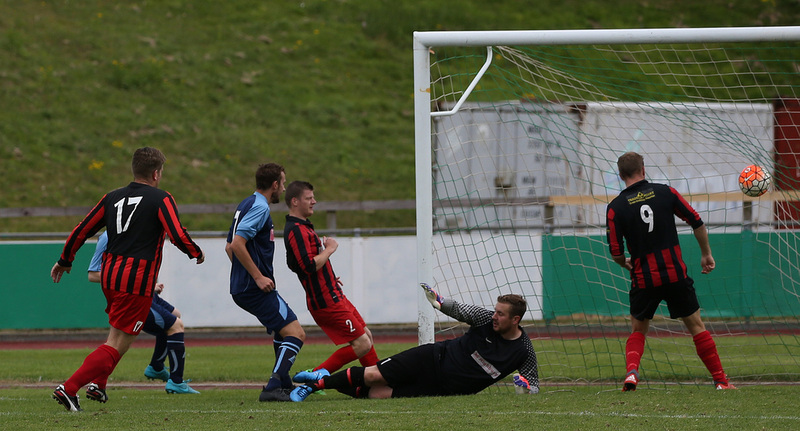 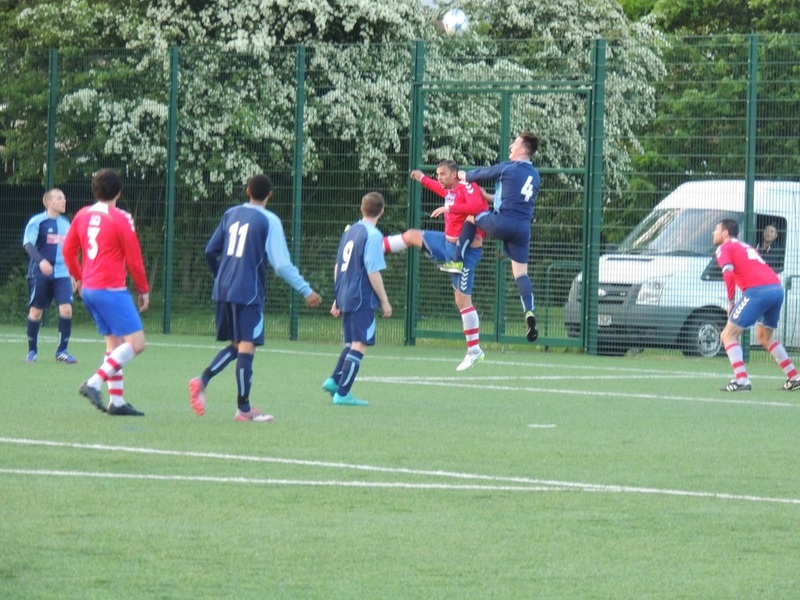 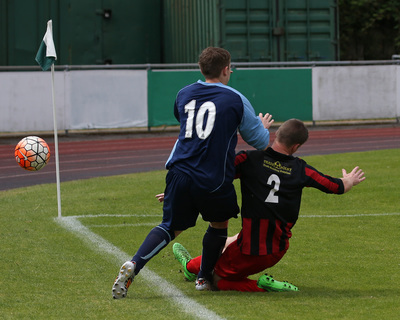 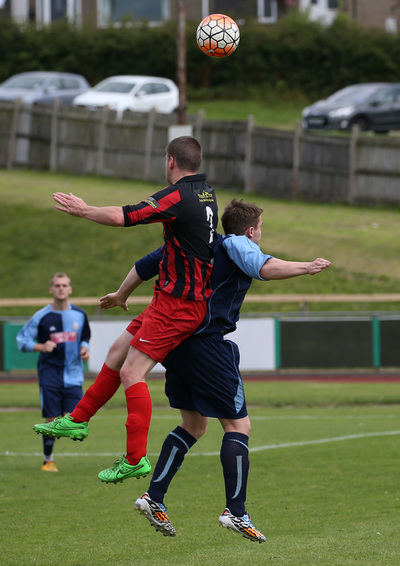 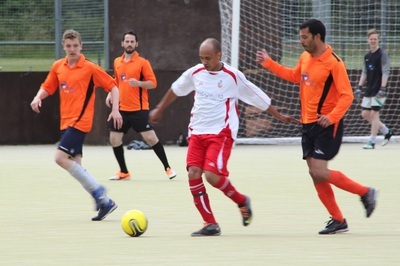 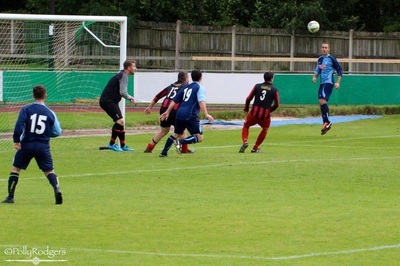 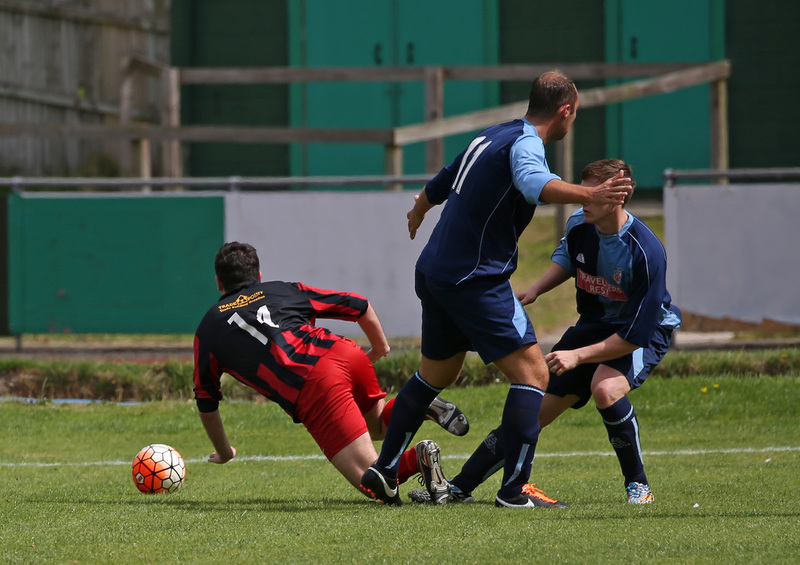 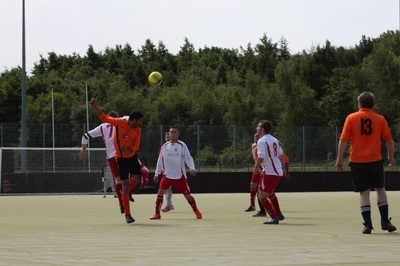 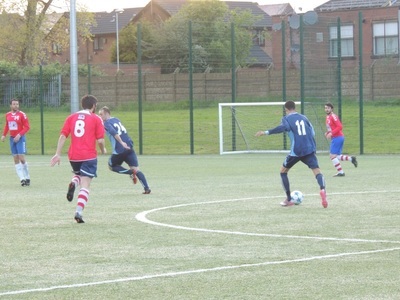 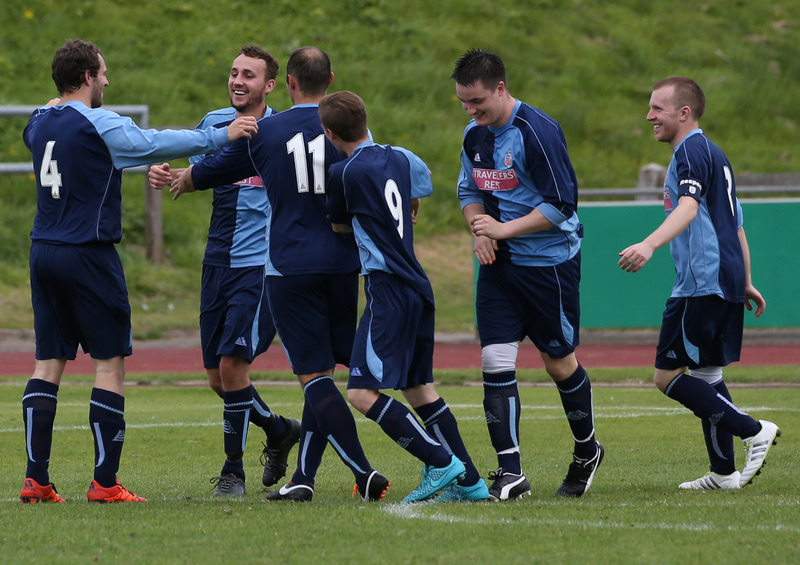 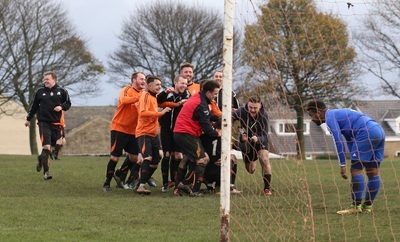 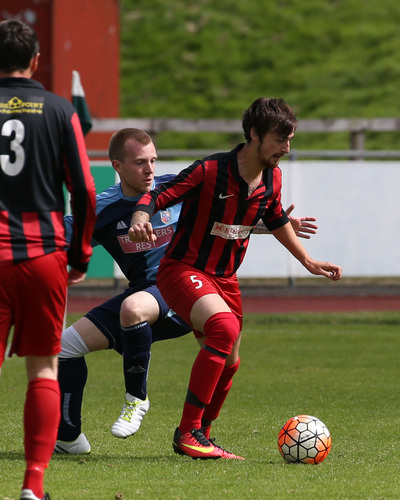 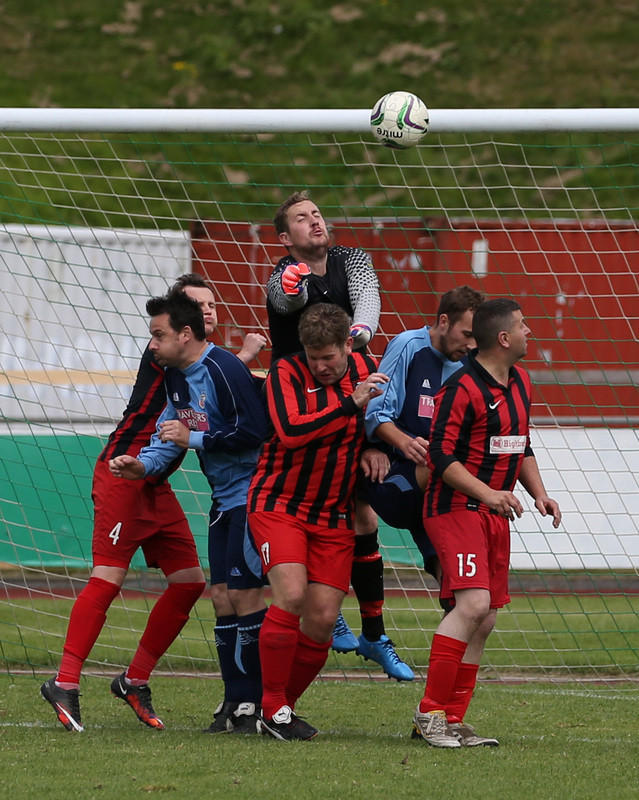 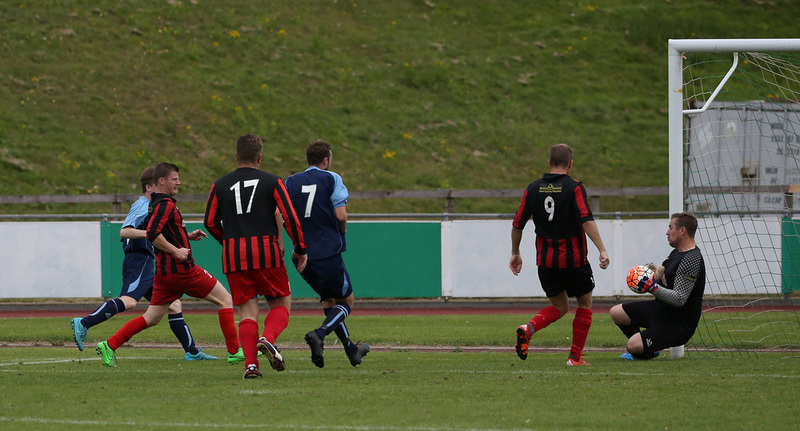 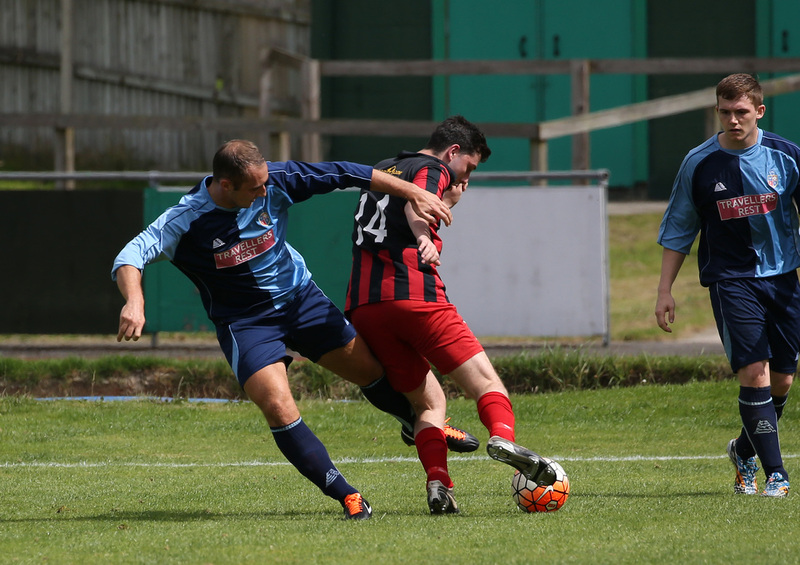 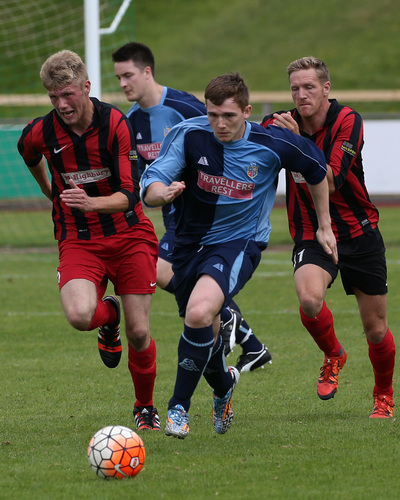 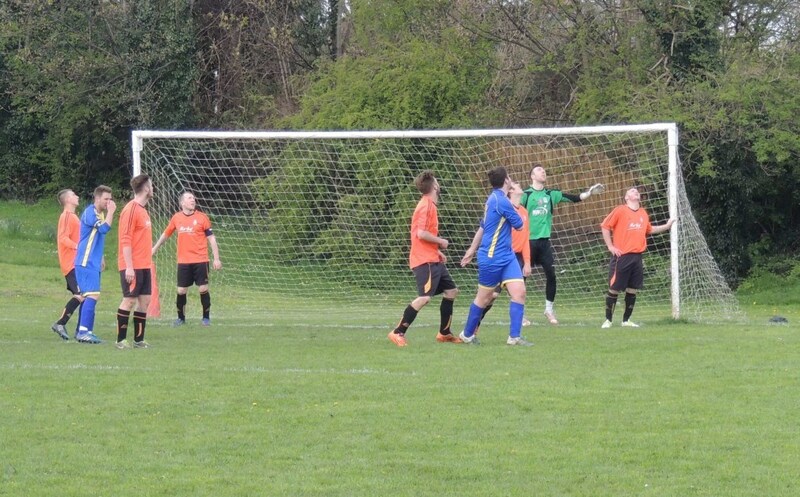 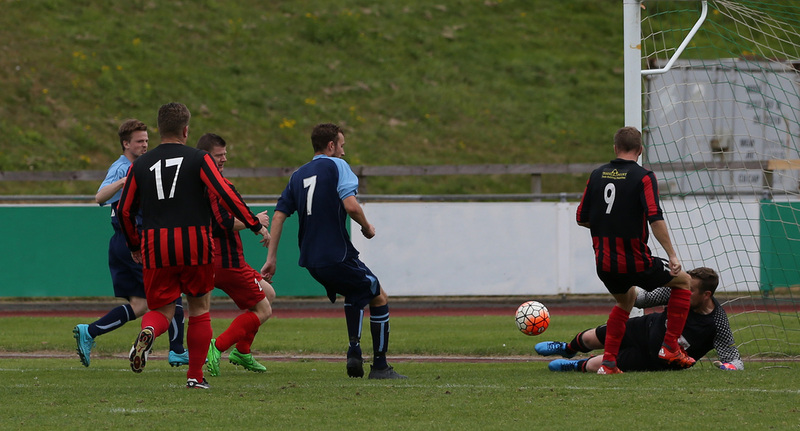 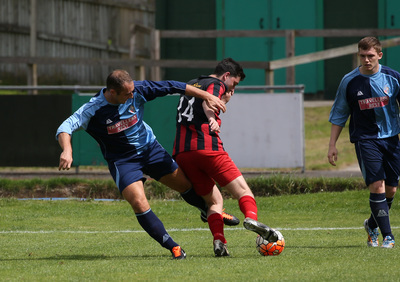 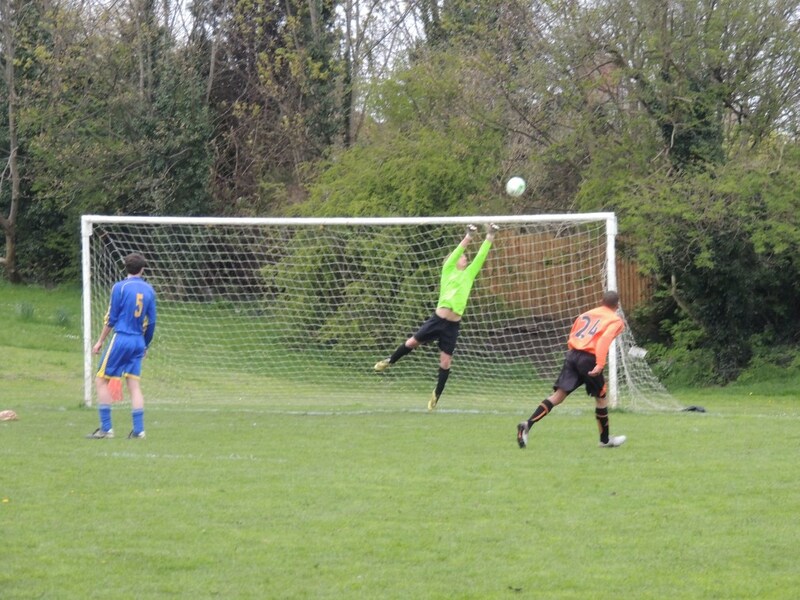 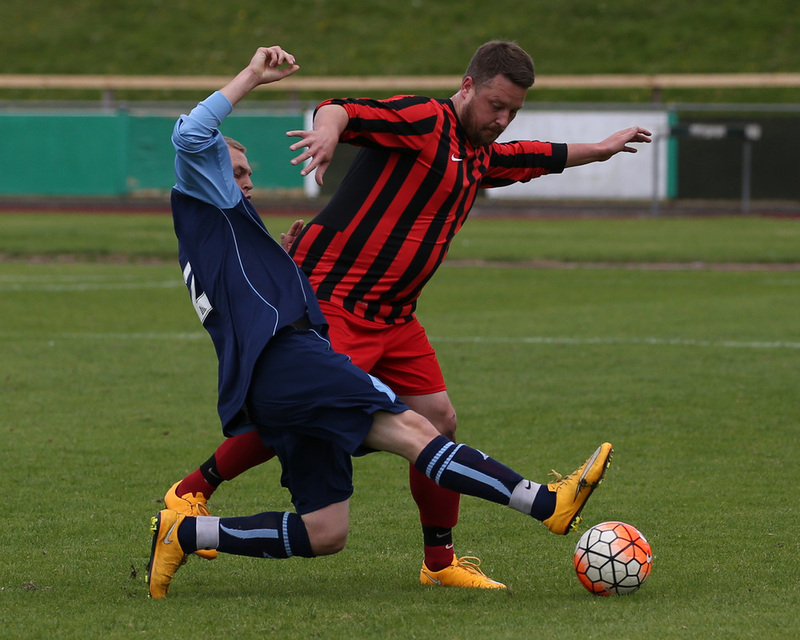 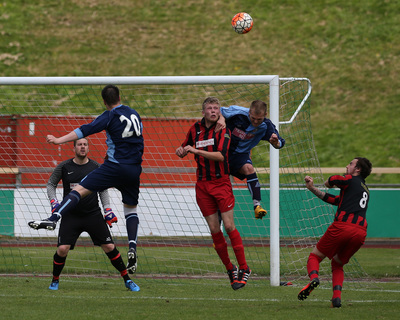 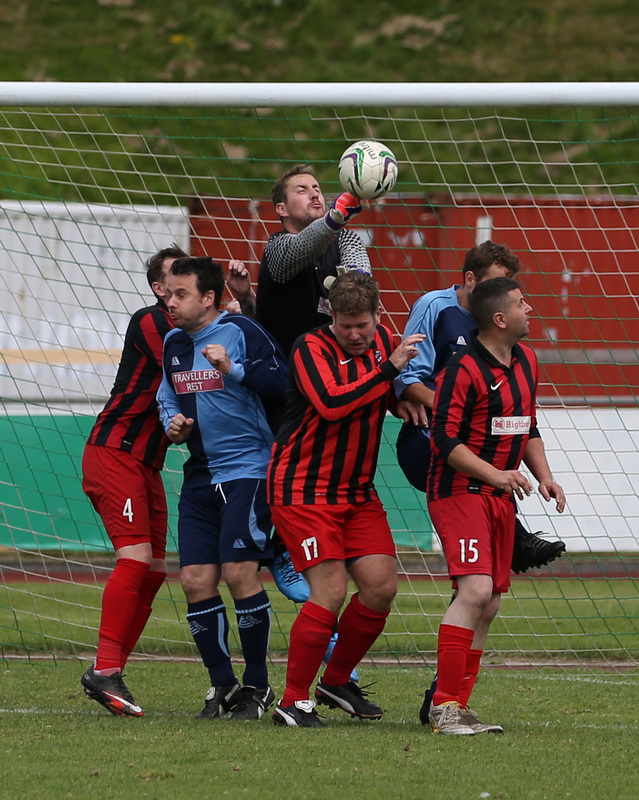 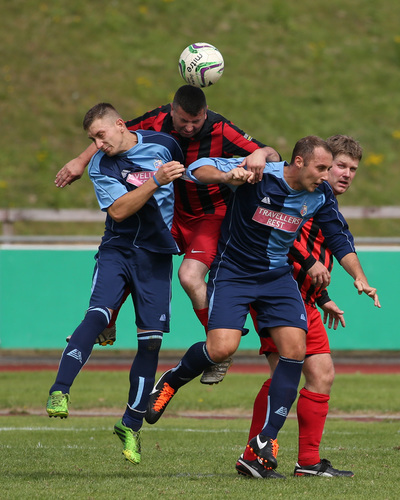 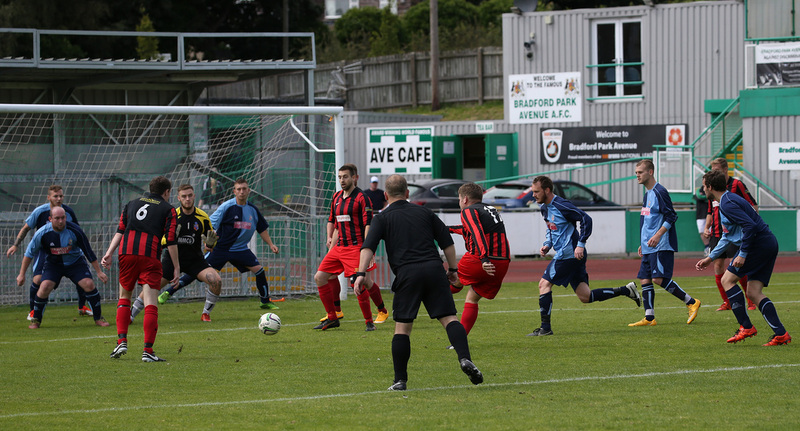 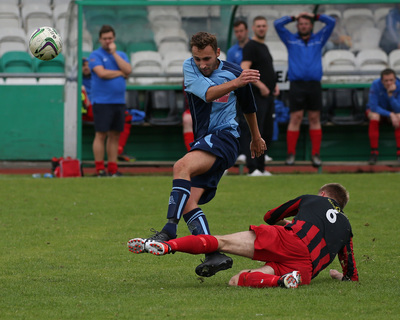 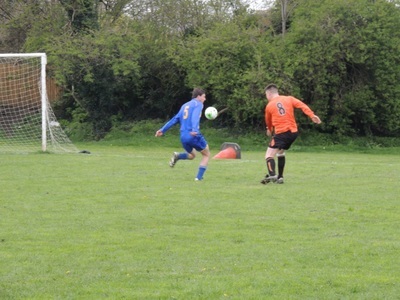 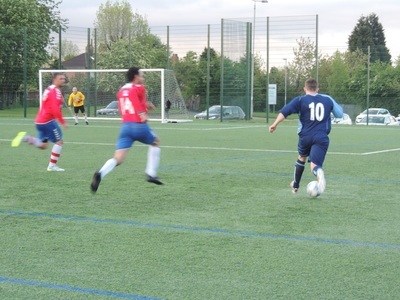 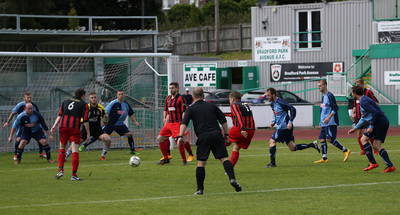 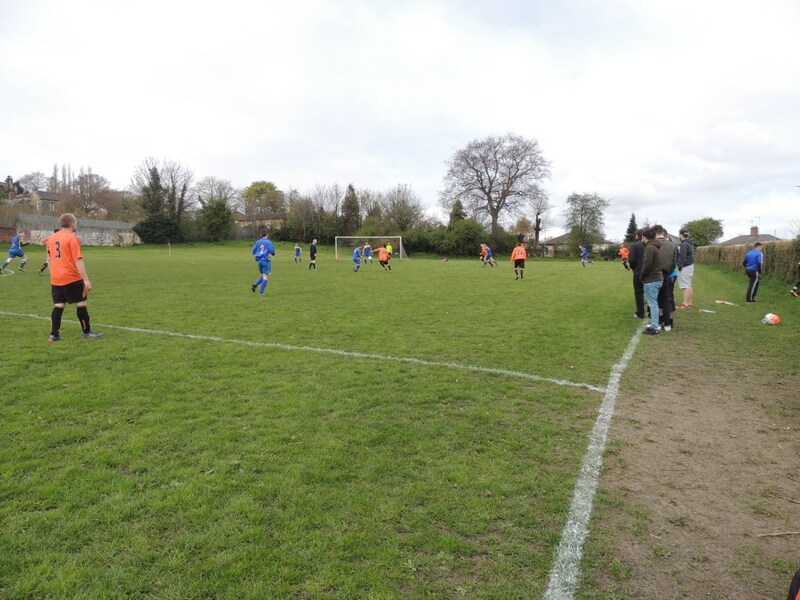 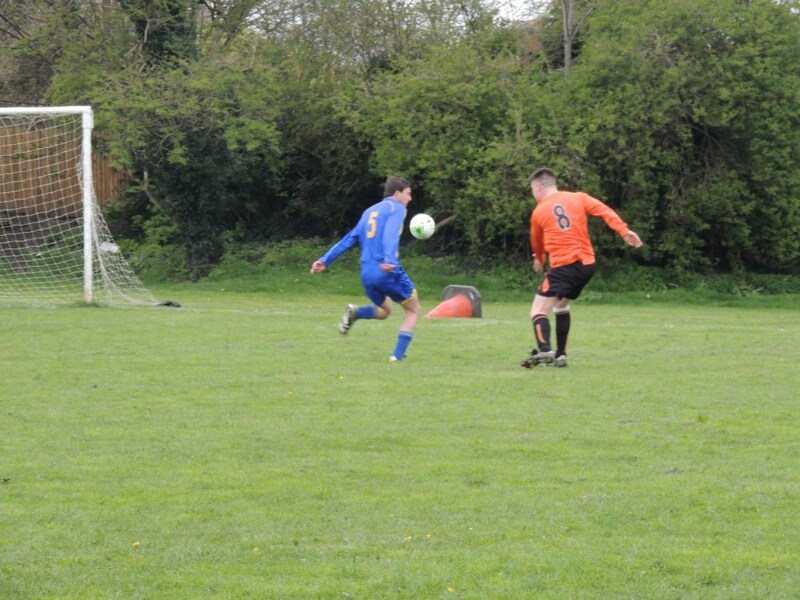 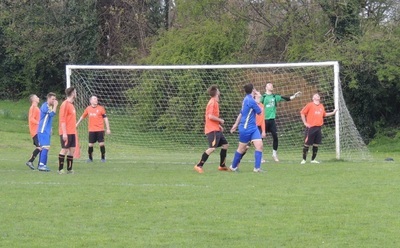 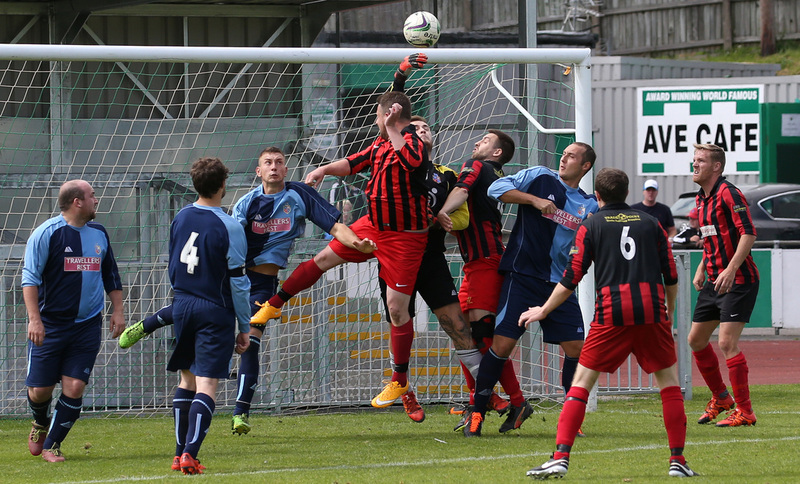 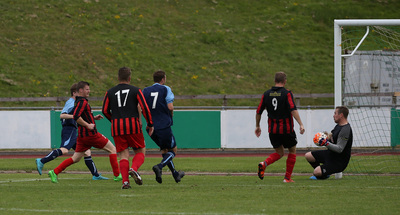 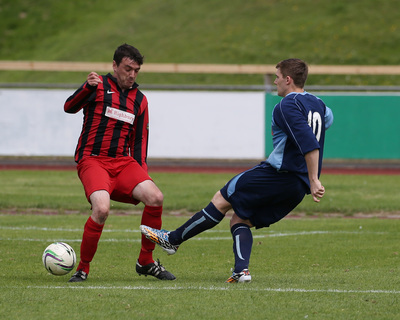 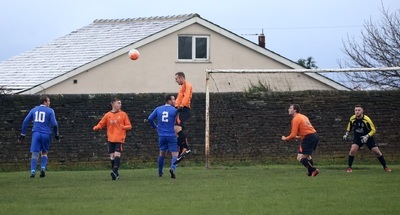 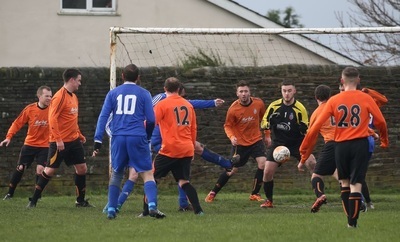 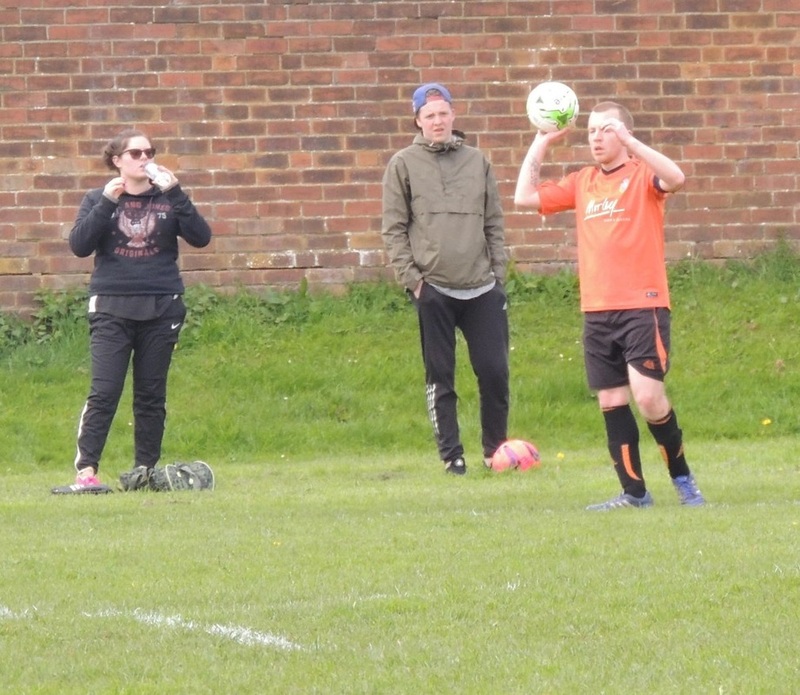 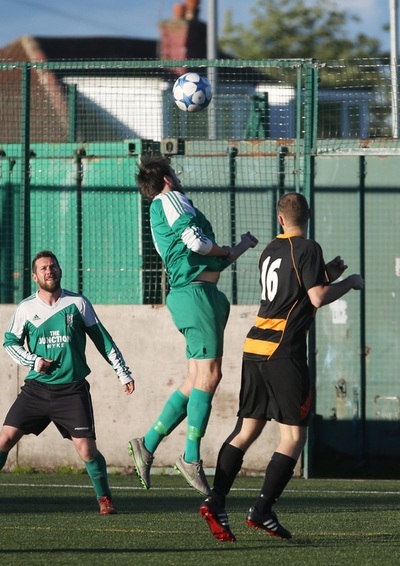 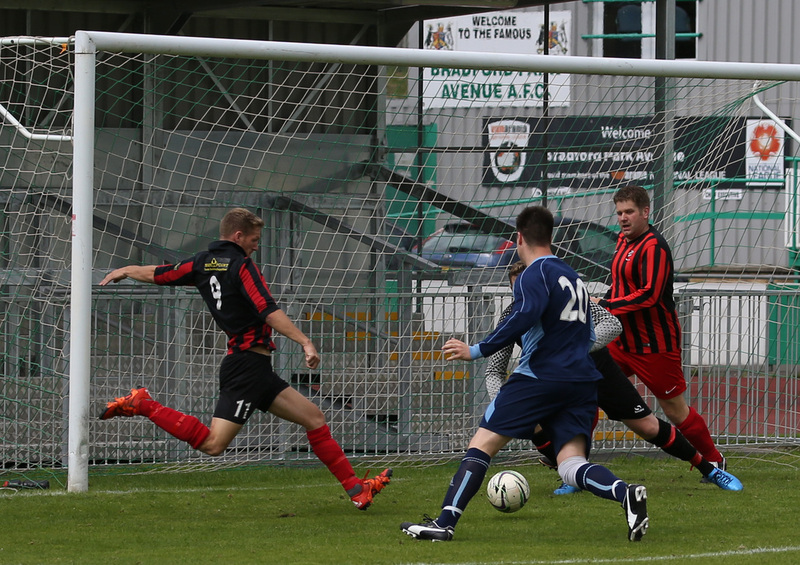 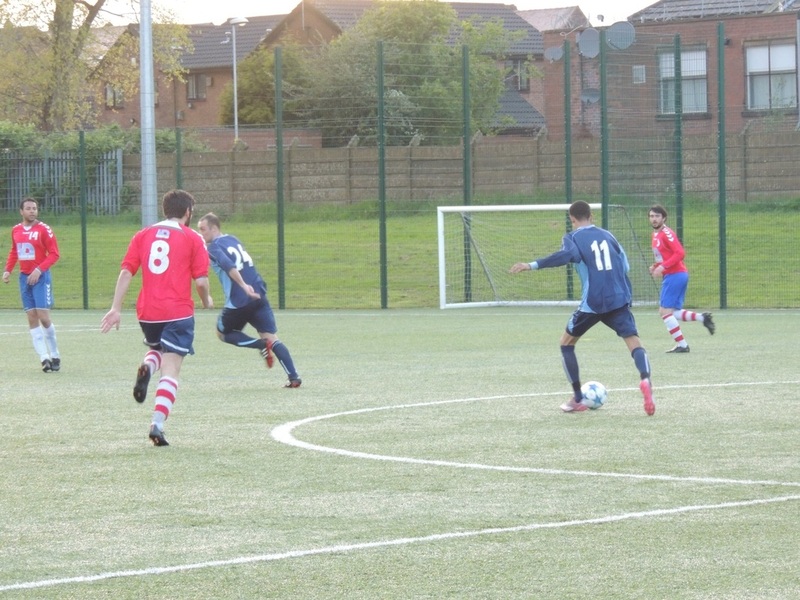 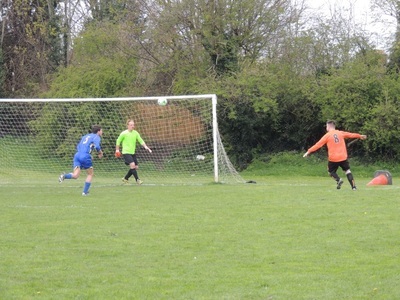 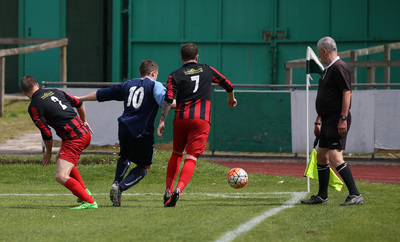 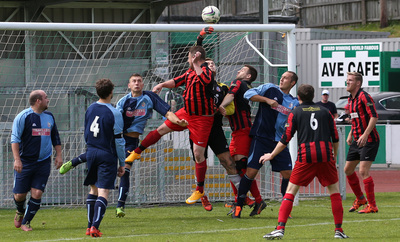 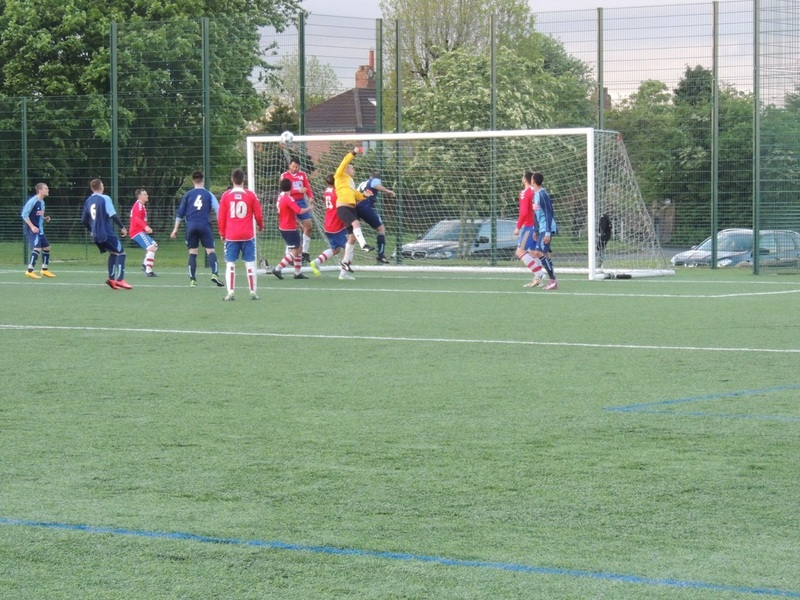 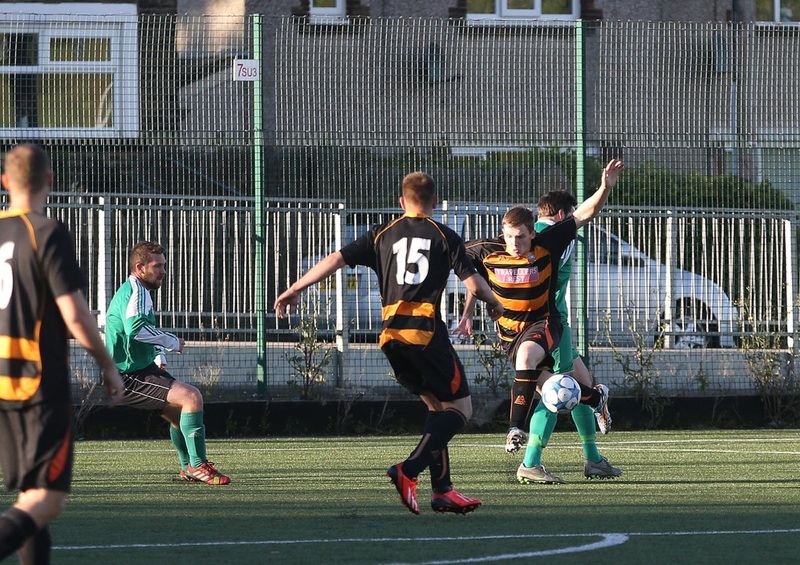 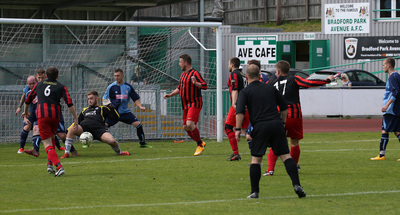 Thanks to Daniel White for the photos of our Jubilee Cup semi-final win over Badri FC. 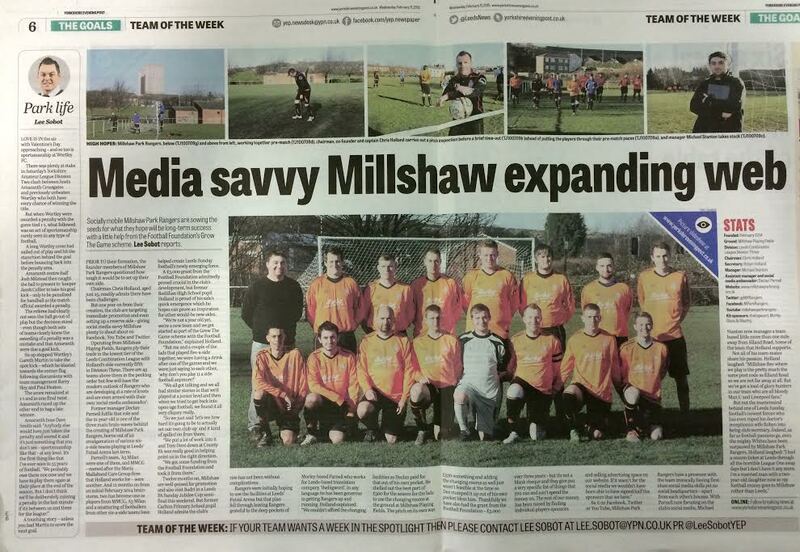 Millshaw Park Rangers were featured as the Yorkshire Evening Post's Team Of The Week in the 11/2/15 edition of the paper. 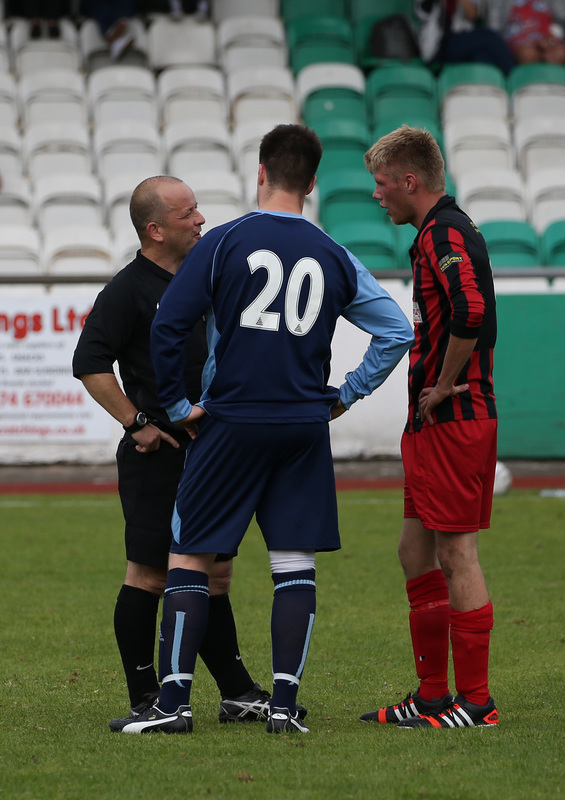 The full article by Lee Sobot can be seen here. 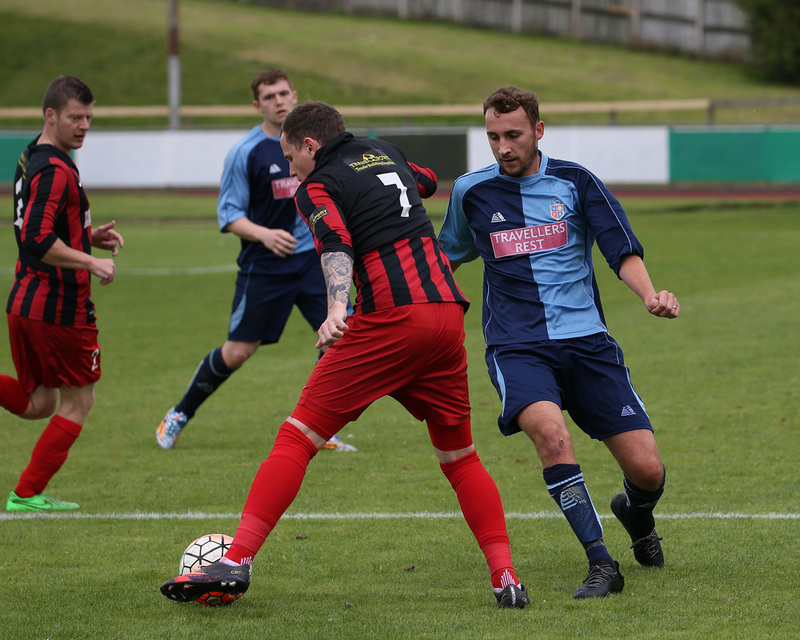 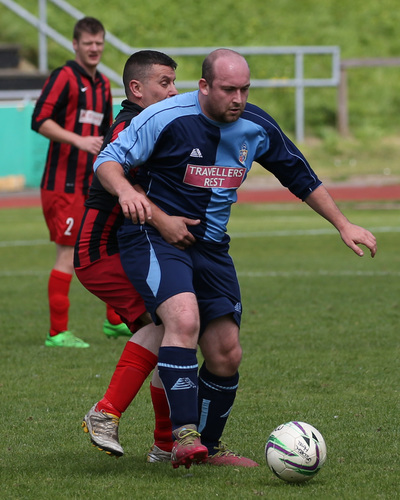 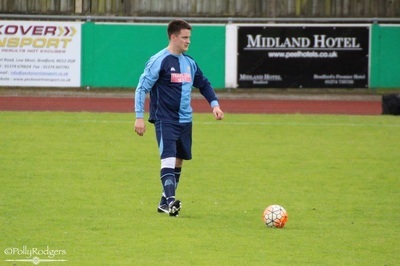 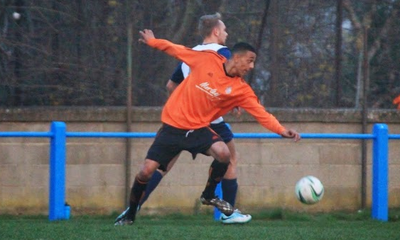 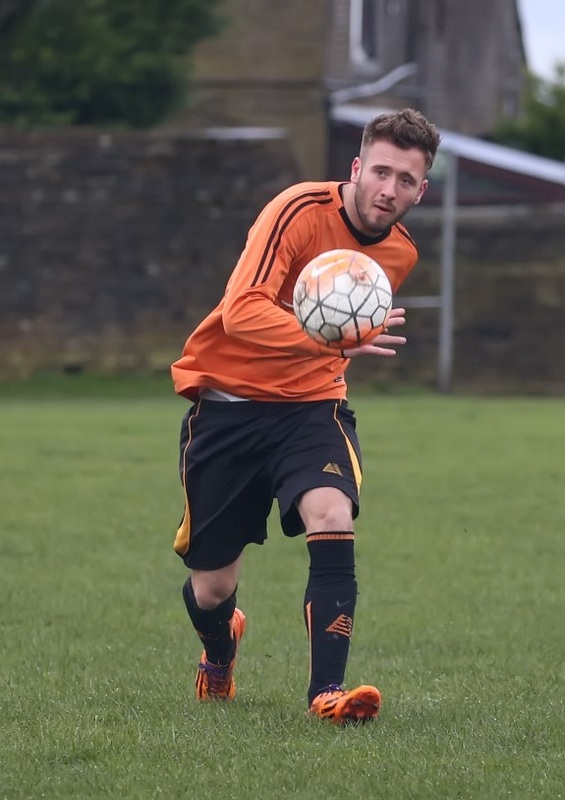 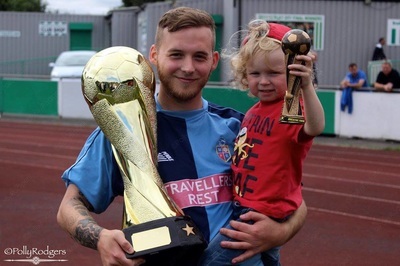 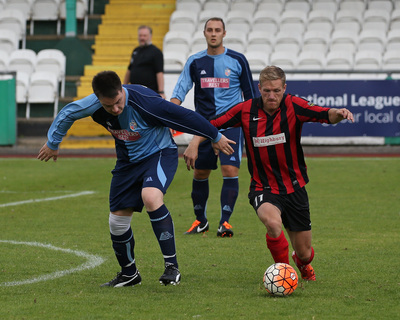 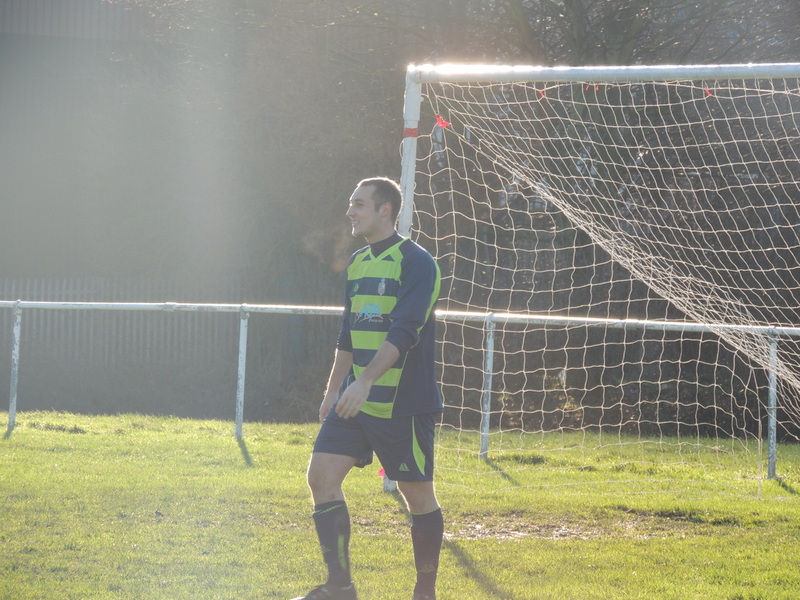 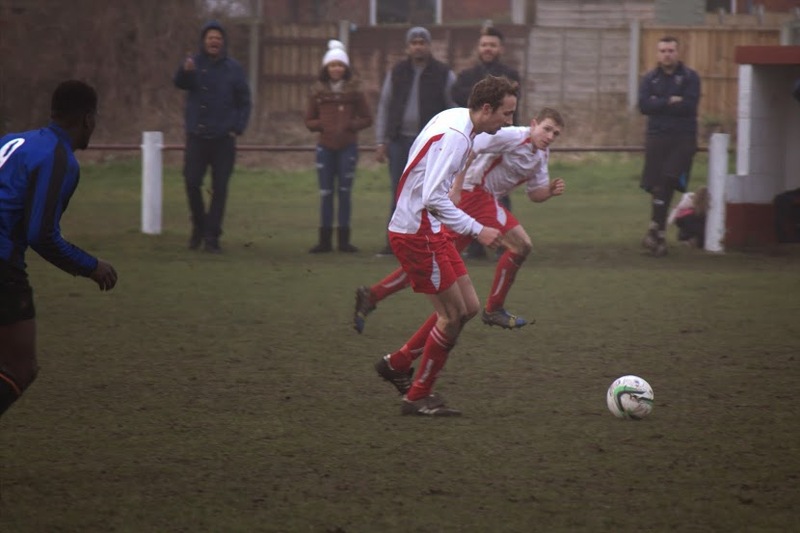 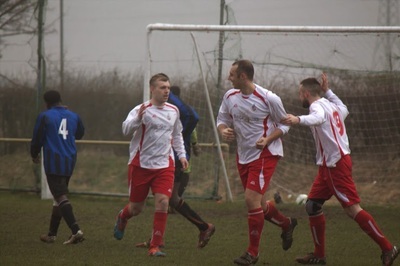 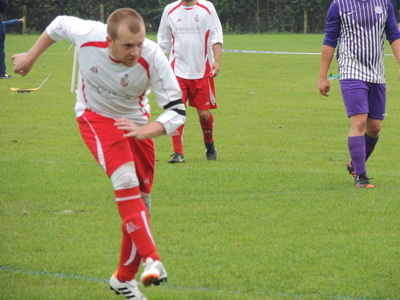 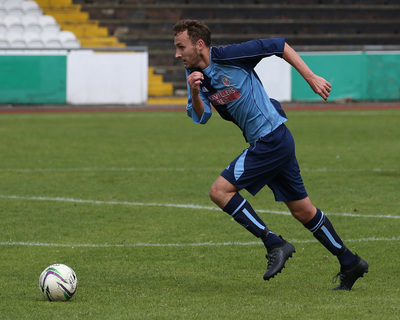 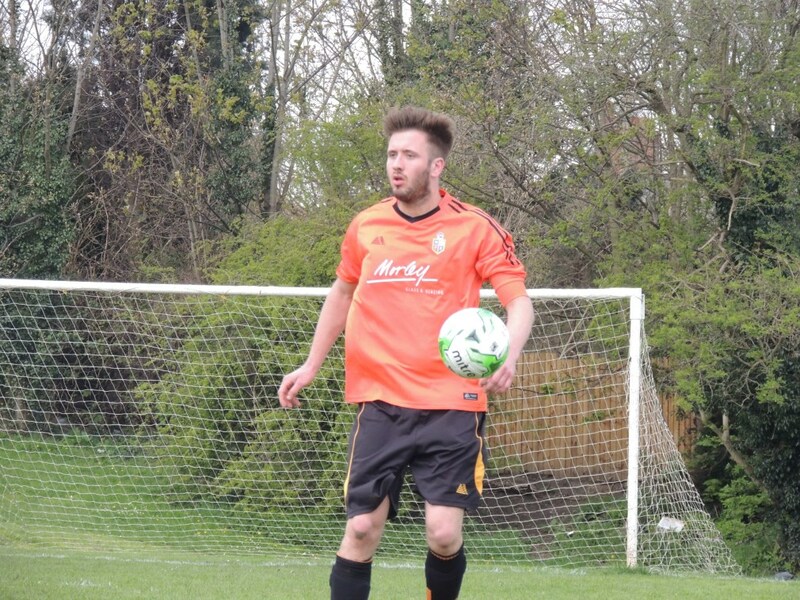 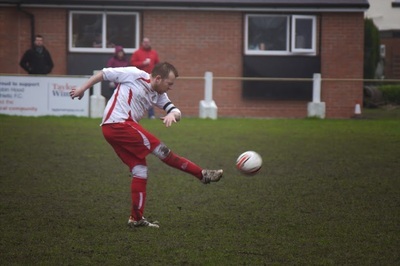 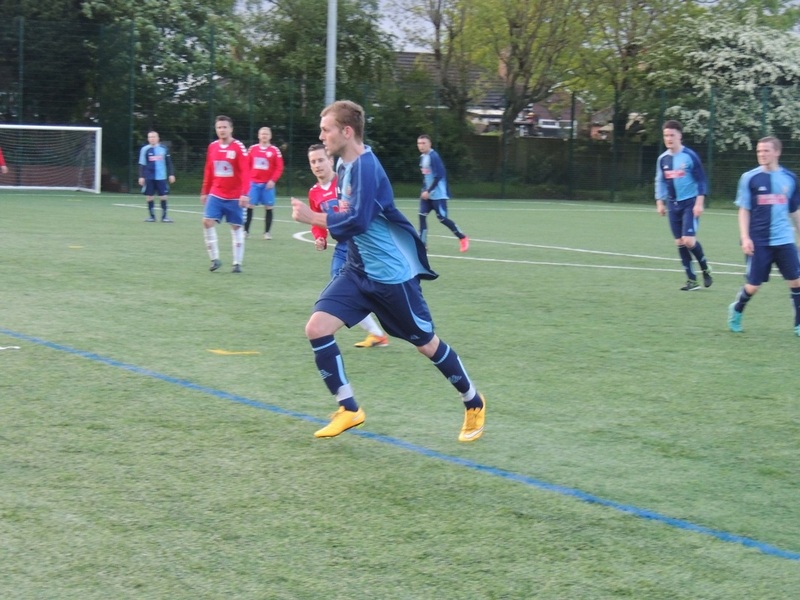 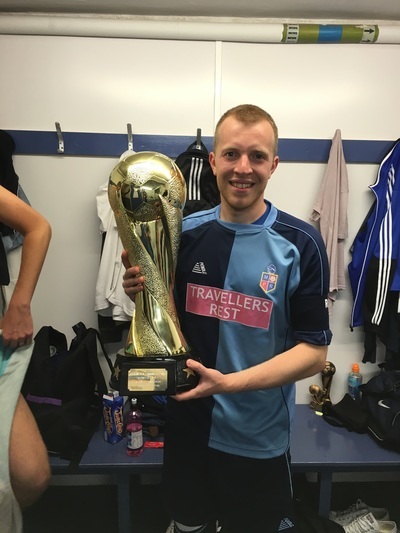 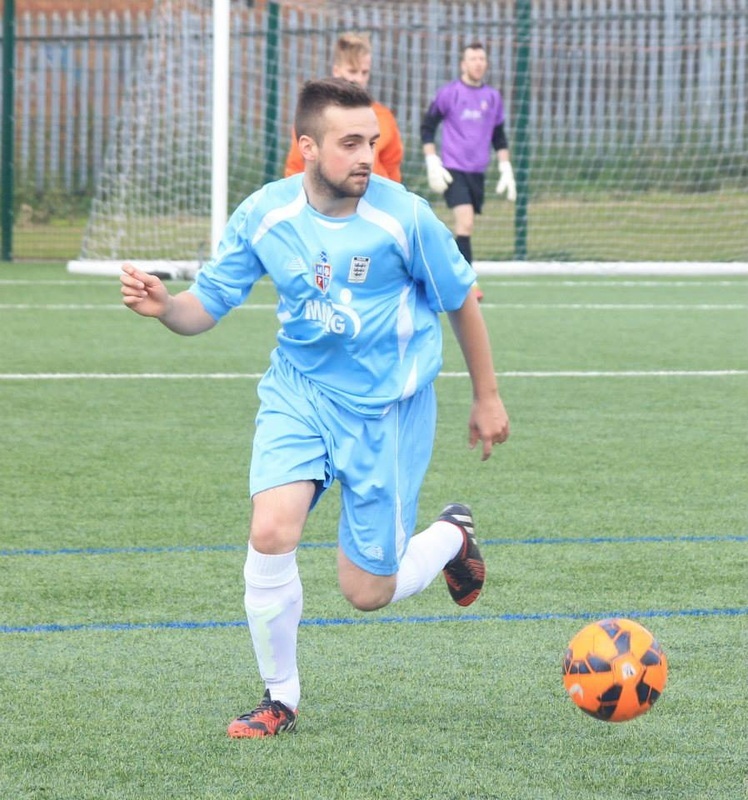 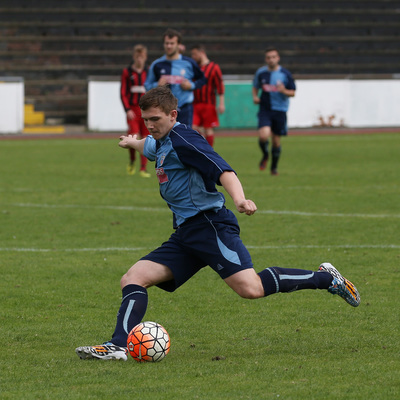 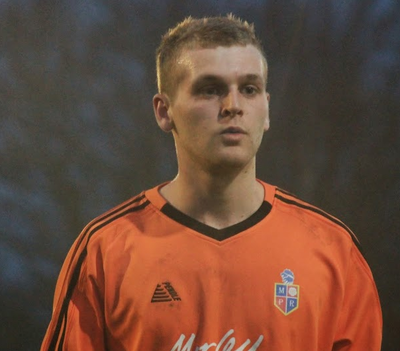 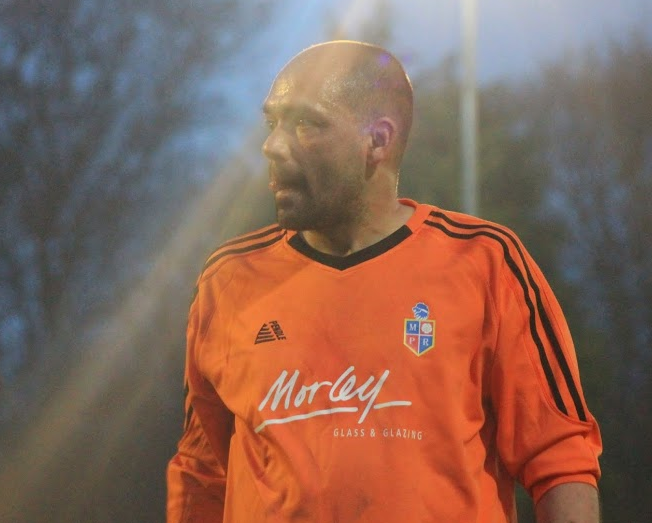 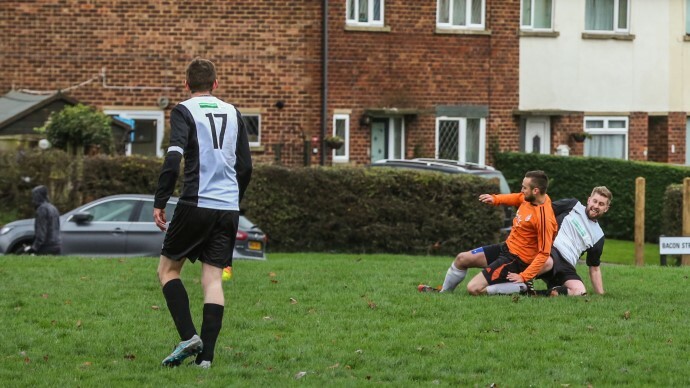 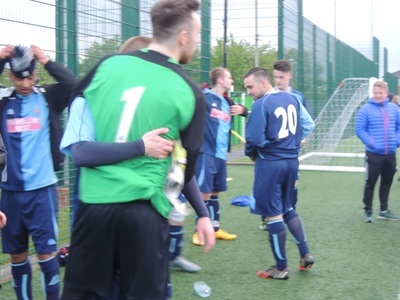 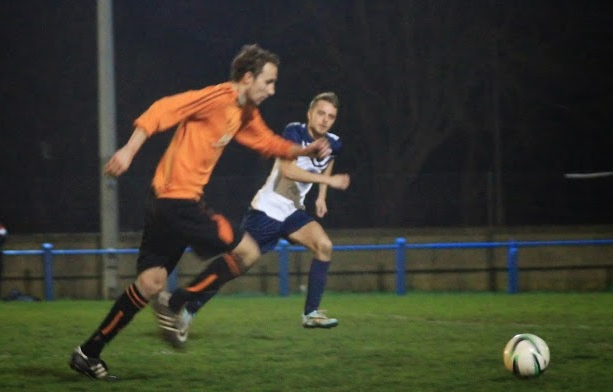 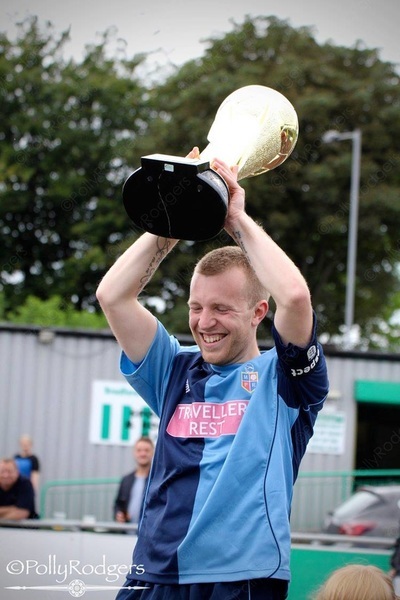 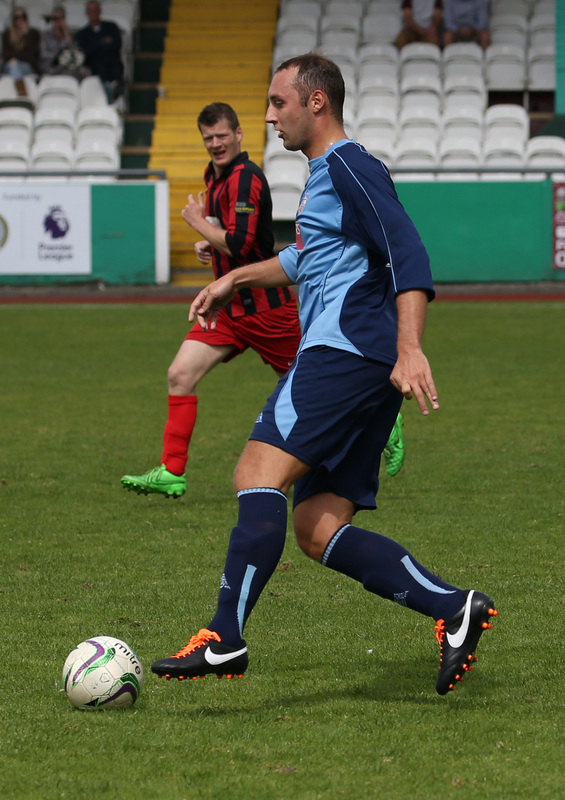 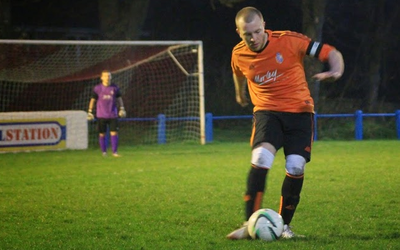 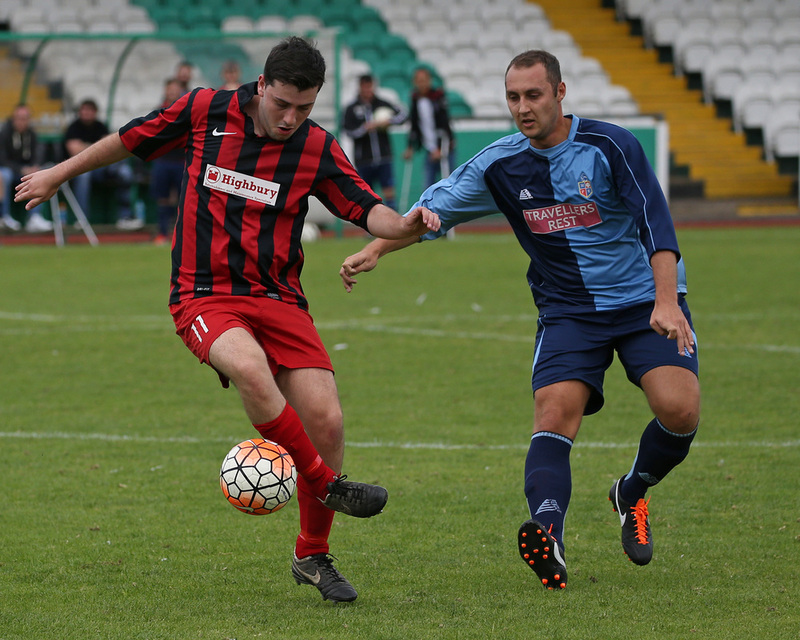 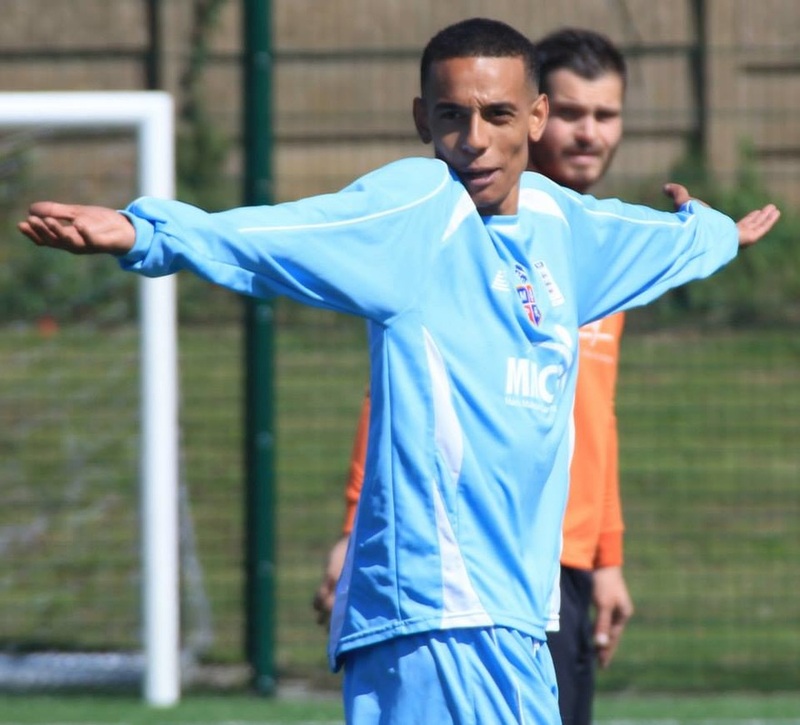 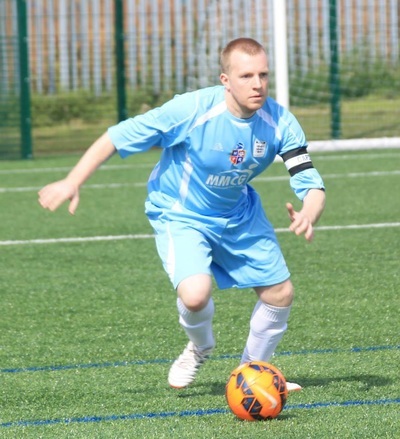 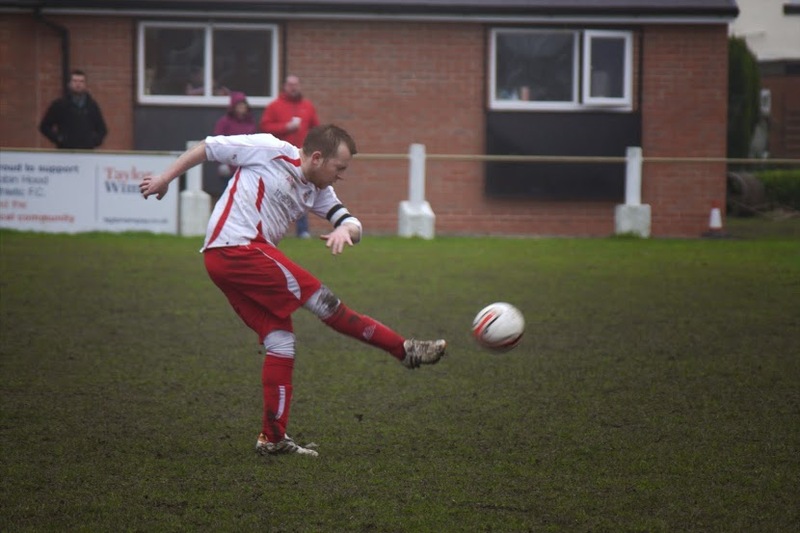 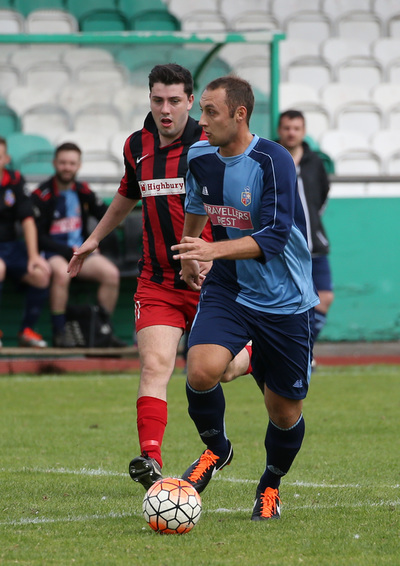 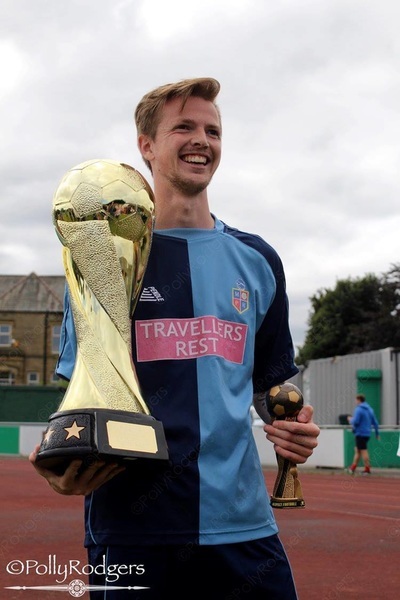 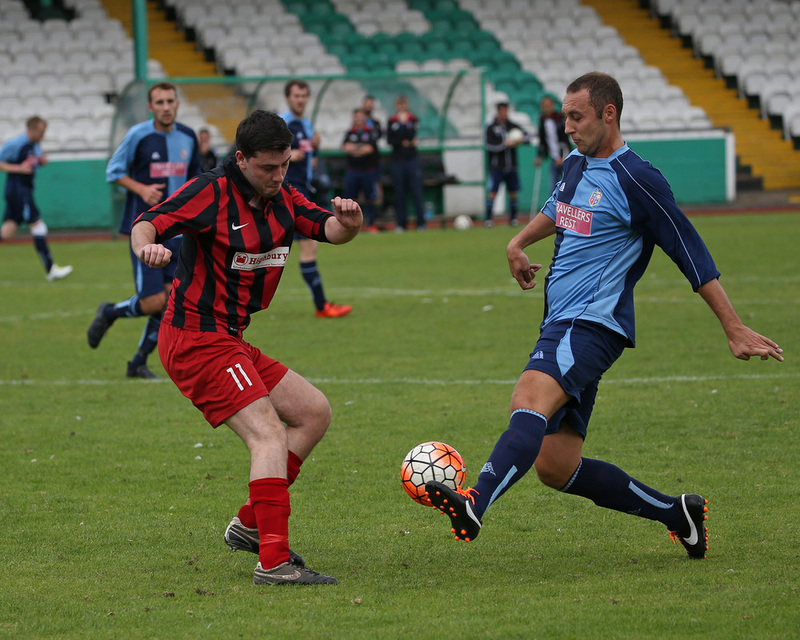 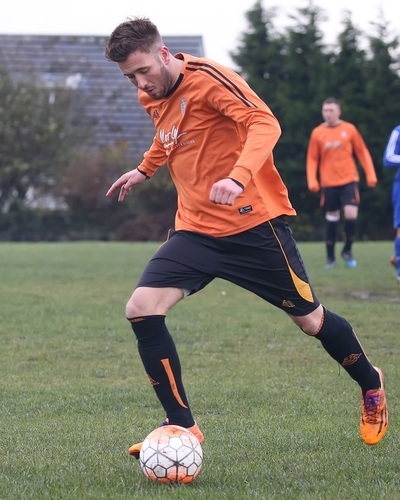 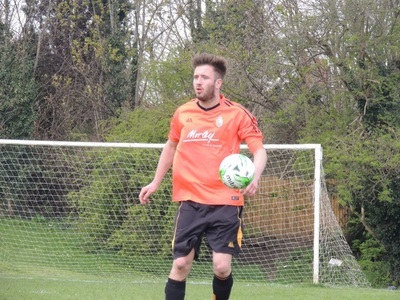 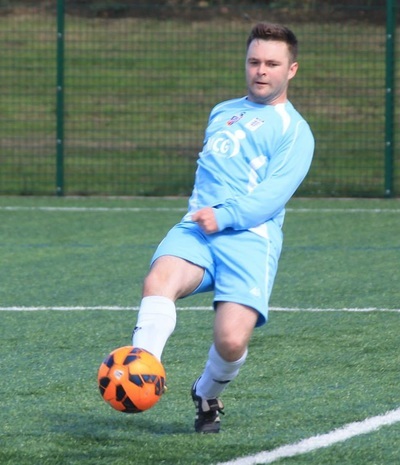 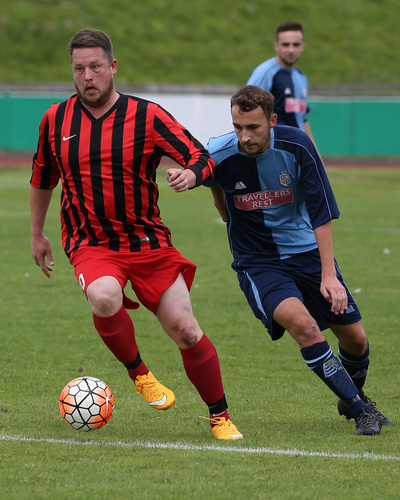 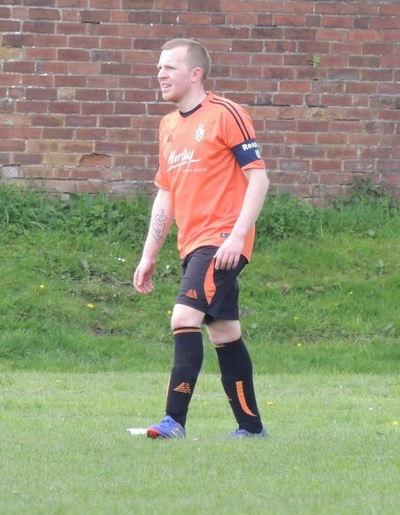 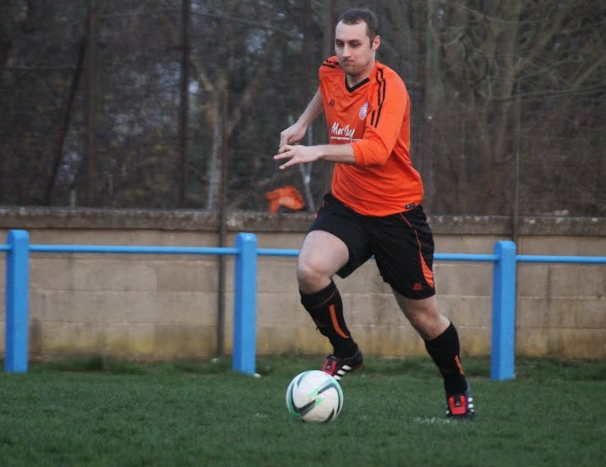 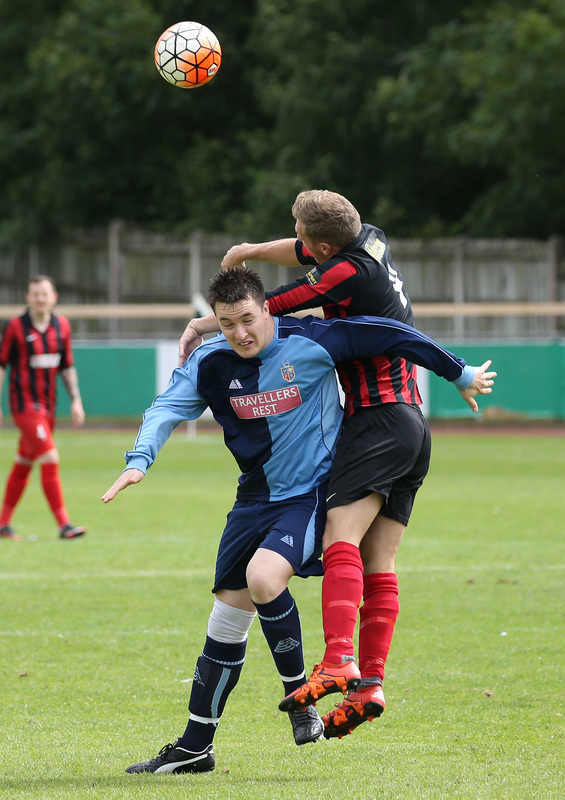 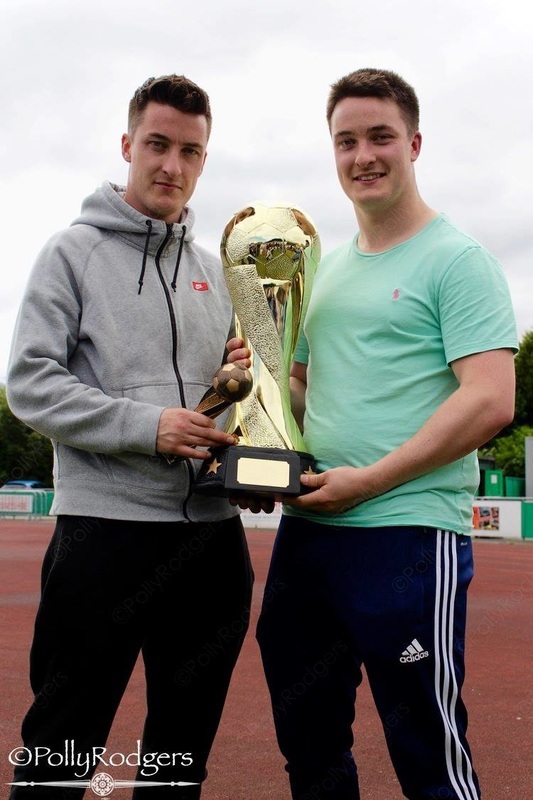 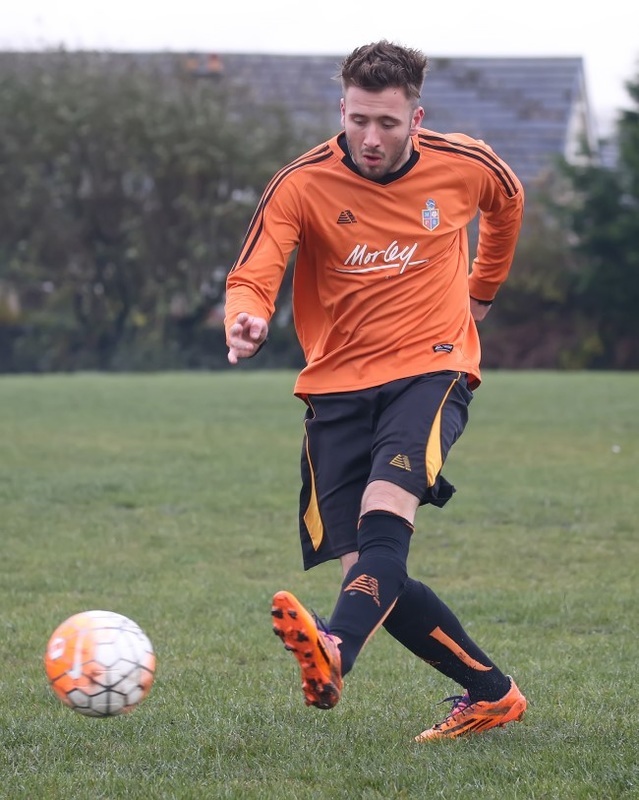 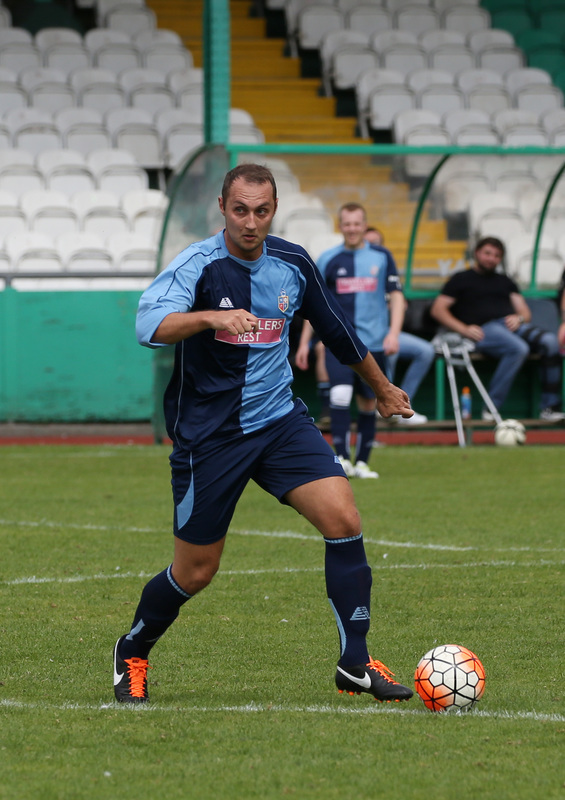 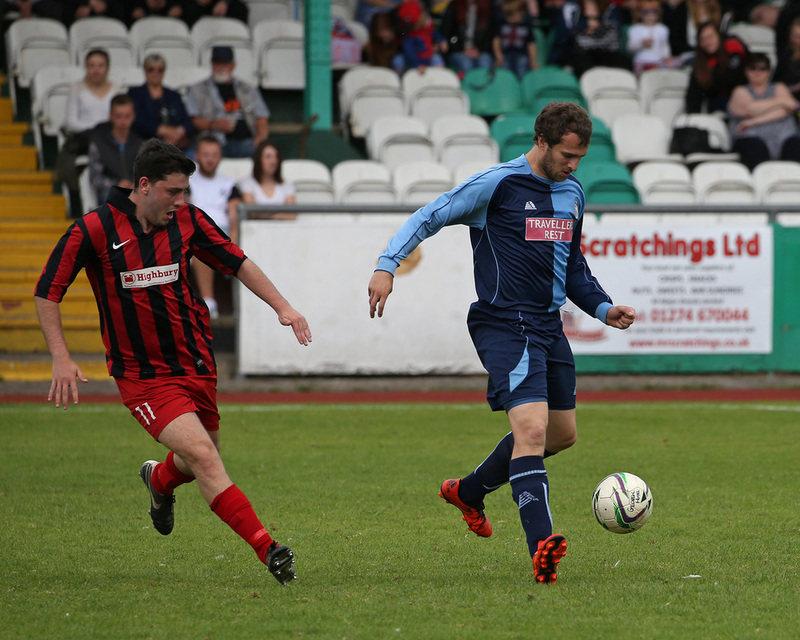 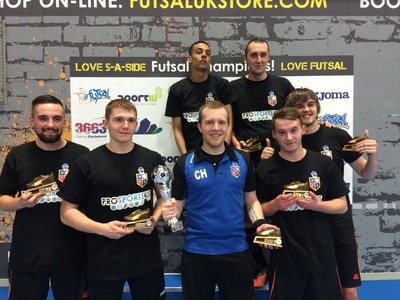 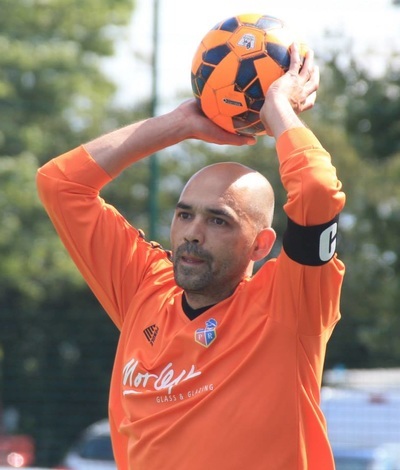 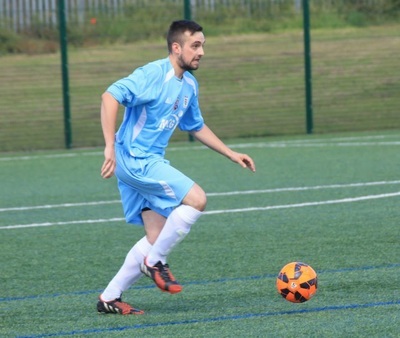 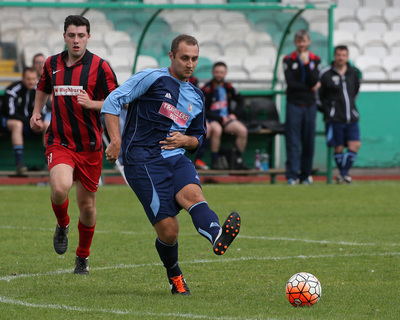 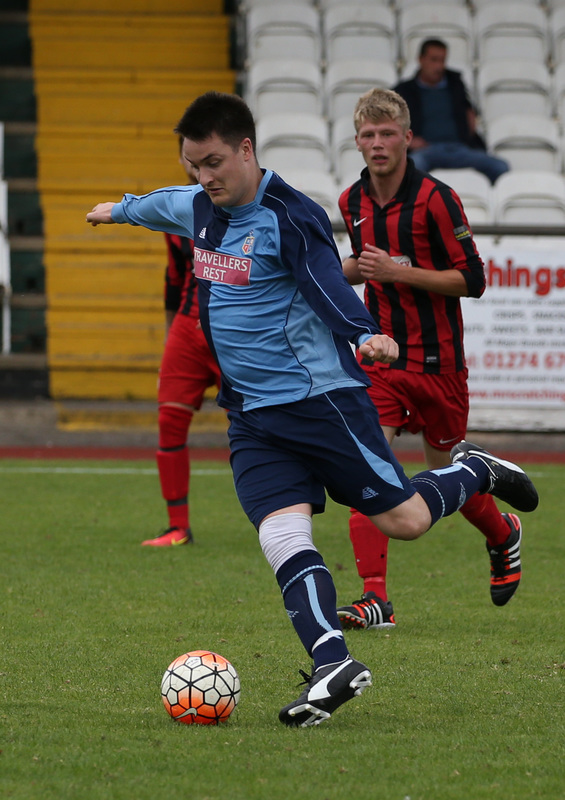 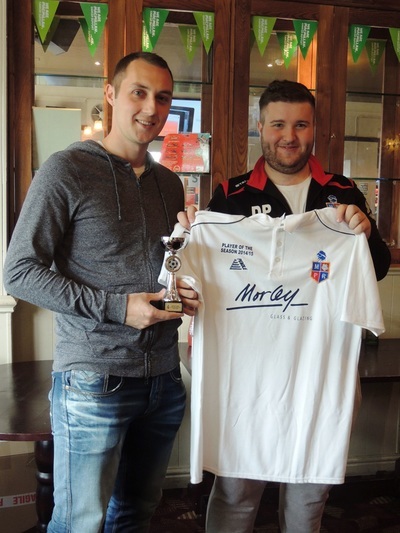 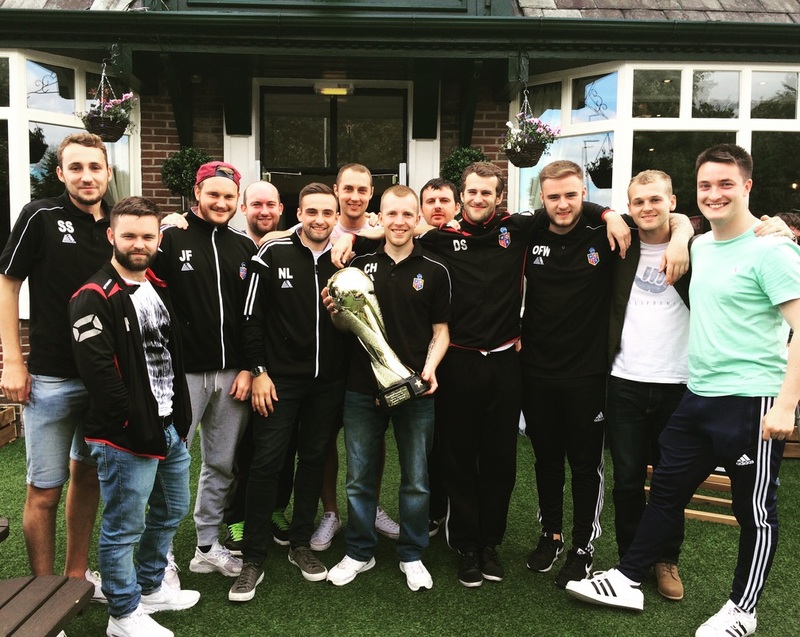 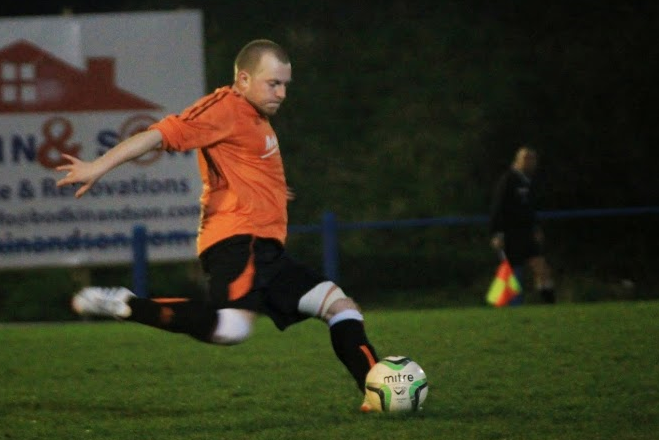 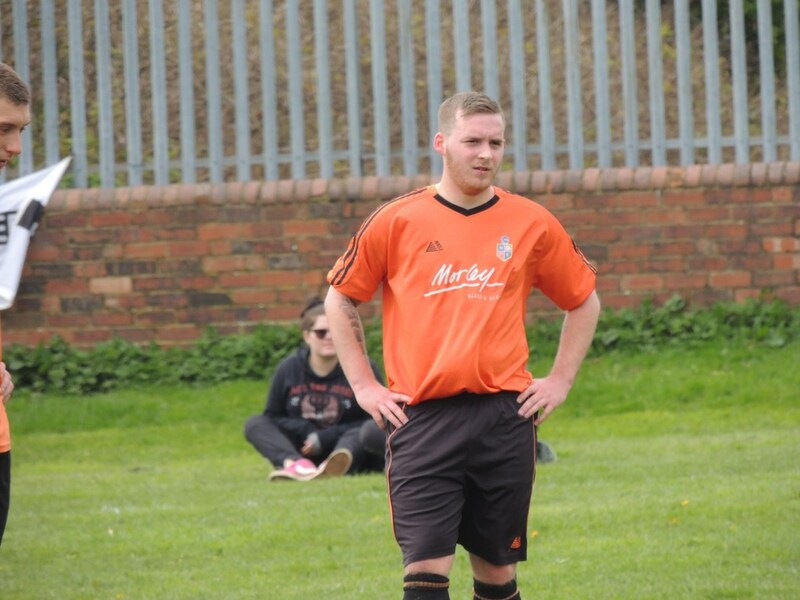 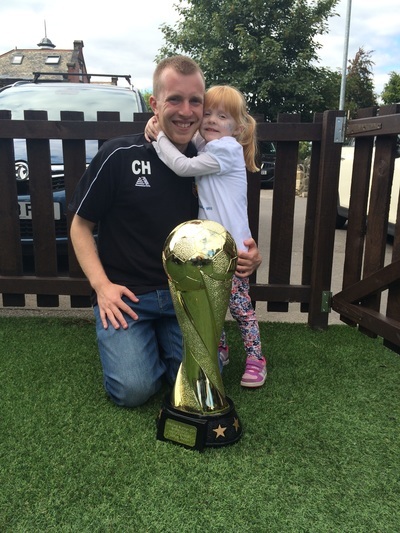 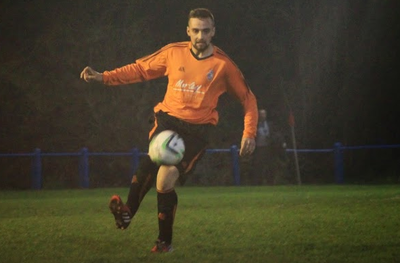 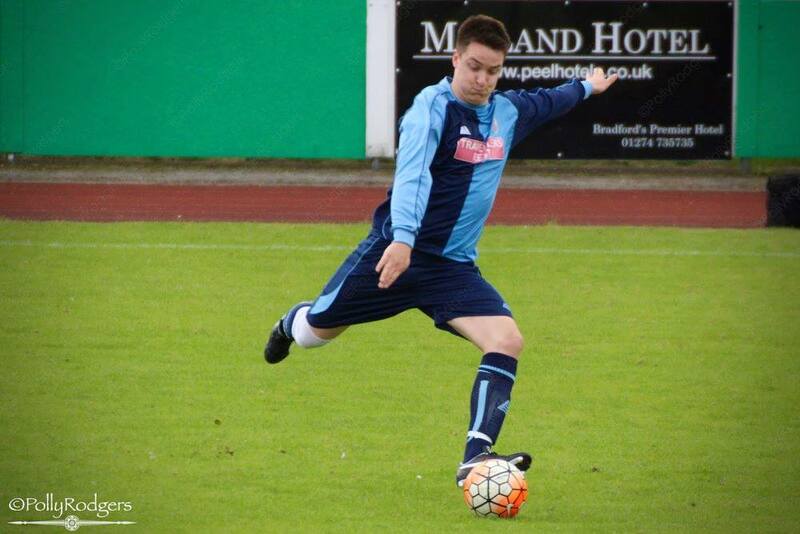 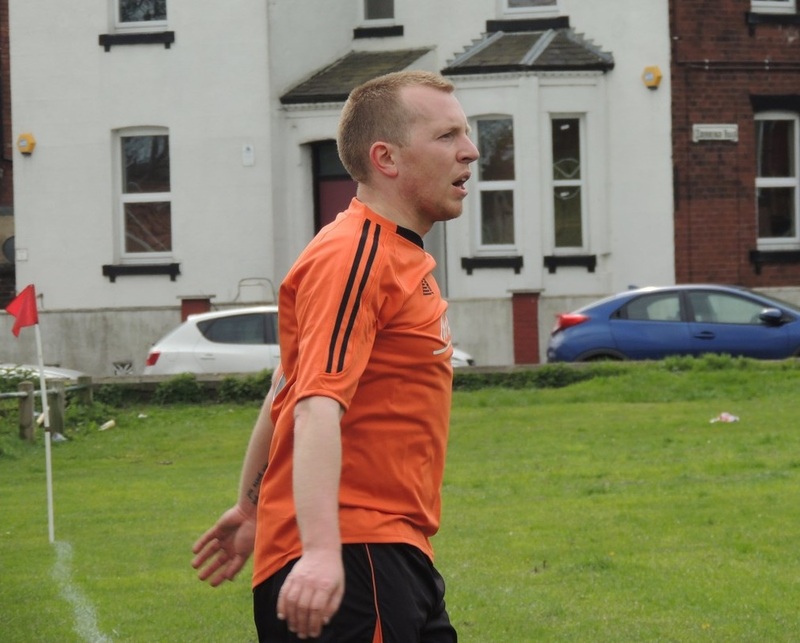 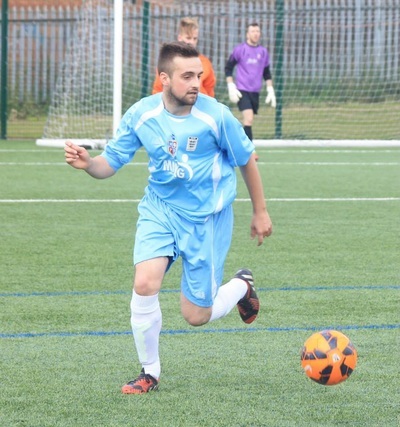 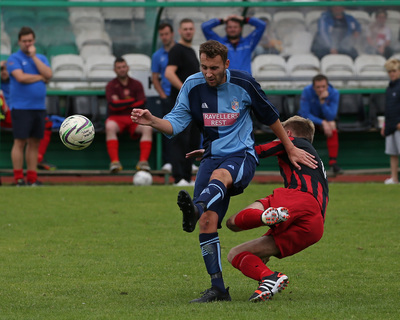 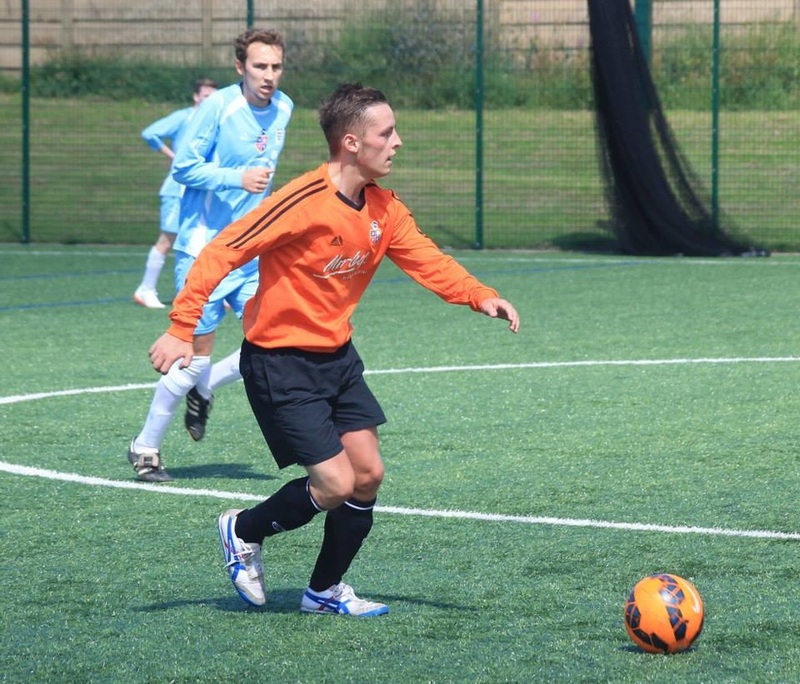 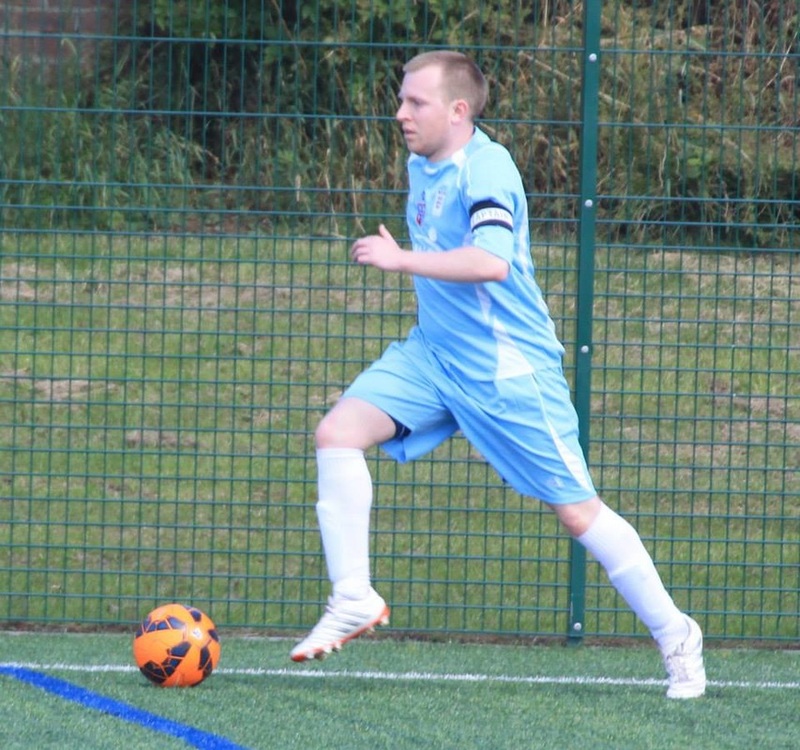 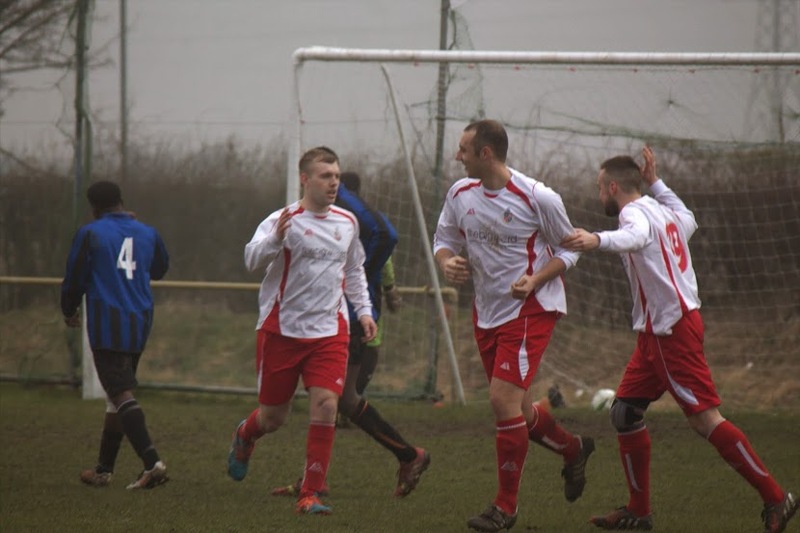 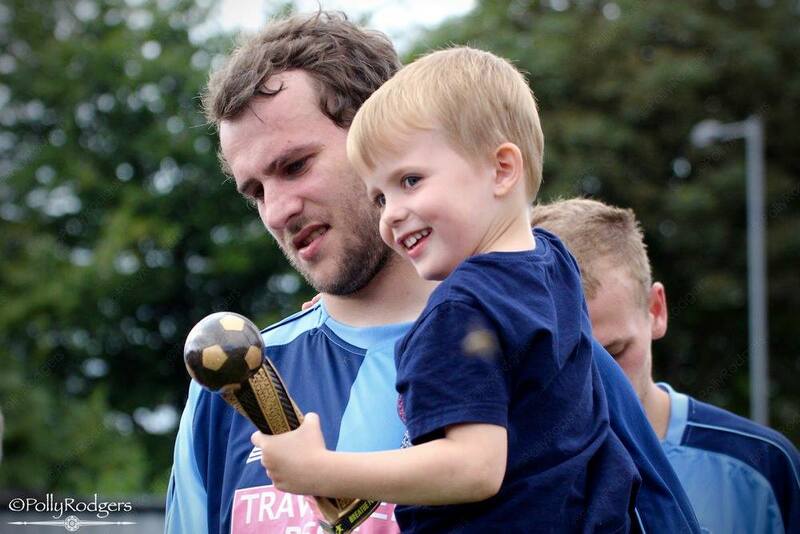 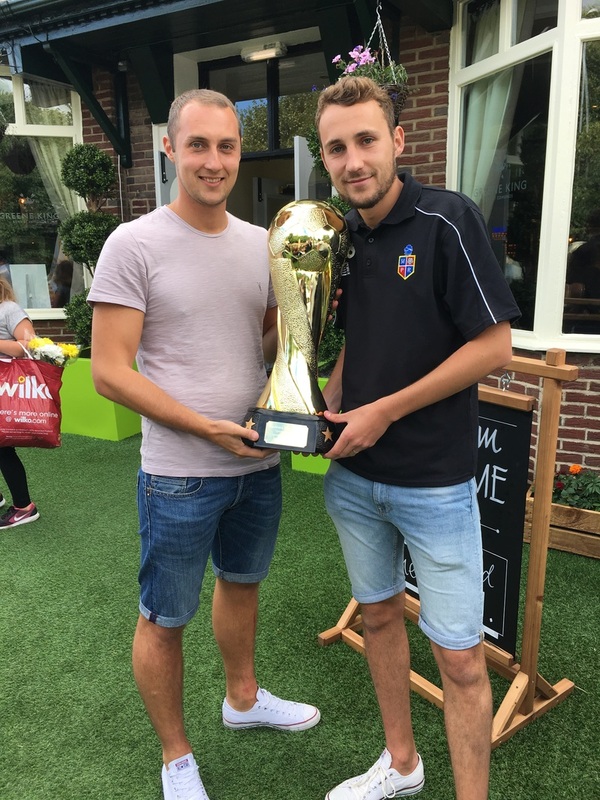 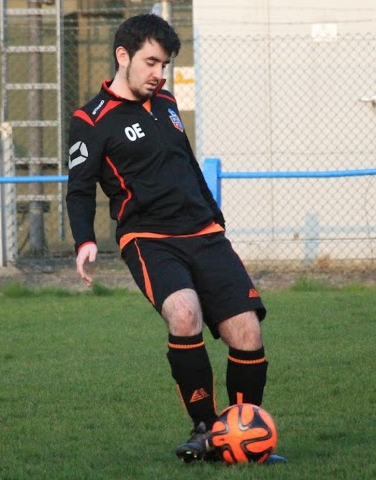 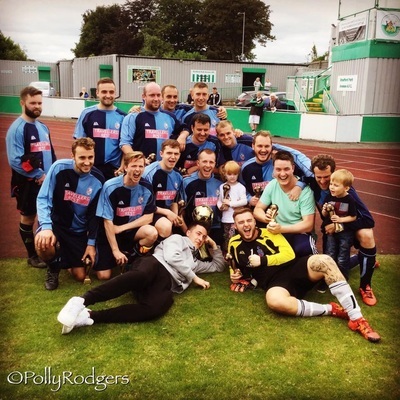 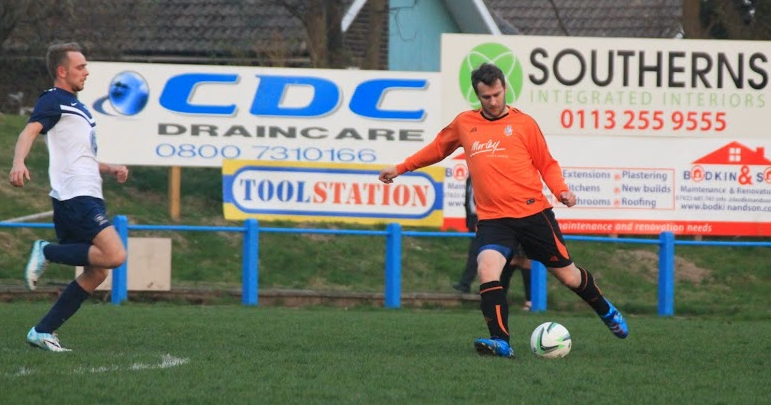 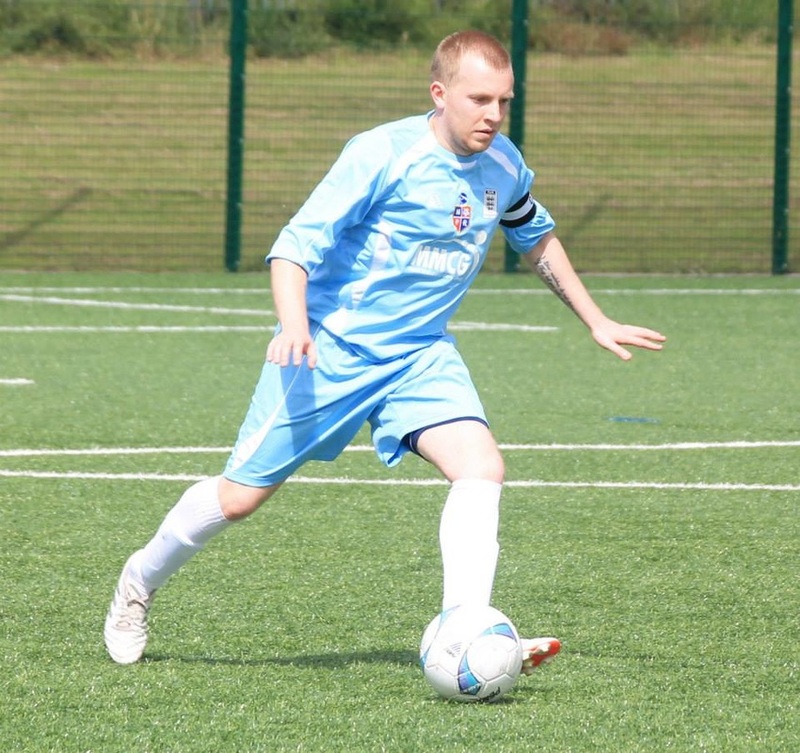 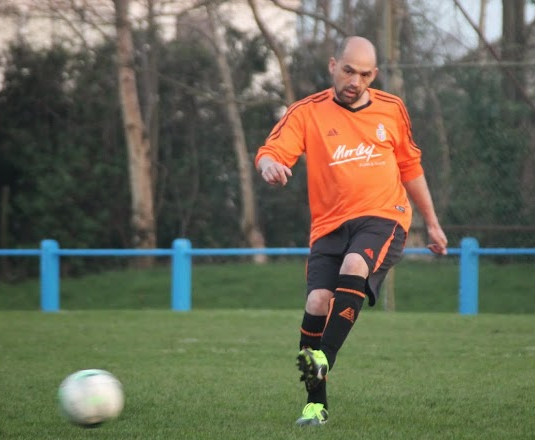 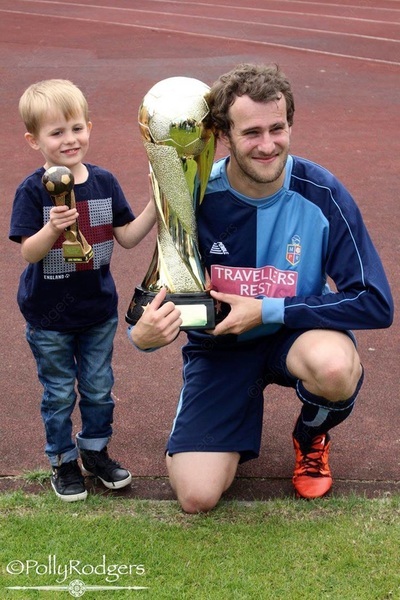 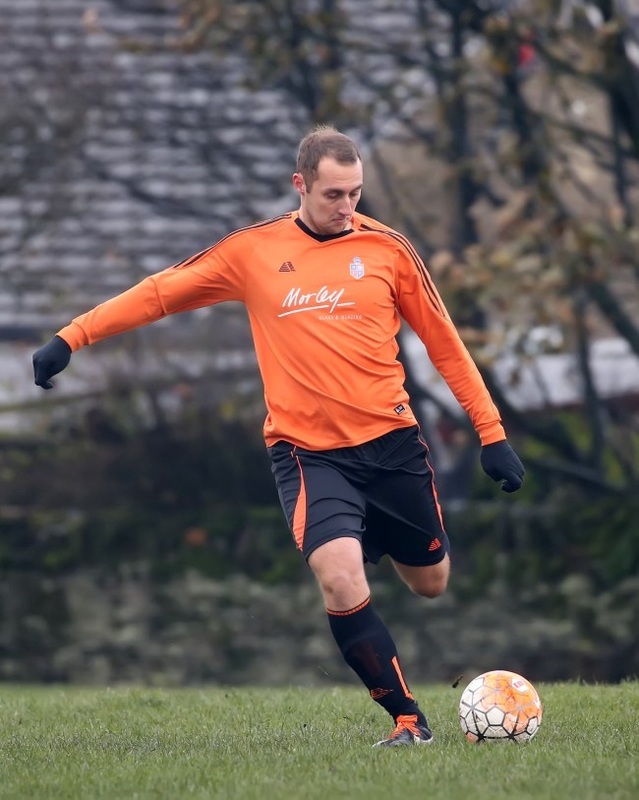 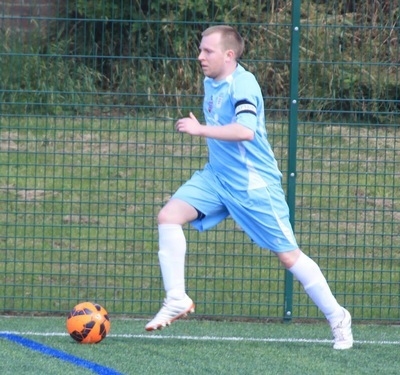 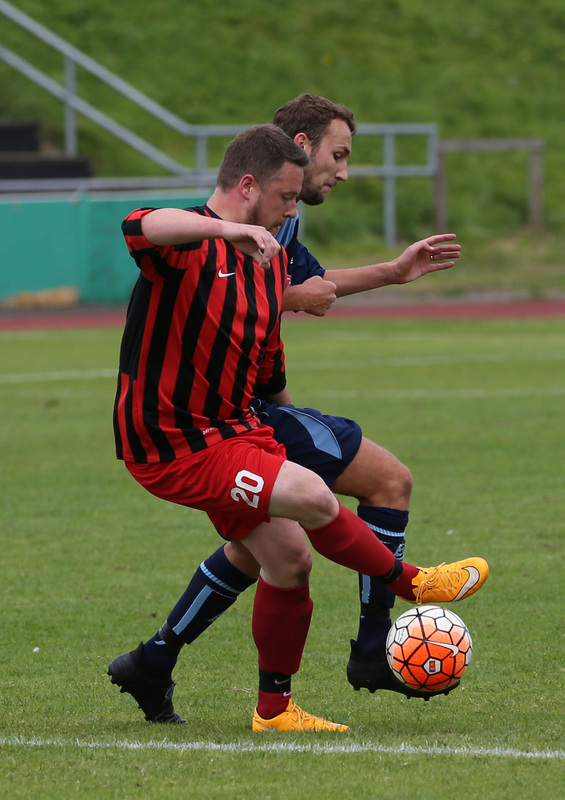 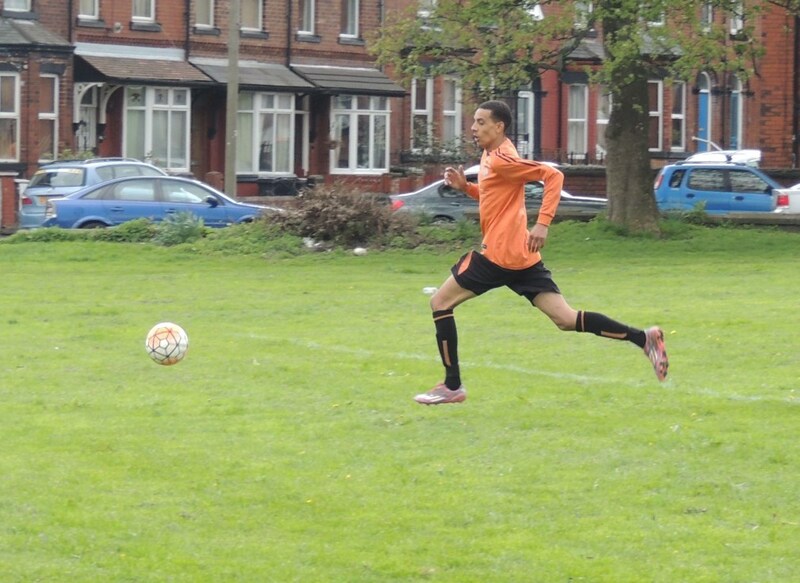 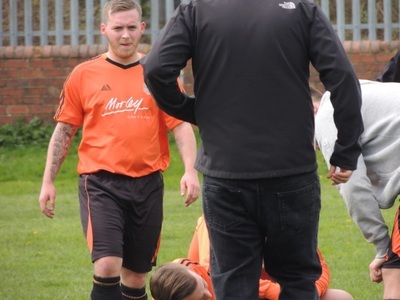 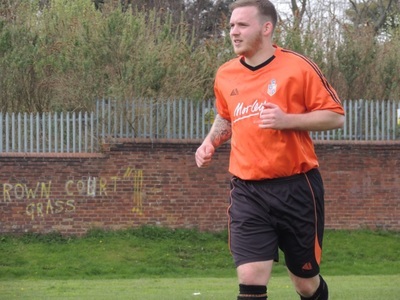 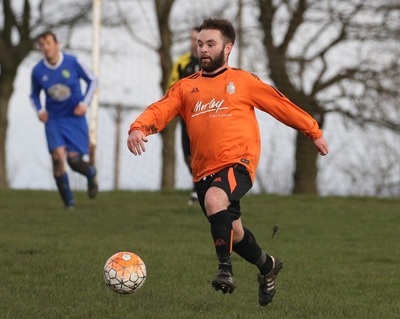 Millshaw striker Chris Ward struck a 90th minute winner to give Millshaw a 4-3 win over Bedford Arms in our final game of 2014. 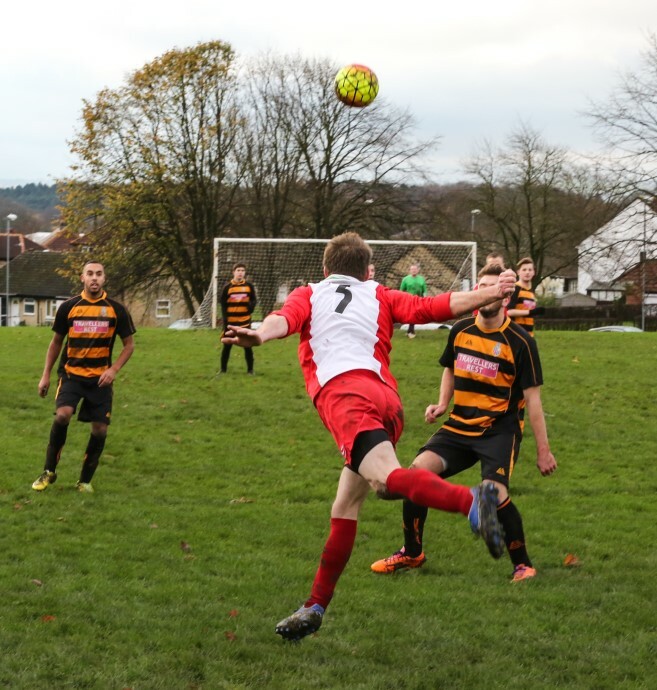 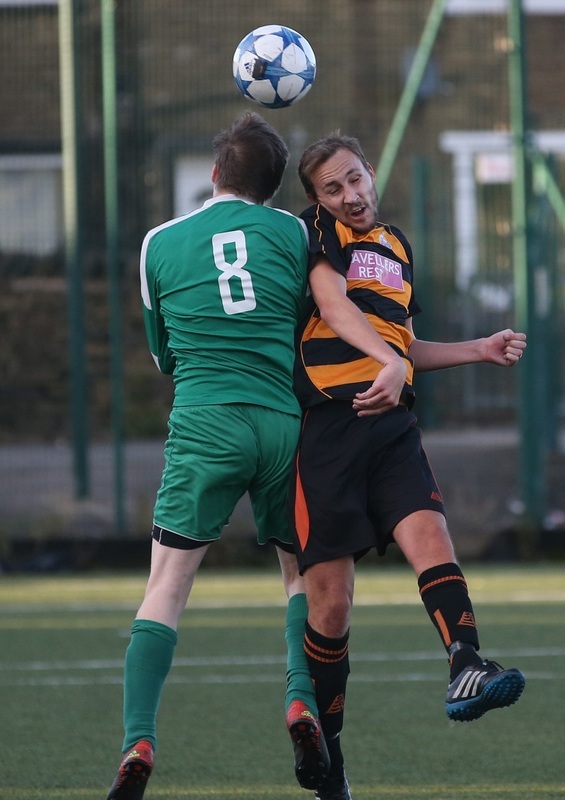 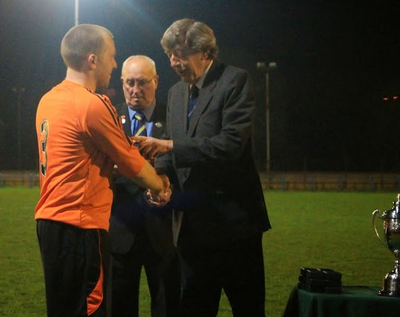 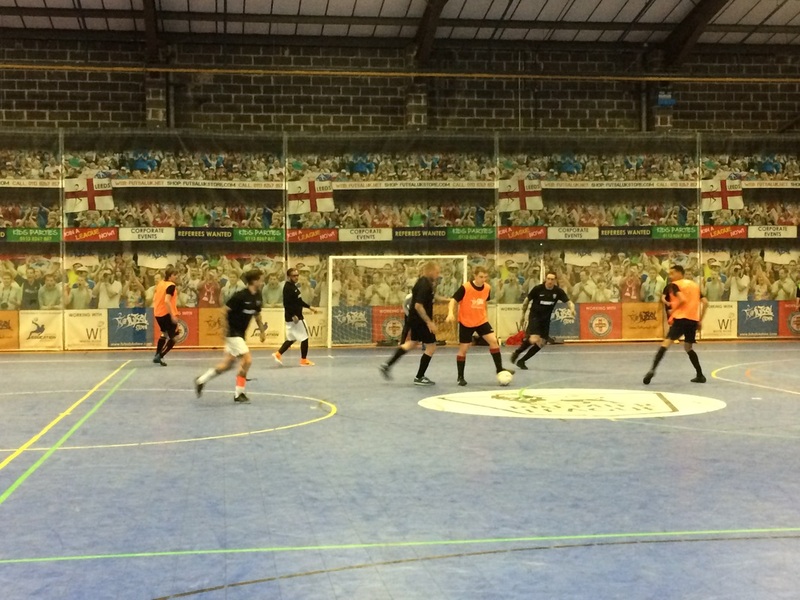 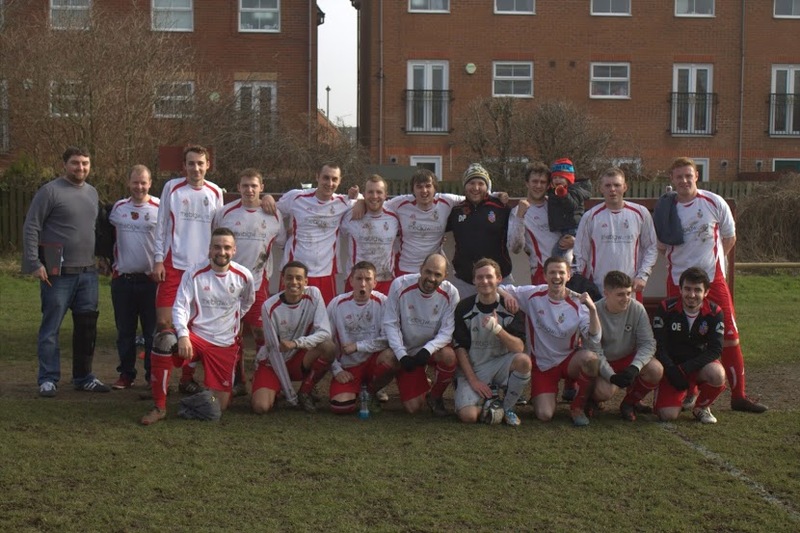 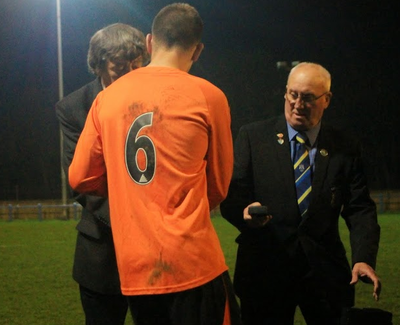 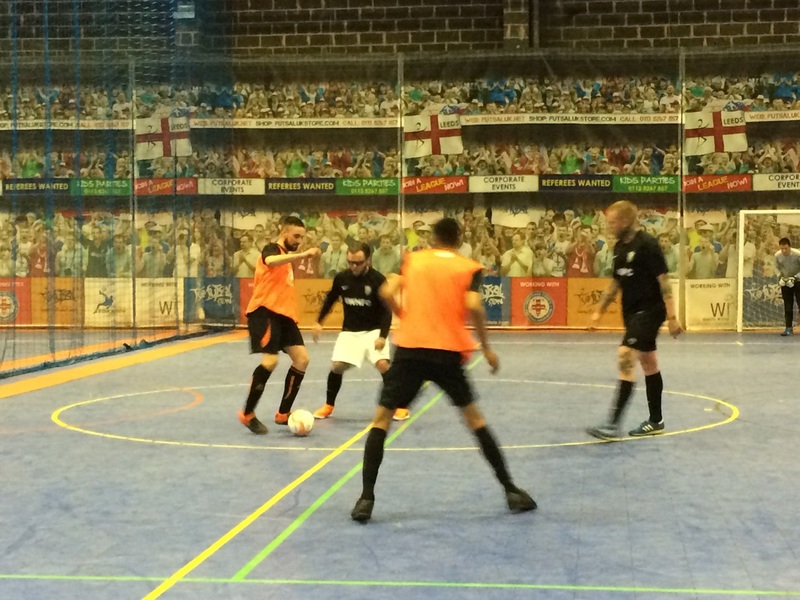 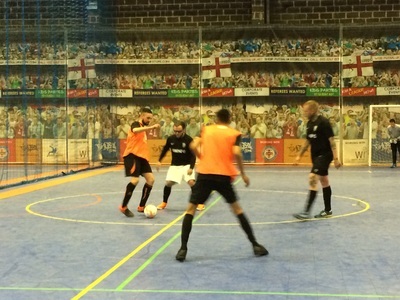 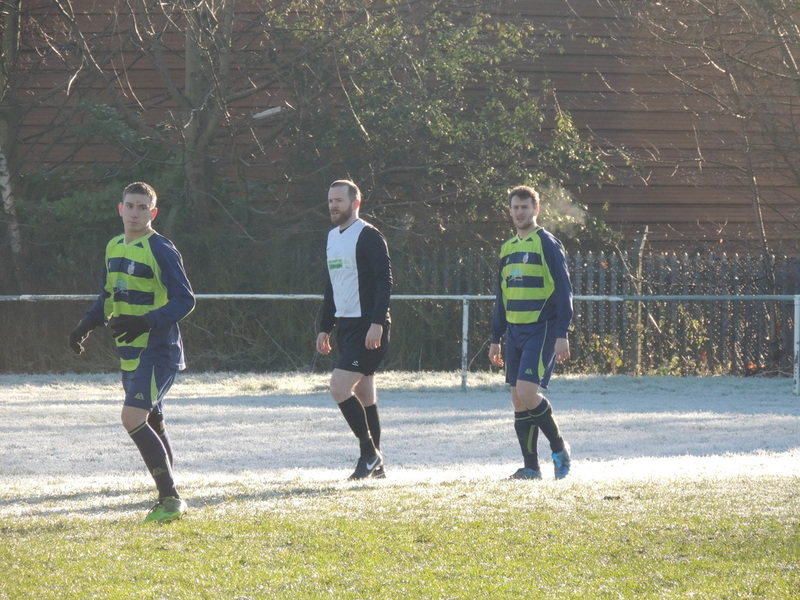 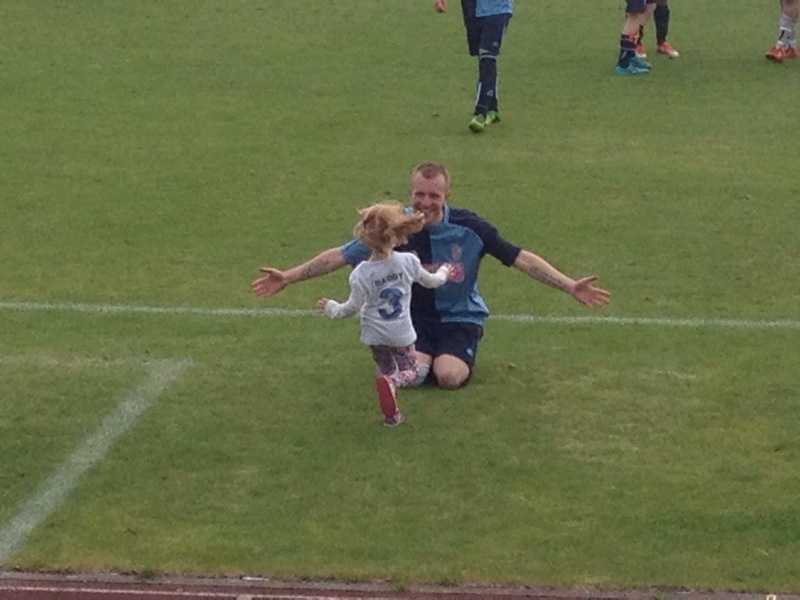 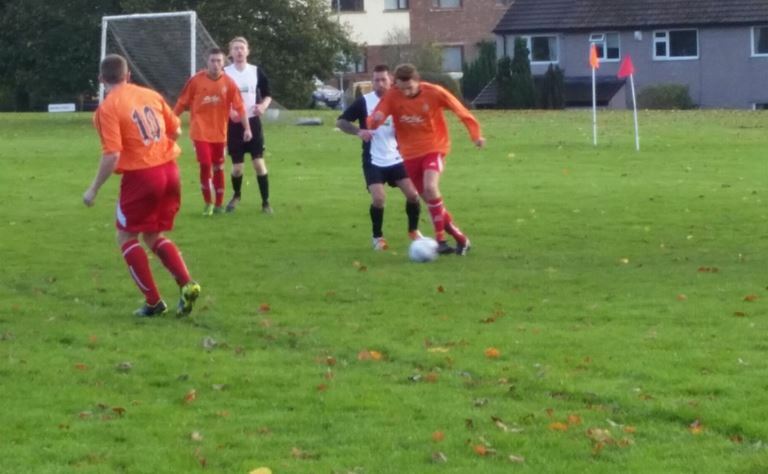 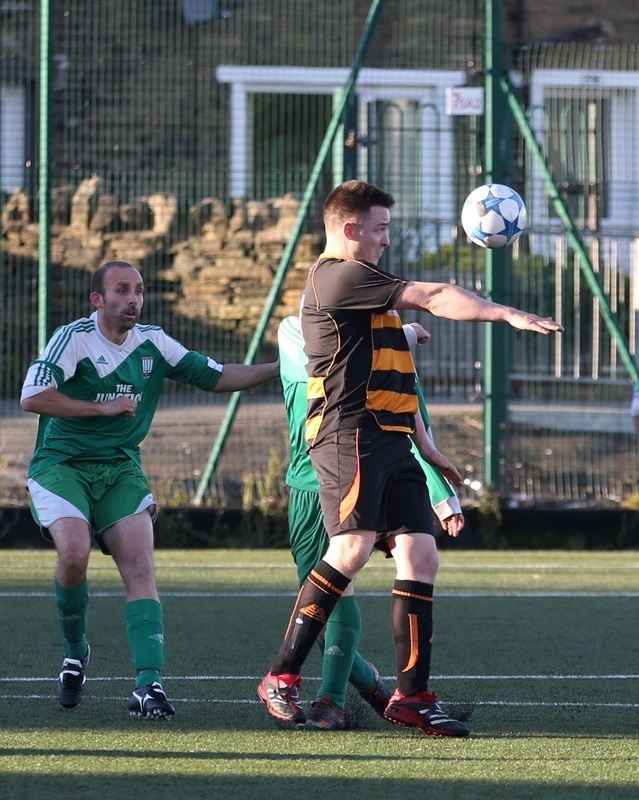 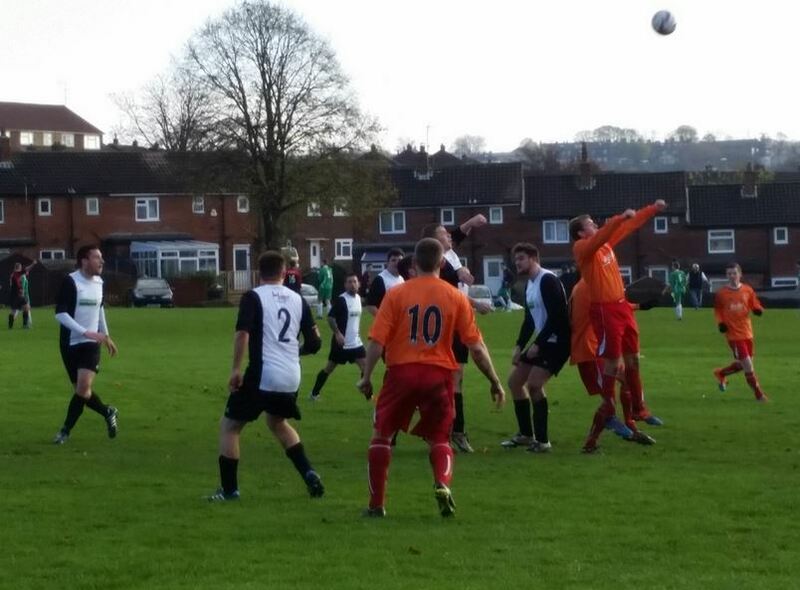 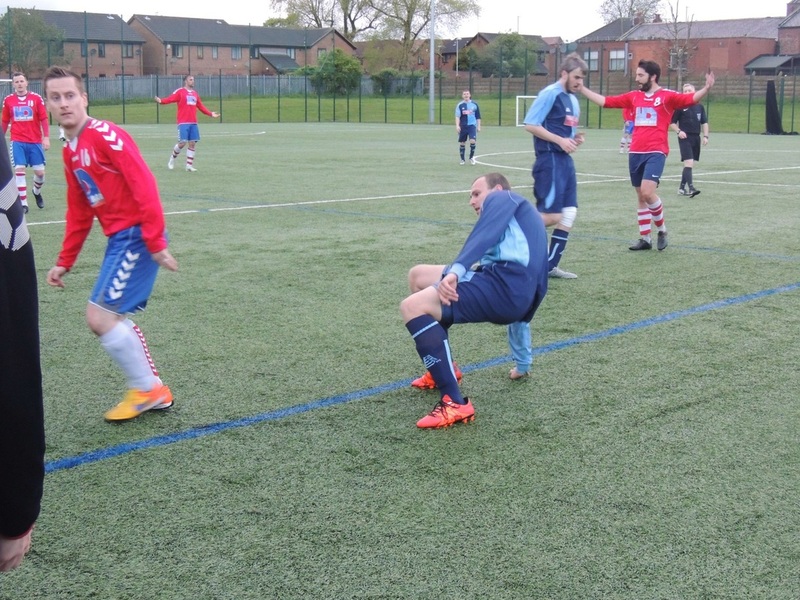 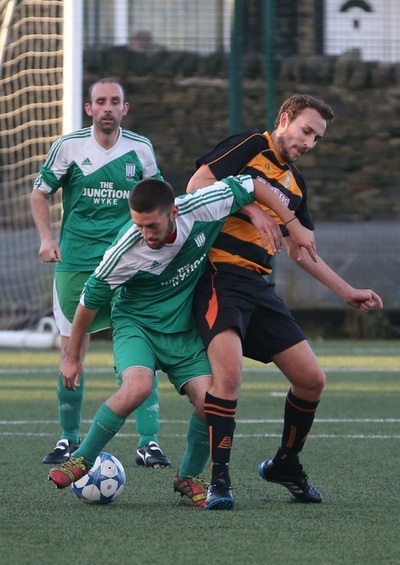 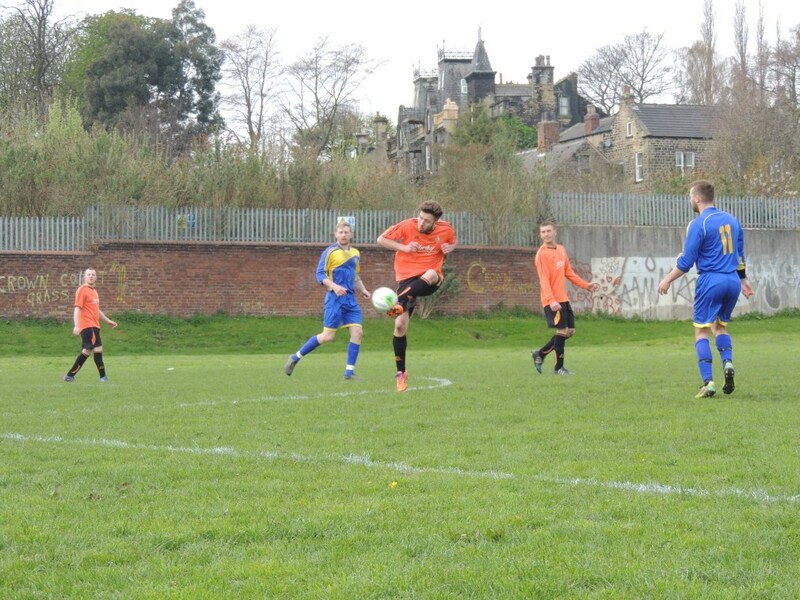 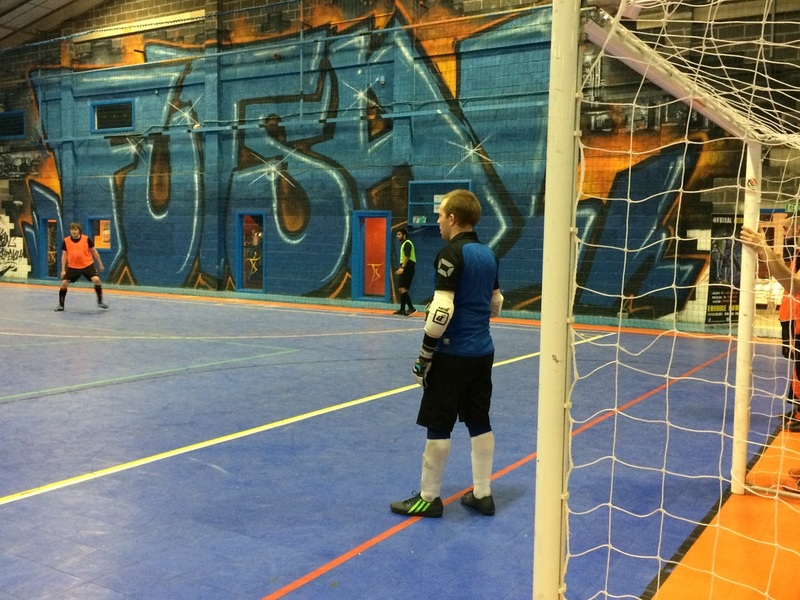 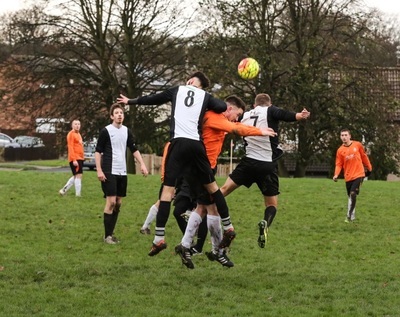 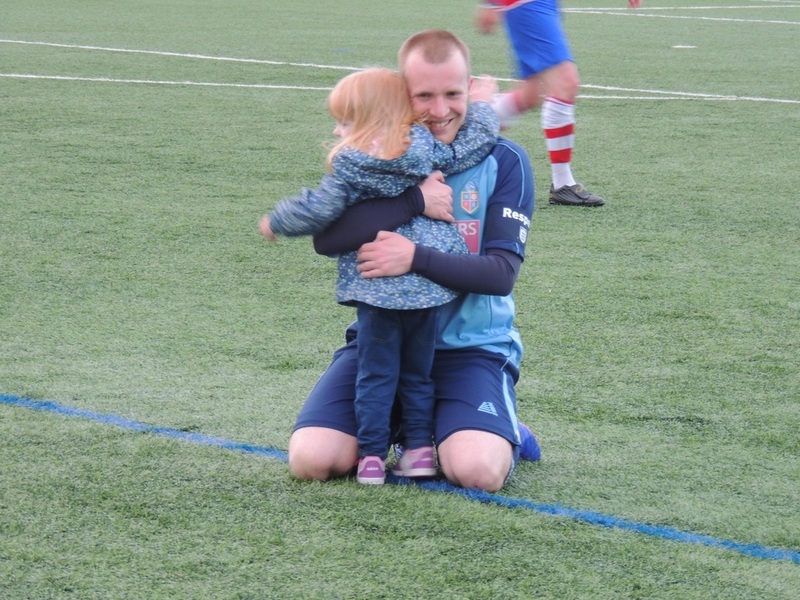 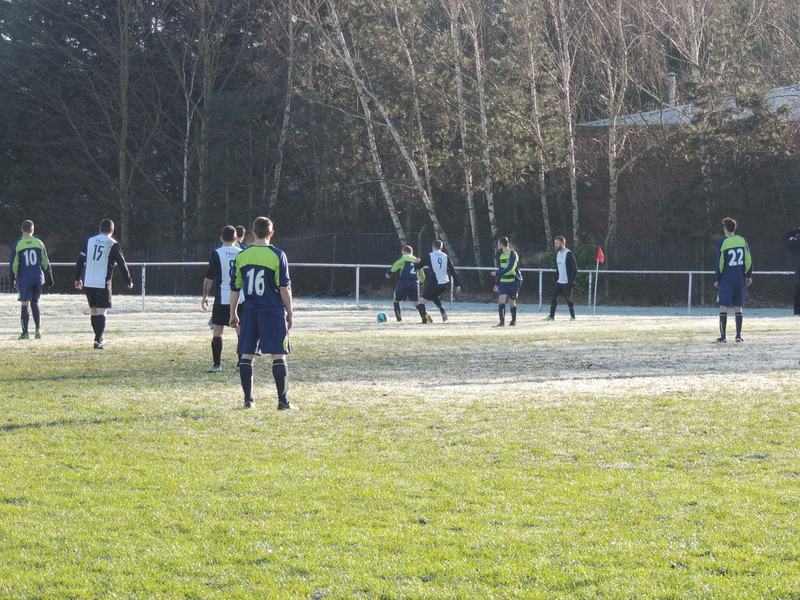 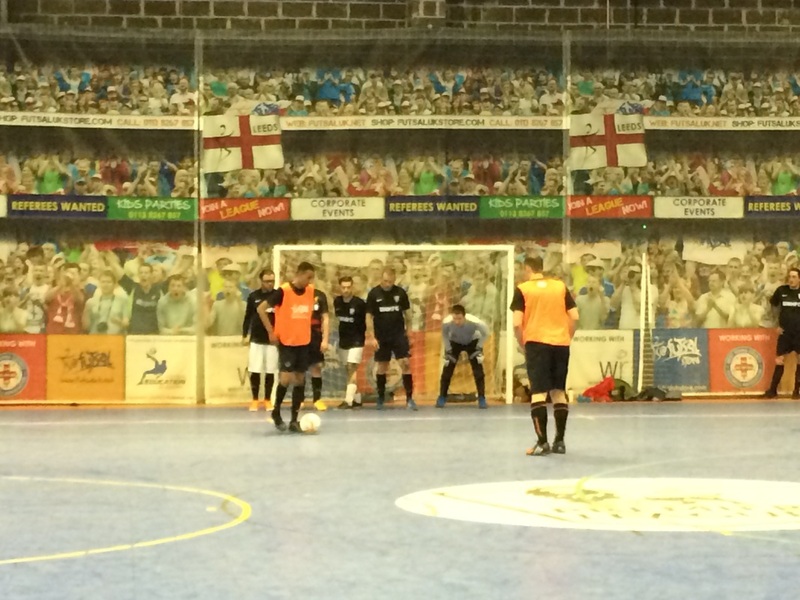 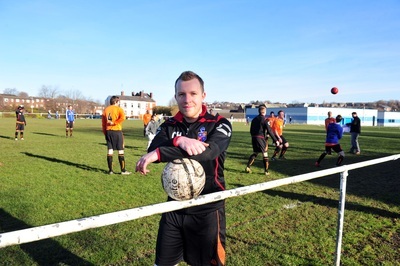 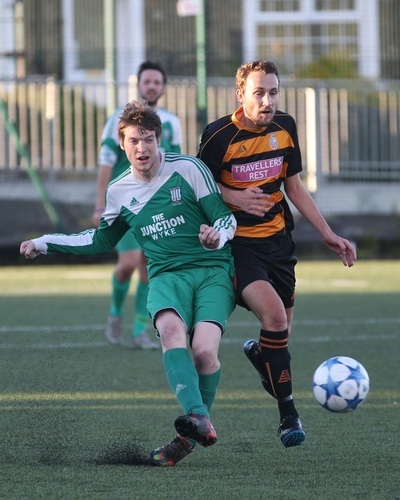 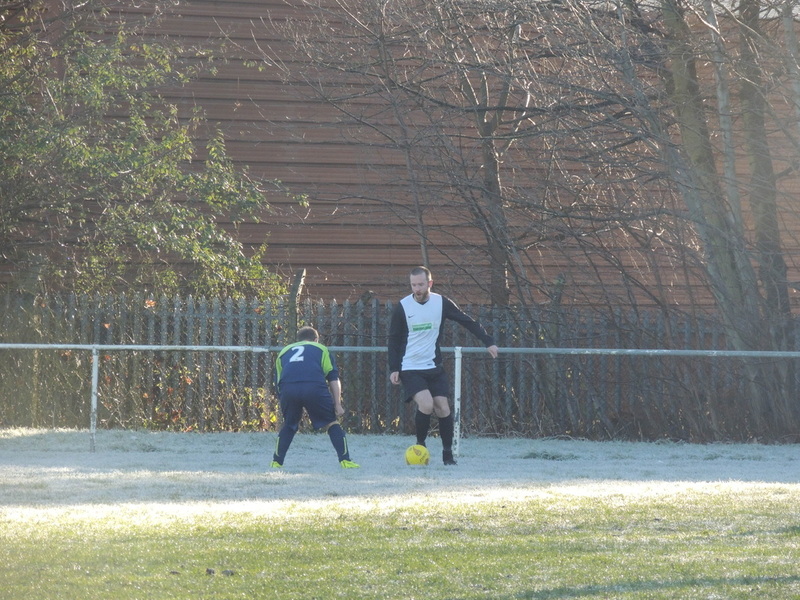 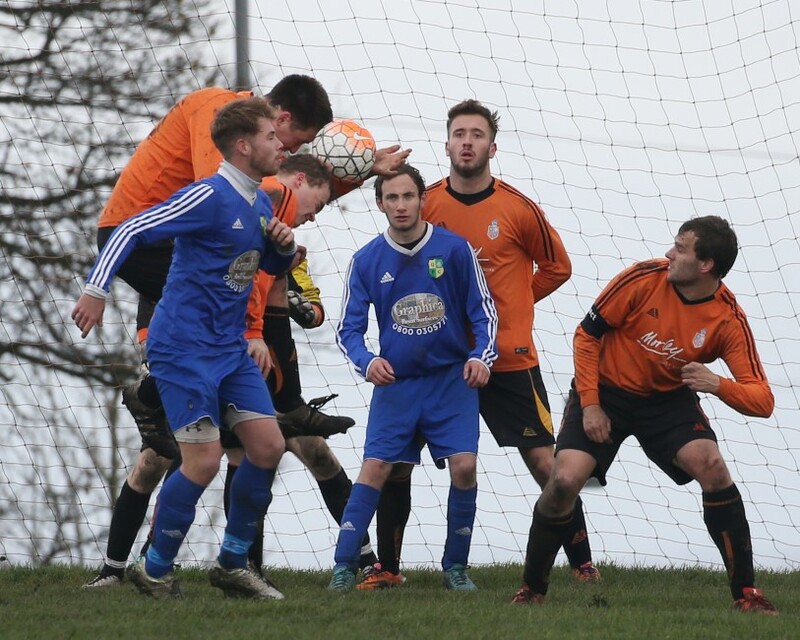 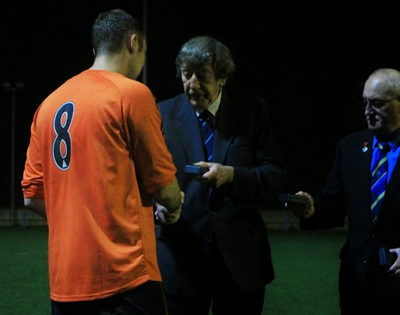 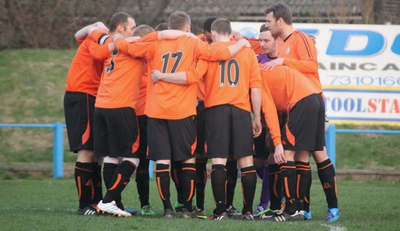 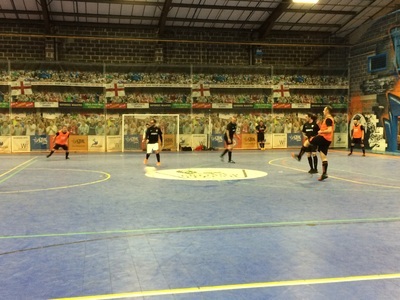 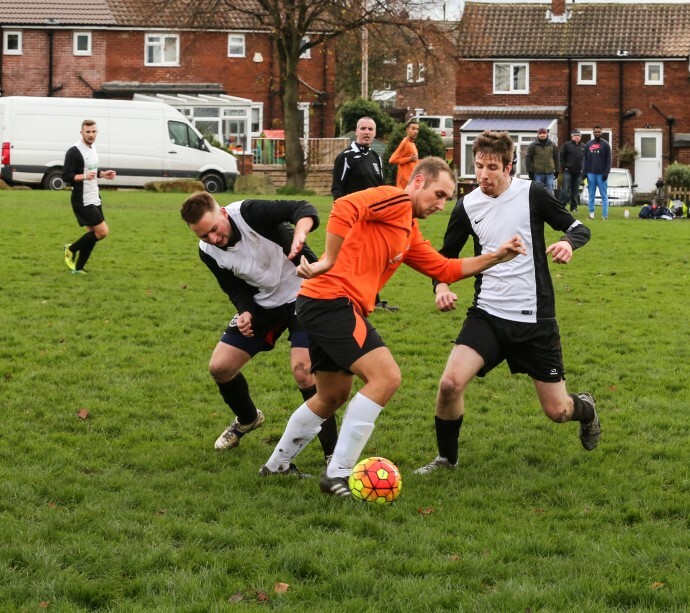 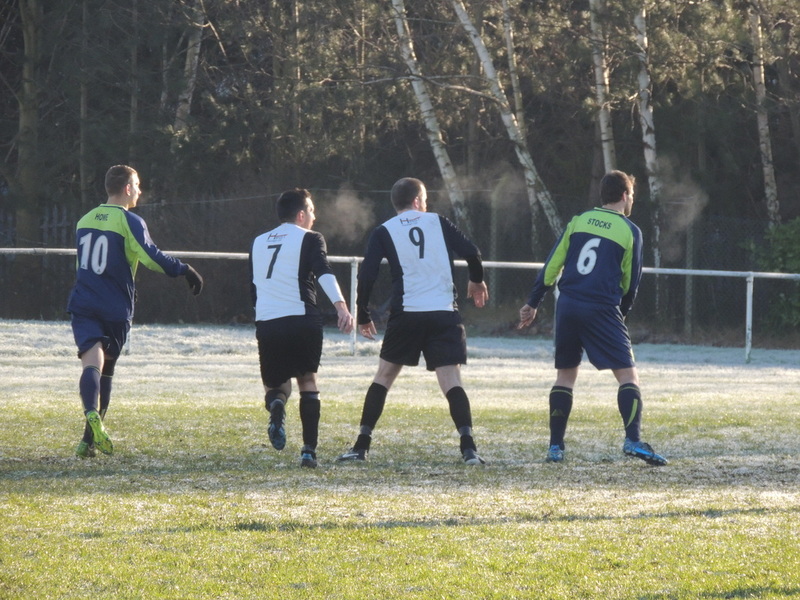 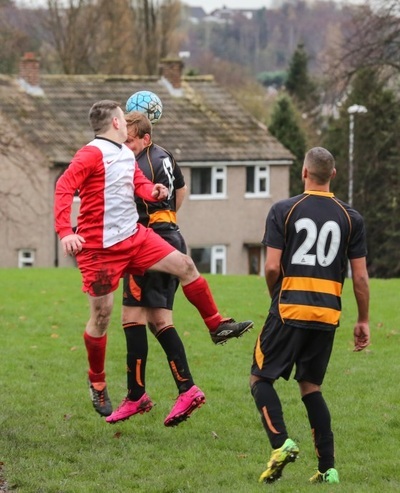 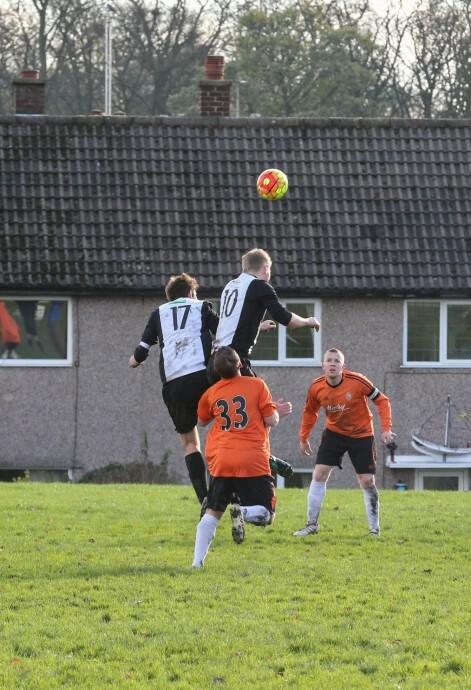 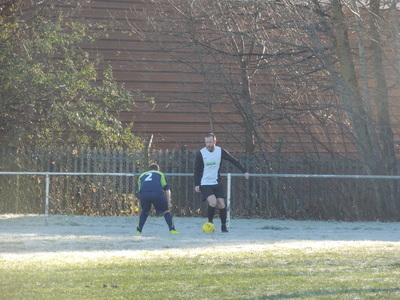 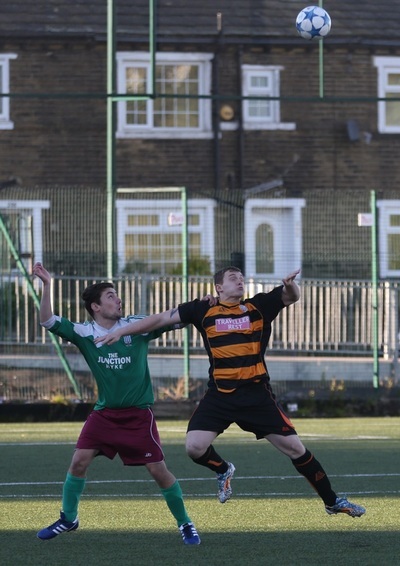 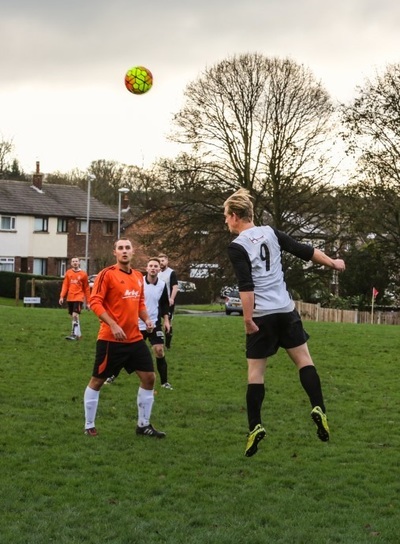 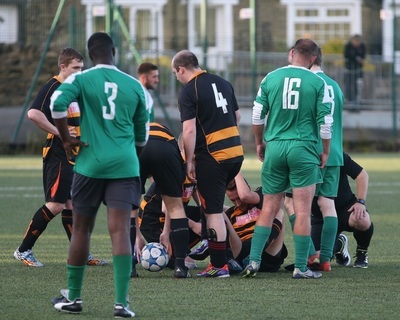 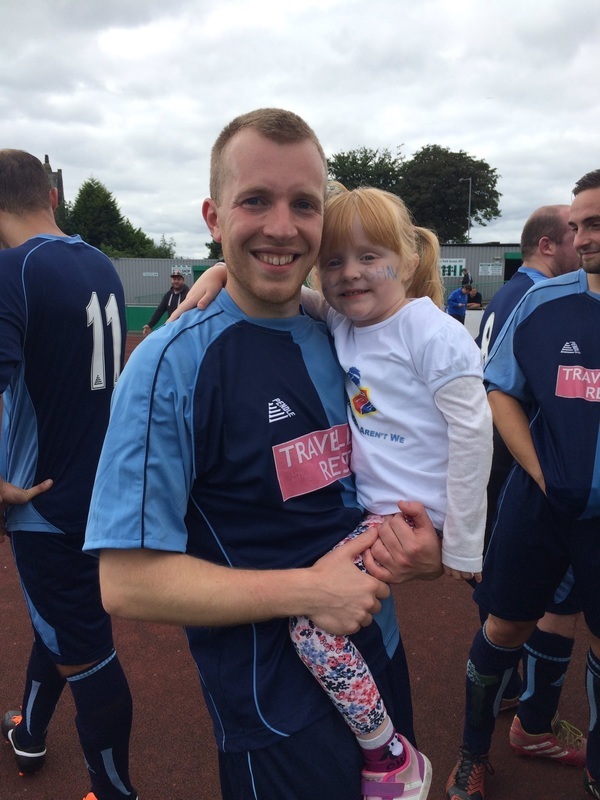 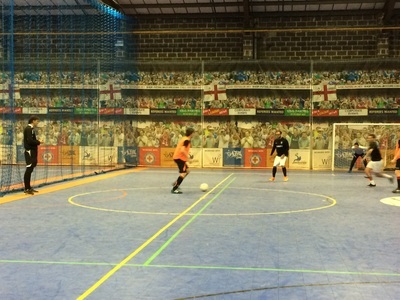 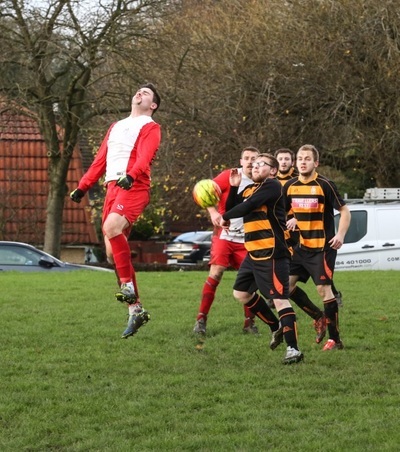 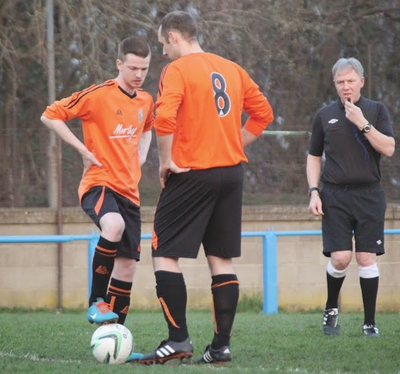 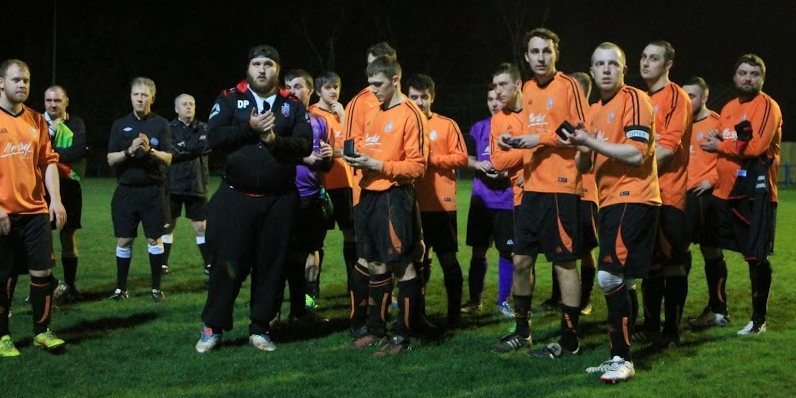 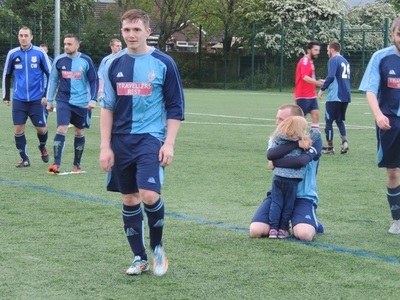 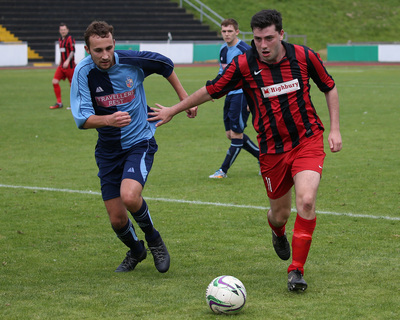 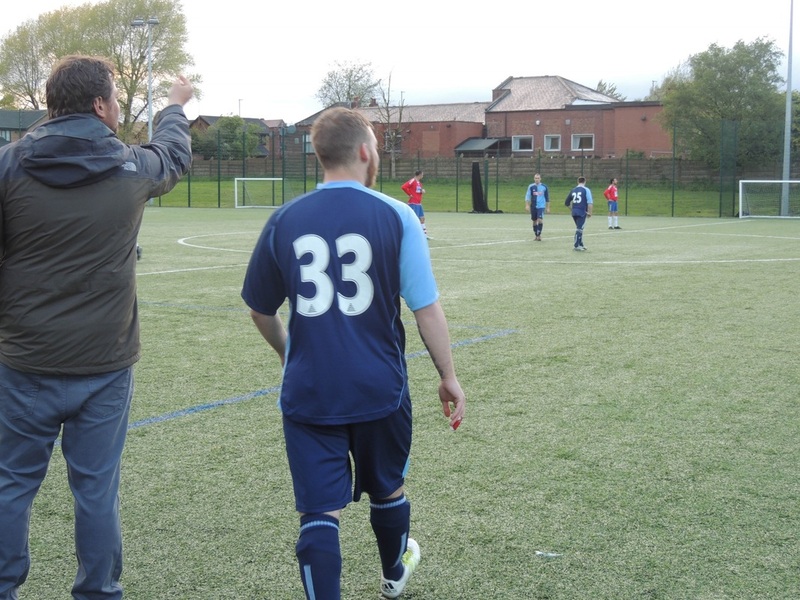 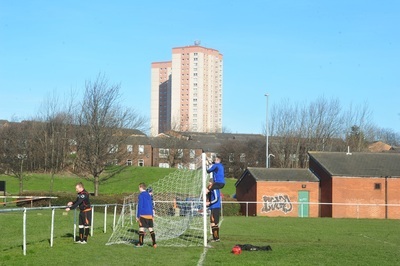 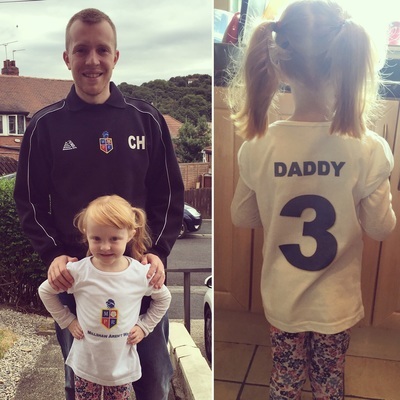 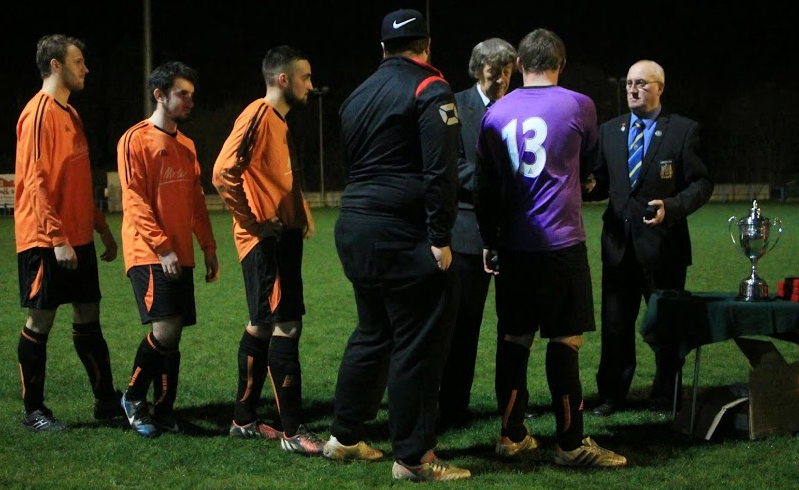 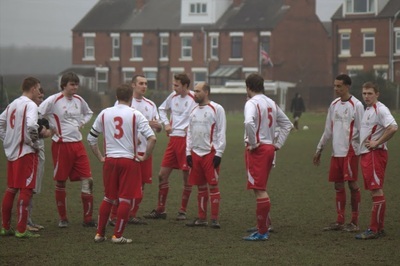 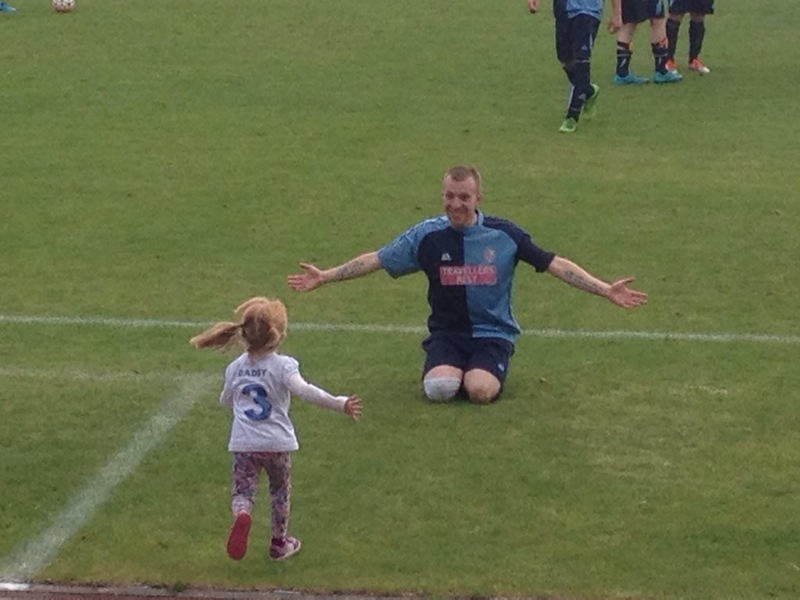 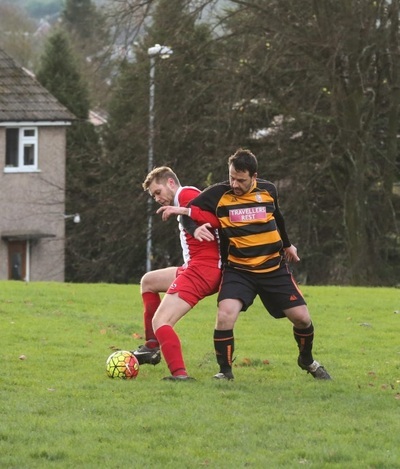 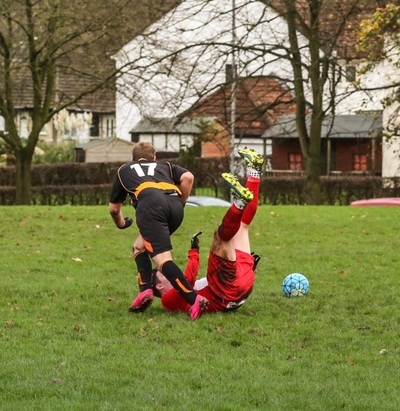 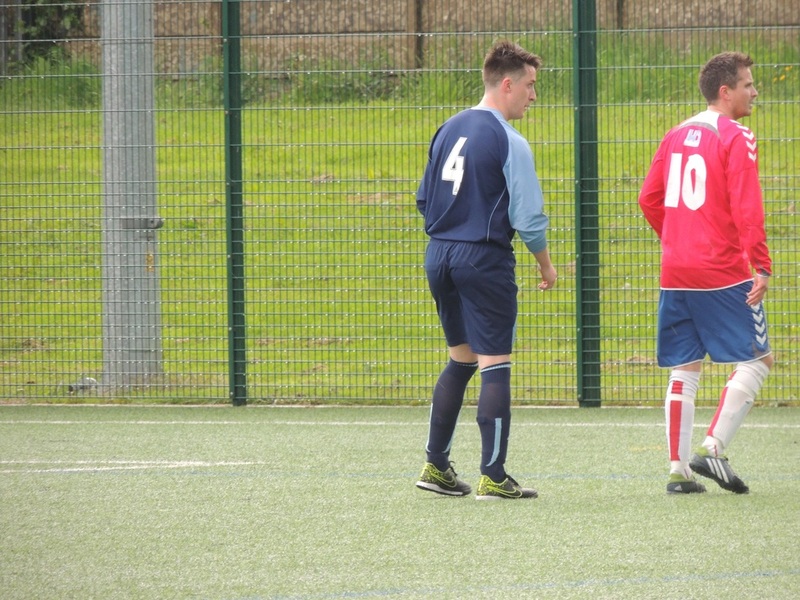 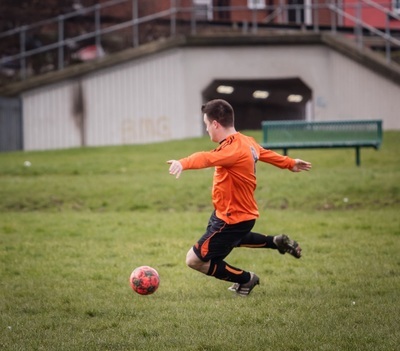 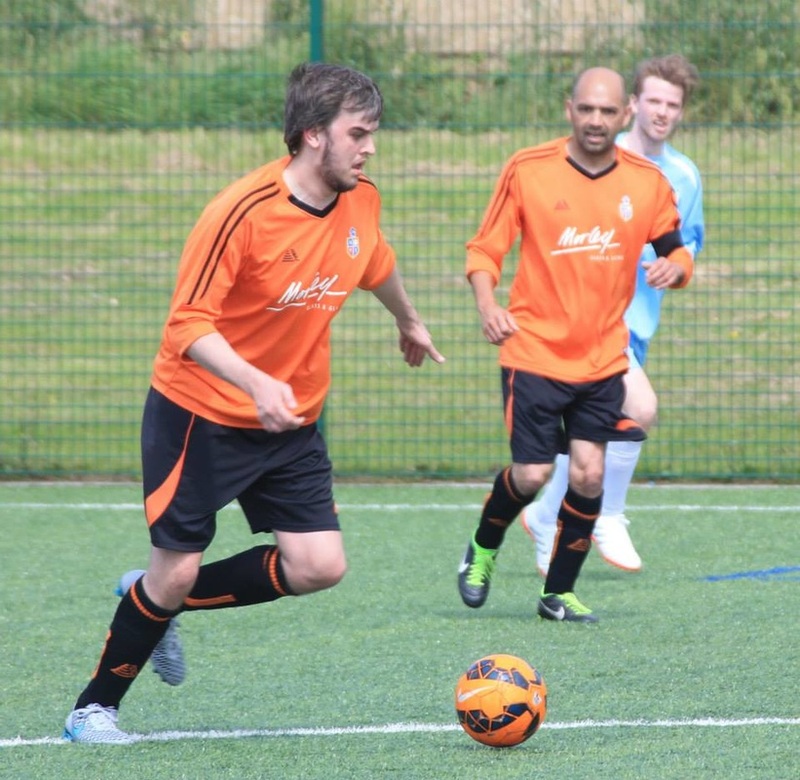 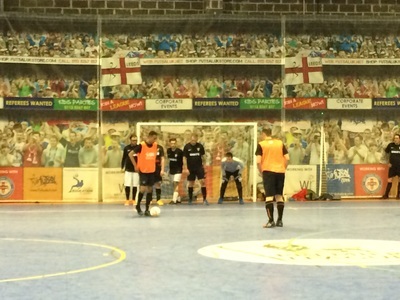 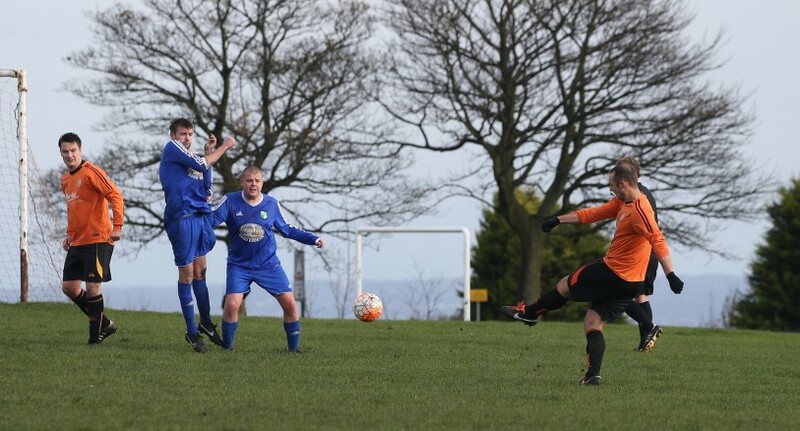 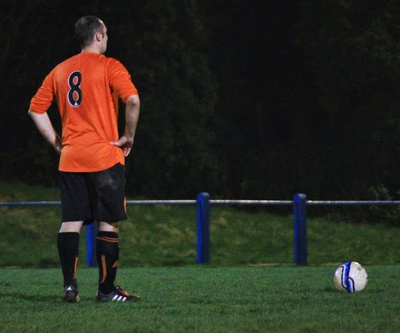 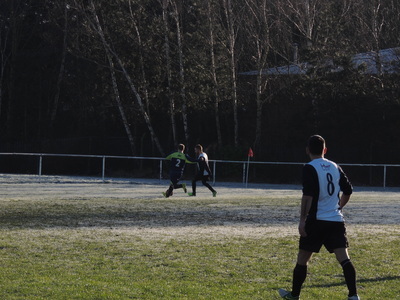 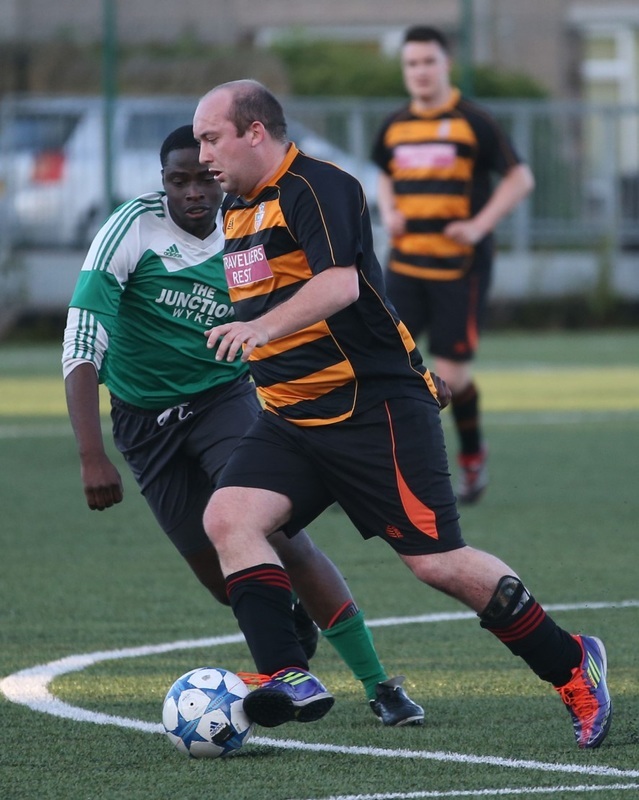 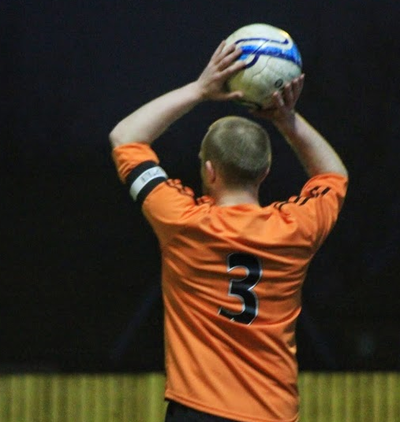 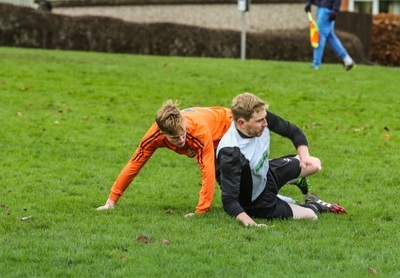 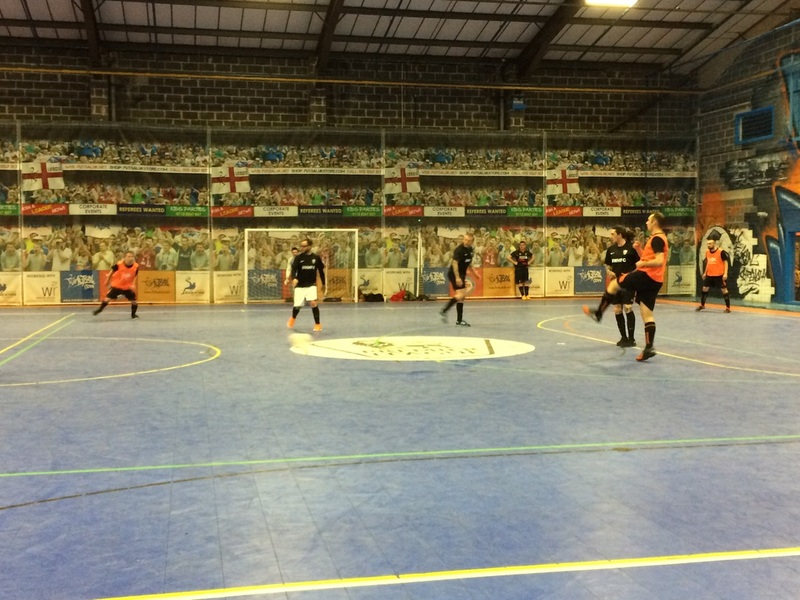 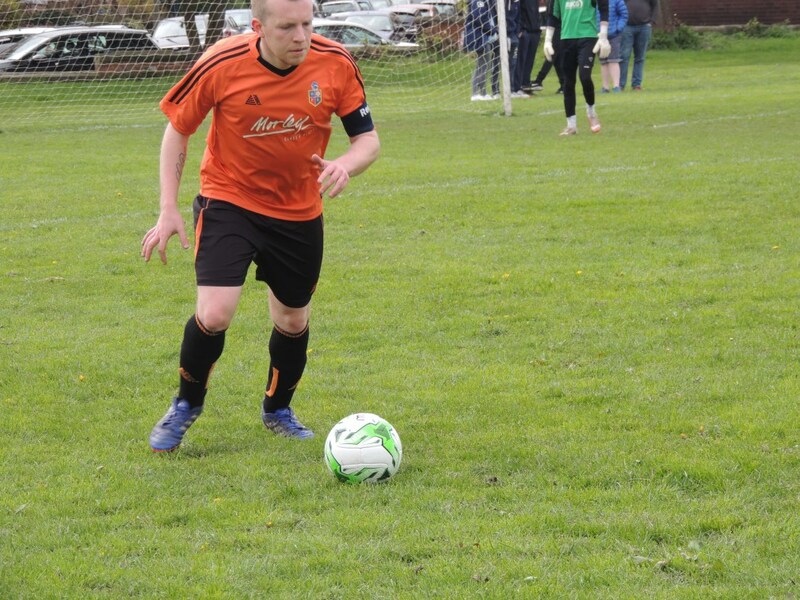 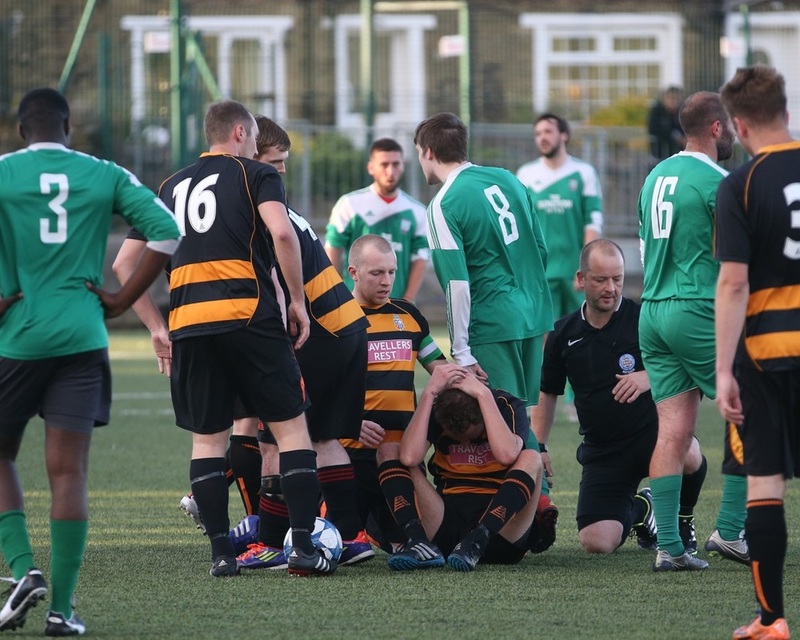 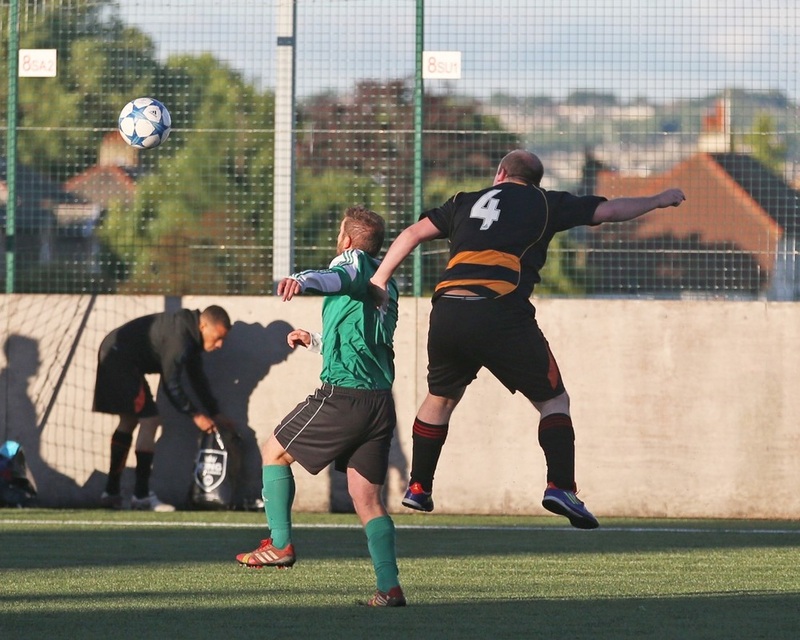 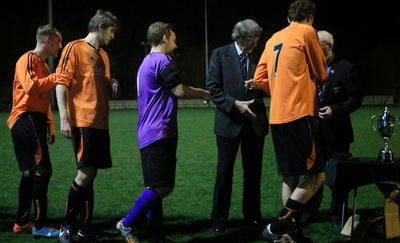 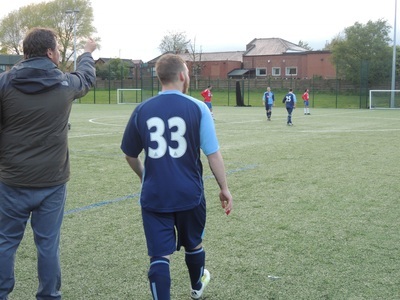 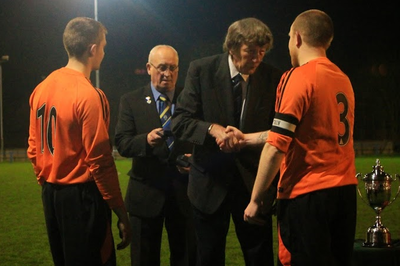 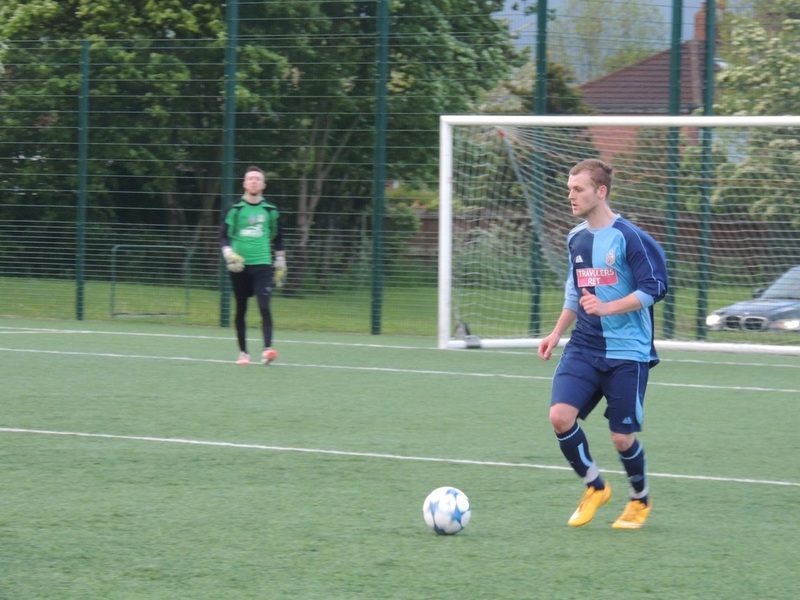 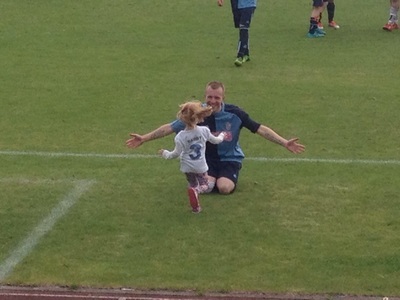 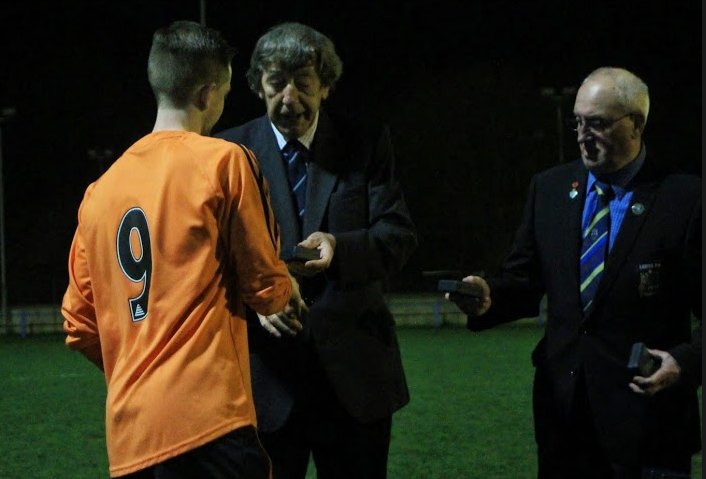 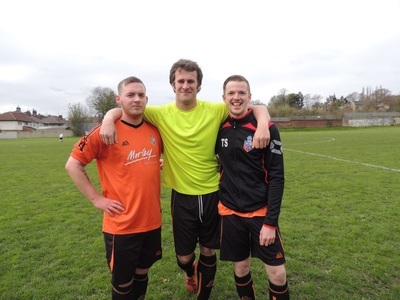 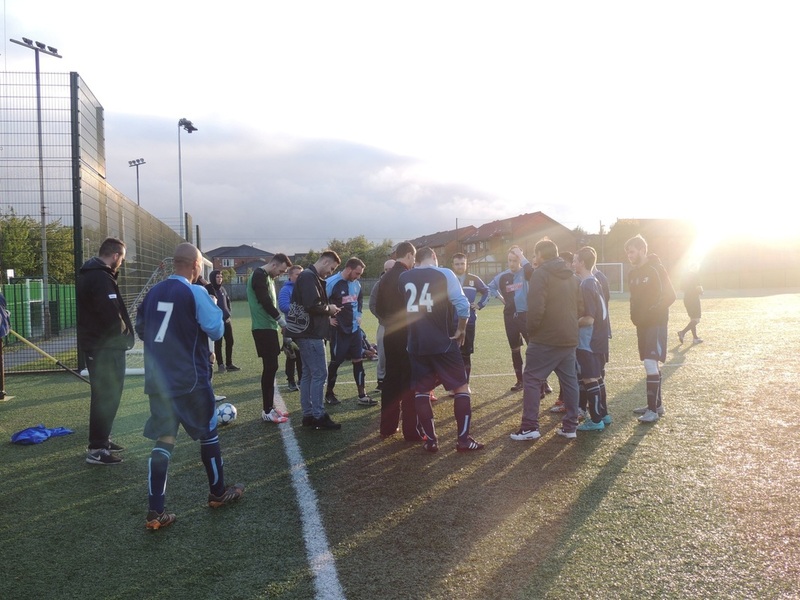 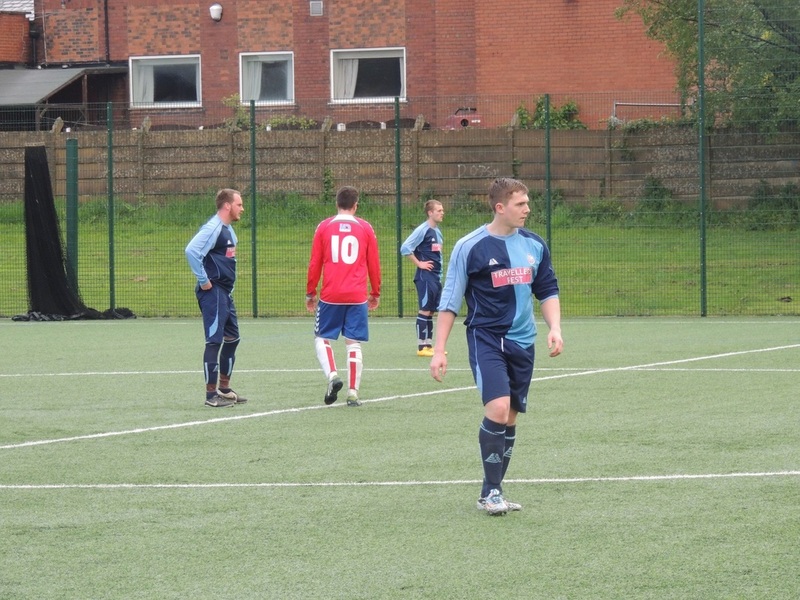 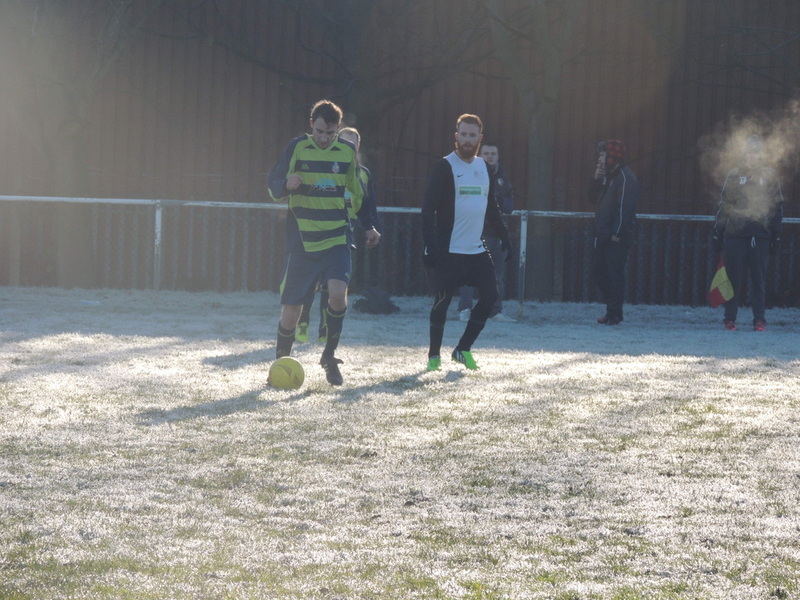 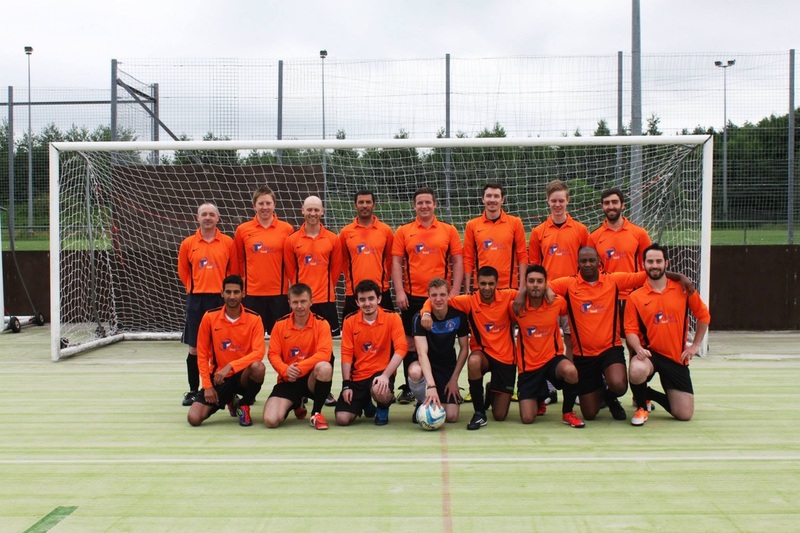 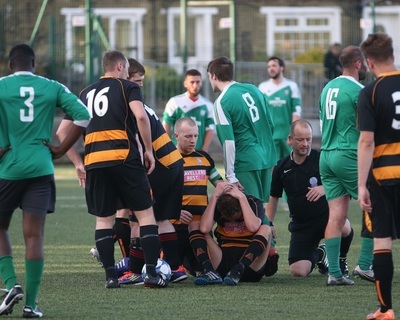 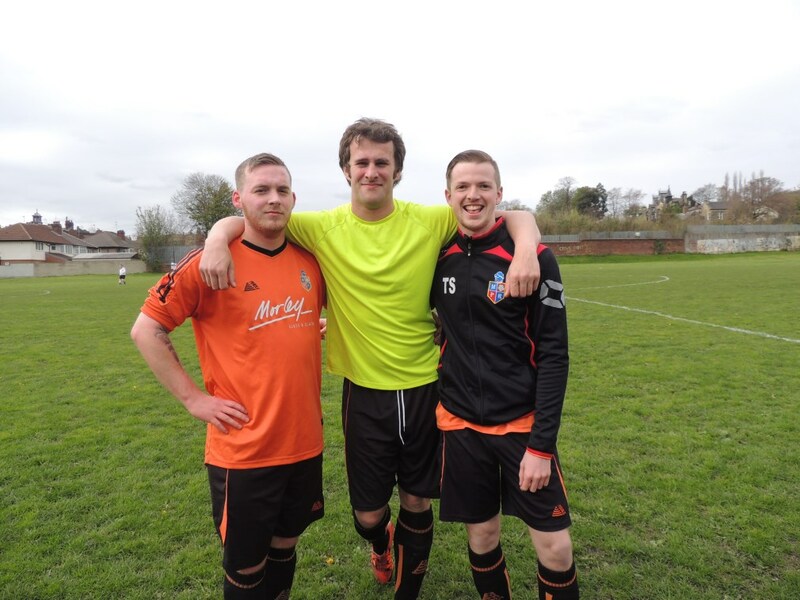 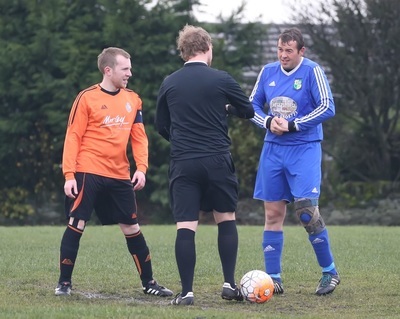 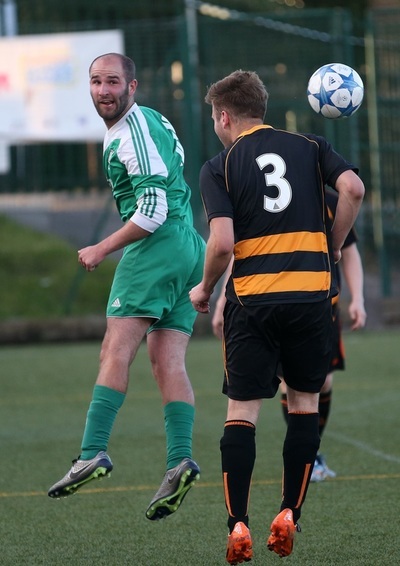 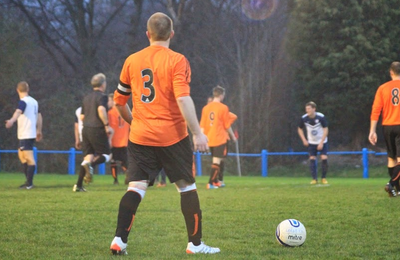 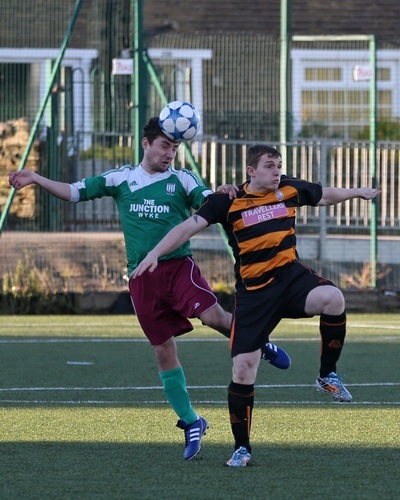 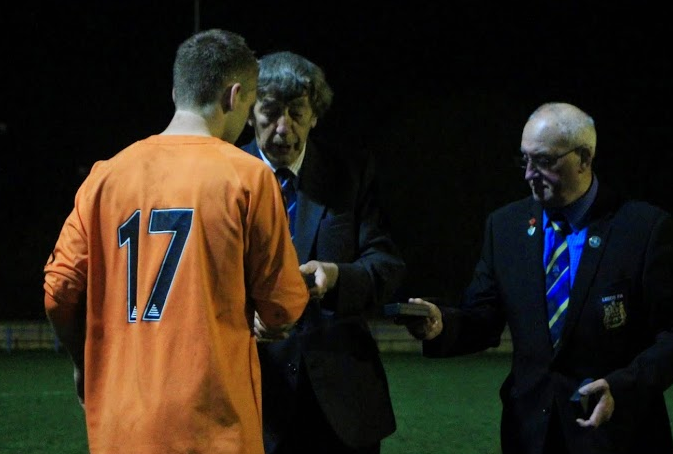 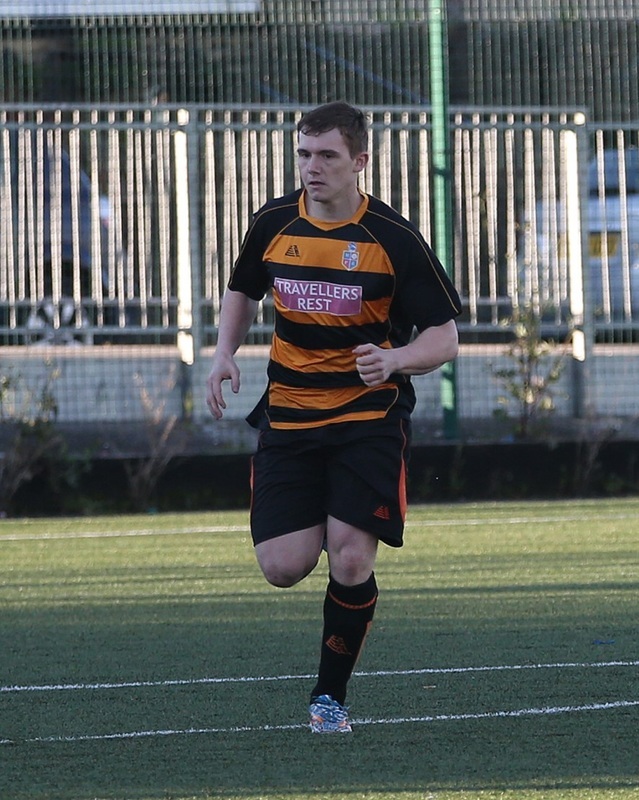 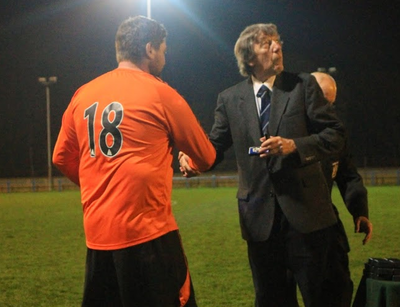 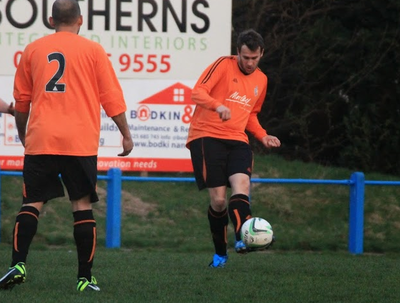 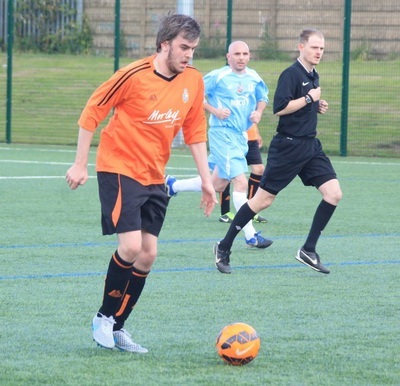 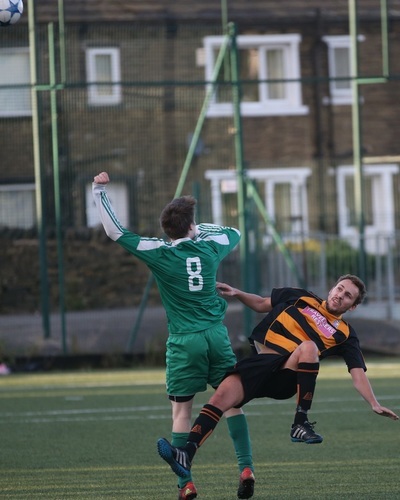 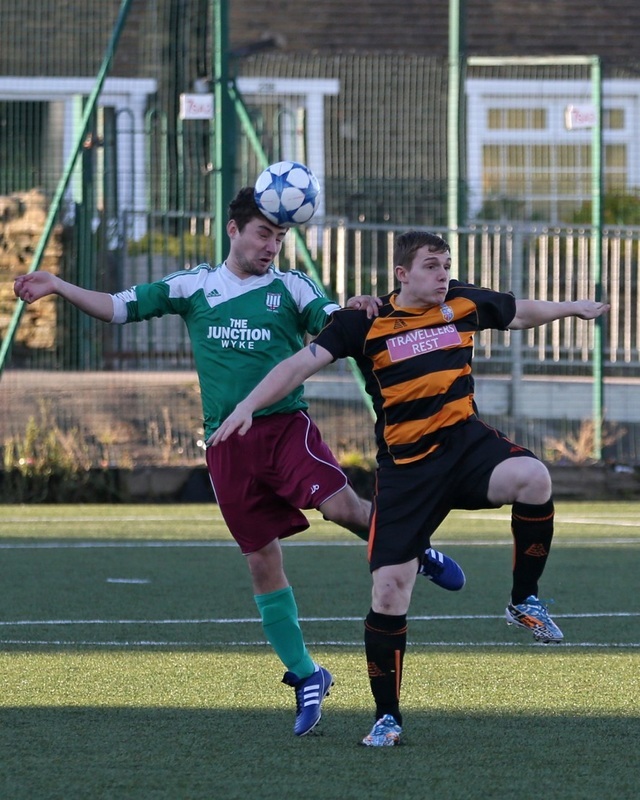 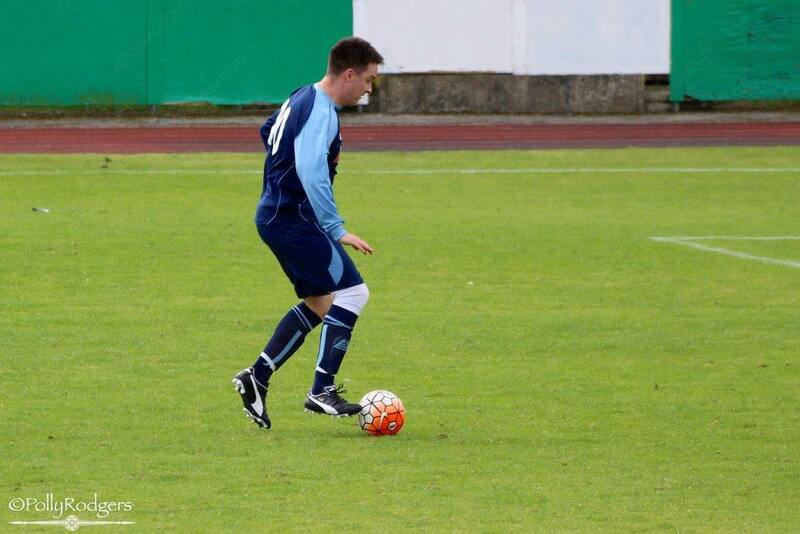 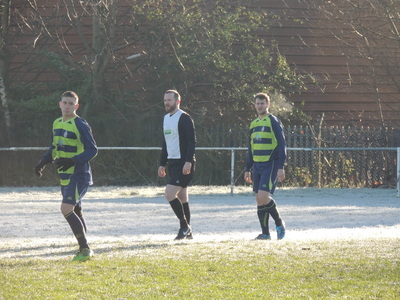 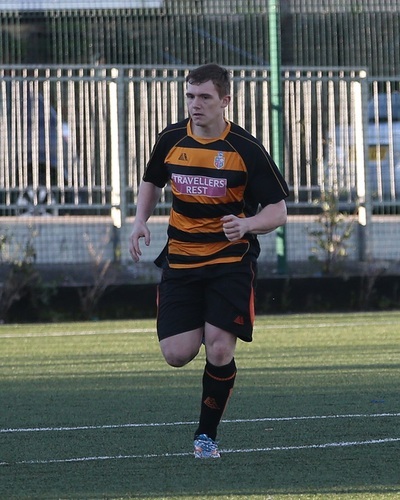 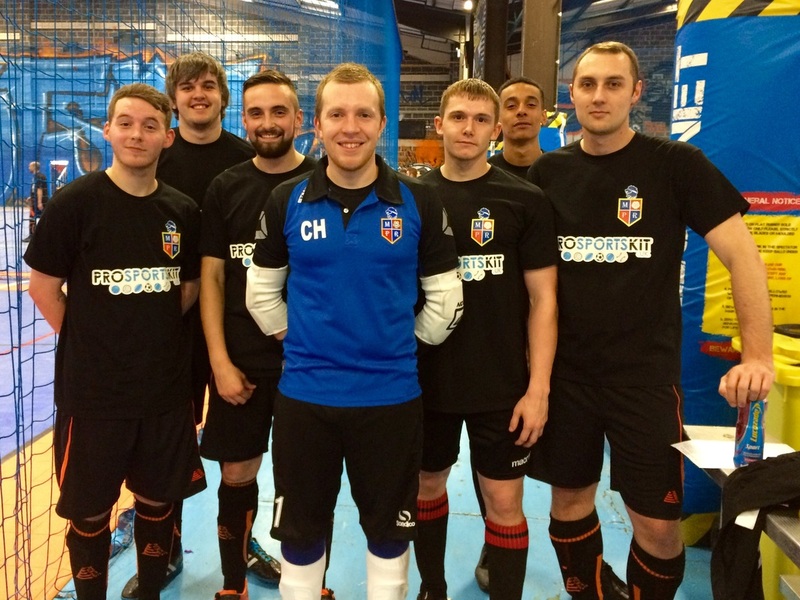 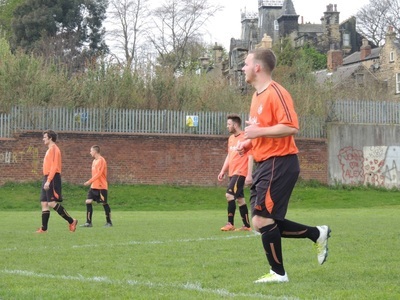 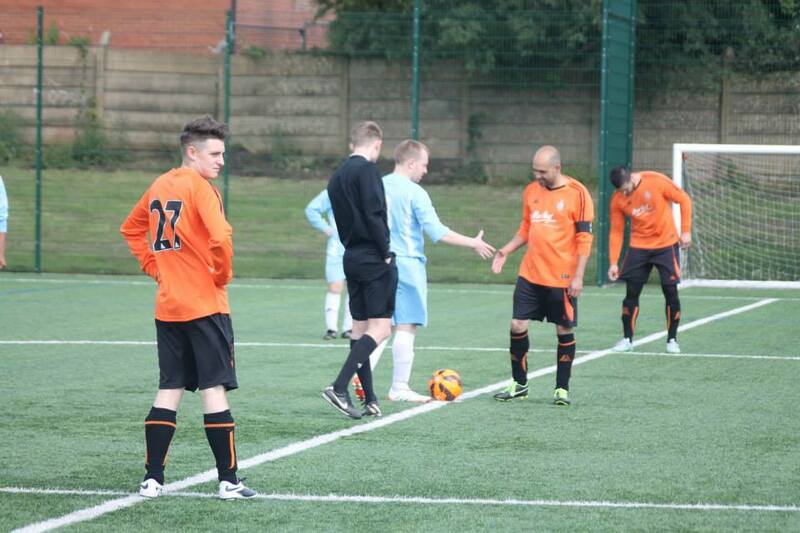 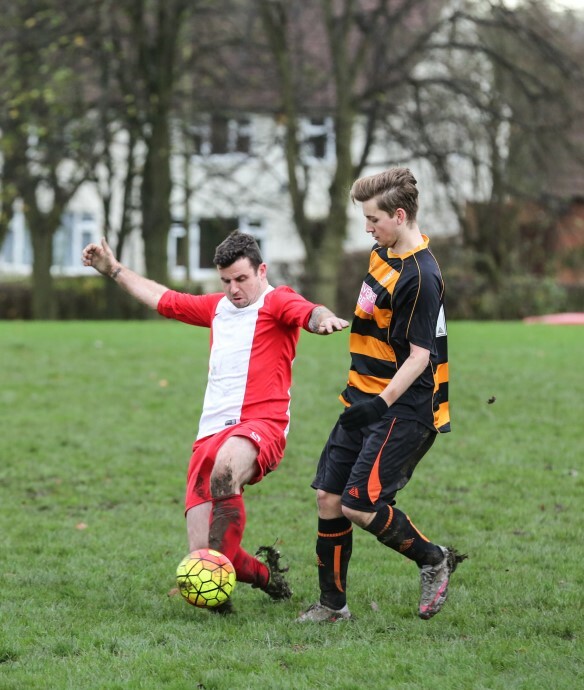 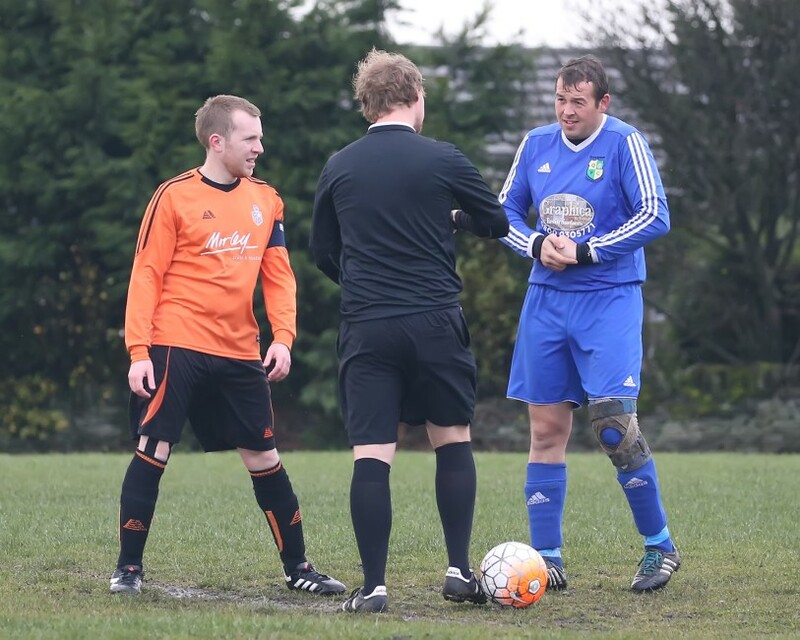 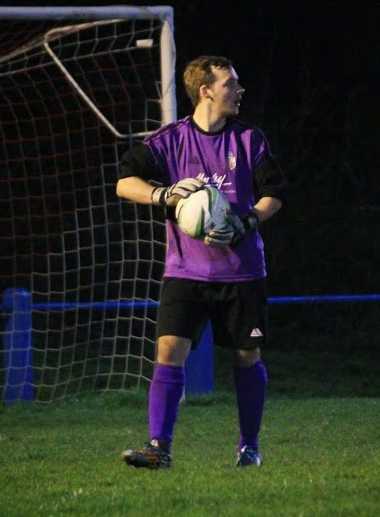 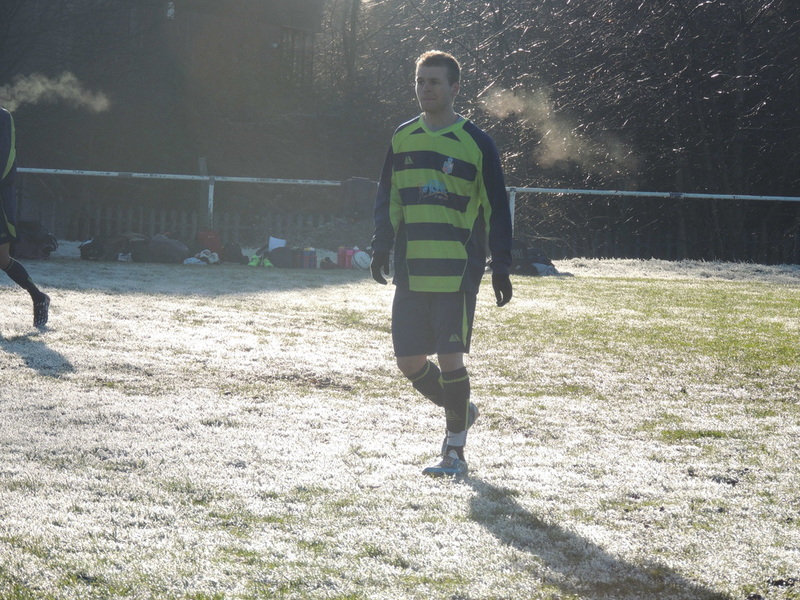 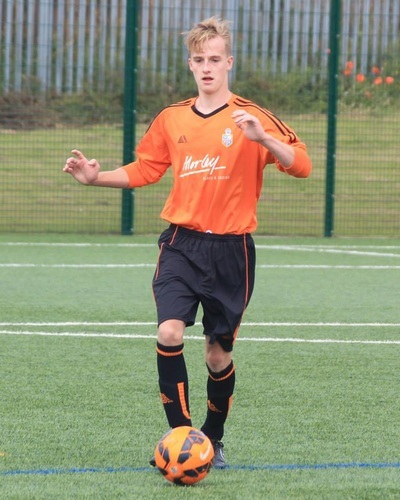 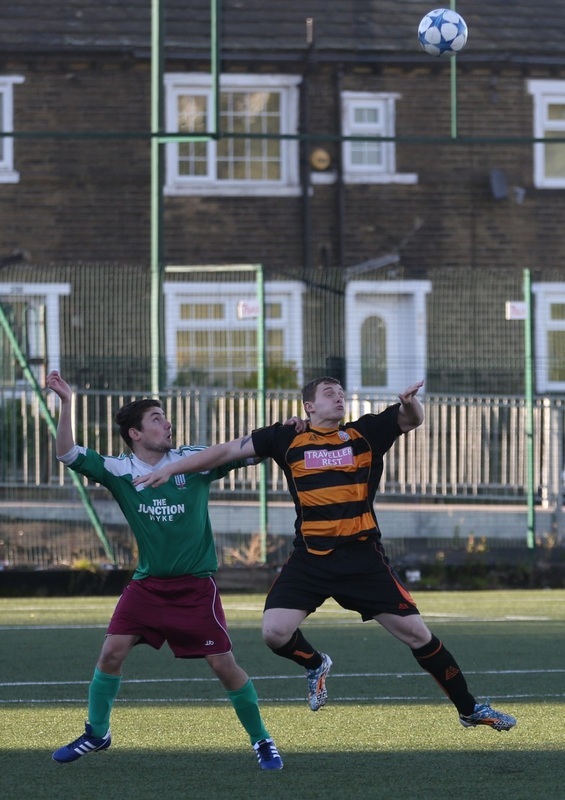 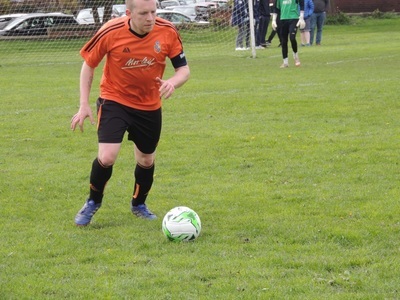 Thanks to WIBS for sharing their Football Remembers photo from our December 2014 fixture. 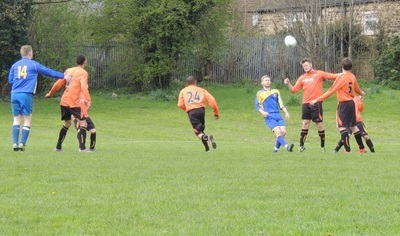 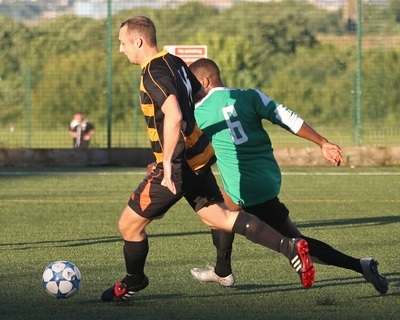 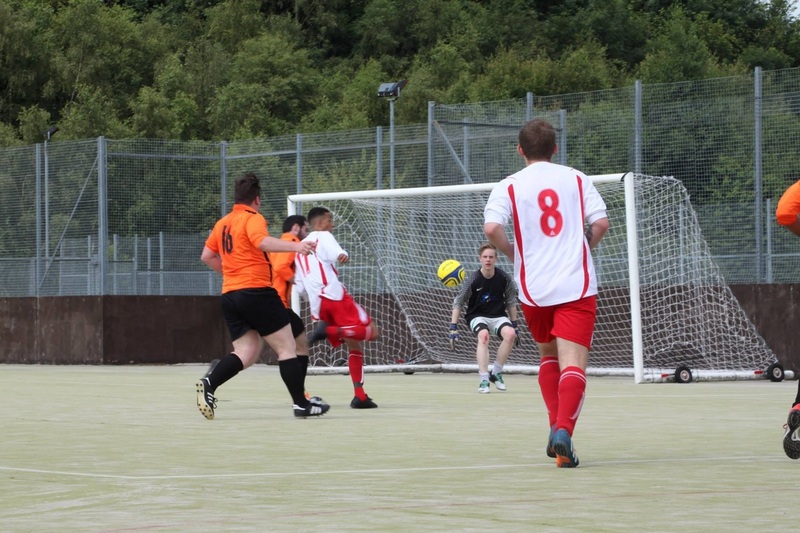 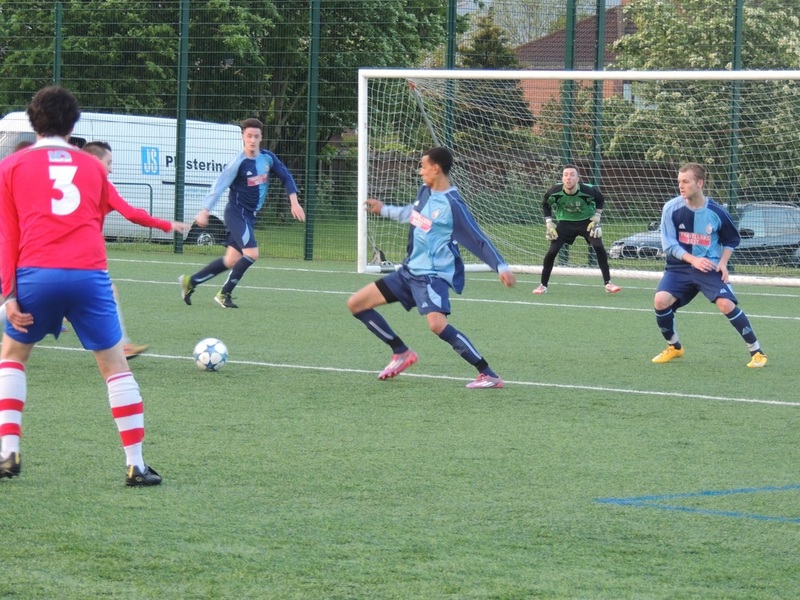 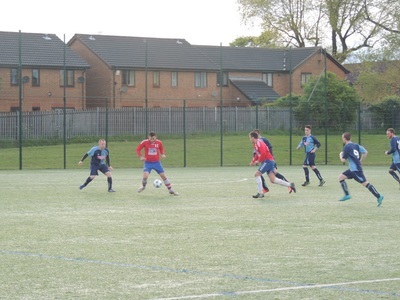 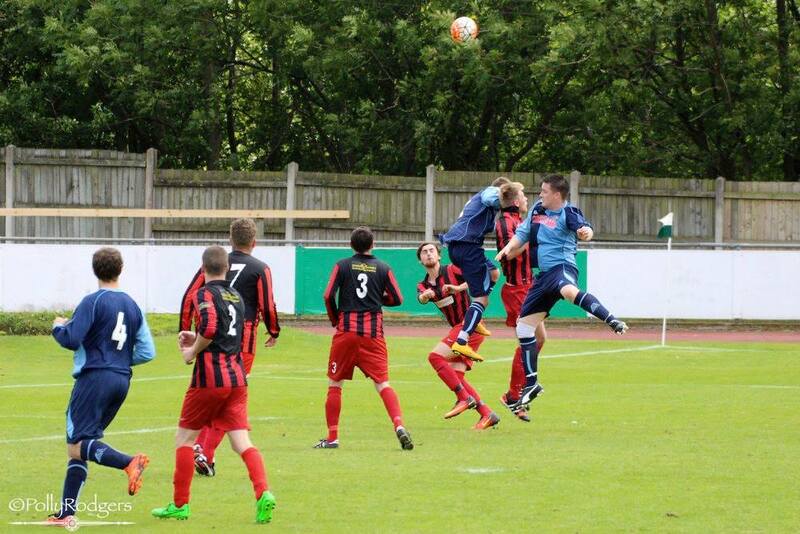 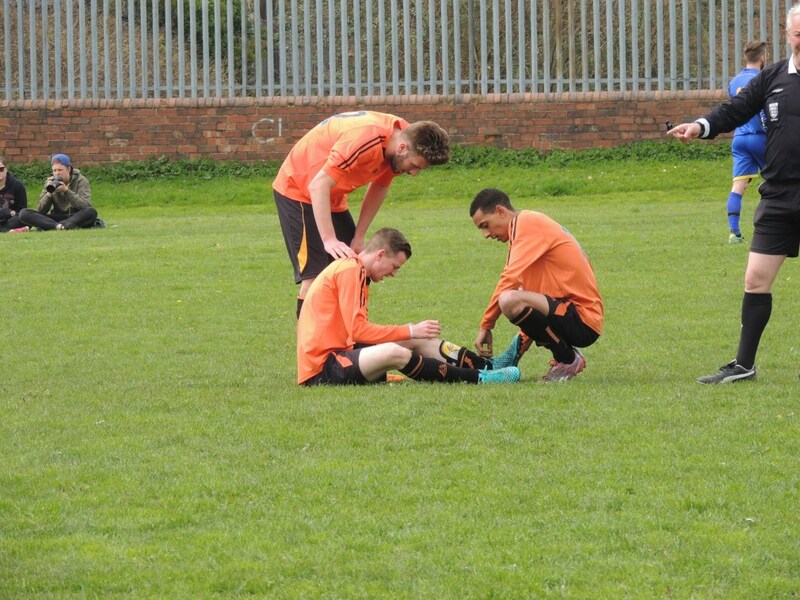 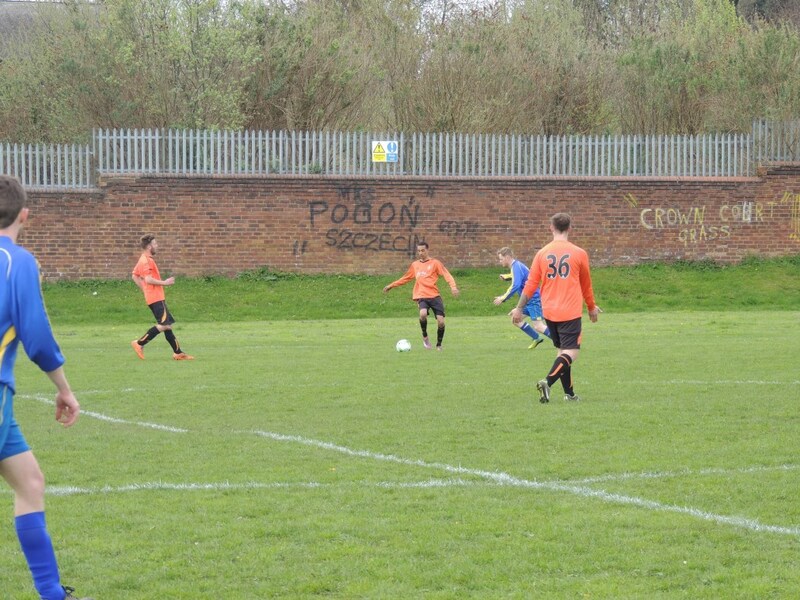 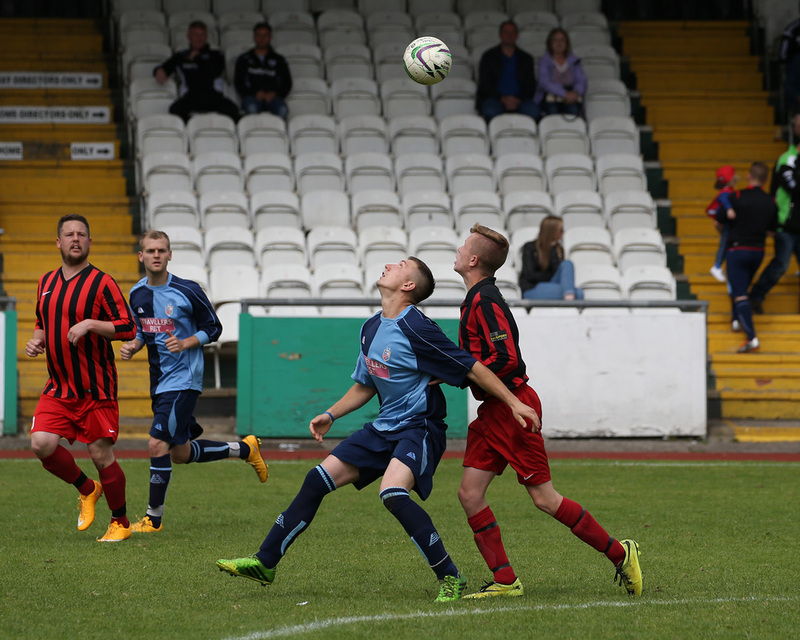 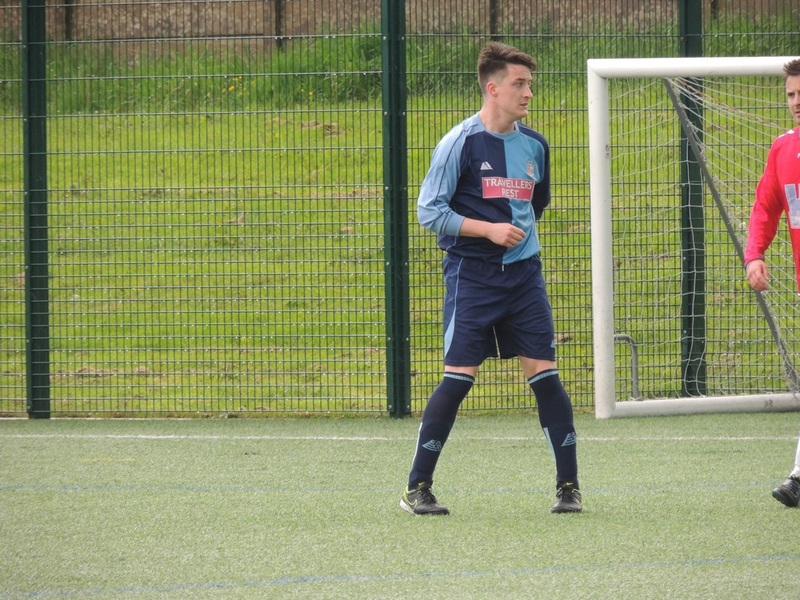 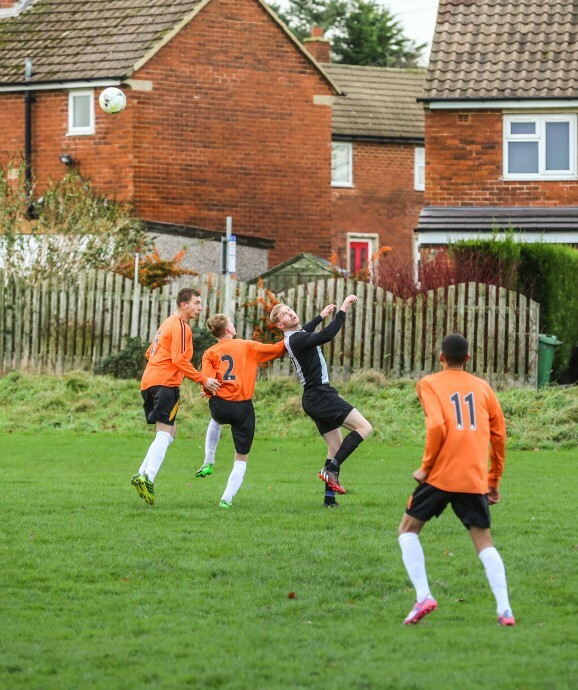 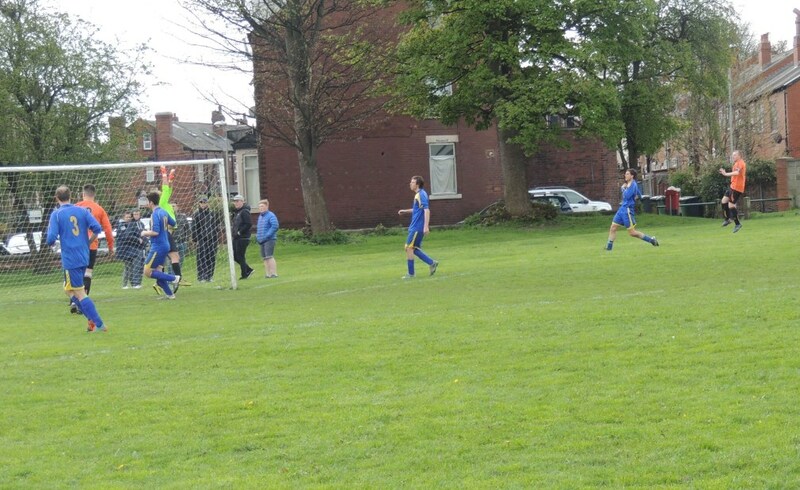 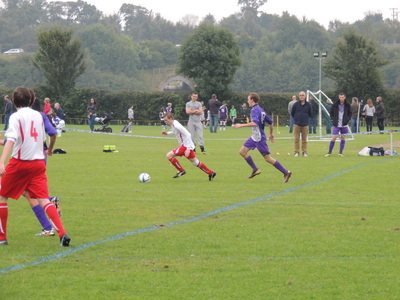 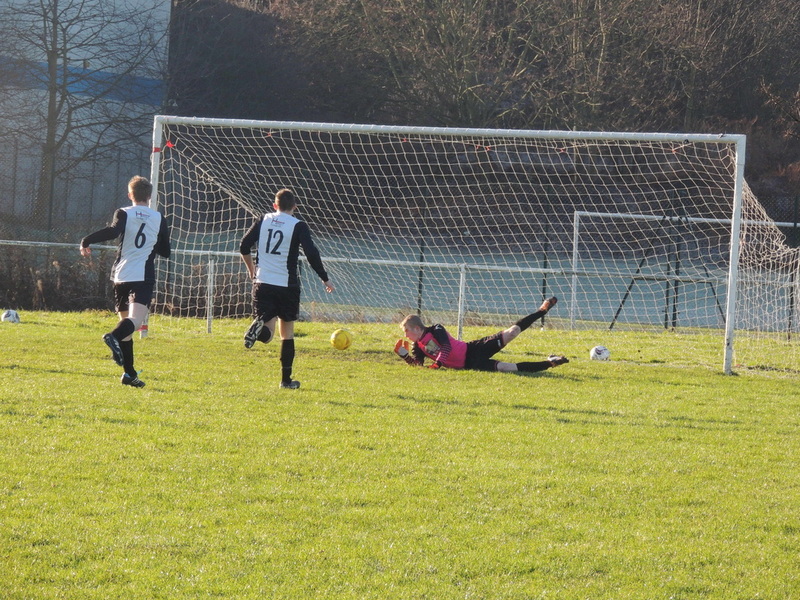 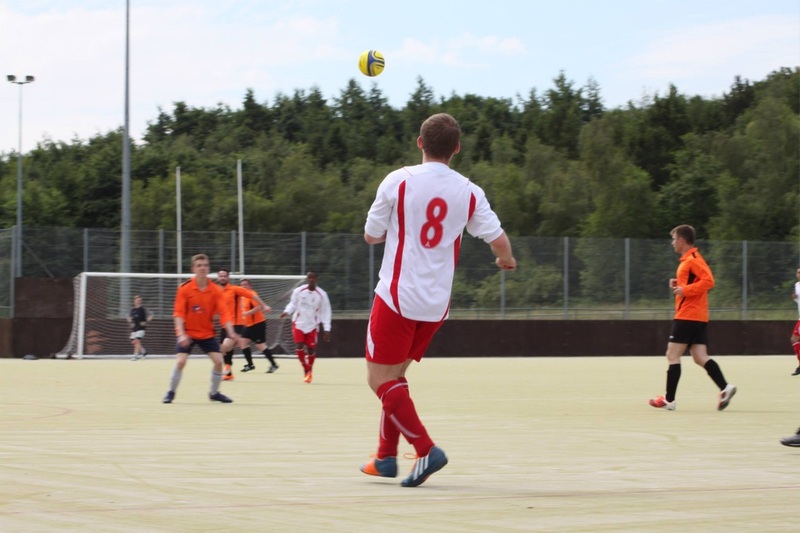 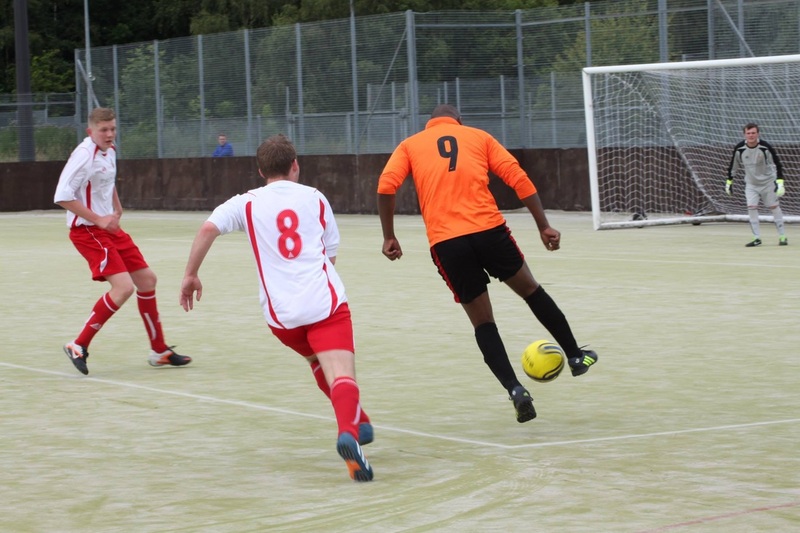 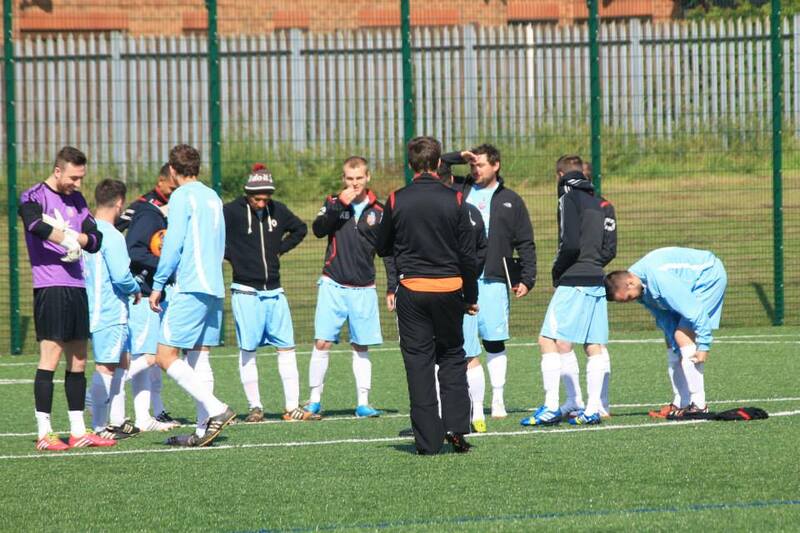 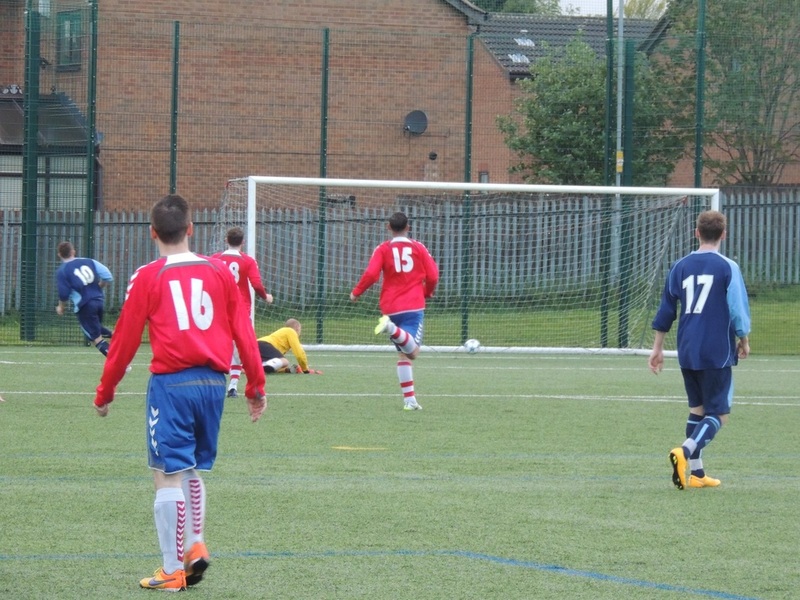 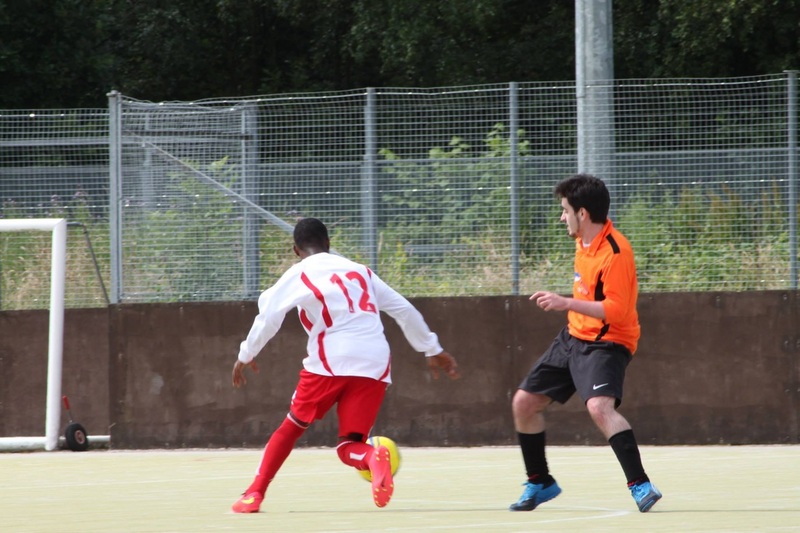 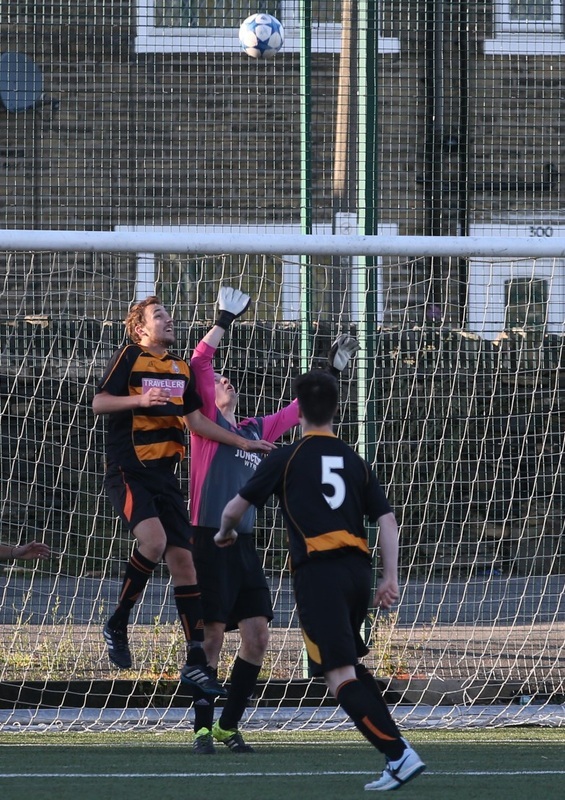 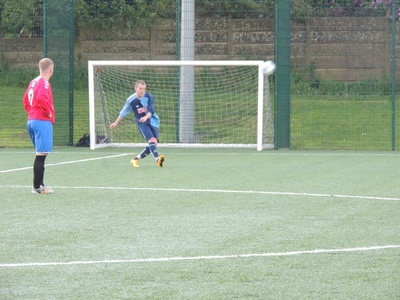 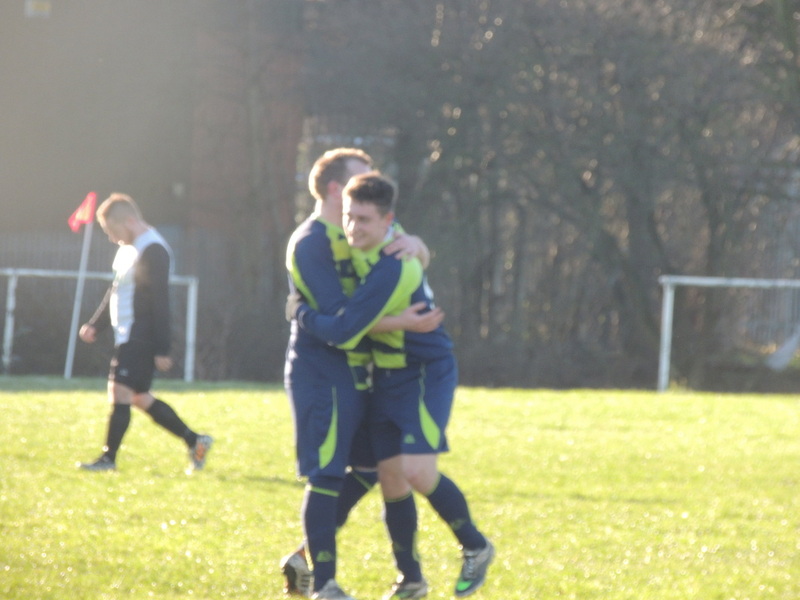 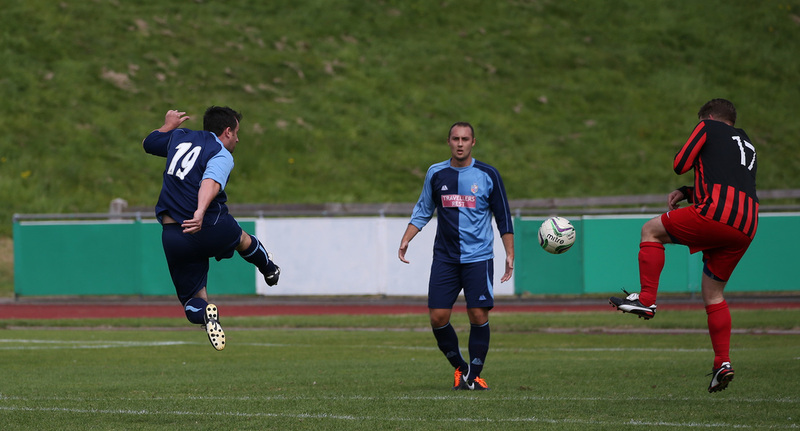 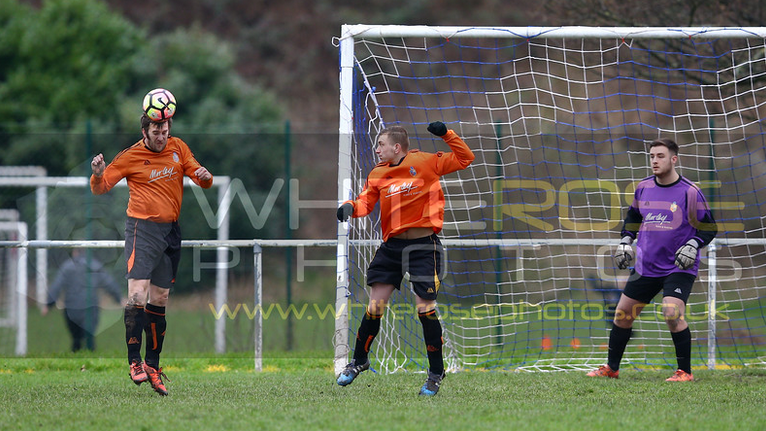 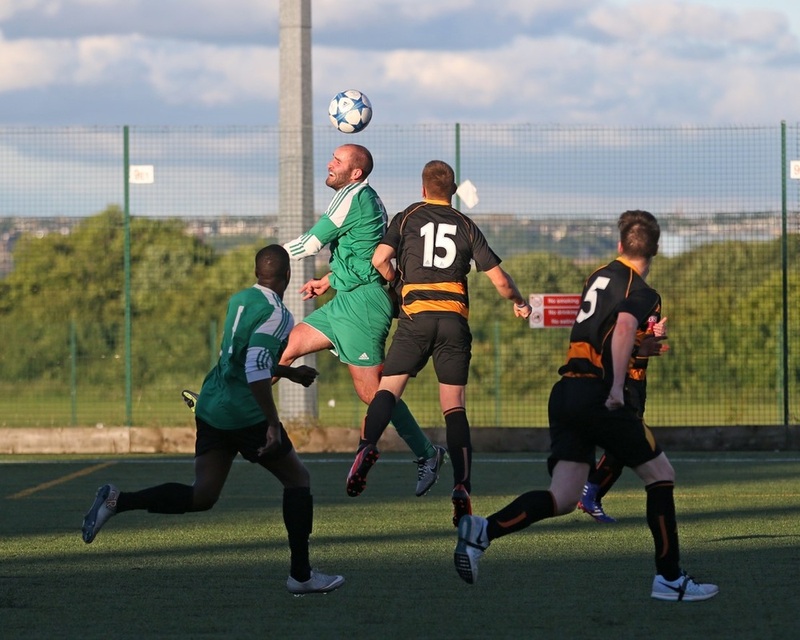 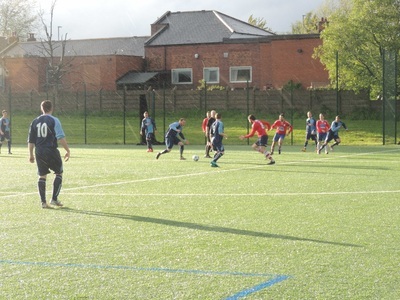 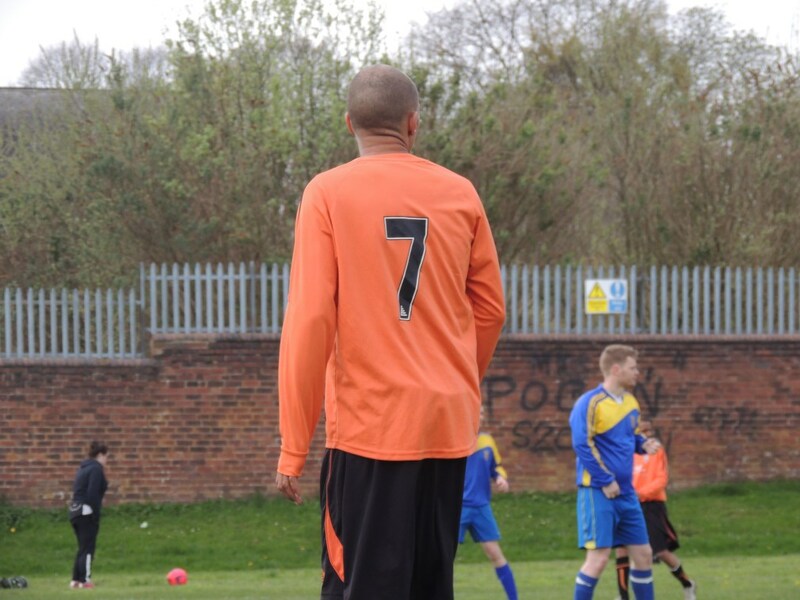 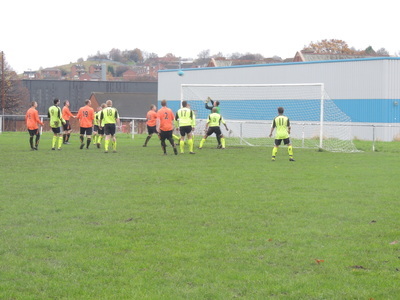 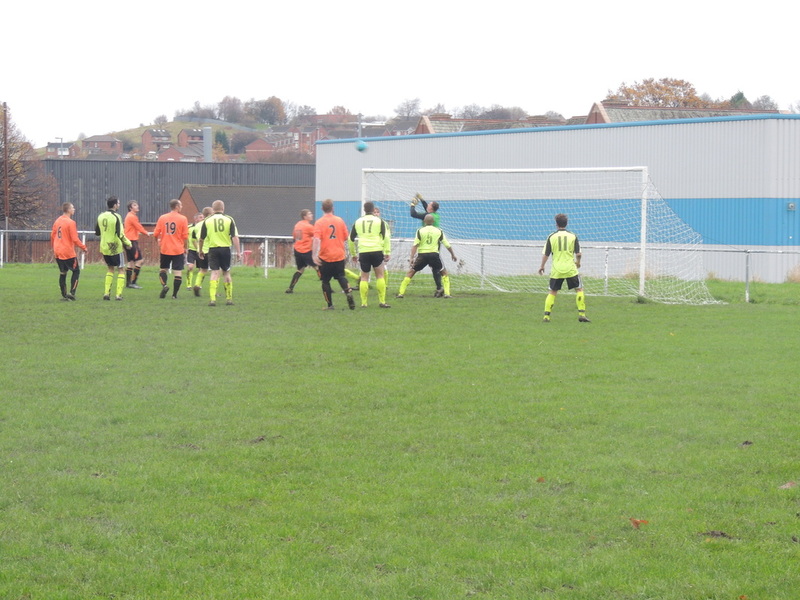 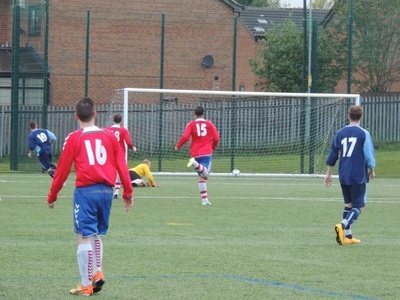 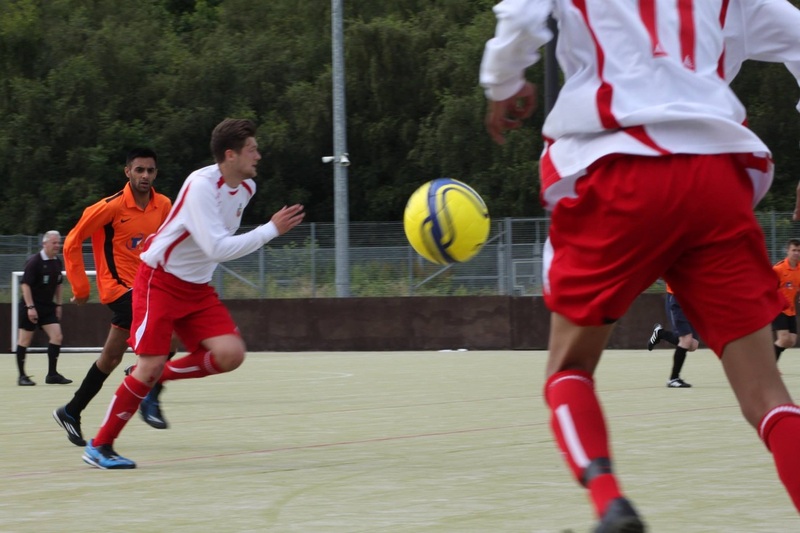 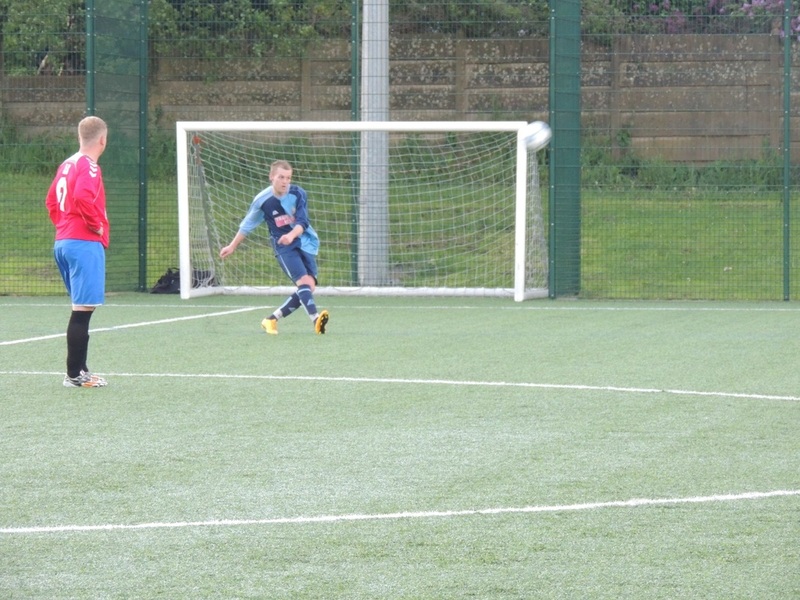 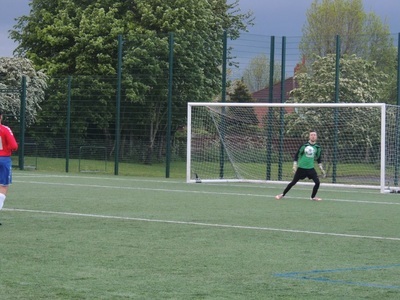 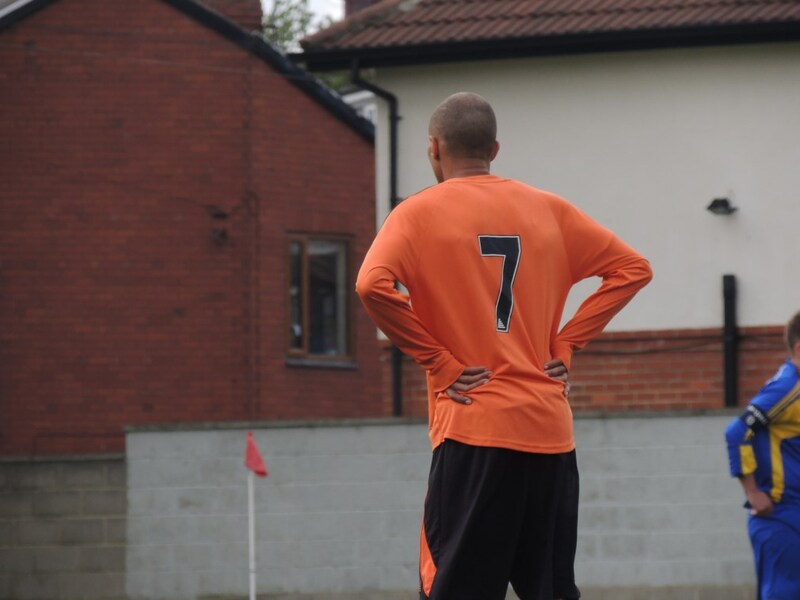 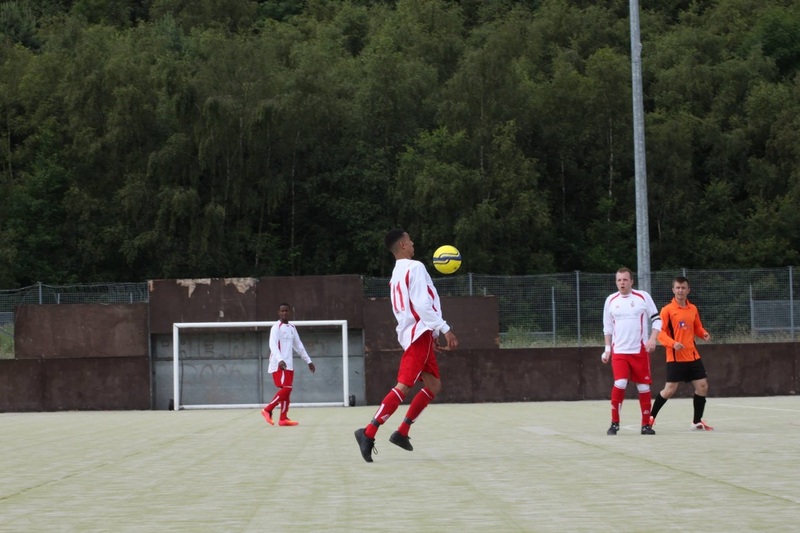 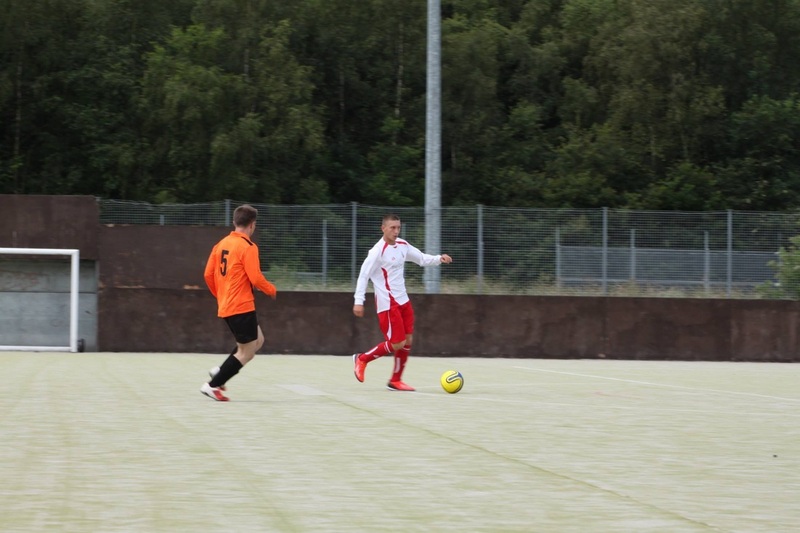 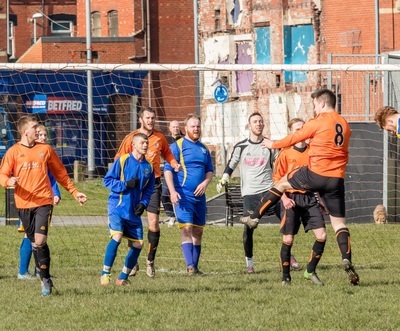 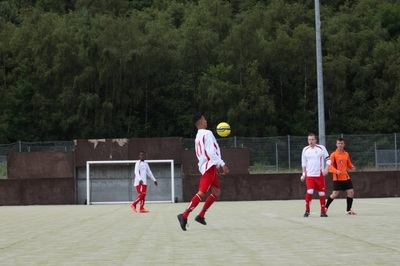 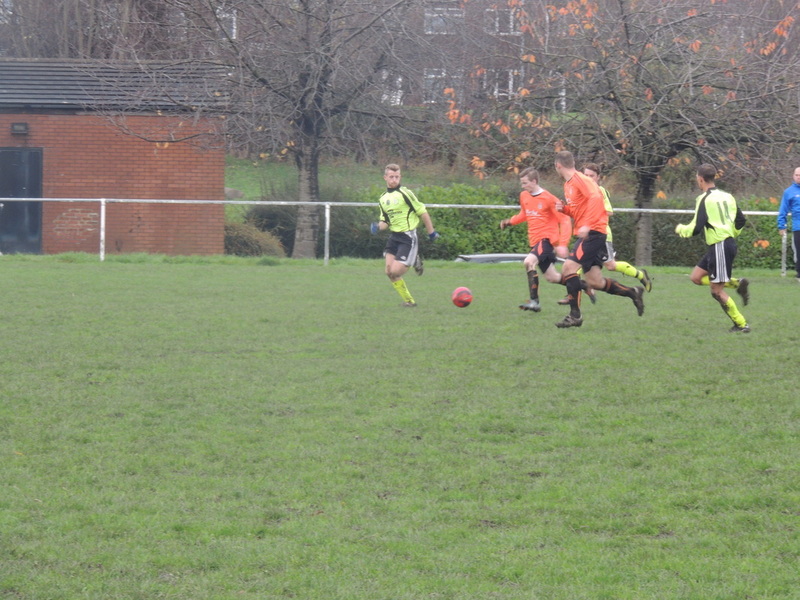 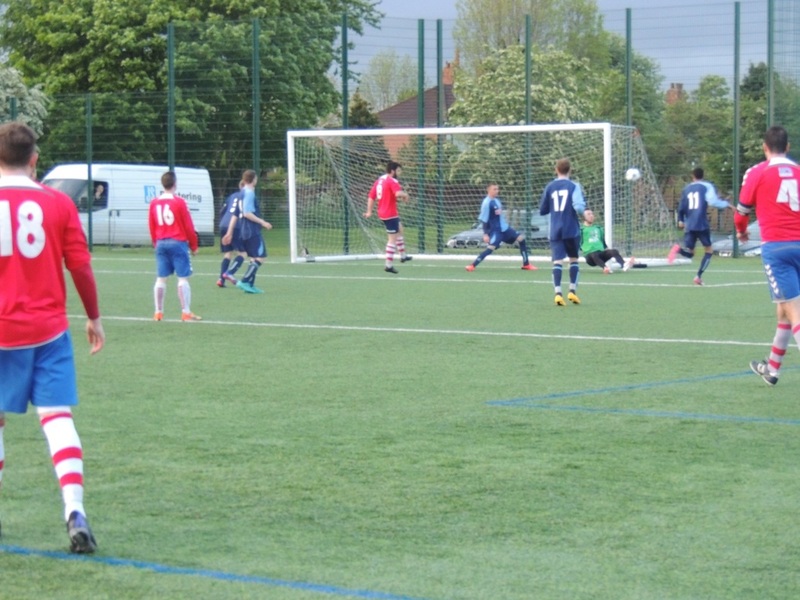 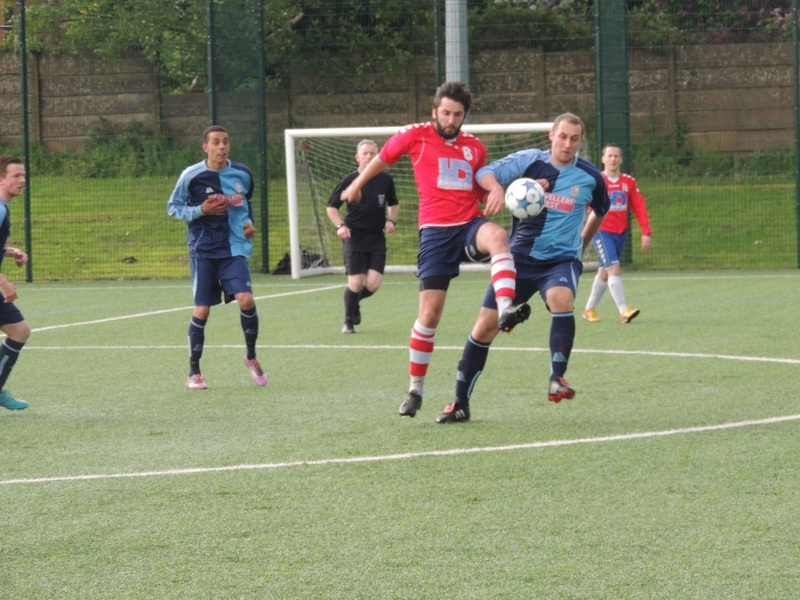 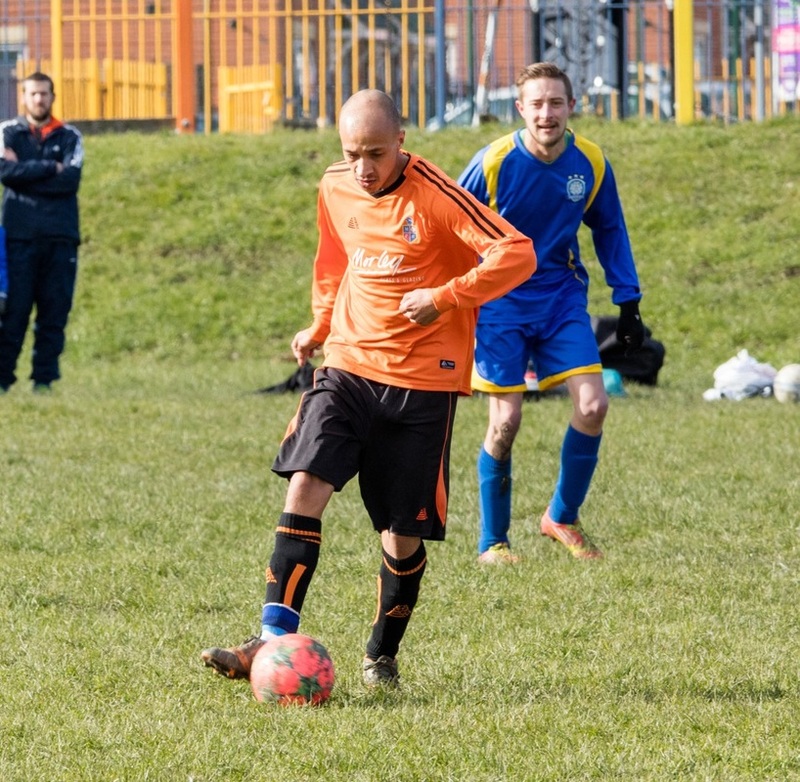 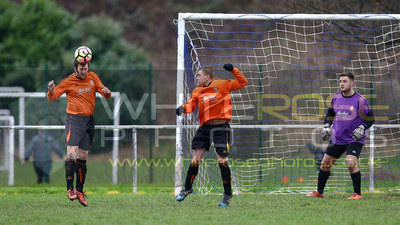 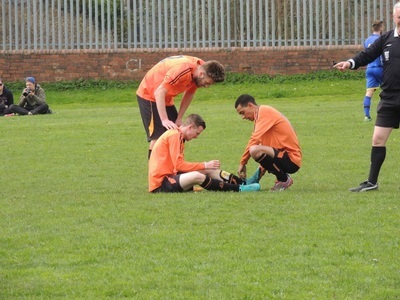 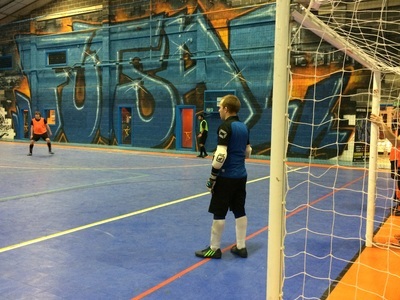 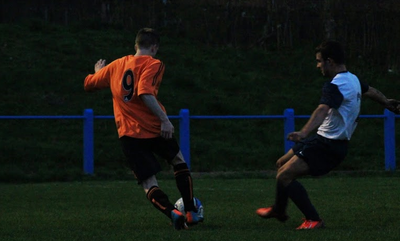 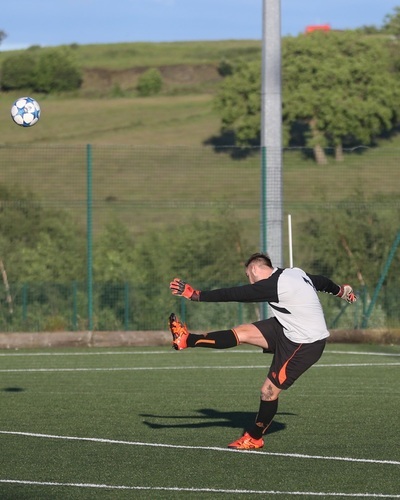 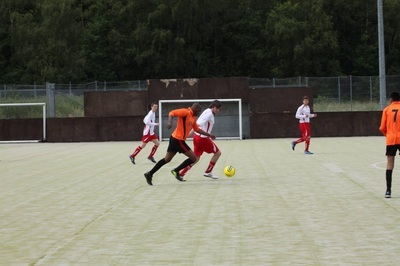 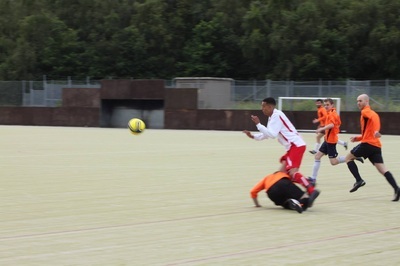 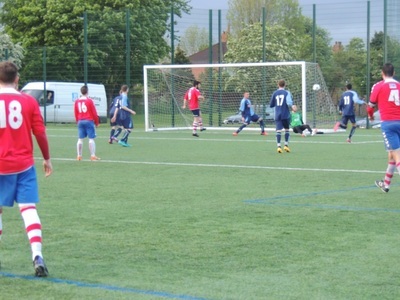 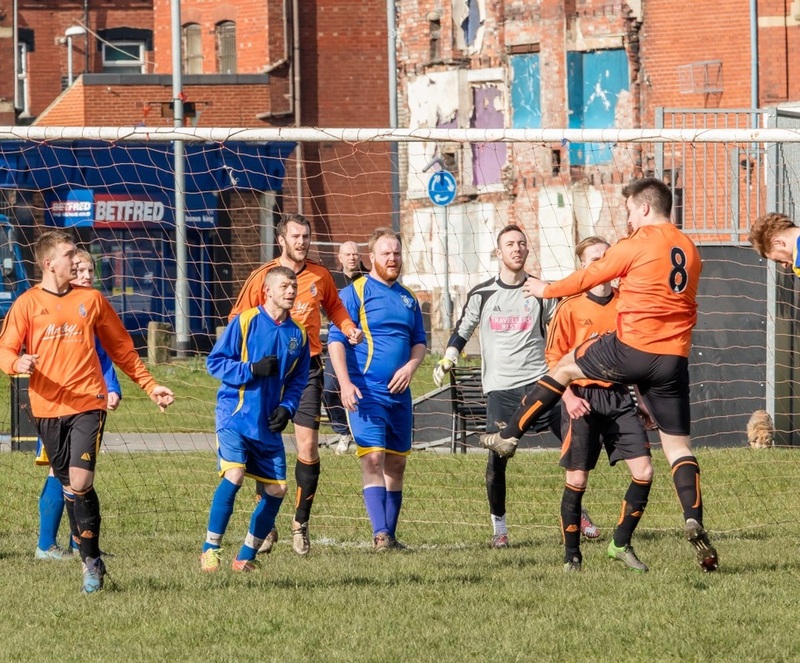 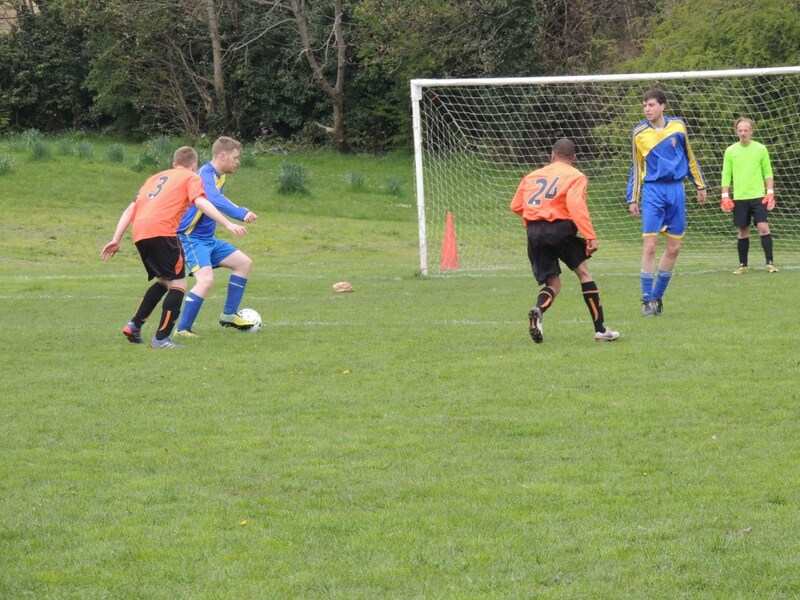 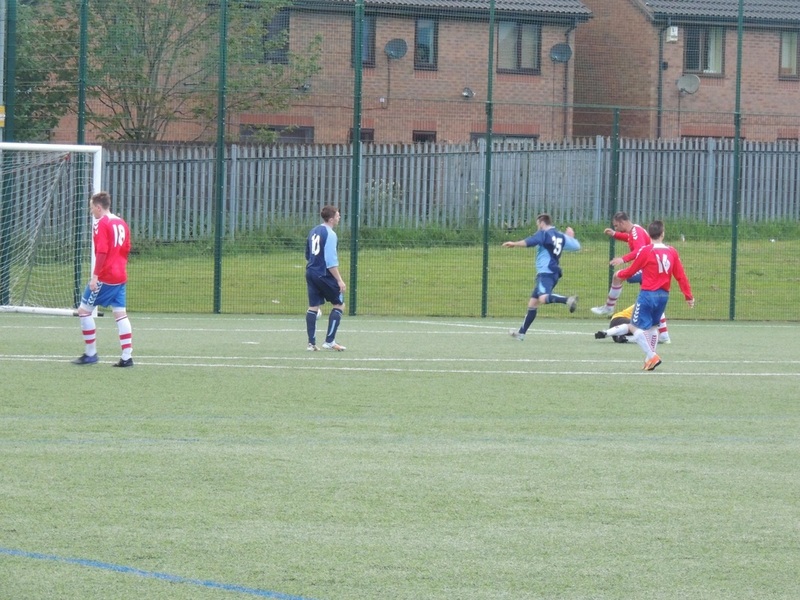 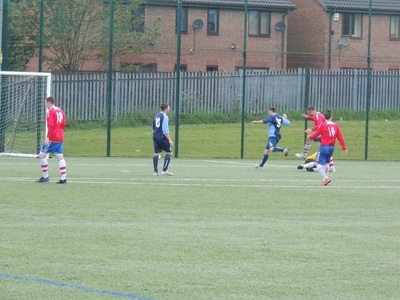 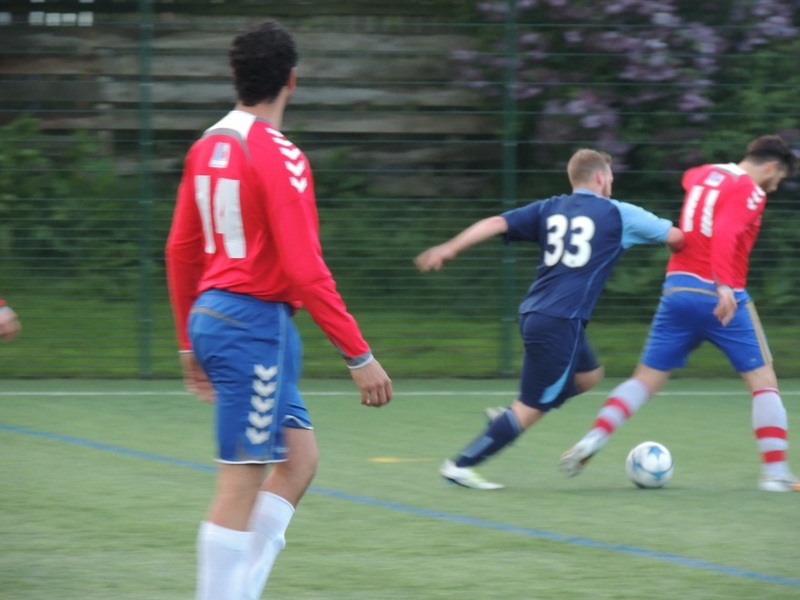 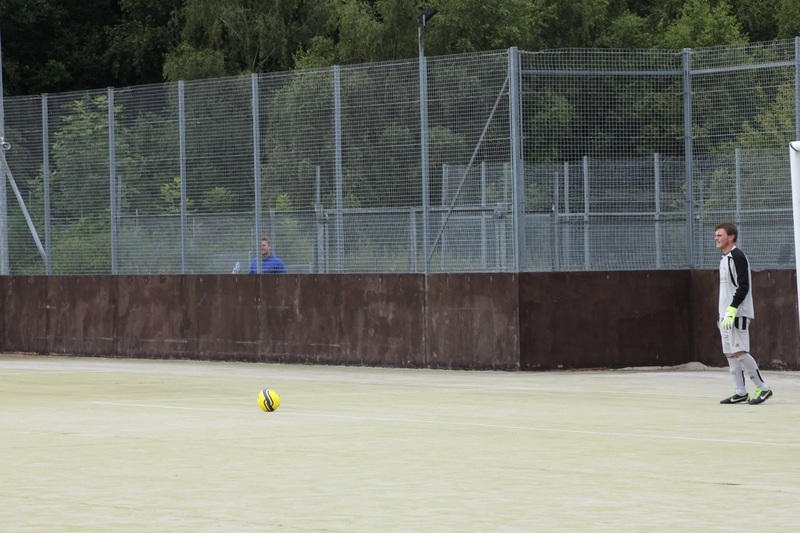 Thanks to Balz for the photos of our 7-3 win at FC West Leeds. 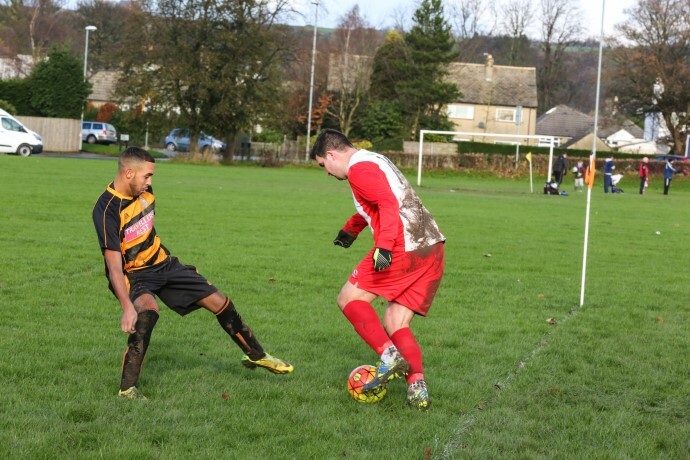 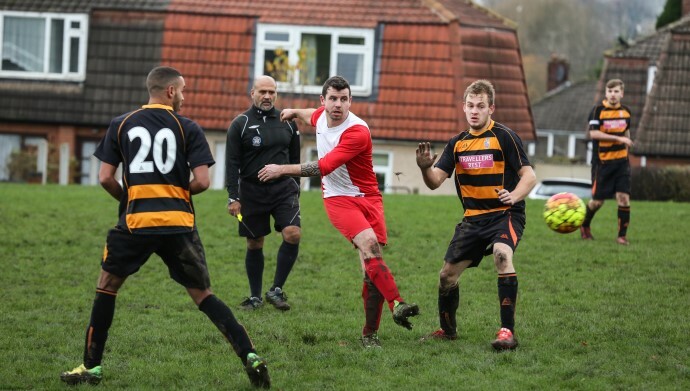 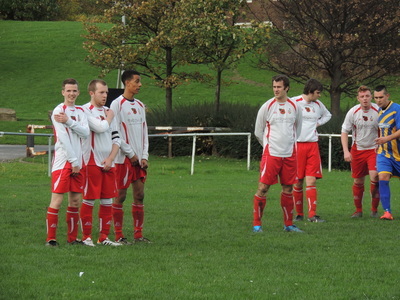 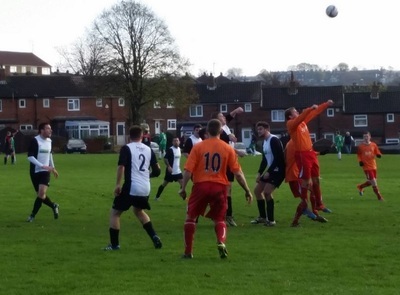 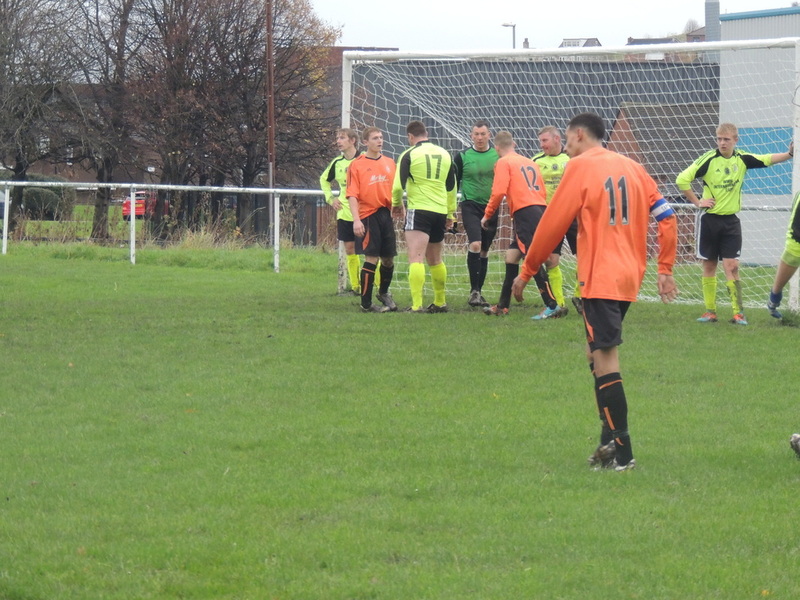 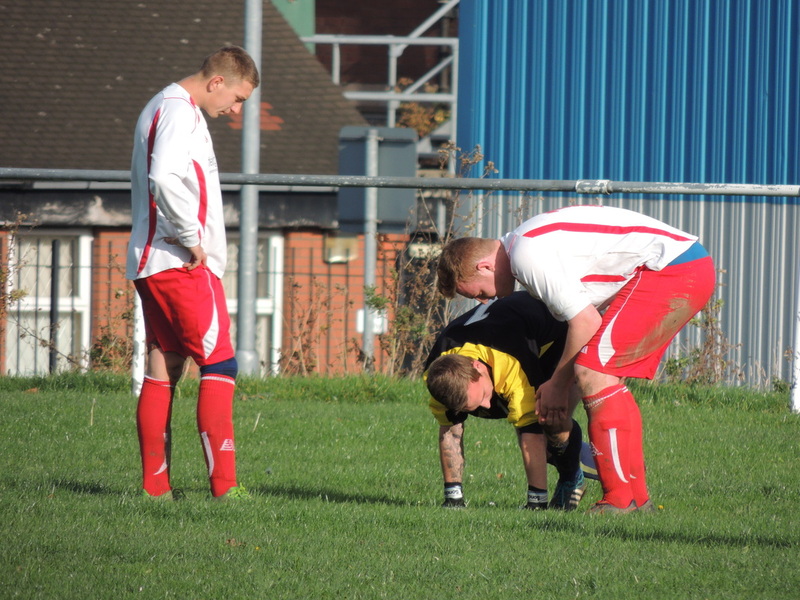 Millshaw players donned poppies on their kits against Wortley Brick on Nov 2nd 2014 in support of the Royal British Legion. 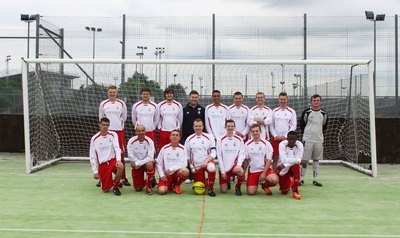 Back Row (L-R) Zack Adam, Declan Parnell, Jimmy Dean, Jordan Fox, Jack Lunn, Isaac Denny, Kyle Reece, Jamie Thornton, Michael Stanton. 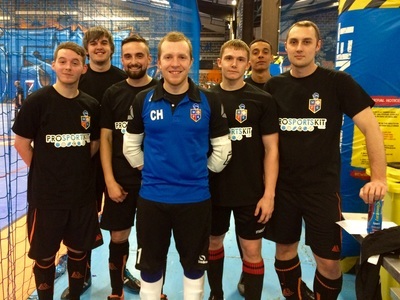 Front Row (L-R) Jordan Smith, Matthew Darnbrough, Martyn Howe, Chris Holland, Tom Snowden, Kieran Birdsall, Jorge Roberto.